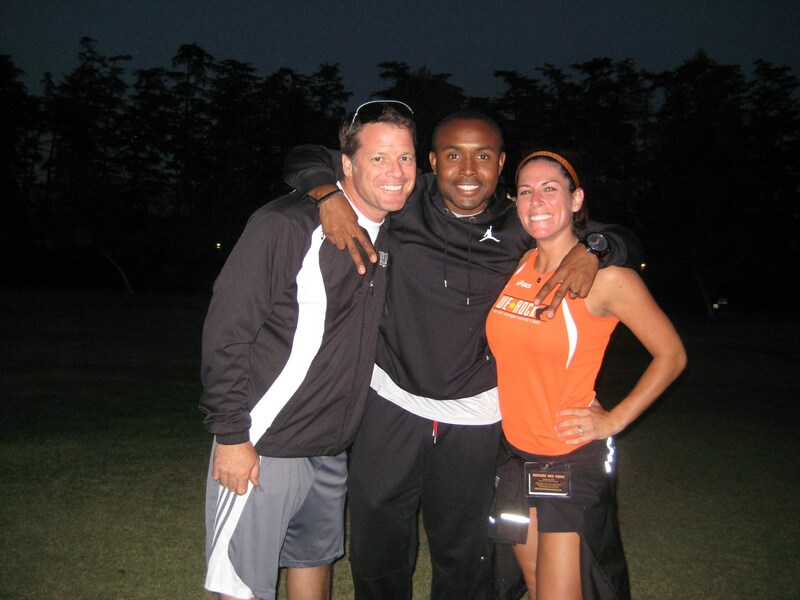 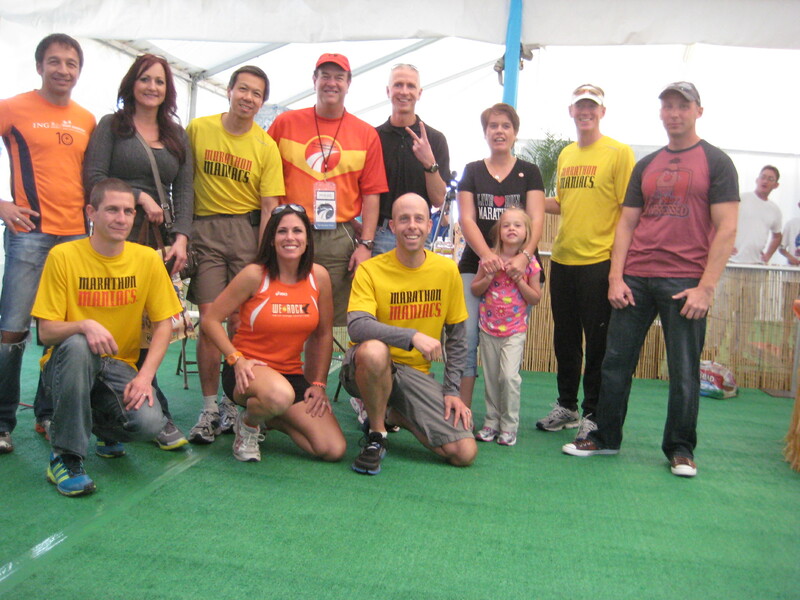 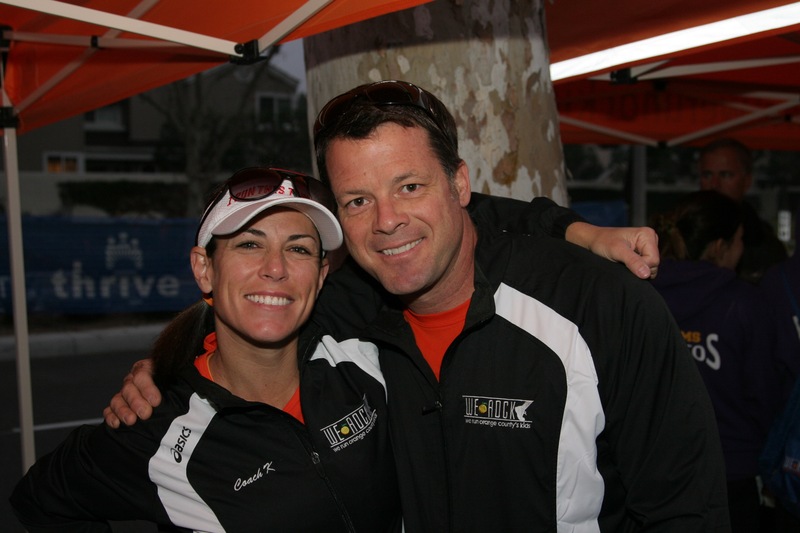 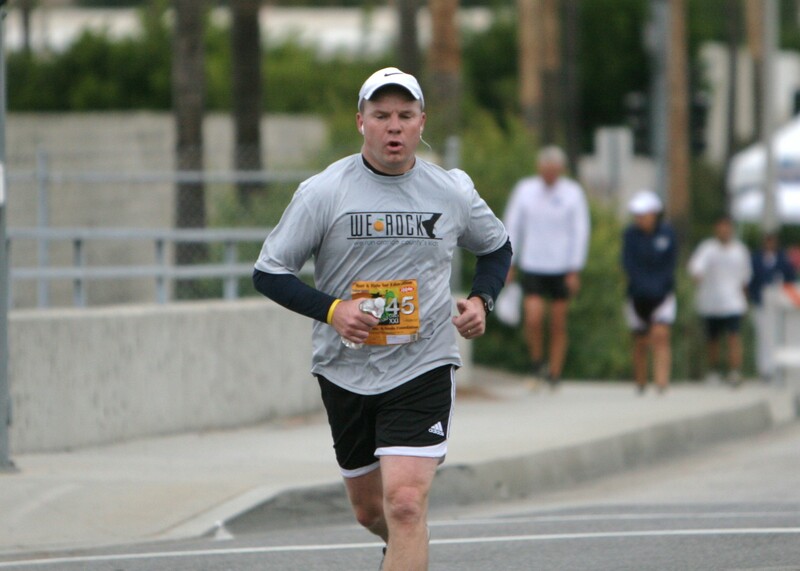 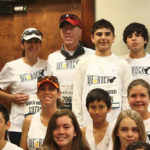 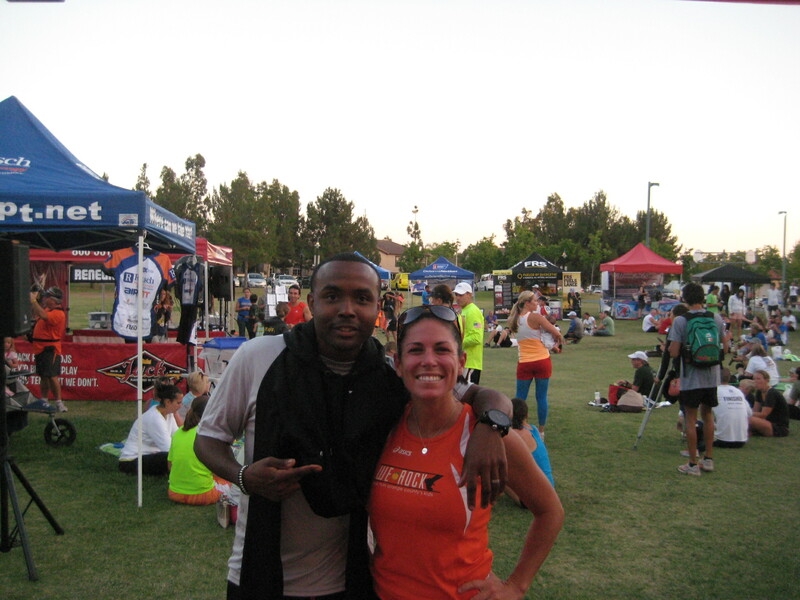 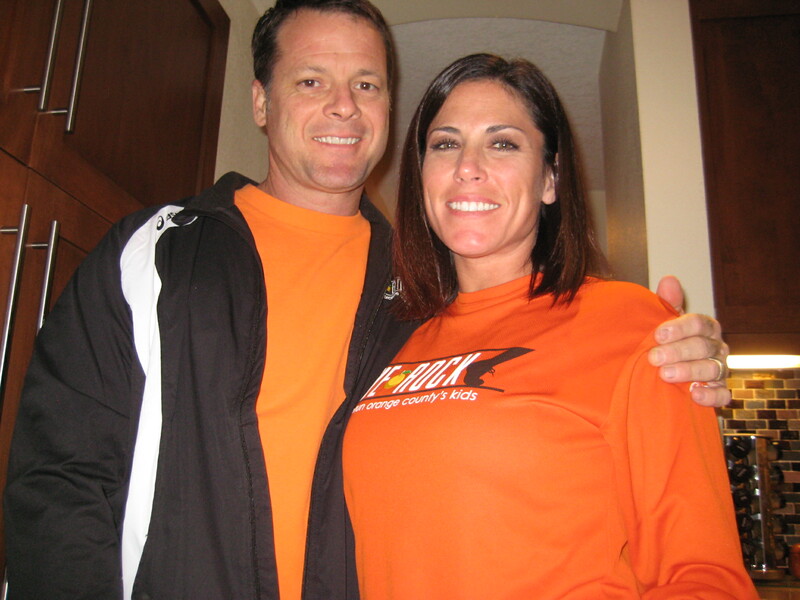 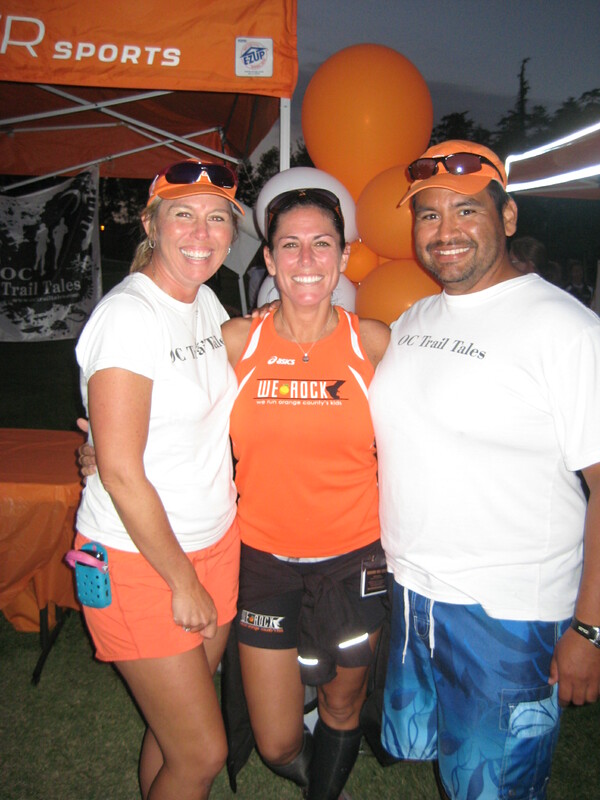 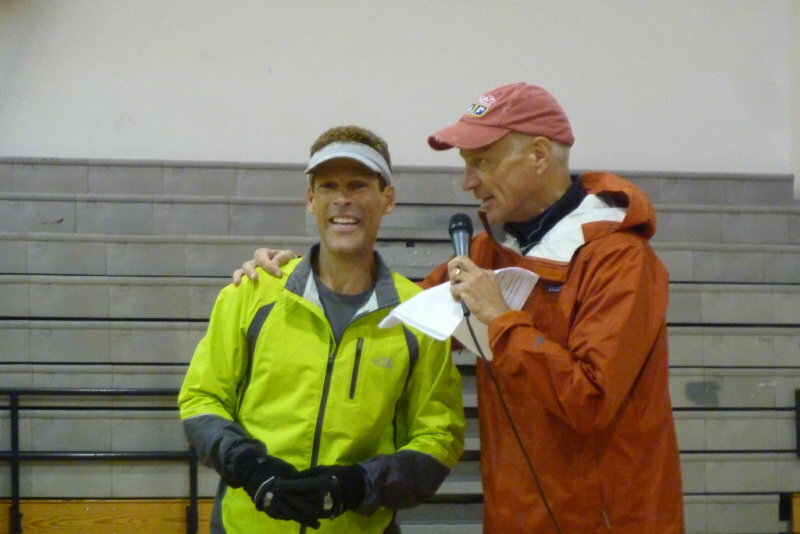 As the 2015 Badwater race approaches Check out Coach K’s Badwater OC Register Interview! 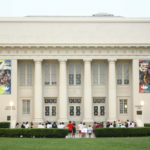 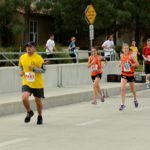 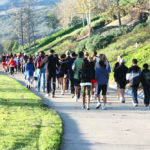 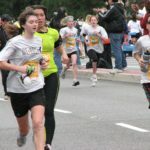 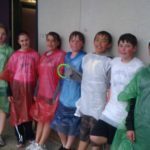 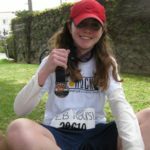 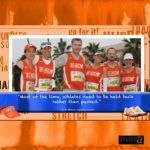 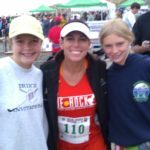 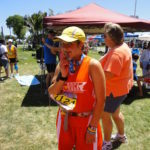 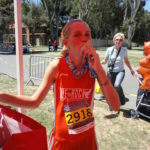 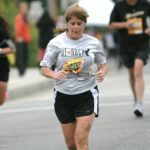 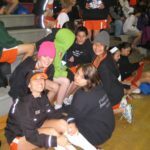 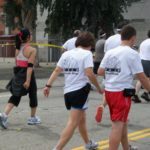 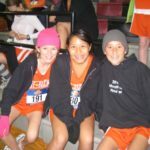 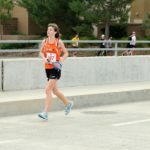 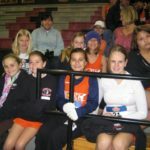 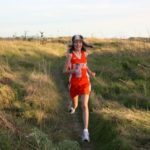 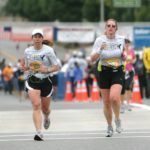 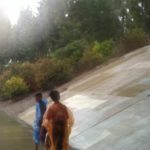 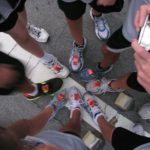 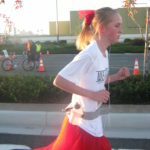 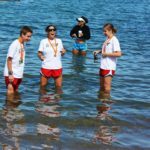 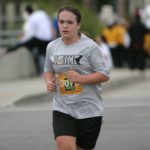 “The power of continually putting one foot in front of the other is an exercise in discipline and courage, Kooiman said, a lesson she saw in action at schools in Los Angeles, where she coached students in long-distance running. 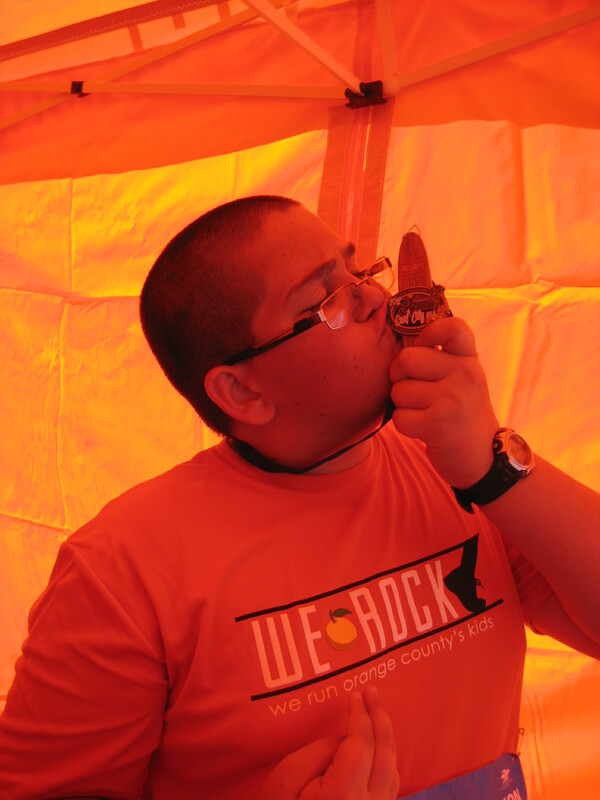 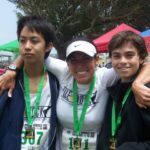 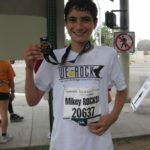 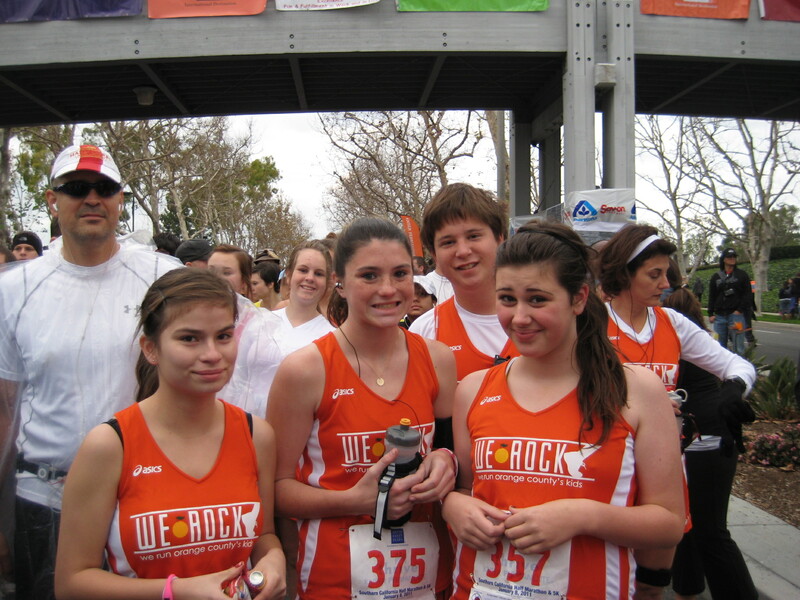 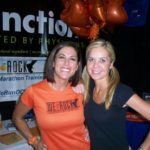 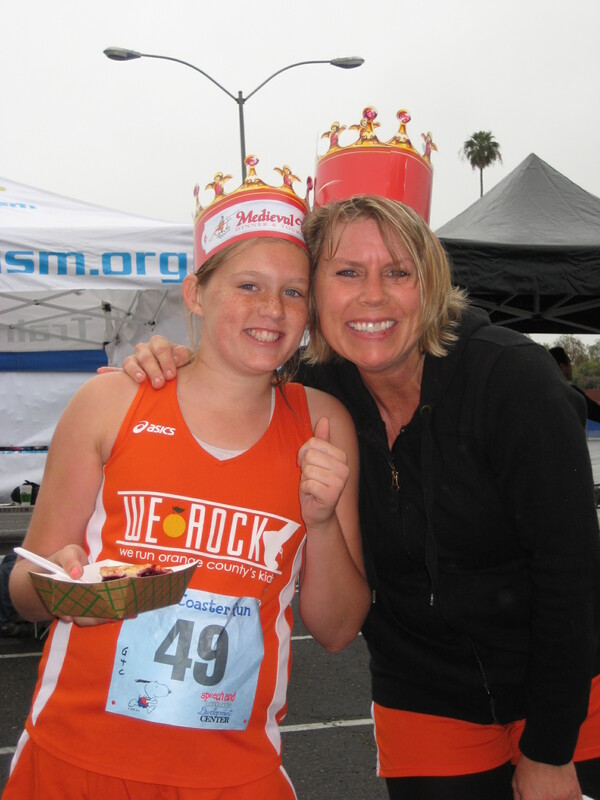 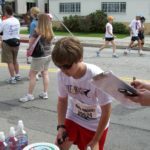 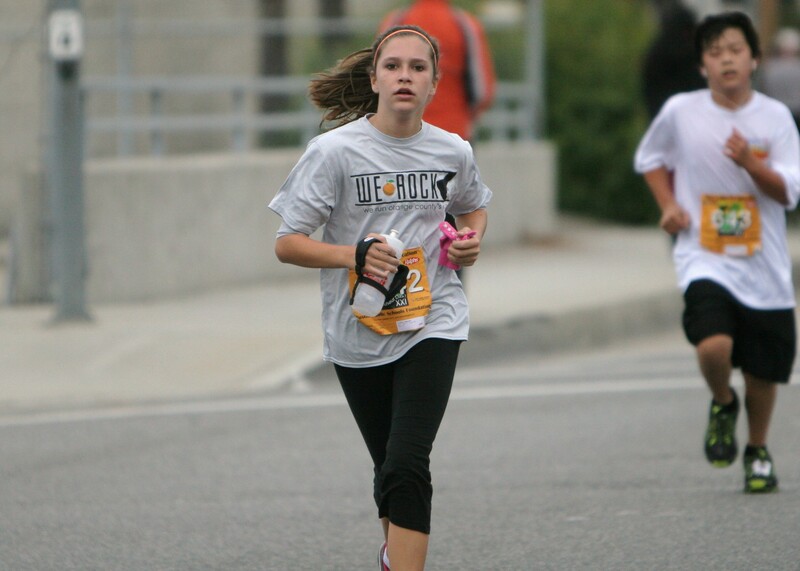 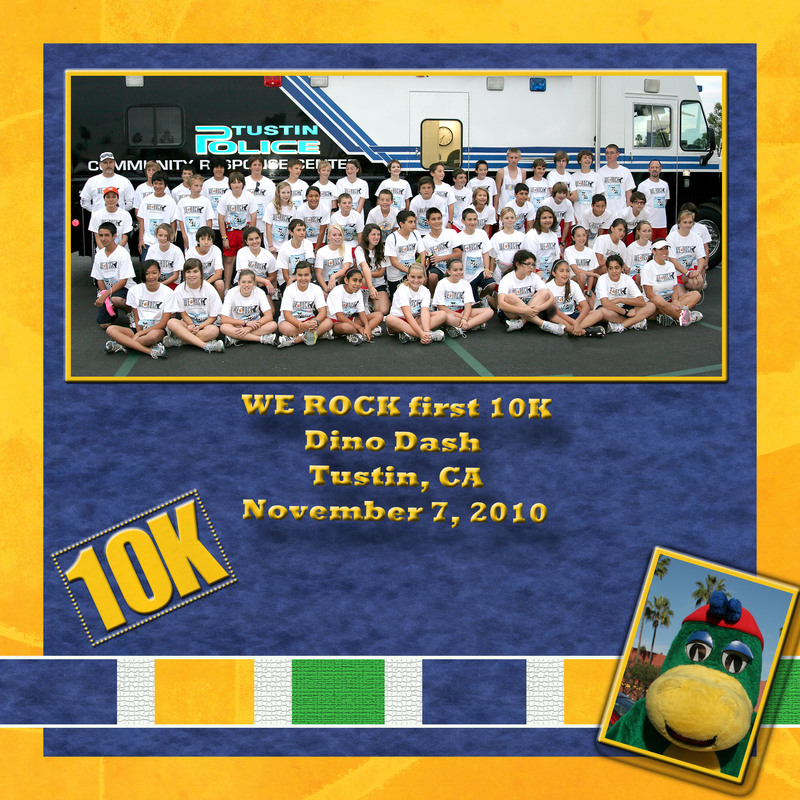 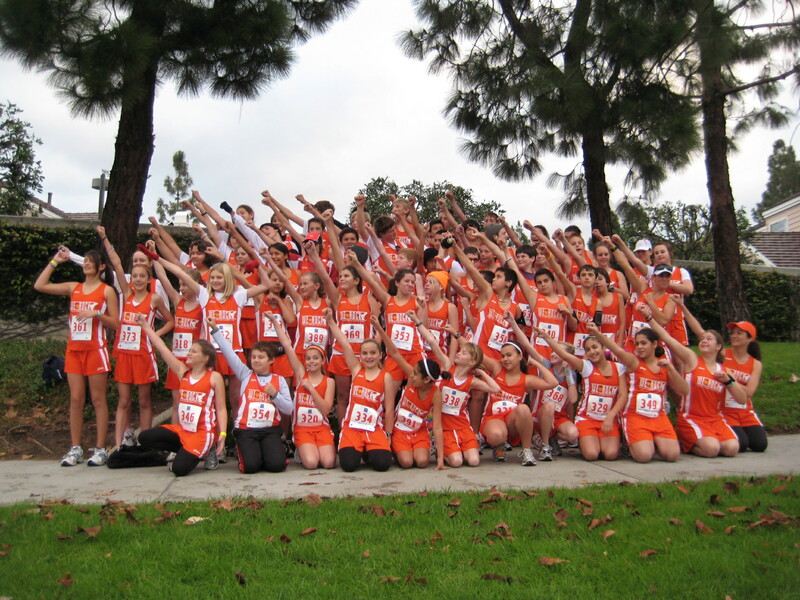 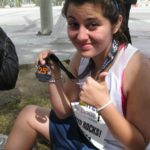 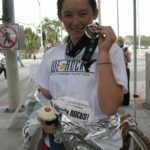 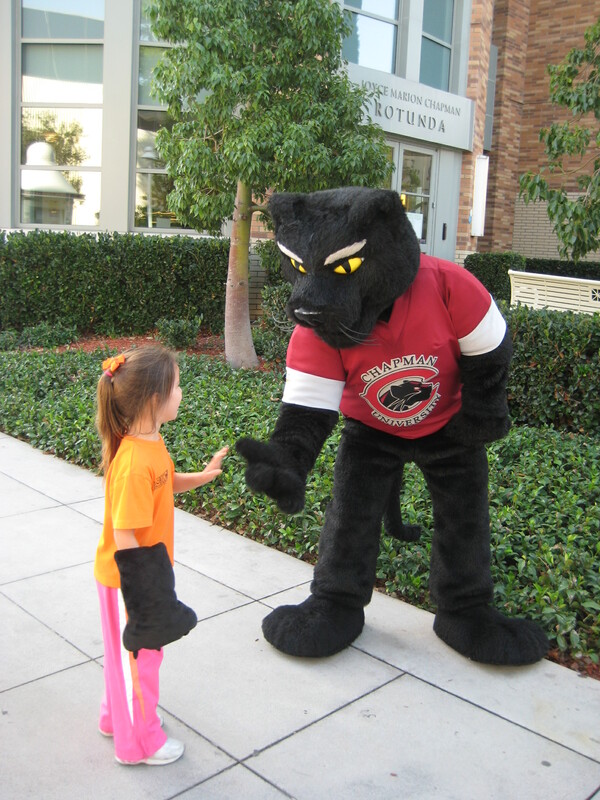 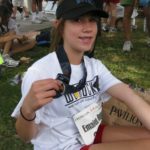 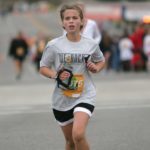 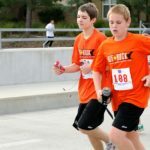 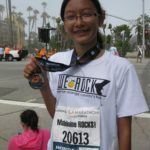 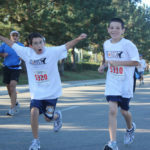 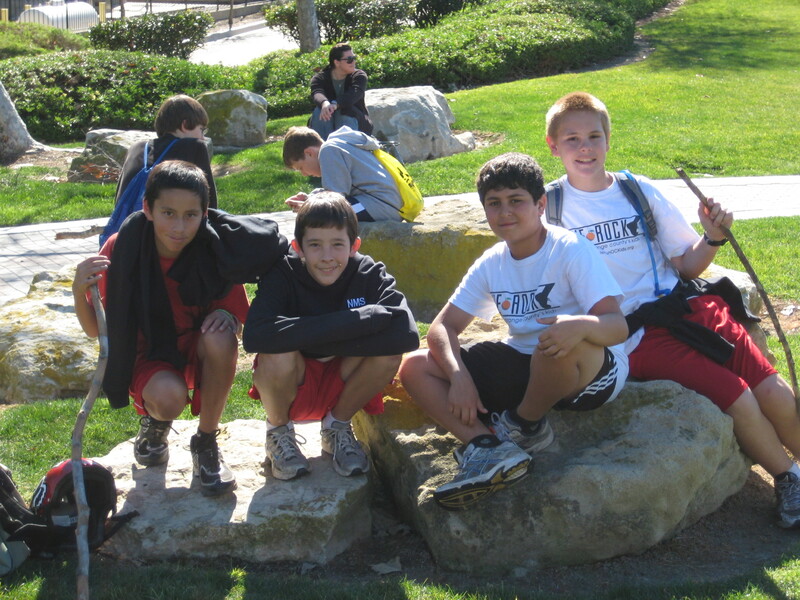 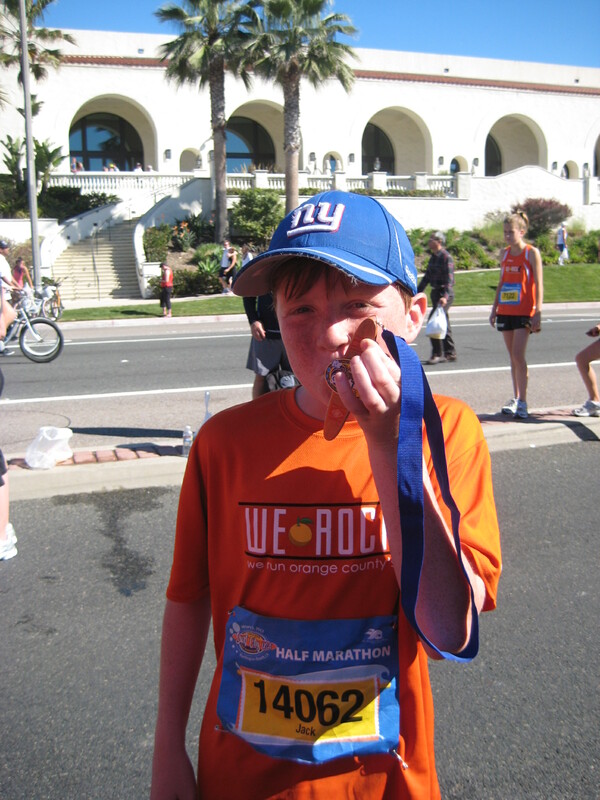 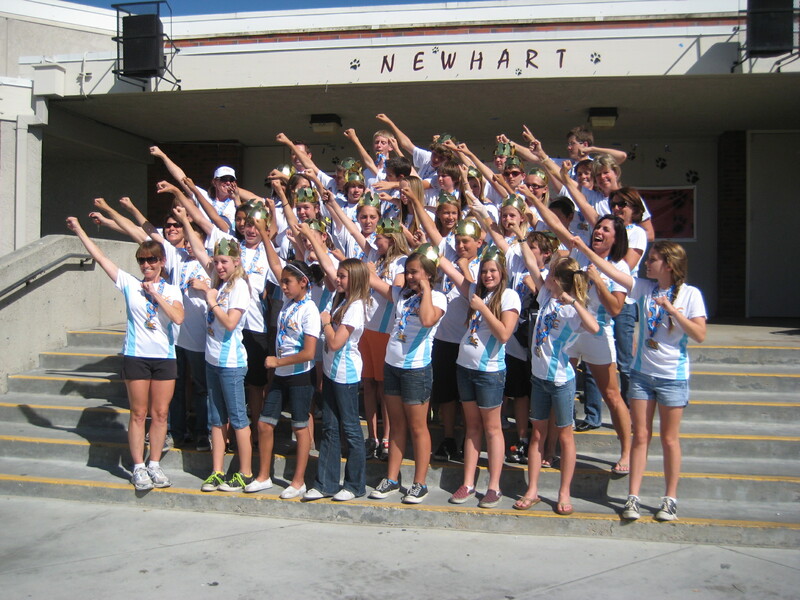 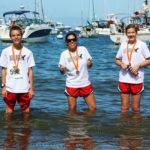 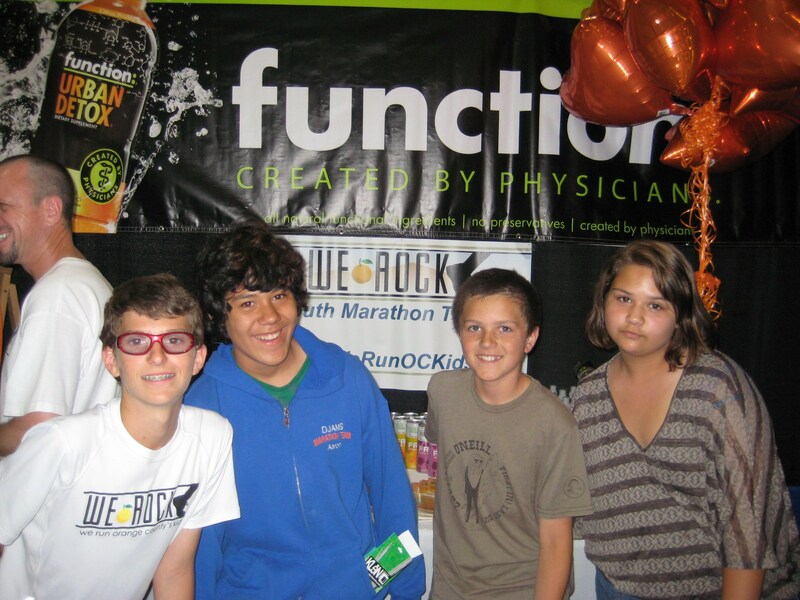 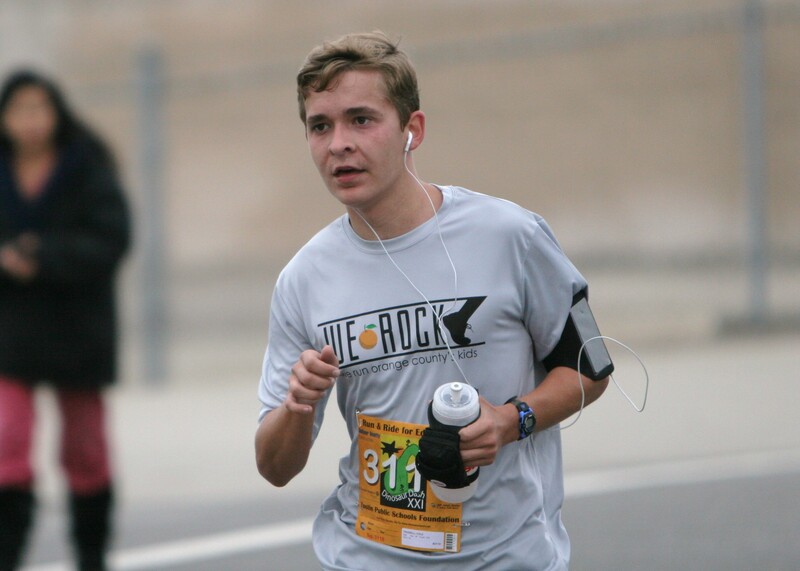 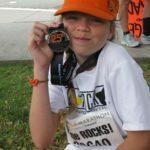 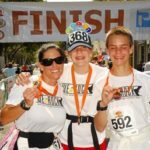 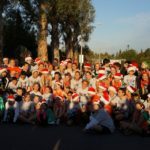 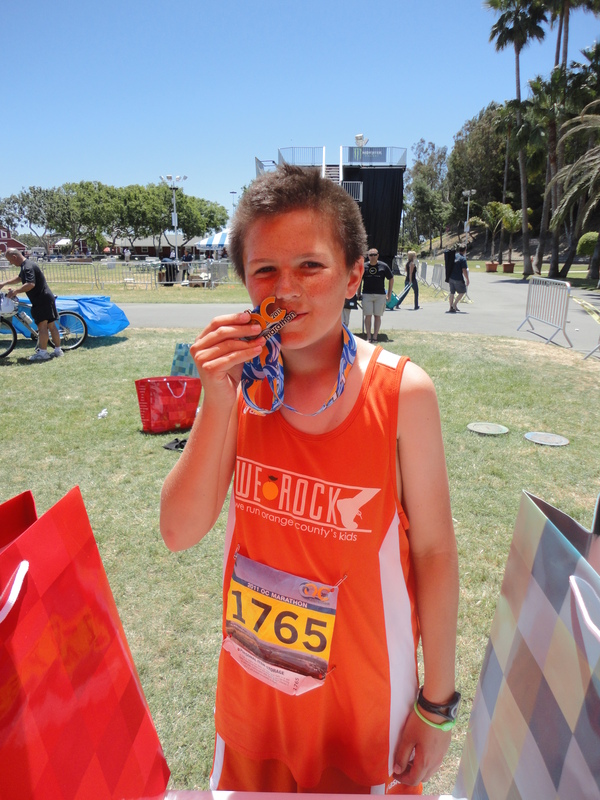 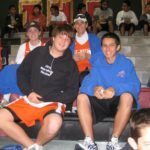 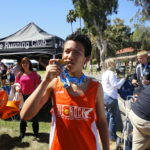 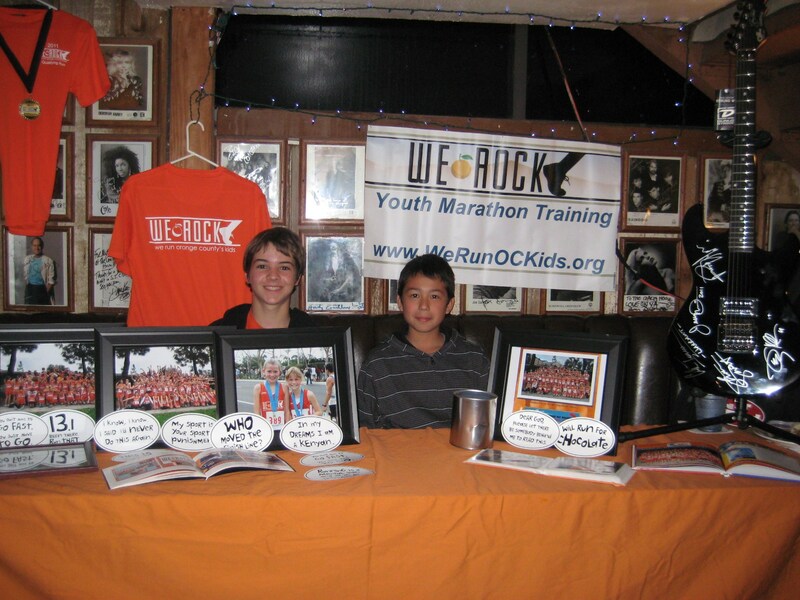 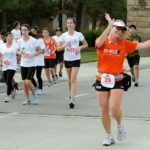 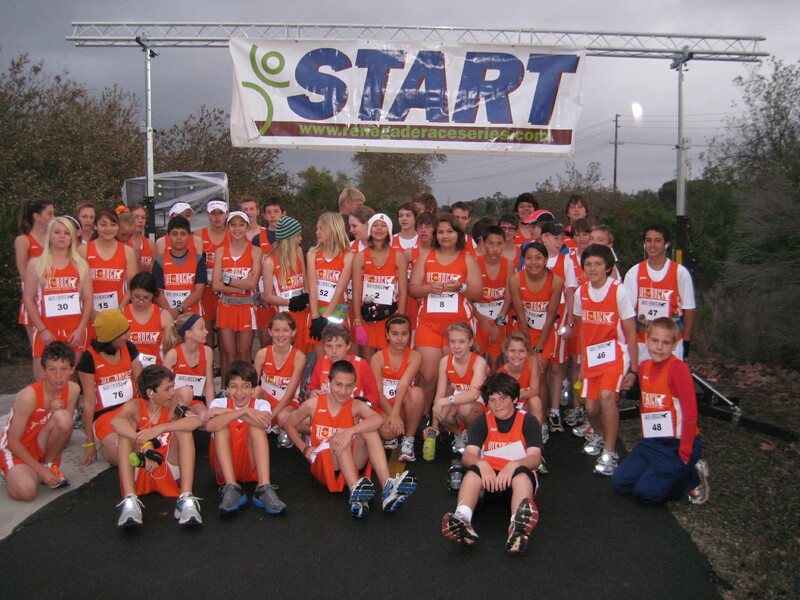 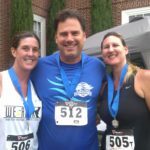 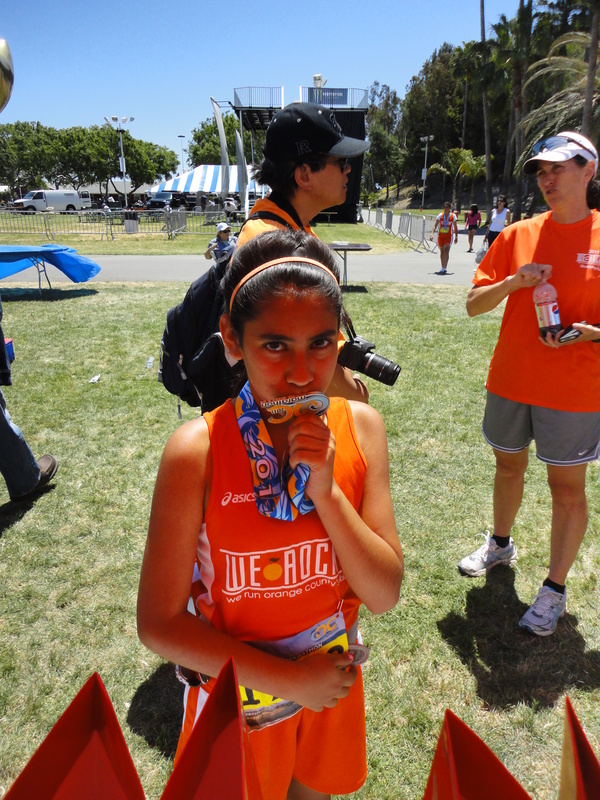 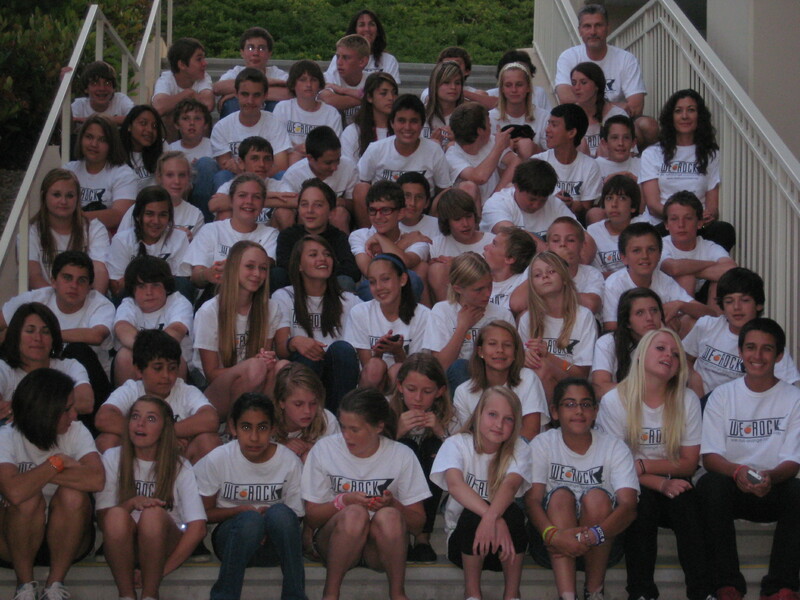 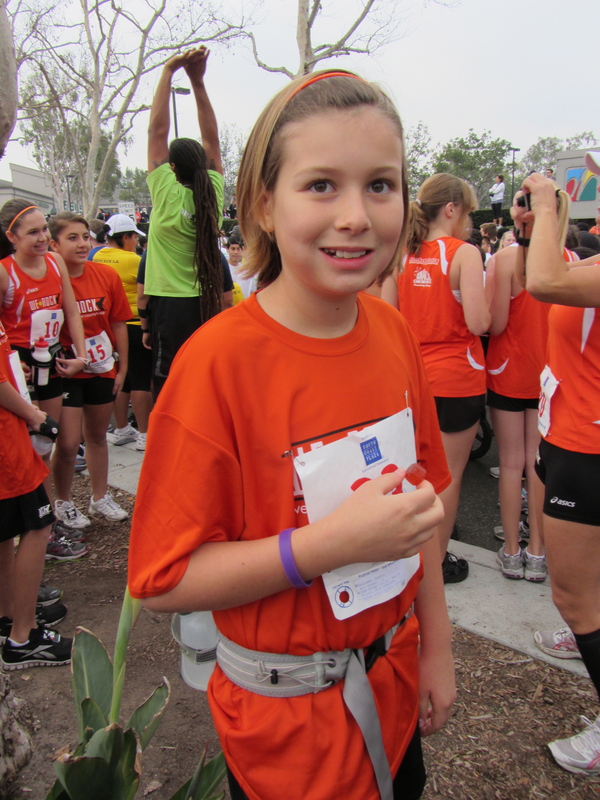 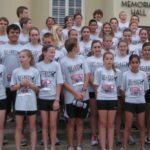 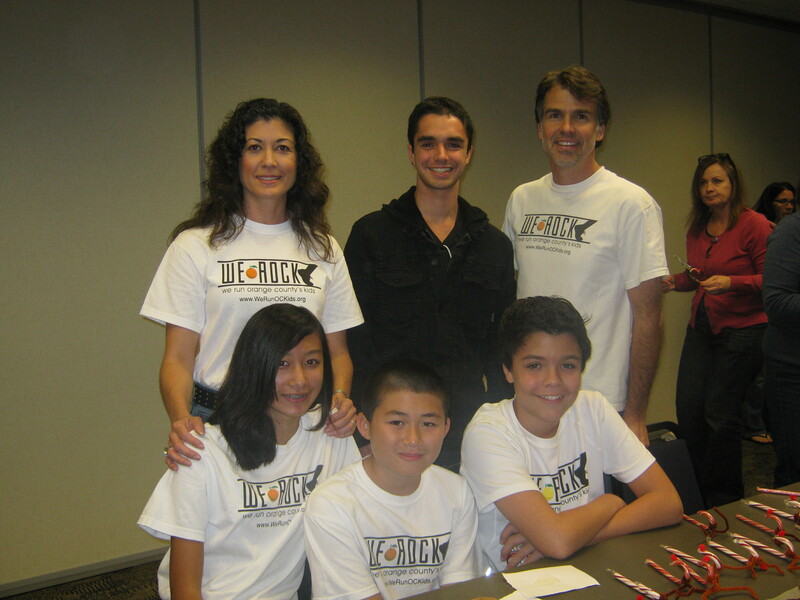 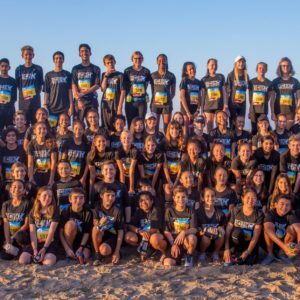 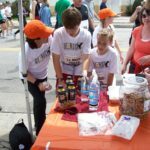 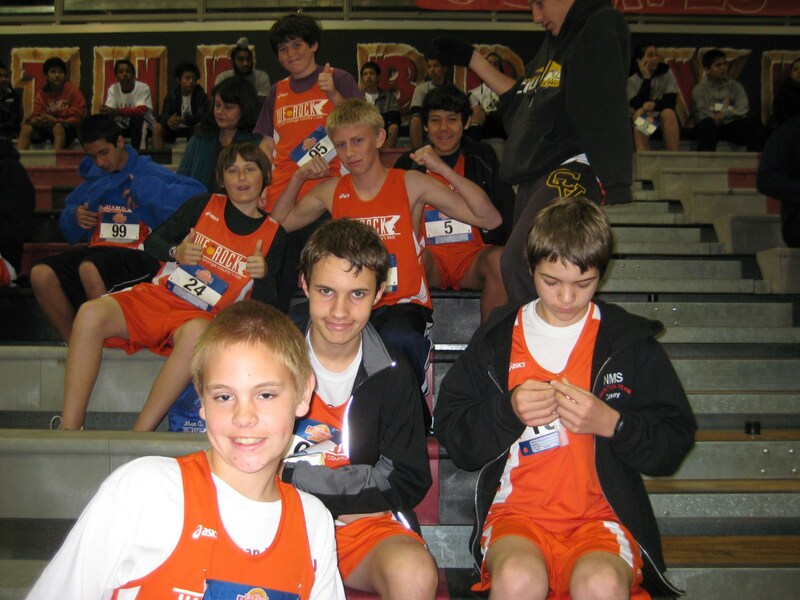 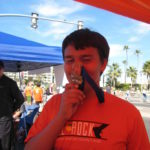 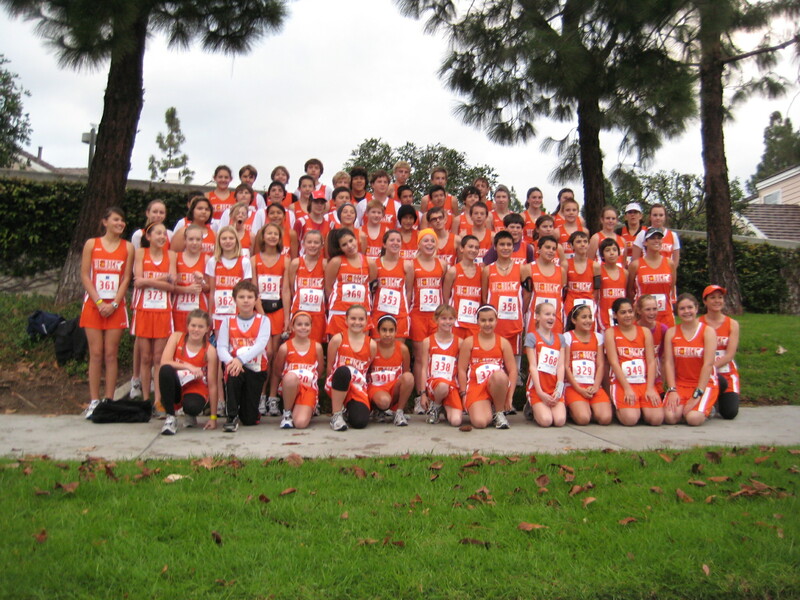 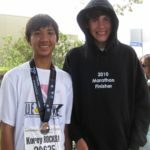 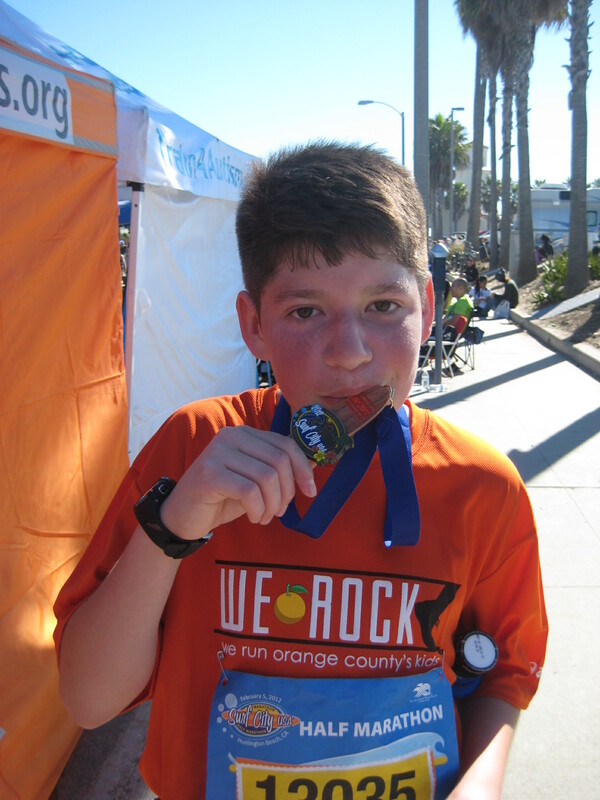 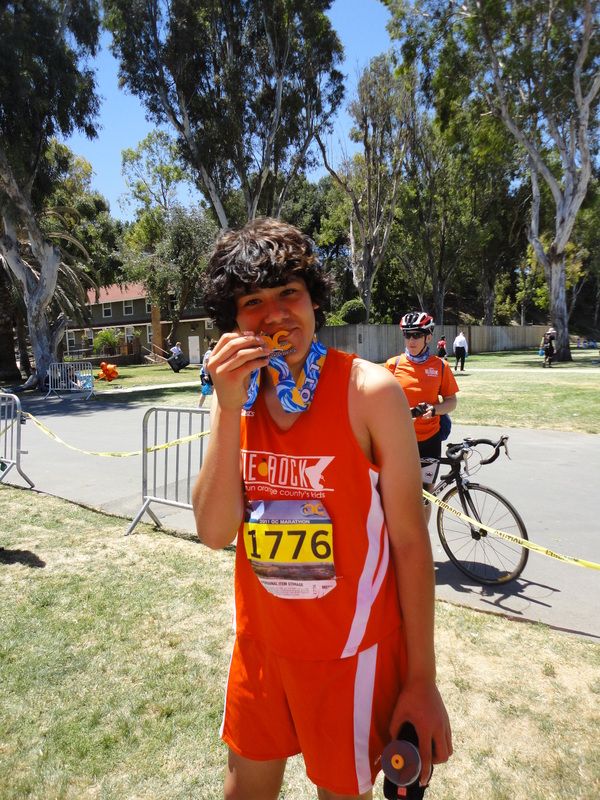 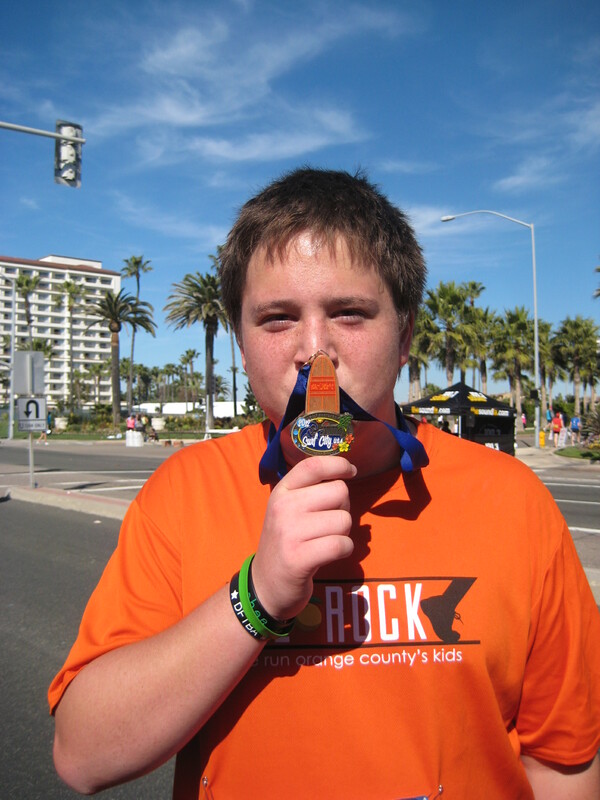 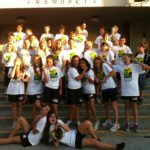 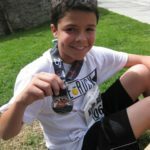 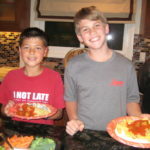 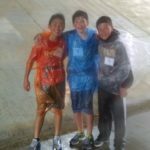 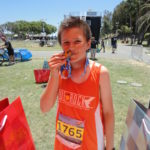 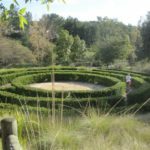 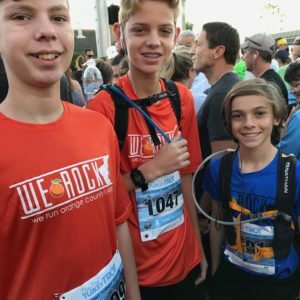 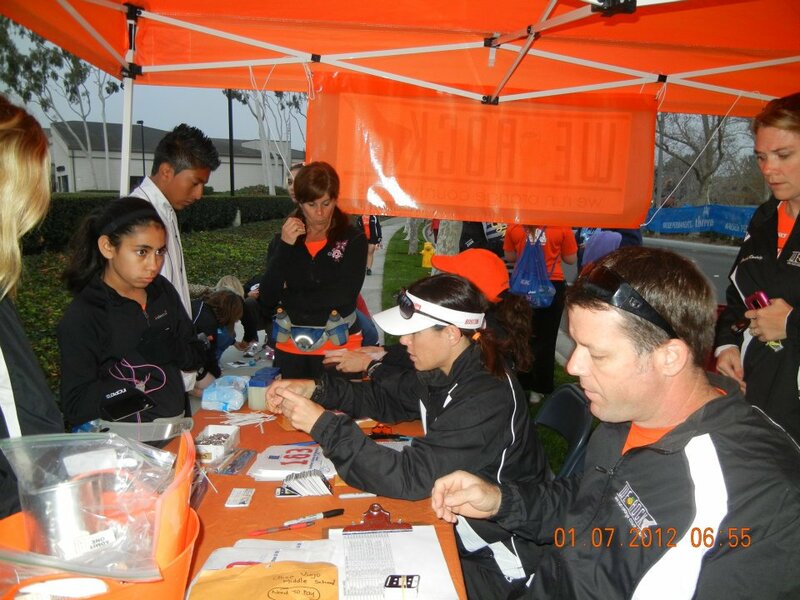 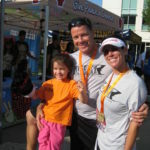 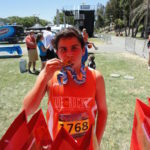 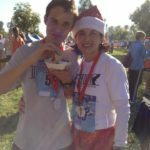 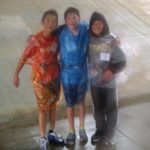 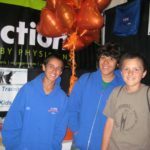 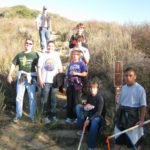 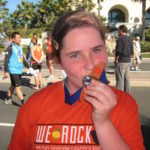 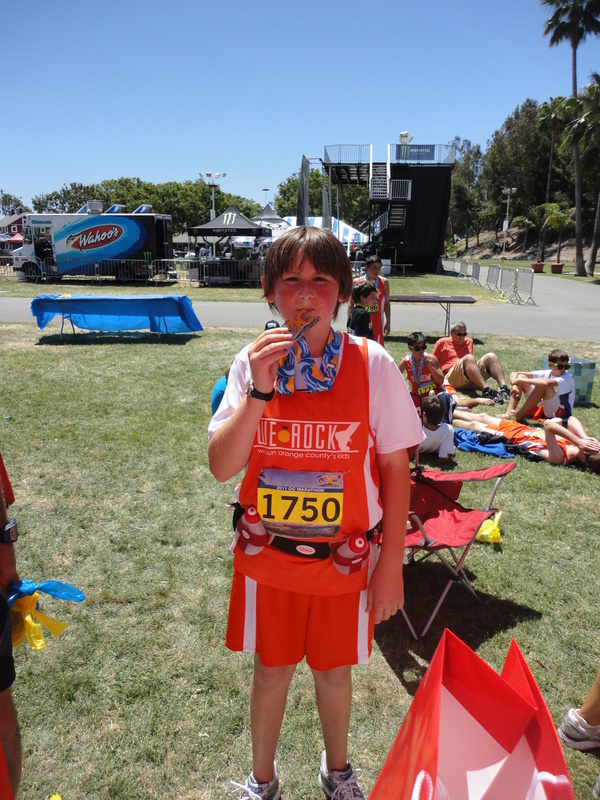 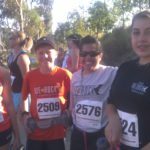 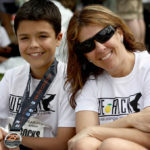 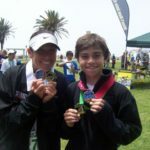 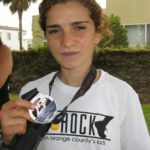 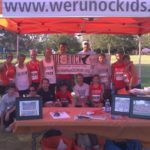 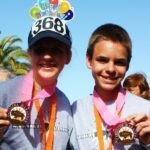 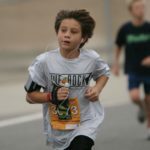 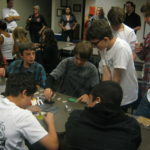 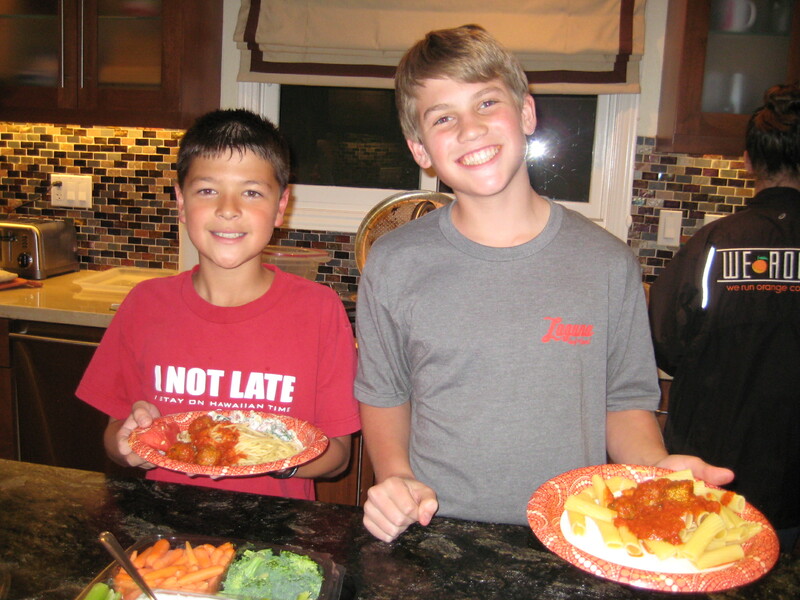 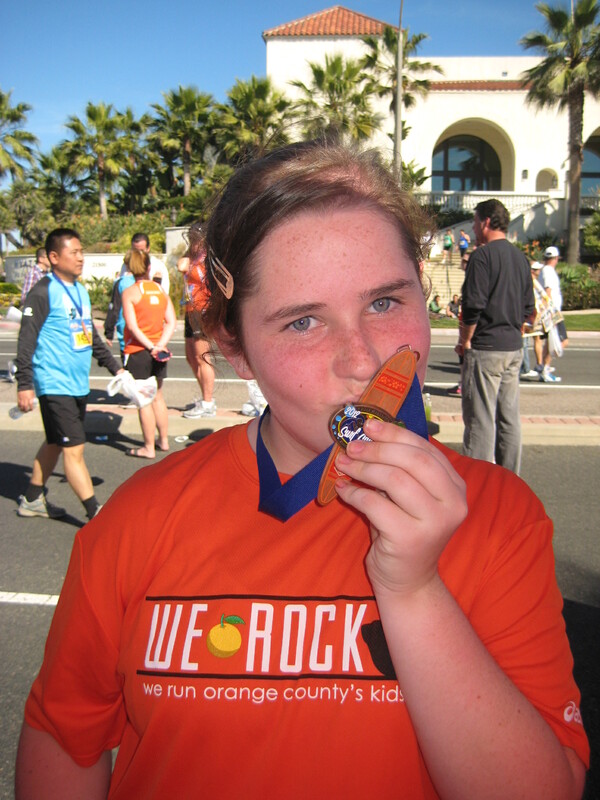 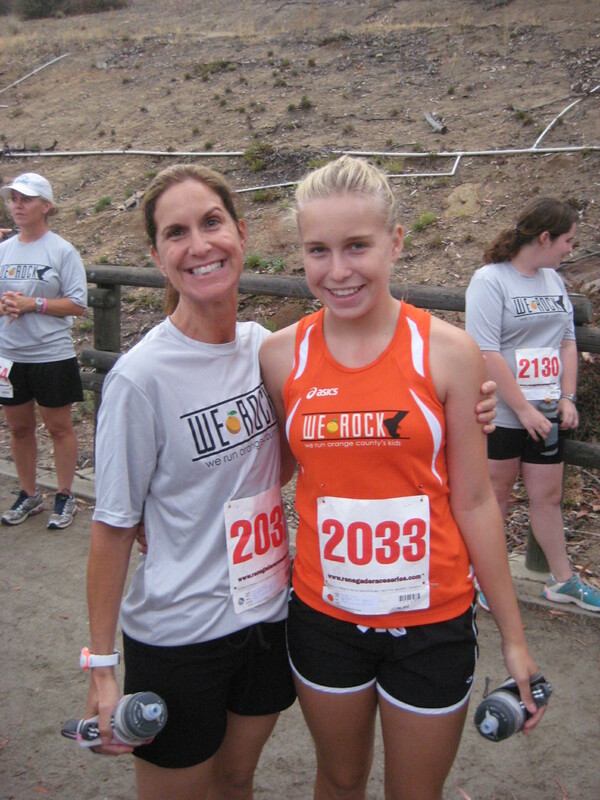 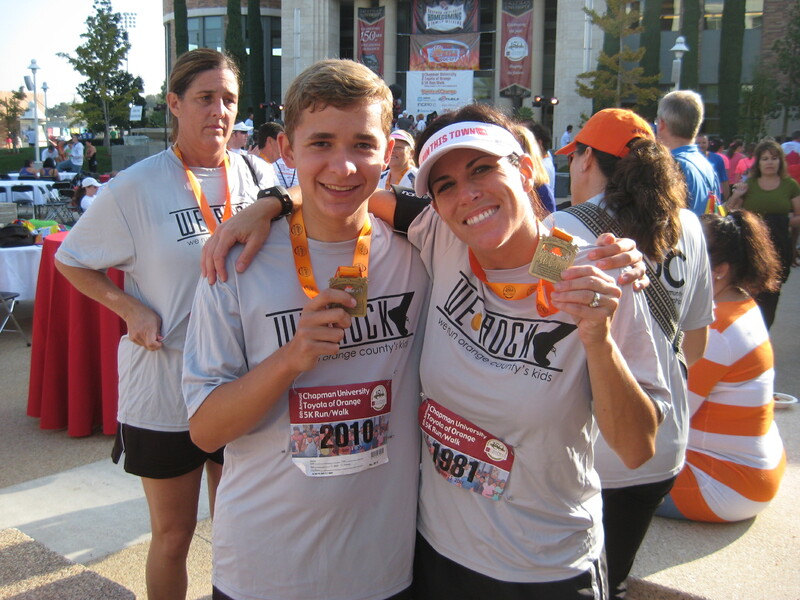 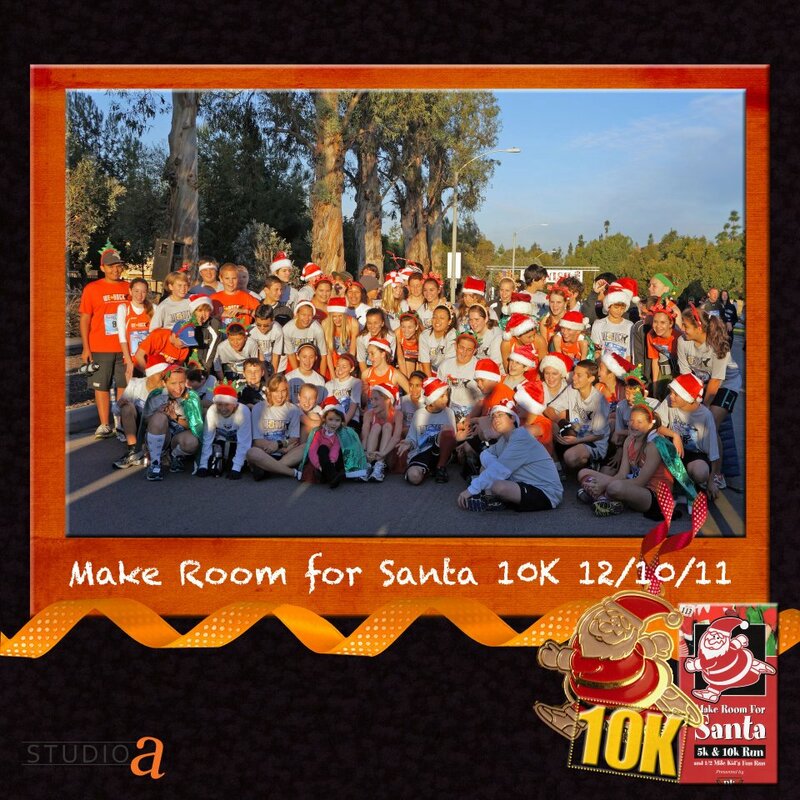 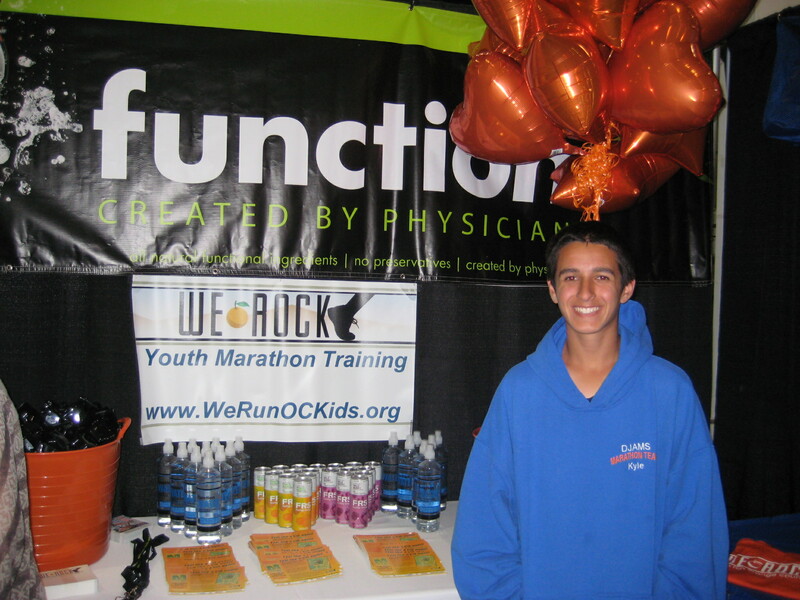 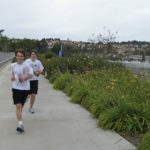 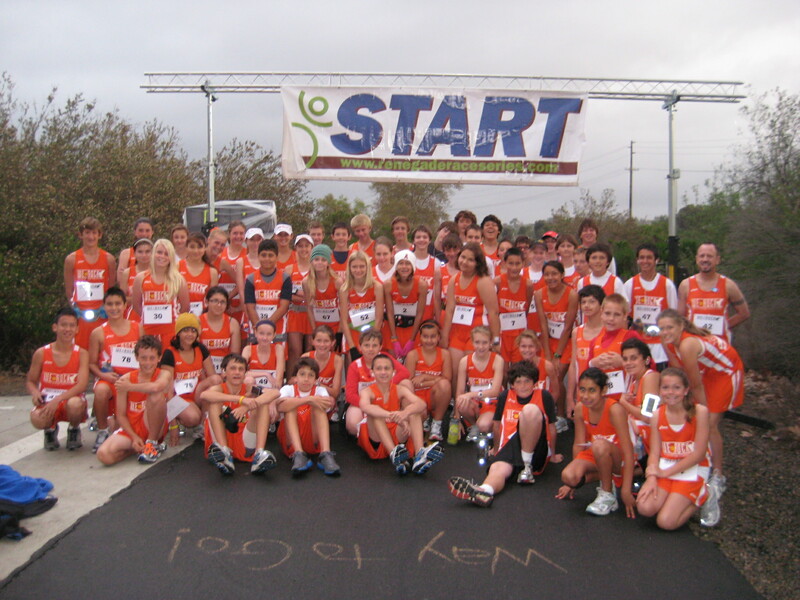 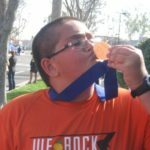 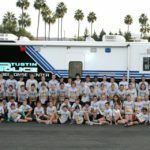 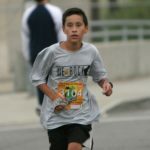 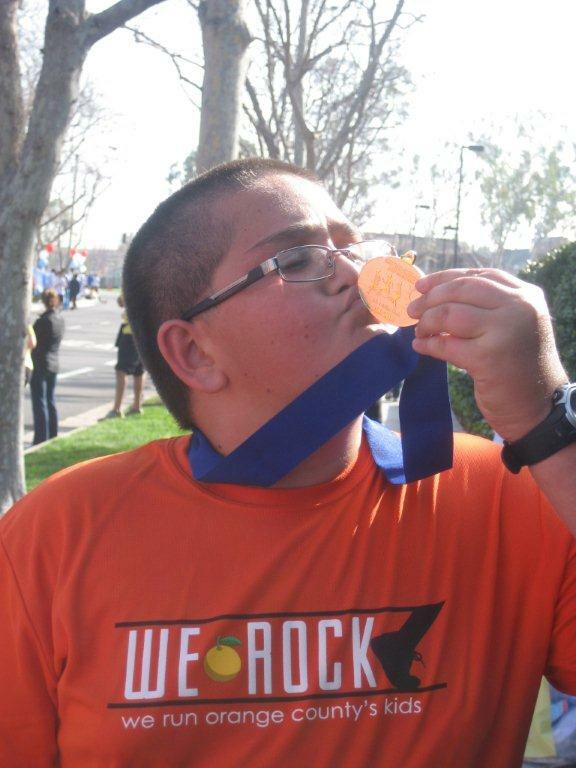 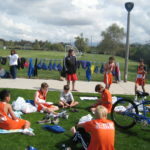 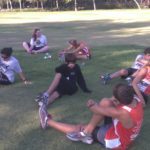 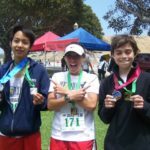 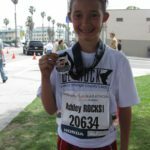 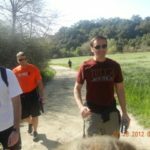 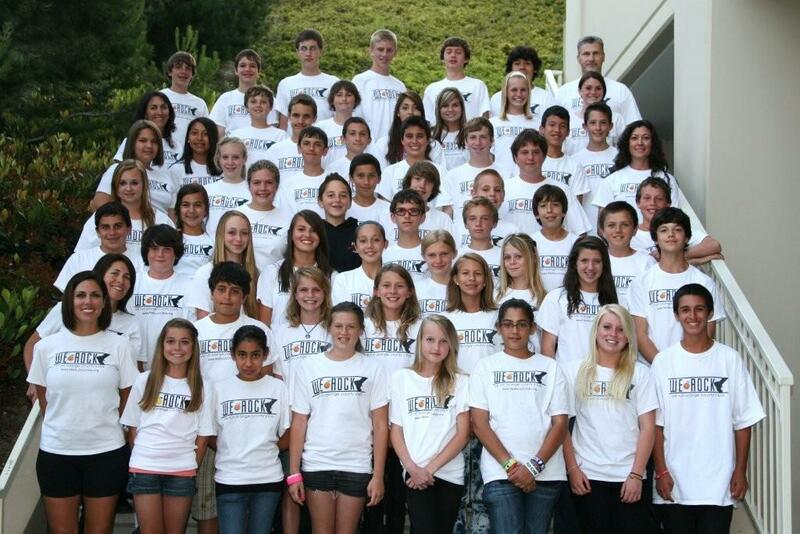 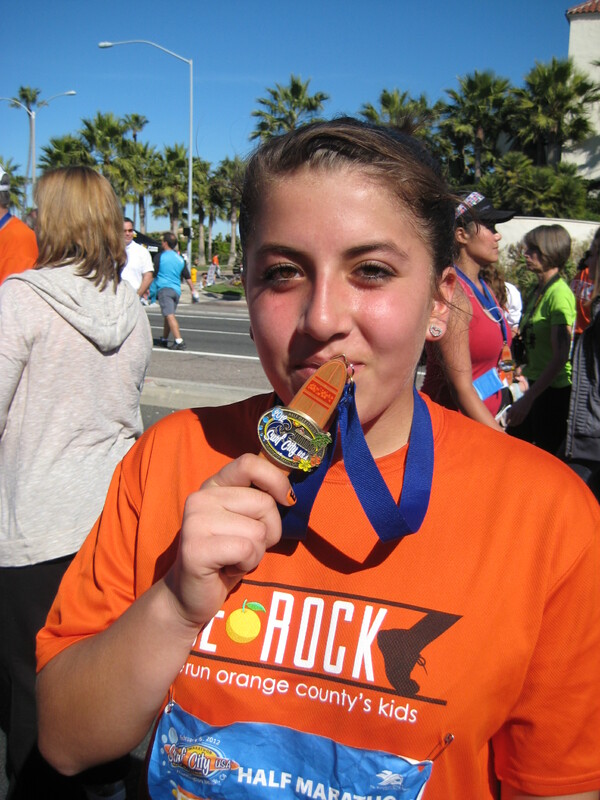 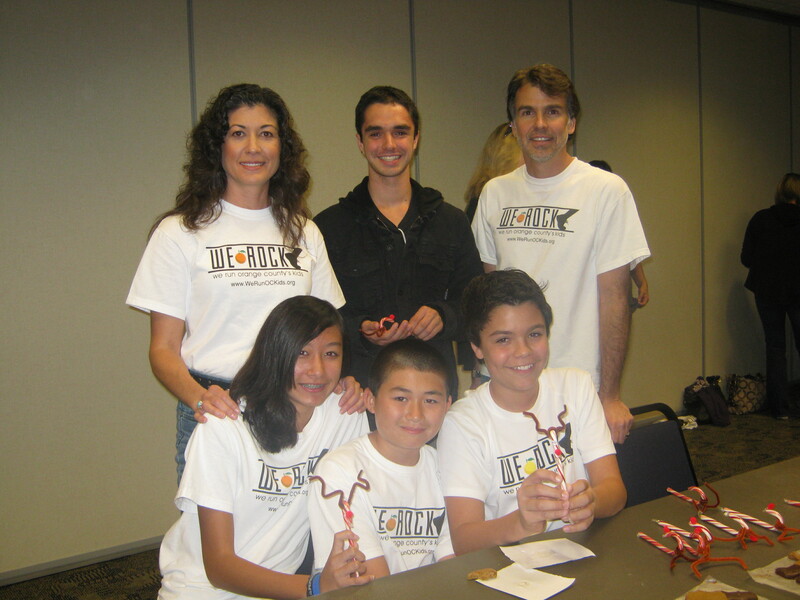 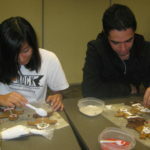 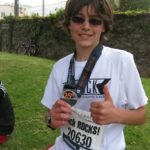 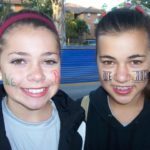 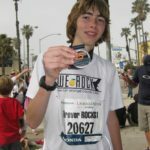 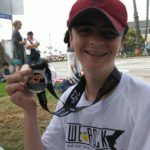 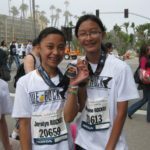 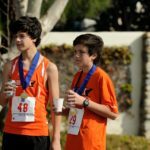 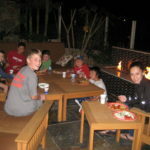 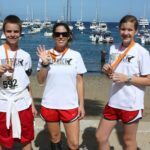 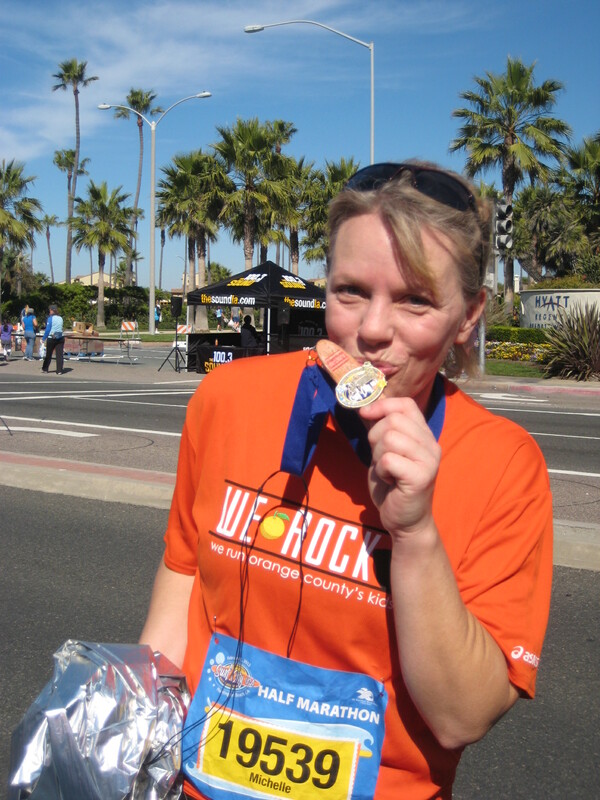 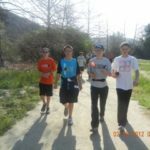 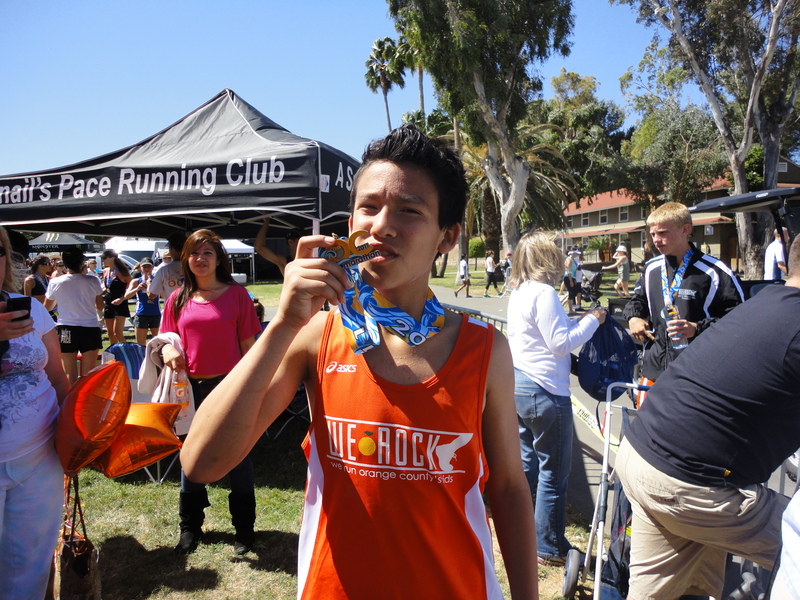 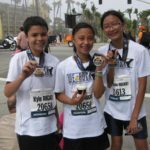 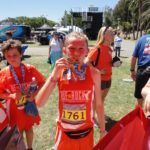 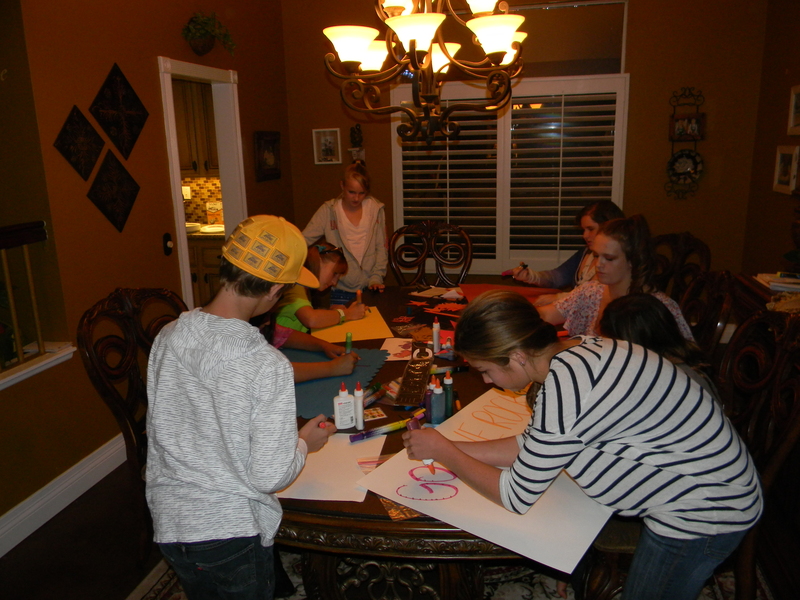 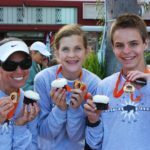 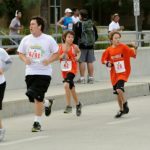 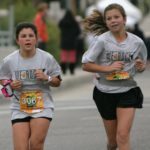 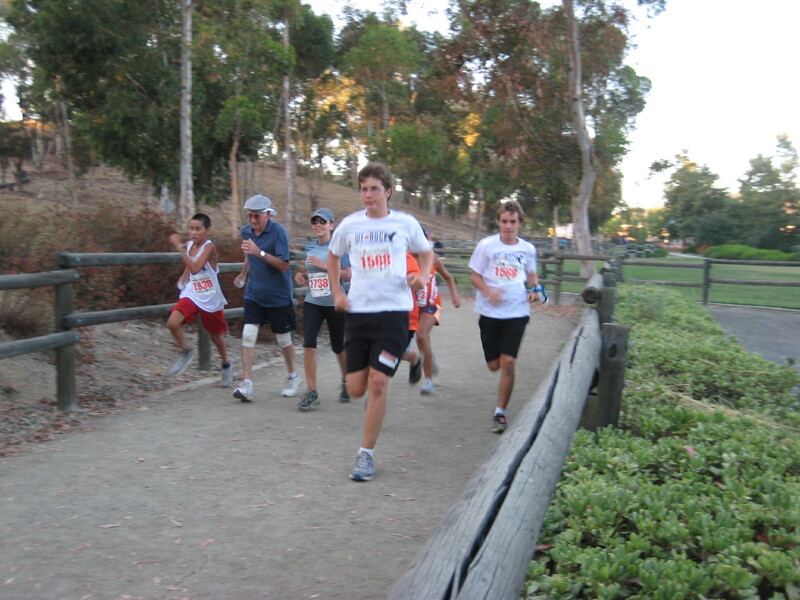 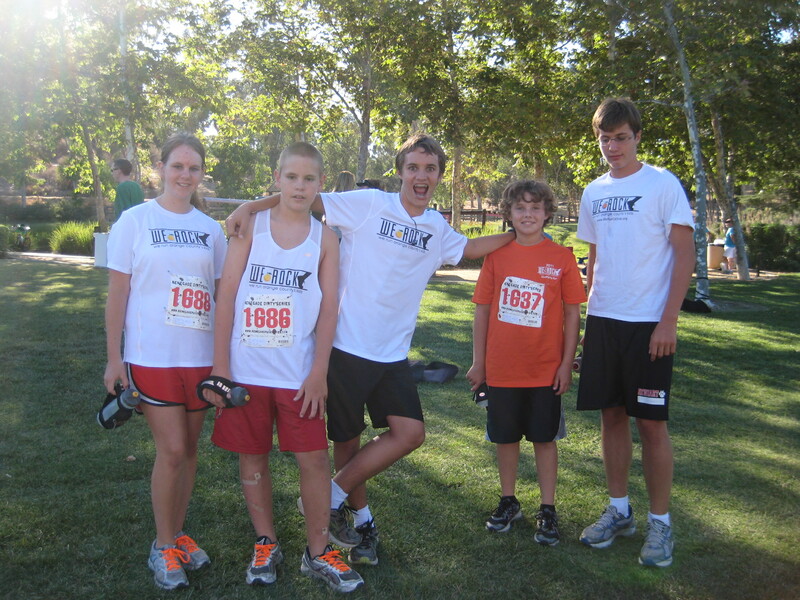 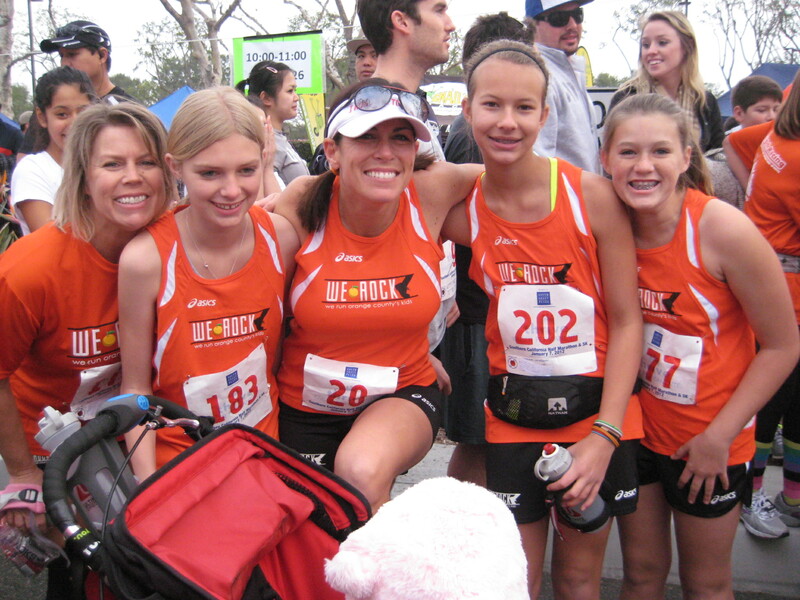 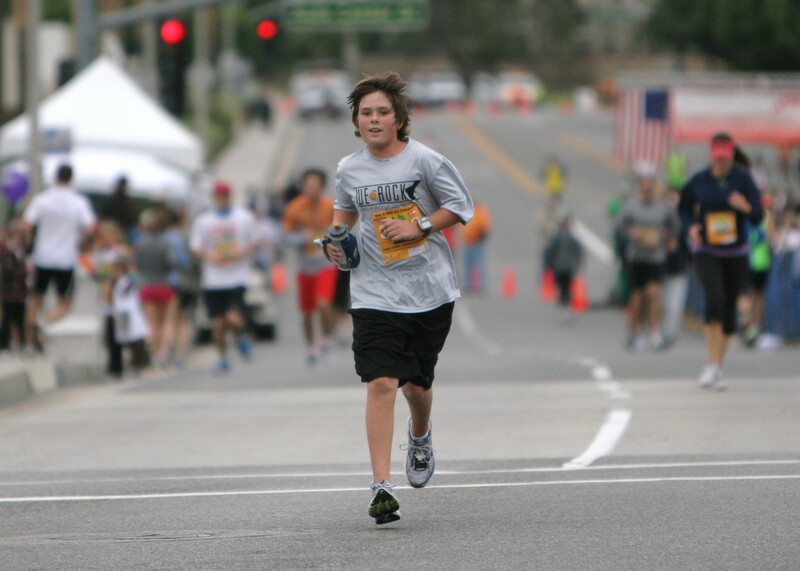 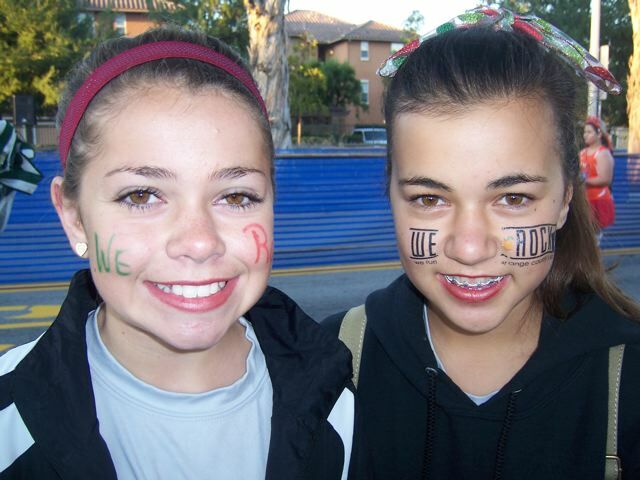 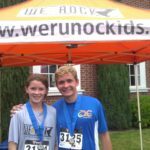 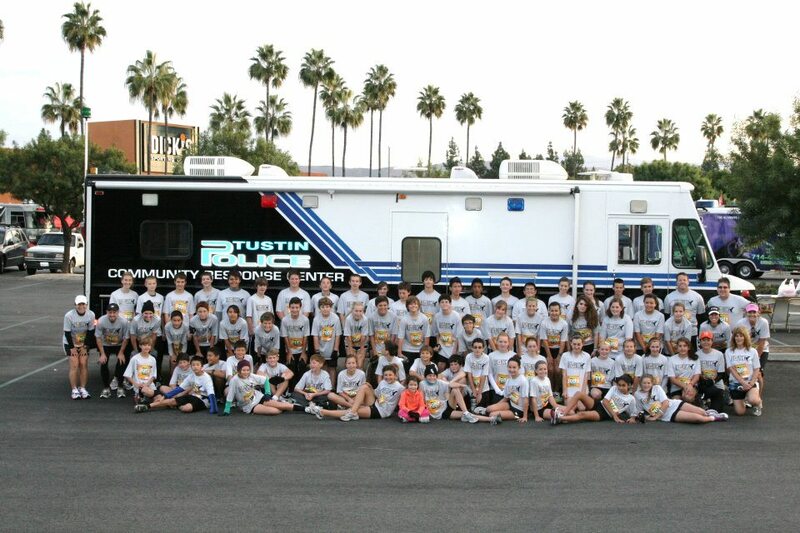 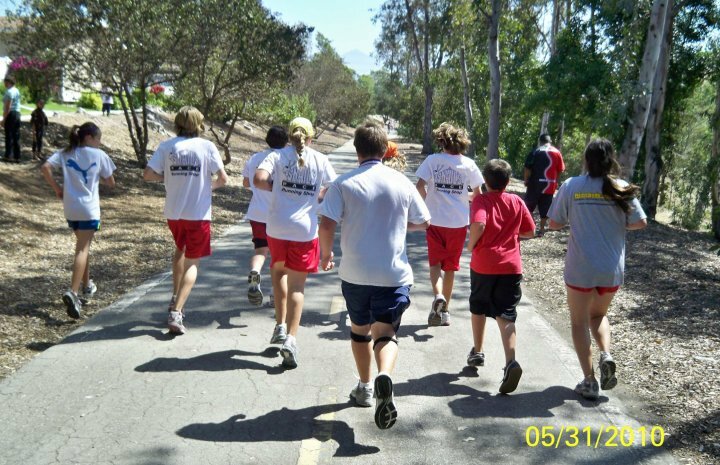 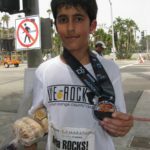 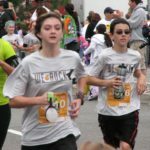 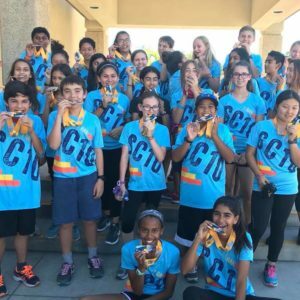 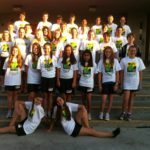 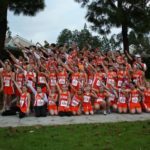 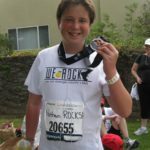 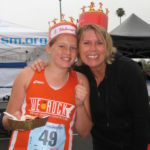 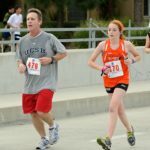 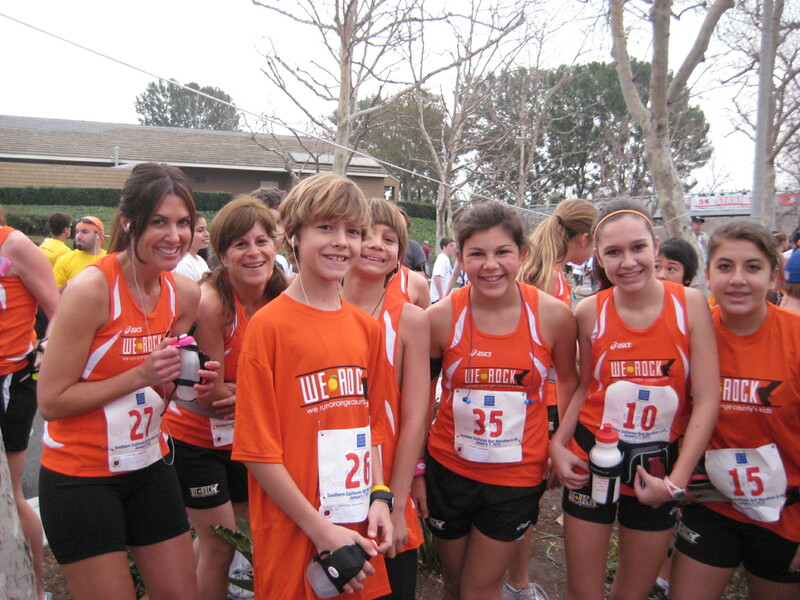 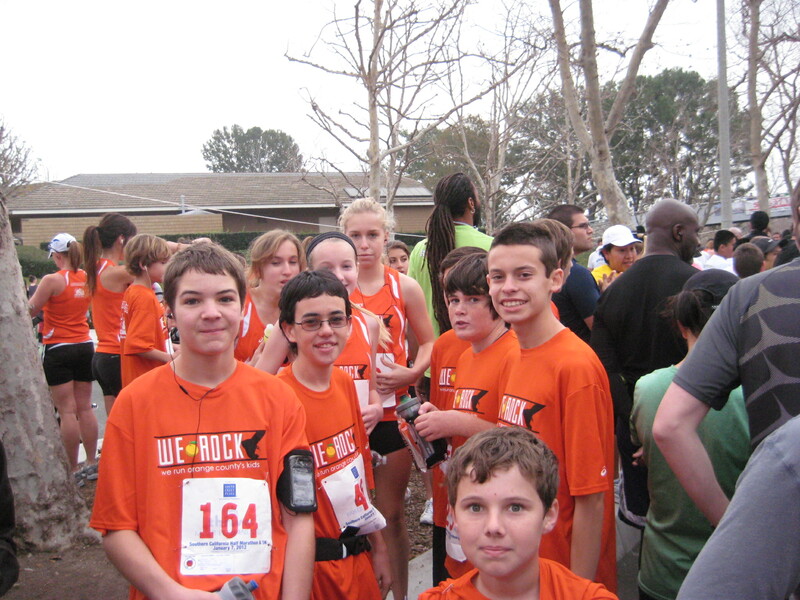 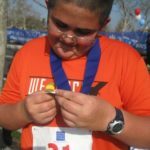 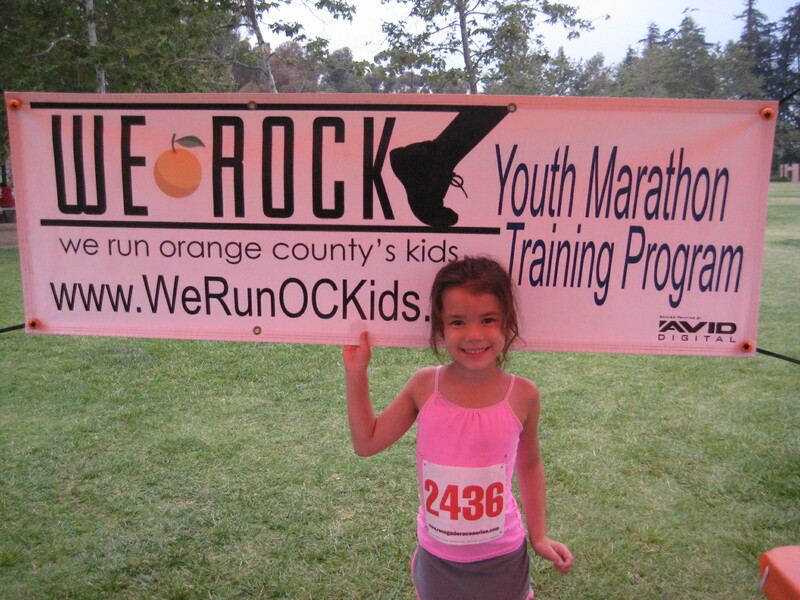 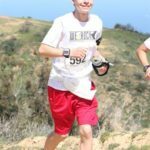 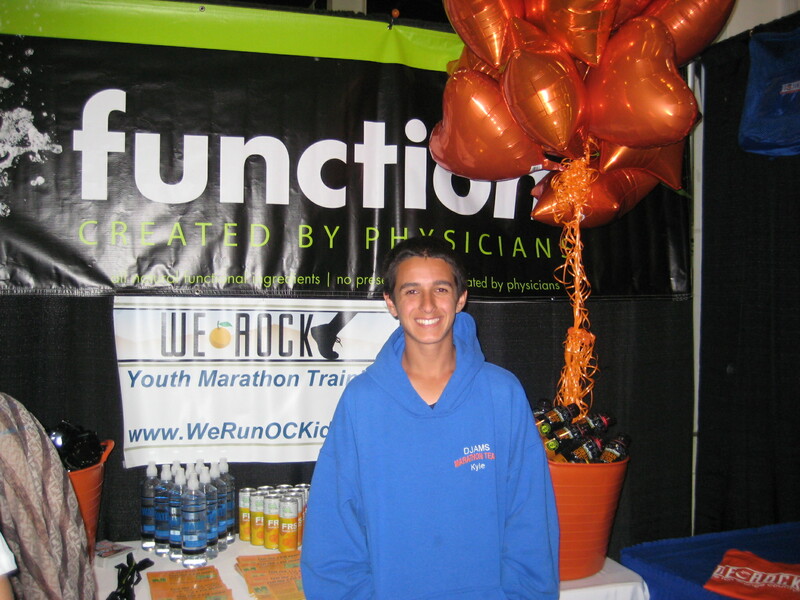 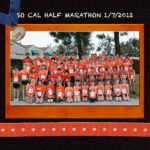 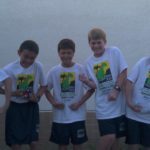 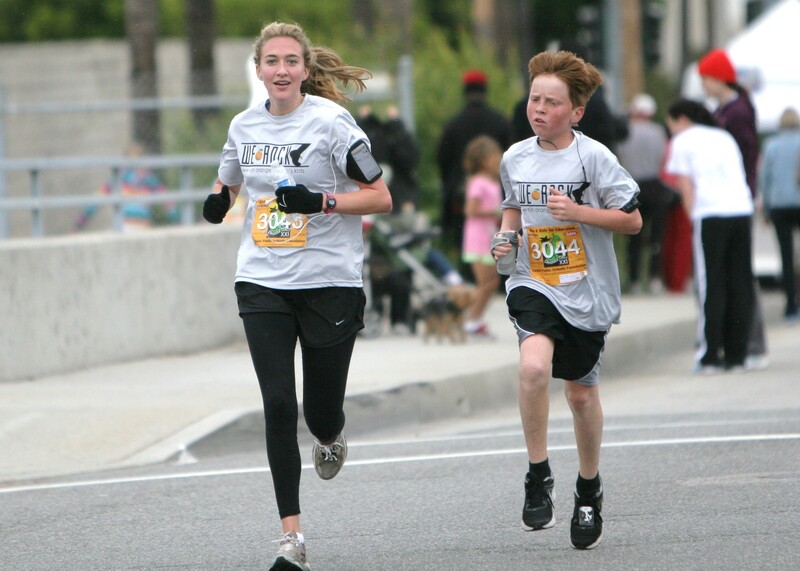 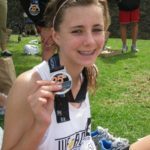 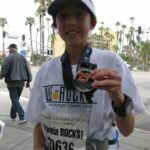 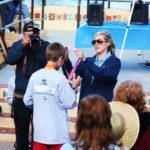 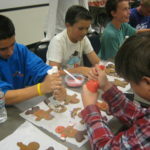 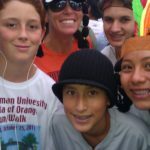 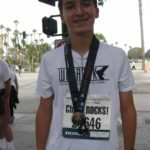 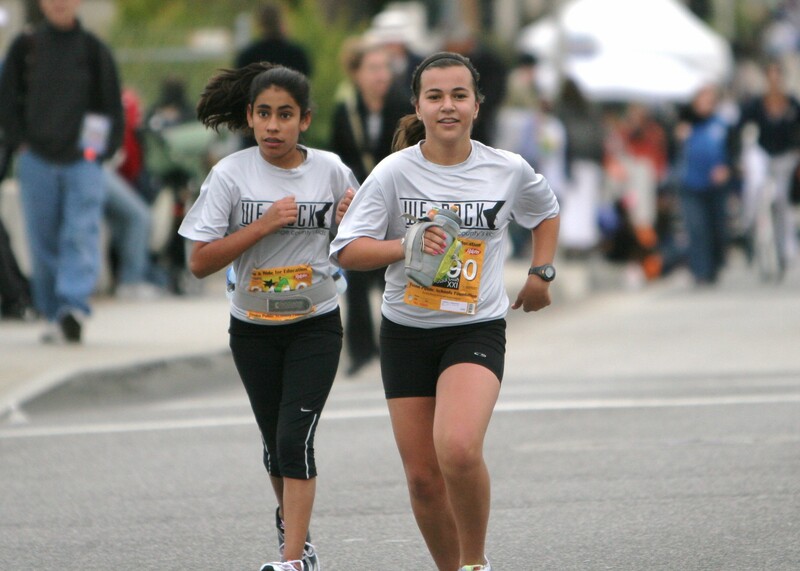 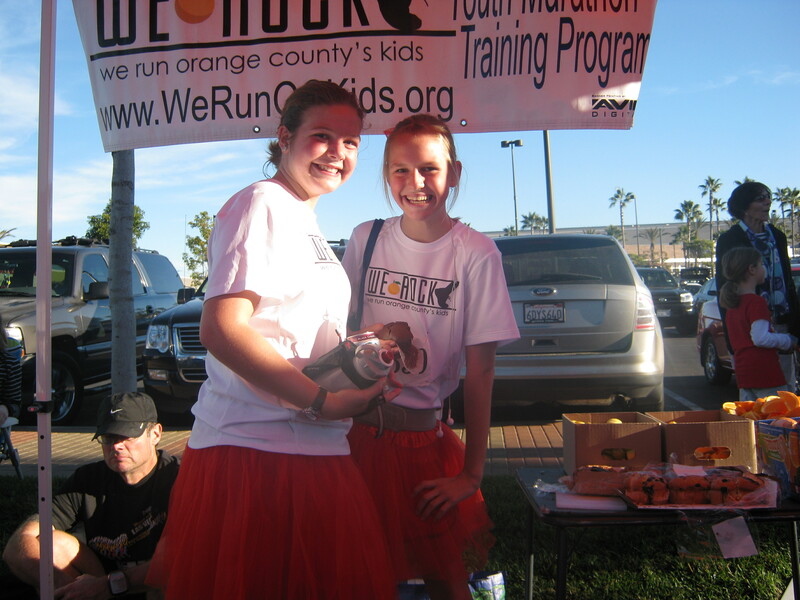 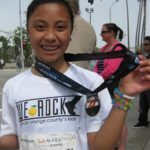 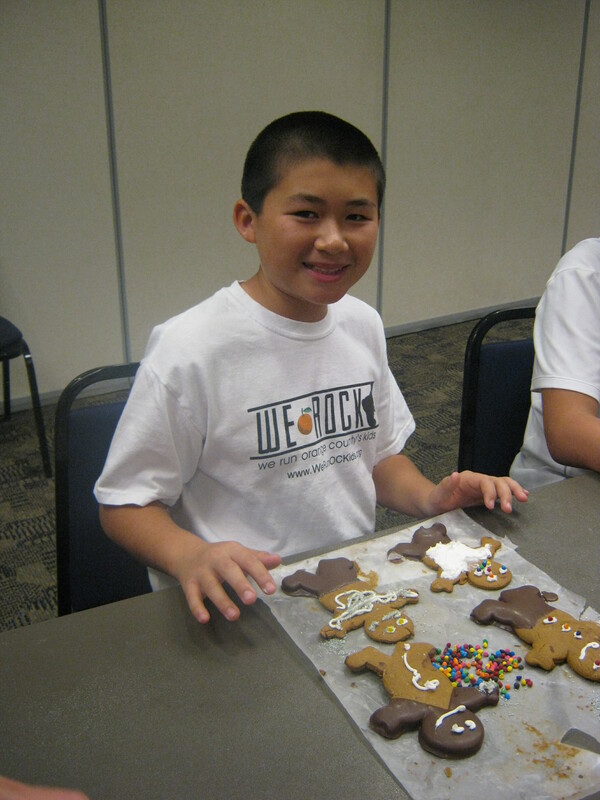 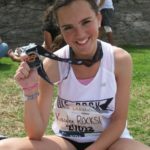 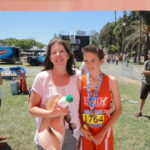 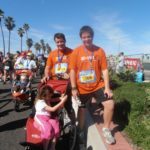 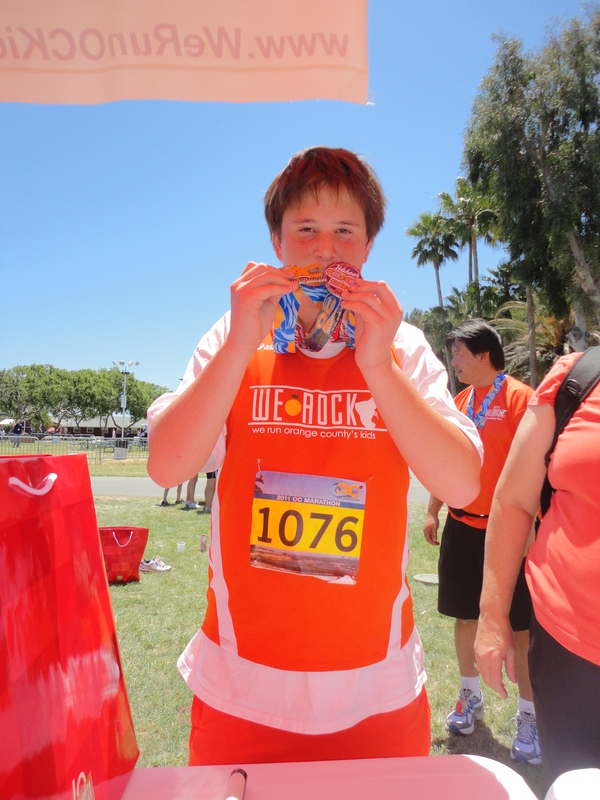 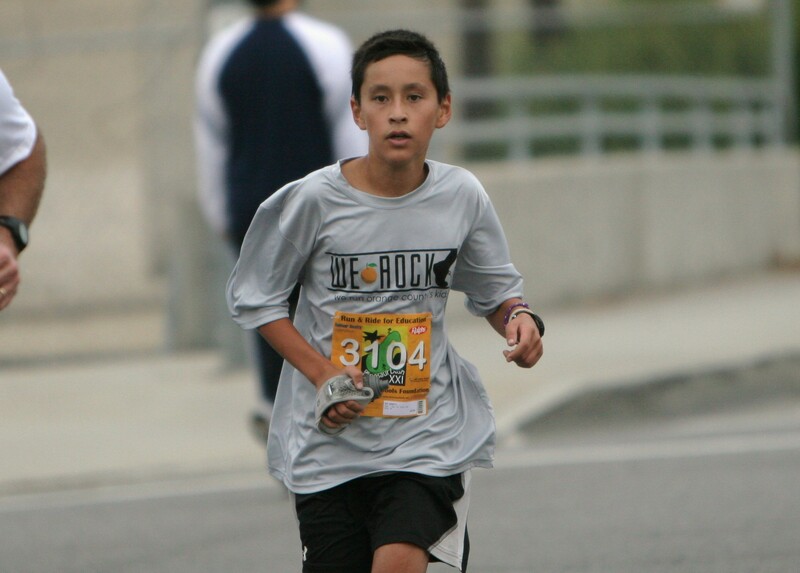 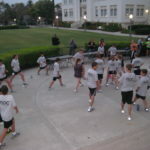 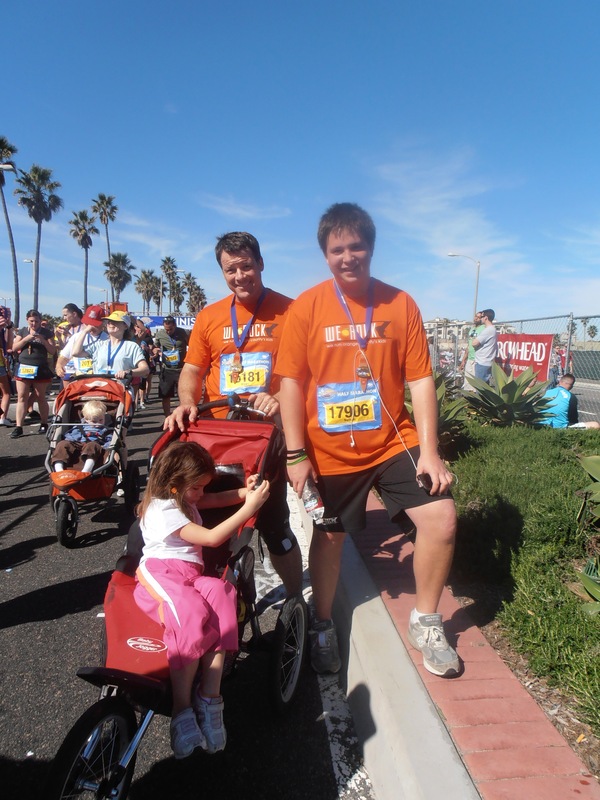 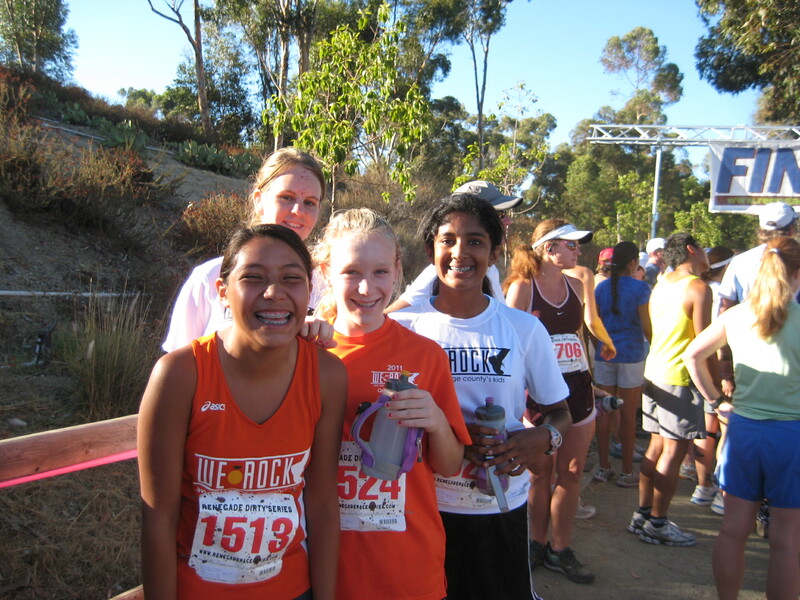 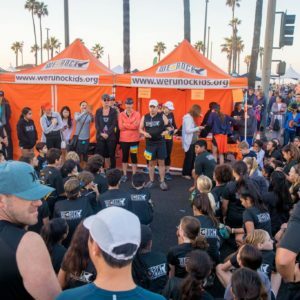 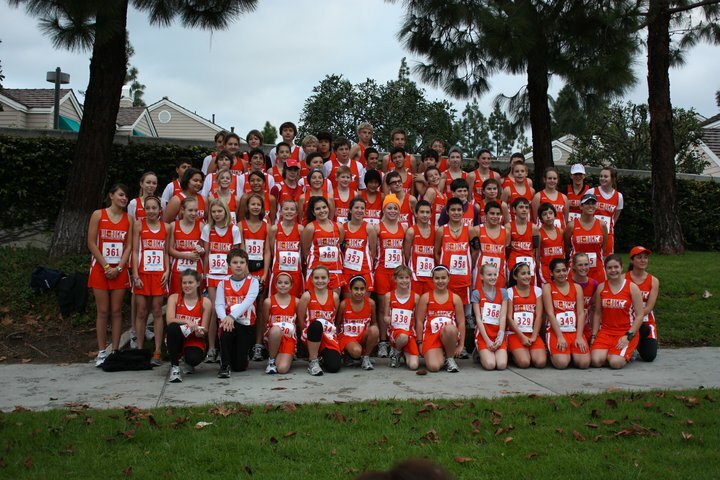 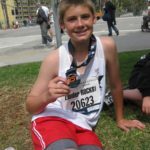 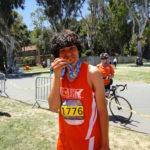 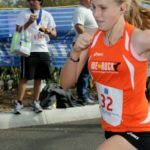 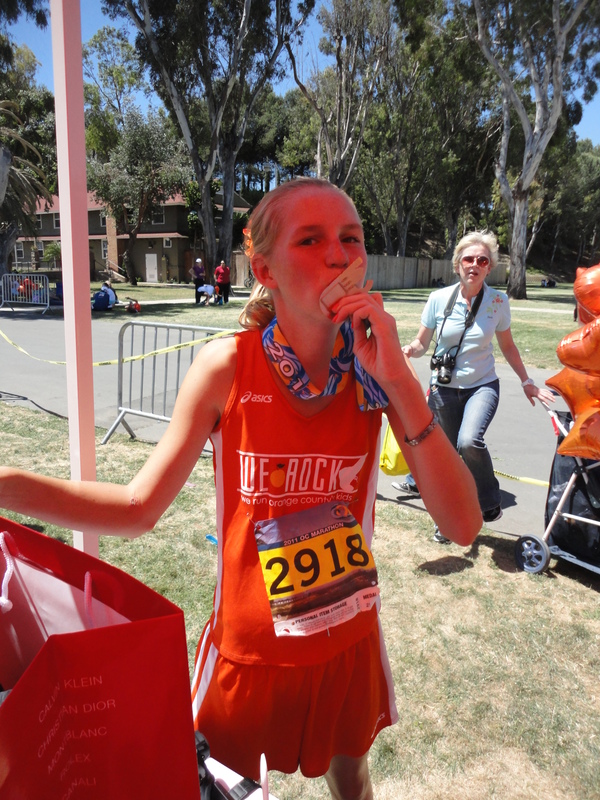 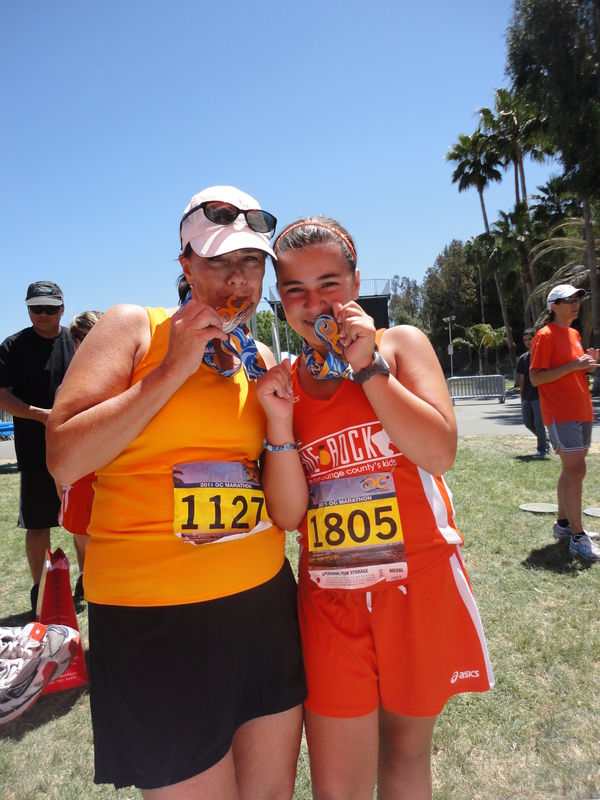 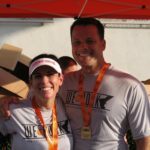 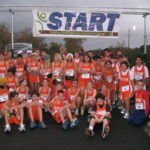 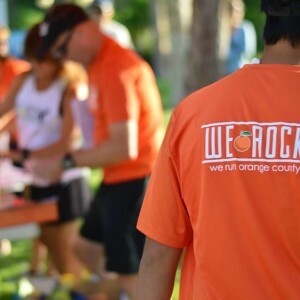 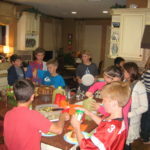 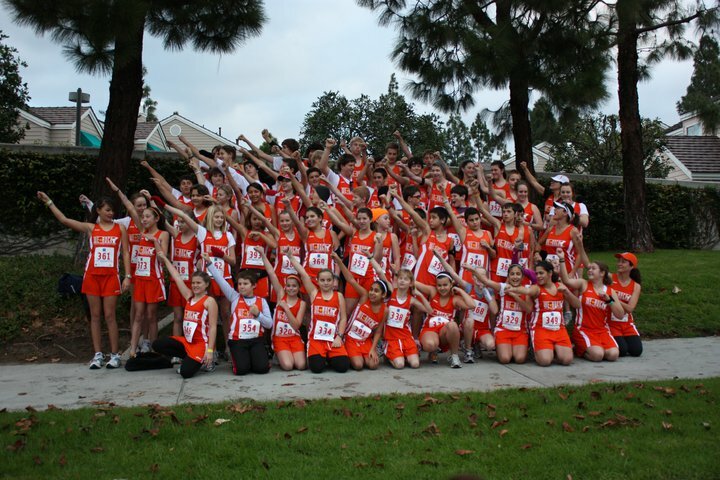 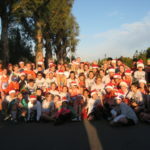 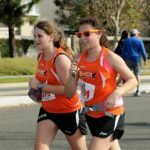 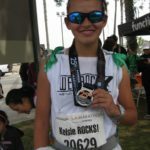 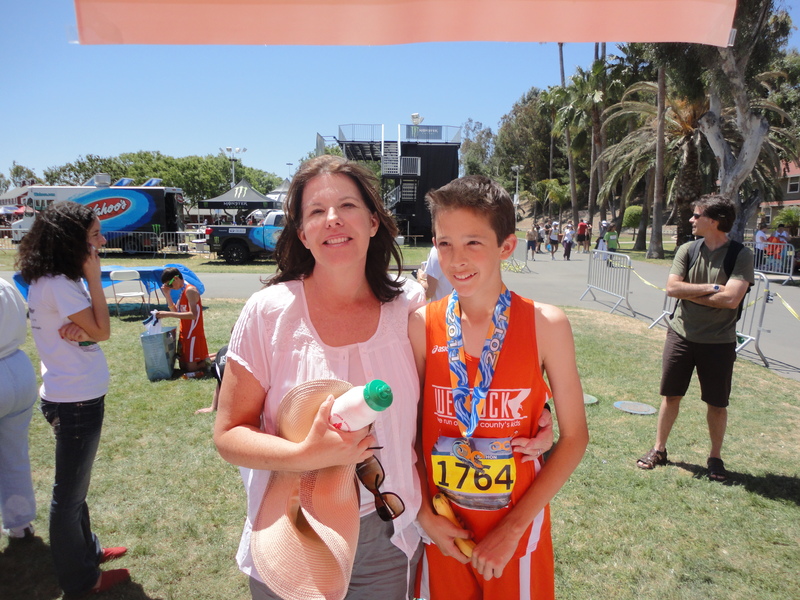 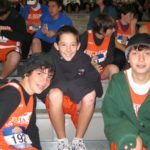 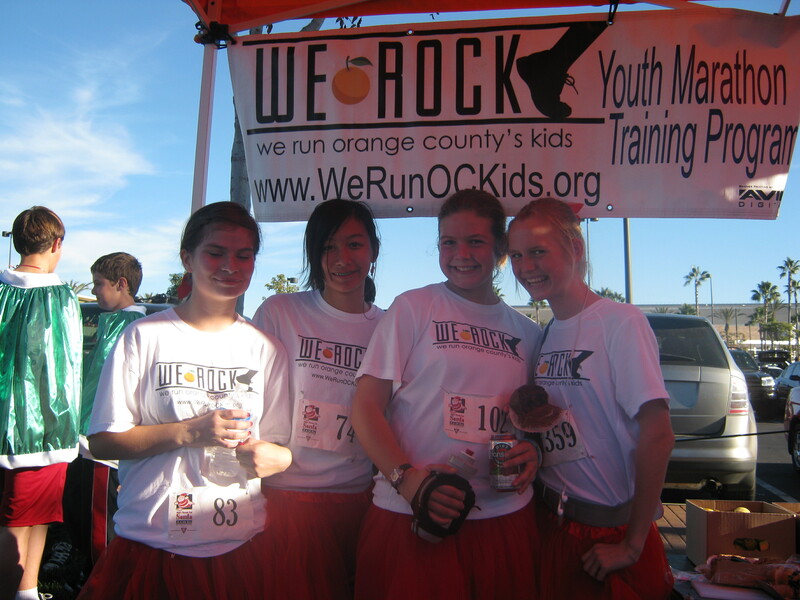 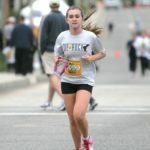 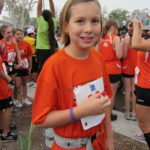 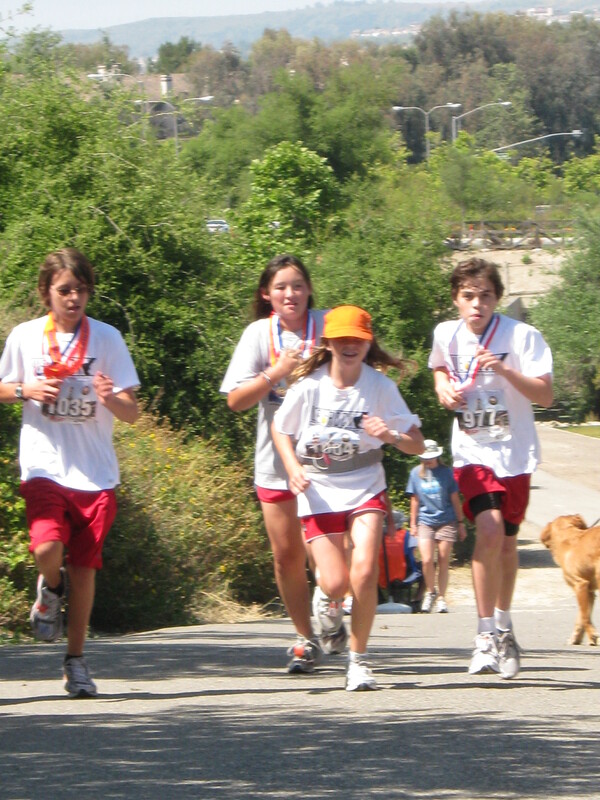 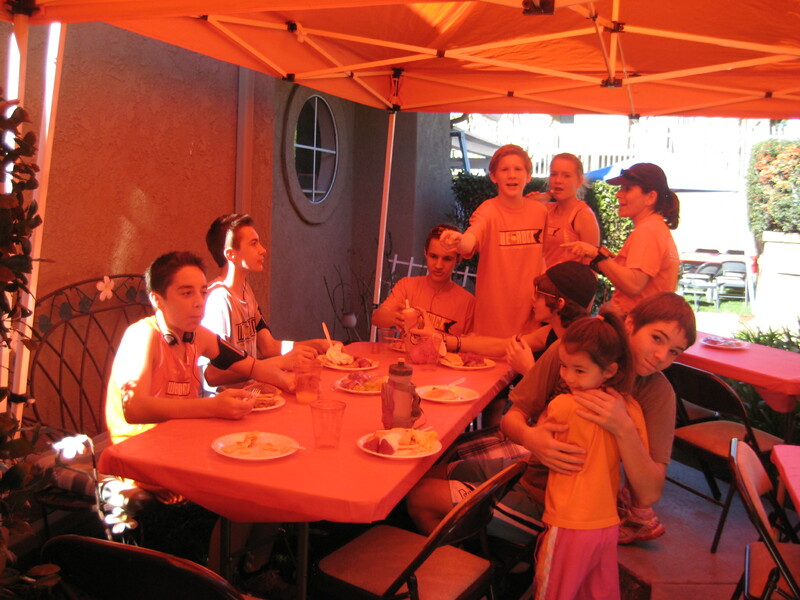 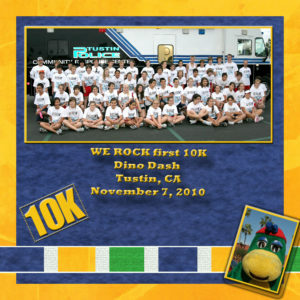 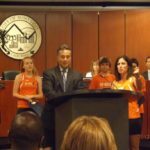 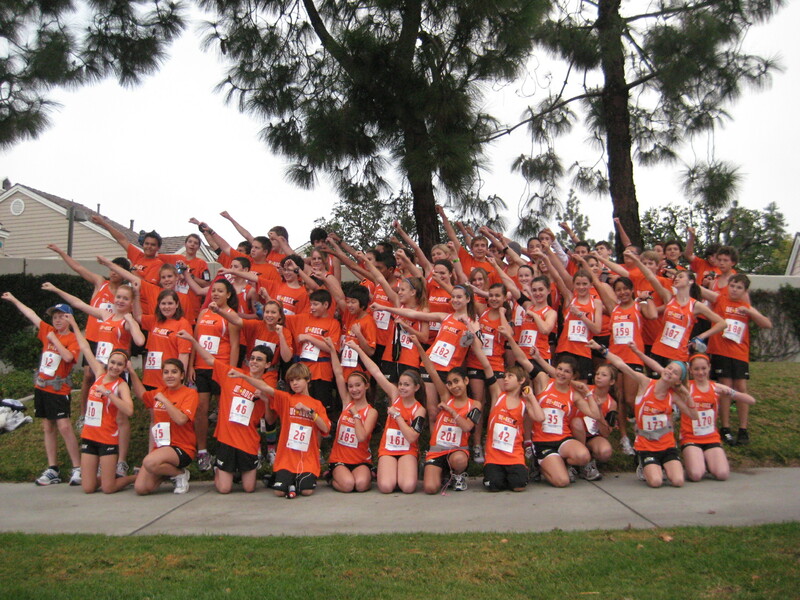 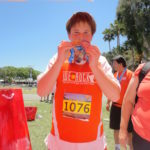 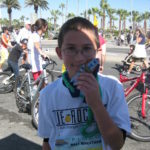 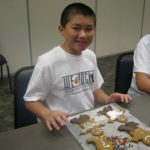 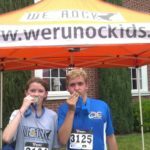 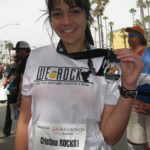 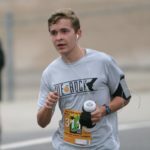 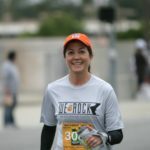 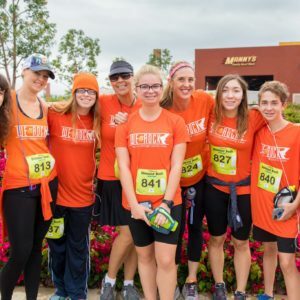 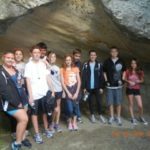 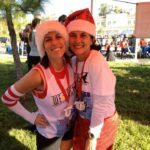 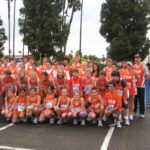 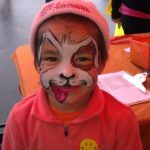 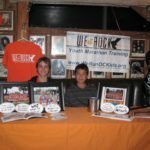 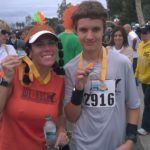 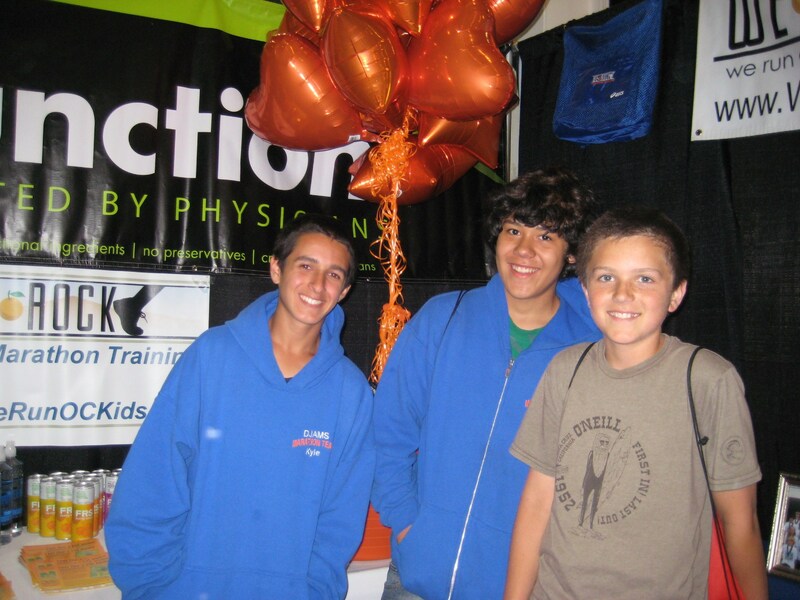 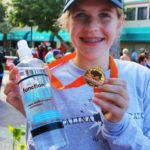 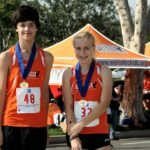 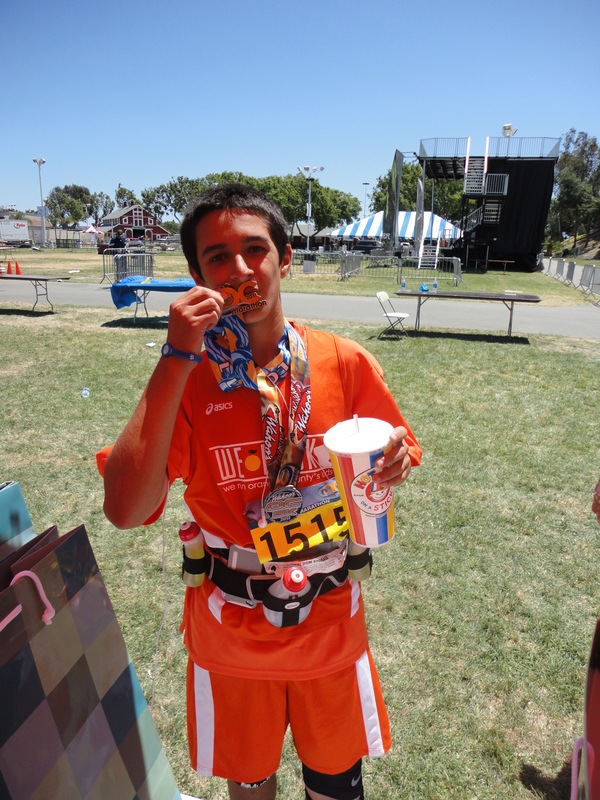 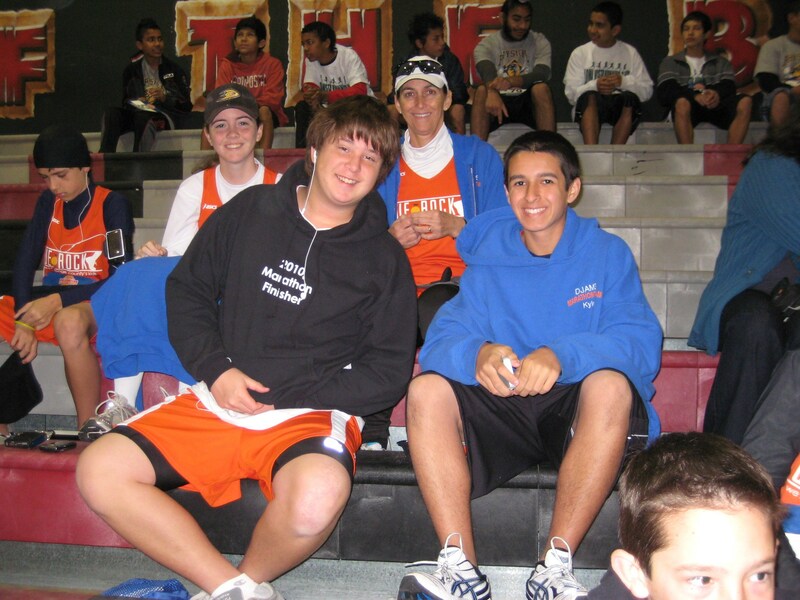 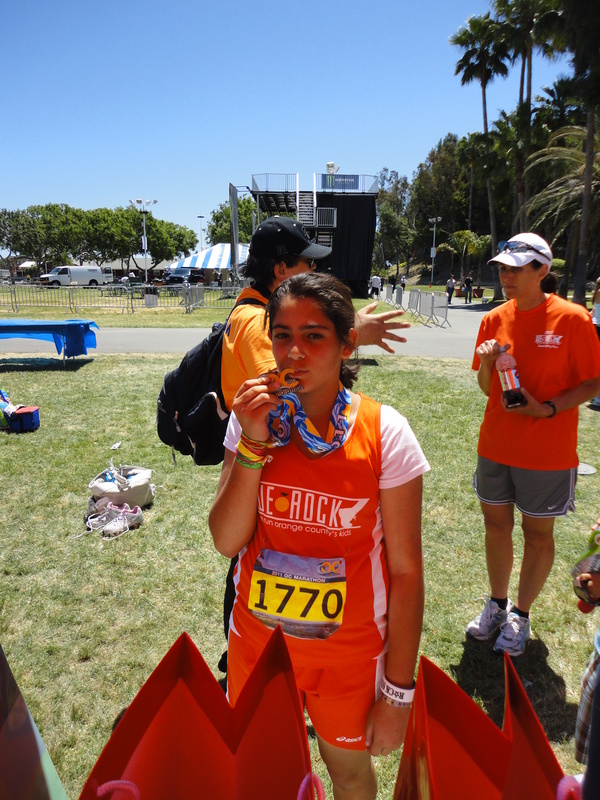 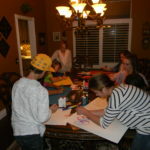 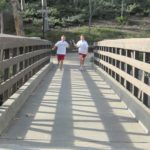 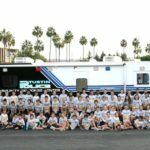 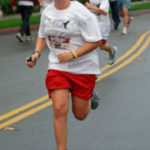 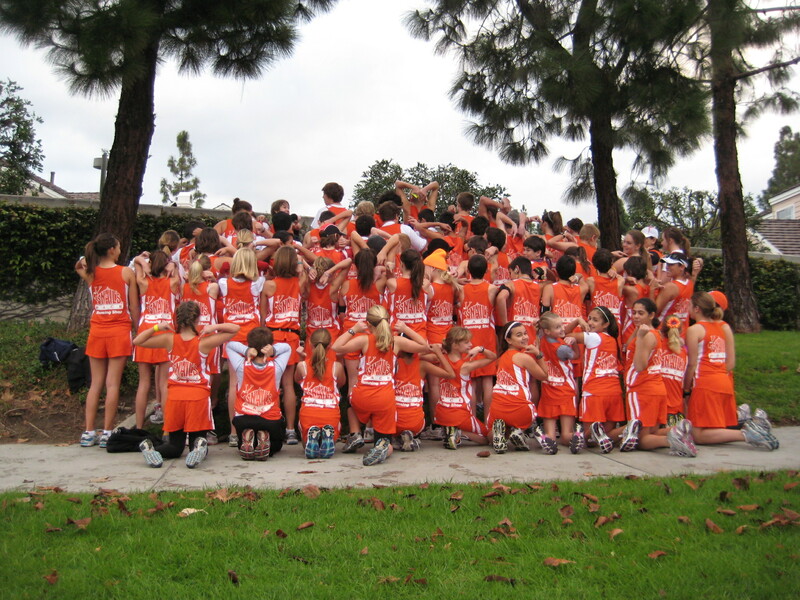 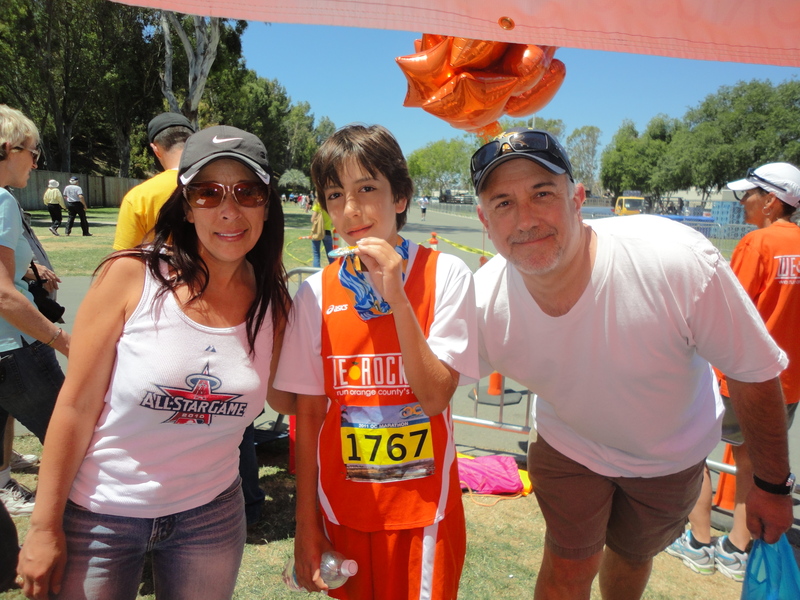 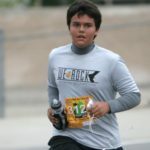 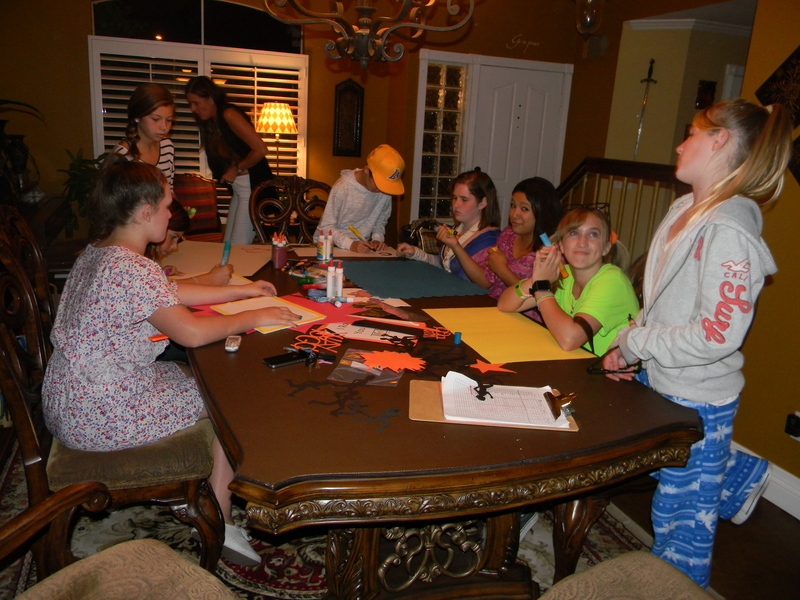 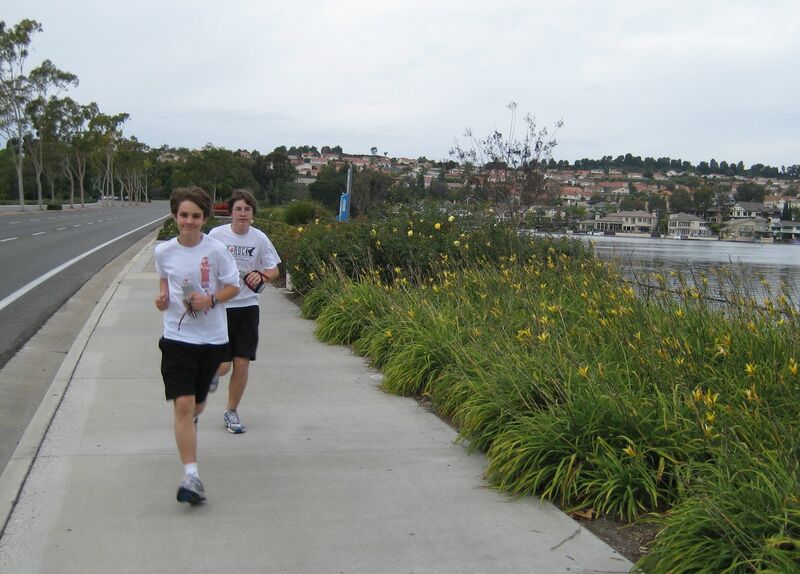 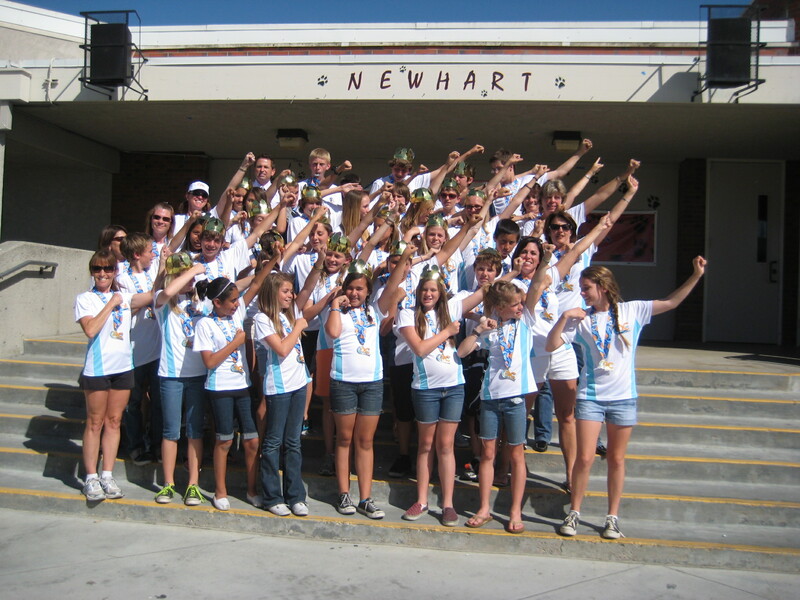 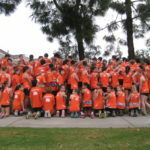 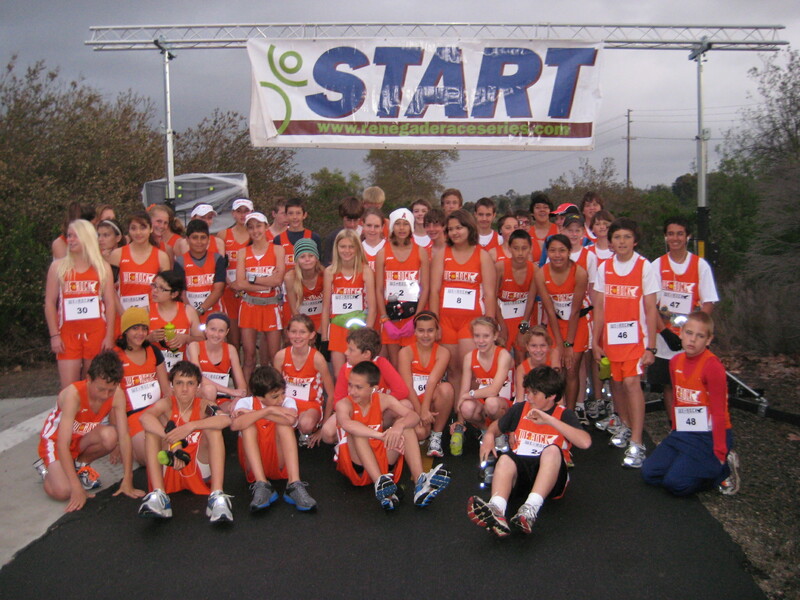 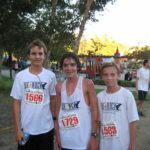 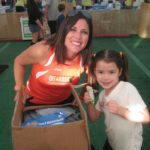 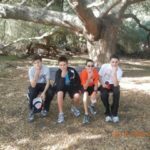 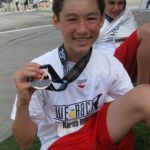 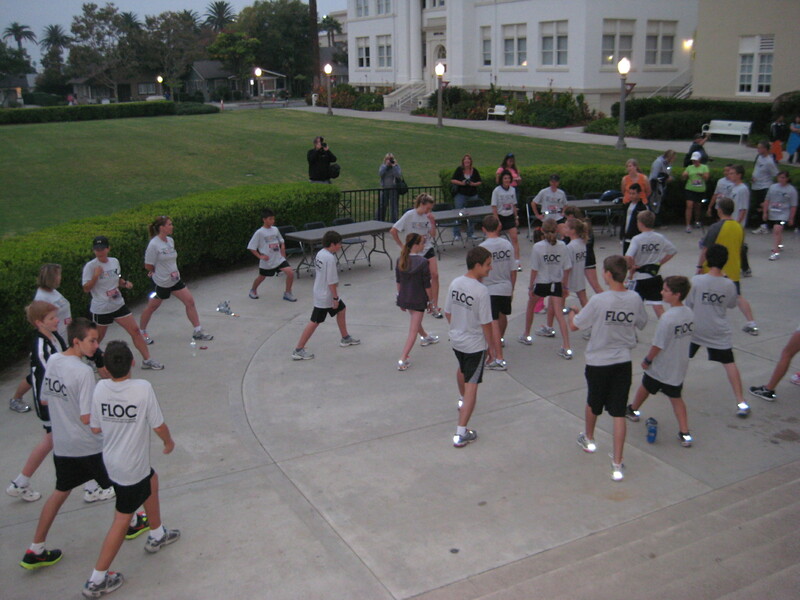 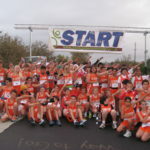 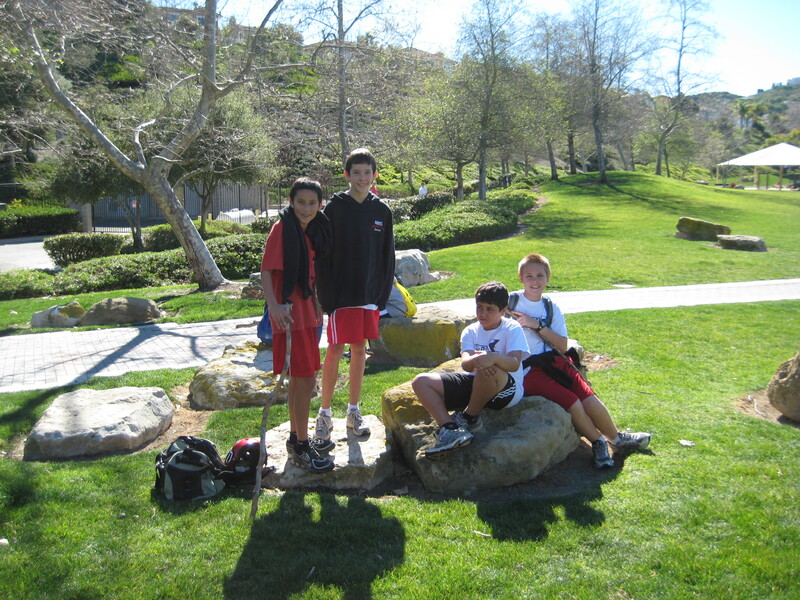 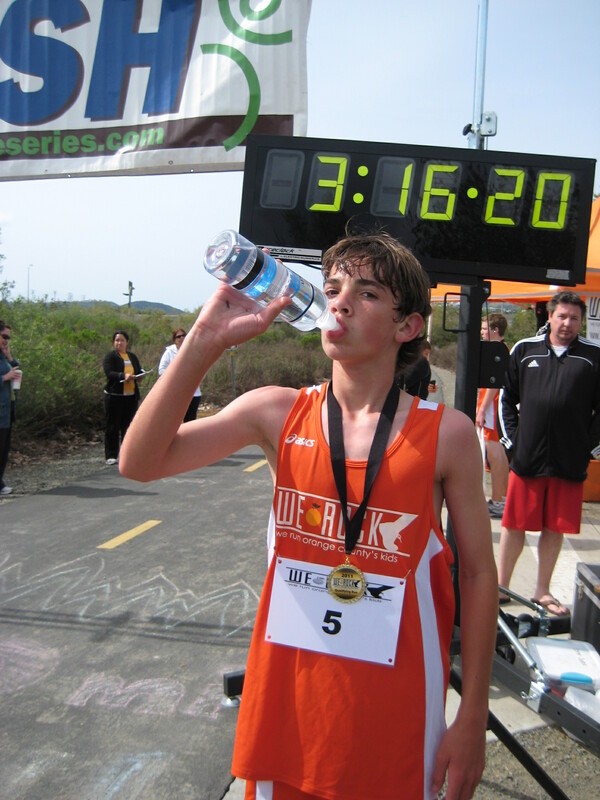 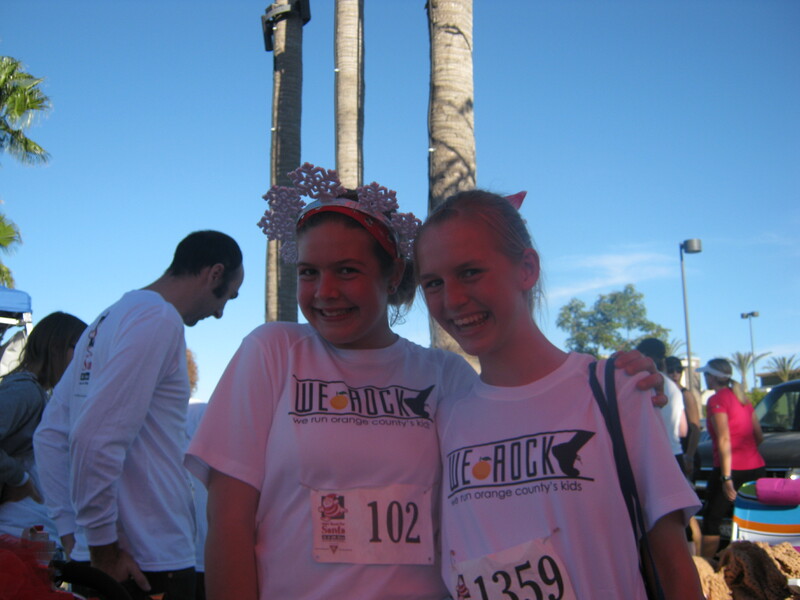 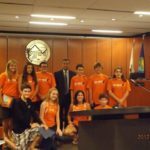 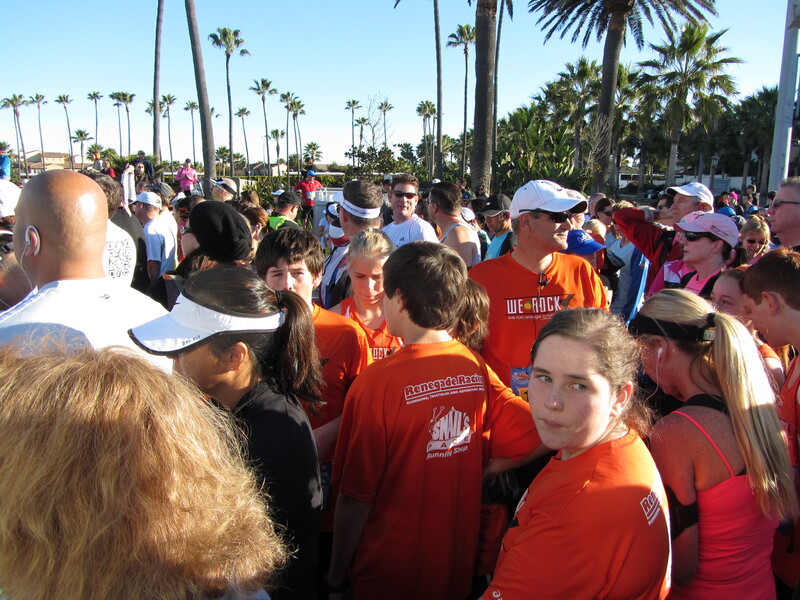 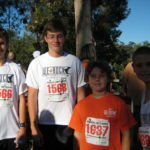 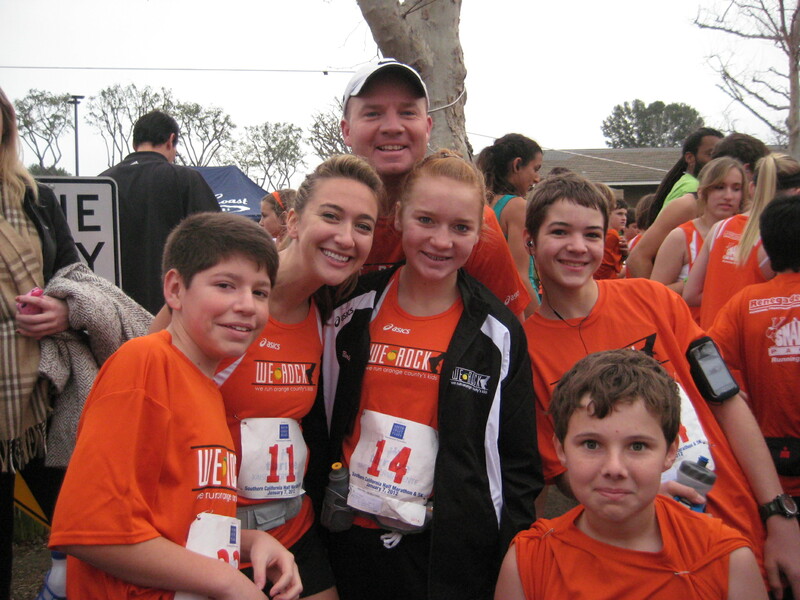 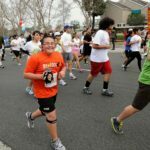 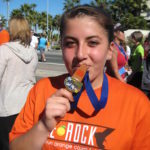 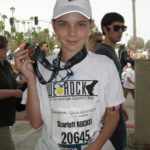 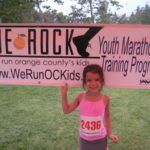 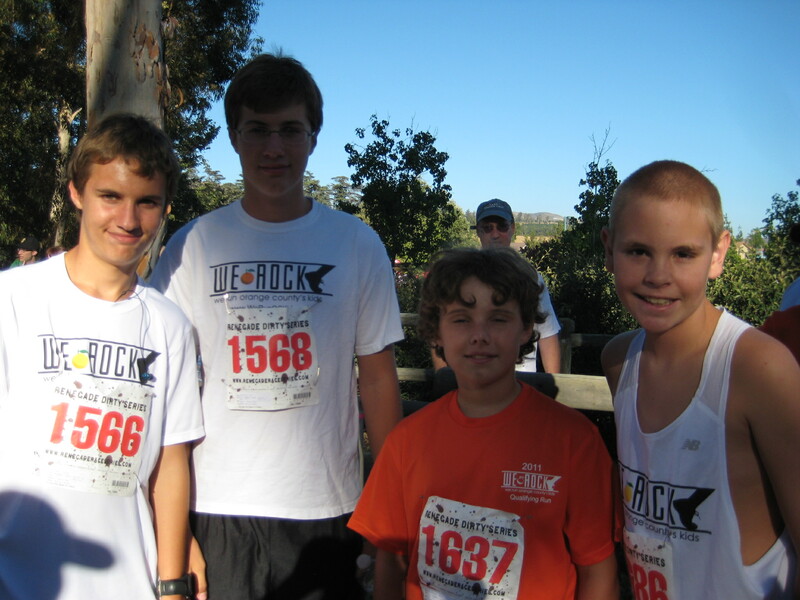 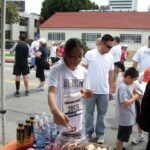 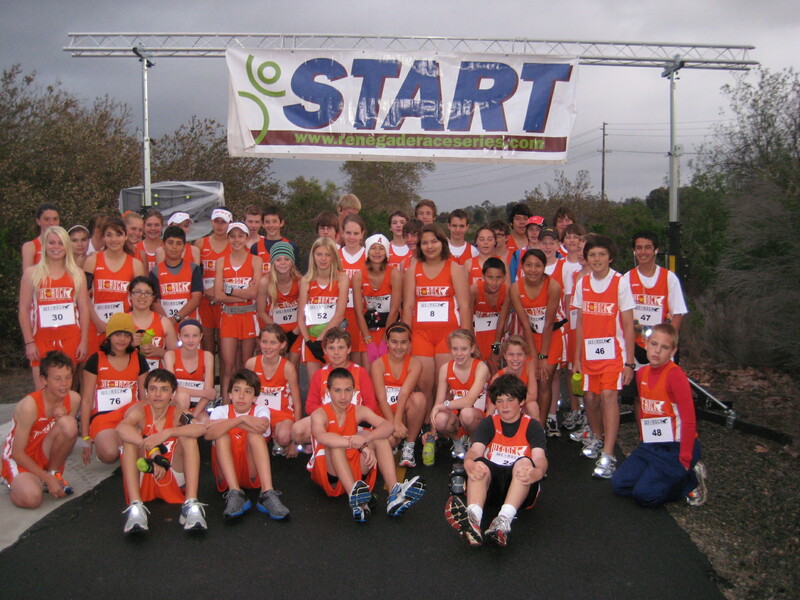 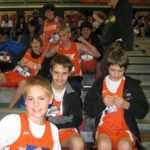 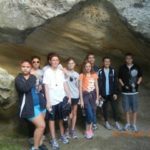 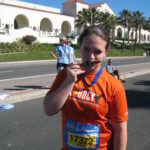 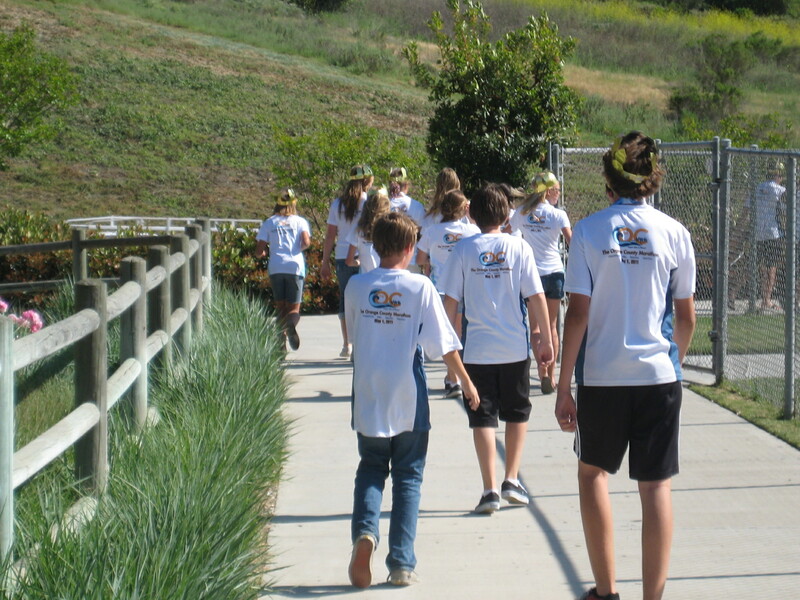 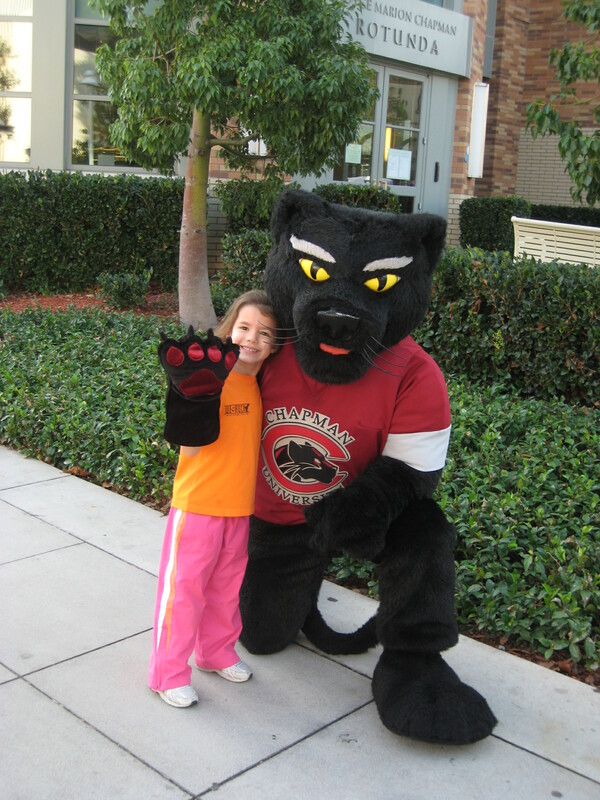 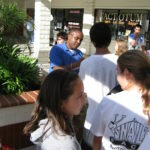 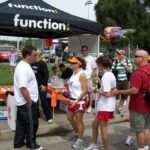 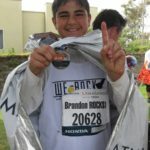 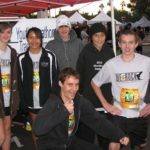 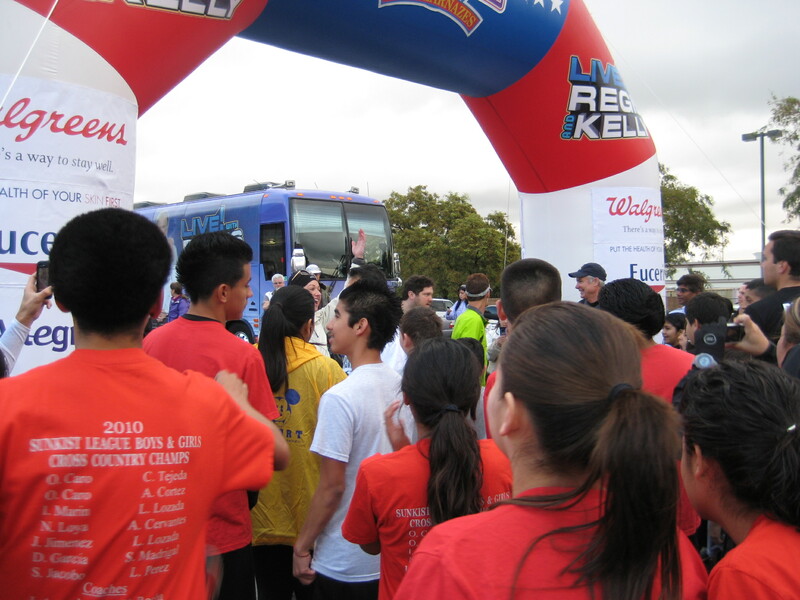 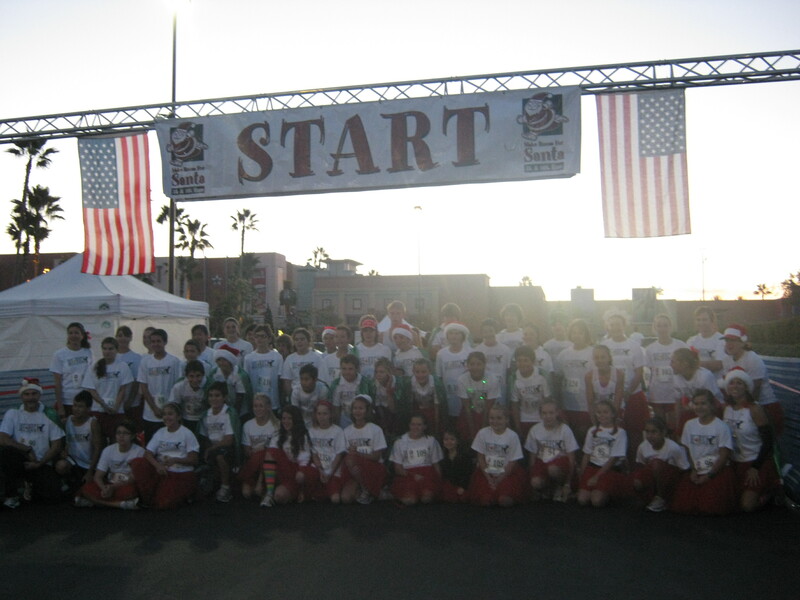 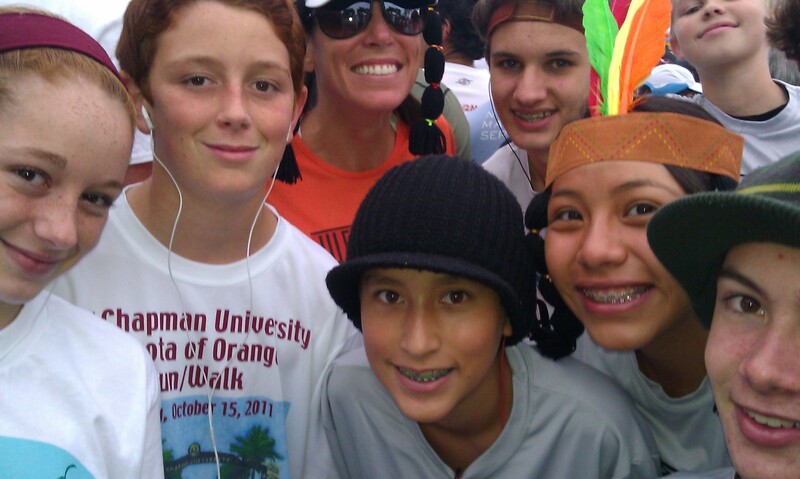 The experience inspired the Mission Viejo resident to start a similar program in Orange County, dubbed We Run Orange County’s Kids, or WeROCK. 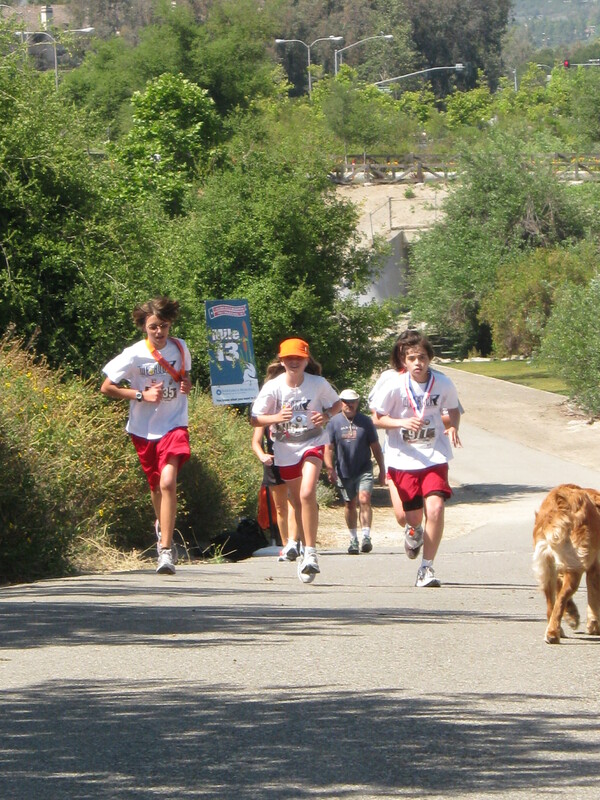 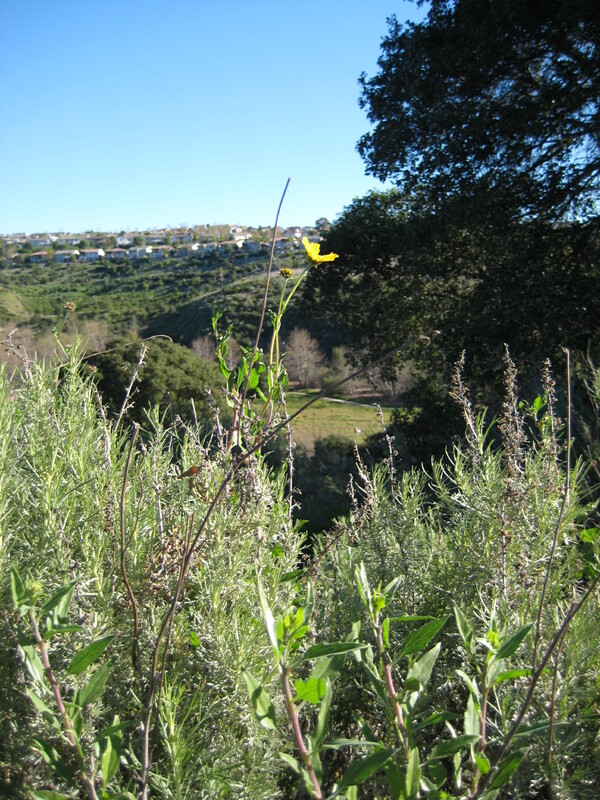 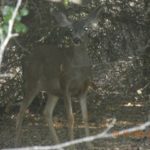 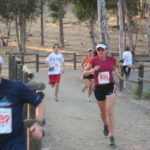 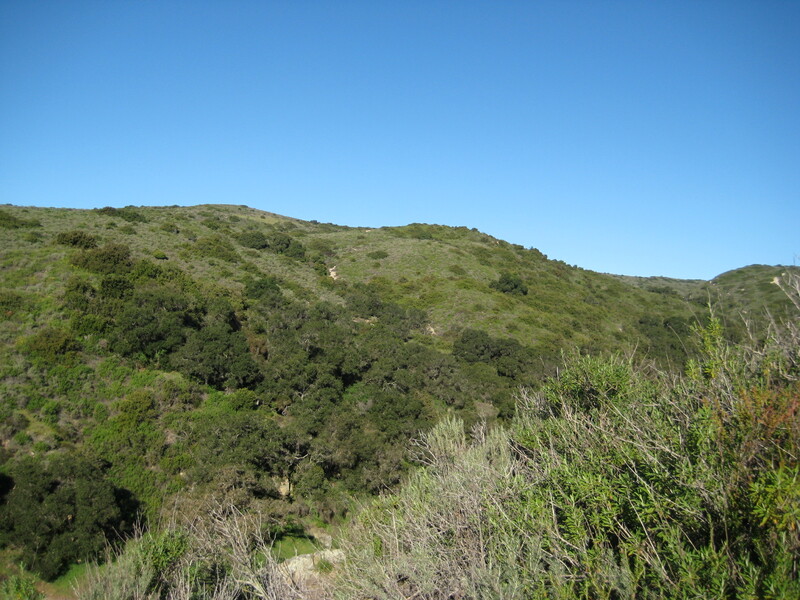 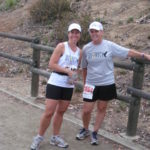 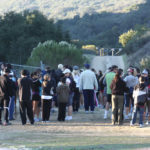 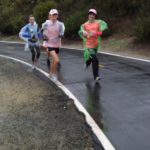 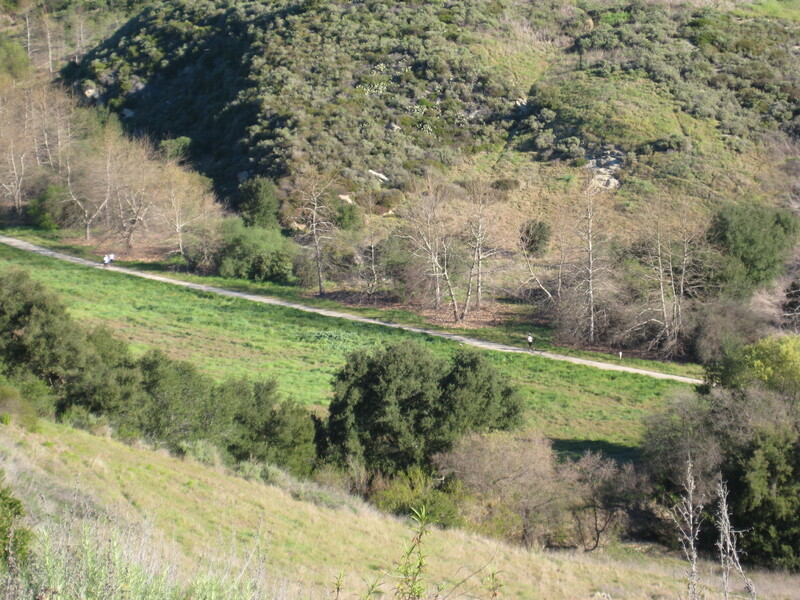 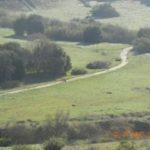 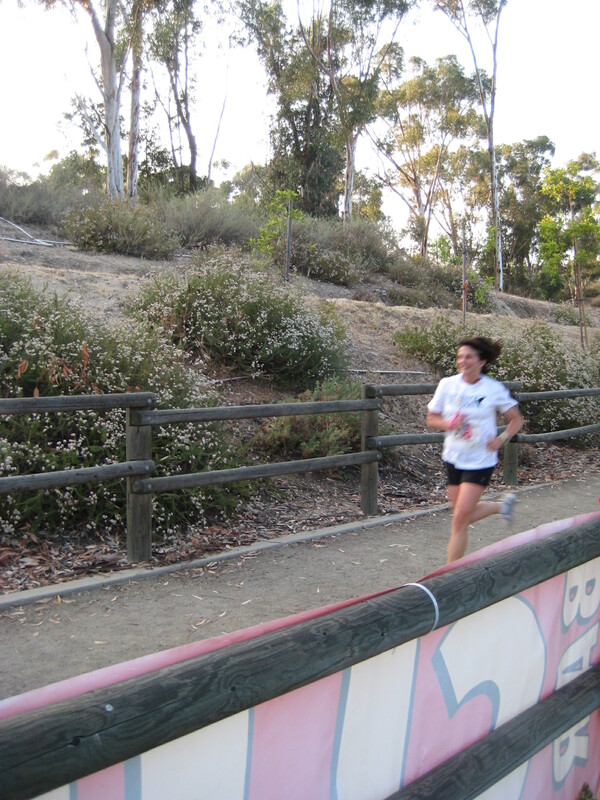 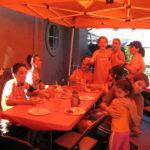 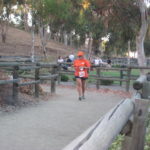 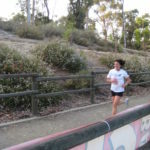 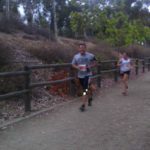 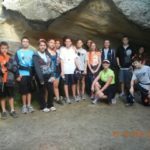 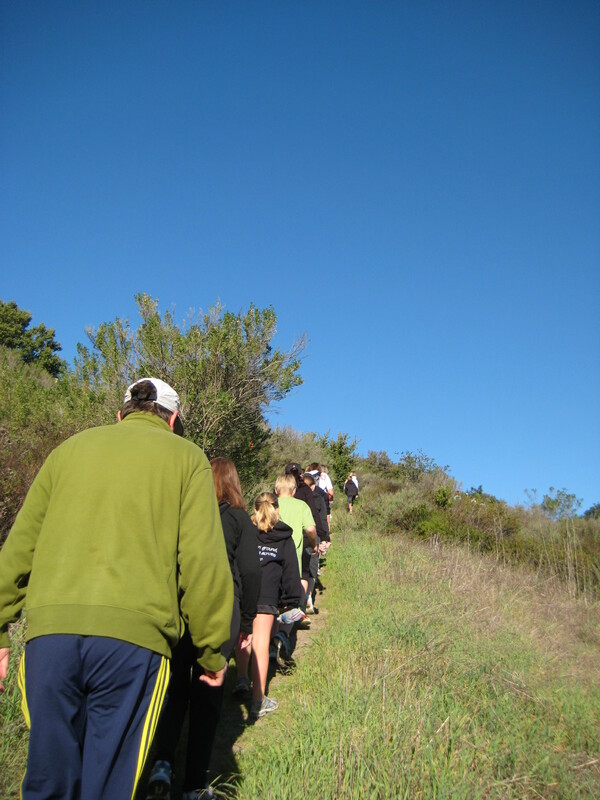 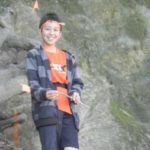 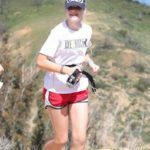 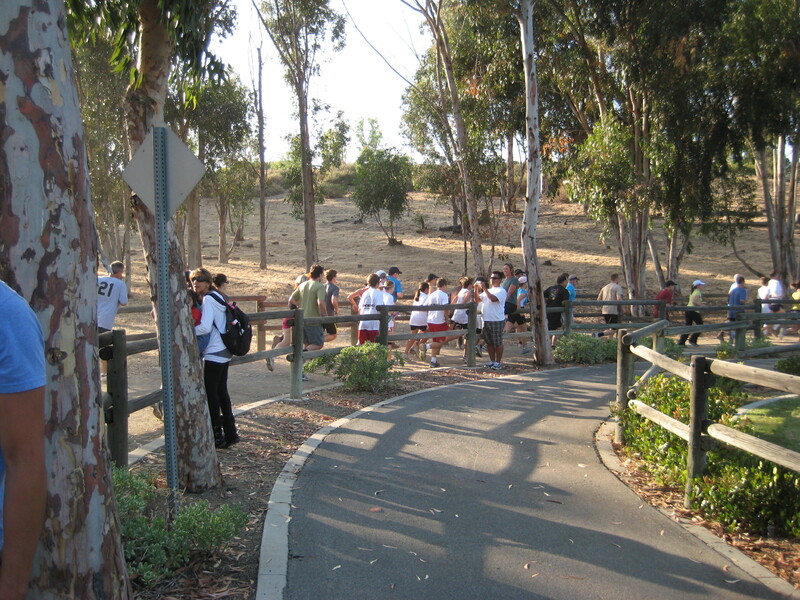 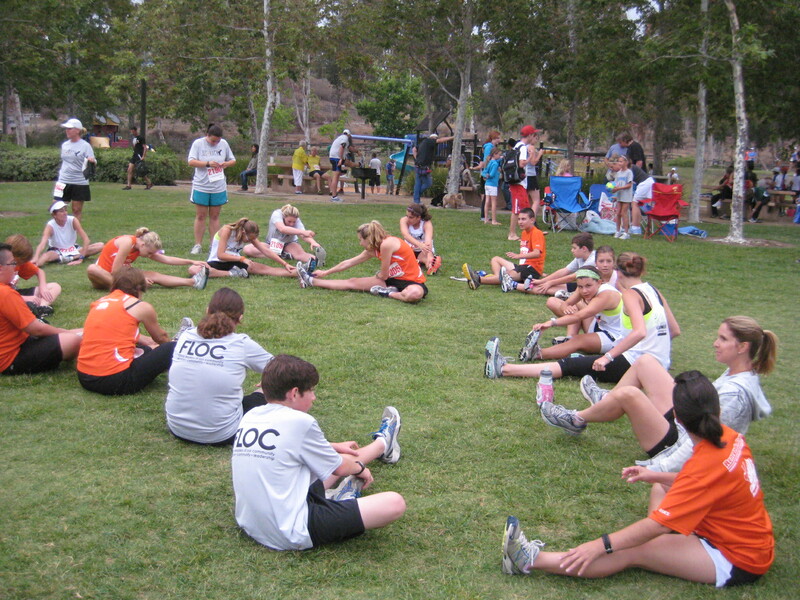 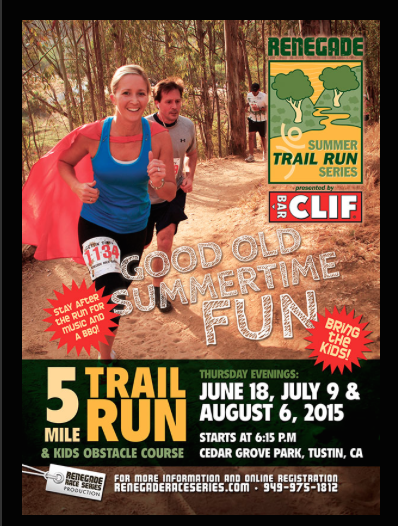 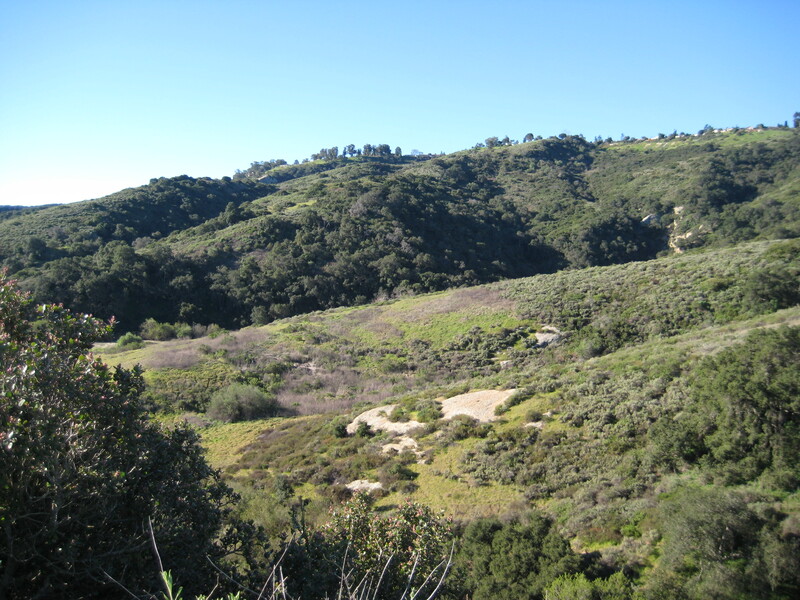 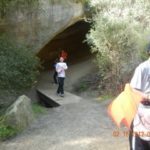 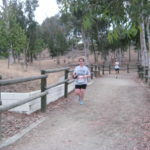 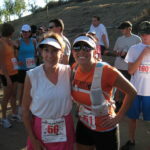 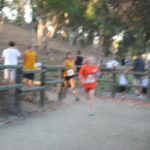 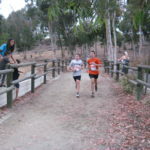 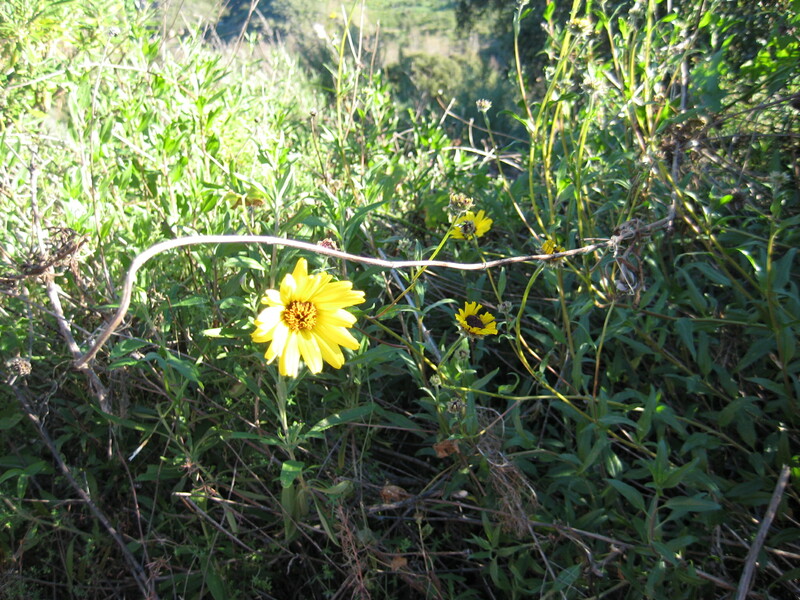 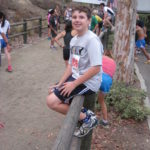 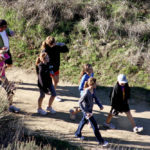 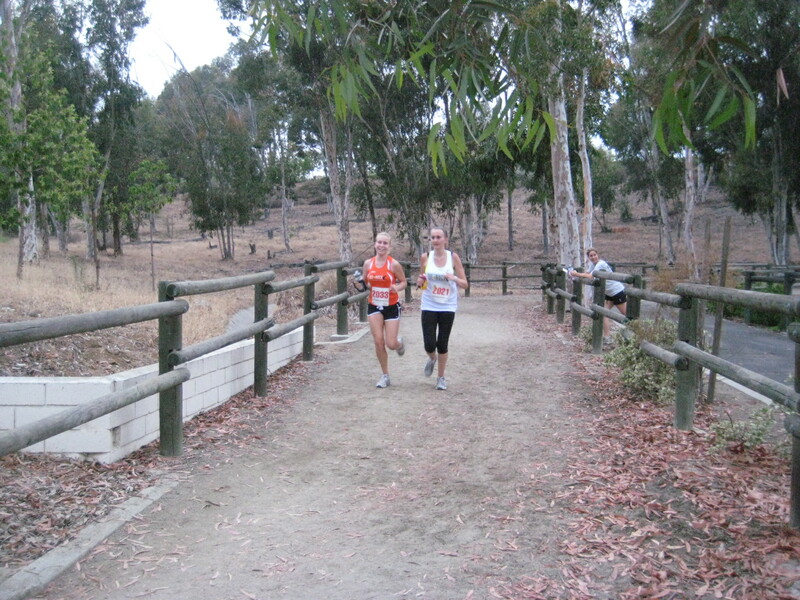 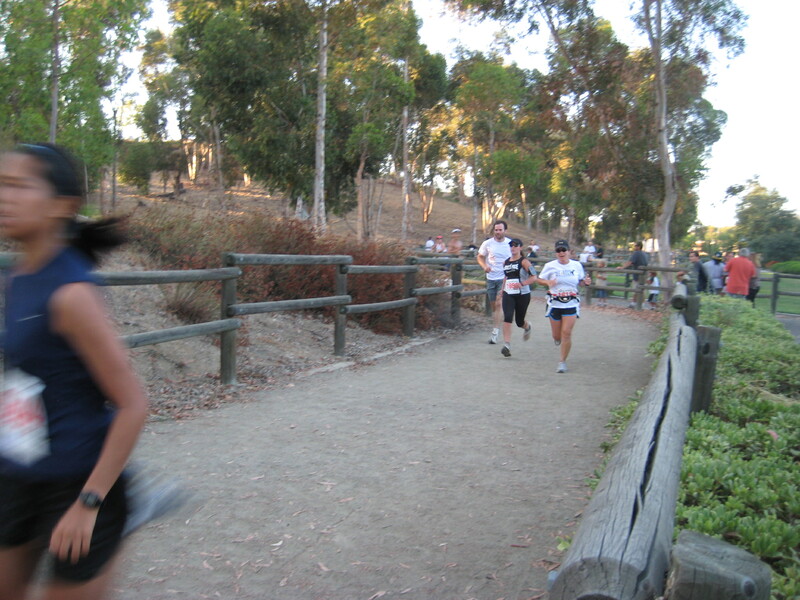 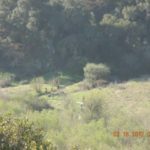 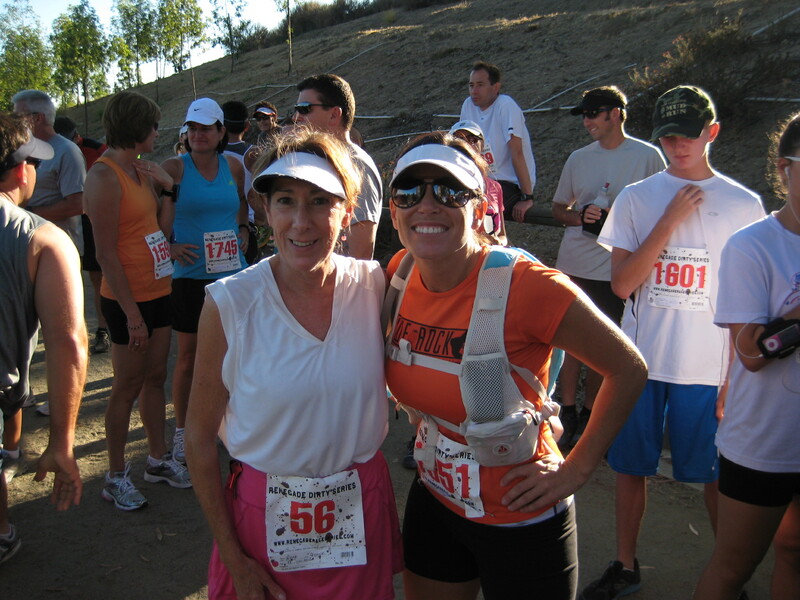 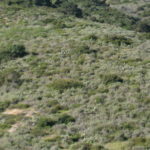 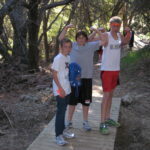 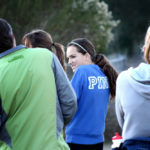 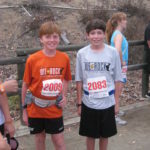 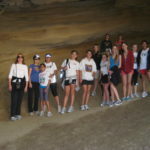 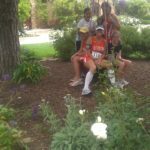 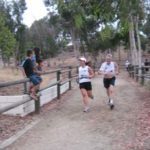 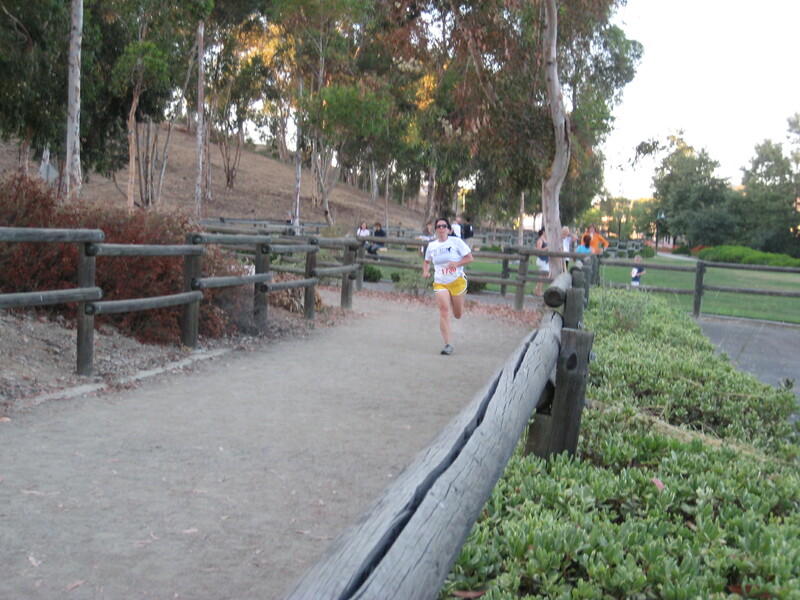 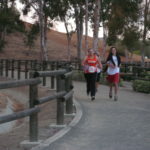 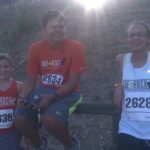 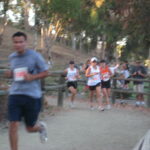 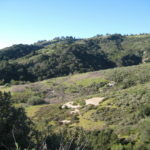 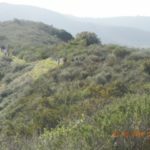 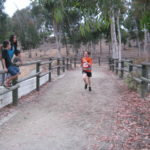 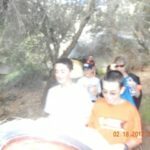 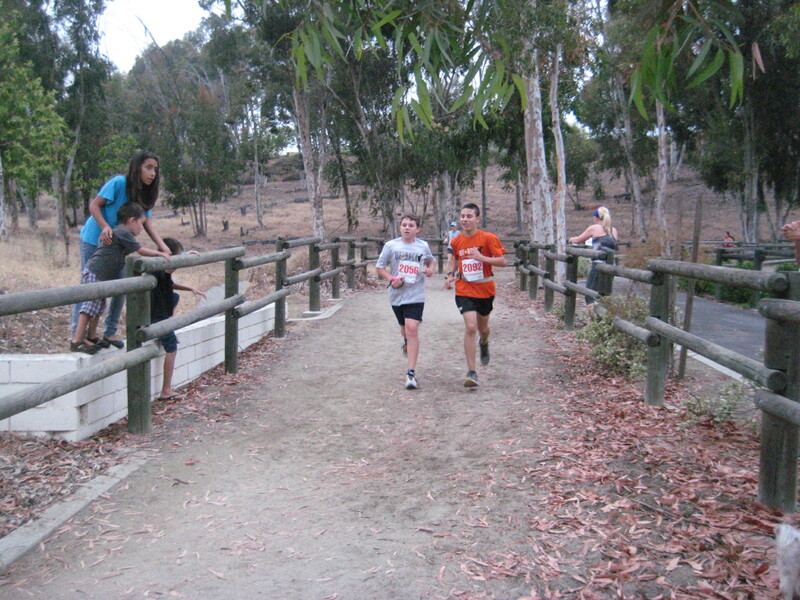 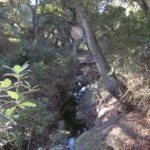 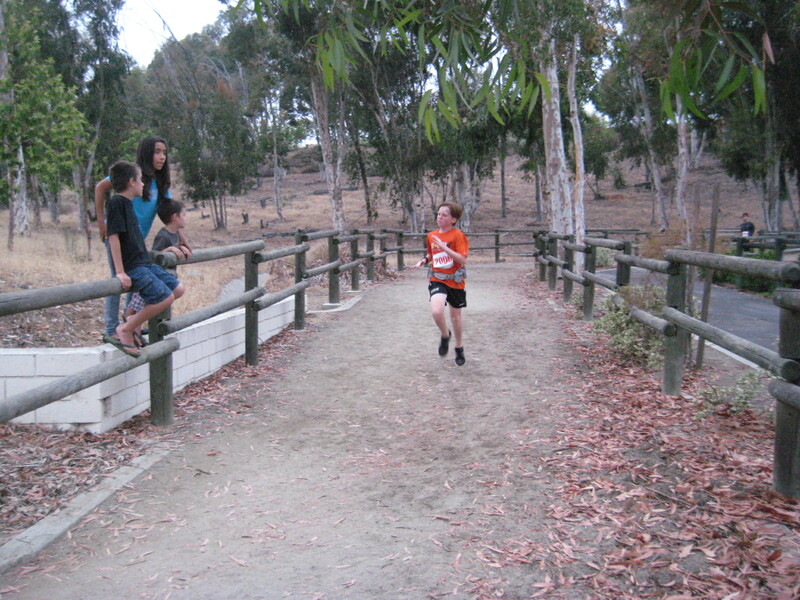 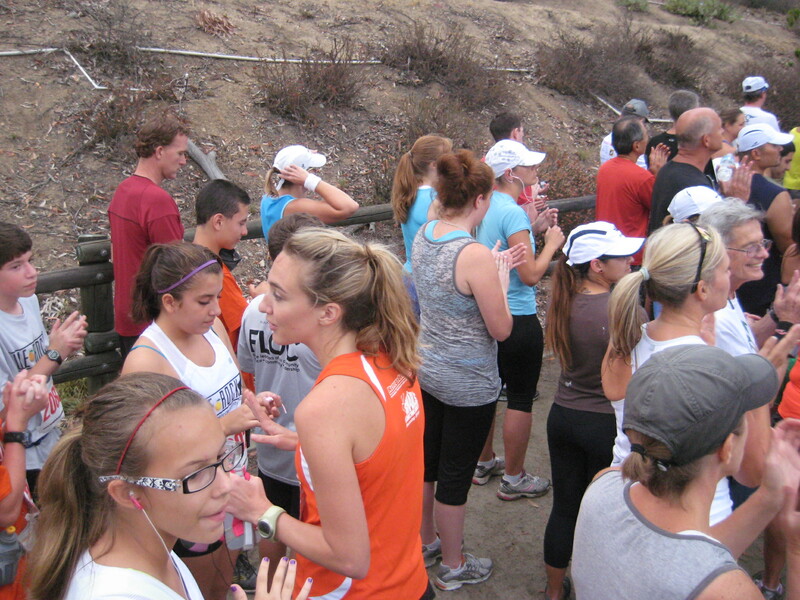 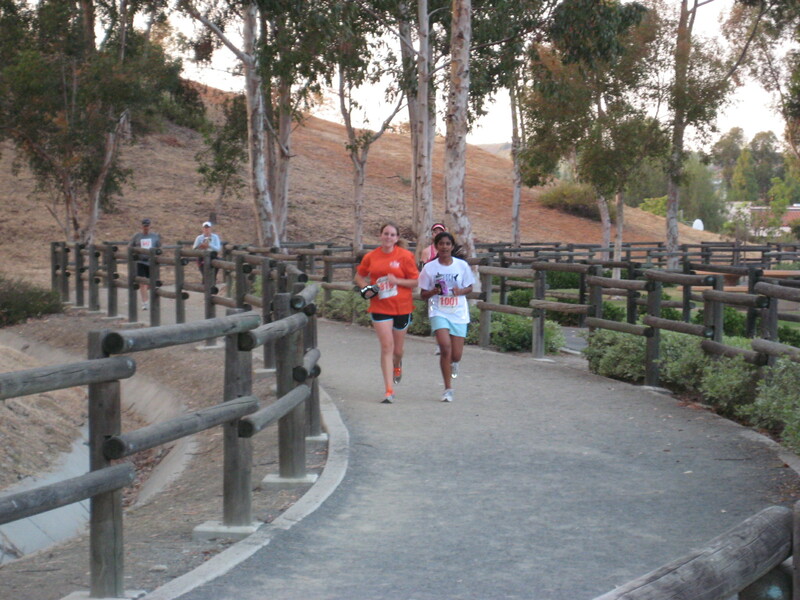 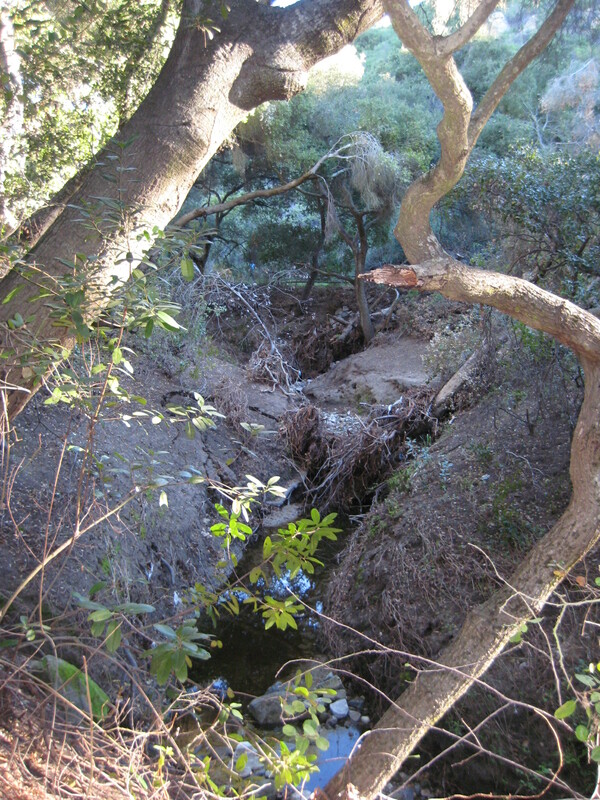 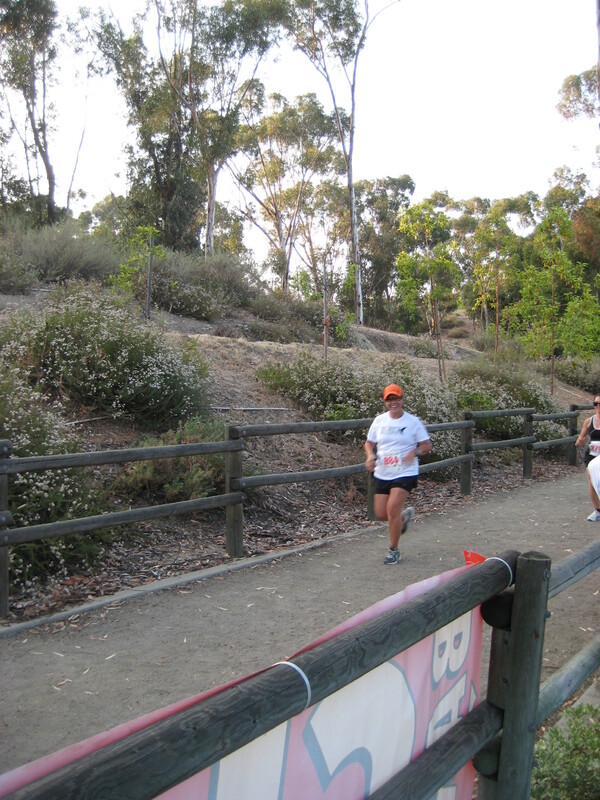 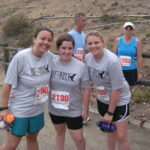 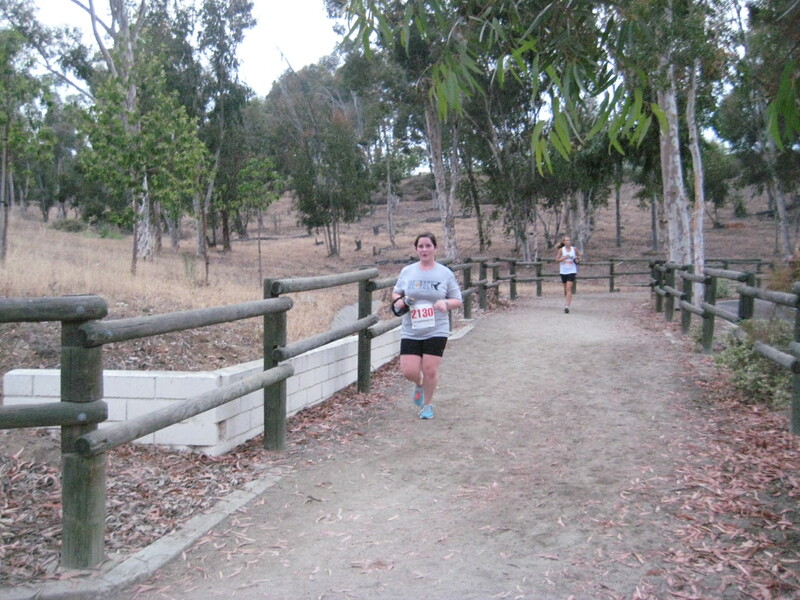 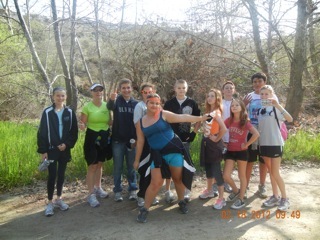 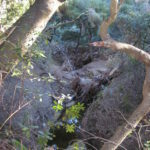 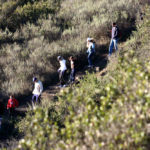 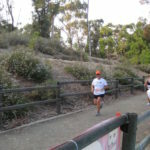 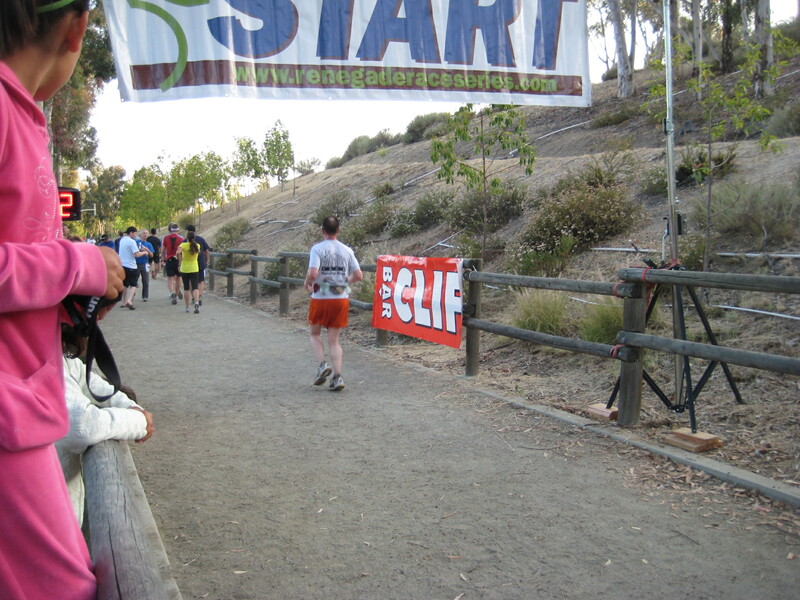 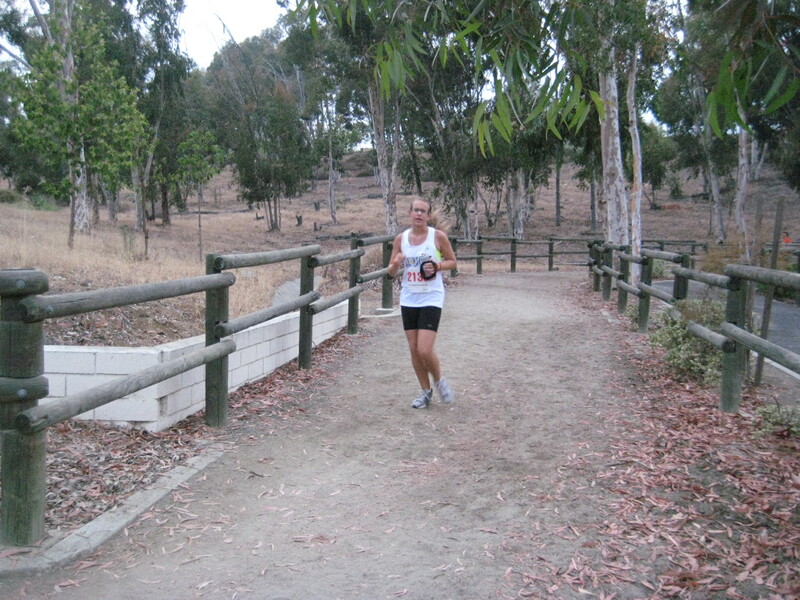 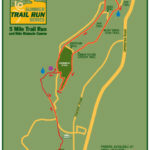 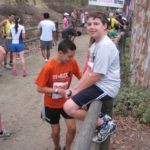 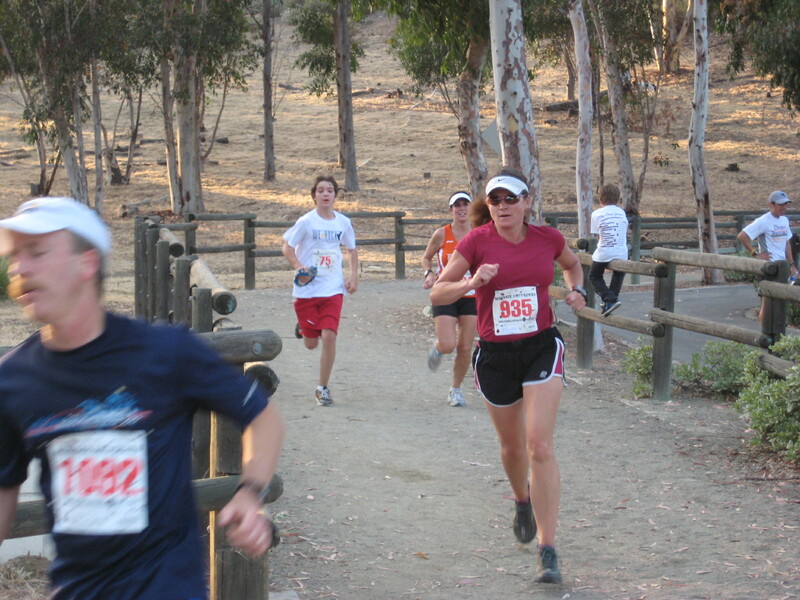 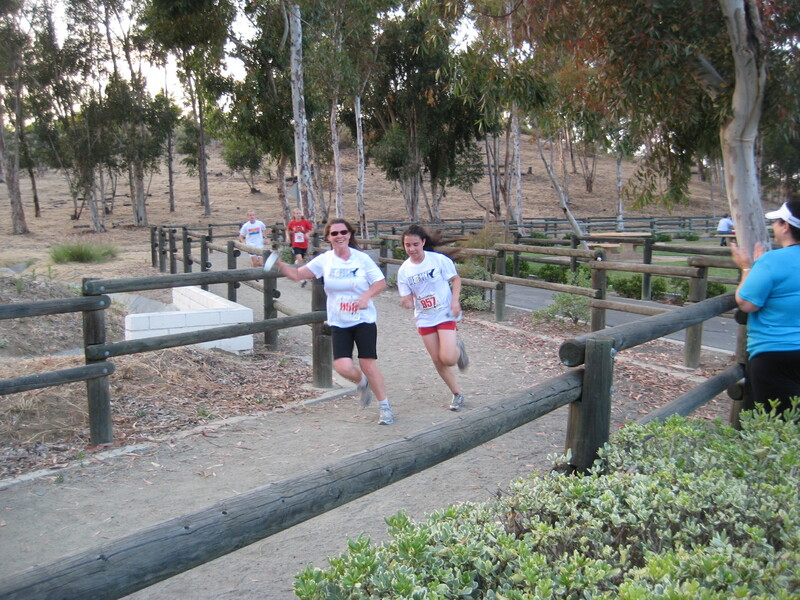 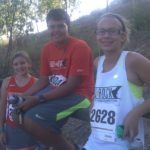 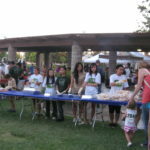 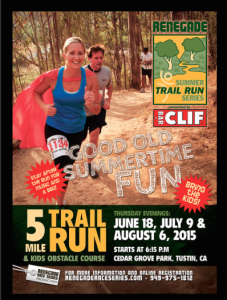 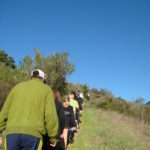 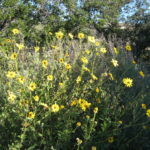 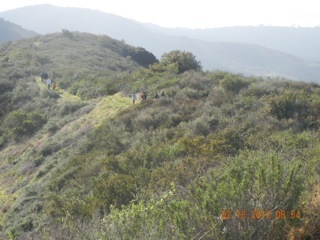 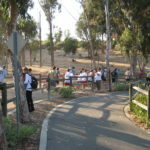 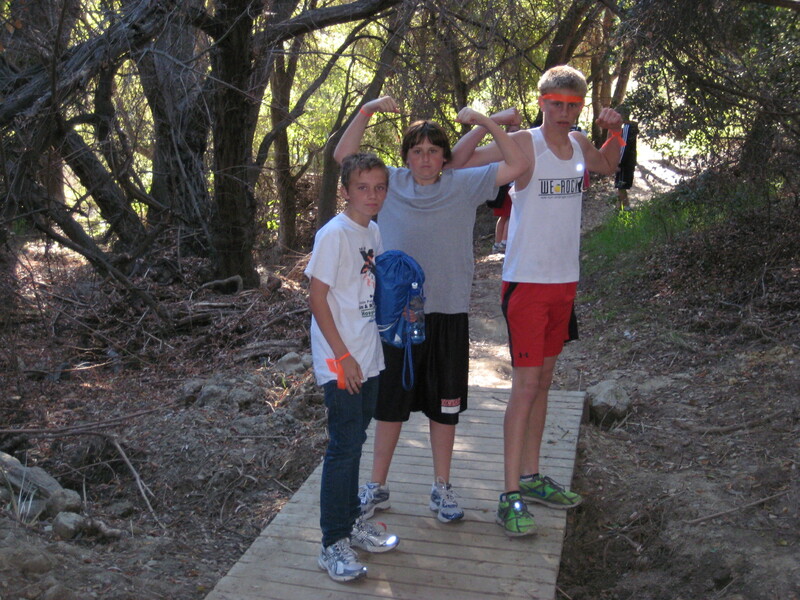 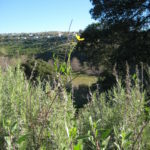 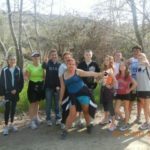 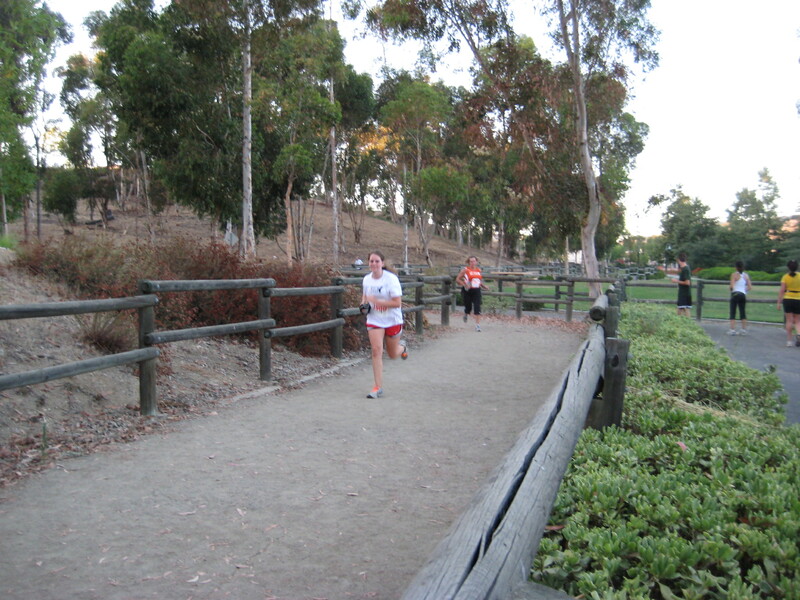 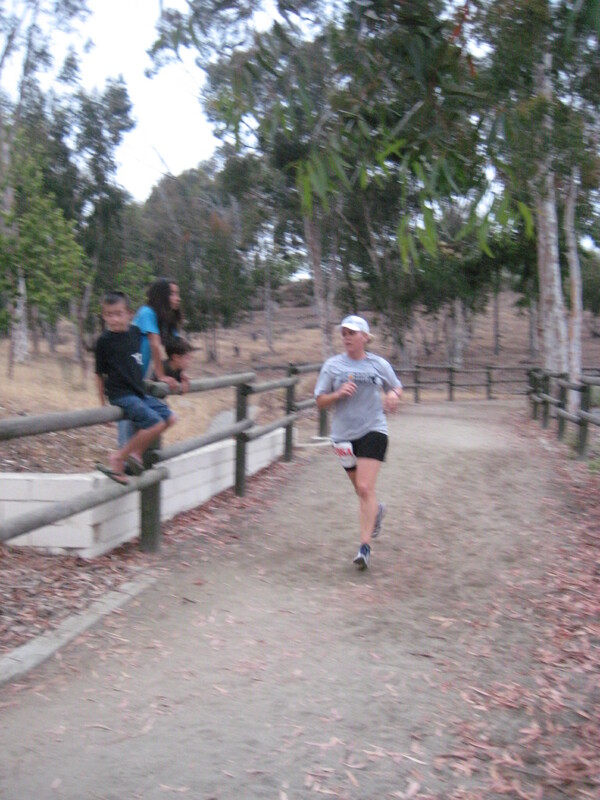 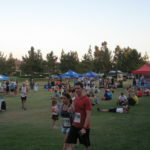 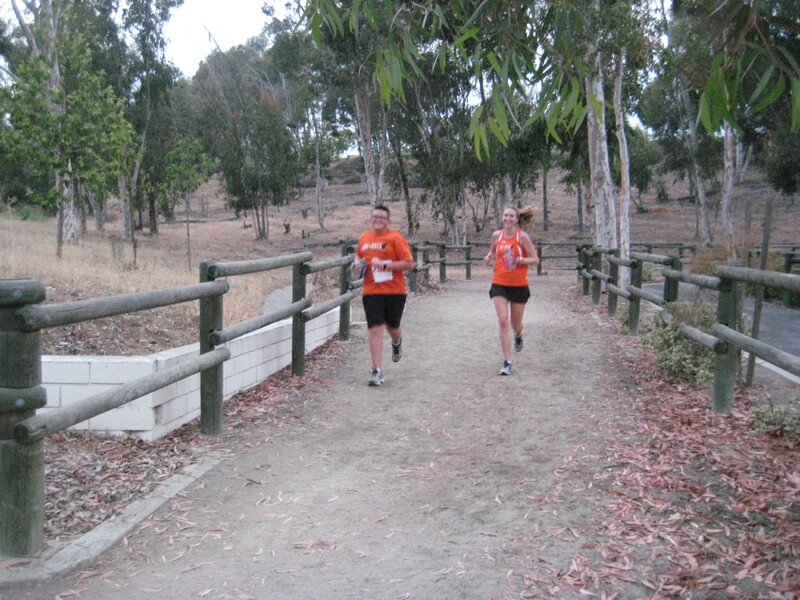 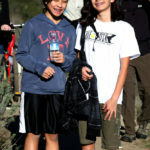 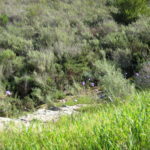 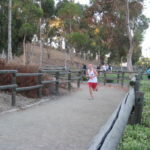 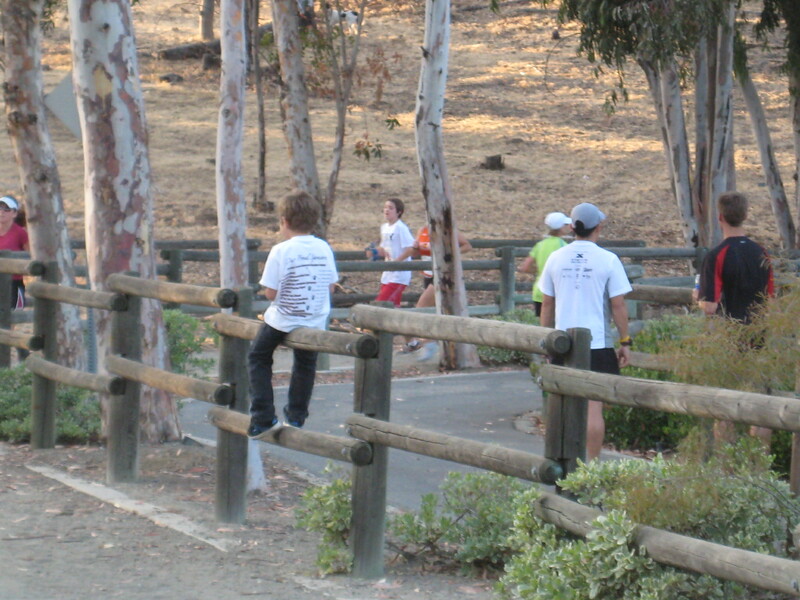 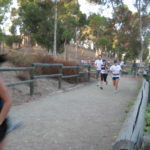 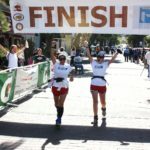 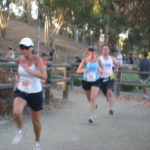 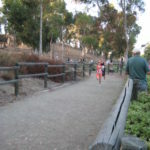 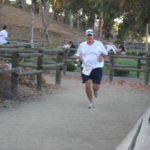 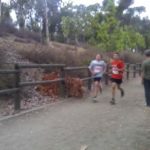 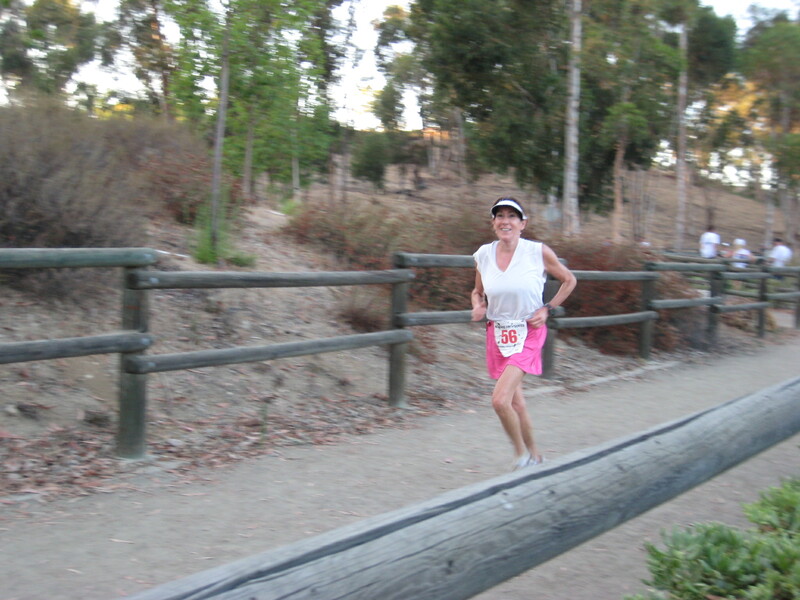 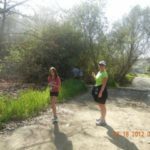 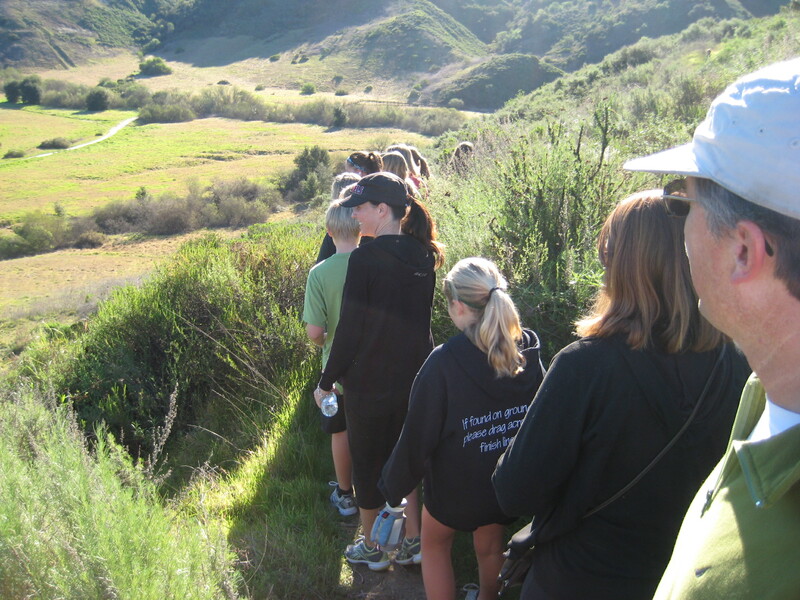 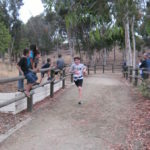 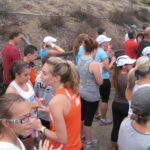 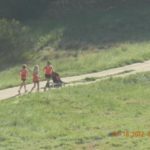 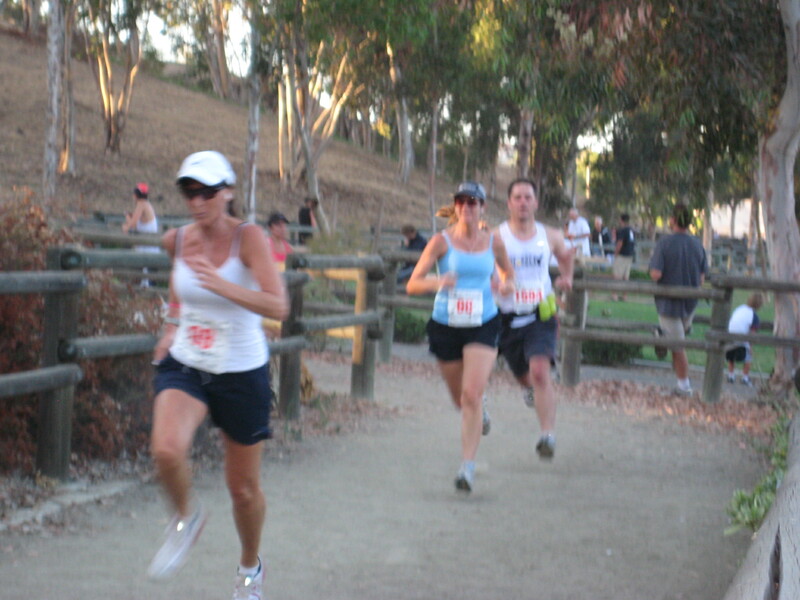 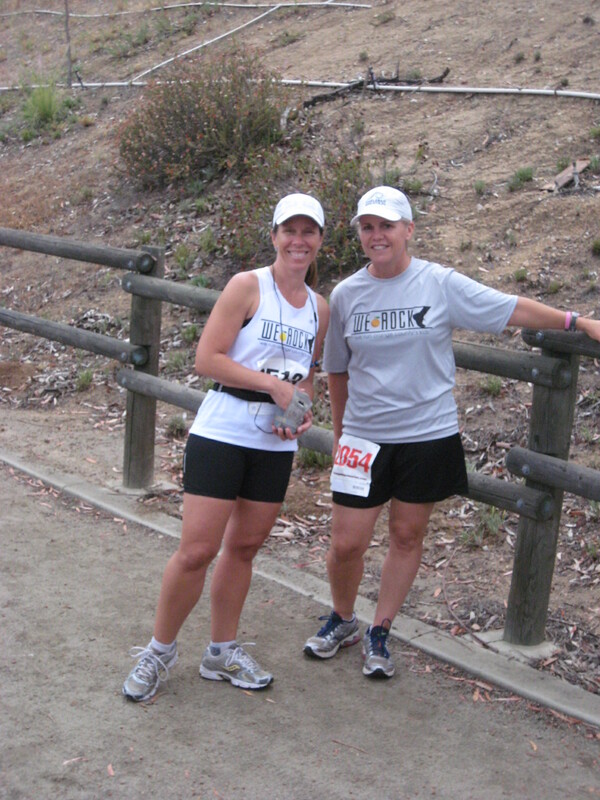 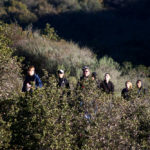 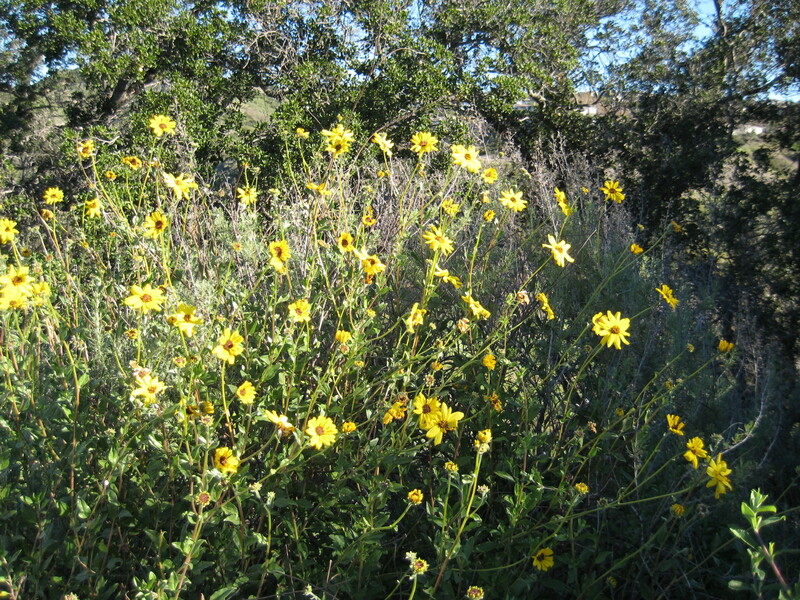 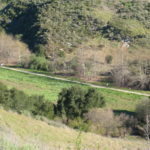 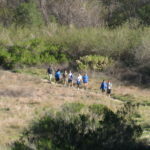 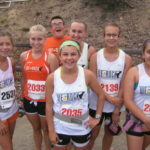 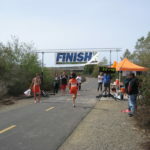 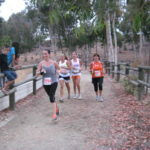 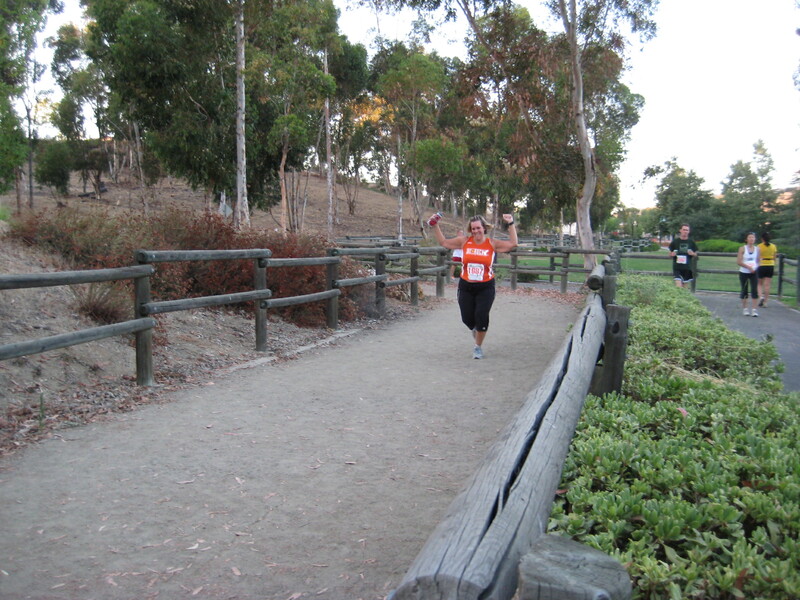 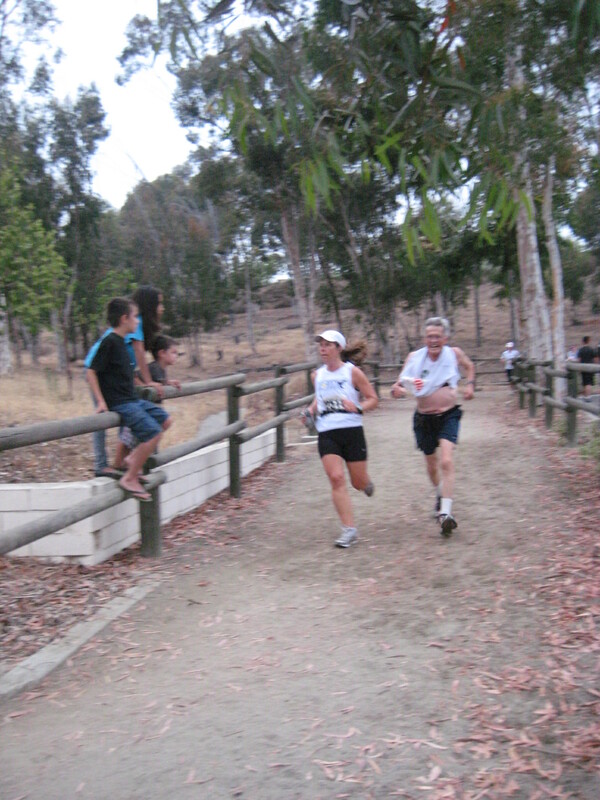 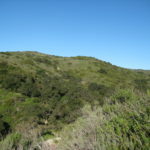 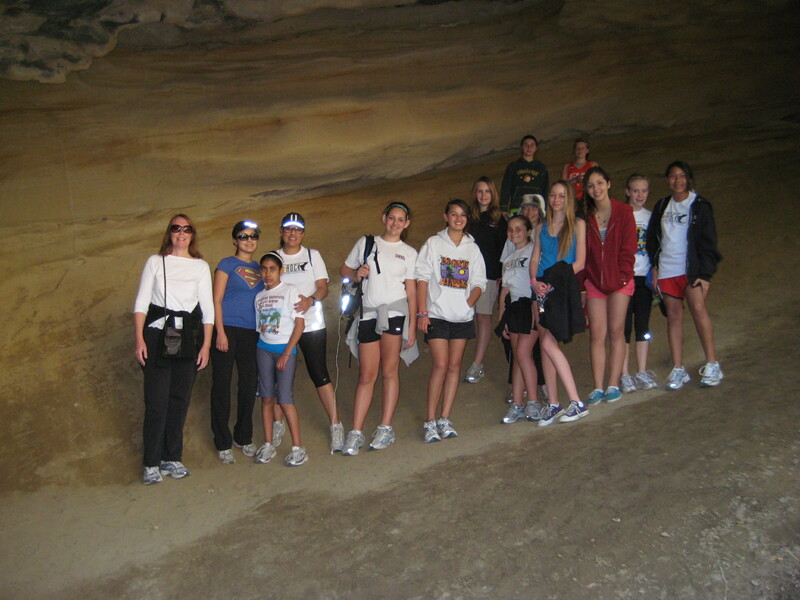 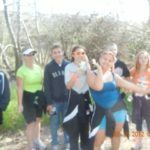 Peter’s Canyon Summer Trail Run Series Kicks Off 6/18! 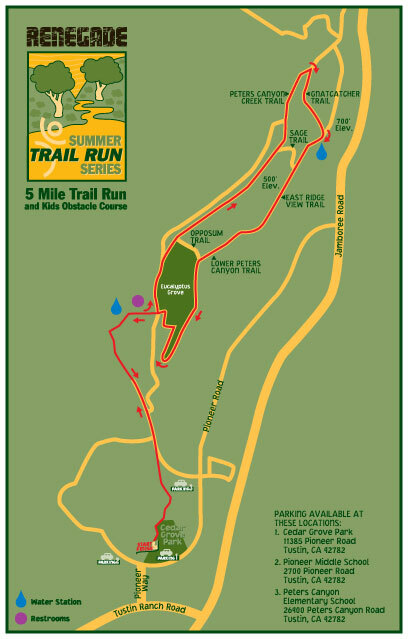 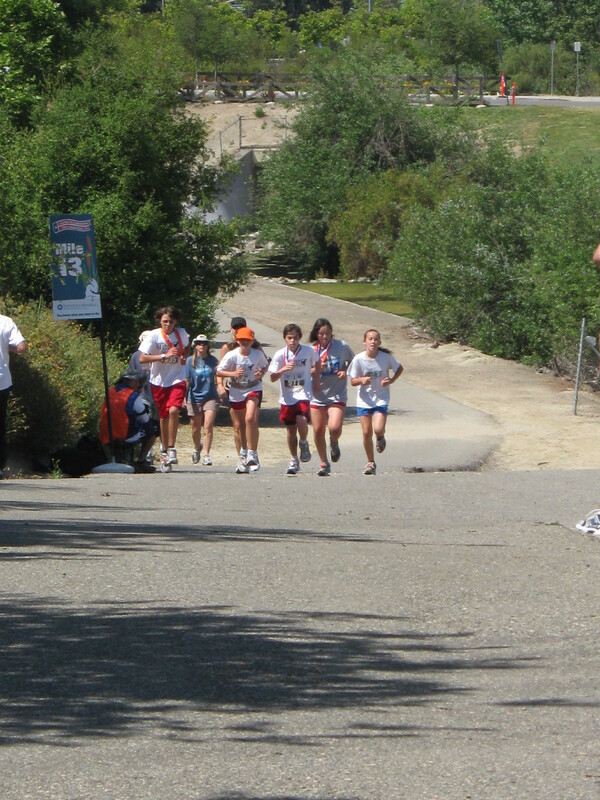 The Renegade Race Series for the 1st of 3 Peter’s Canyon summer trail runs is kicking off Thursday June 18th at 6pm! 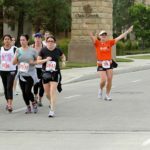 Are you signed up? 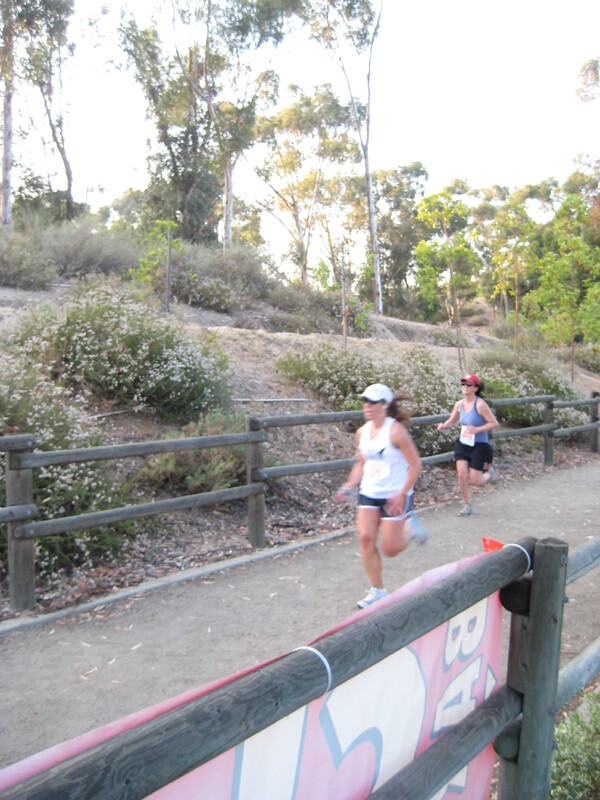 Get out and run those hills hills hills! 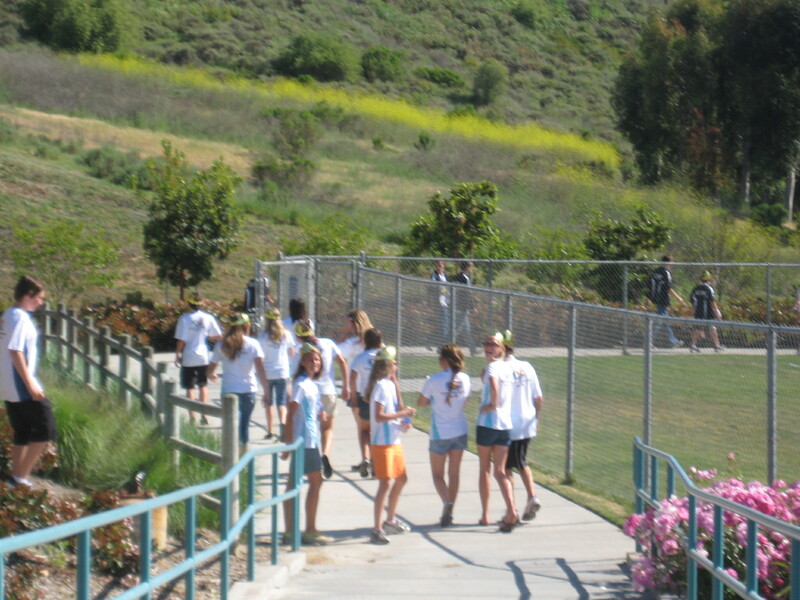 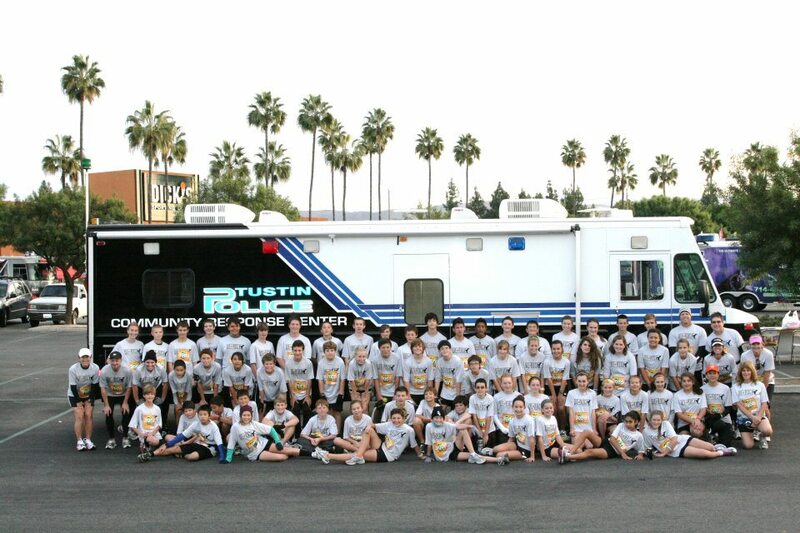 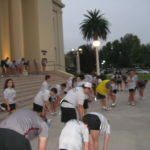 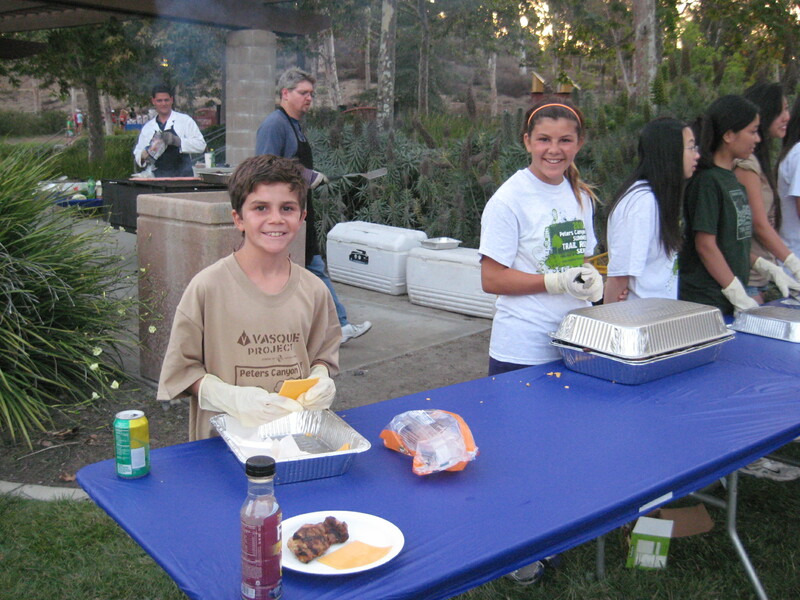 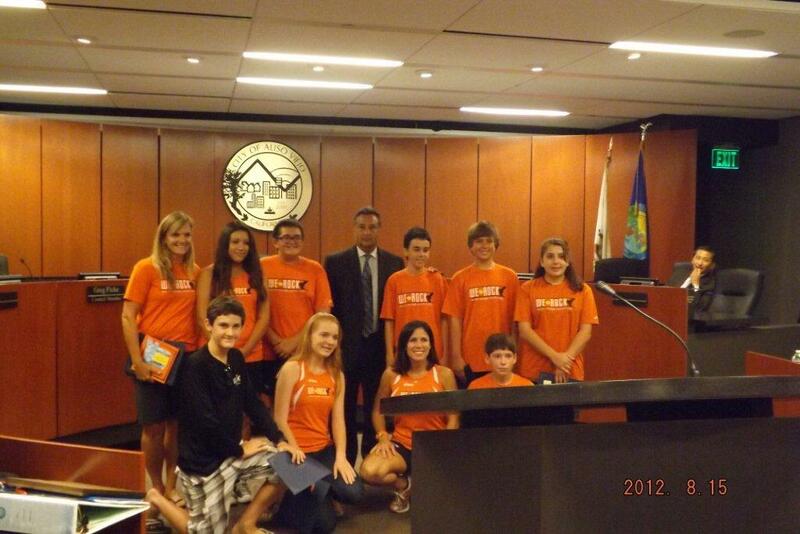 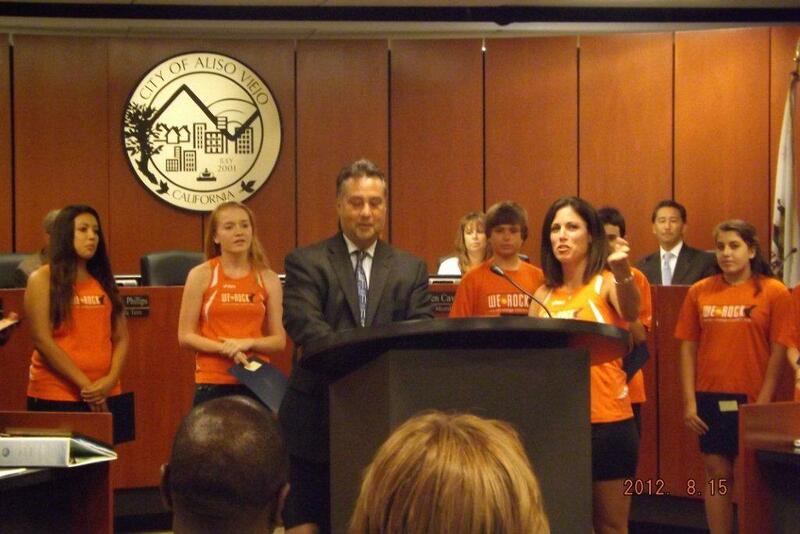 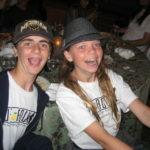 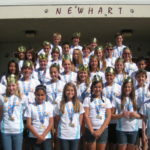 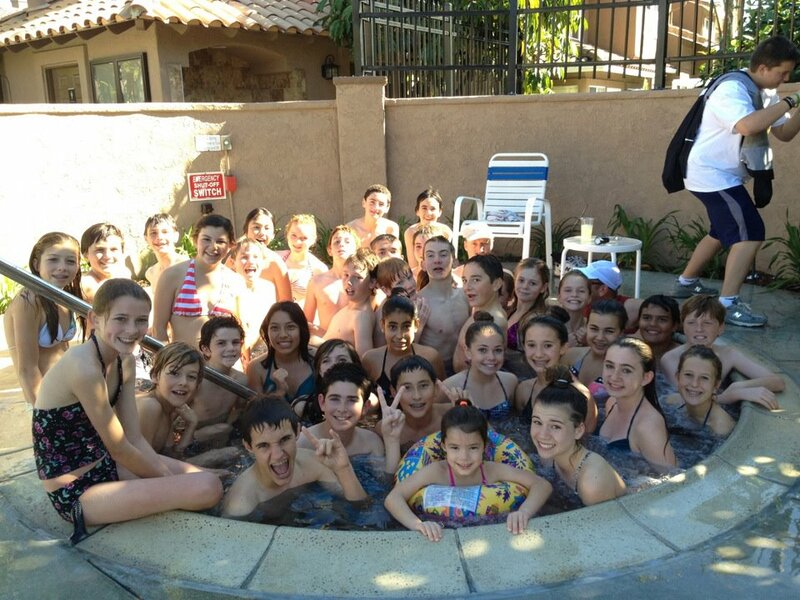 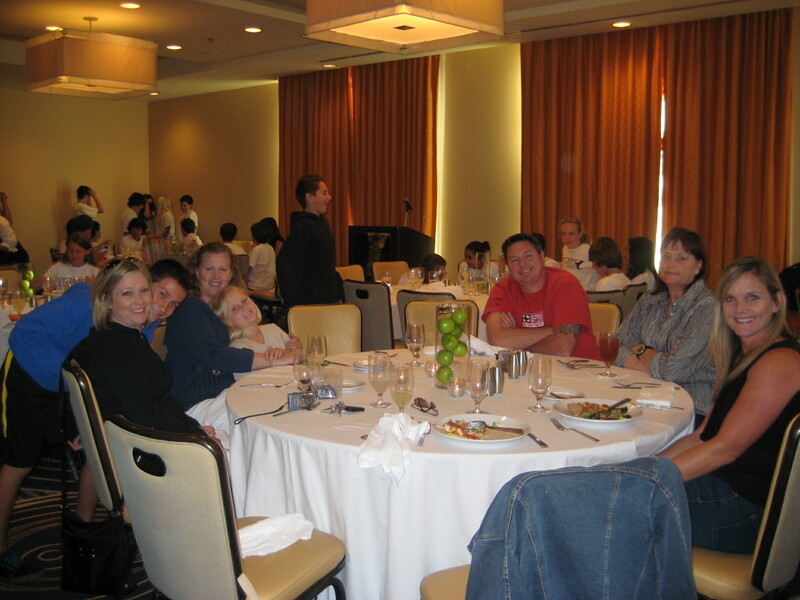 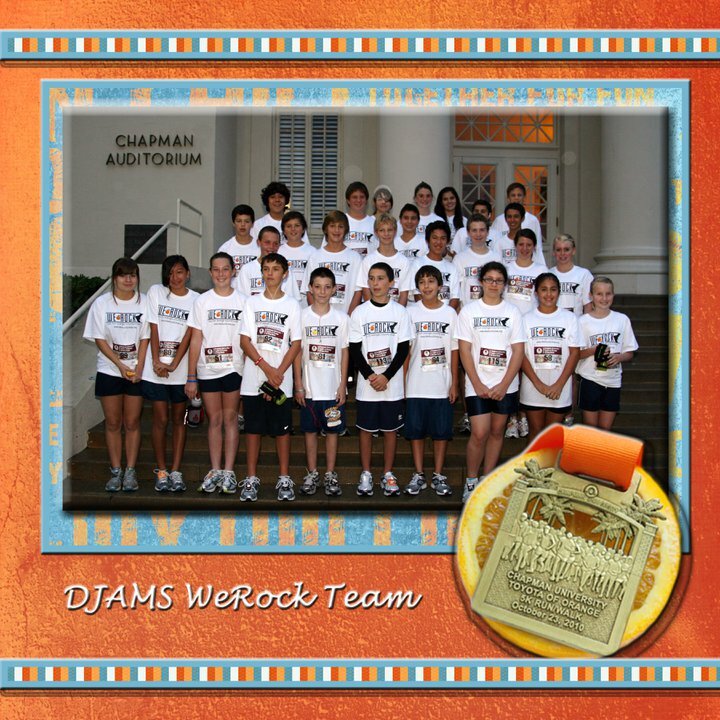 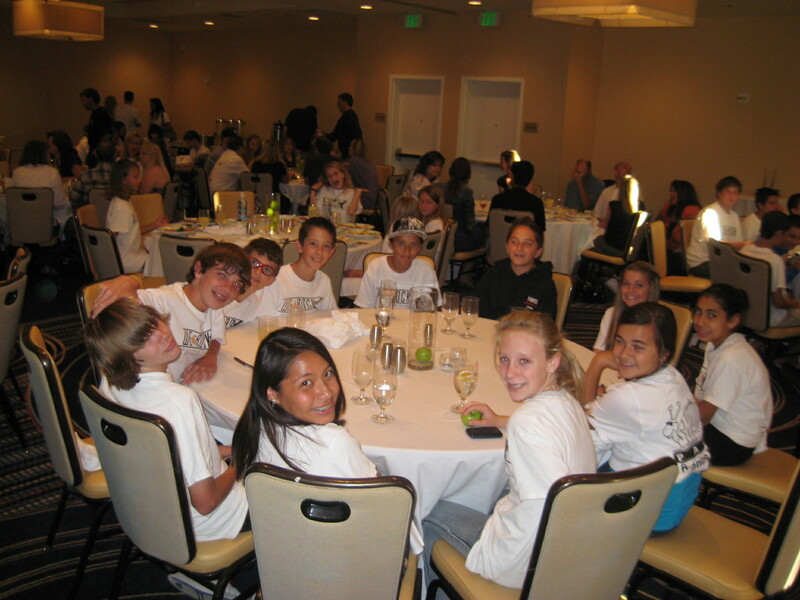 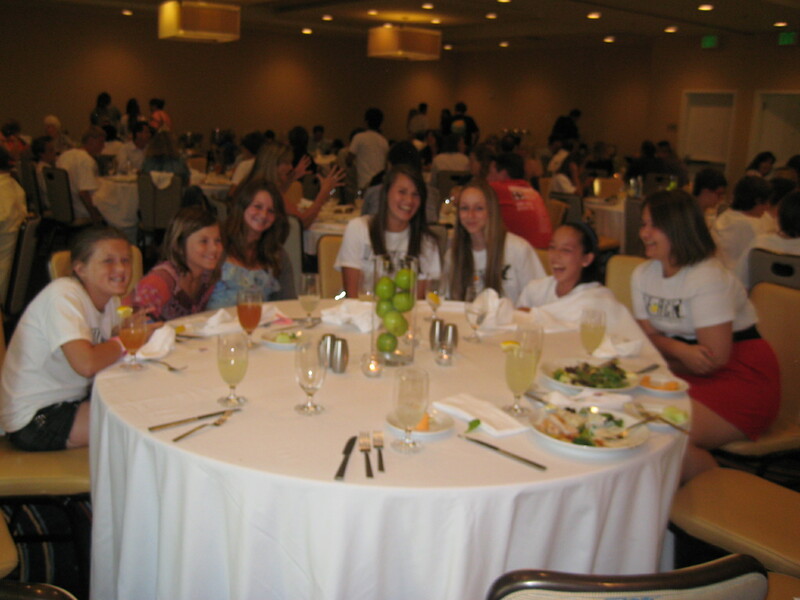 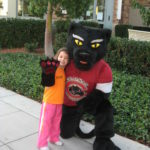 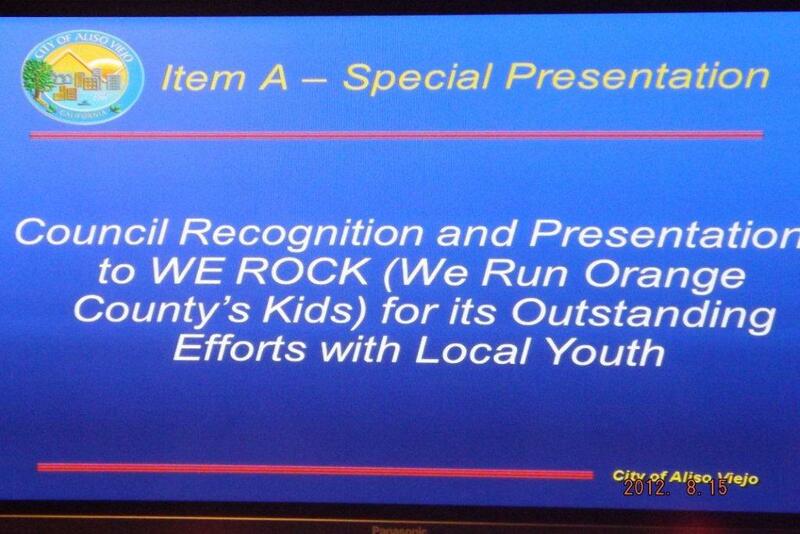 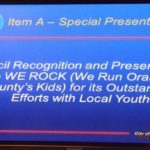 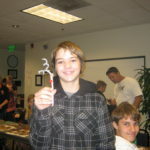 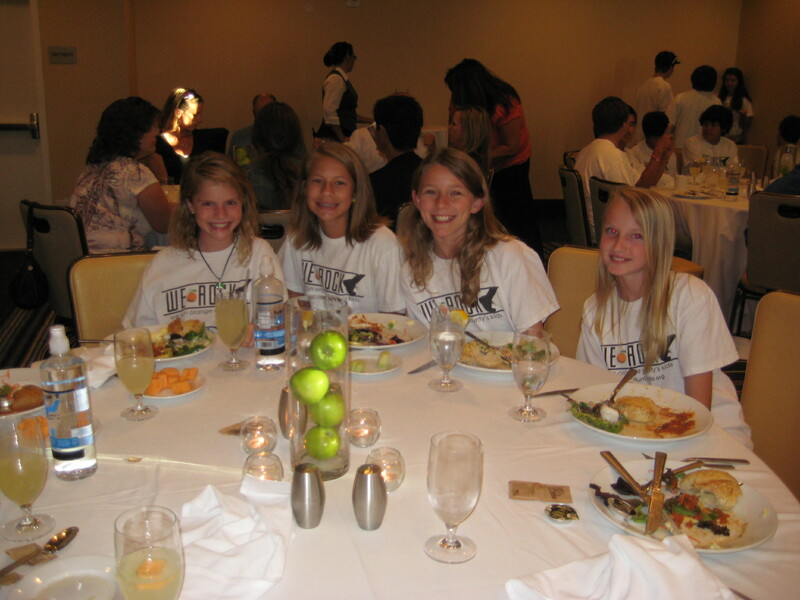 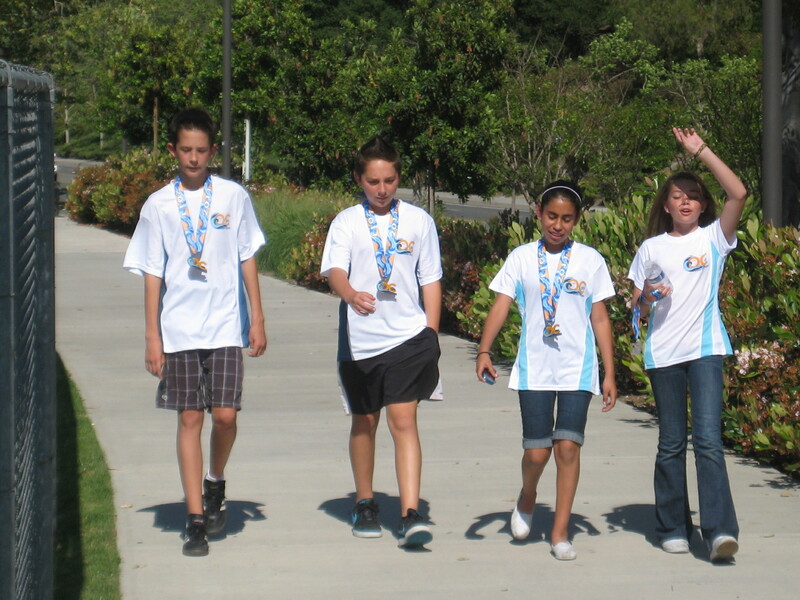 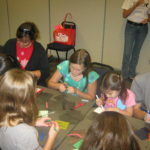 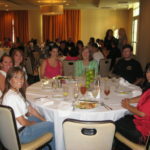 WeROCK participants from Aliso Viejo were invited to receive special honors from the Mayor and City Council. 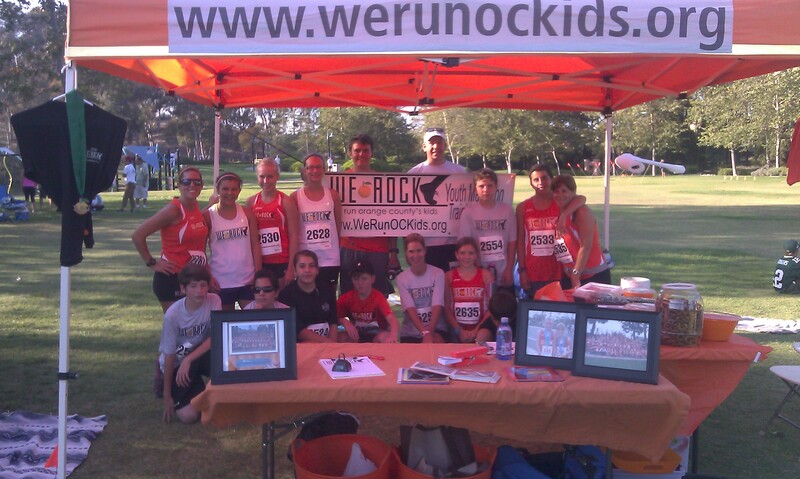 Tonight was a perfect end to the WeROCK Summer program. 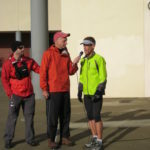 We completed race #3 of the series and enjoyed our special guest Jonathon Prince. 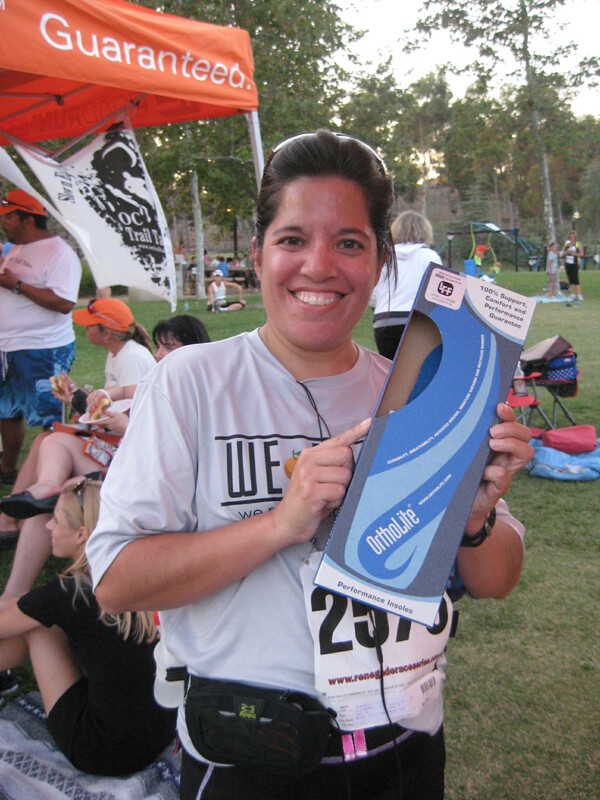 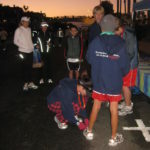 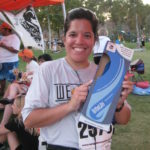 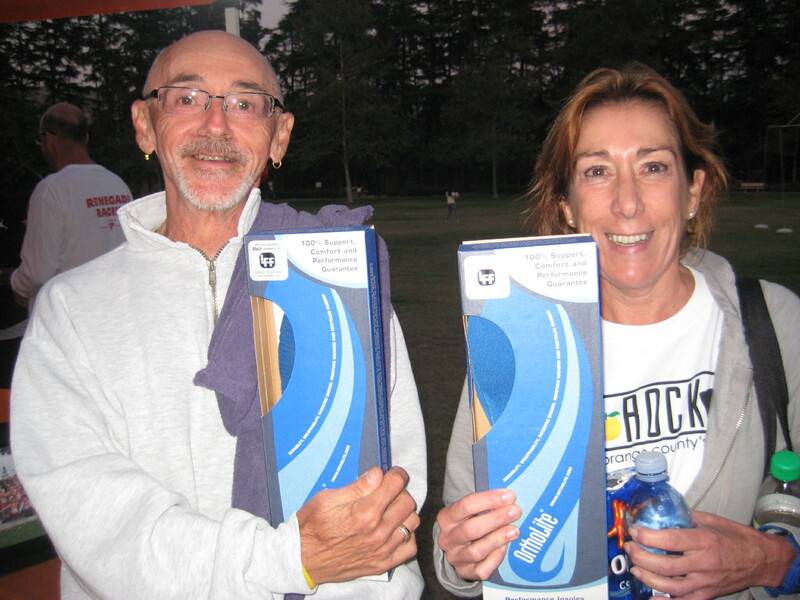 He brought Ortholite insoles to all of our runners. 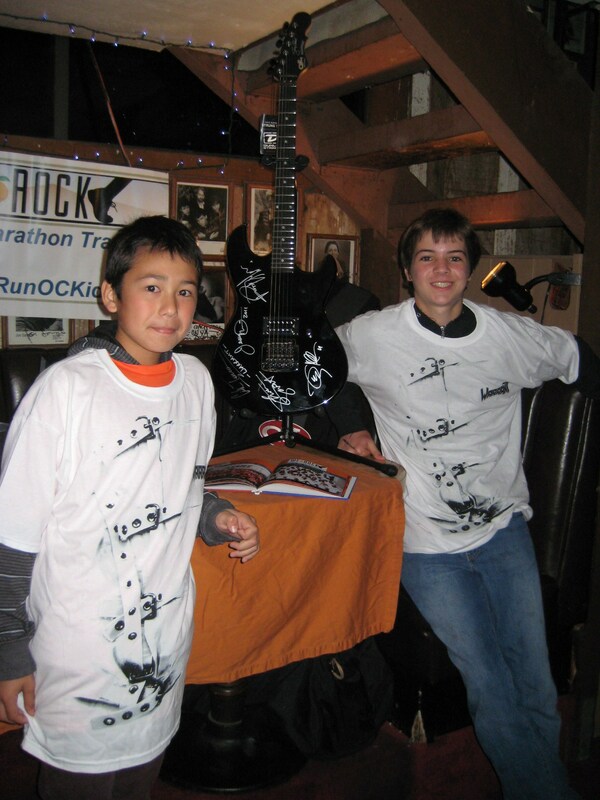 Thank you for always supporting WeROCK JP! 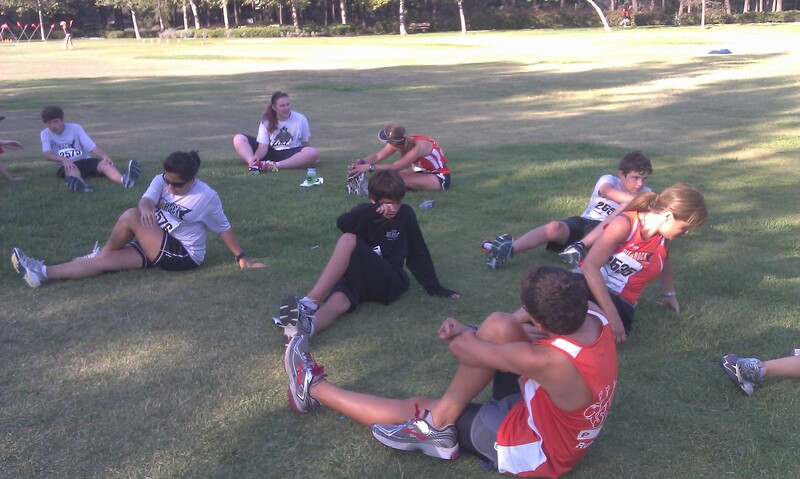 With another month of training under our shoes, we took over and dominated this course. 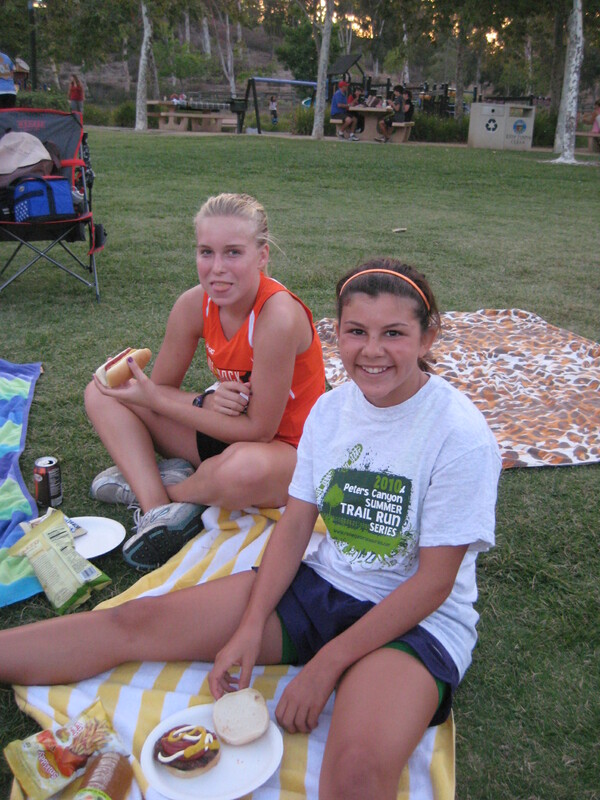 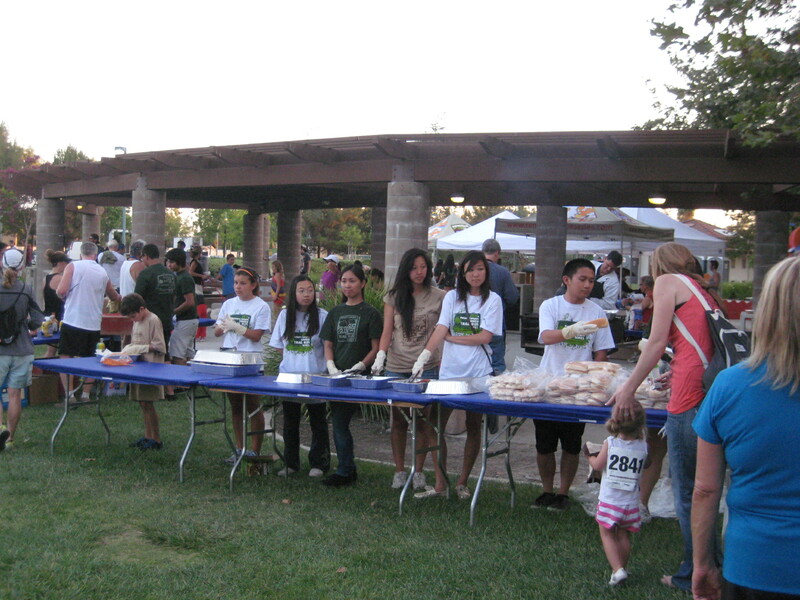 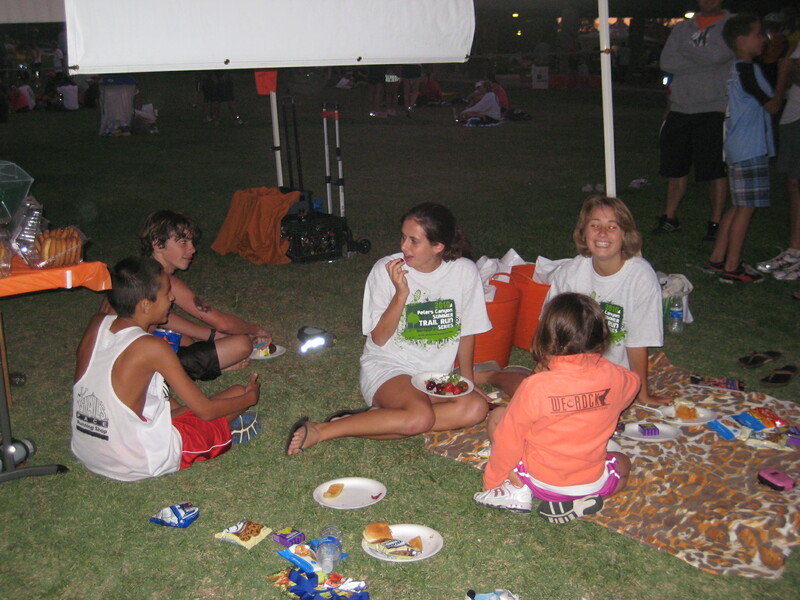 Thursday night race and BBQ is the perfect summer combination. 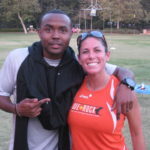 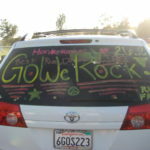 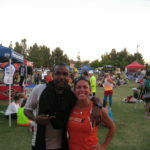 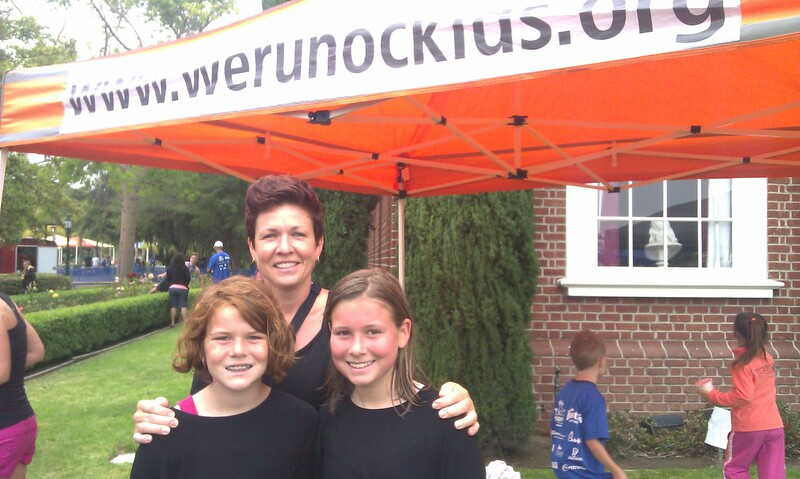 WeROCK out and about supporting our runners and getting to know the community. 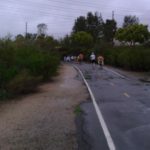 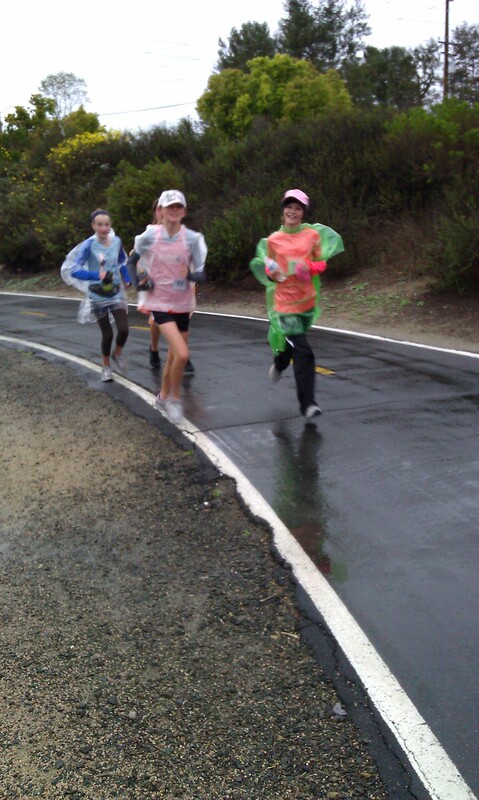 We like running in the rain so much that we decided to do it again. 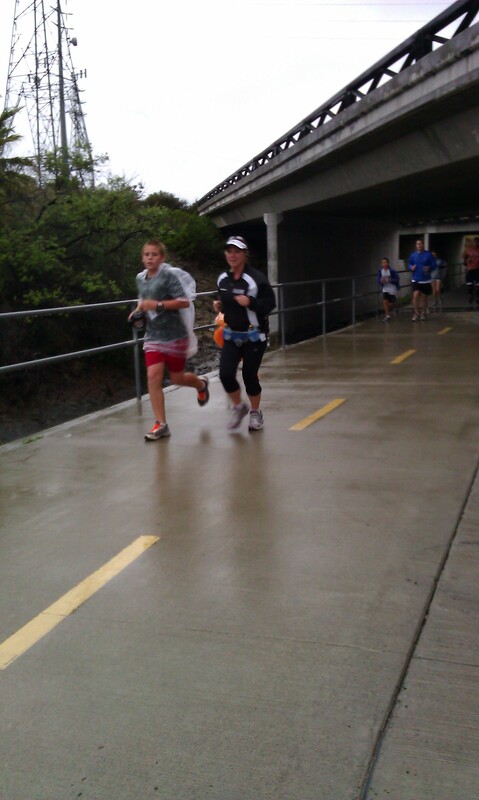 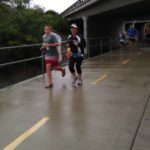 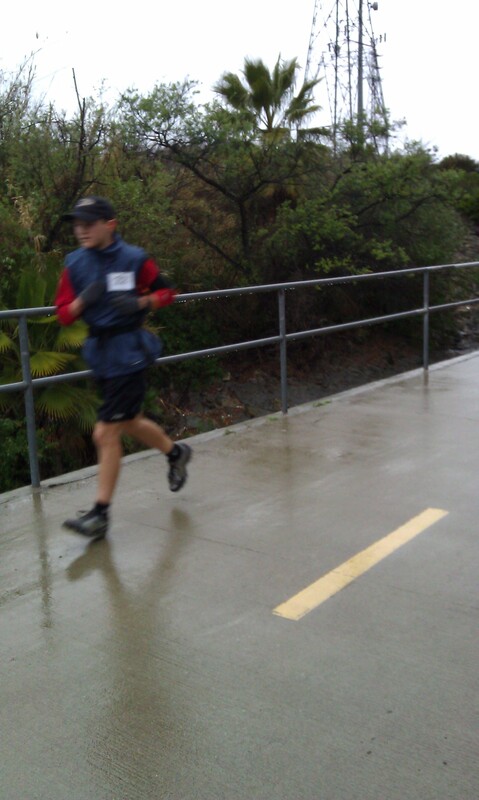 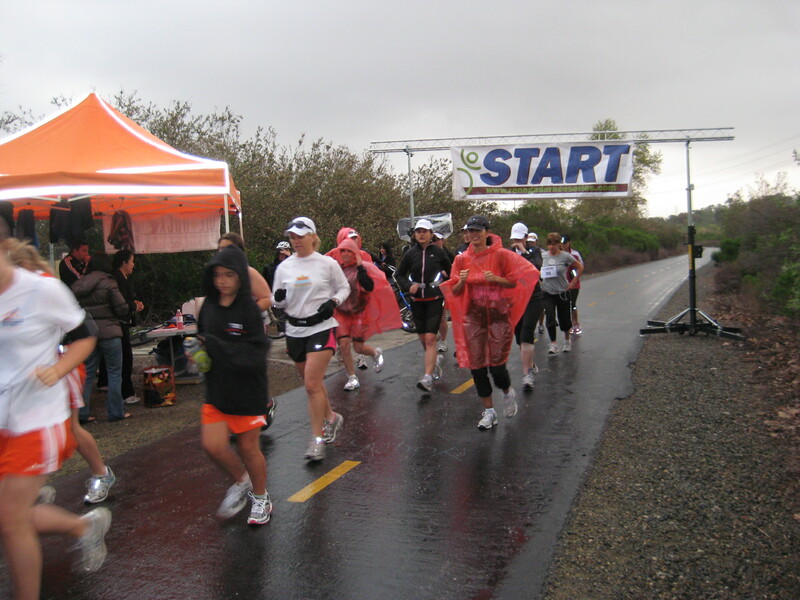 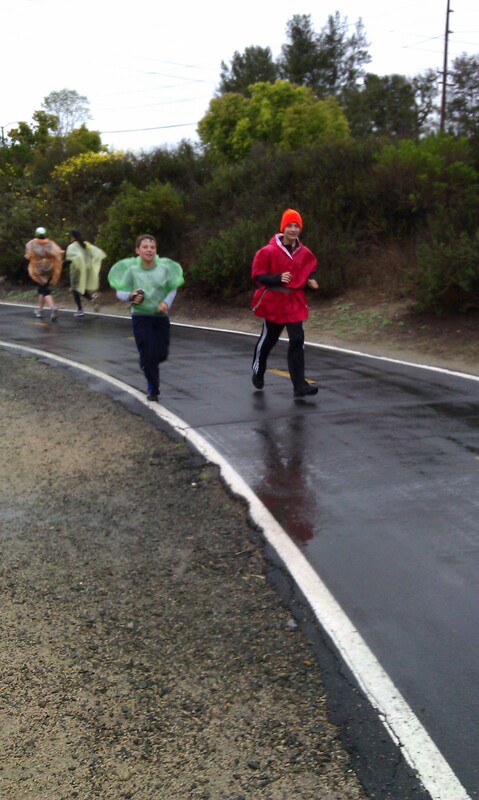 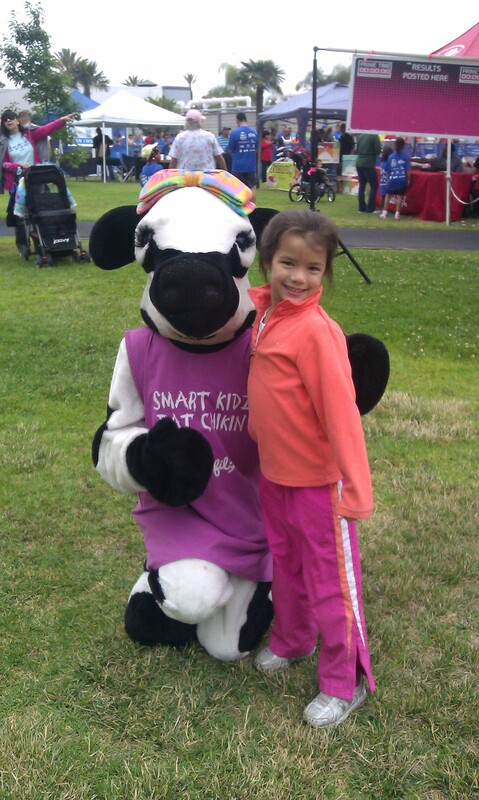 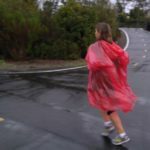 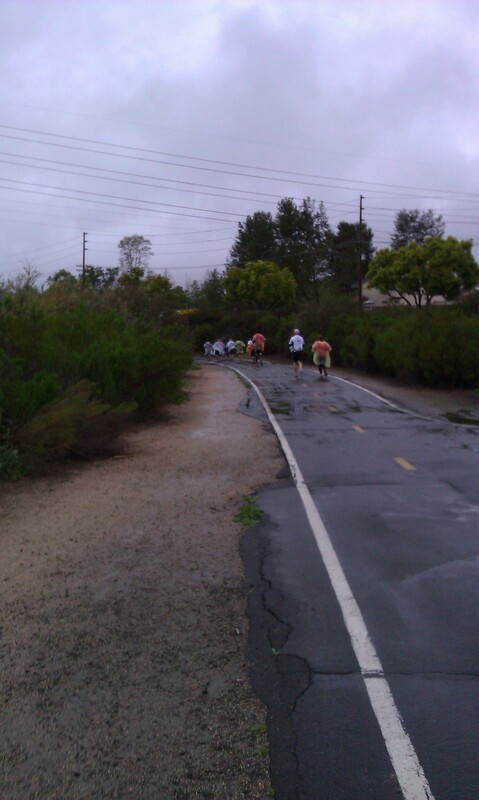 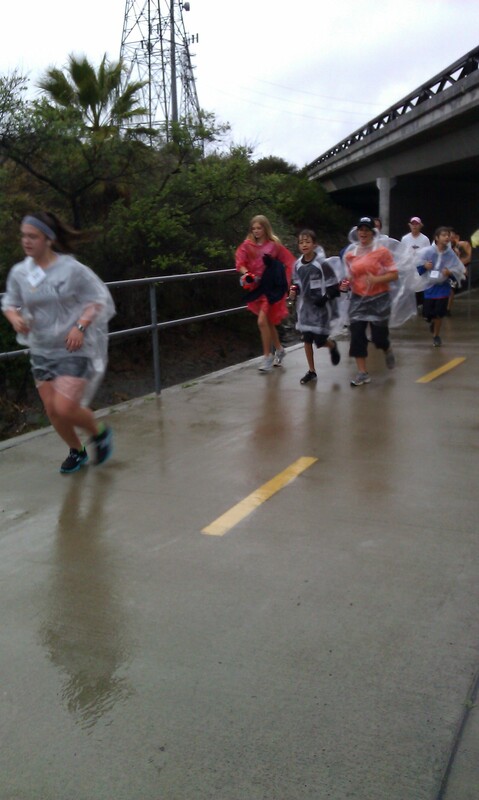 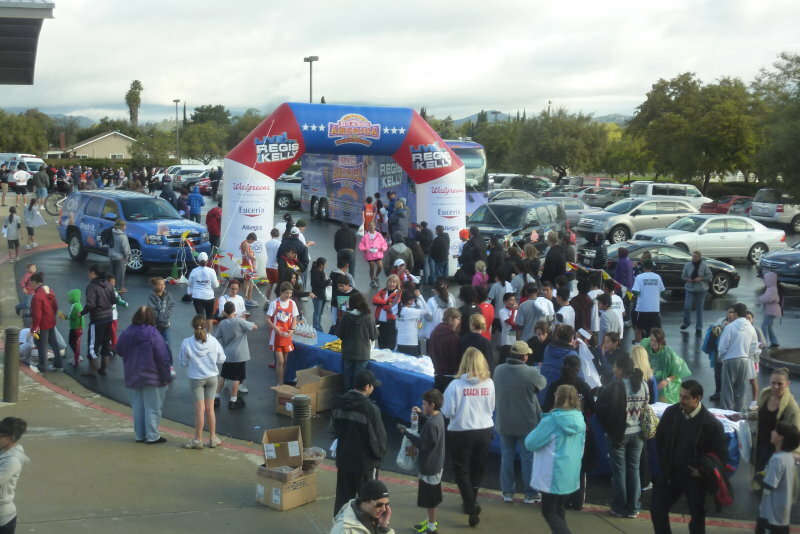 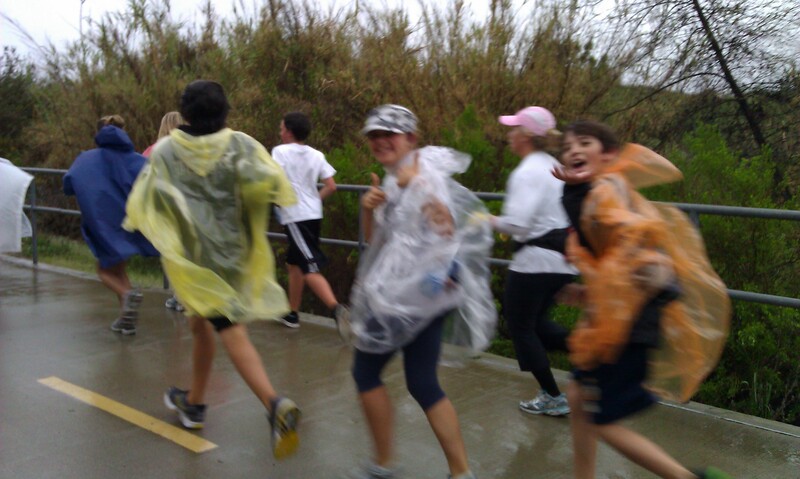 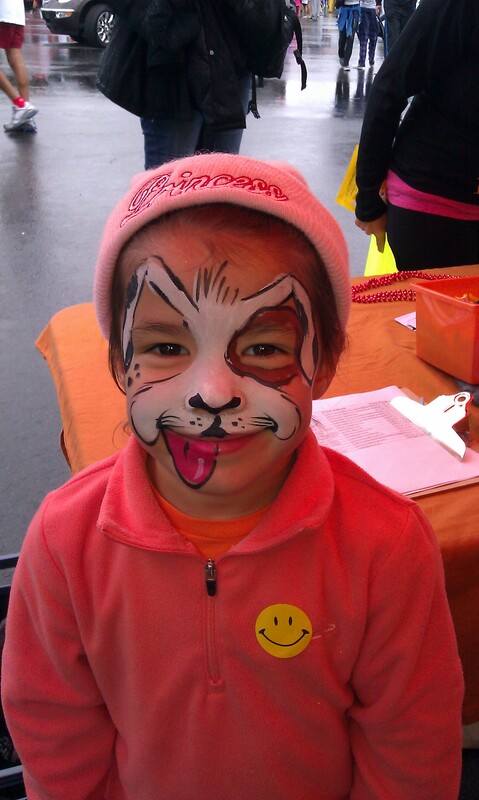 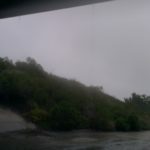 Rain or shine….it’s running time! 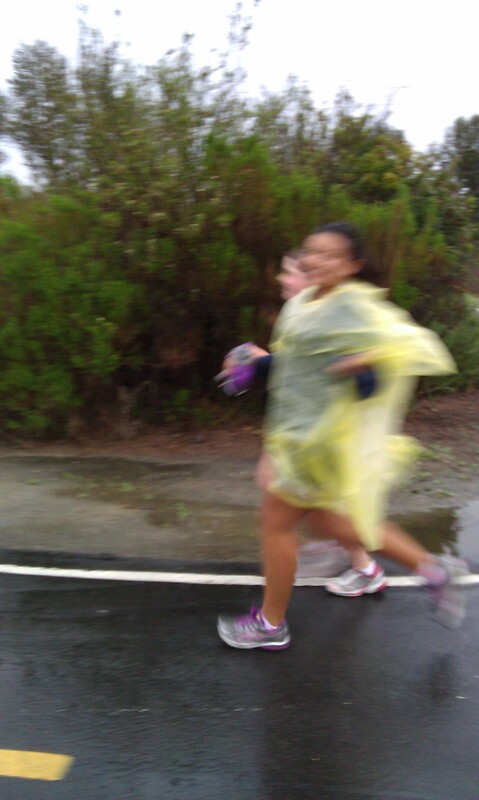 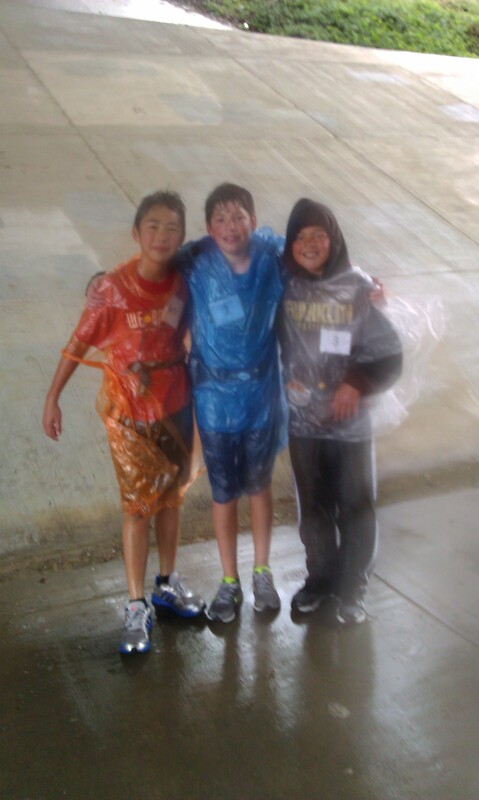 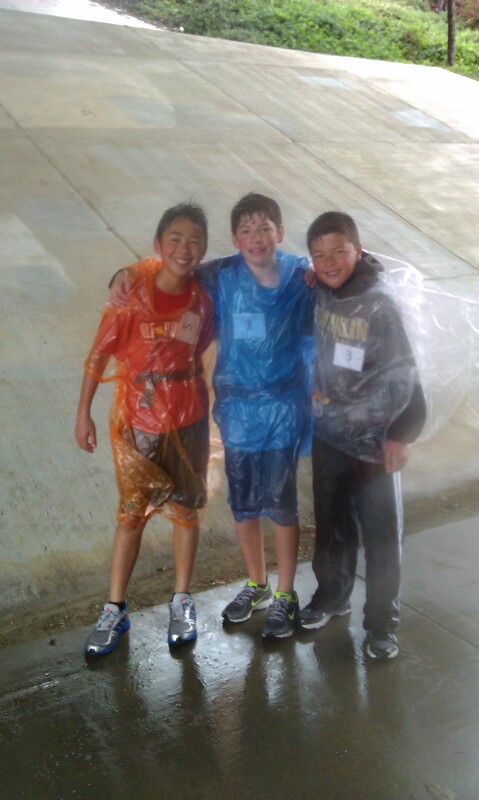 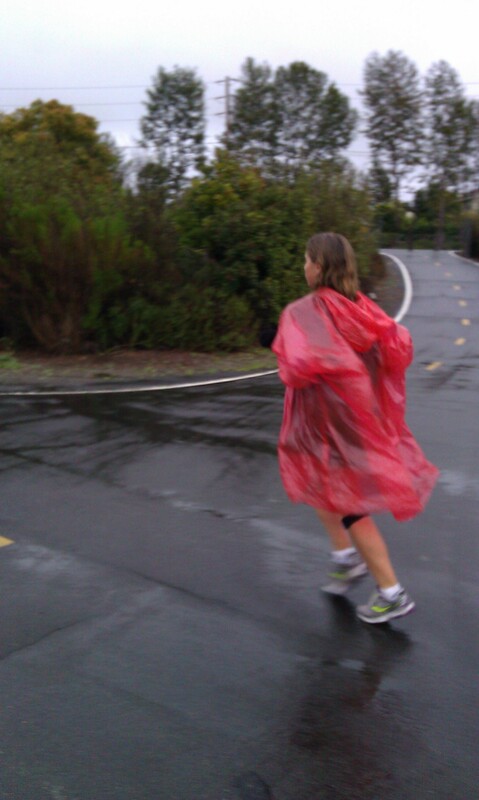 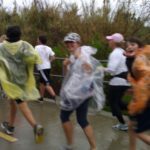 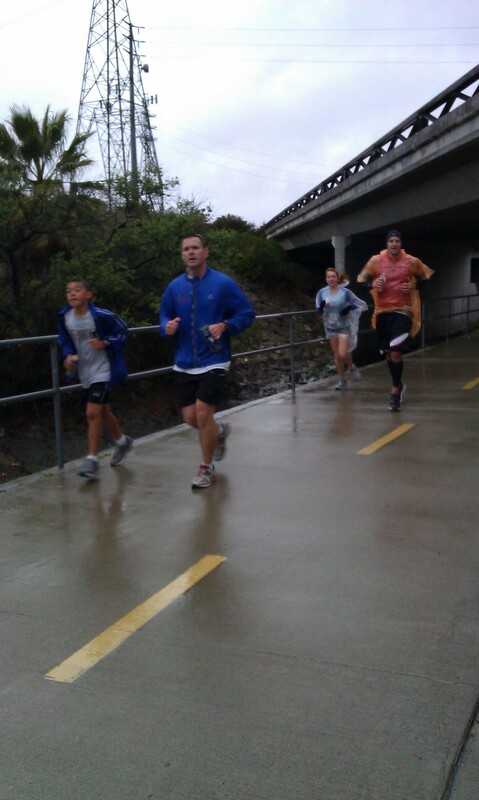 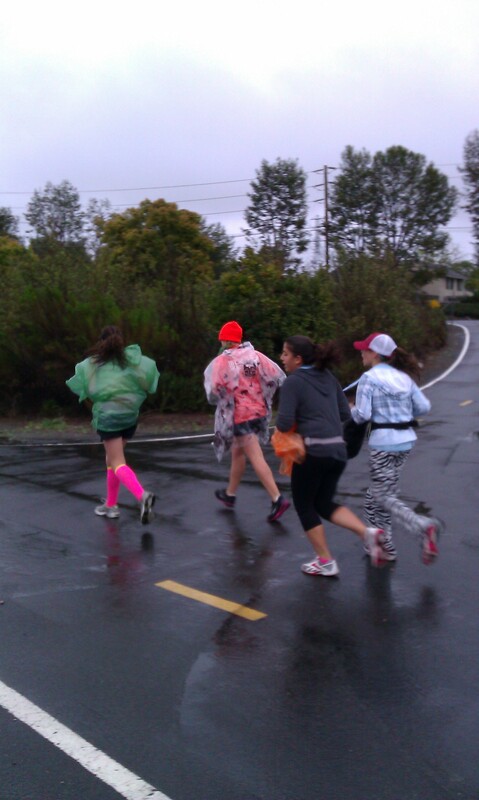 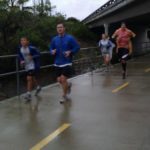 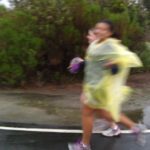 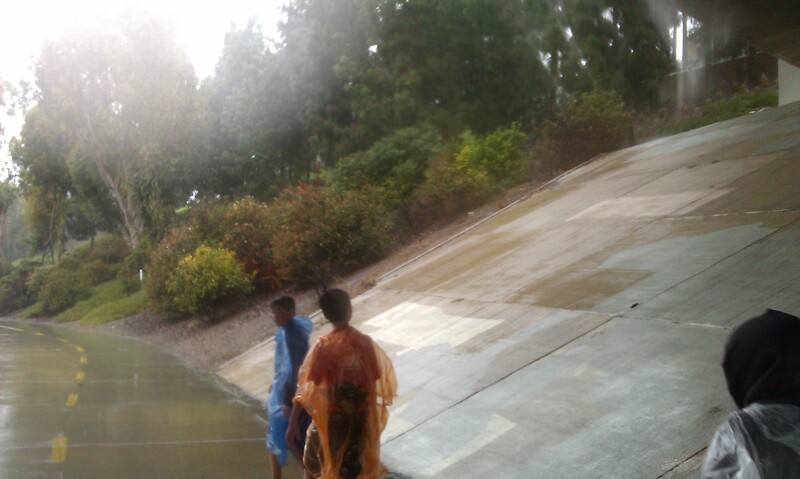 We run in the rain because we can! 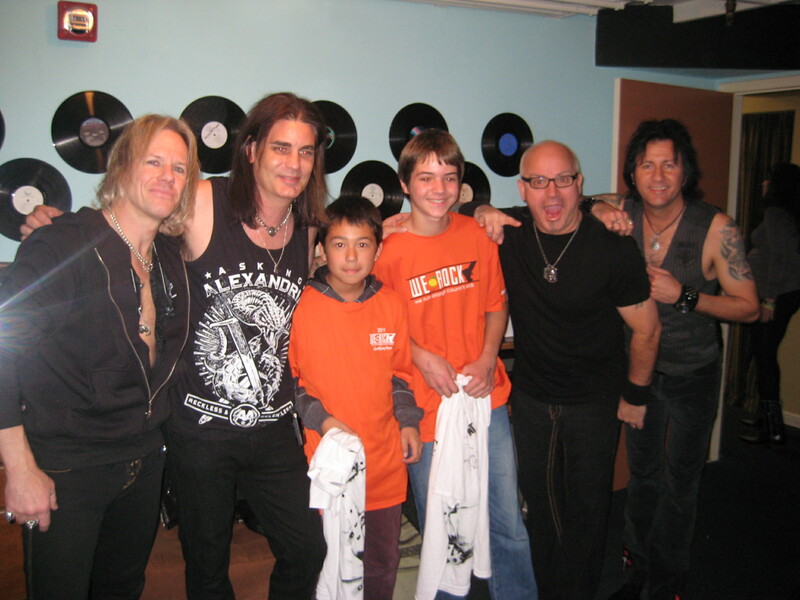 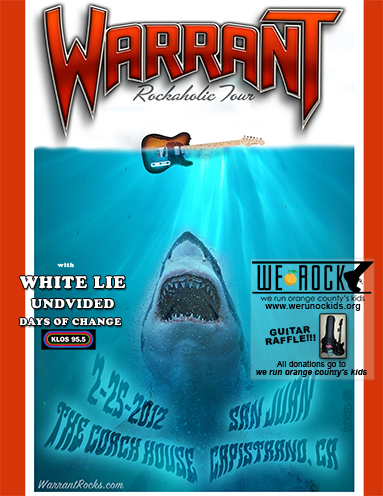 A HUGE THANK YOU to Warrant for supporting WeROCK! 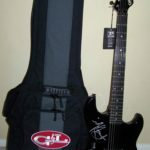 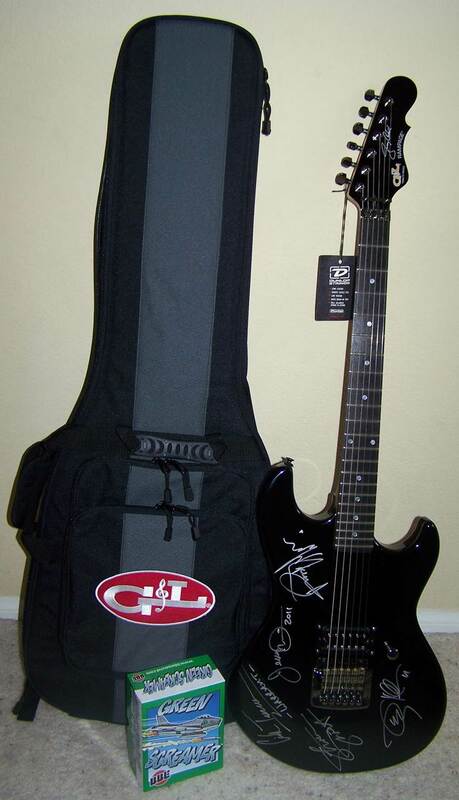 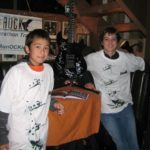 They raffled off a guitar to a lucky fan at their concert recently. 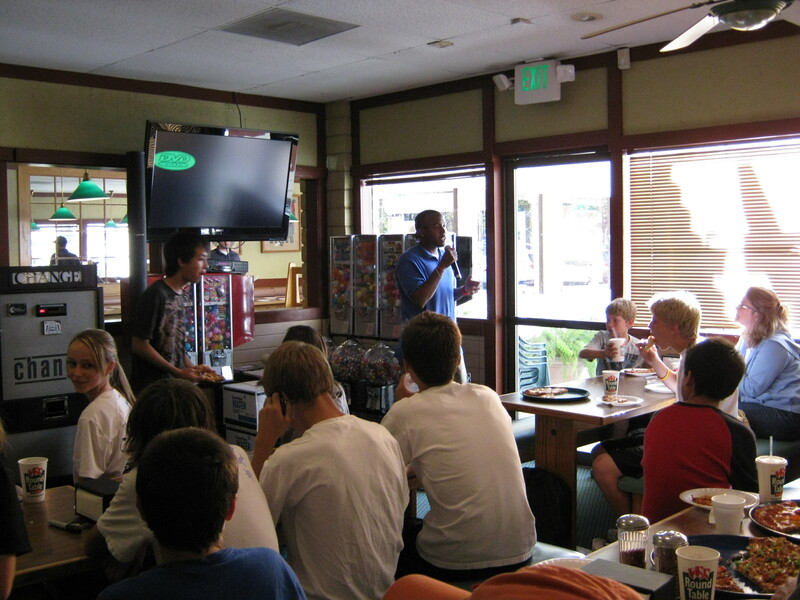 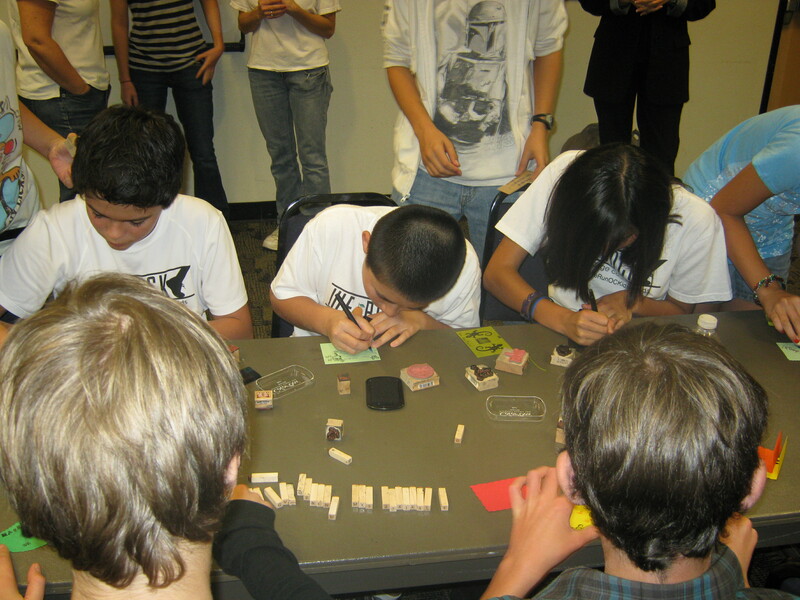 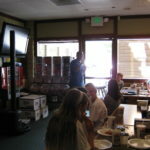 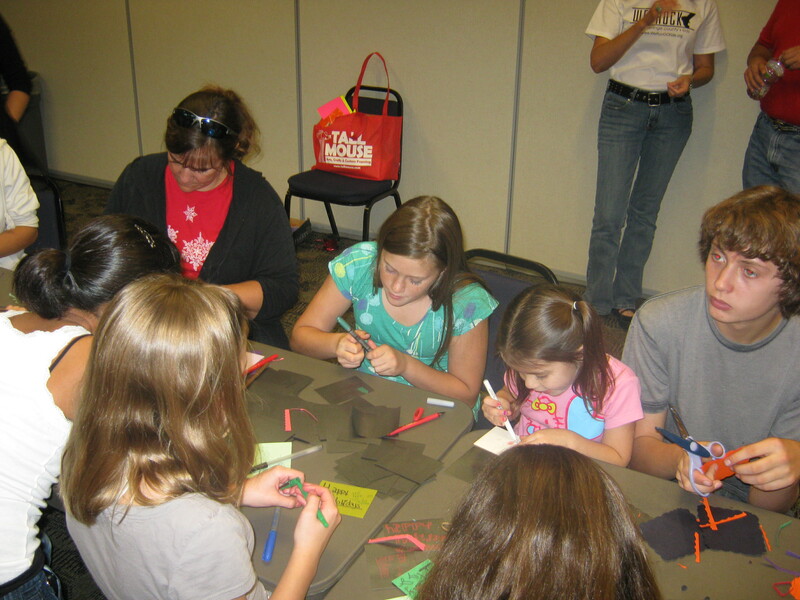 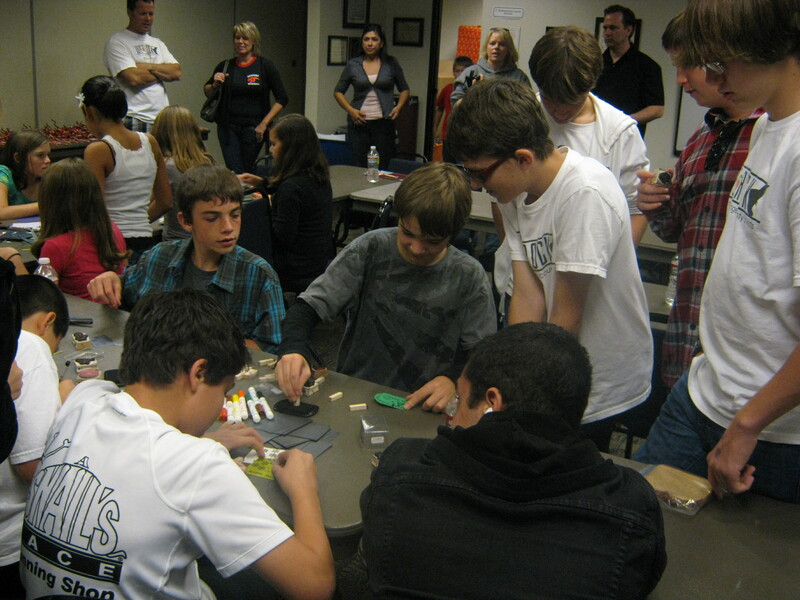 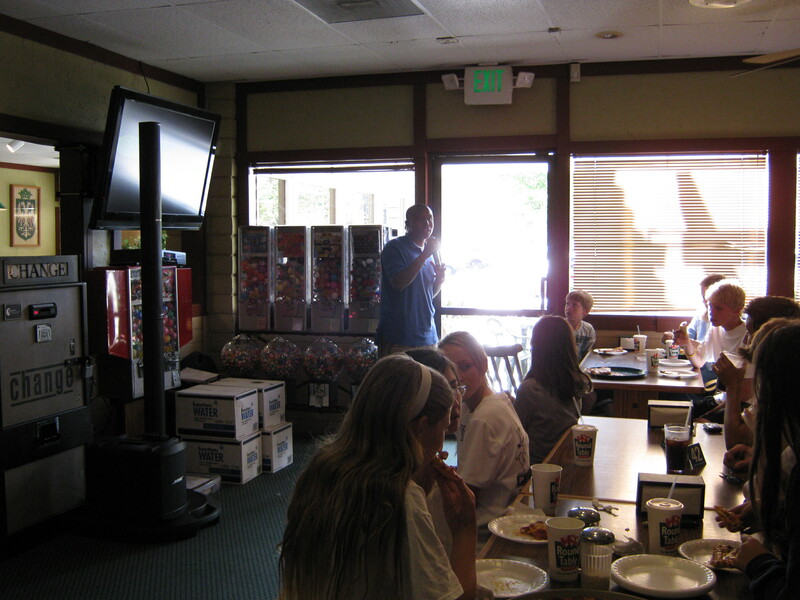 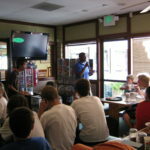 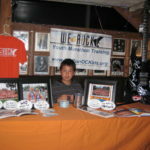 All proceeds from the raffle and a portion of the ticket sales went to benefit our program. 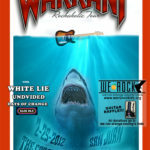 We think that Warrant ROCKS! 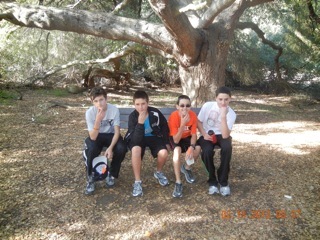 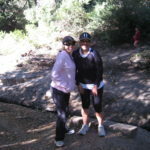 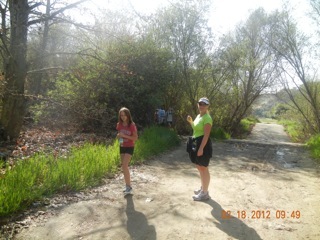 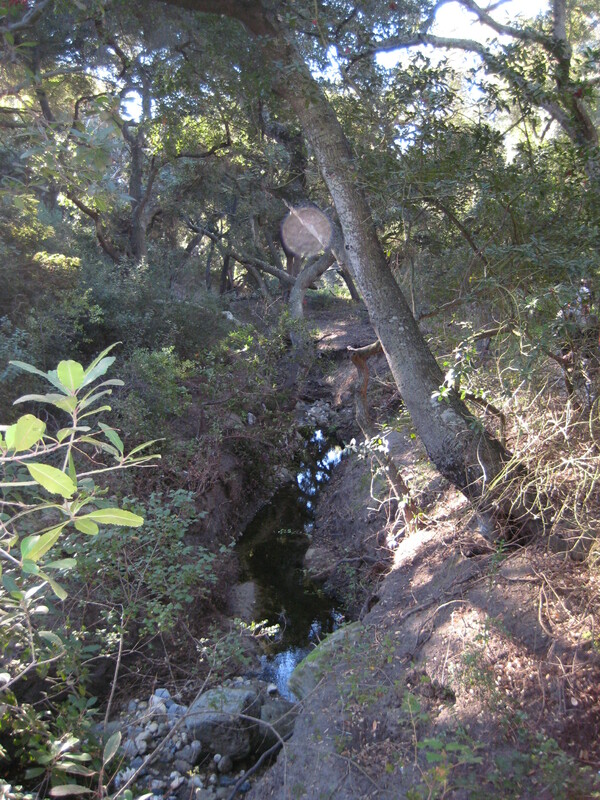 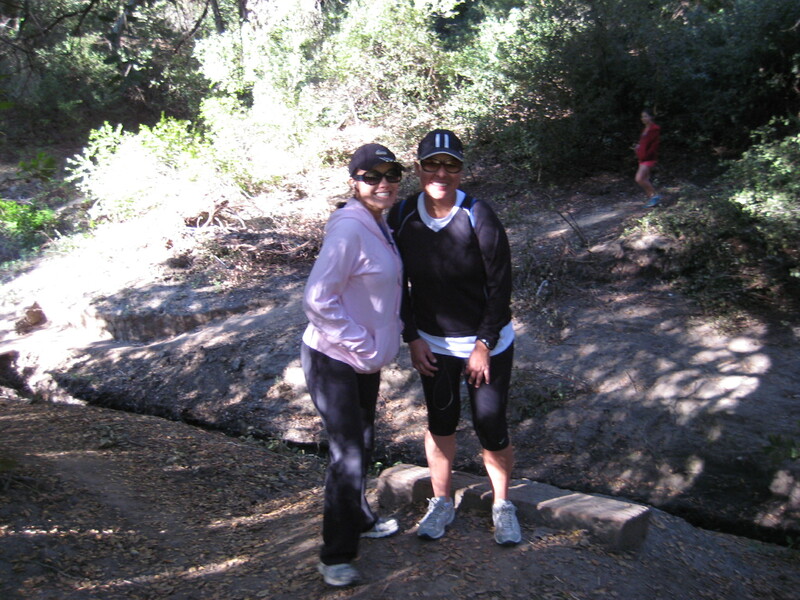 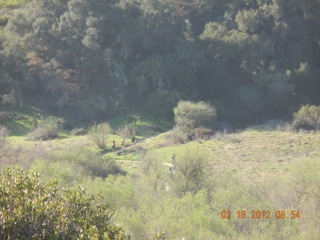 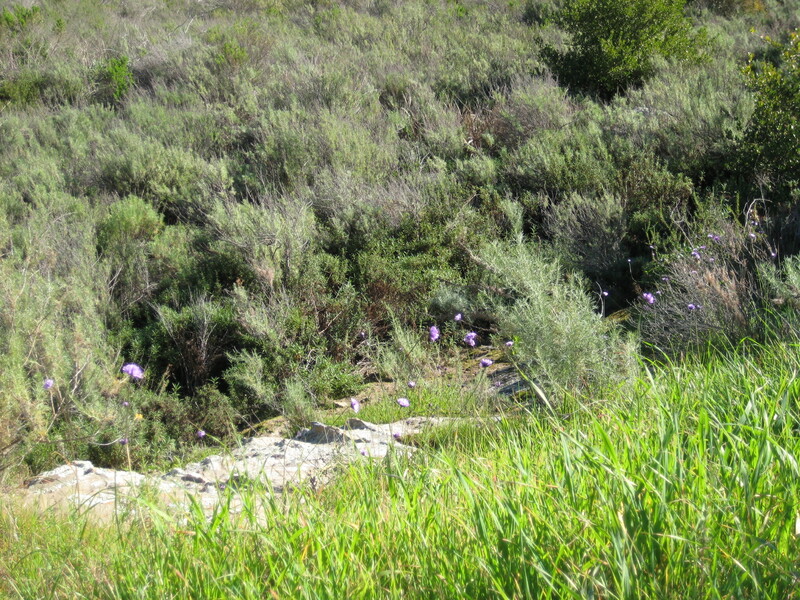 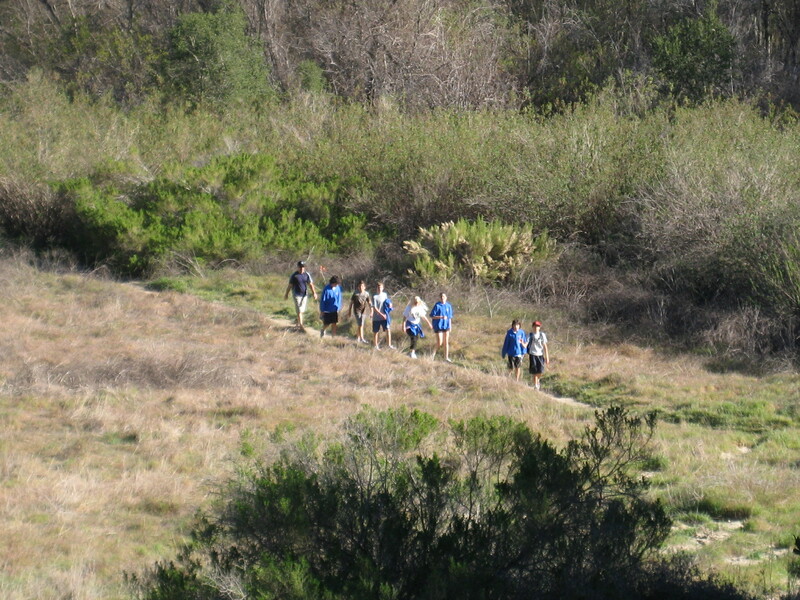 During some of our taper weekends we enjoy hiking on local trails. 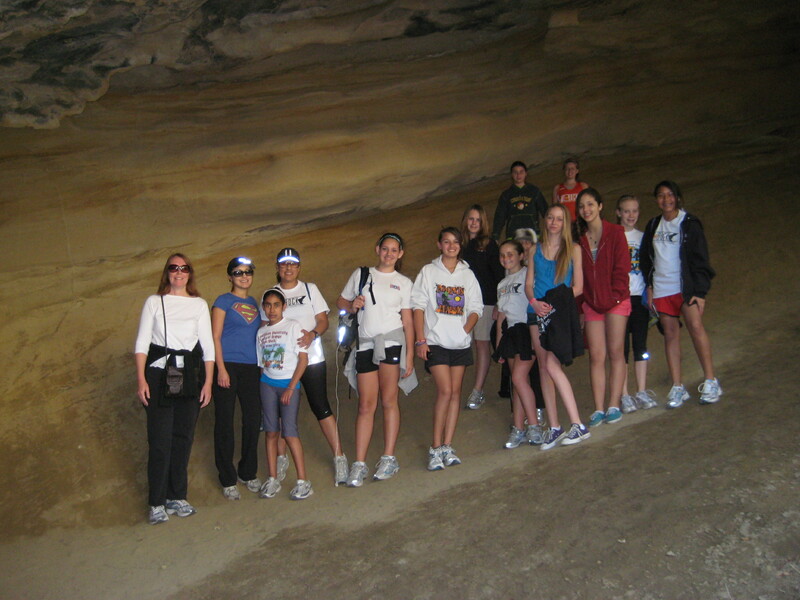 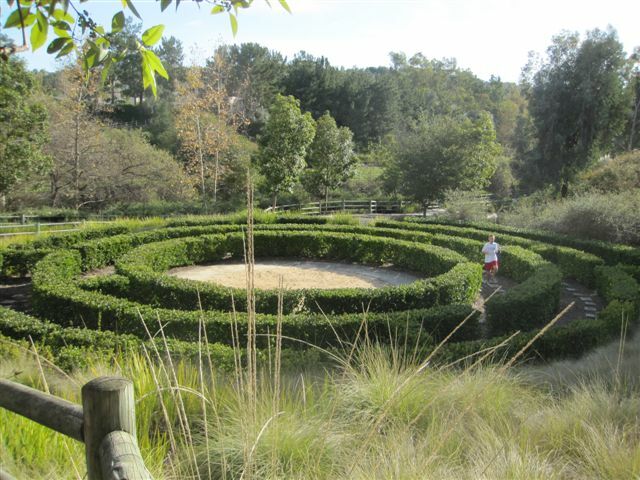 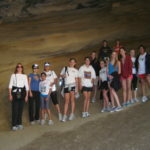 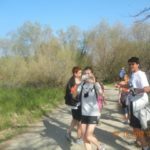 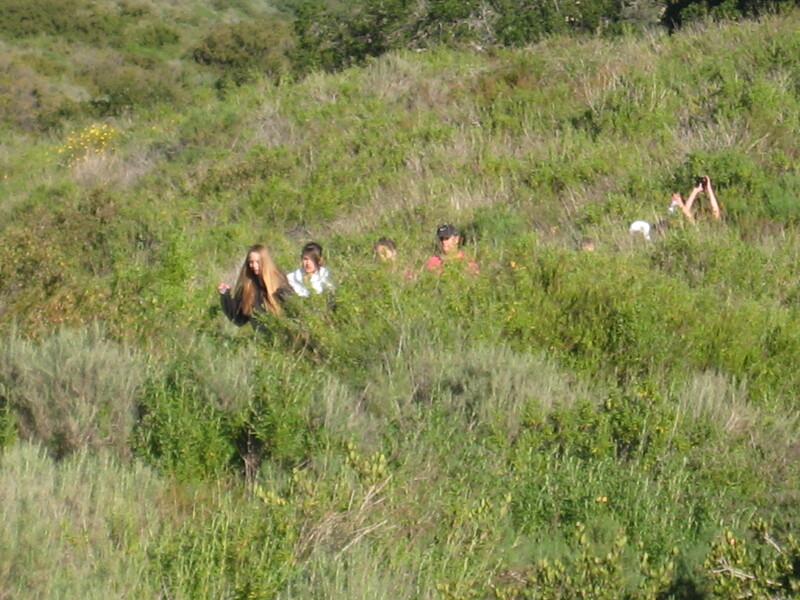 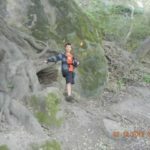 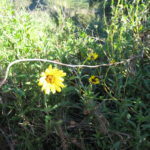 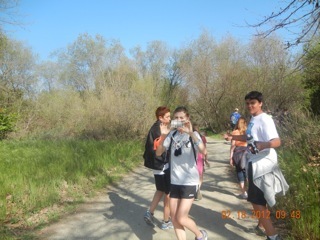 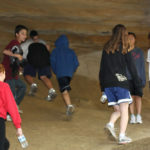 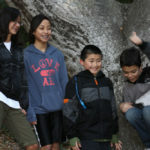 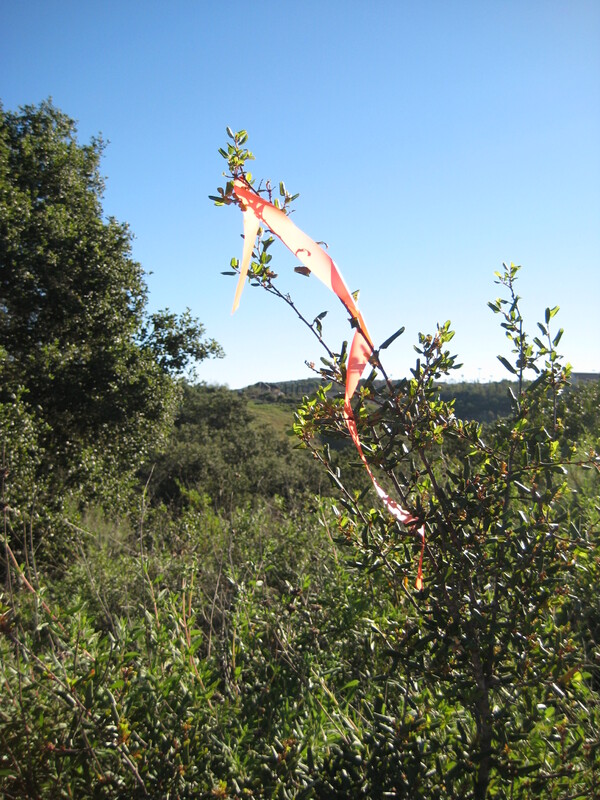 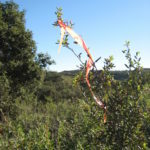 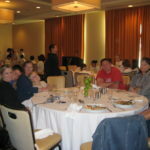 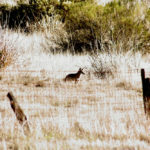 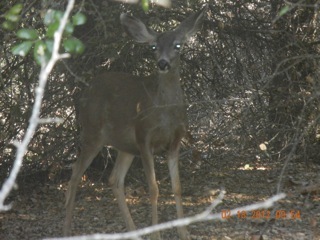 We invite the families to join us and explore nature. 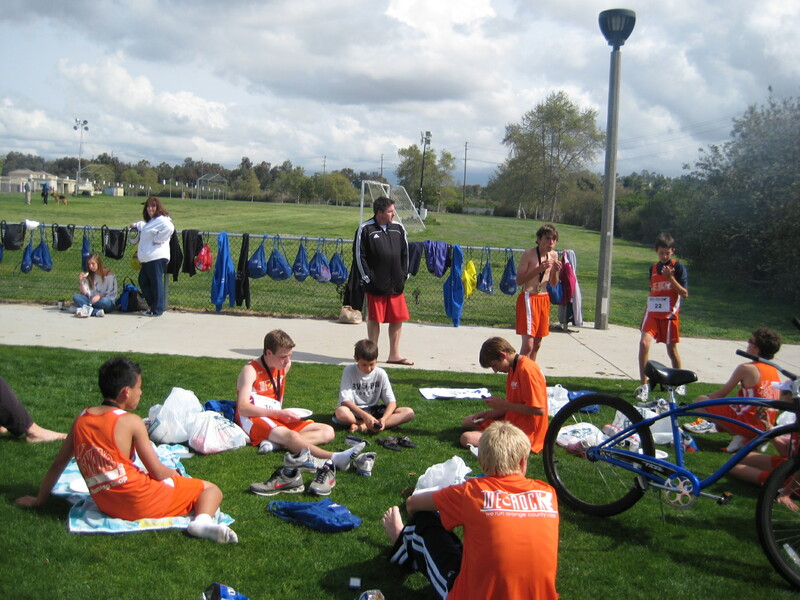 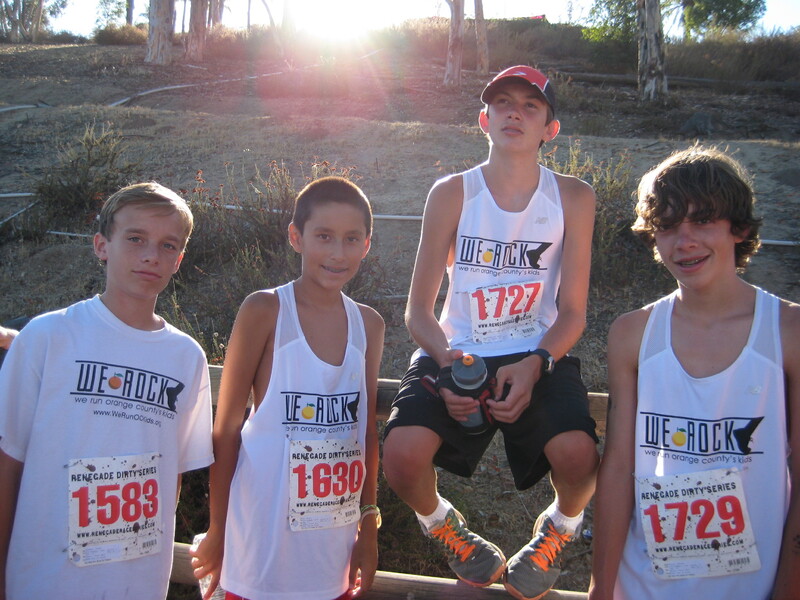 Once again some cool team shots after a race. 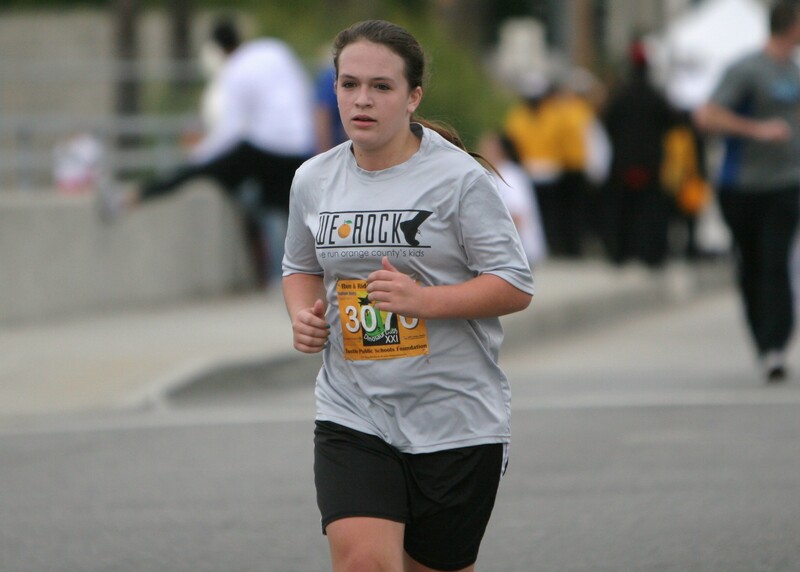 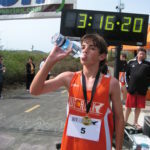 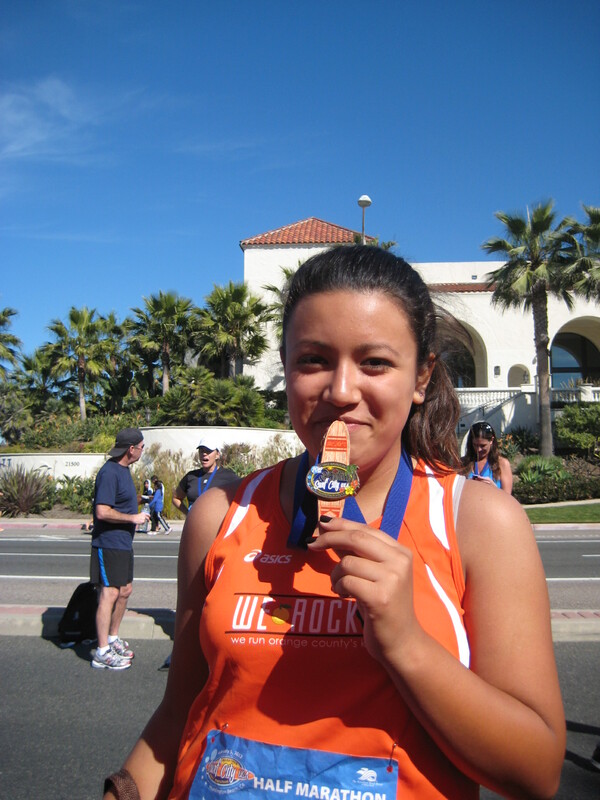 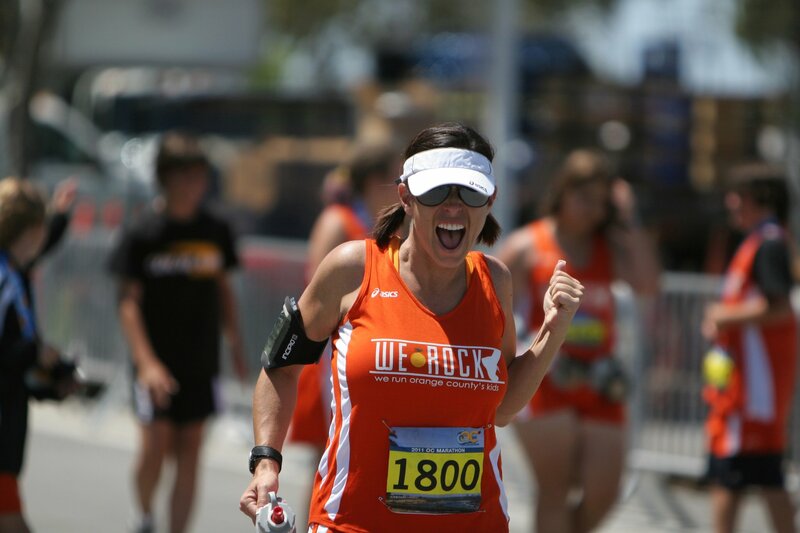 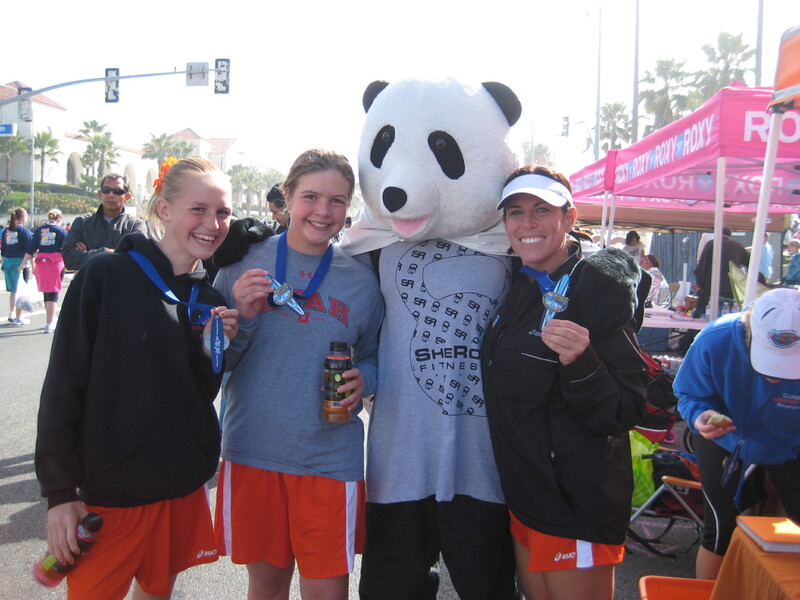 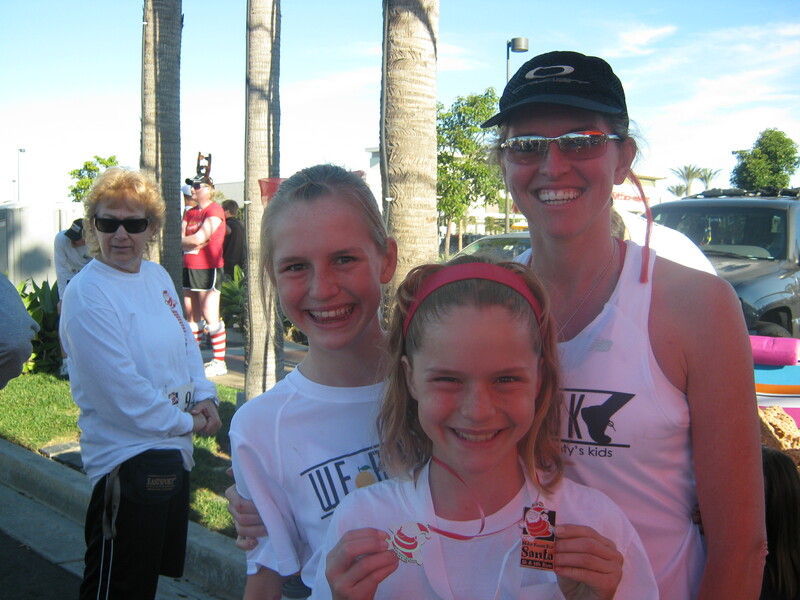 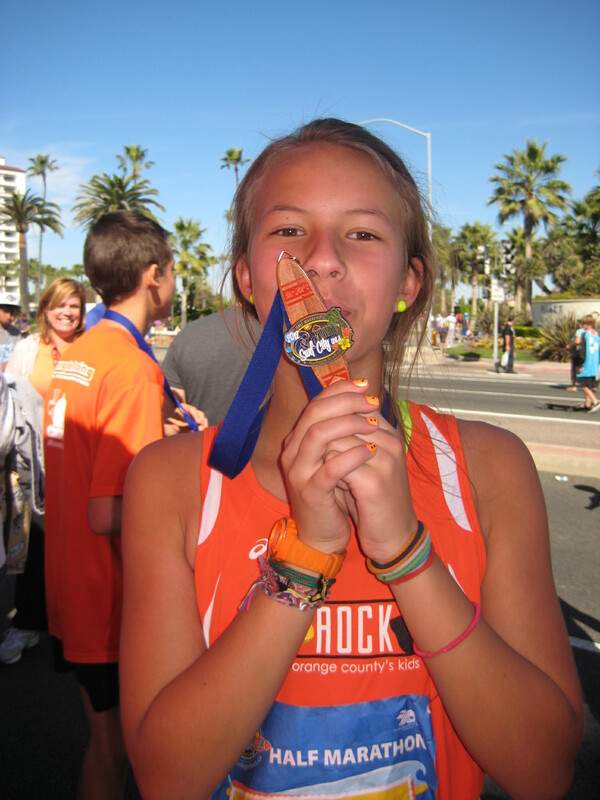 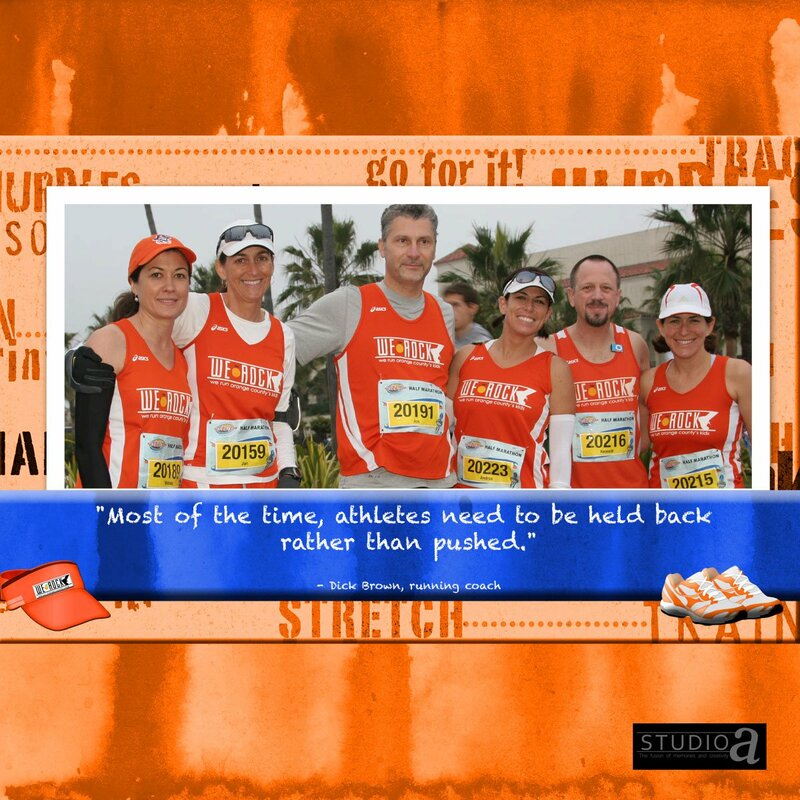 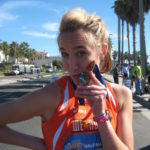 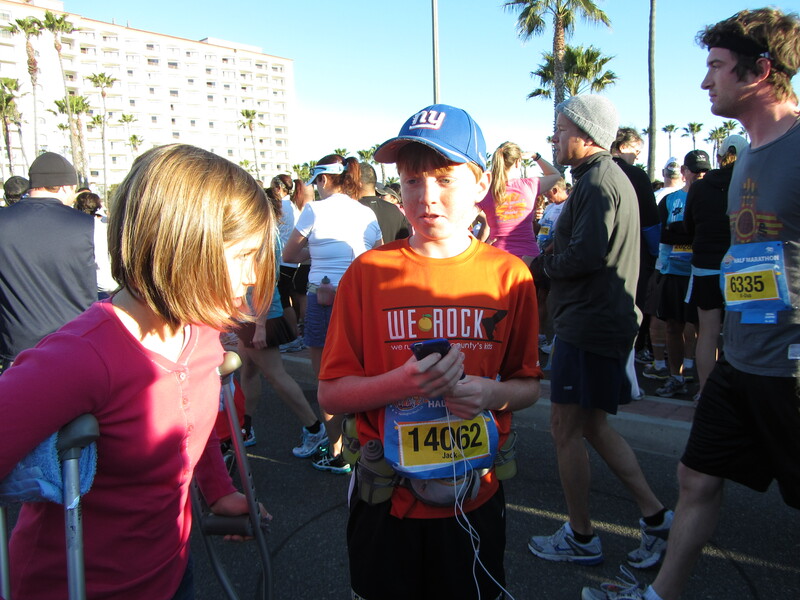 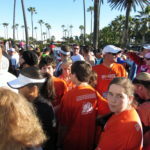 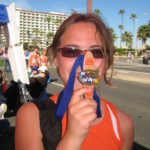 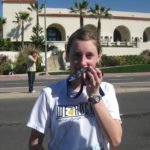 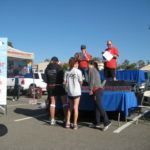 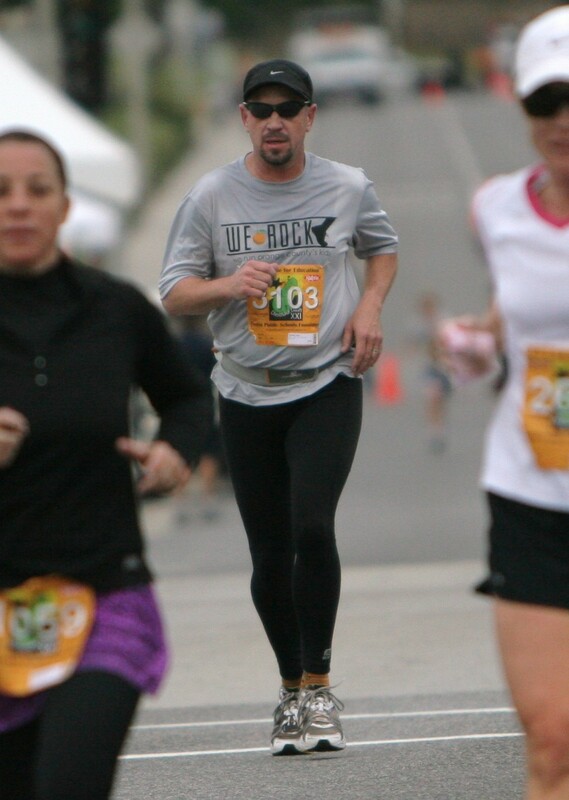 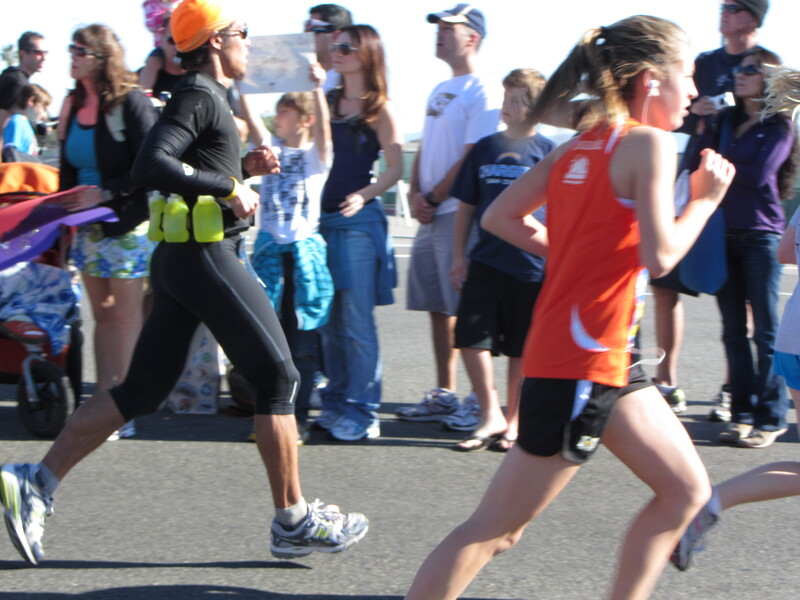 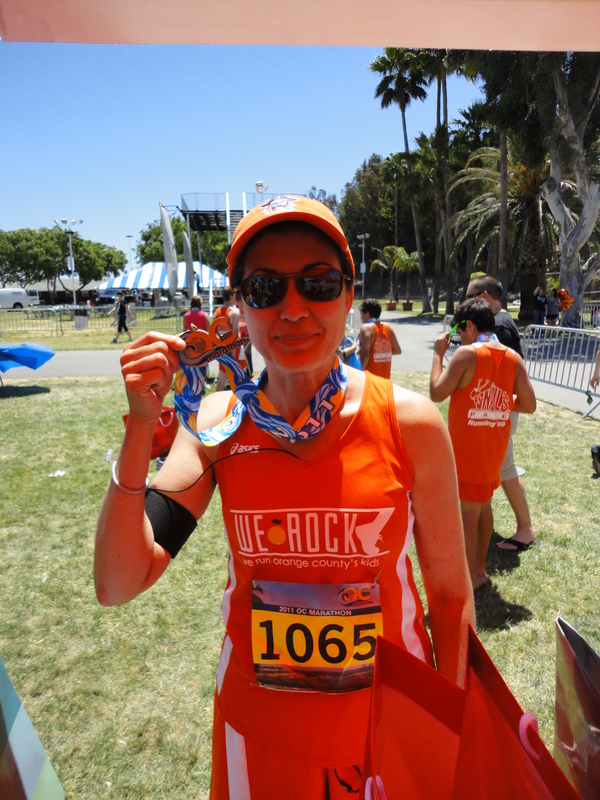 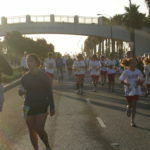 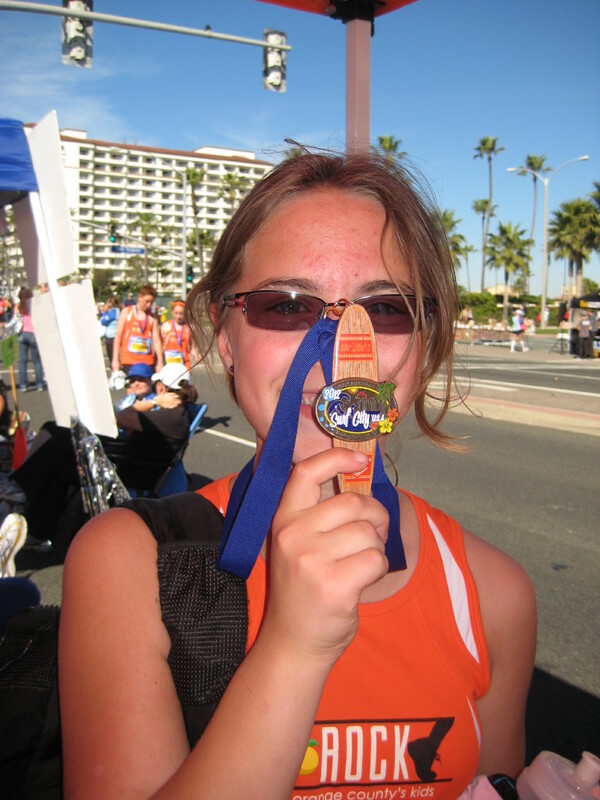 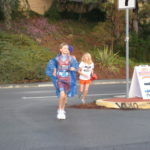 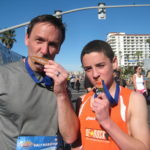 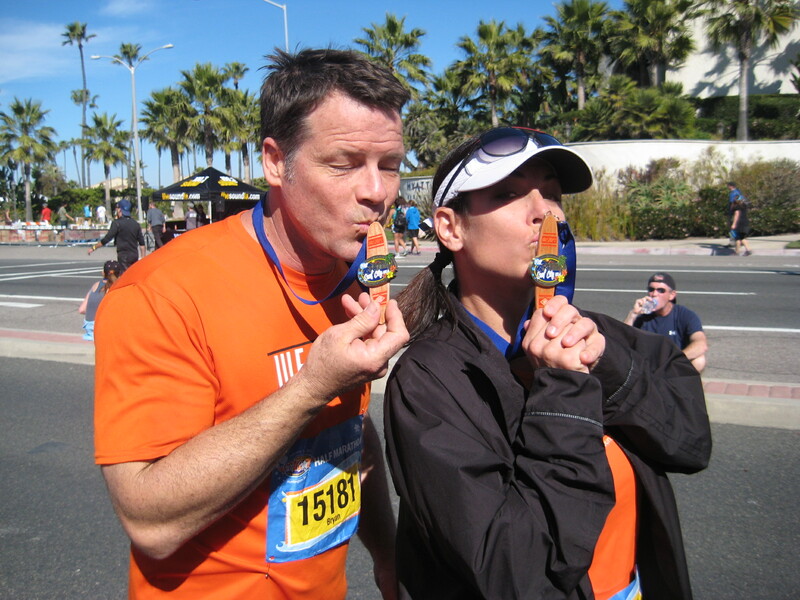 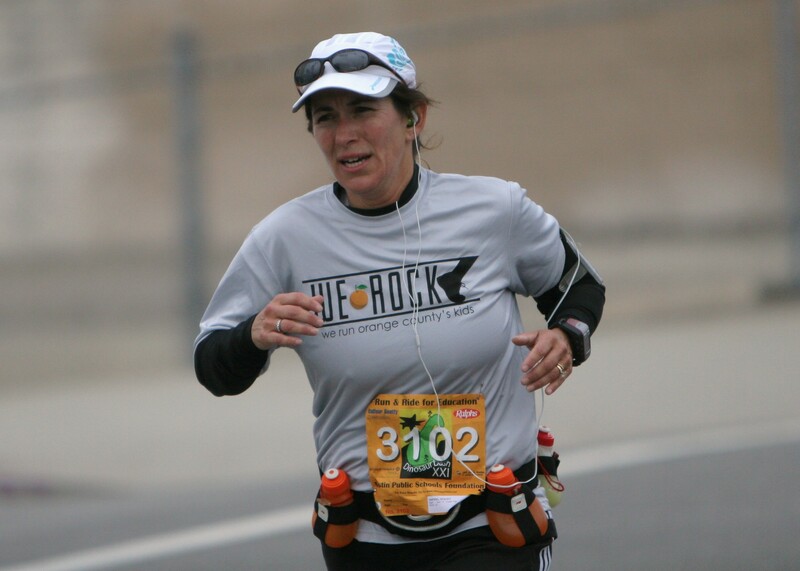 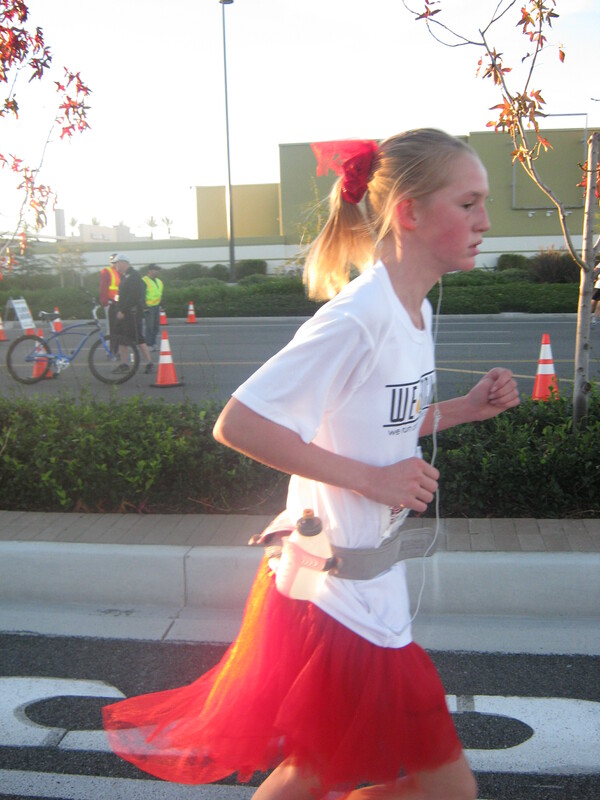 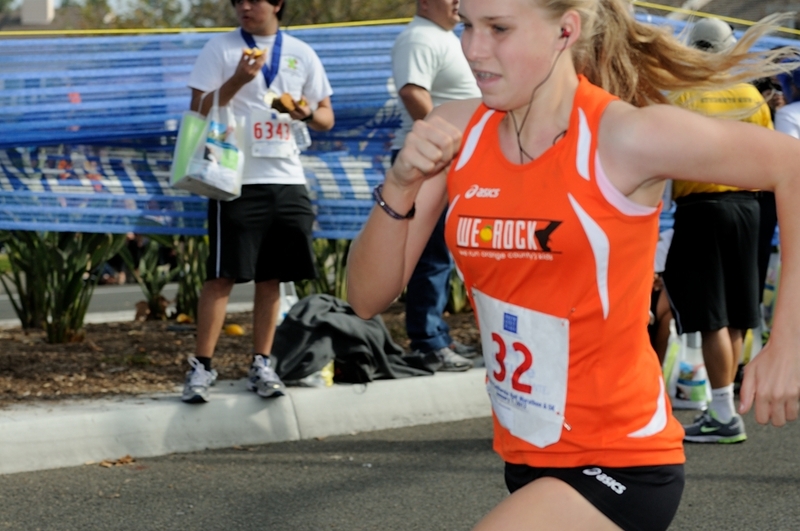 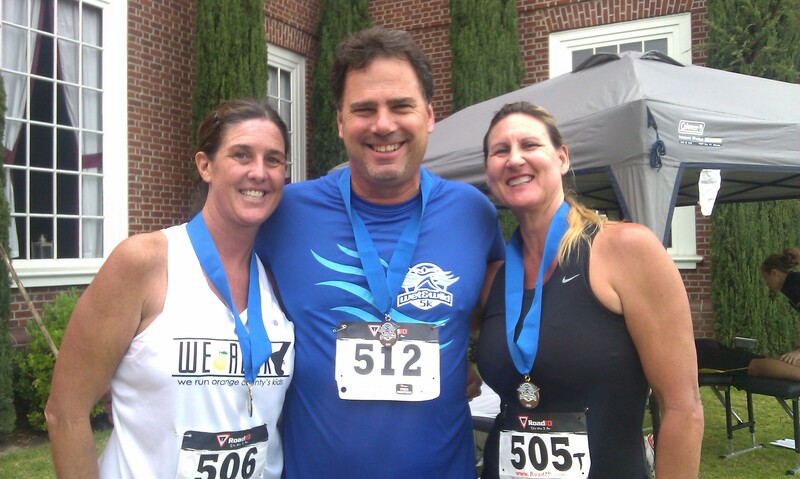 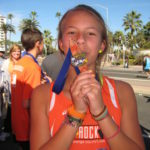 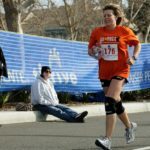 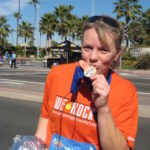 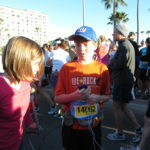 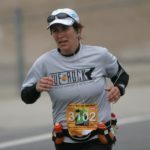 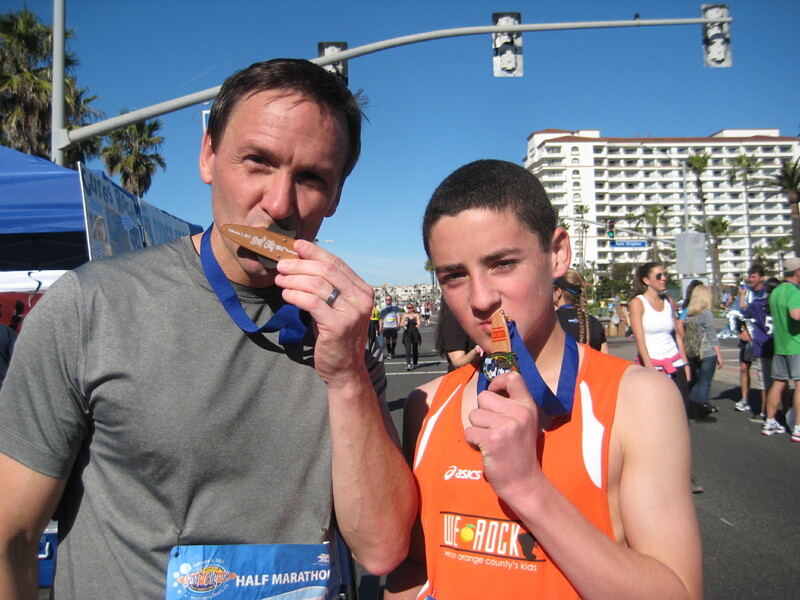 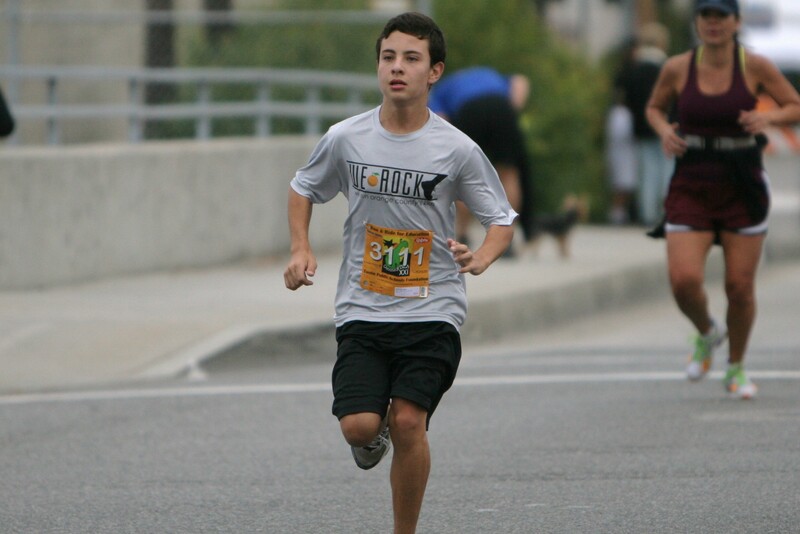 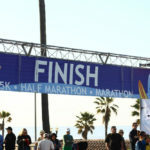 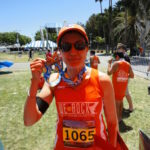 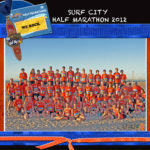 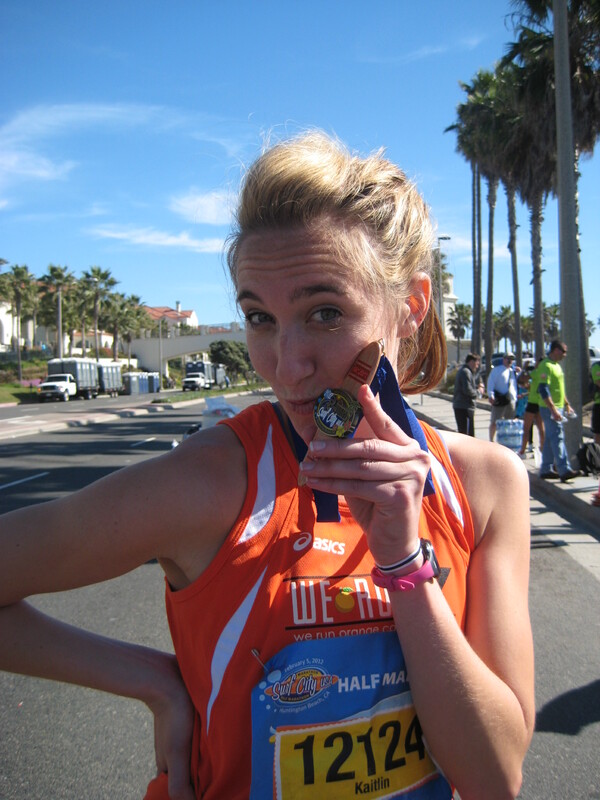 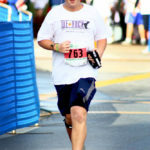 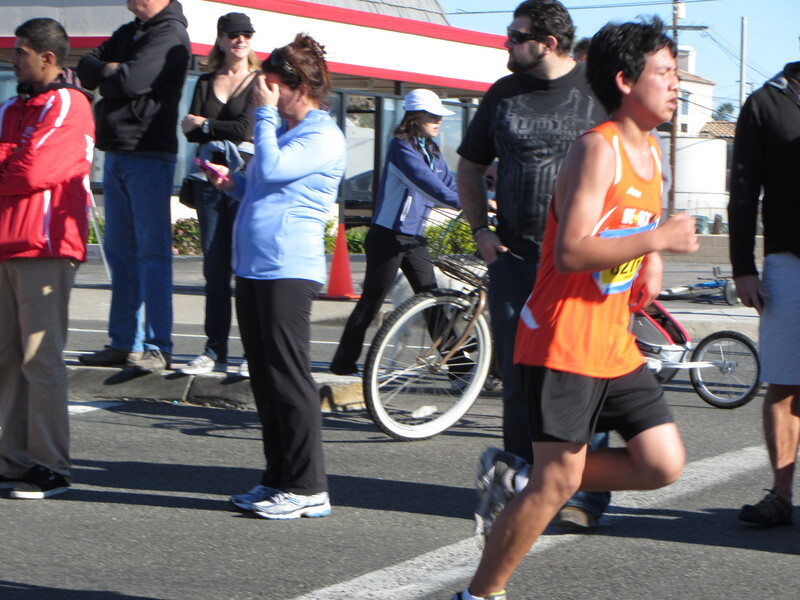 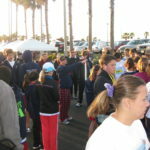 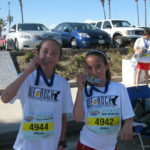 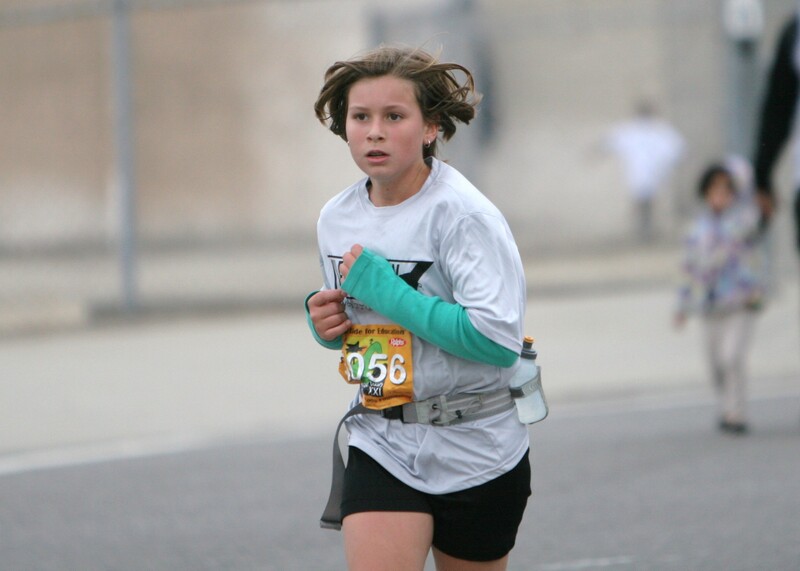 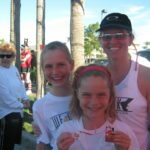 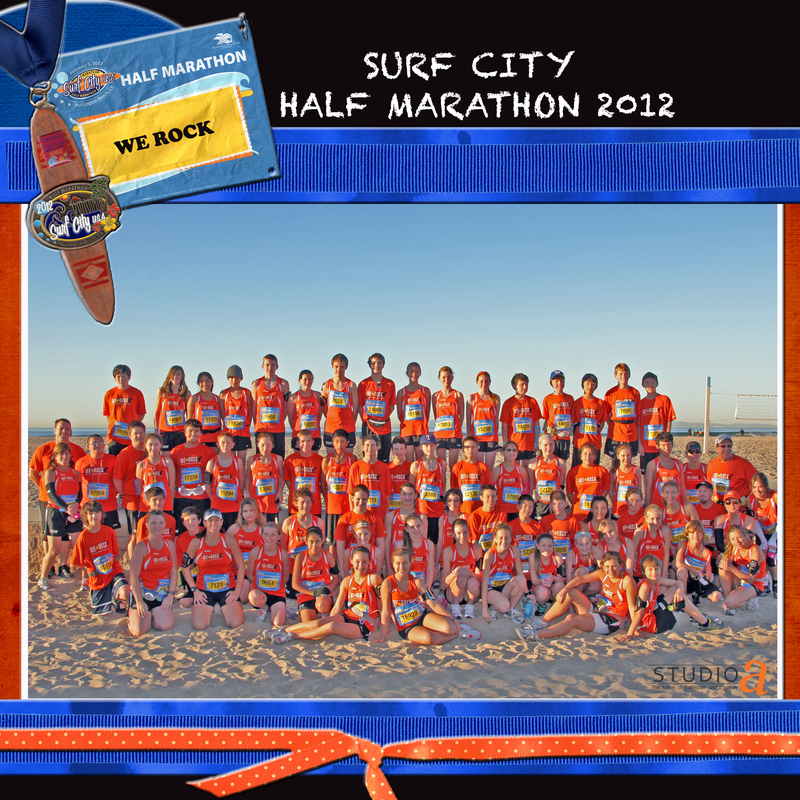 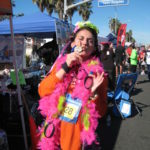 Surf City Half Marathon is always a WeROCK favorite. 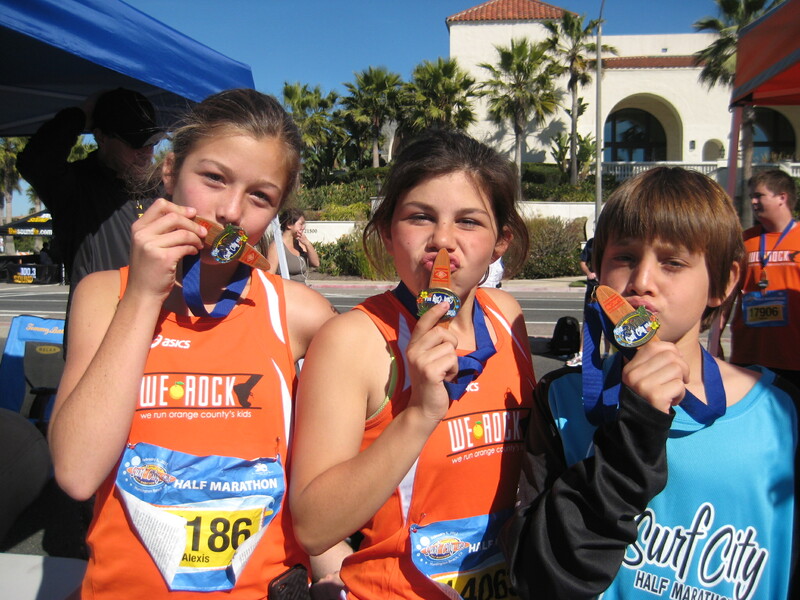 We LOVE the surf board medal and the ocean views. 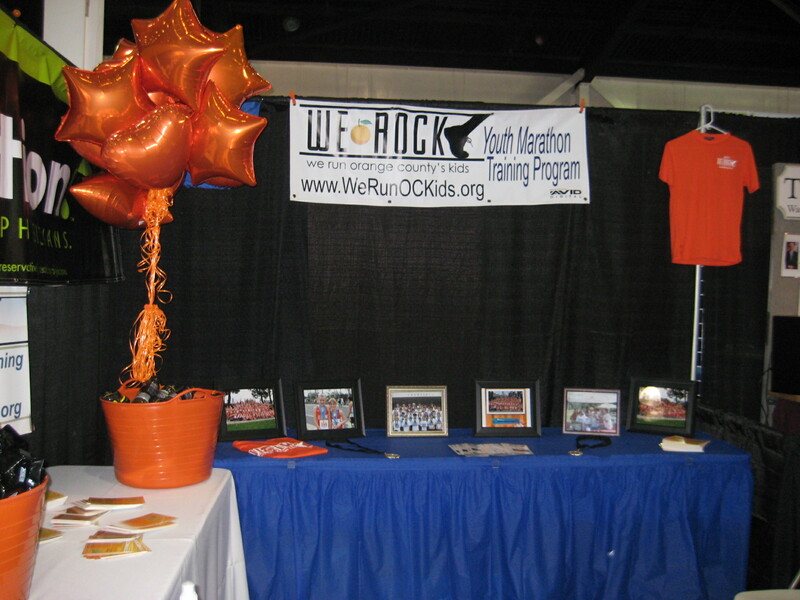 Coach K helped at the Renegade Race Series booth at the expo. 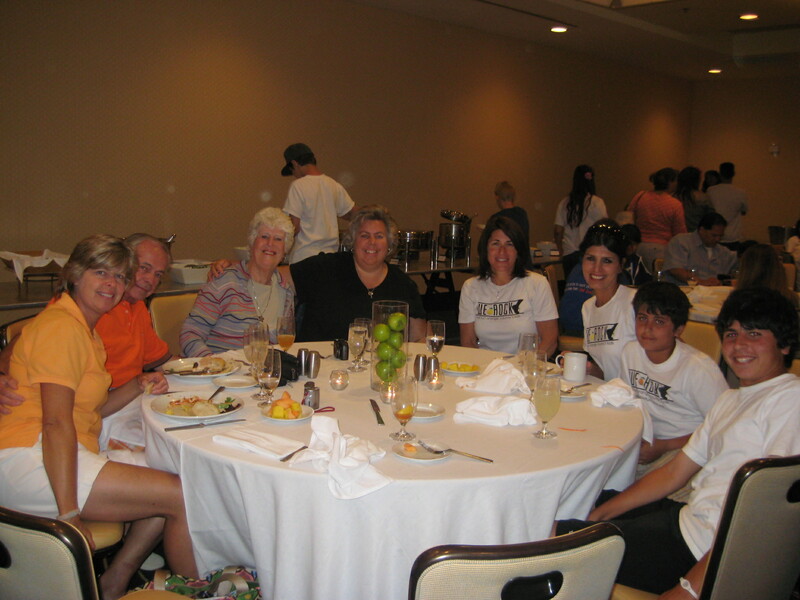 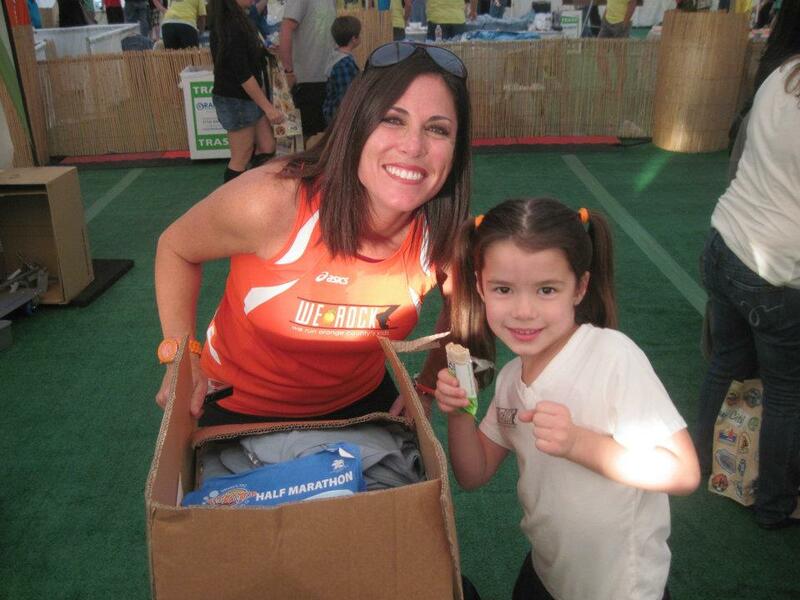 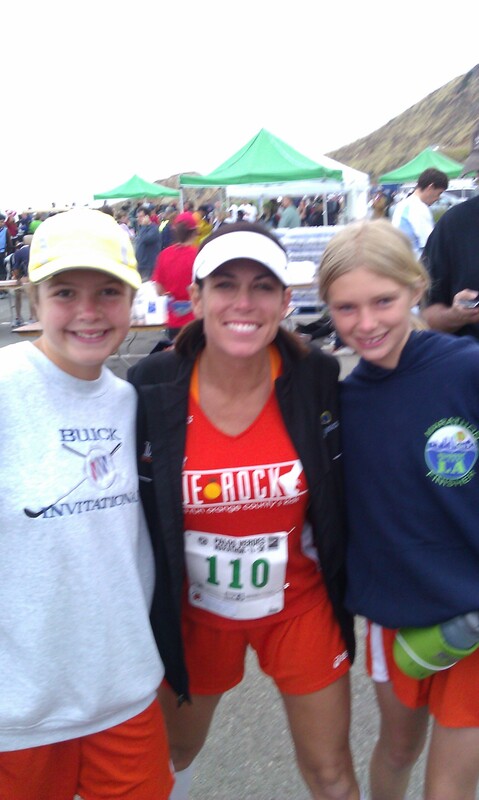 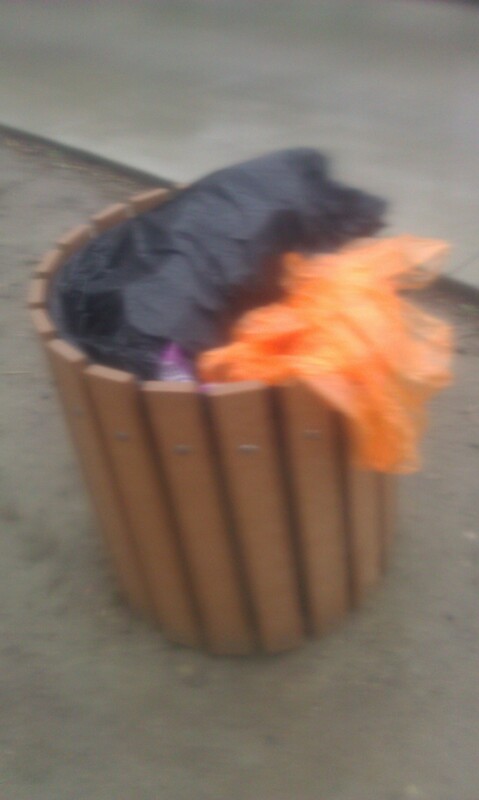 There she bumped into some fellow Marathon Maniacs while picking up all of the WeROCK bibs/chips/bags. 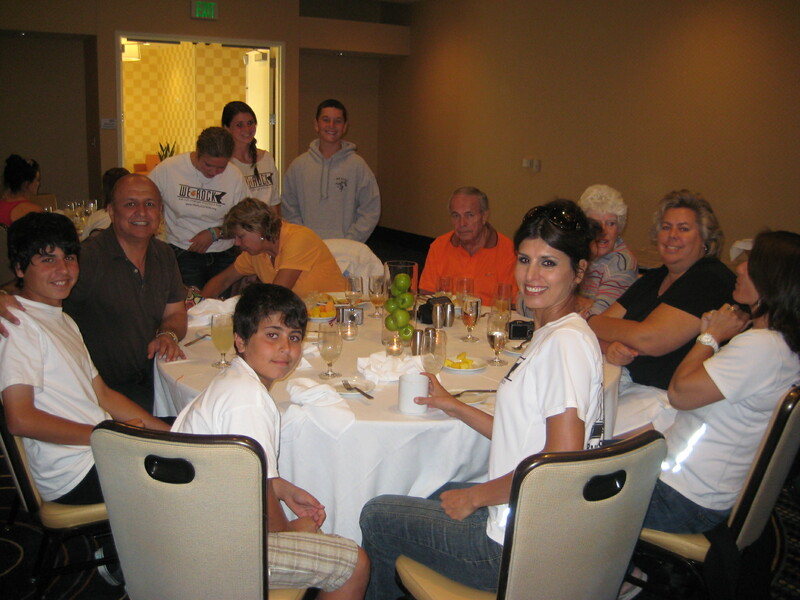 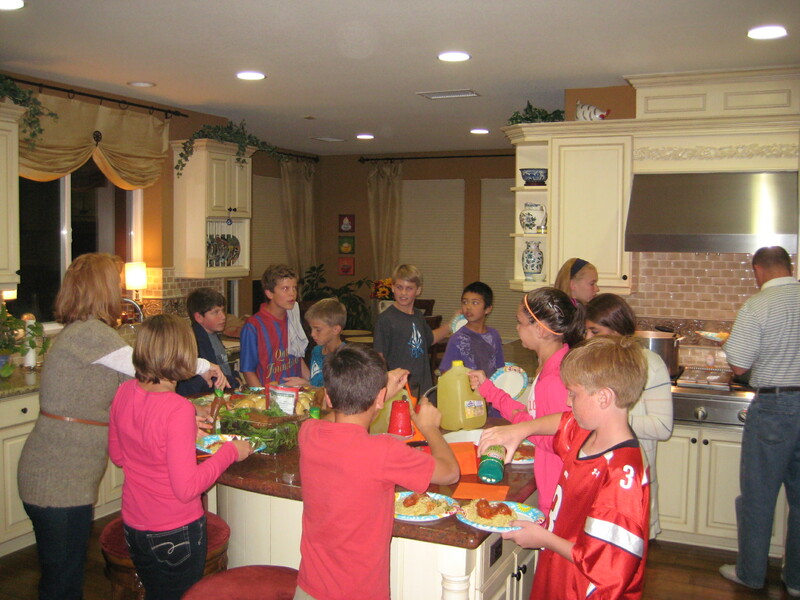 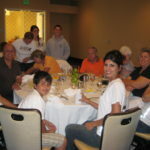 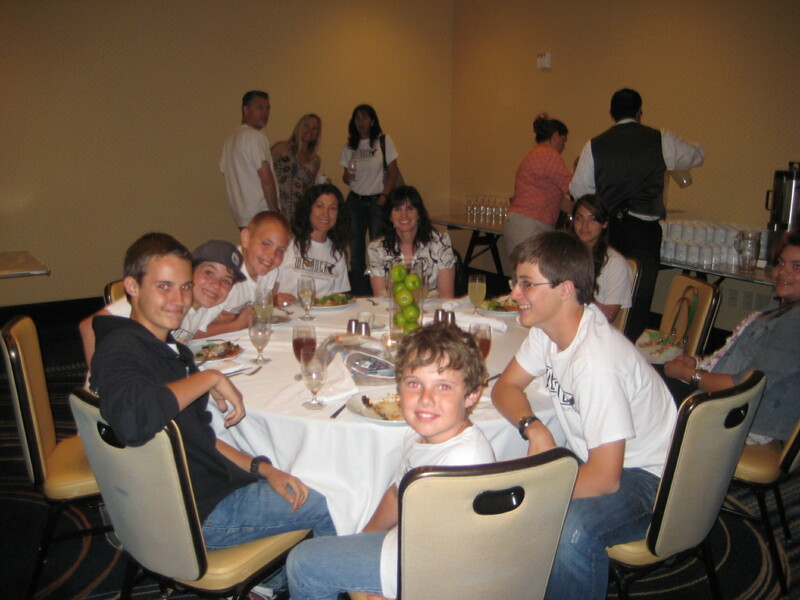 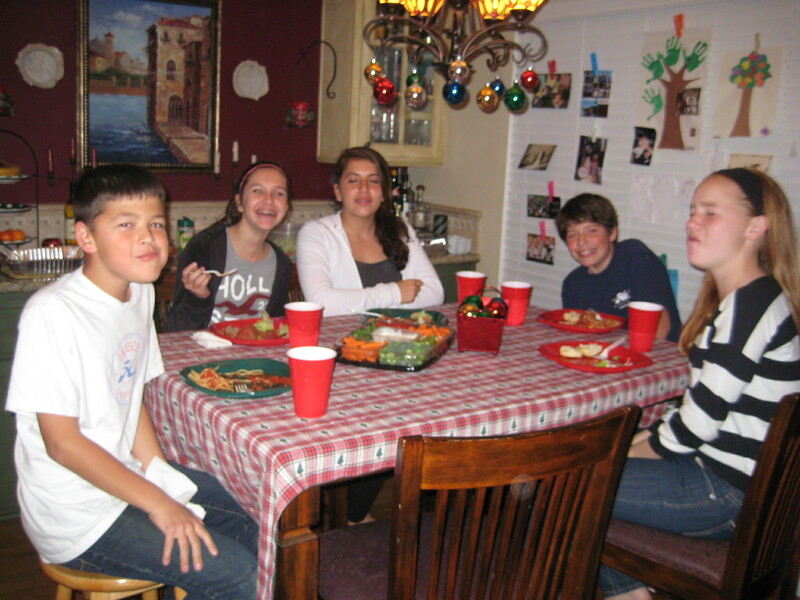 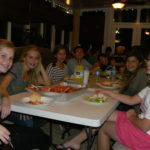 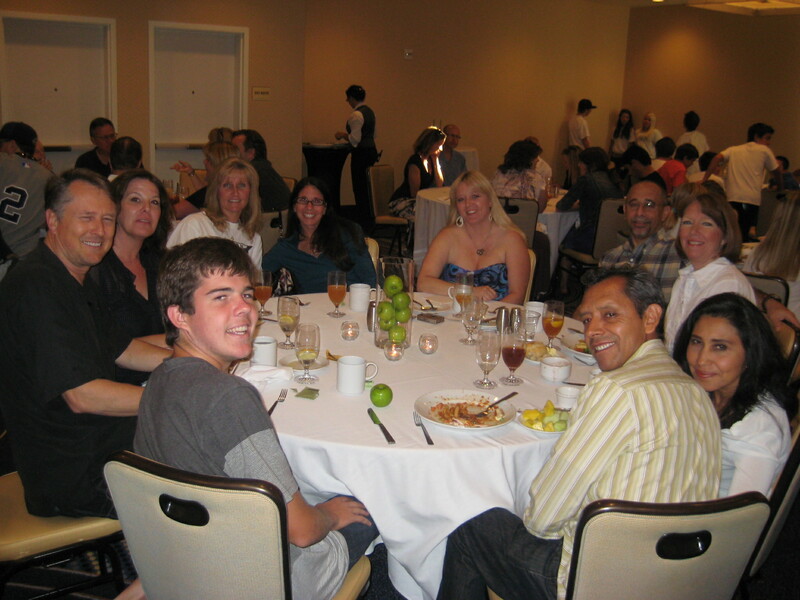 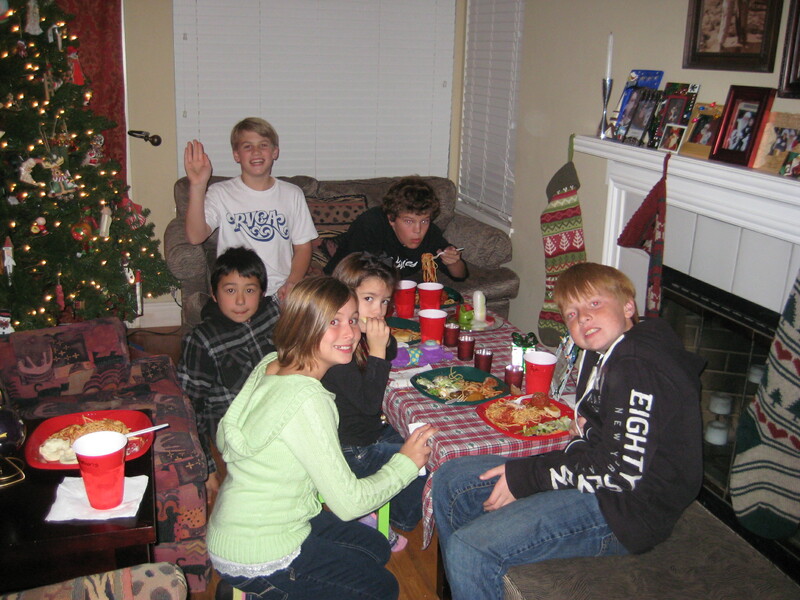 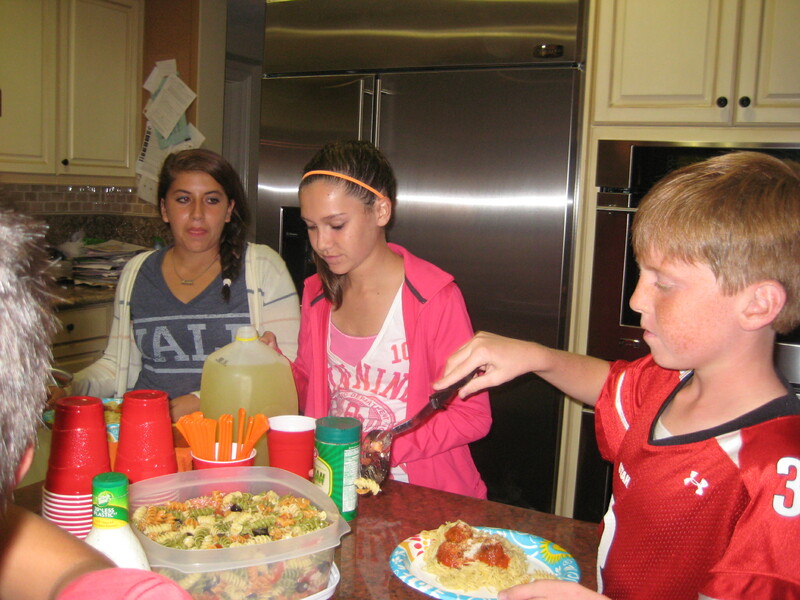 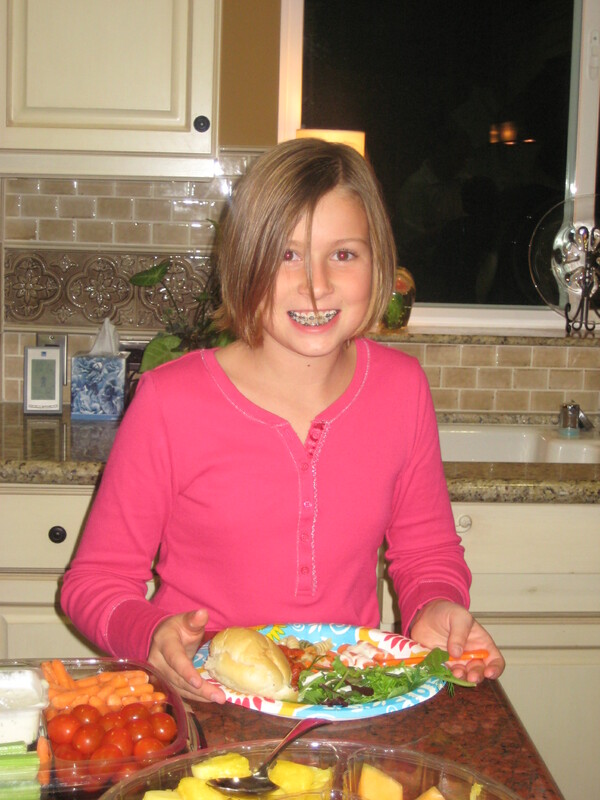 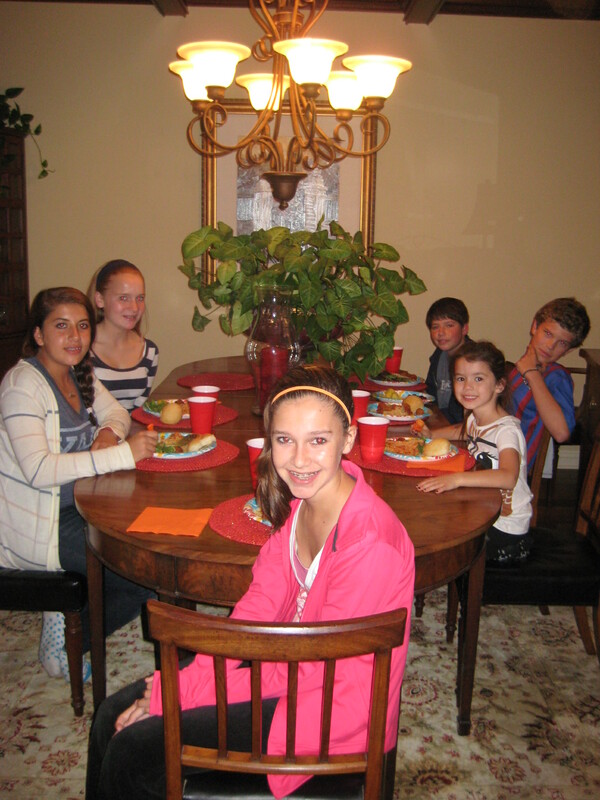 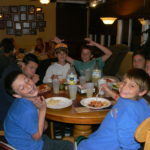 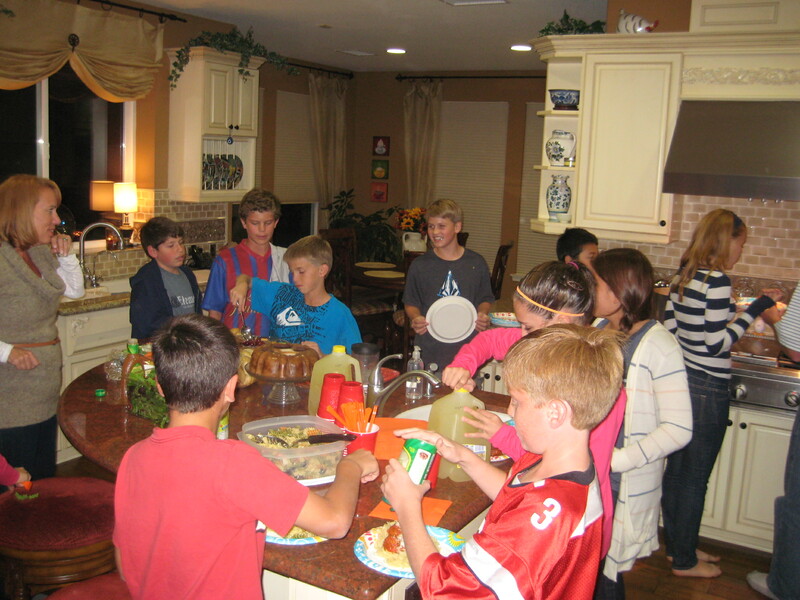 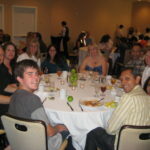 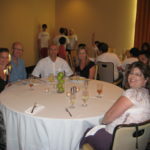 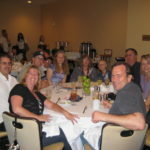 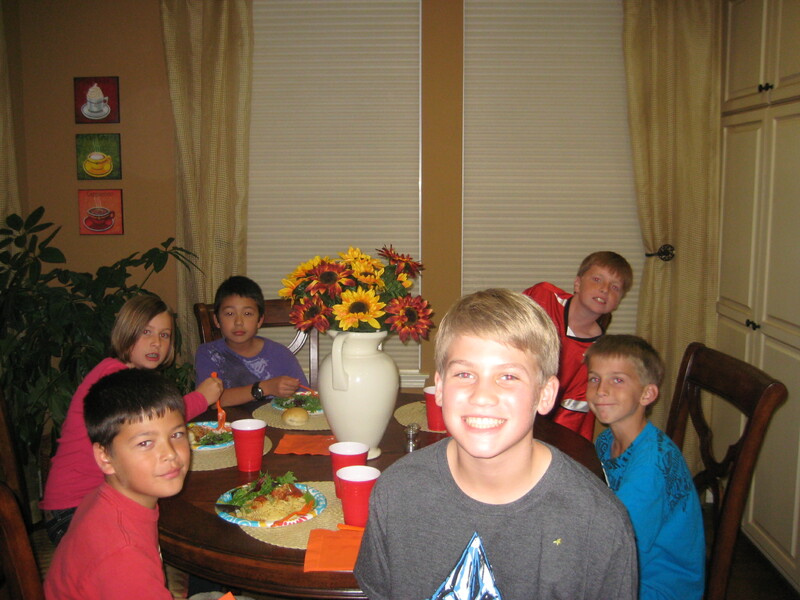 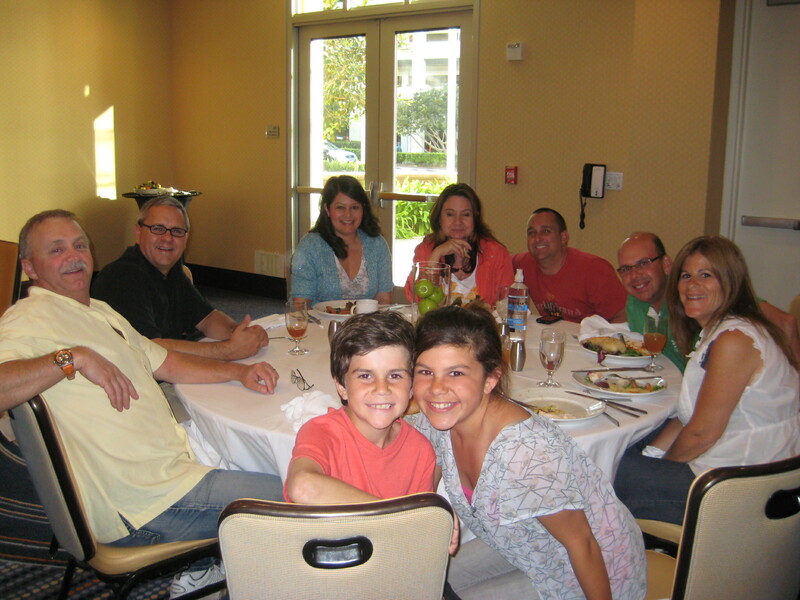 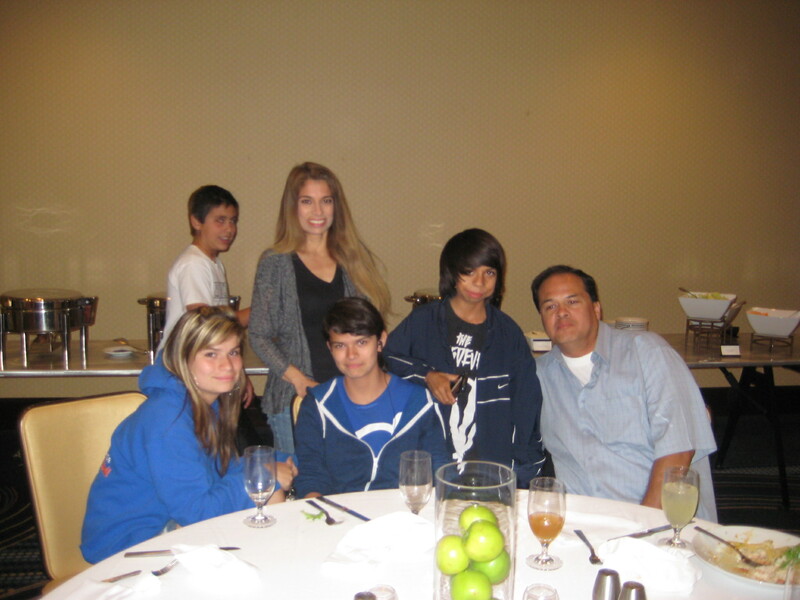 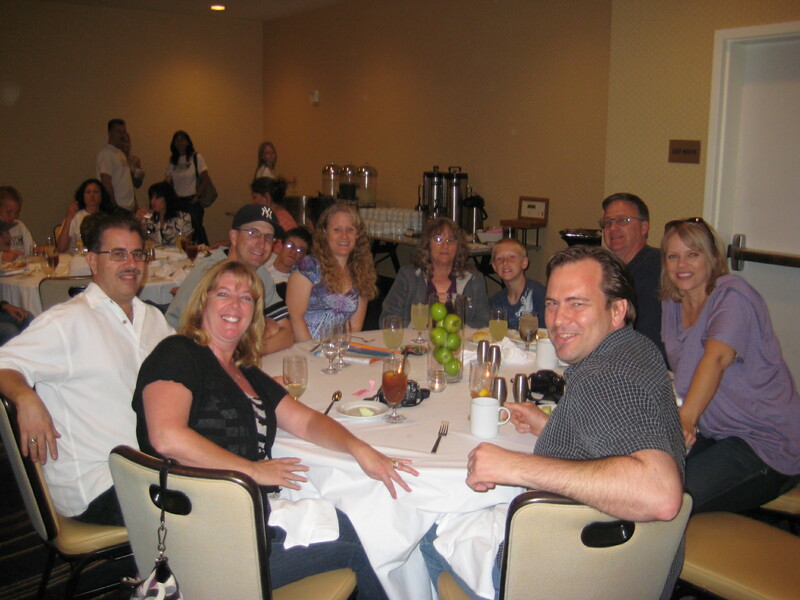 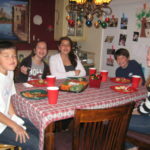 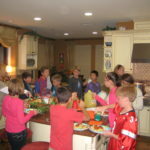 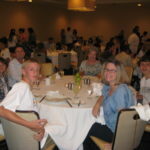 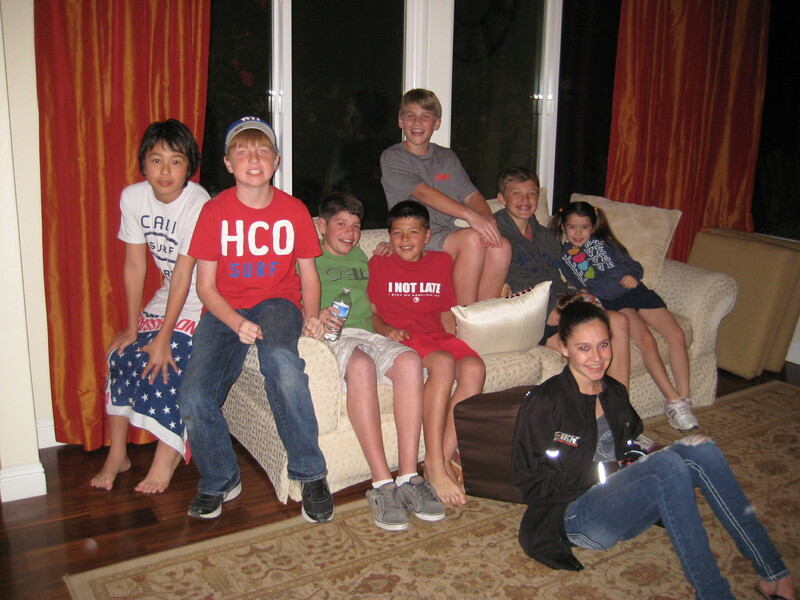 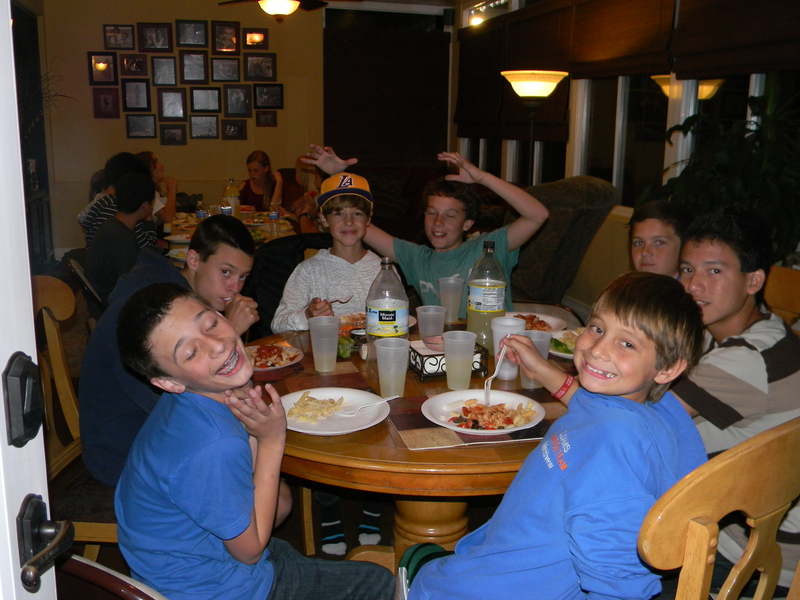 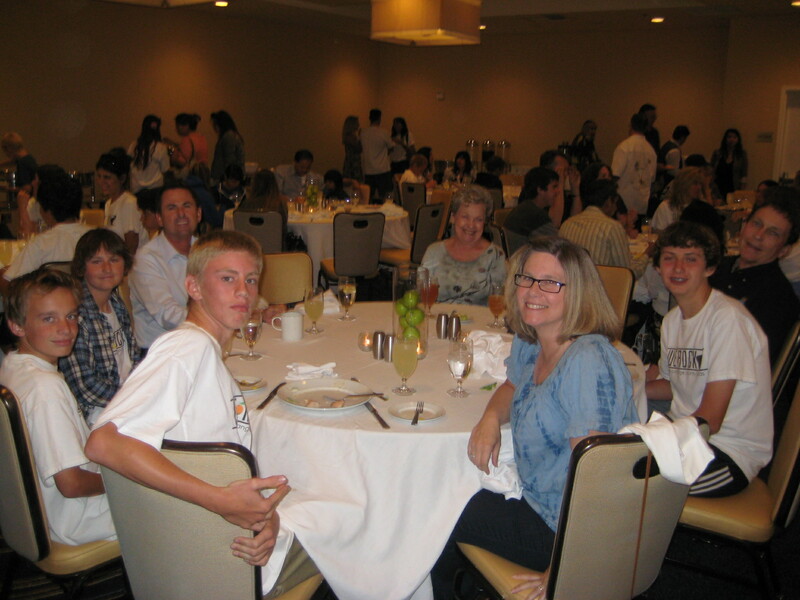 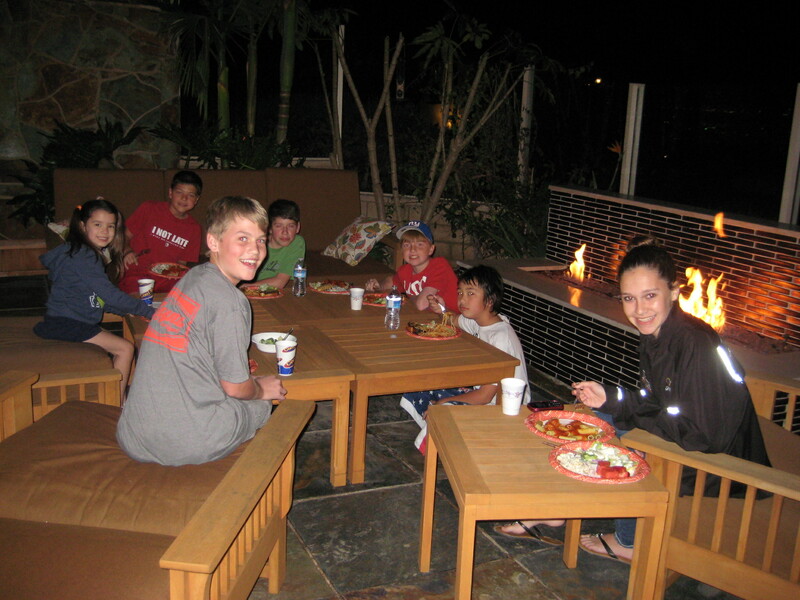 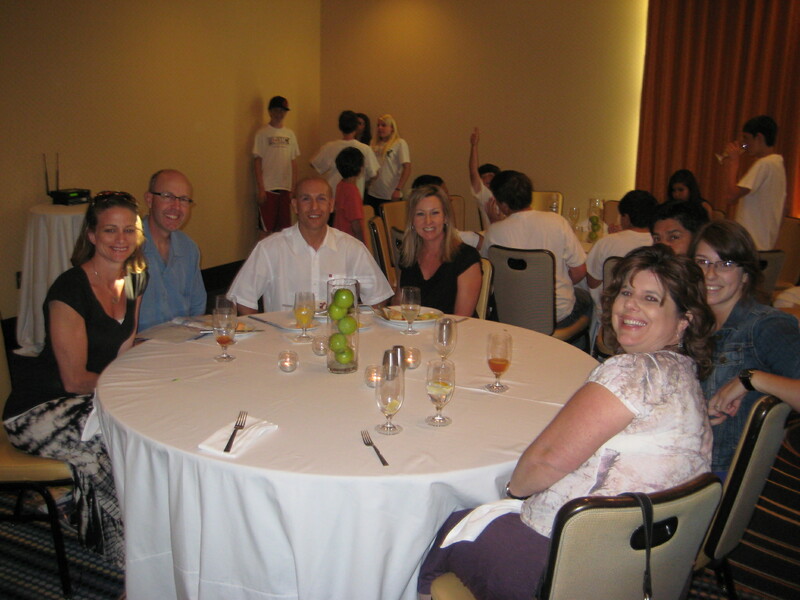 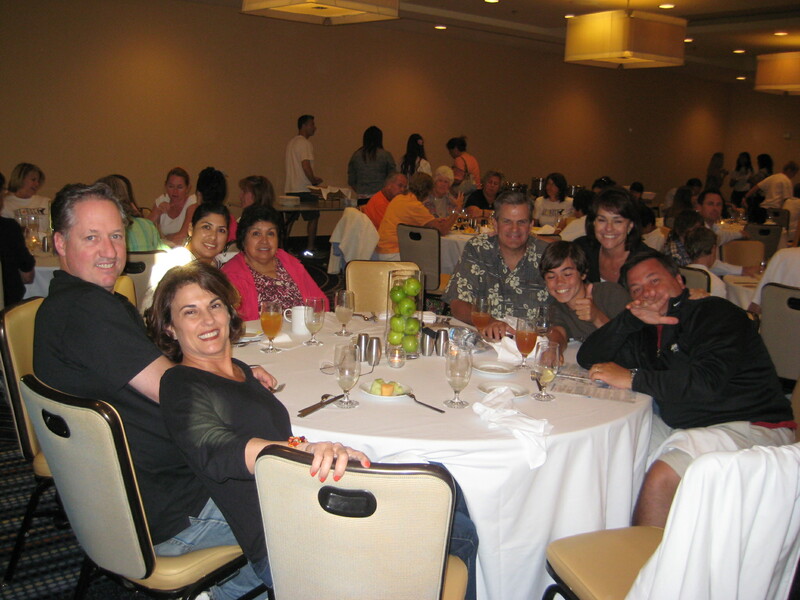 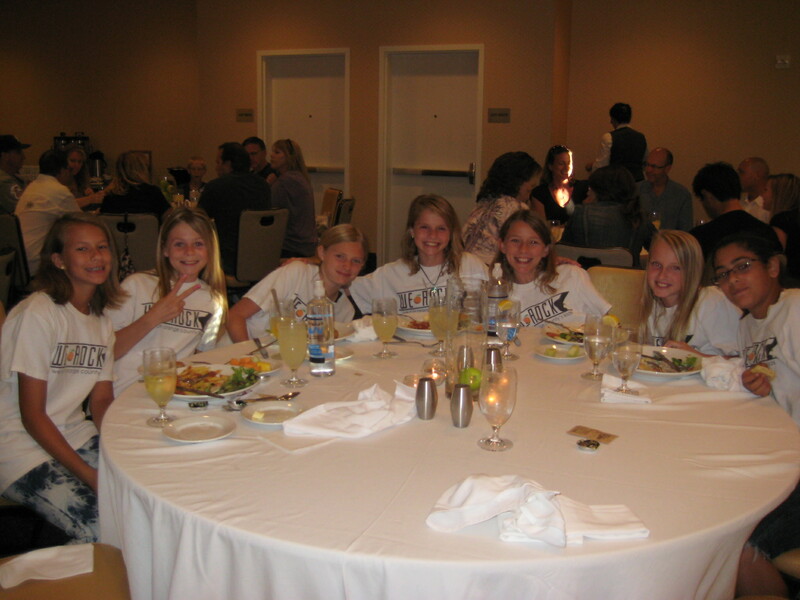 Later that night…..dinner with the team! 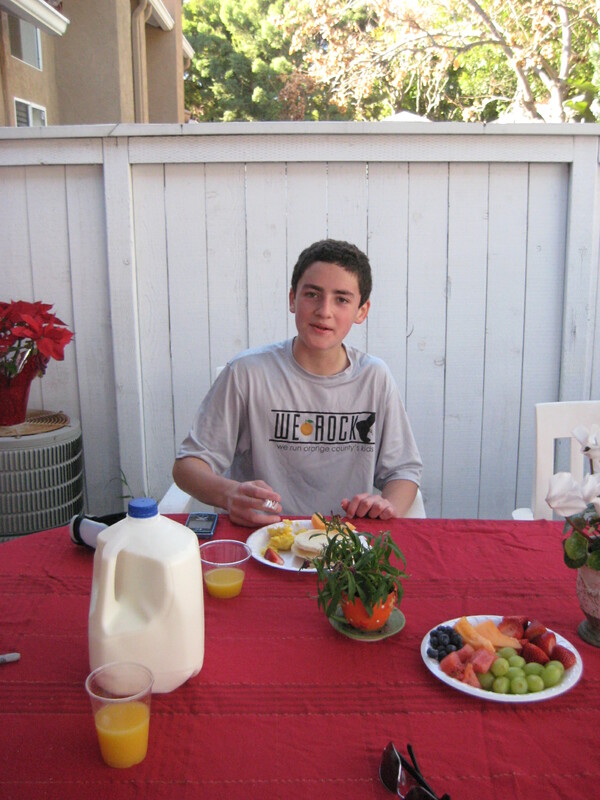 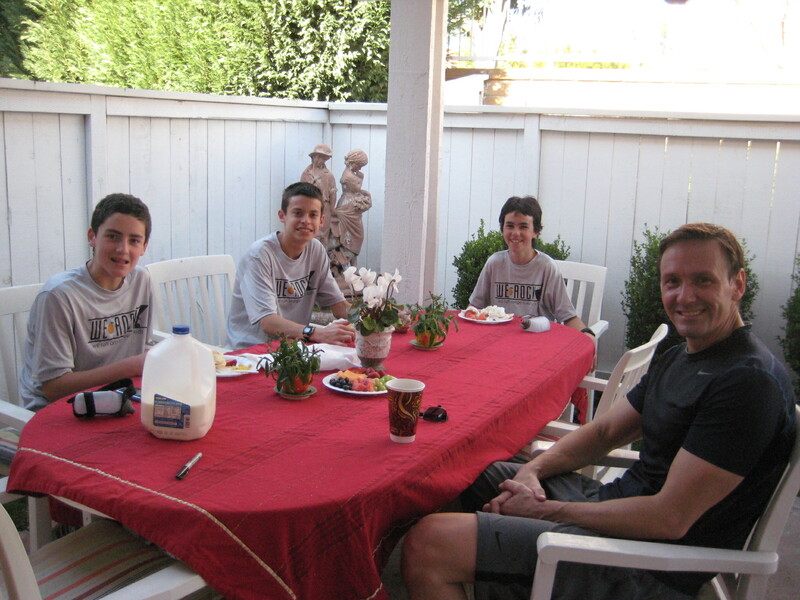 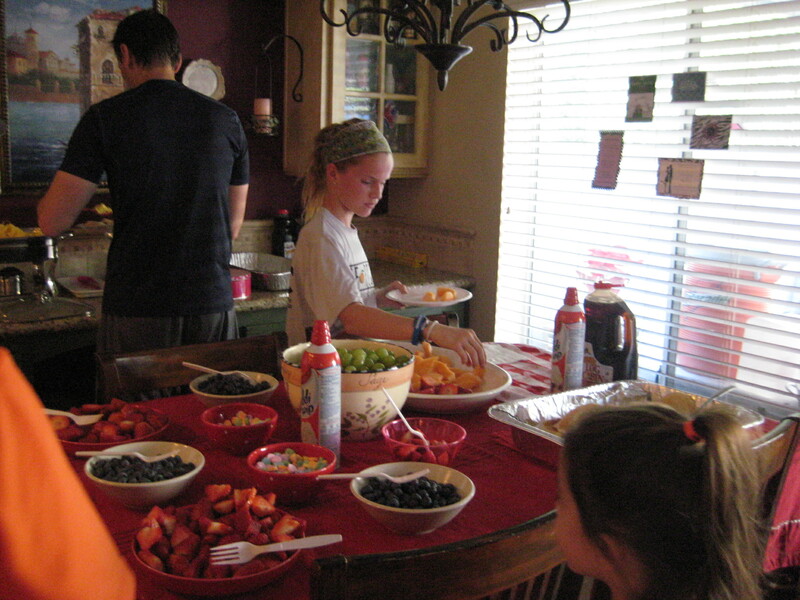 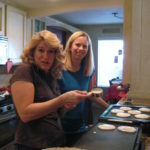 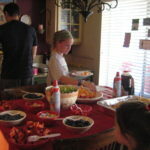 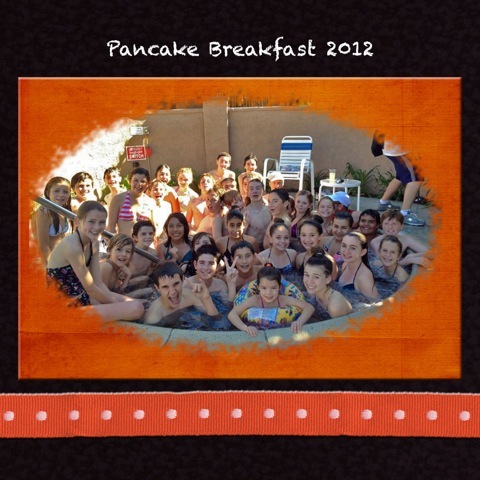 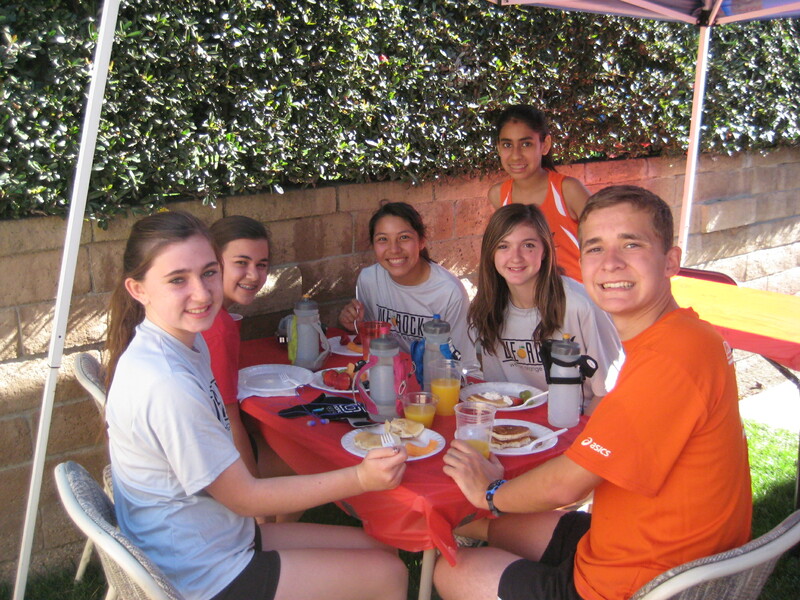 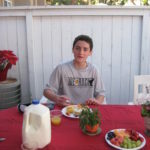 Doesn’t everyone enjoy pancakes, eggs, sausage and fresh fruit after a run? 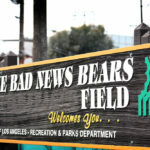 Well, we do at least once per season. 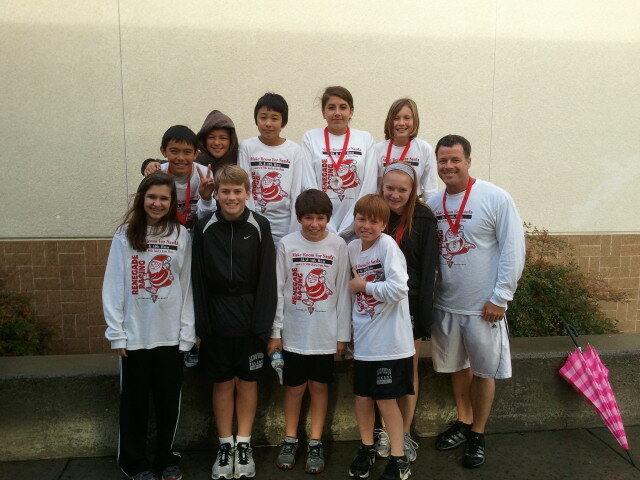 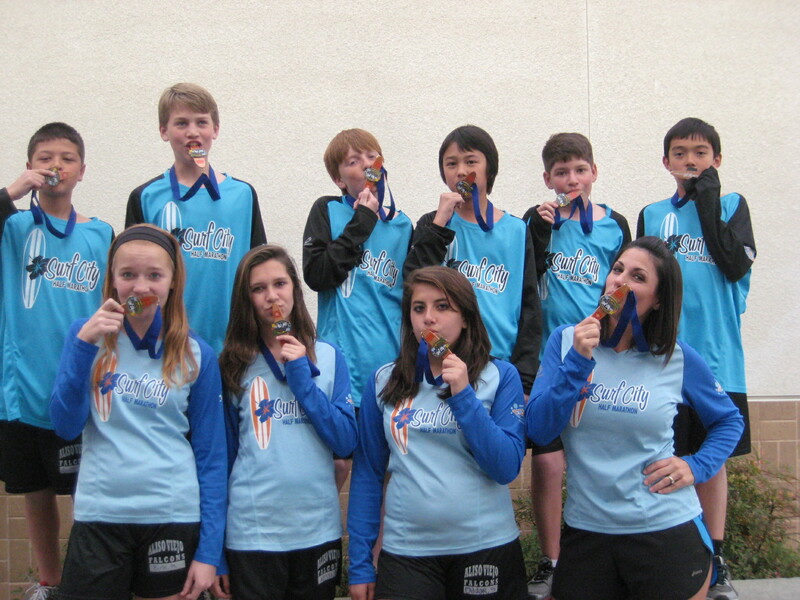 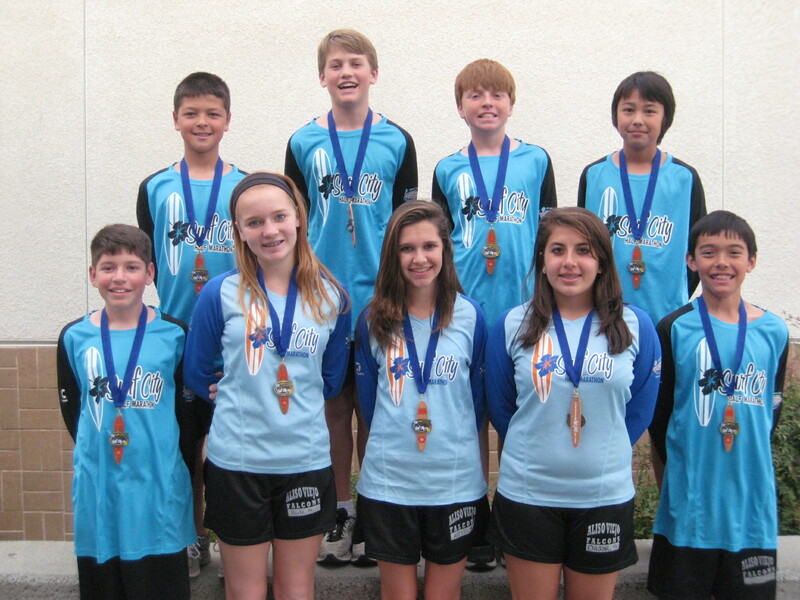 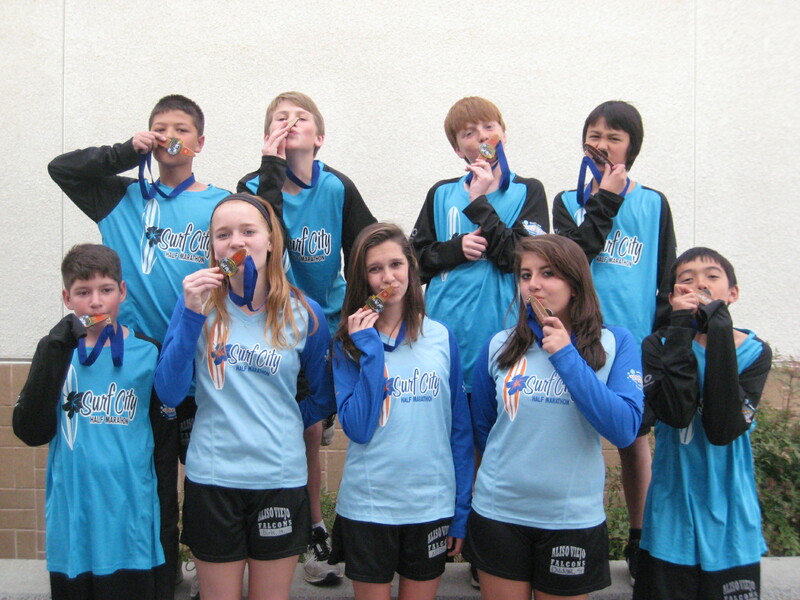 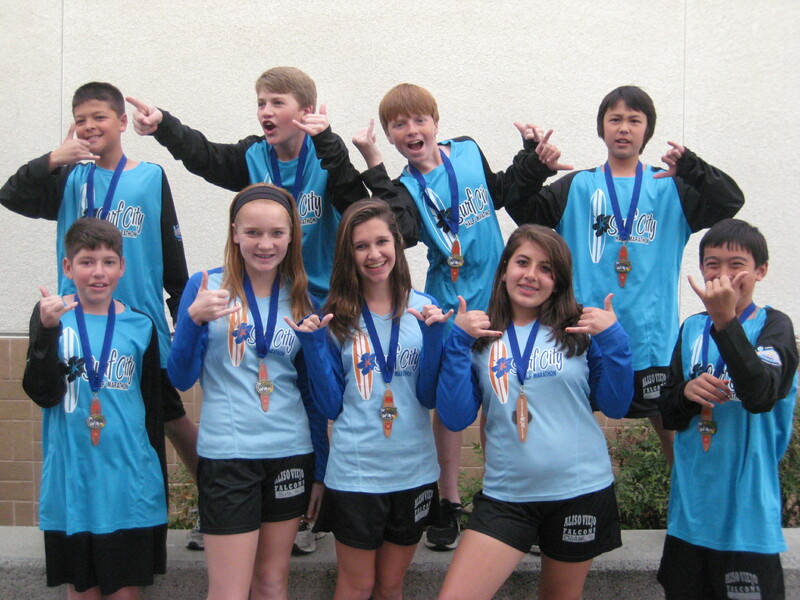 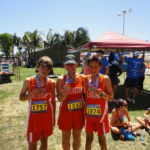 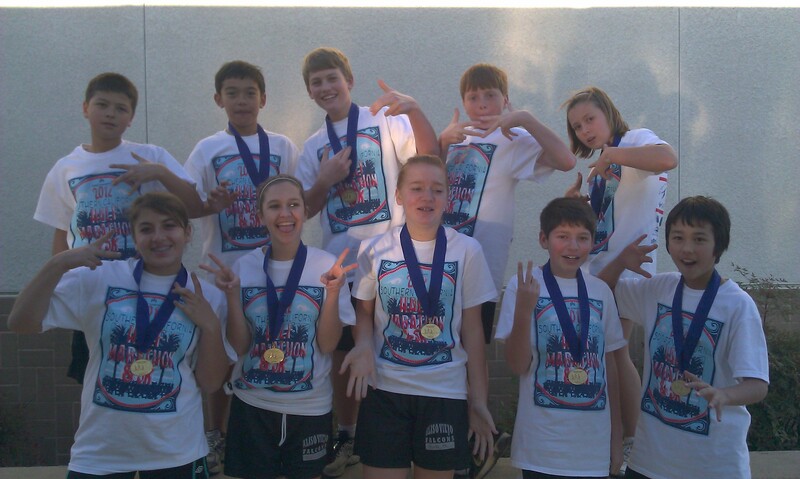 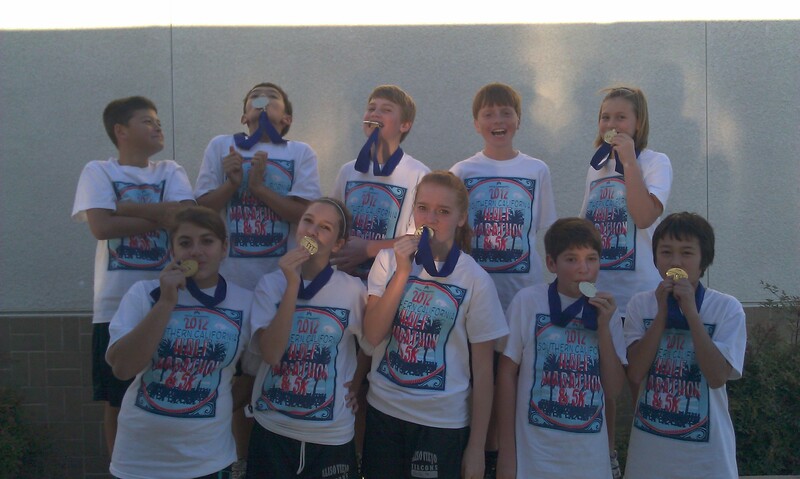 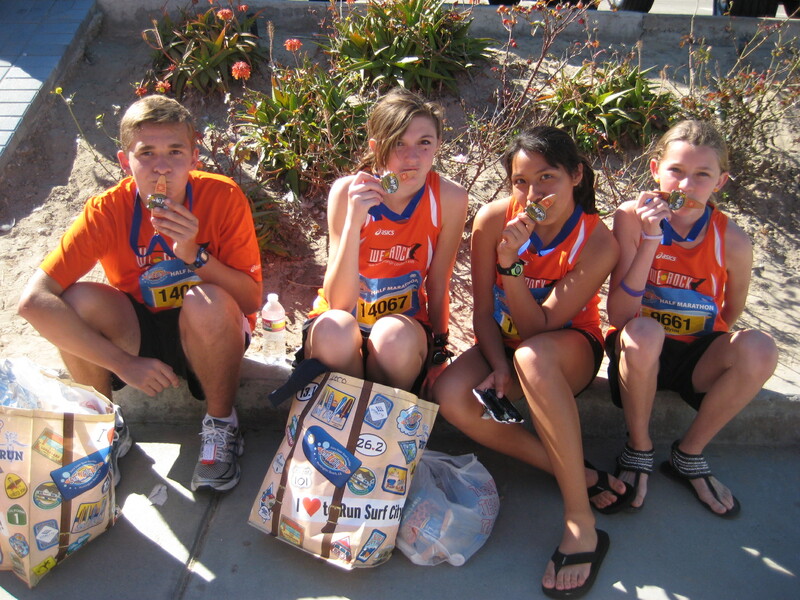 AVMS showing off their half shirts and medals. 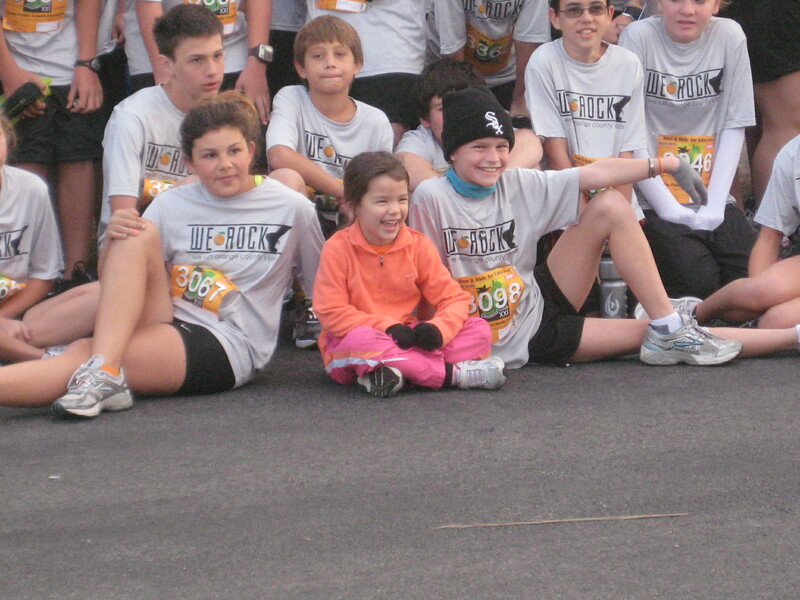 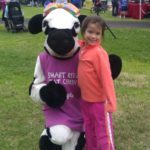 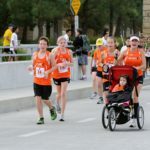 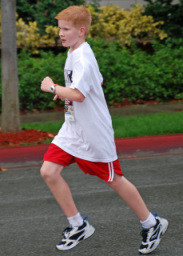 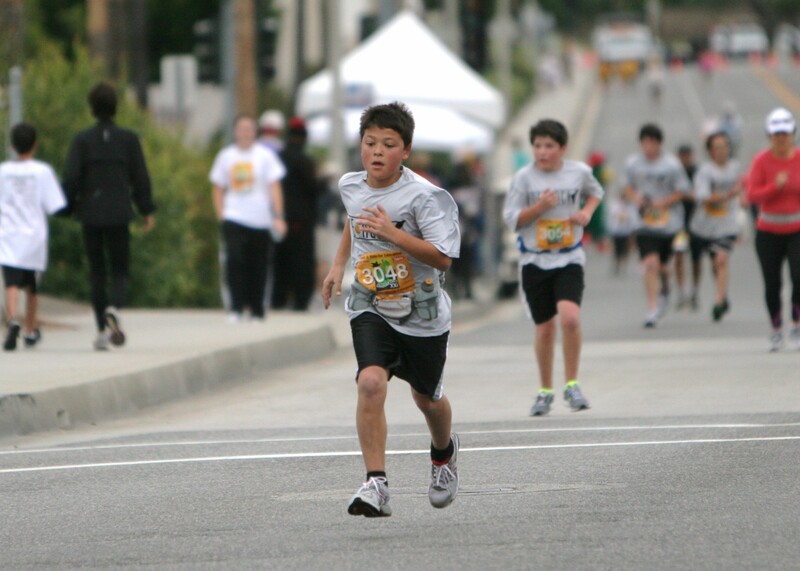 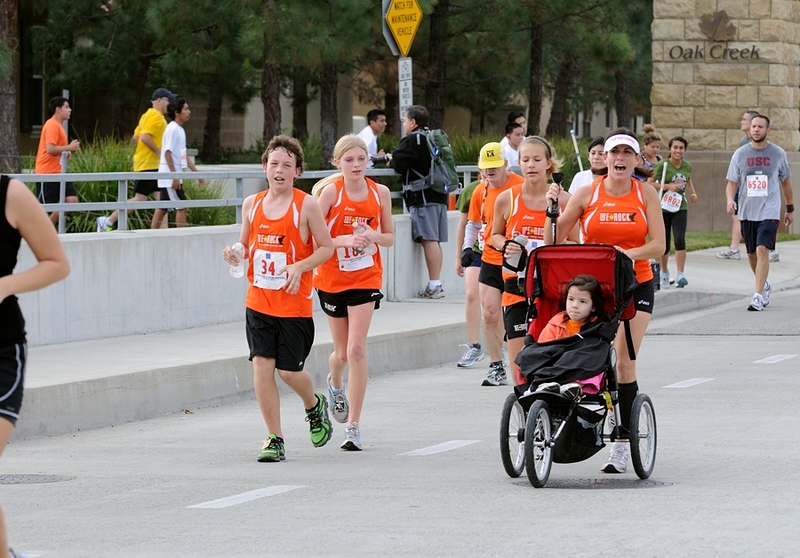 This race is all about the kids. 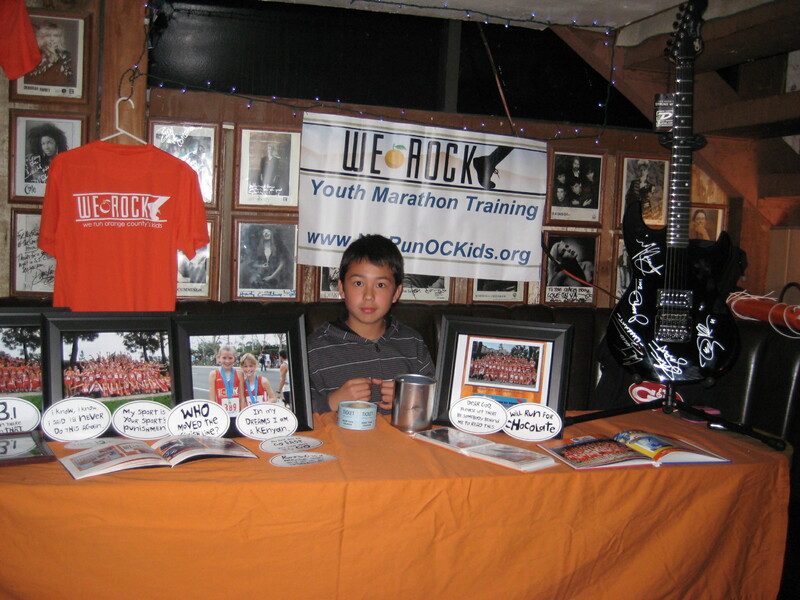 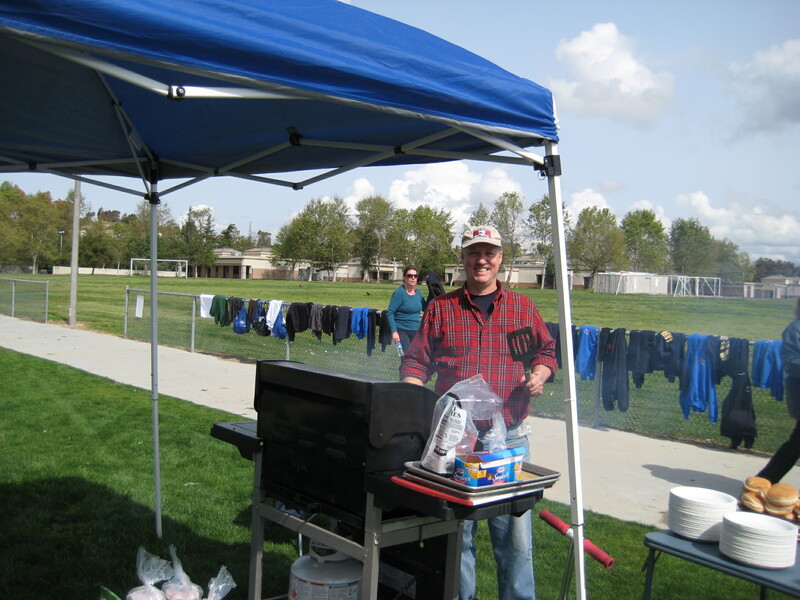 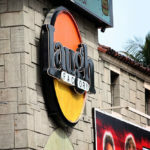 A fundraiser for Woodbridge High School that also supports WeROCK and SRLA. 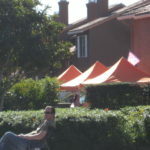 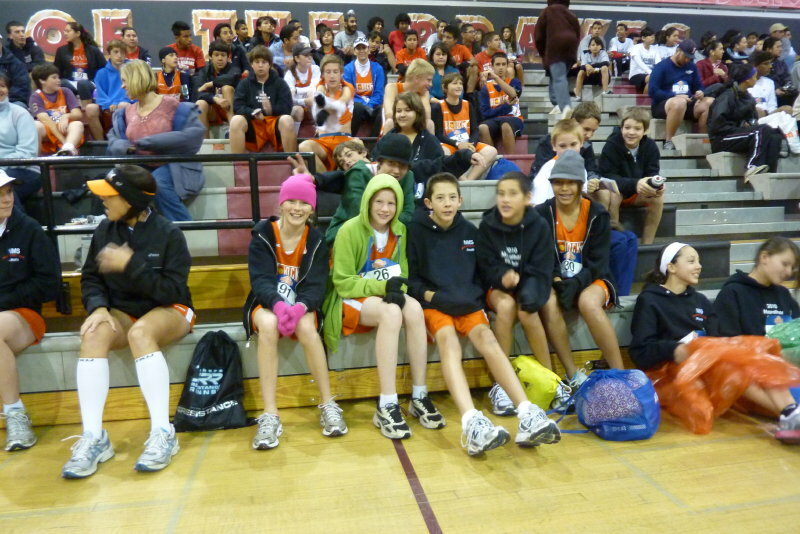 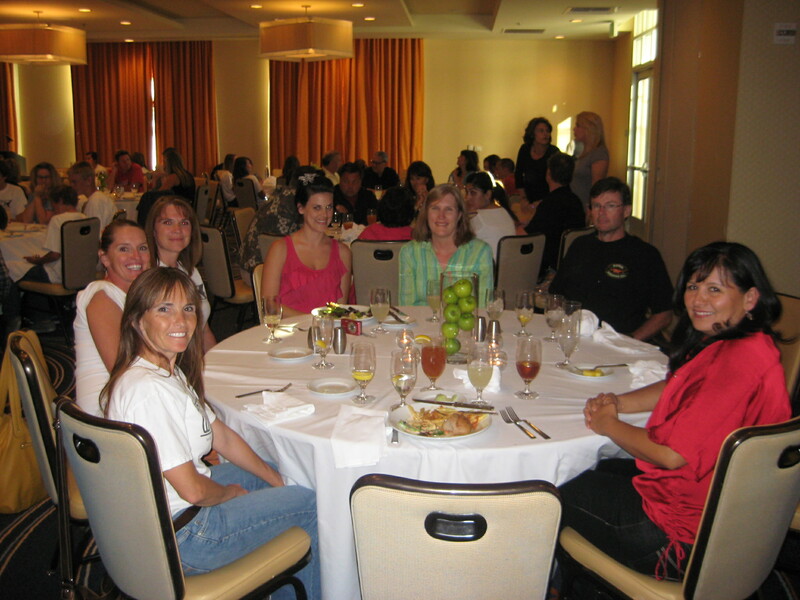 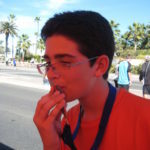 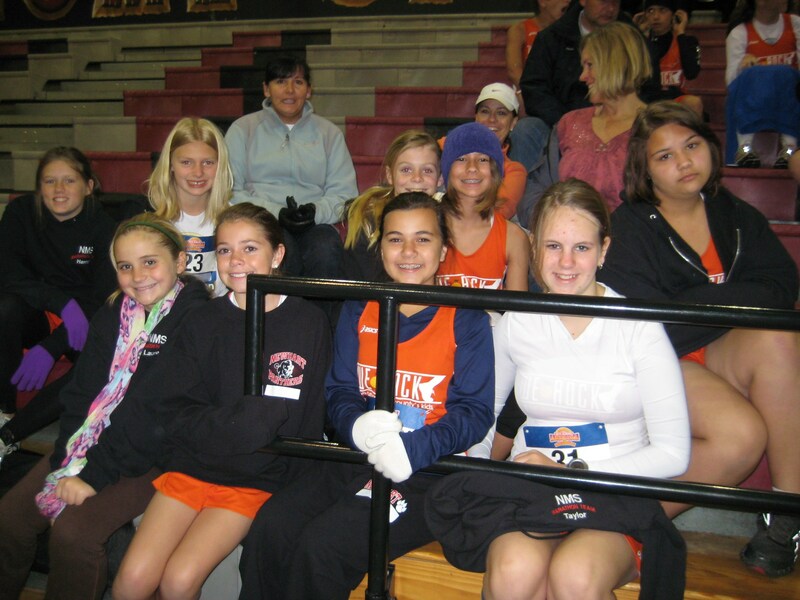 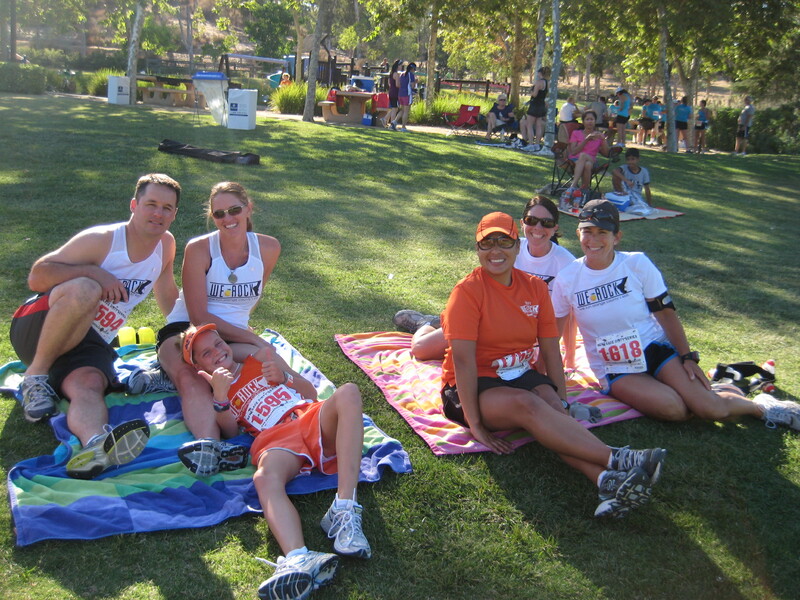 The event is spectator friendly and allows us the opportunity to see all of our team mates. 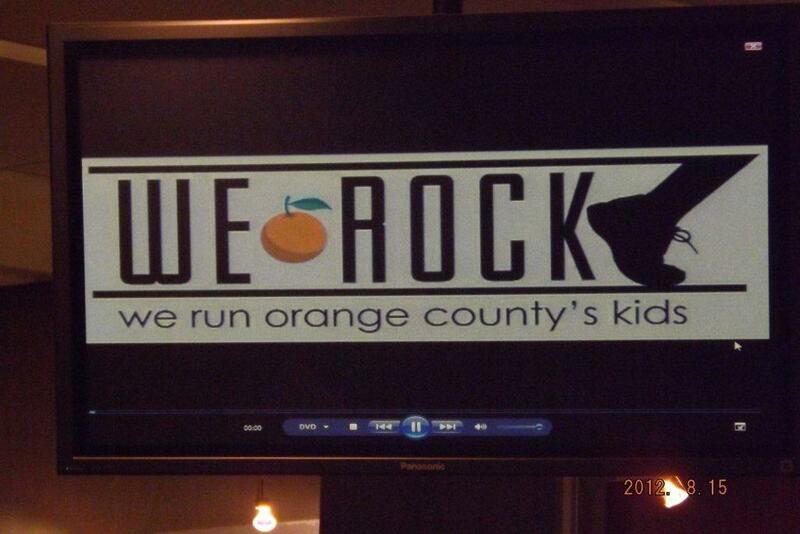 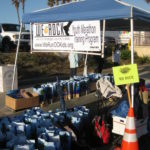 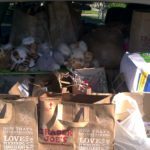 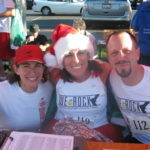 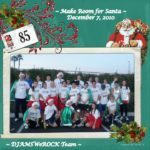 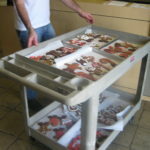 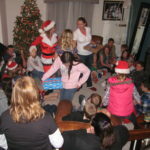 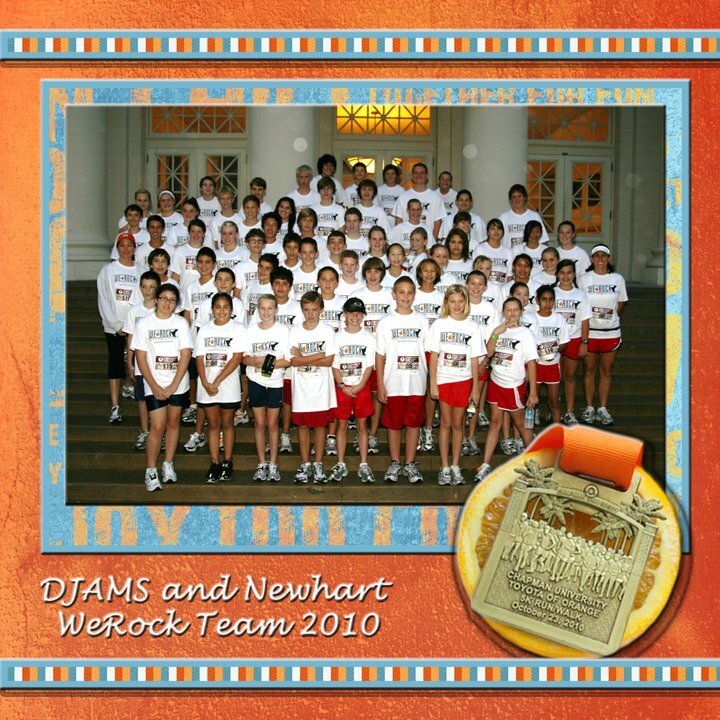 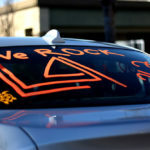 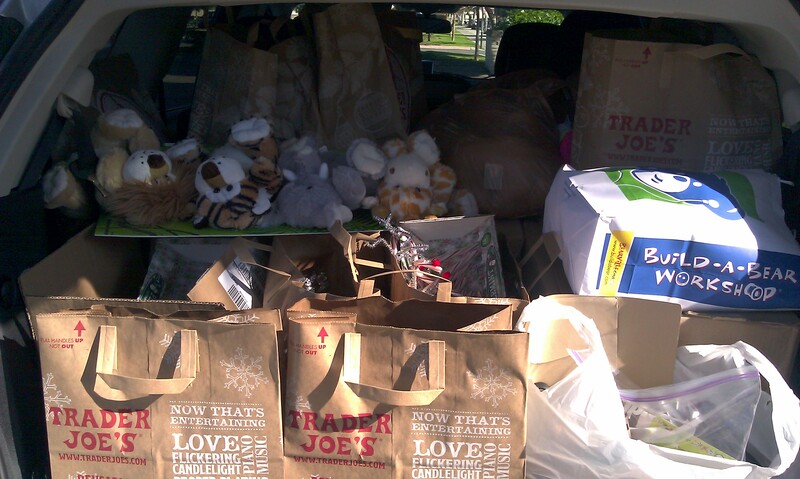 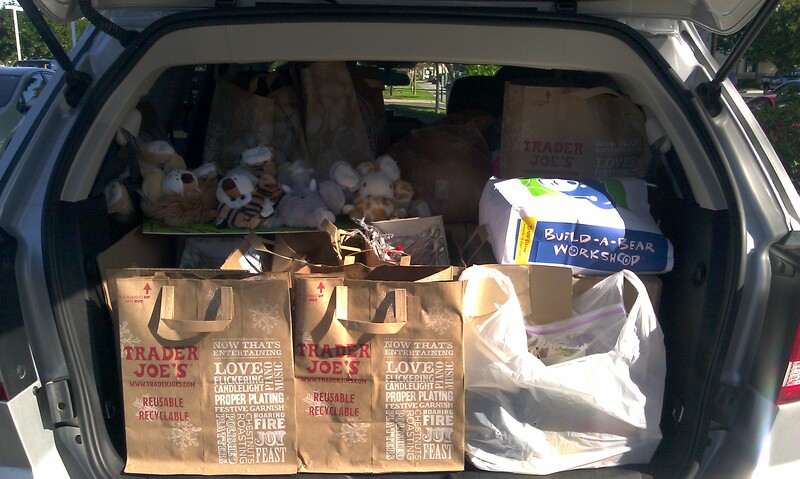 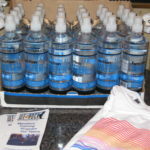 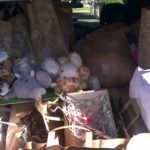 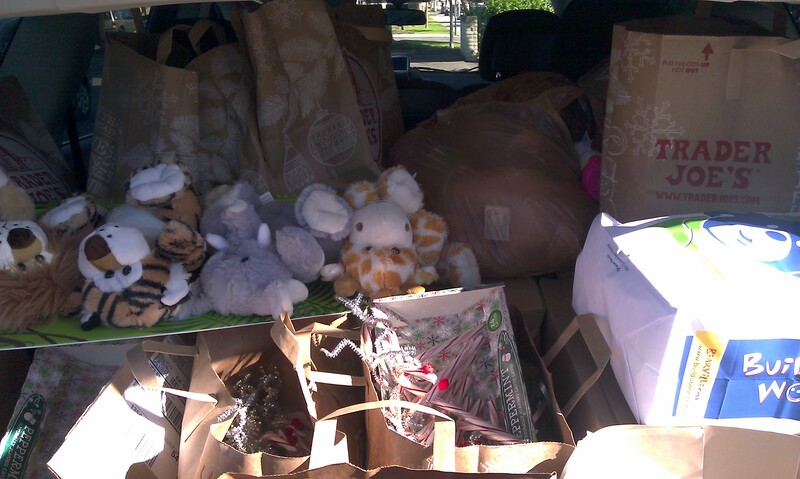 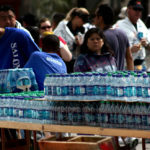 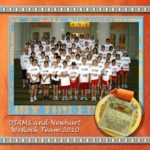 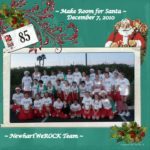 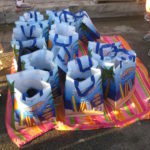 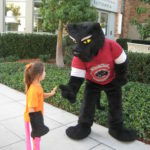 Each year WeROCK likes to donate or assist another non-profit charity. 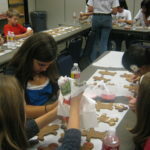 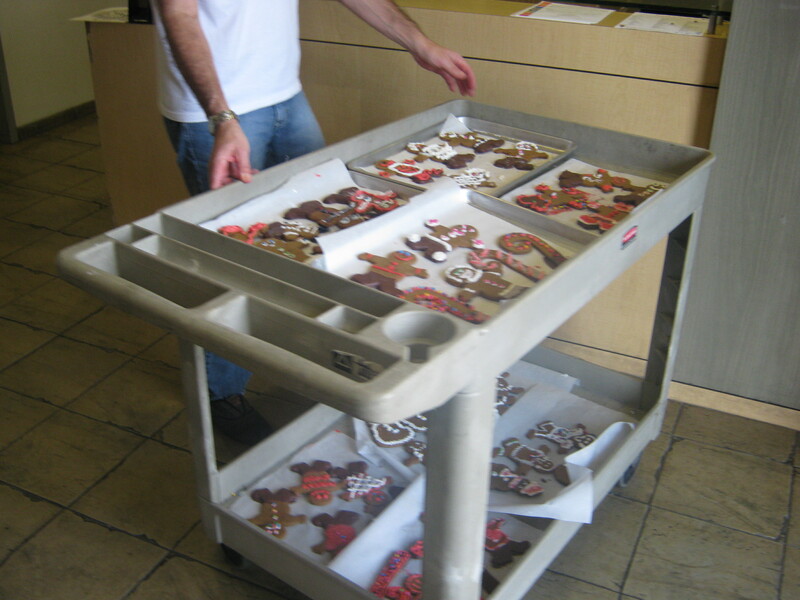 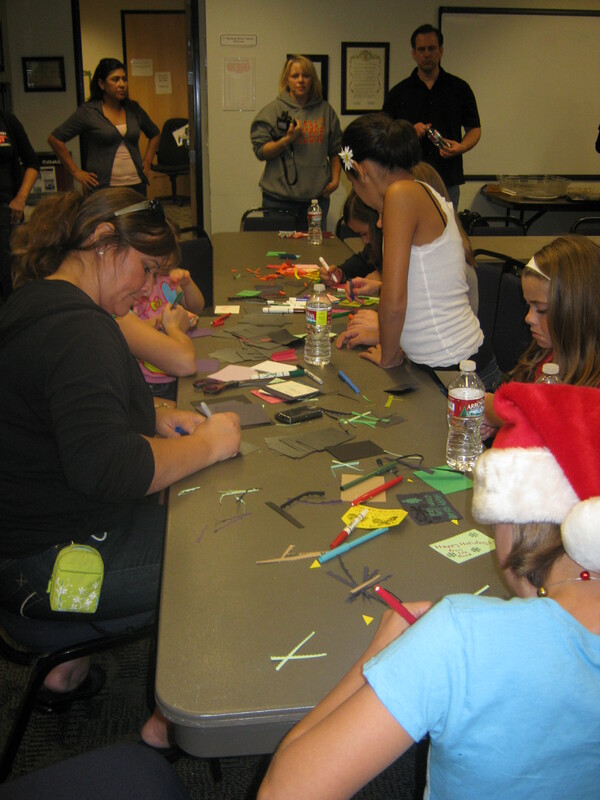 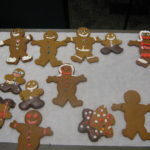 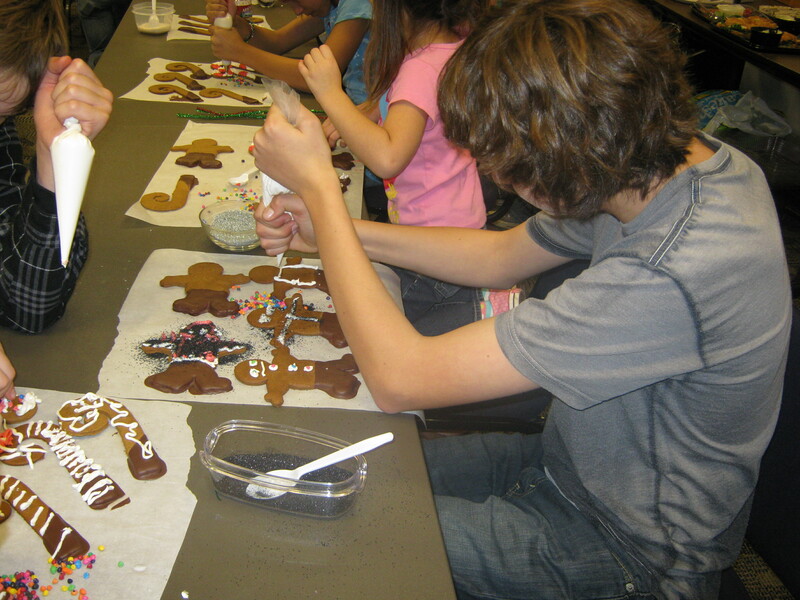 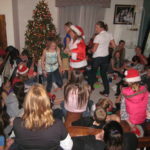 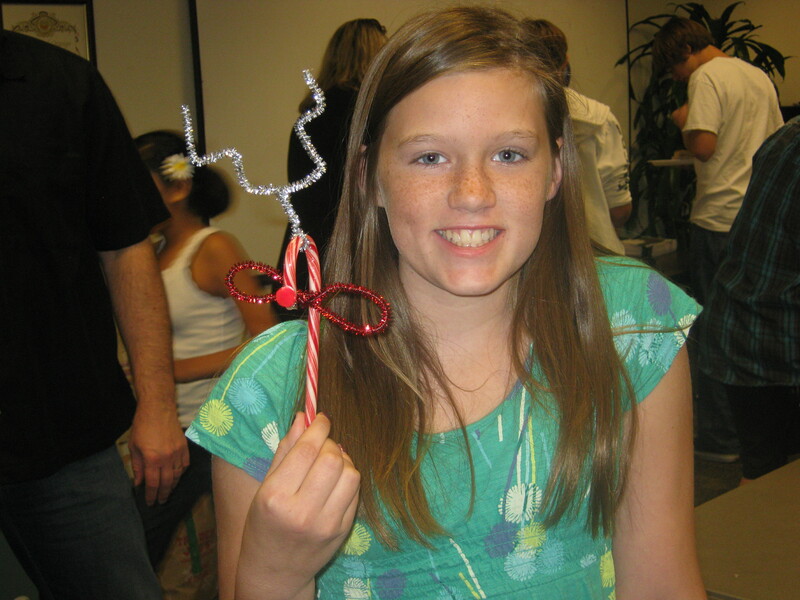 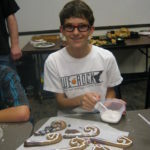 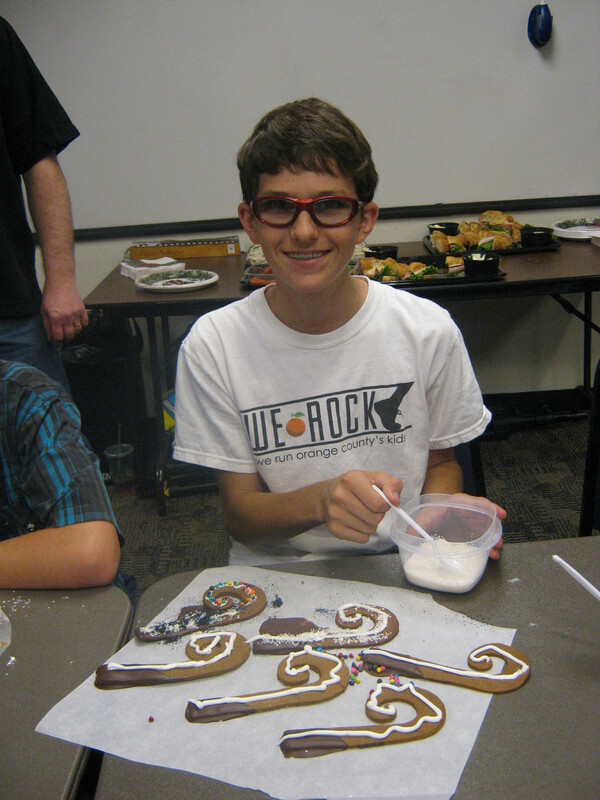 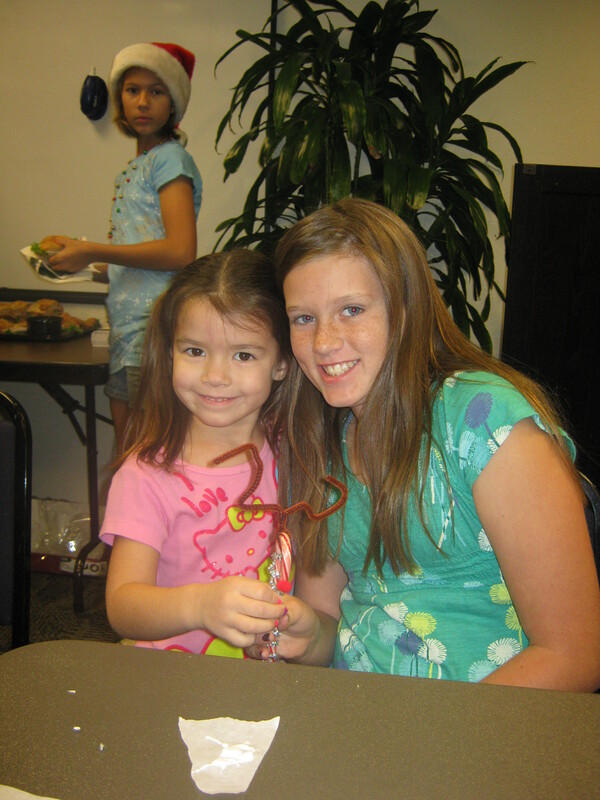 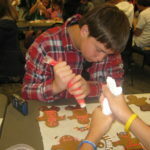 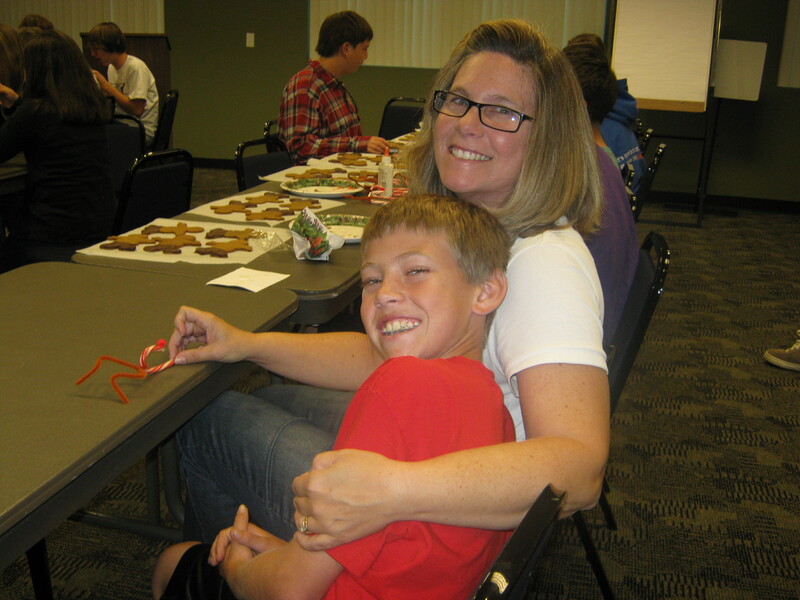 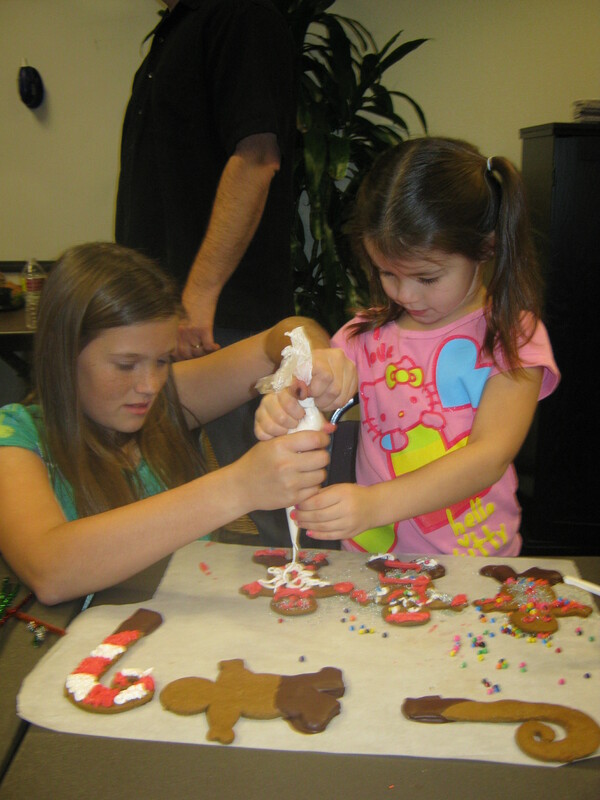 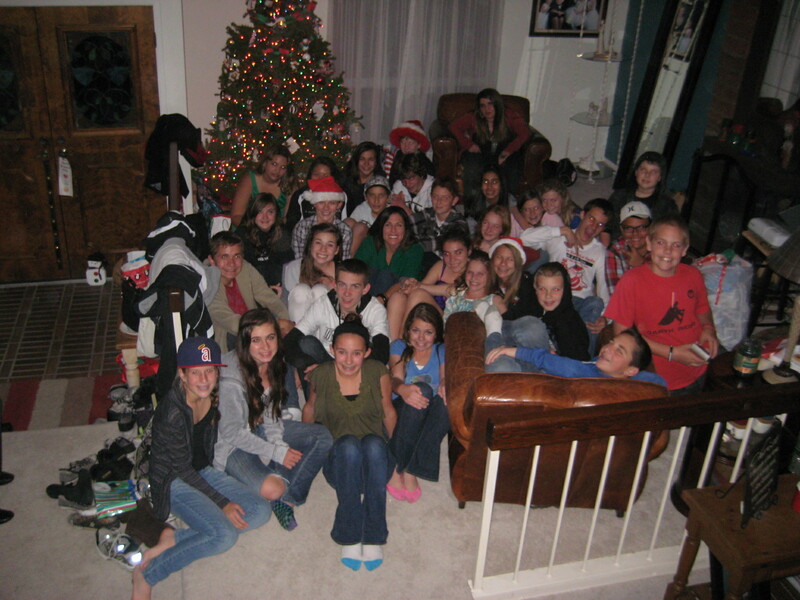 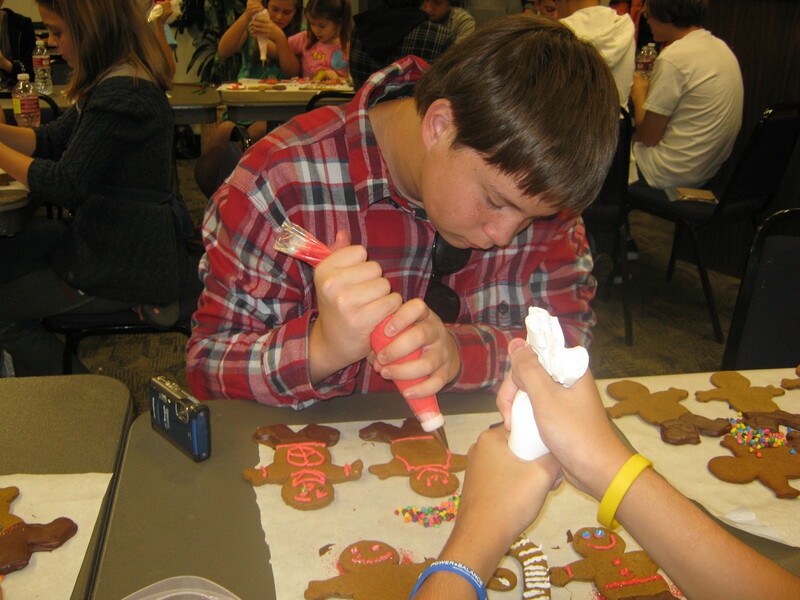 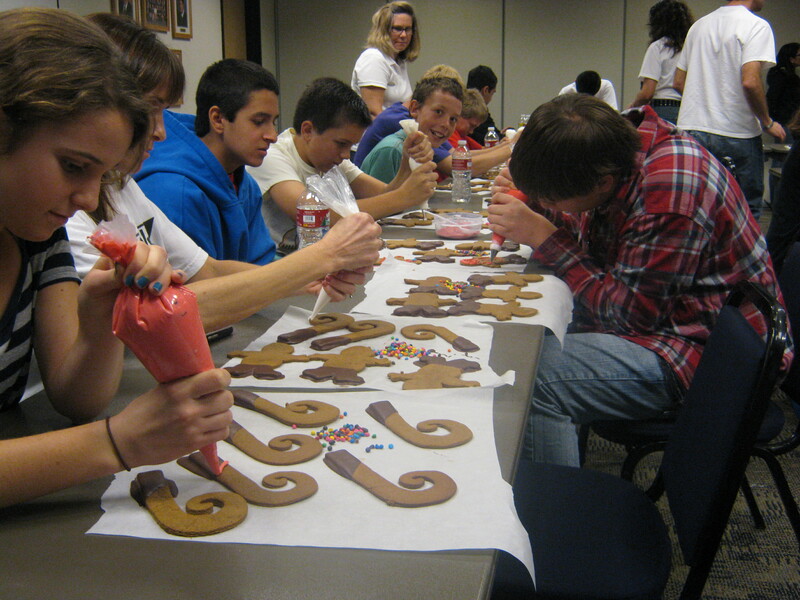 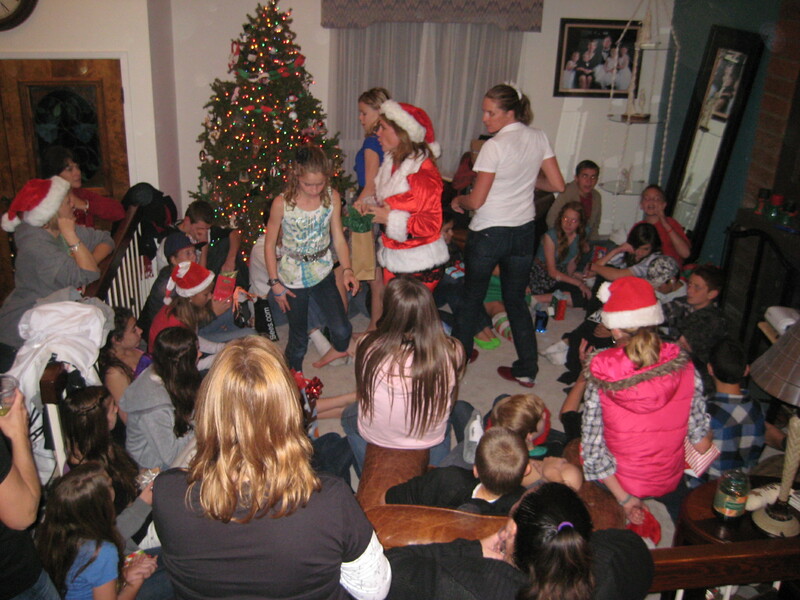 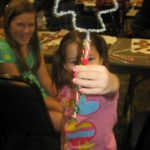 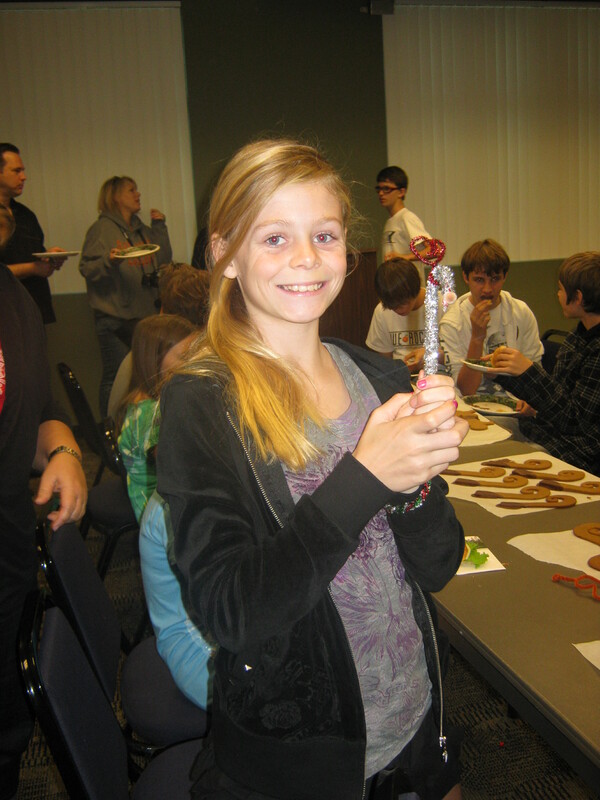 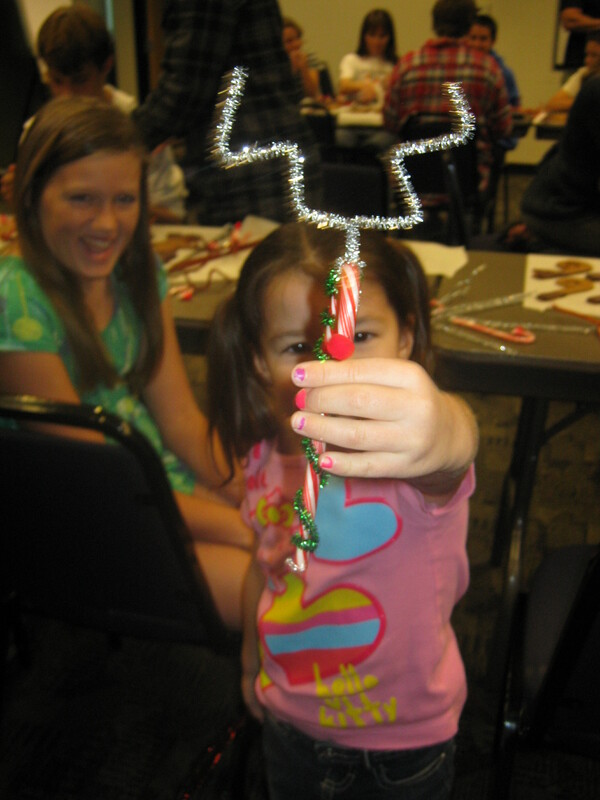 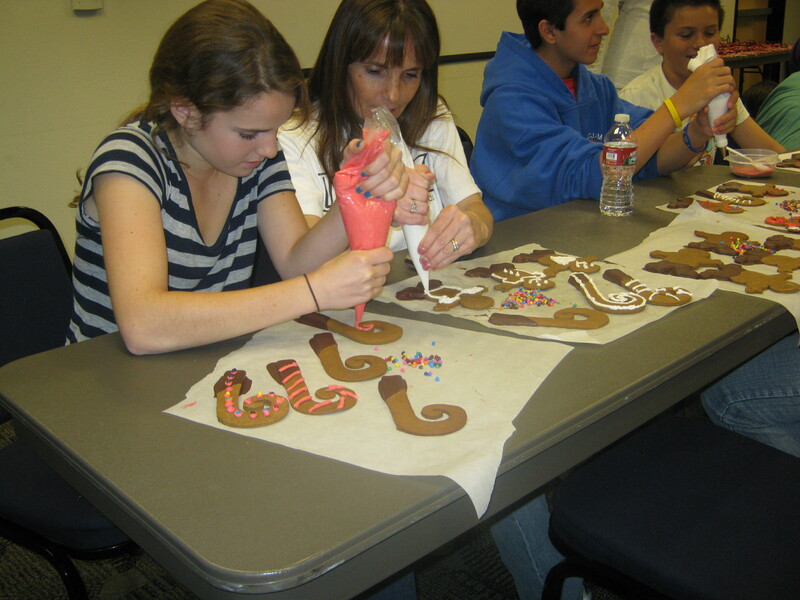 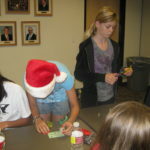 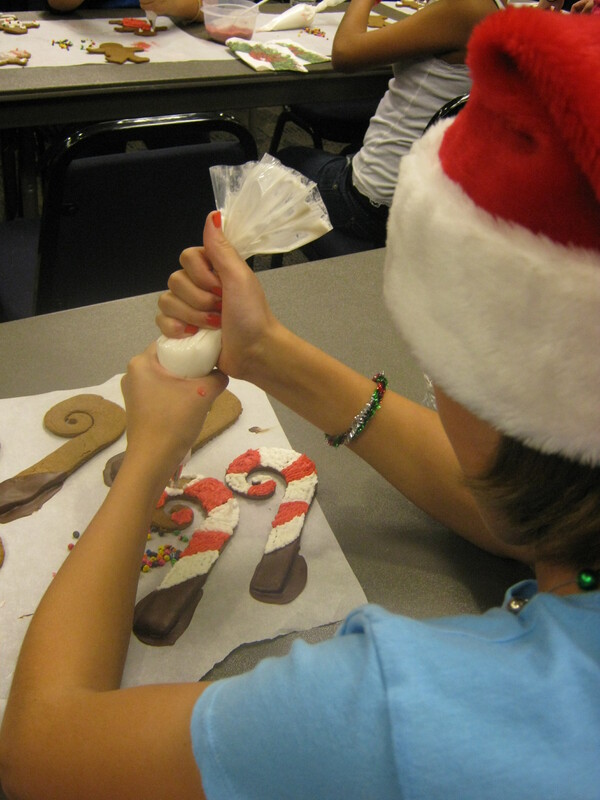 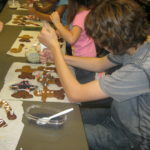 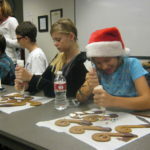 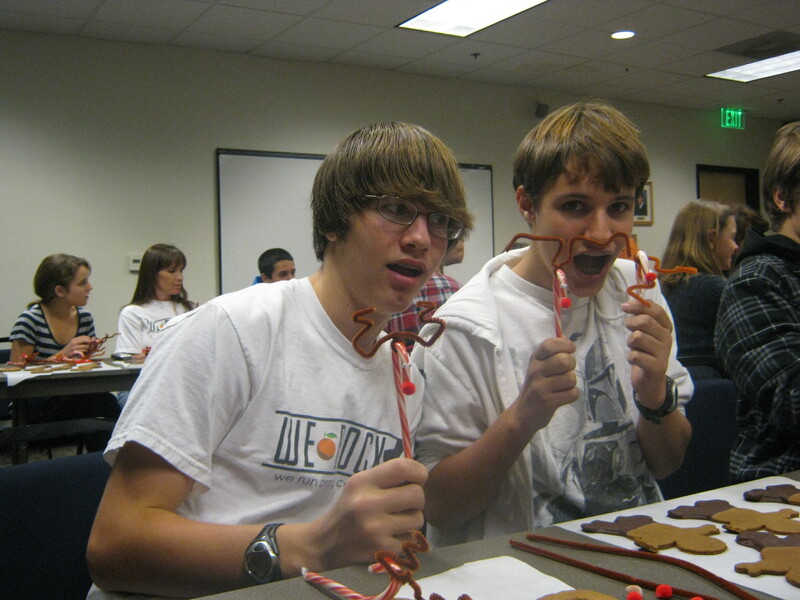 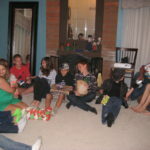 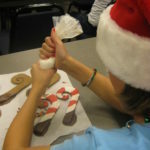 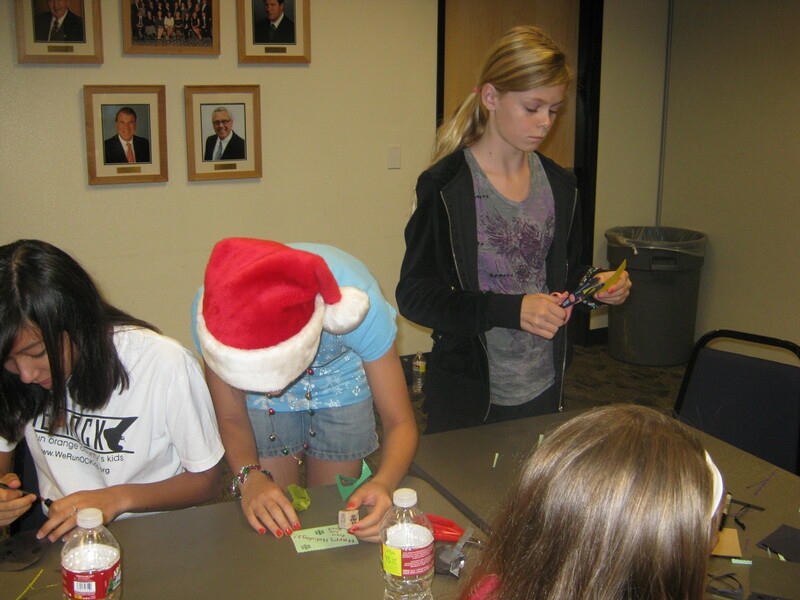 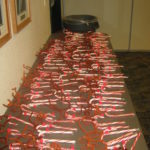 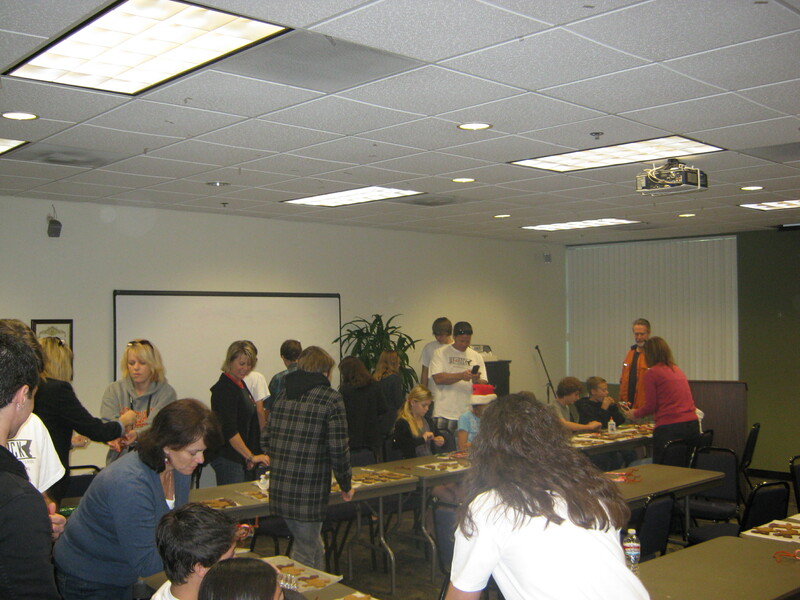 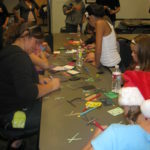 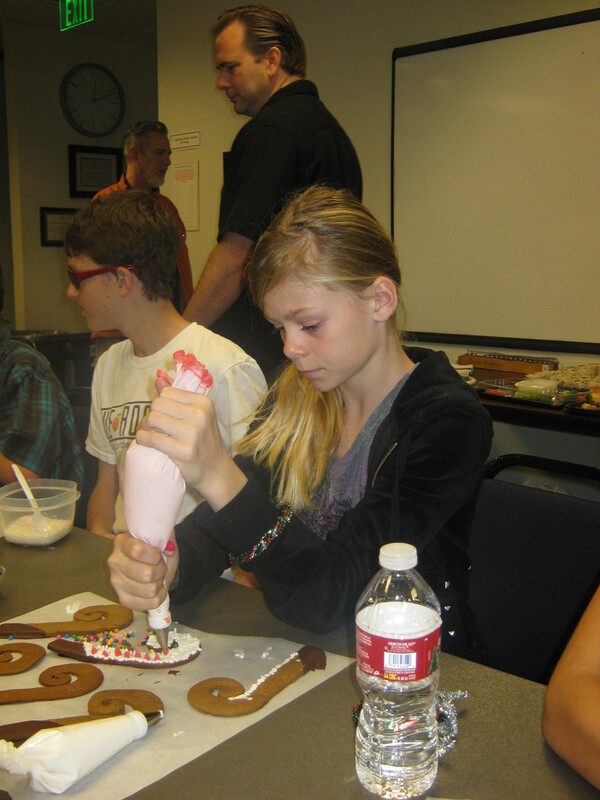 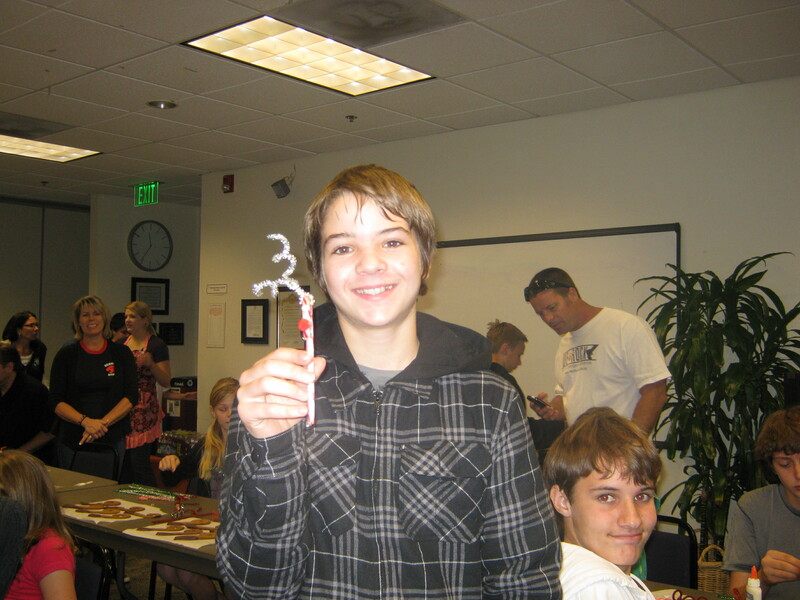 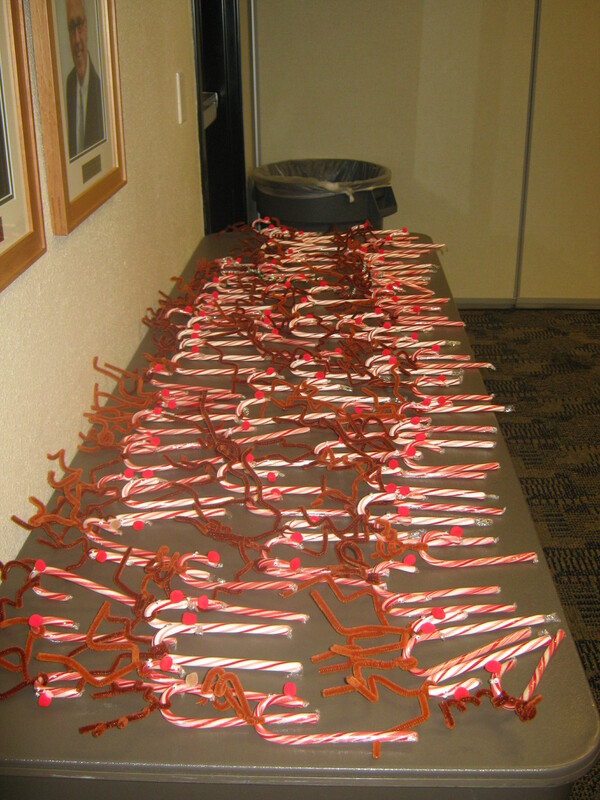 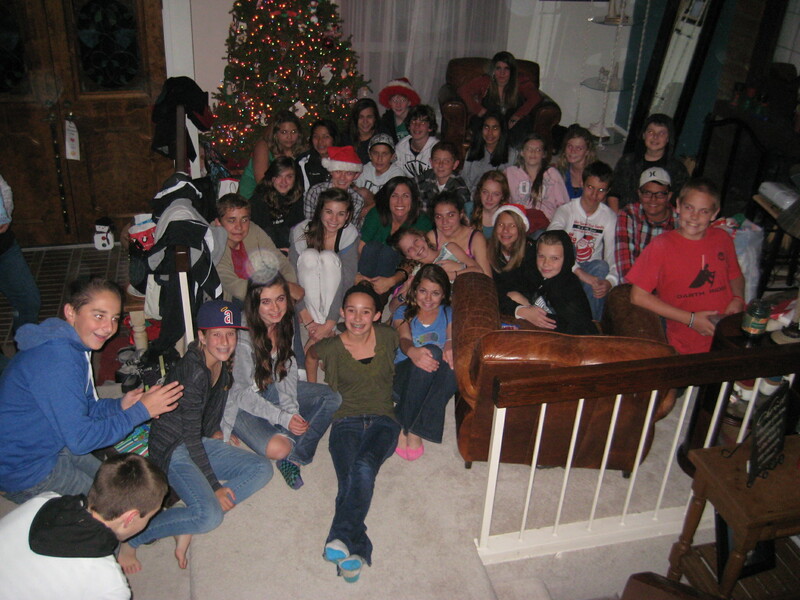 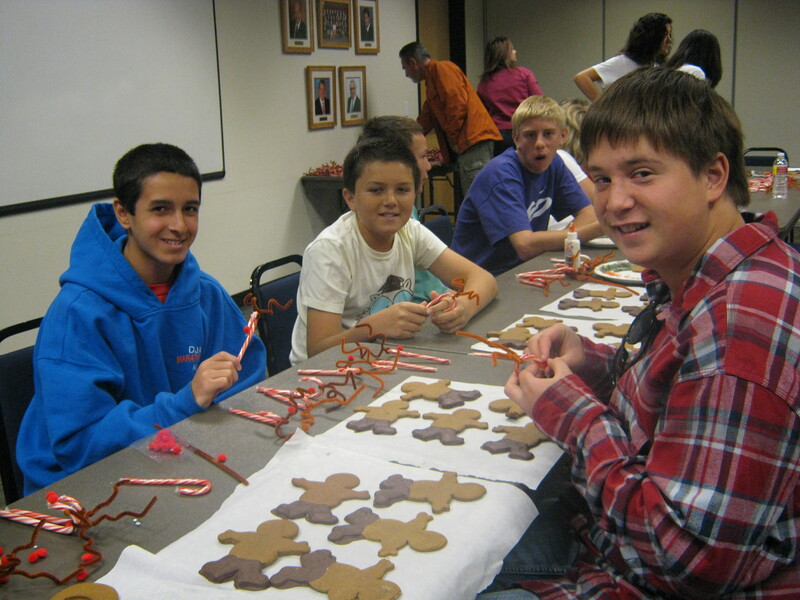 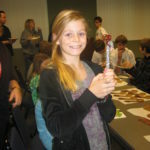 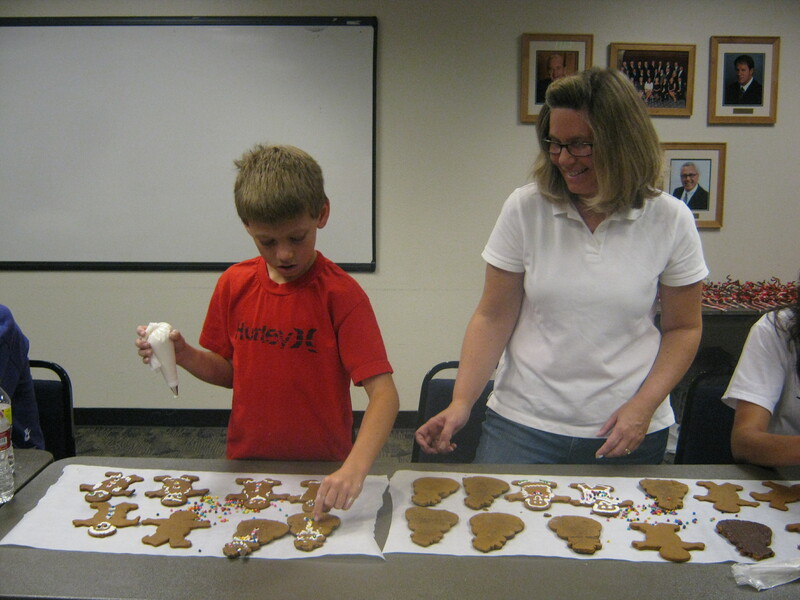 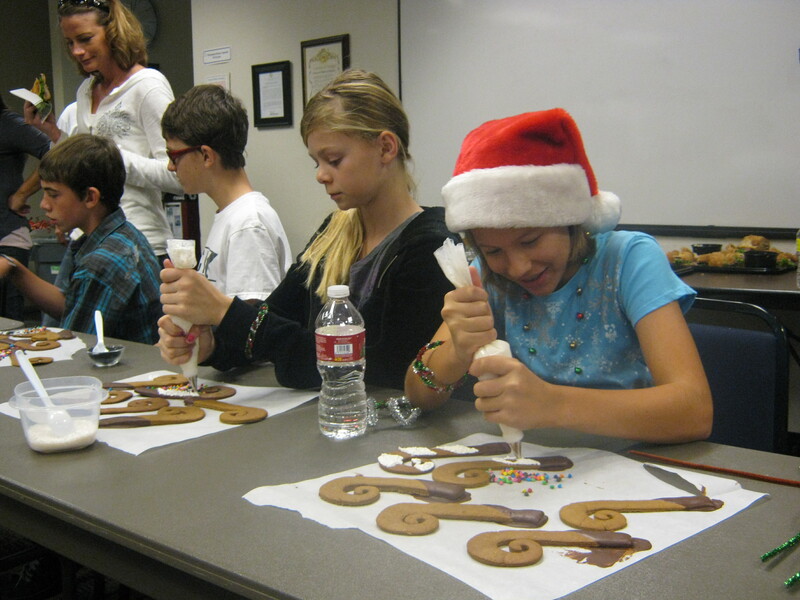 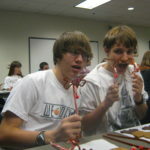 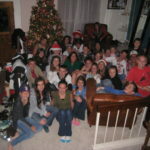 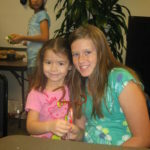 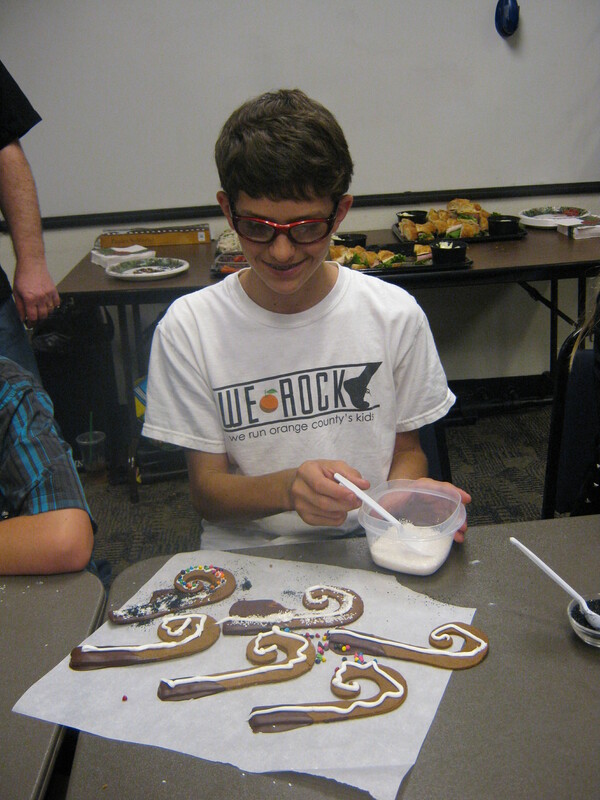 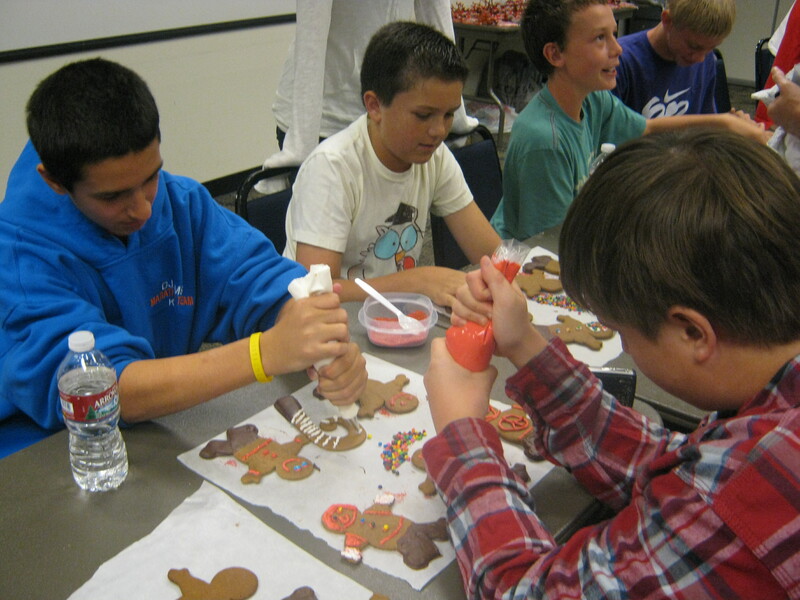 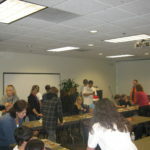 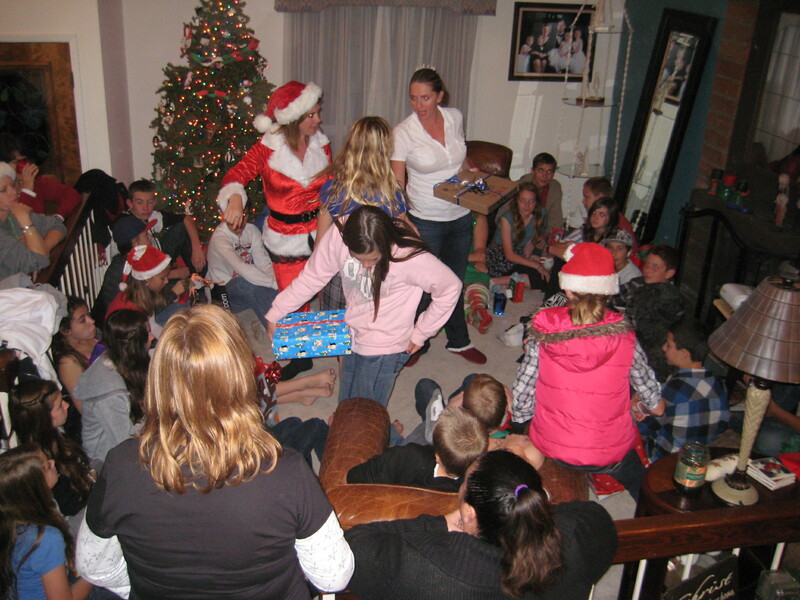 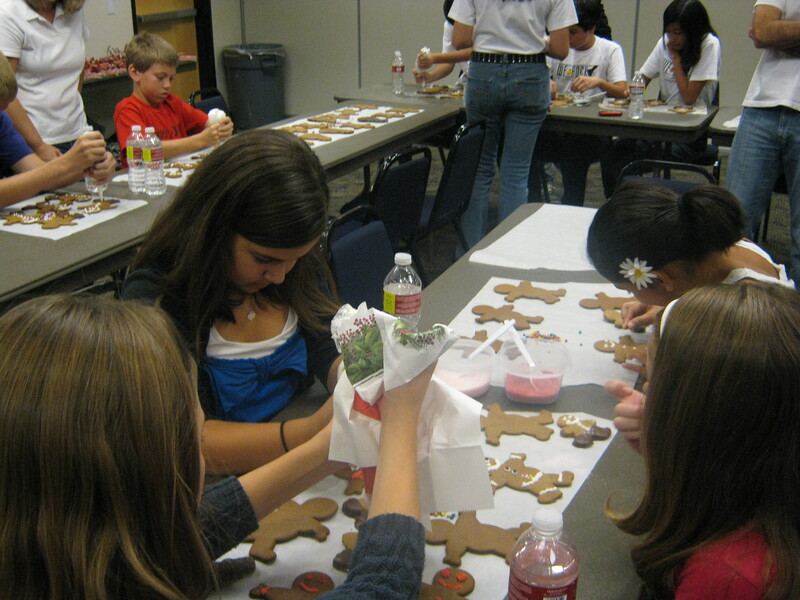 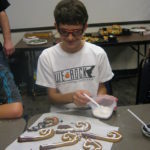 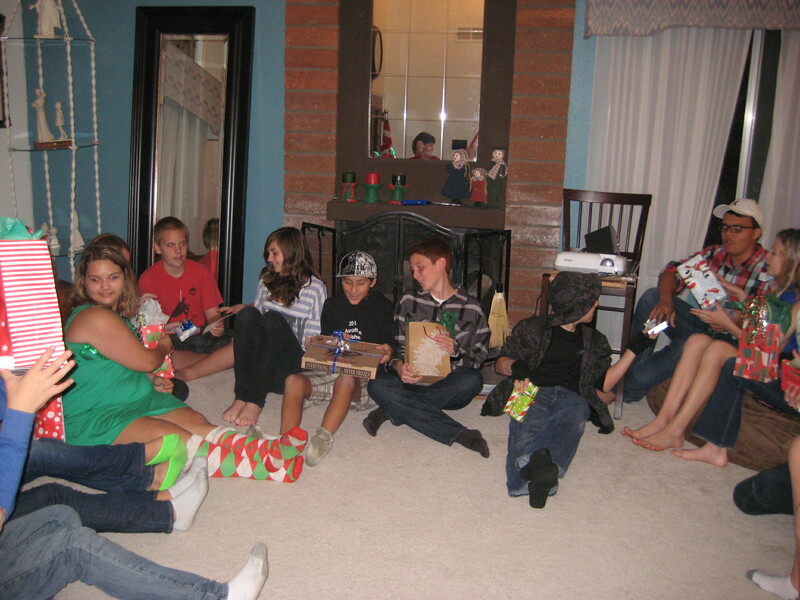 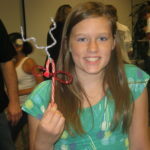 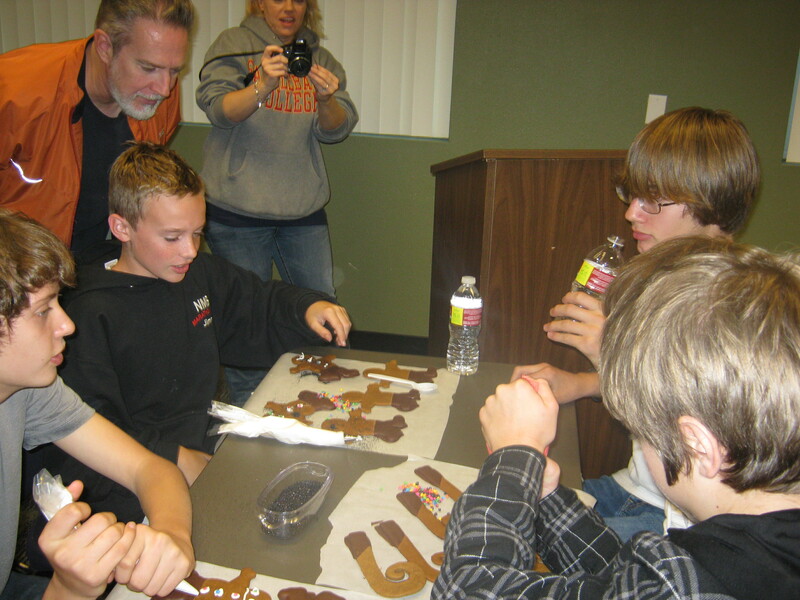 This year we assisted with their annual Christmas party by preparing candy canes for the kids and donating toys. 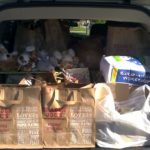 My entire car was FILLED! 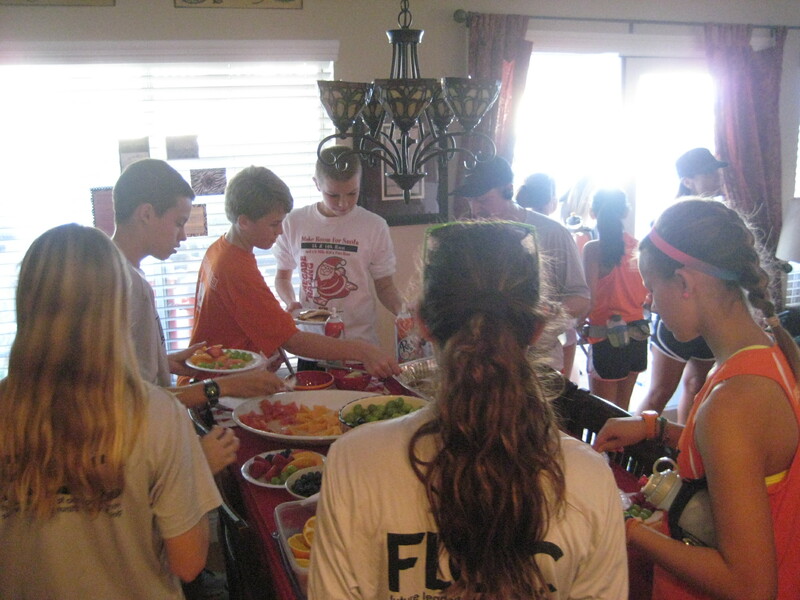 It felt good for the team to give back. 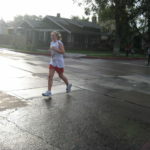 Rain followed the Santa Run. 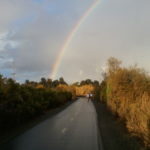 We didn’t mind because the rainbow made it all worth it. 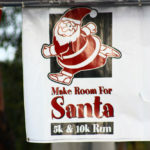 Our most festive race of the season. 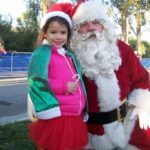 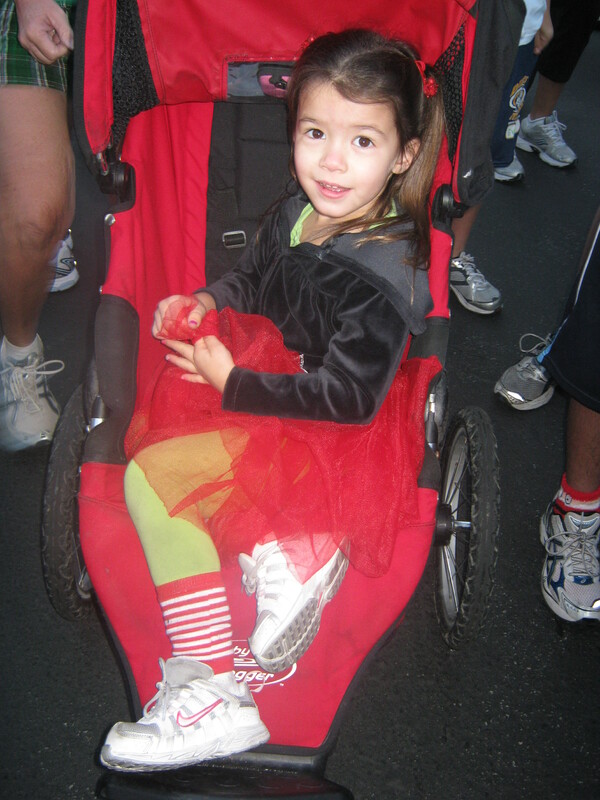 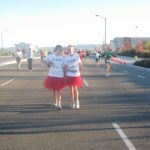 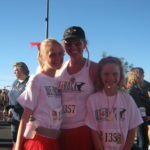 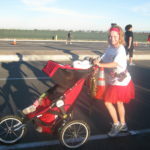 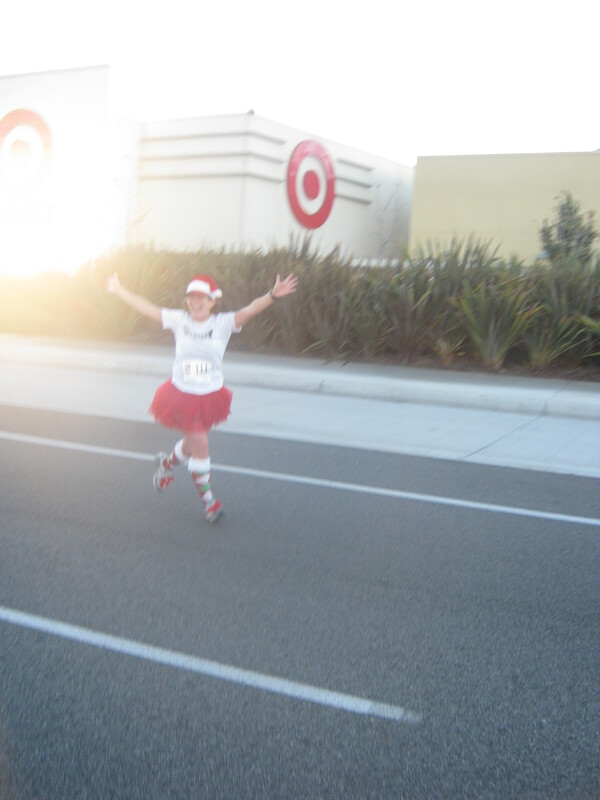 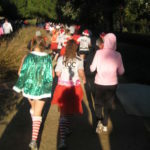 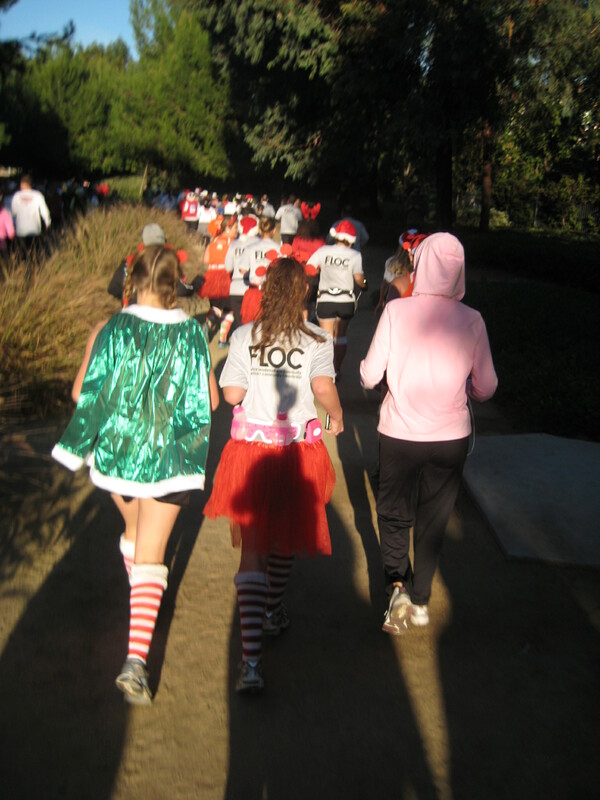 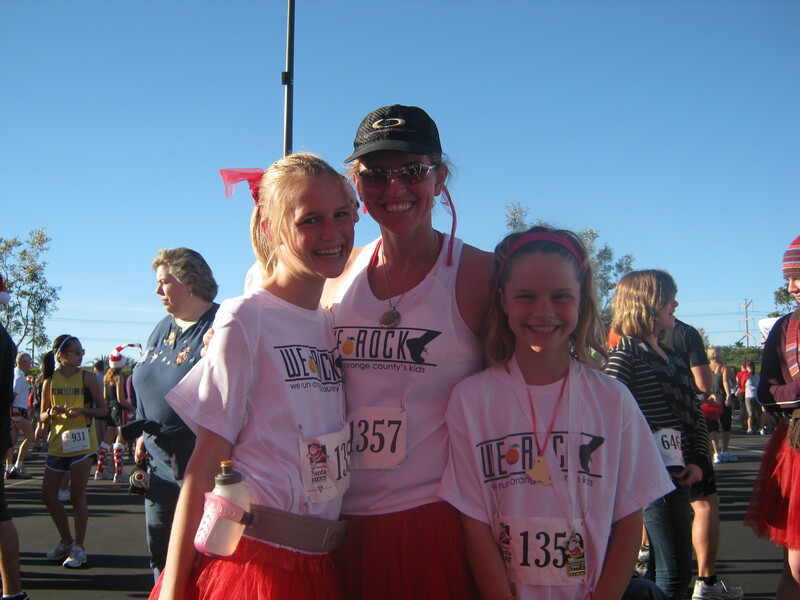 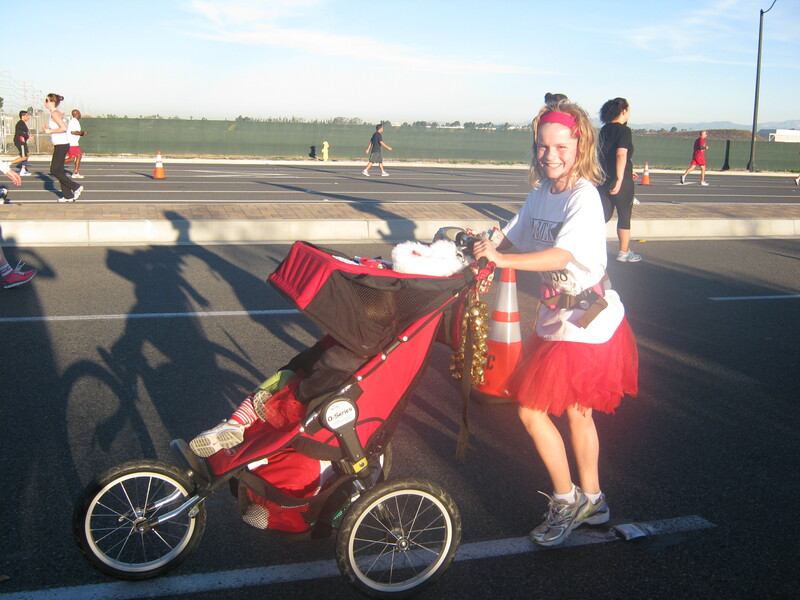 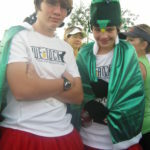 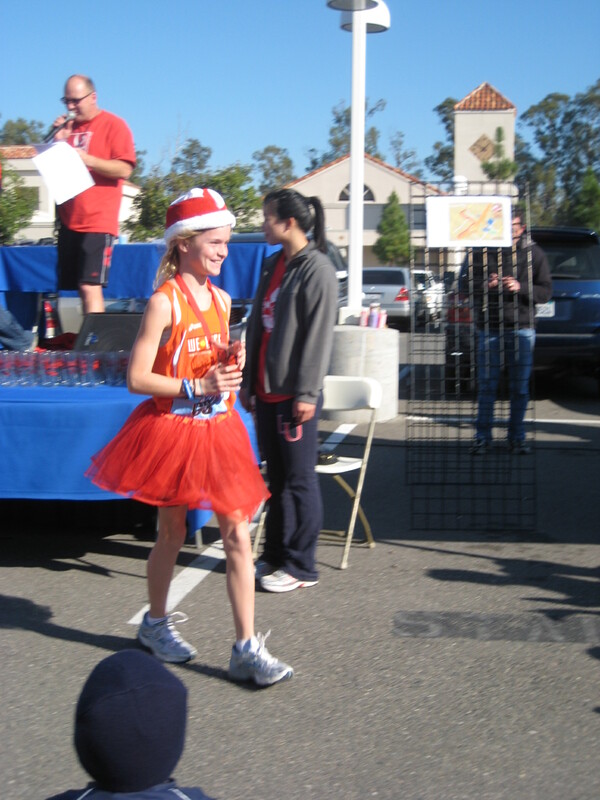 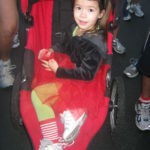 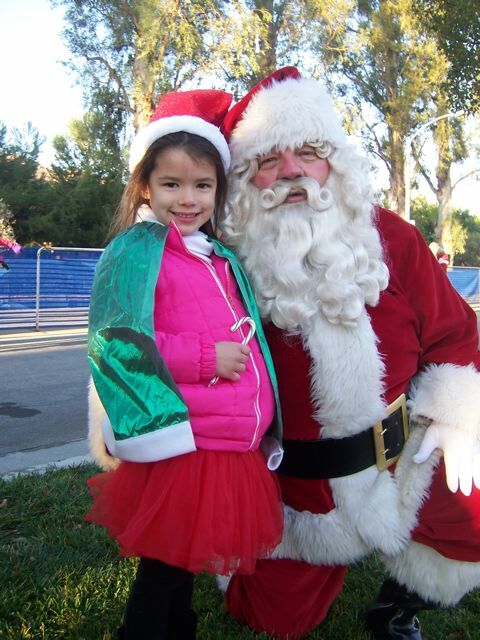 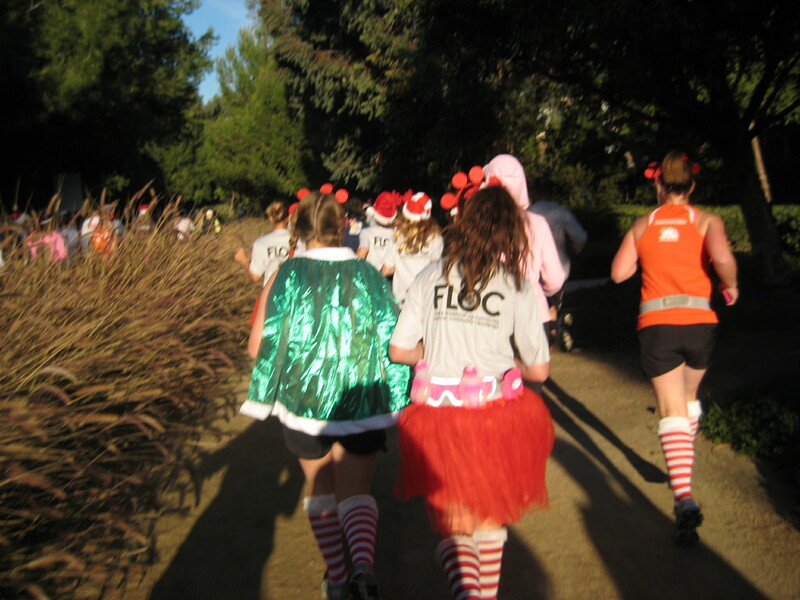 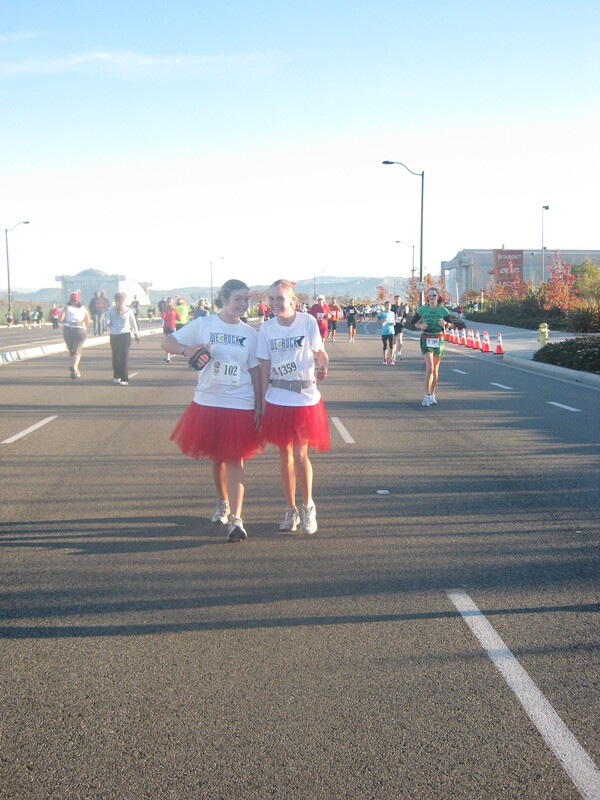 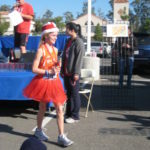 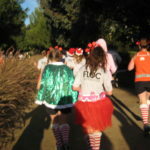 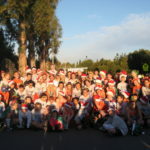 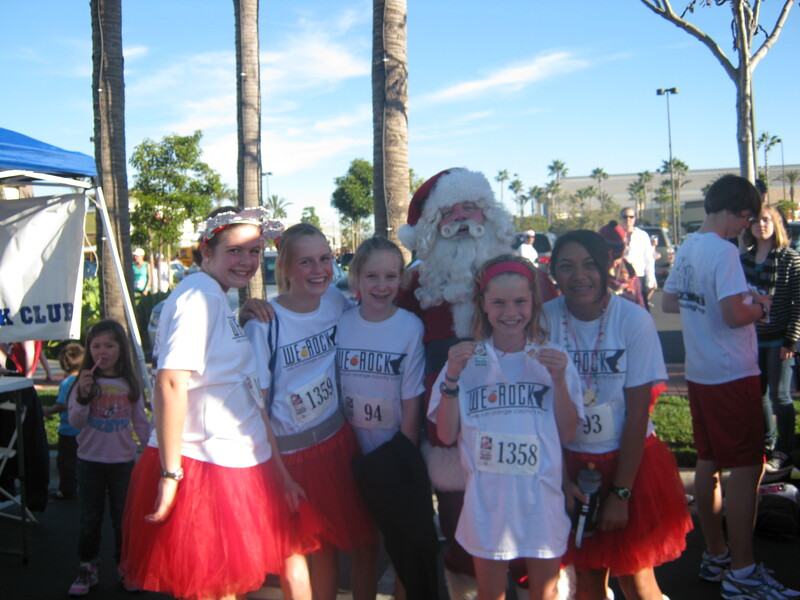 We had tutu much fun as we jingled along the course. 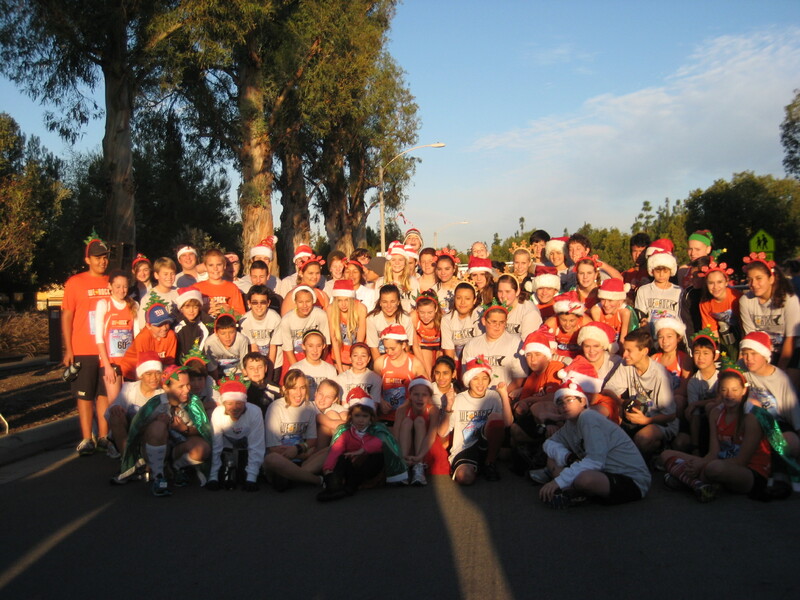 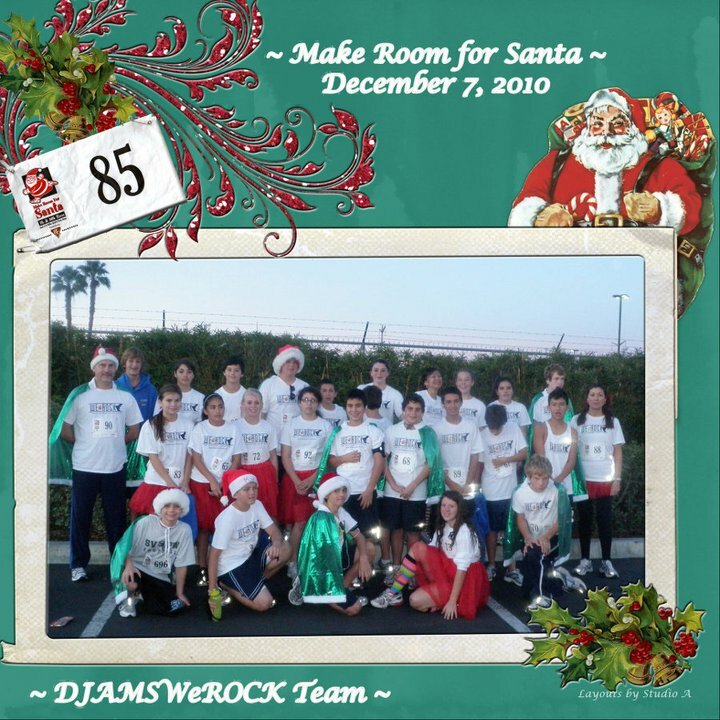 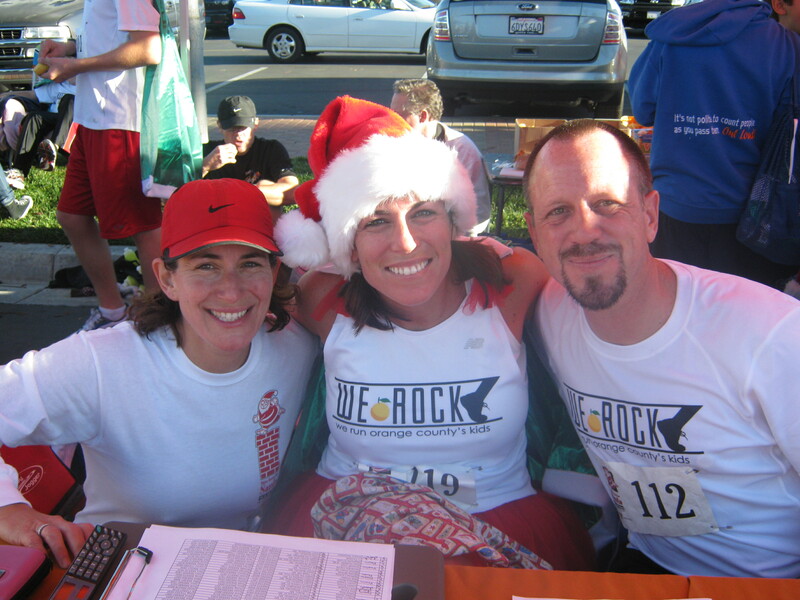 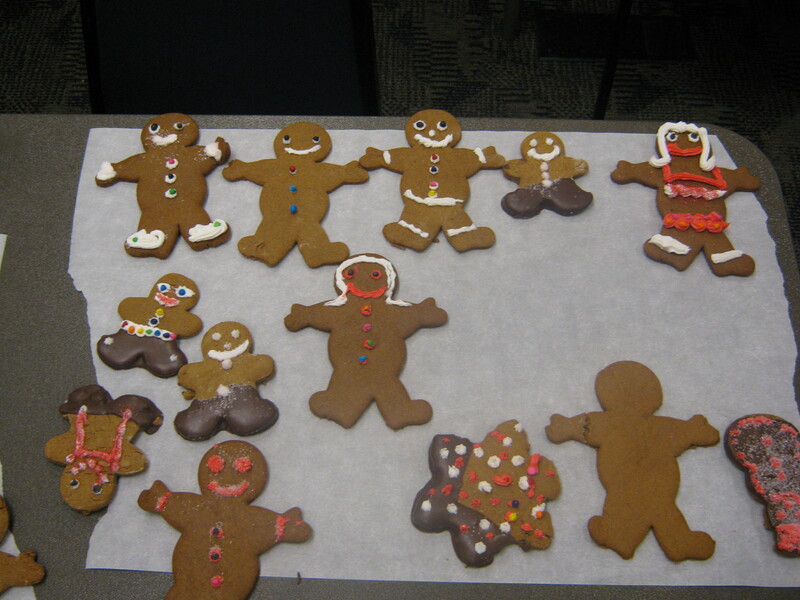 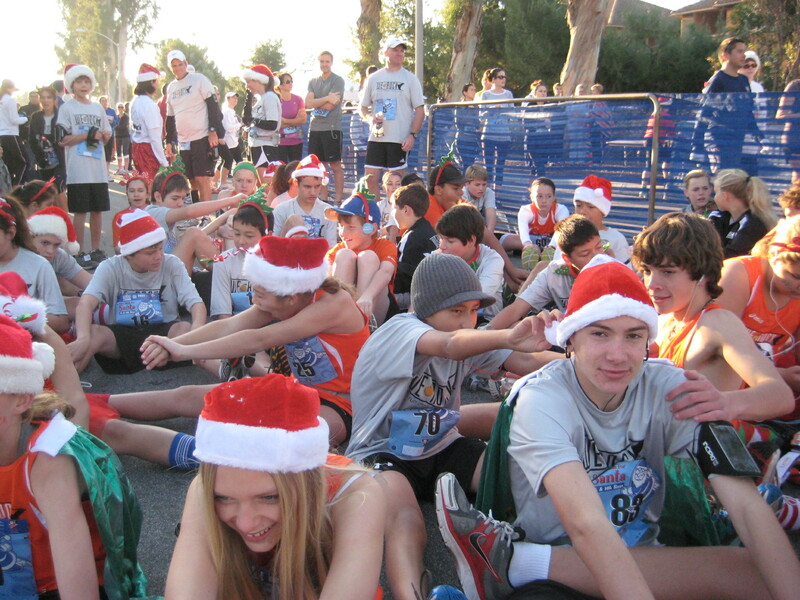 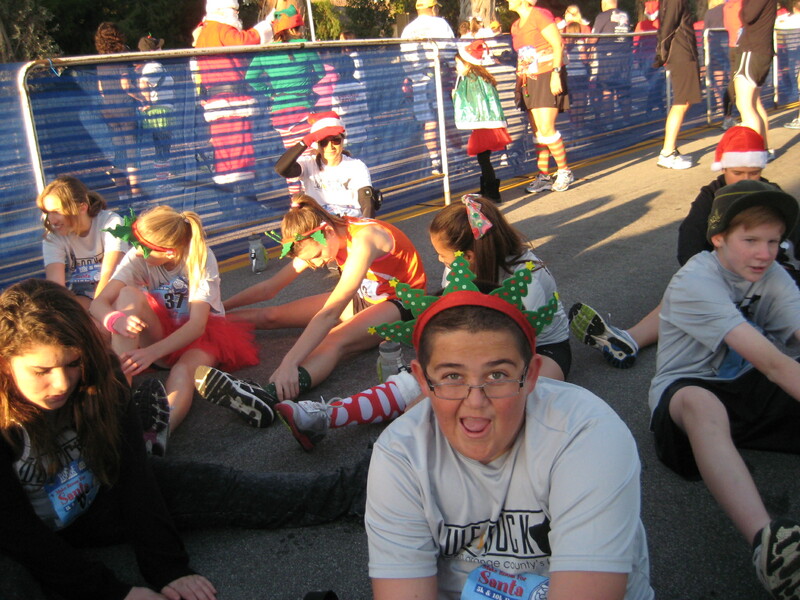 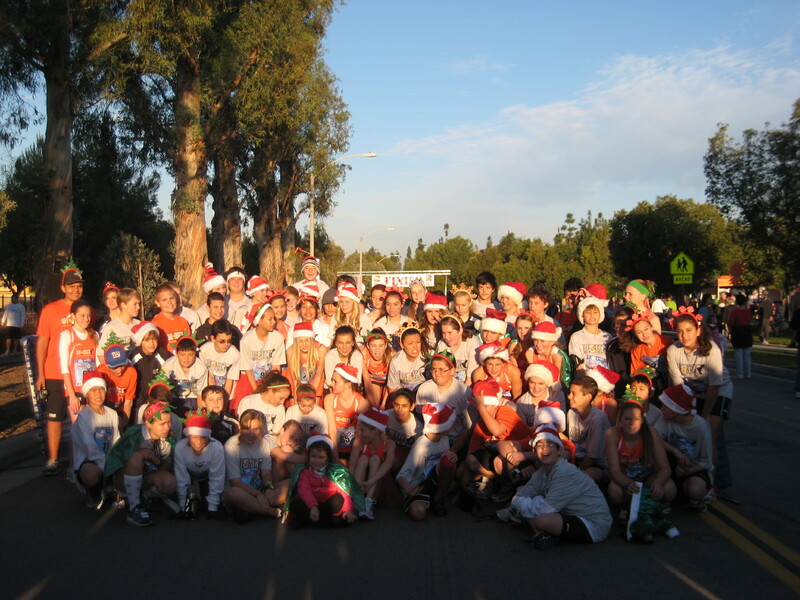 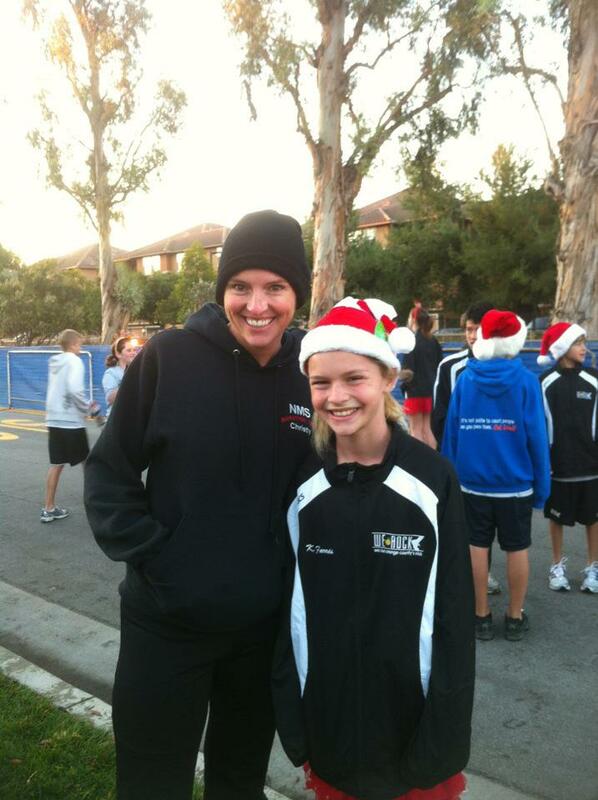 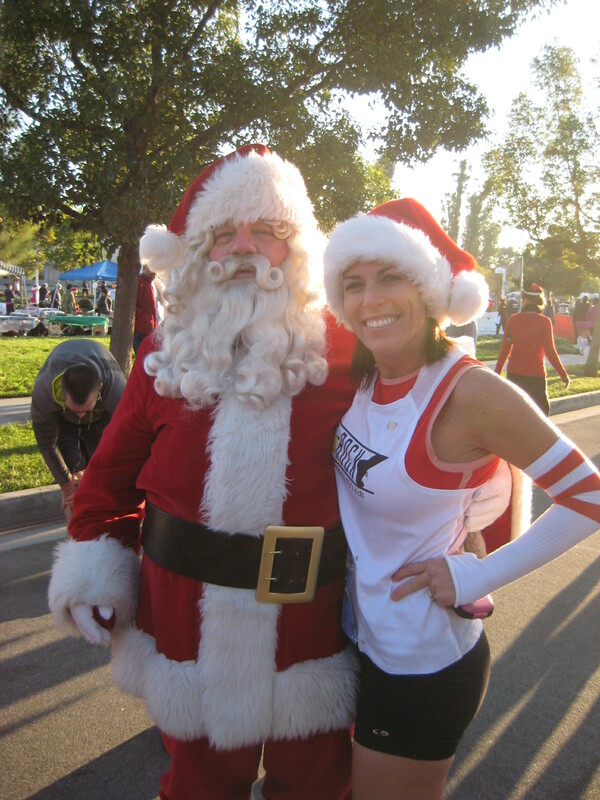 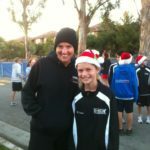 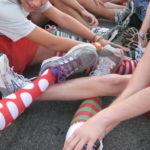 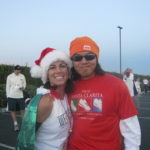 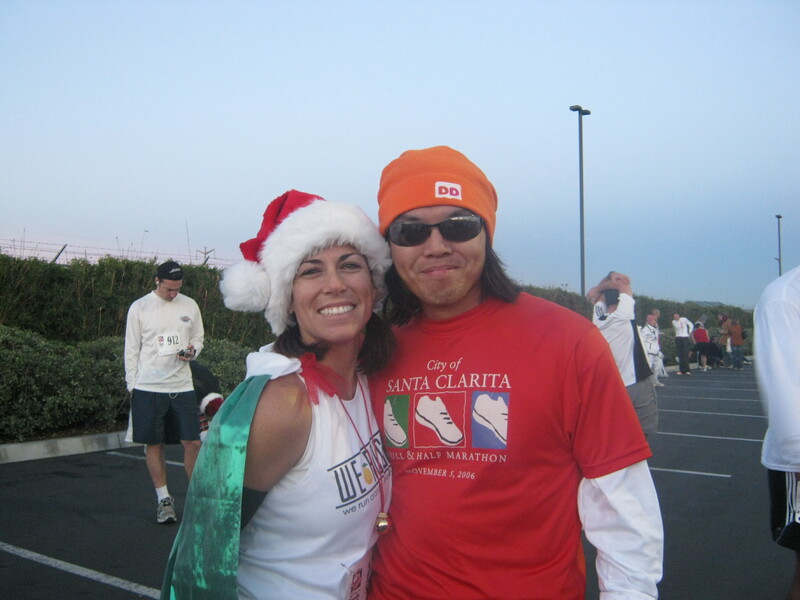 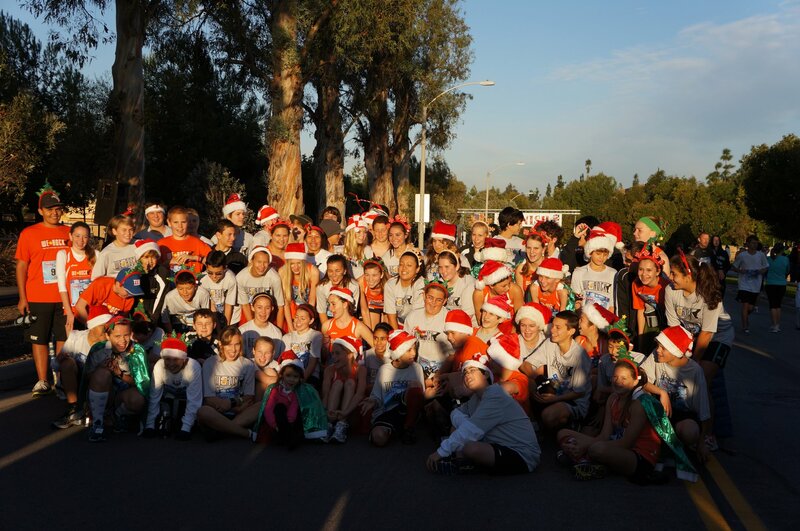 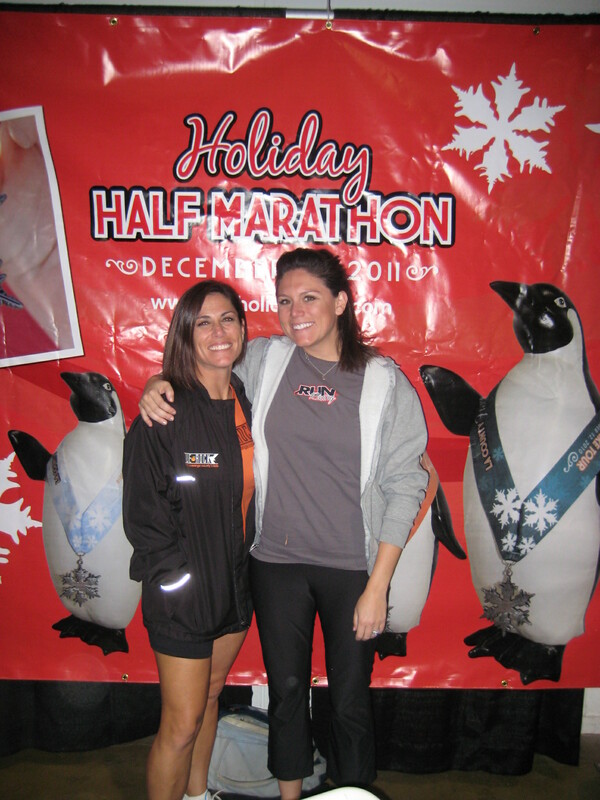 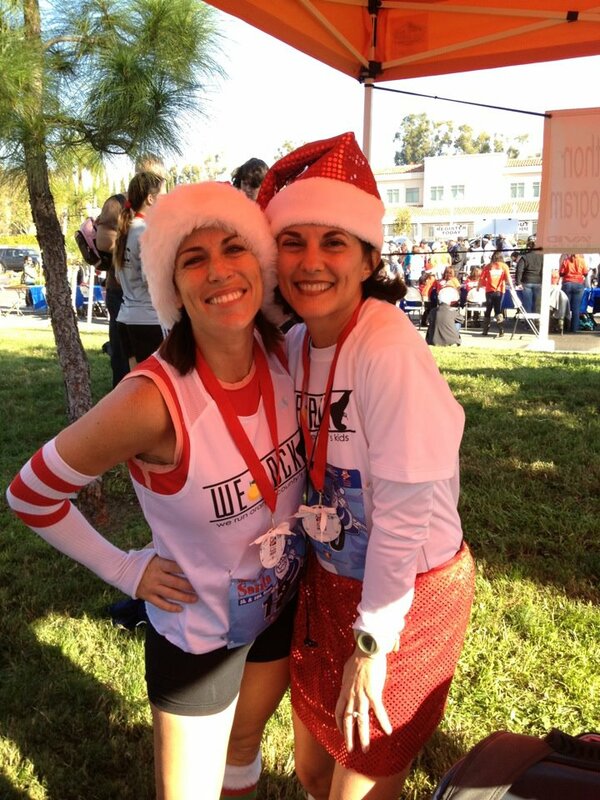 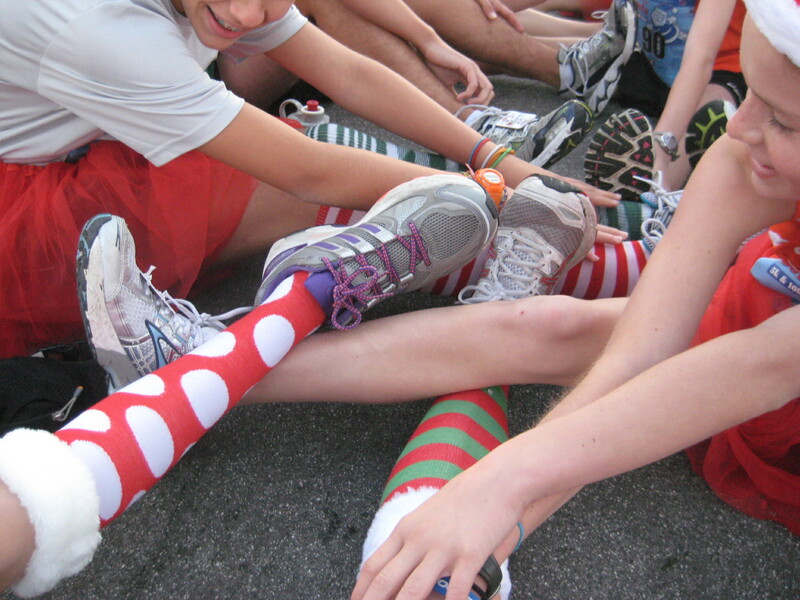 We don’t just run together….we also enjoy being jolly! 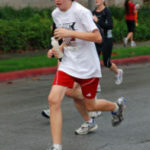 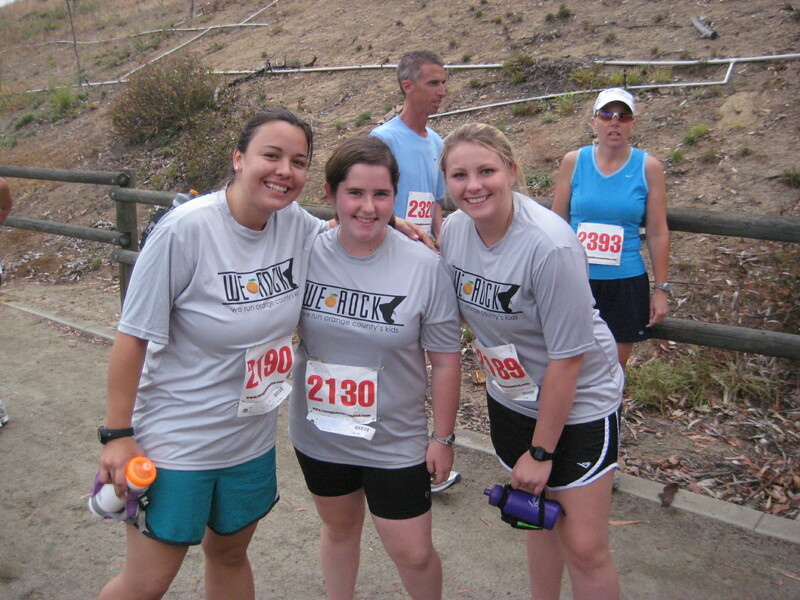 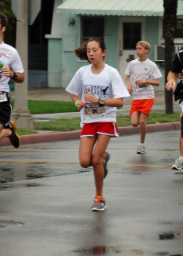 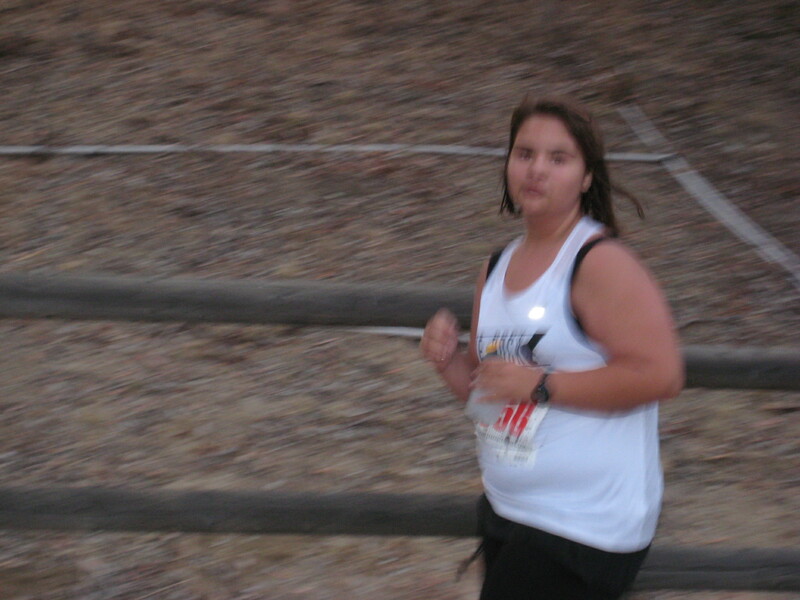 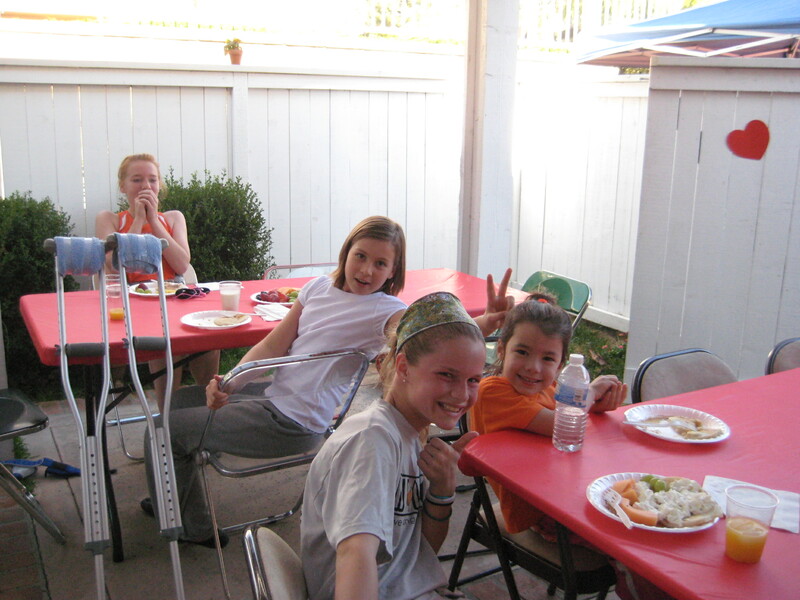 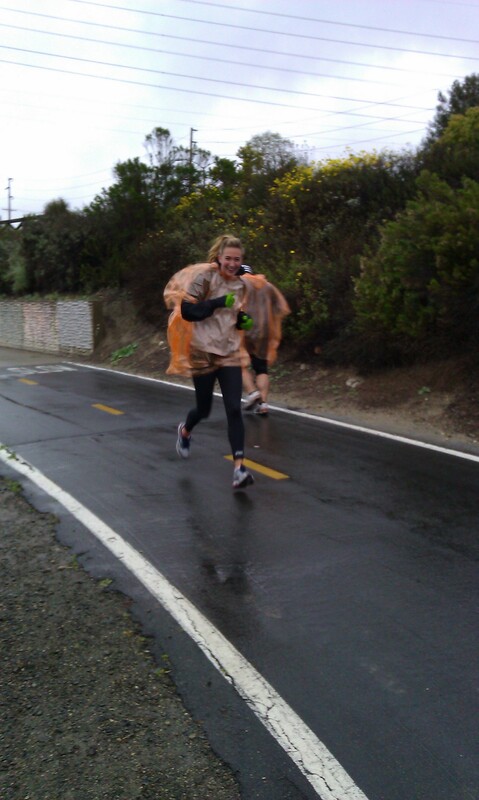 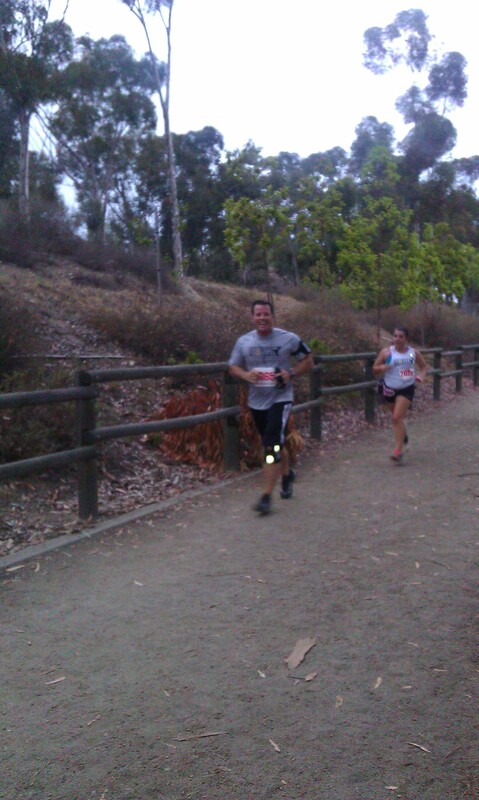 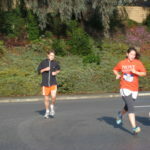 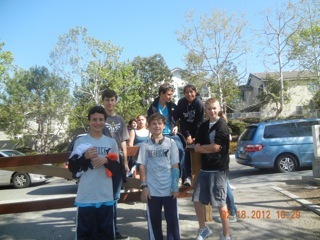 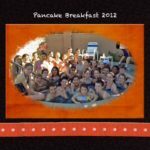 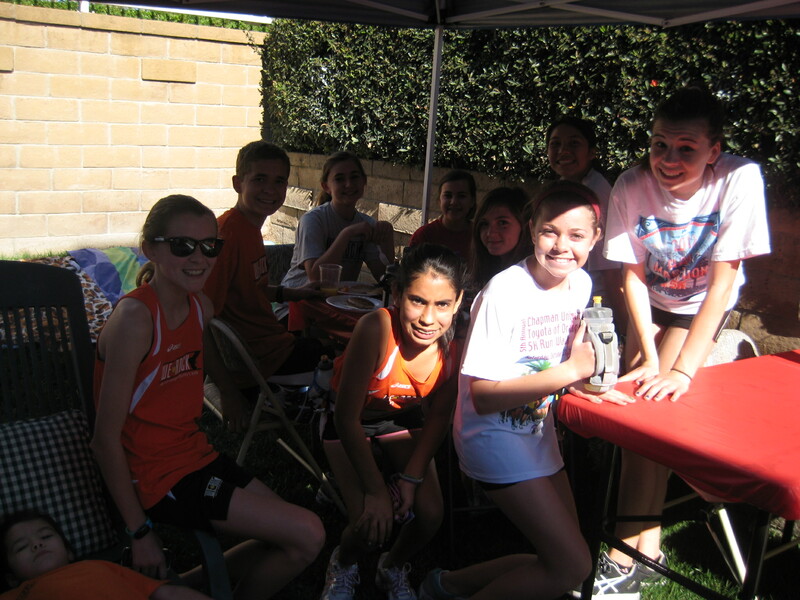 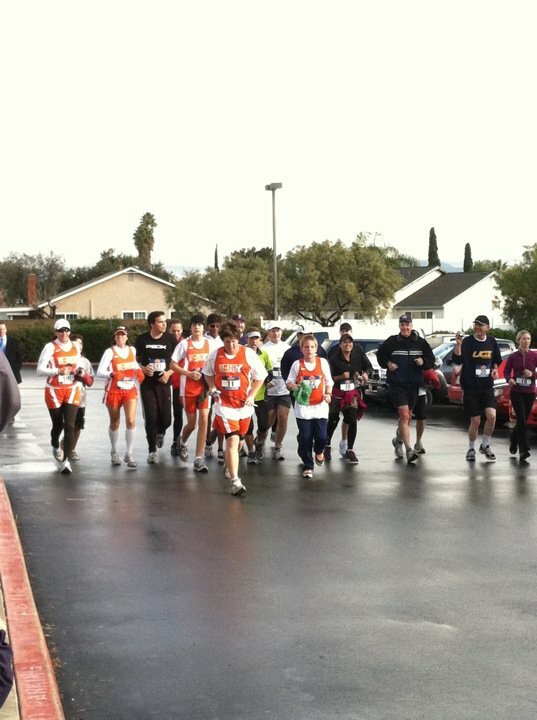 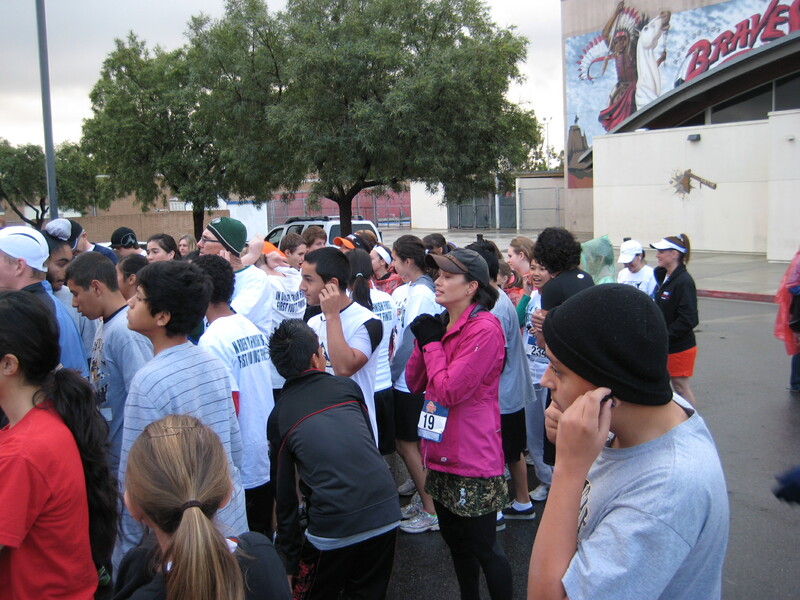 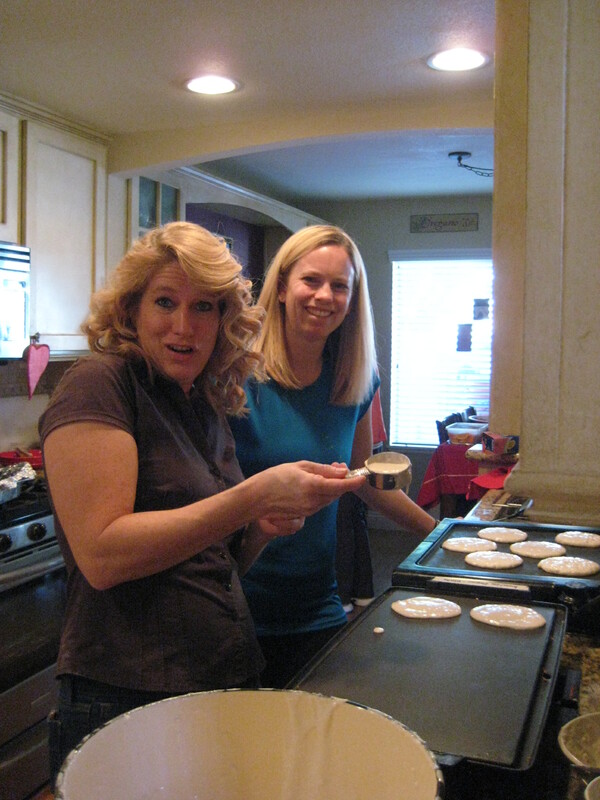 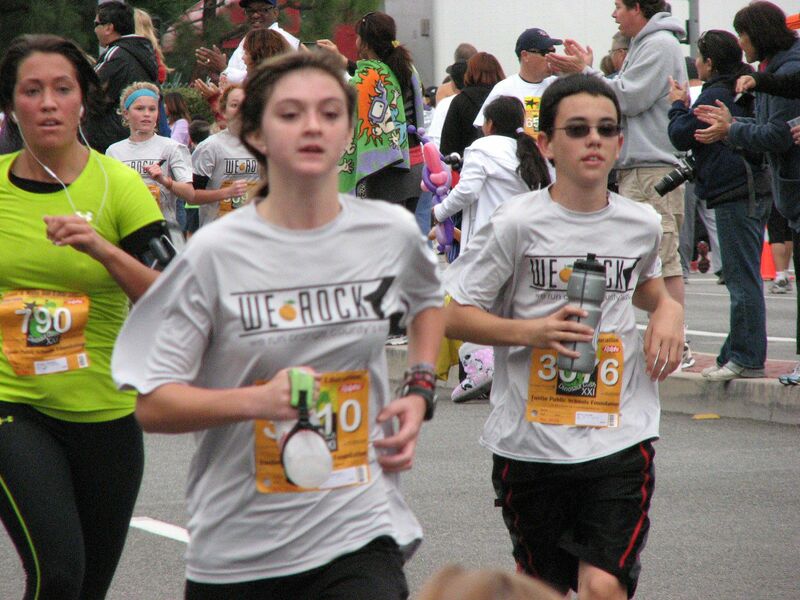 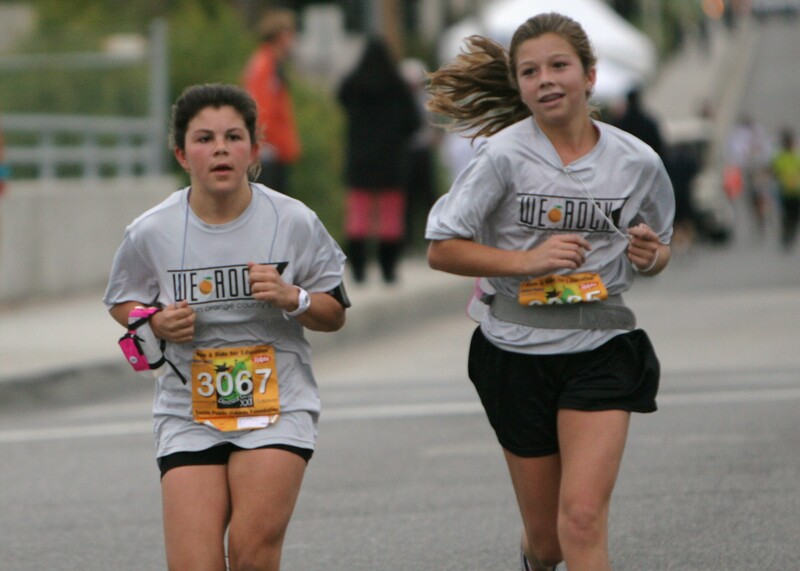 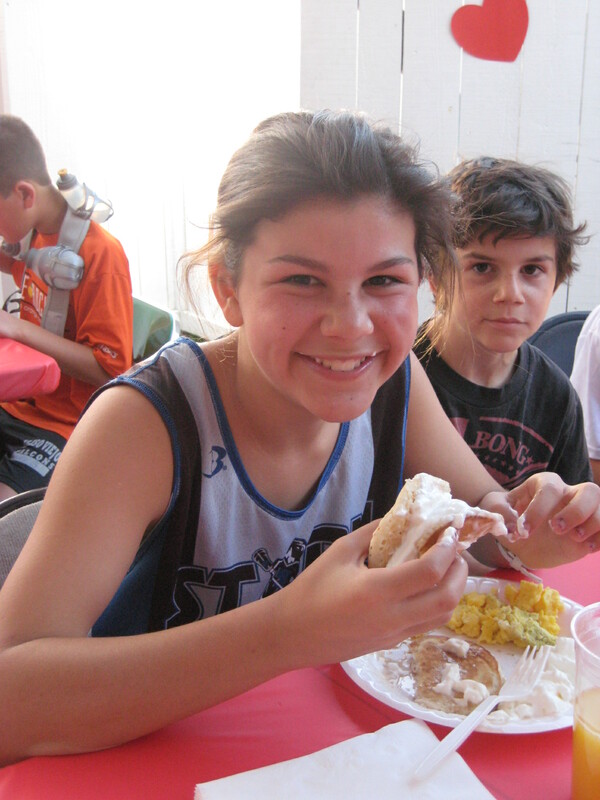 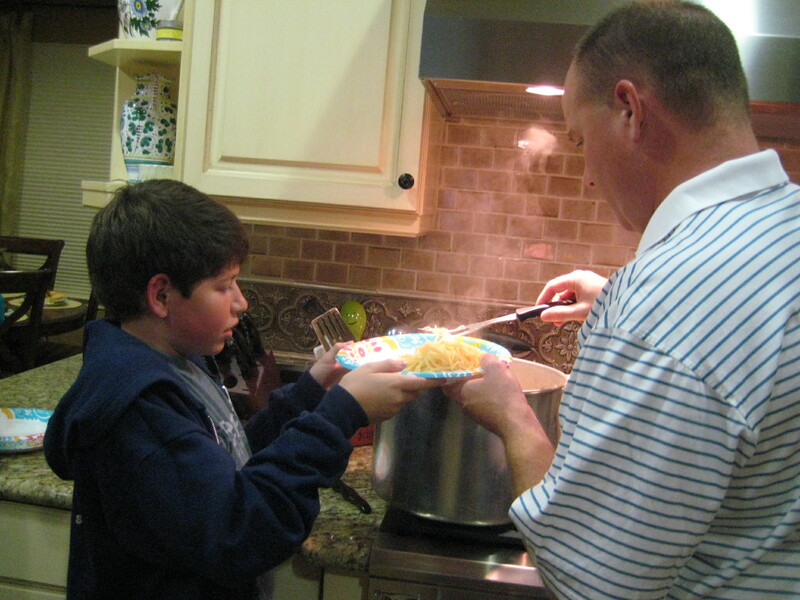 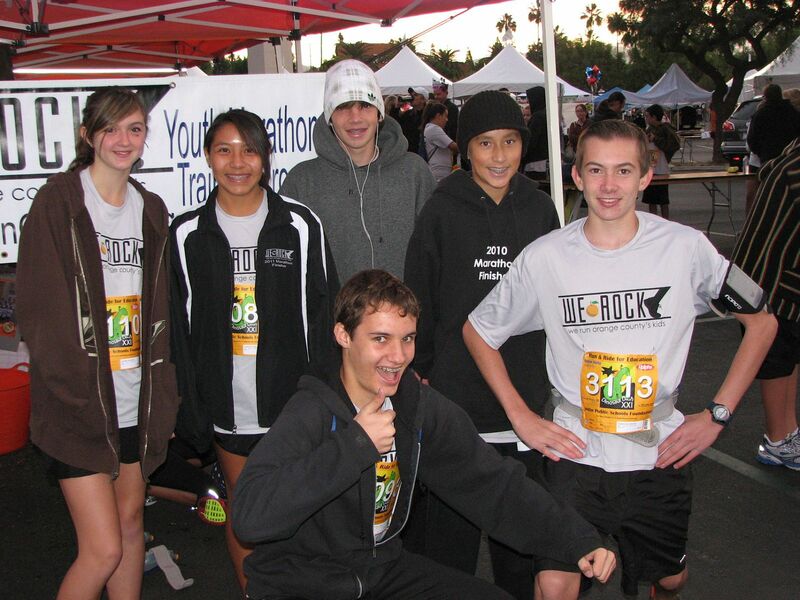 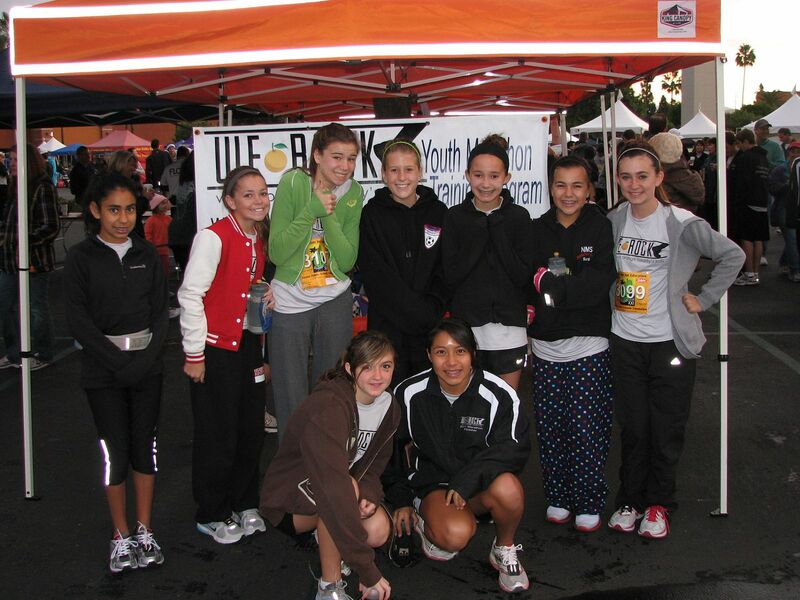 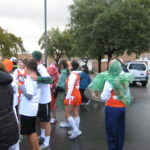 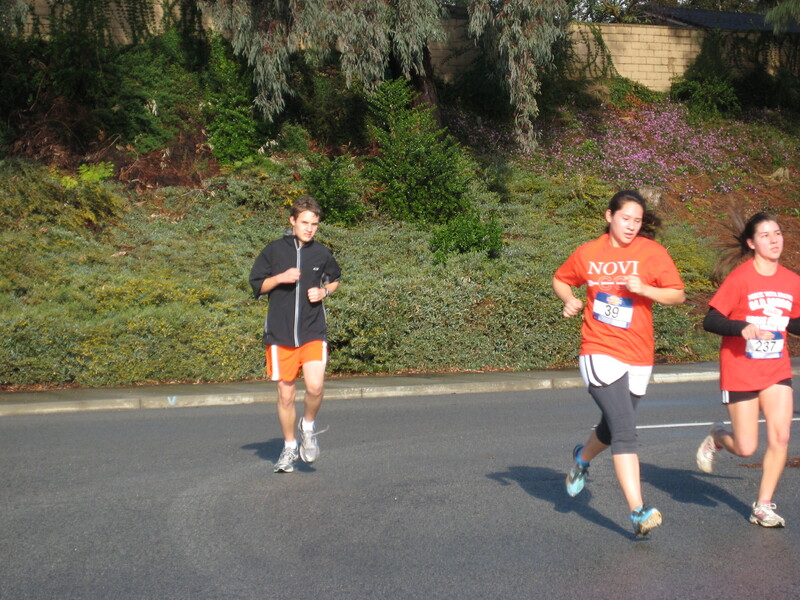 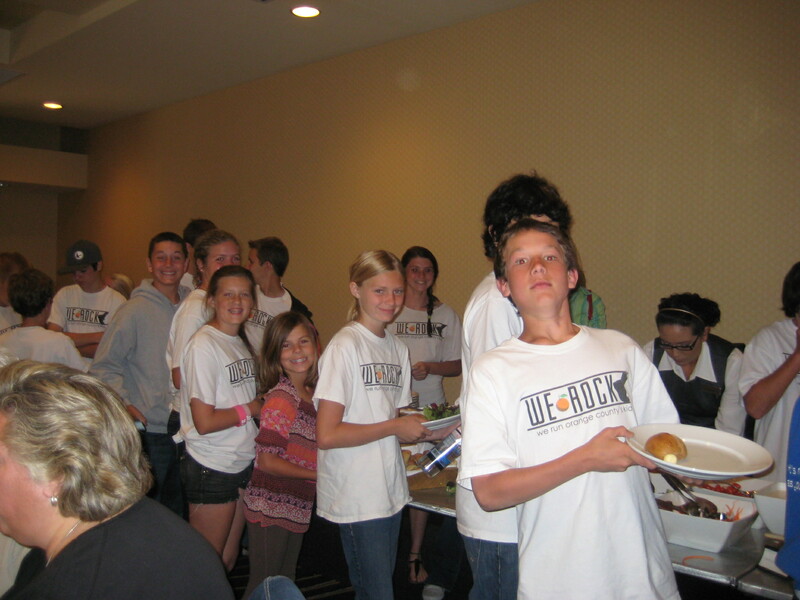 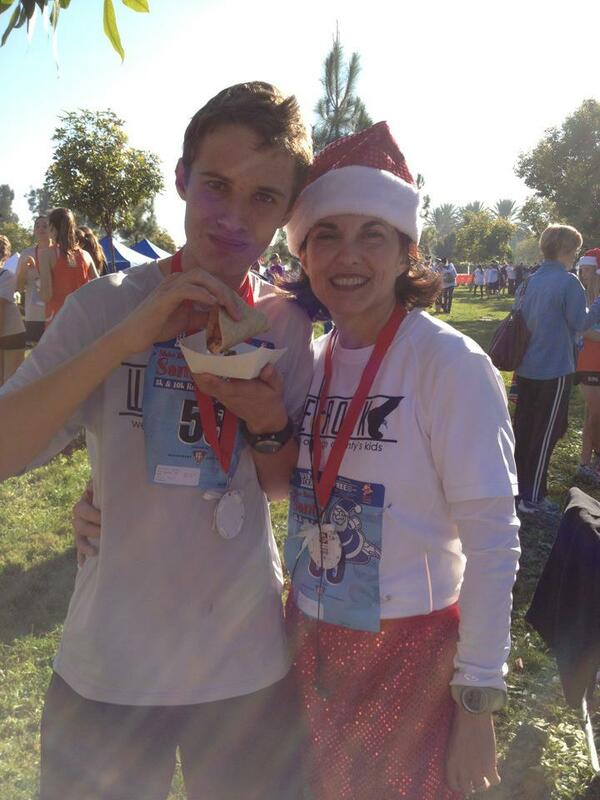 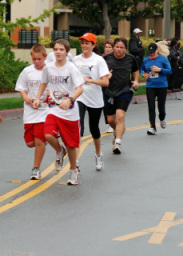 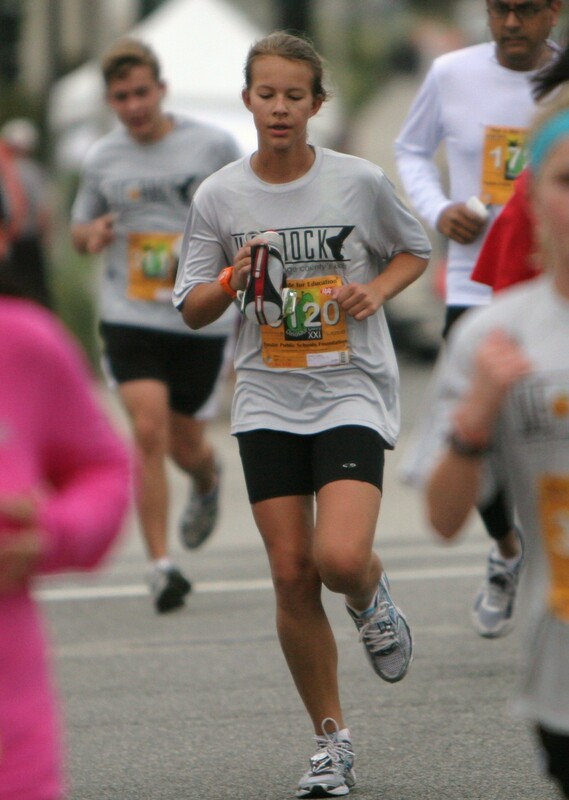 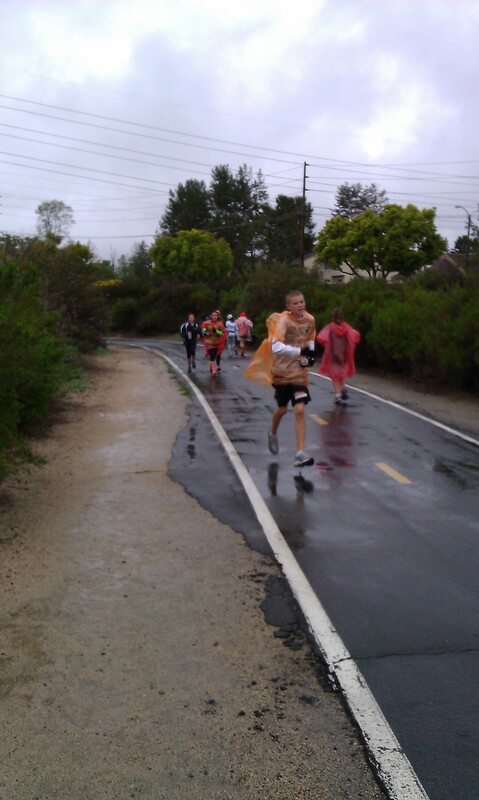 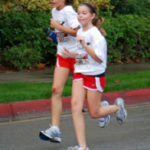 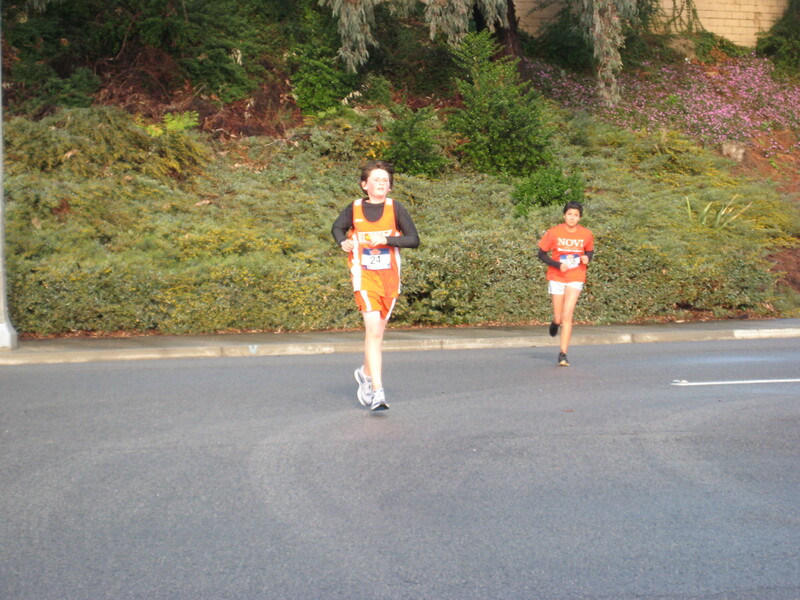 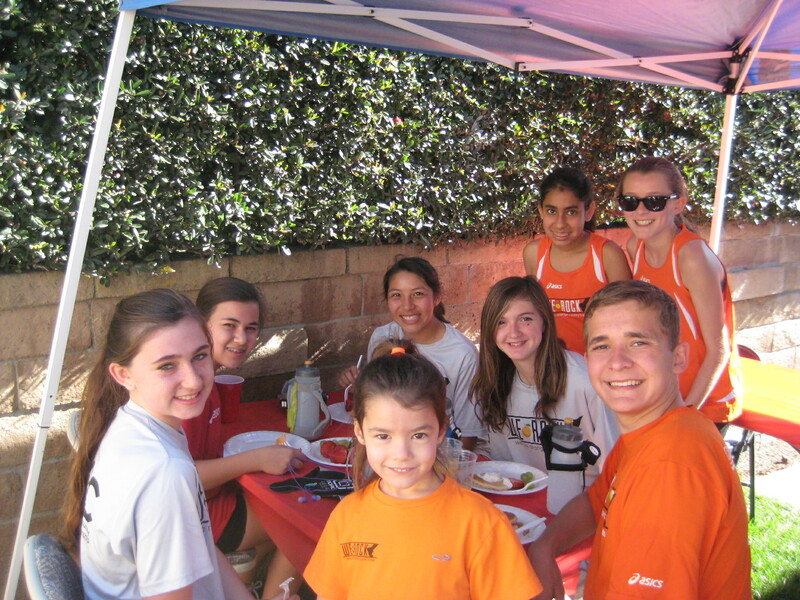 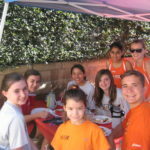 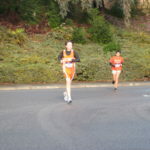 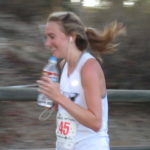 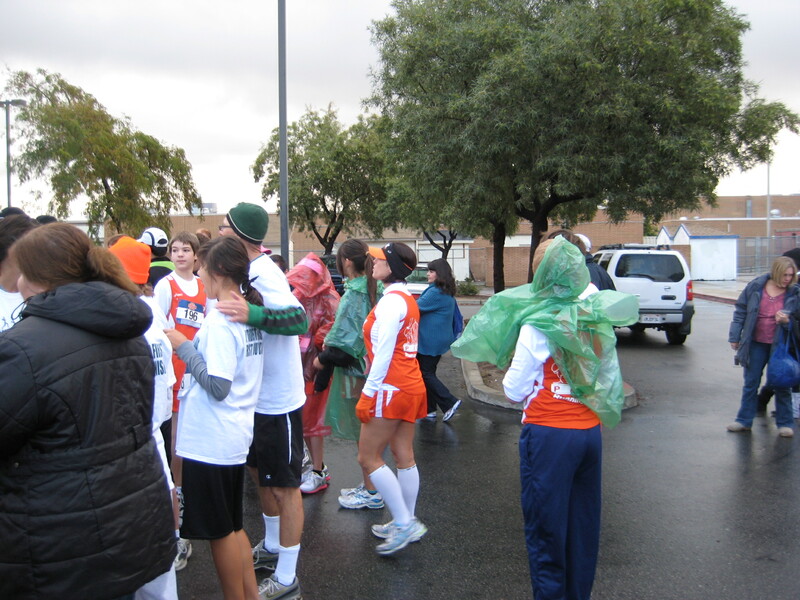 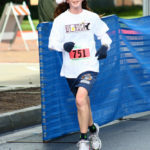 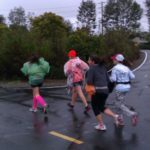 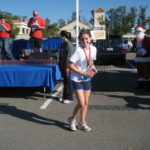 Although this race is not on the WeROCK calendar, some of our members had fun earning their Thanksgiving meal. 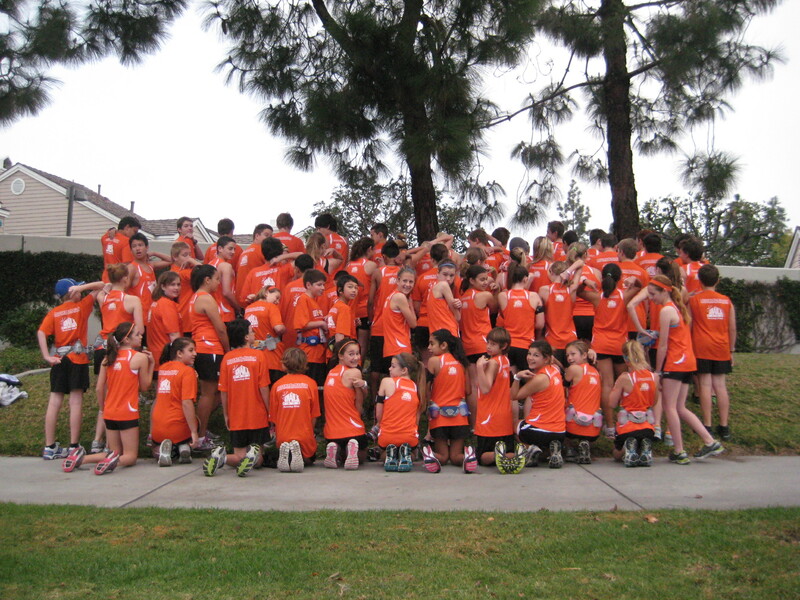 The Monday practice after a race, we always celebrate by wearing our race shirts. 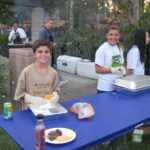 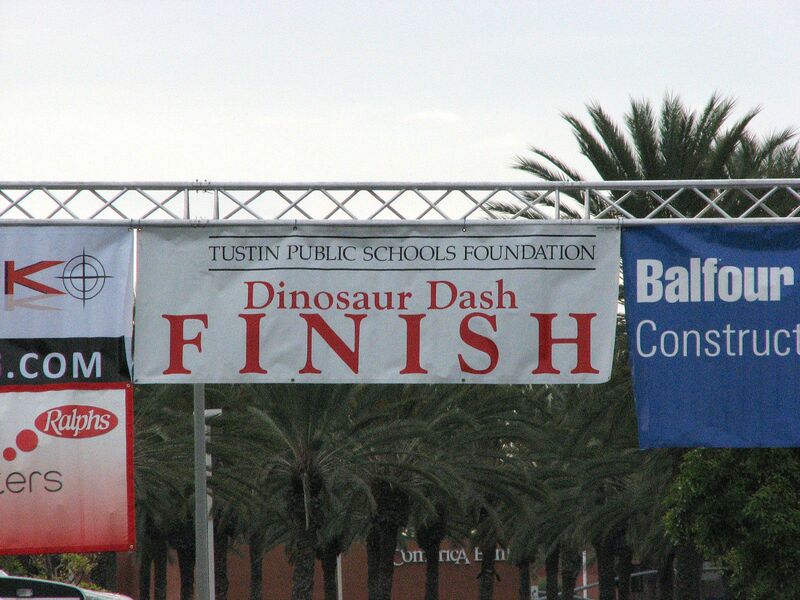 Great event and fundraiser for Tustin Public School Foundation. 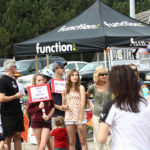 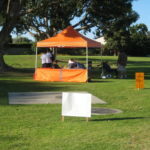 The course allows us to see our team mates and multiple spots and the expo is packed full of fun activities and freebies. 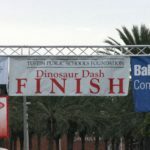 Thank you Dino Dash! 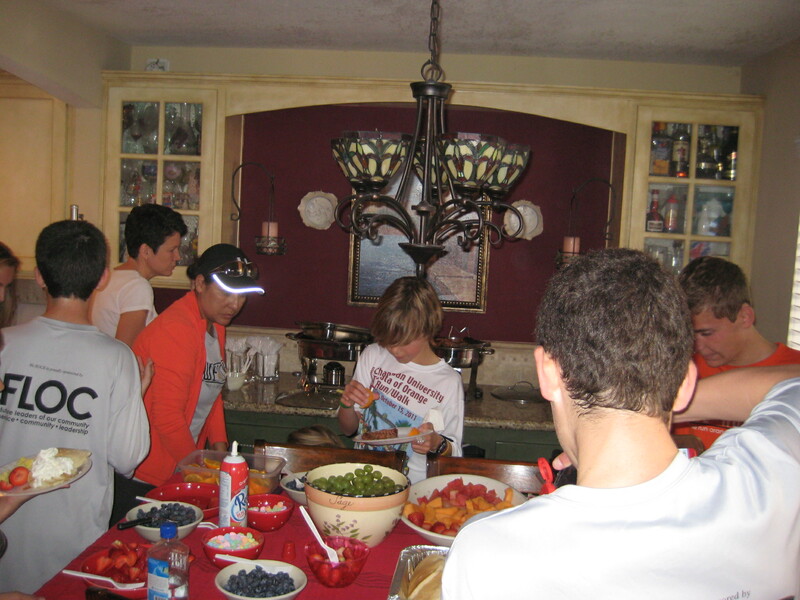 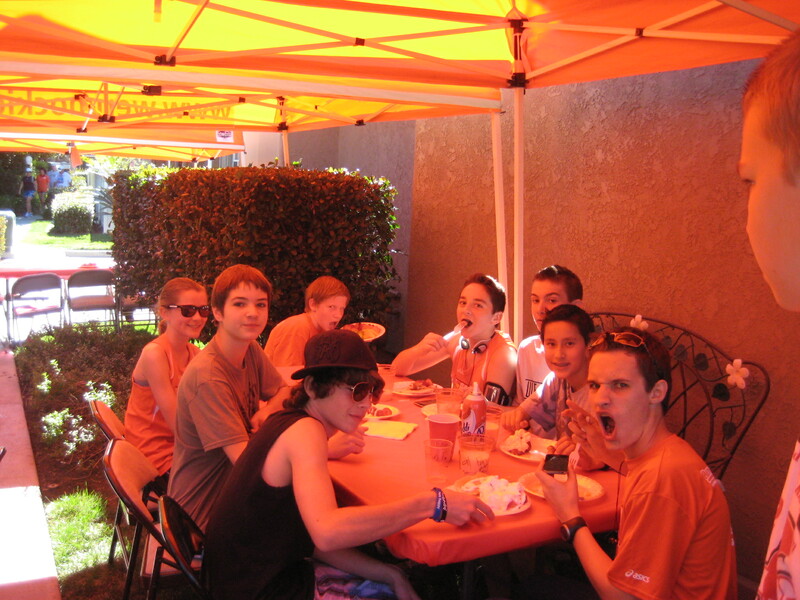 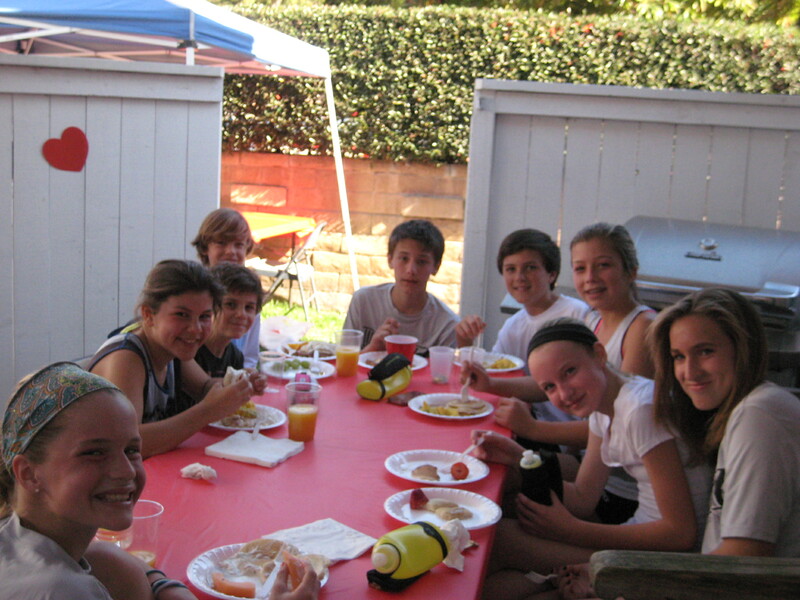 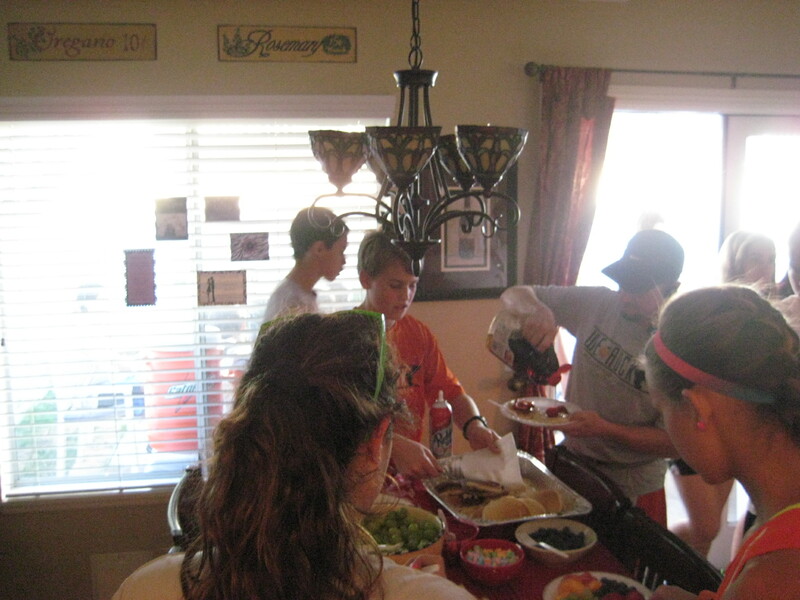 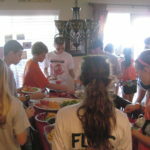 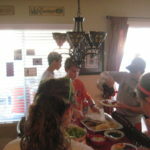 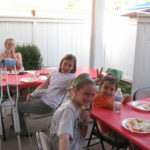 Enjoying time with the team while eating a healthy pre-race meal. 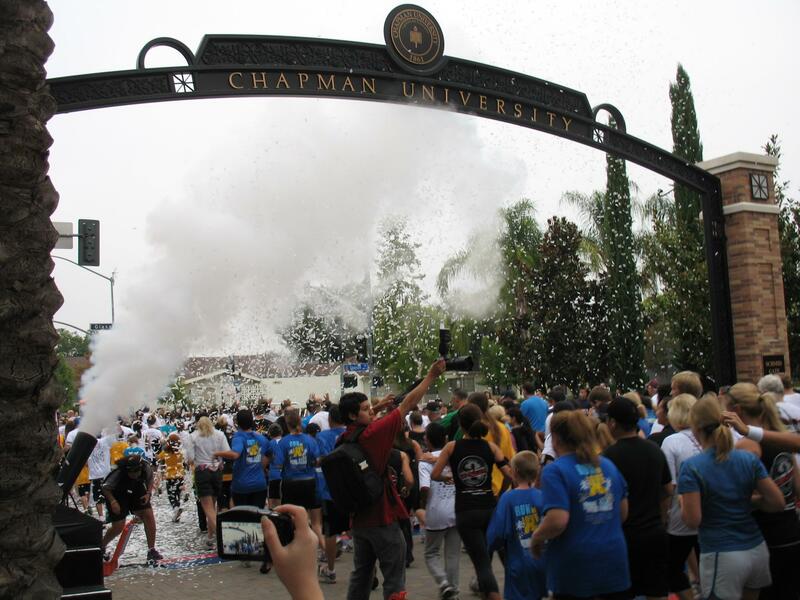 We love the Chapman 5K. 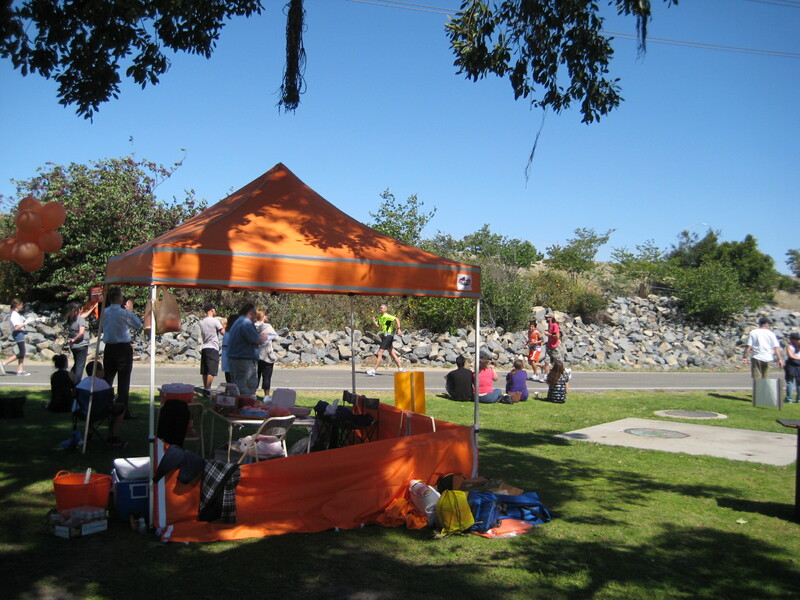 It is the perfect spot for our first race due to the flat, fast and fun course. 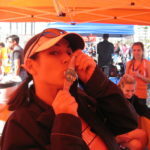 The oatmeal at the finish line is always tasty and their goodie bags never disappoint. 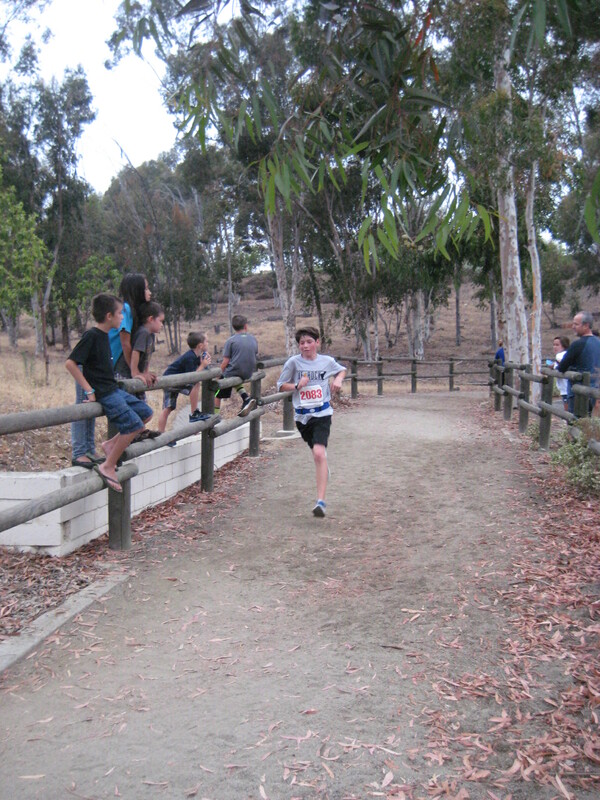 Final race of the summer program. 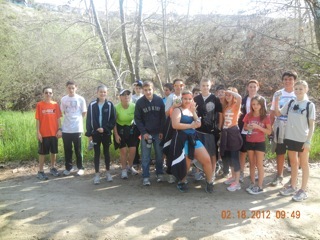 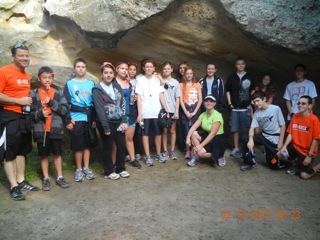 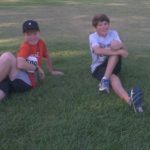 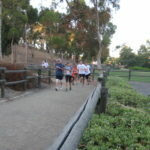 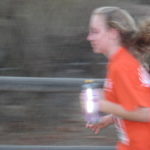 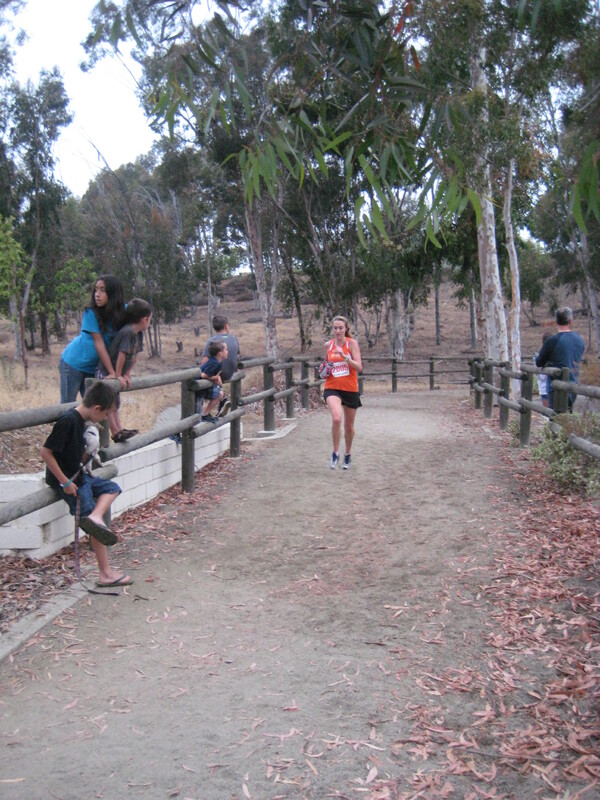 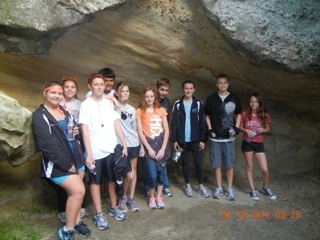 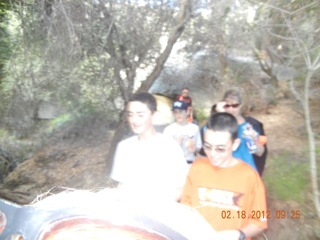 We learned a lot about the trails and enjoyed the evening runs. 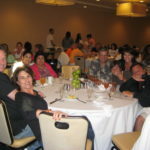 See everyone again in September. 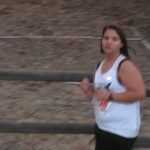 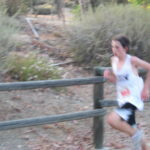 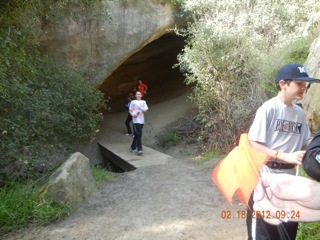 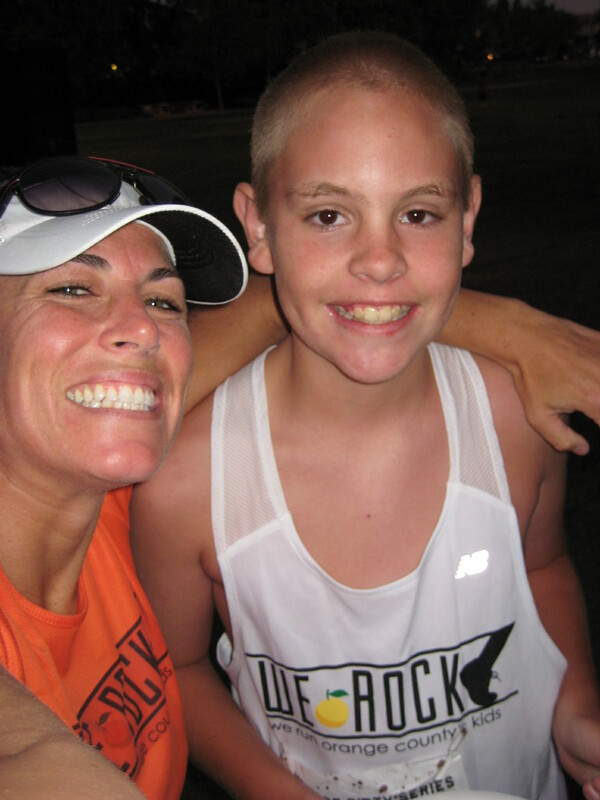 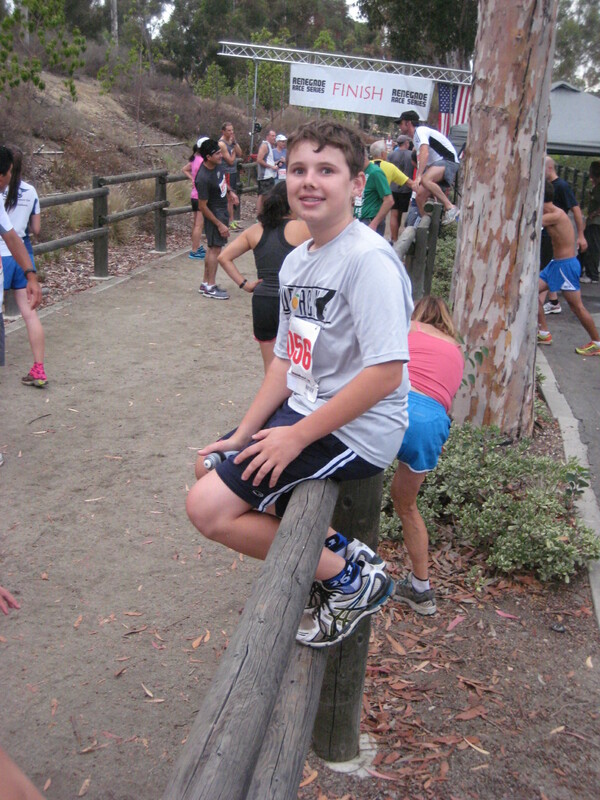 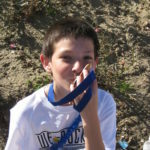 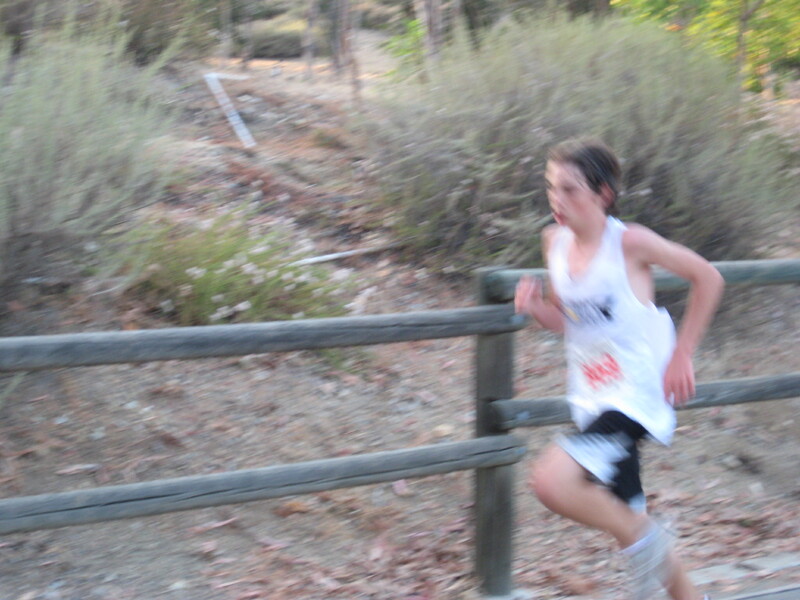 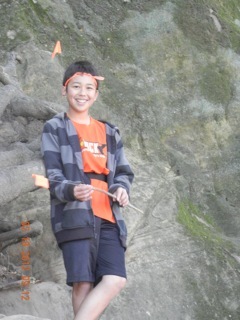 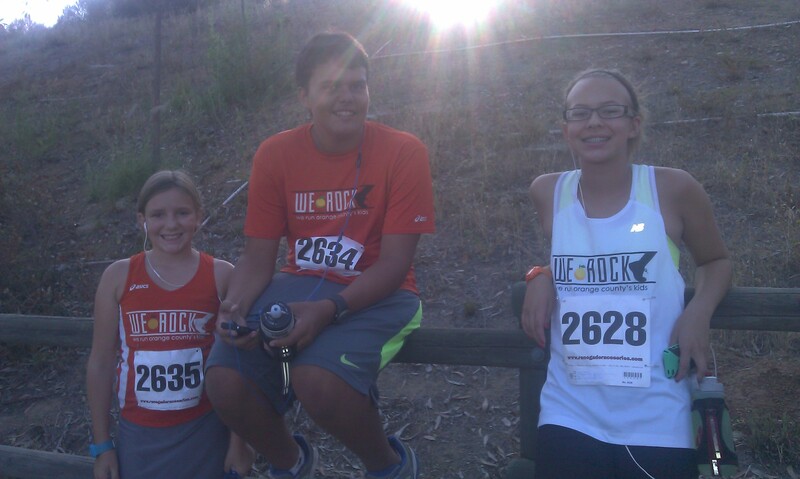 WeROCK’s first official trail race. 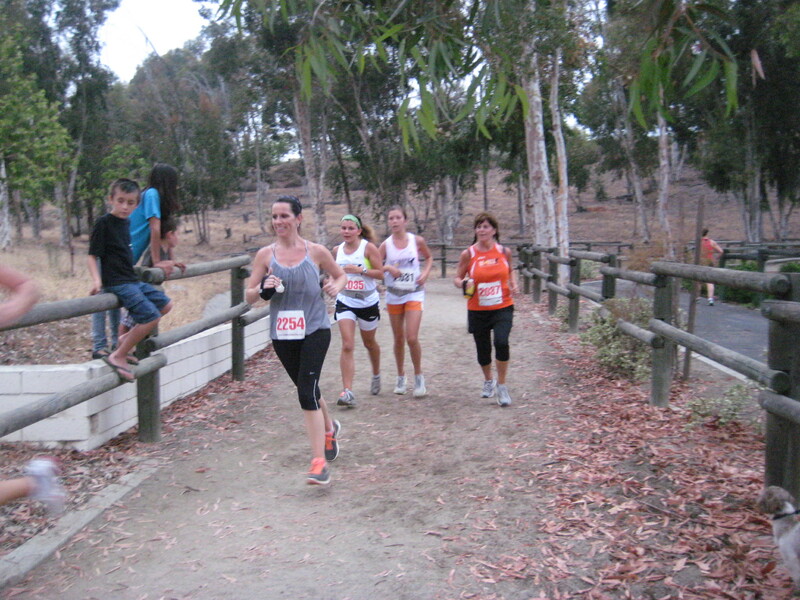 We love to run in the dirt. 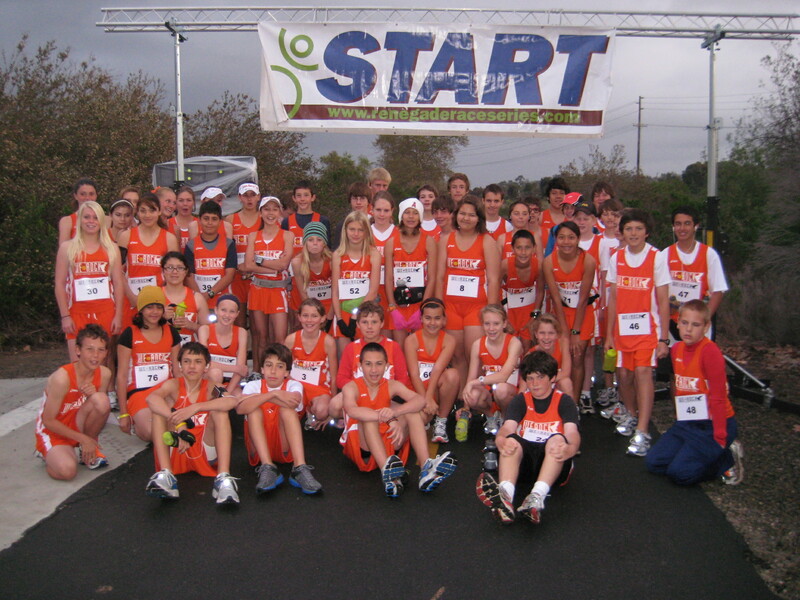 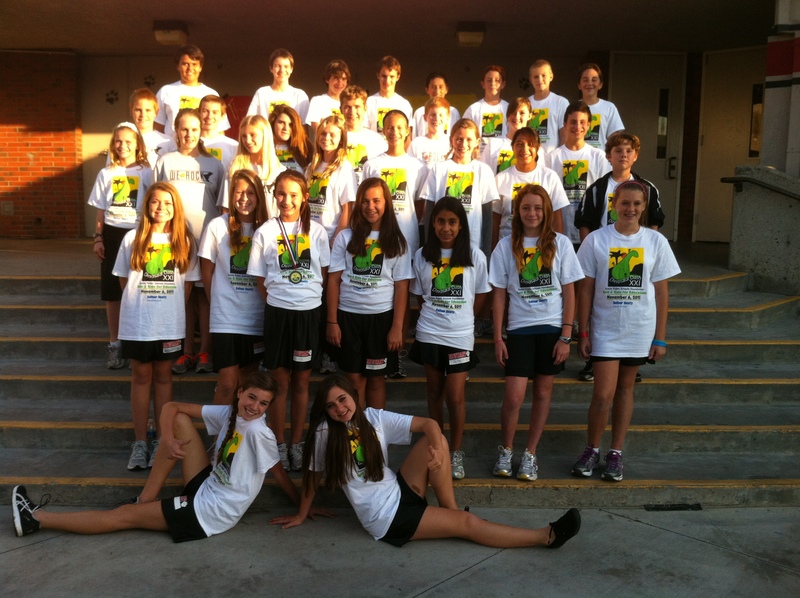 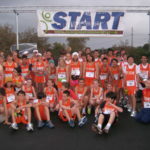 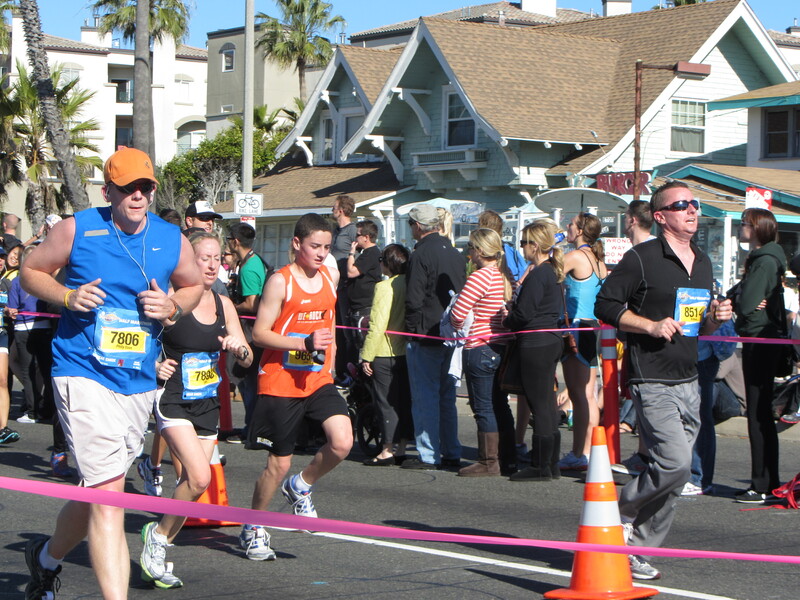 Fantastic job PV Marathon group! 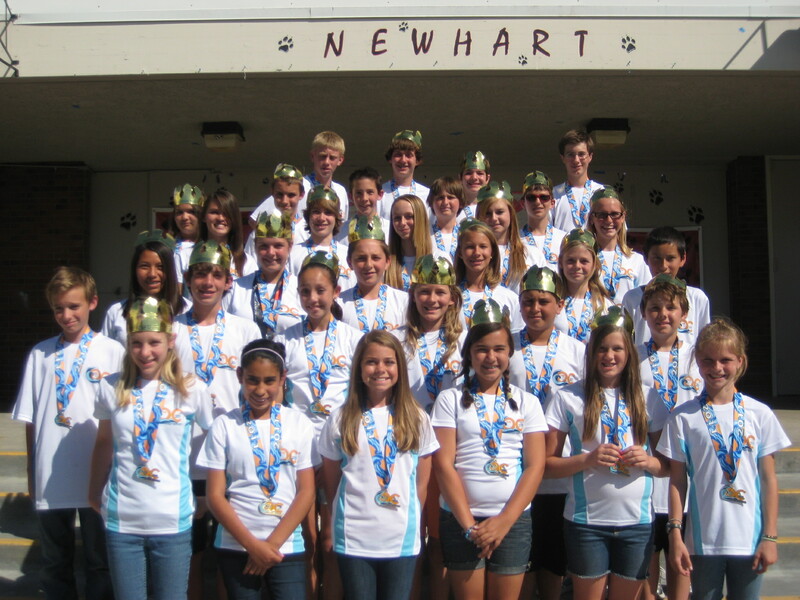 You earned the crowns. 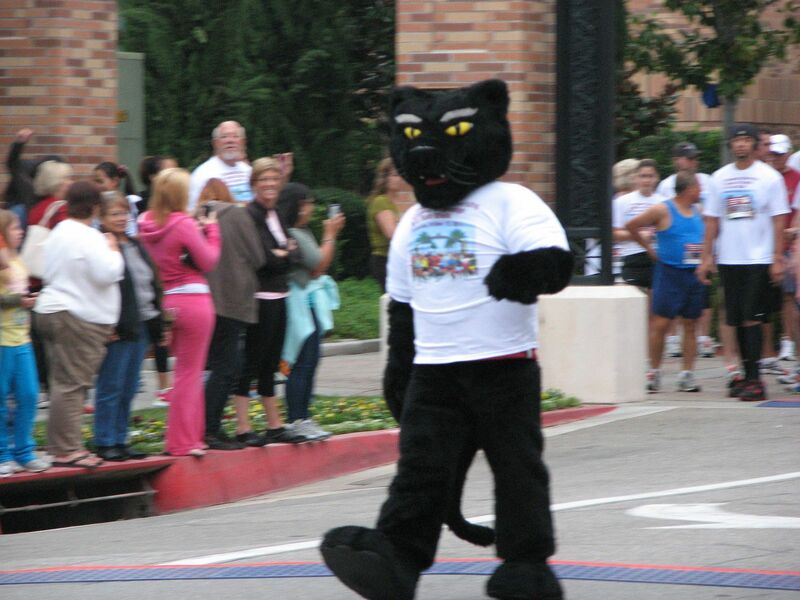 True race royalty. 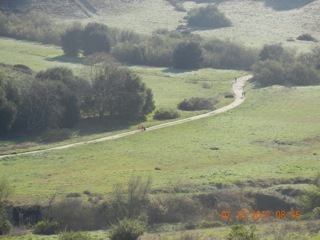 The day was cool and misty. 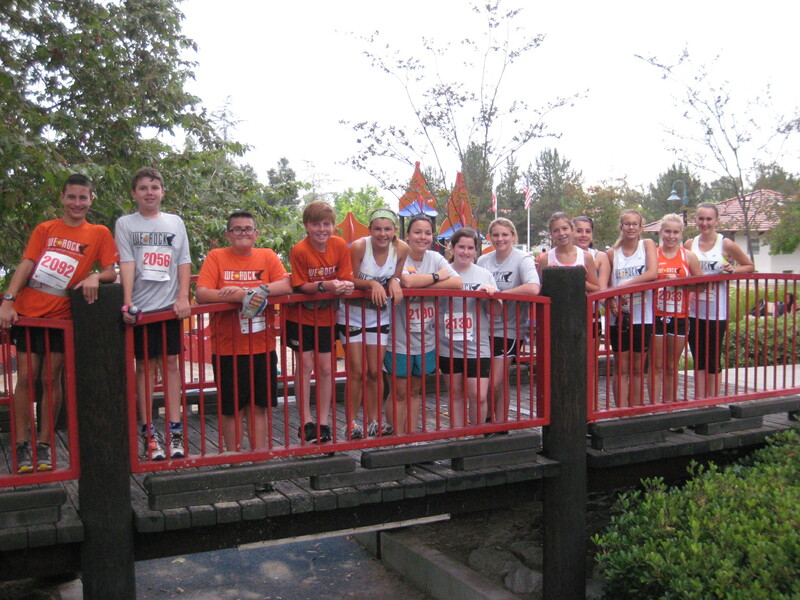 Most of the team ran together the entire time. 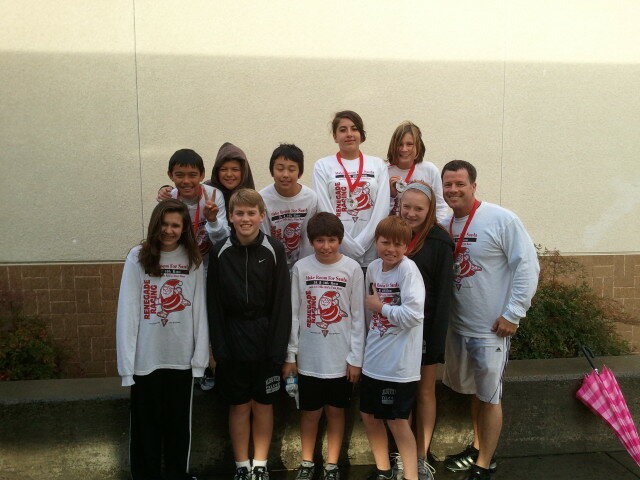 Great job PV runners! 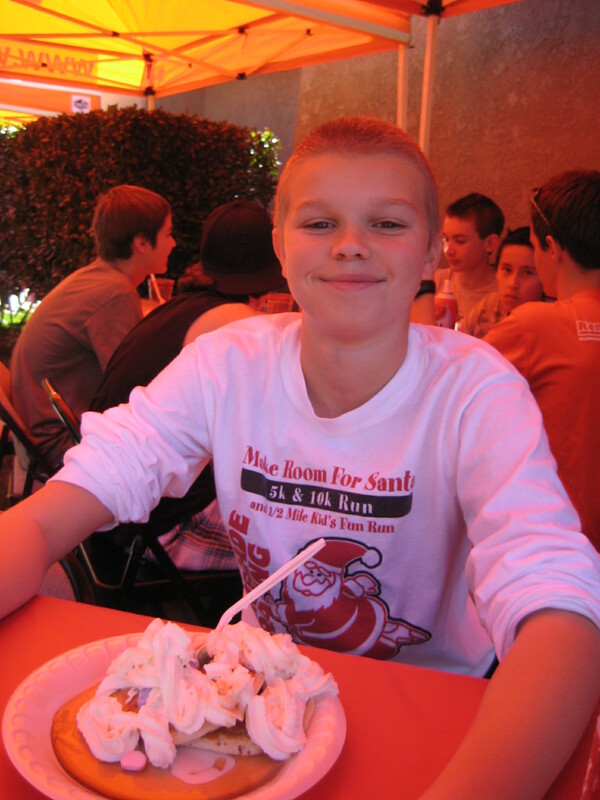 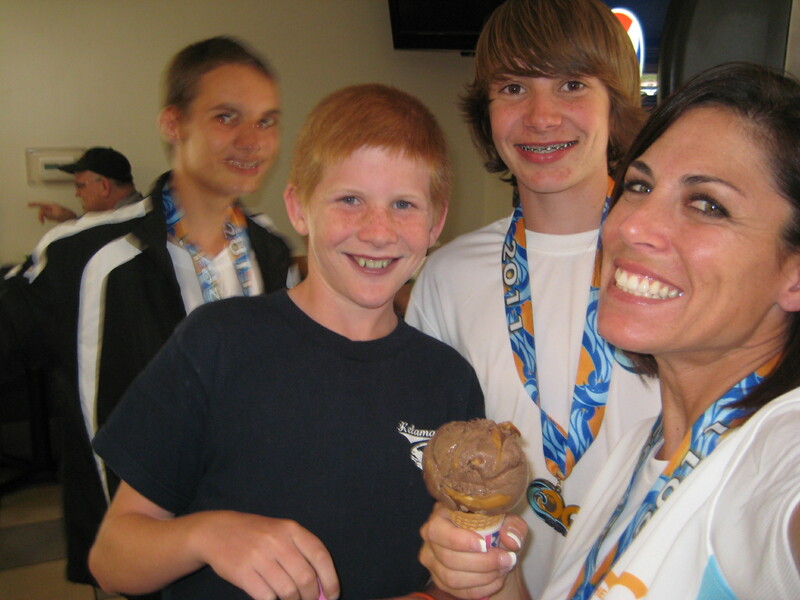 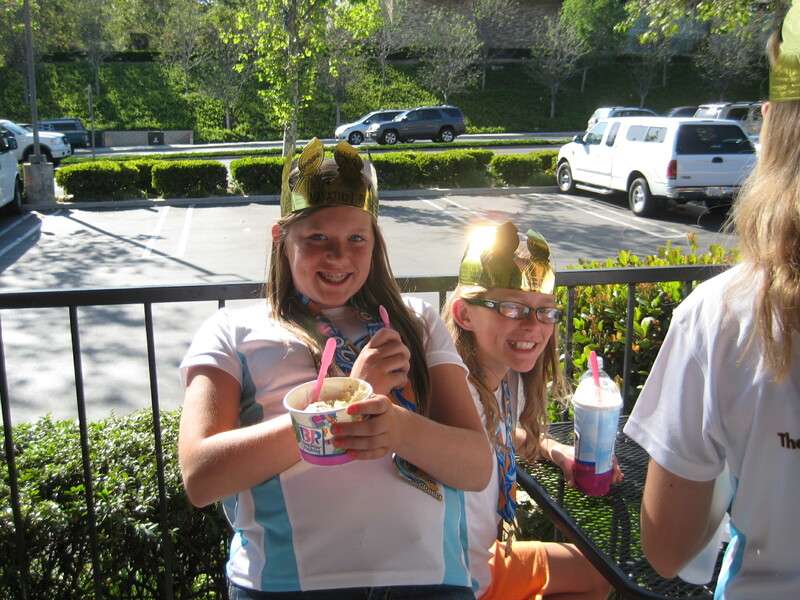 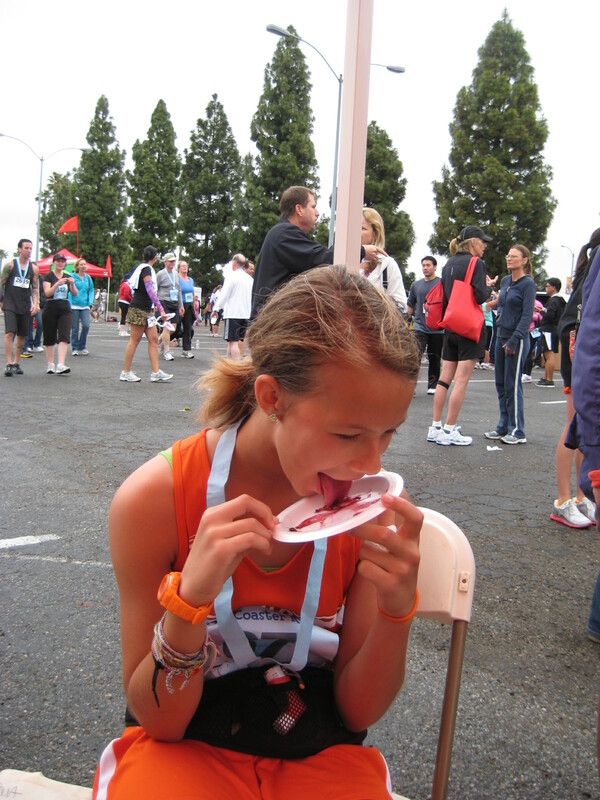 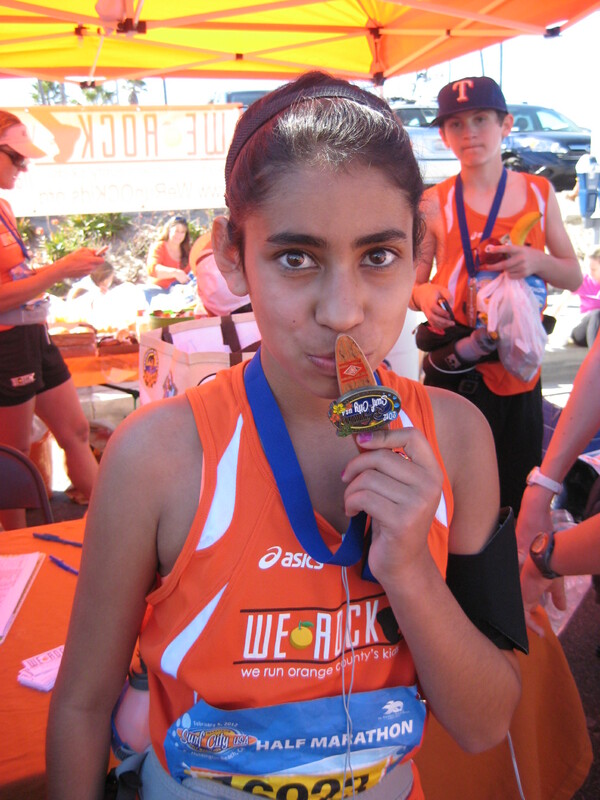 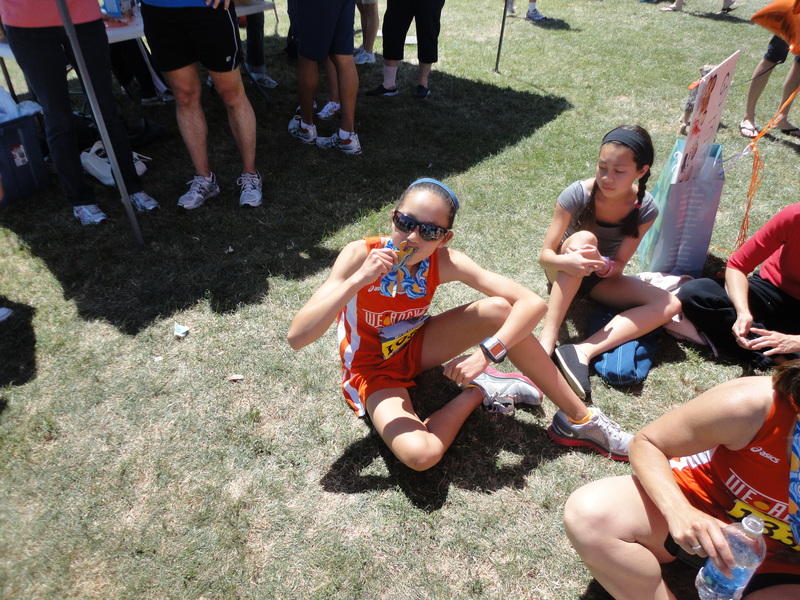 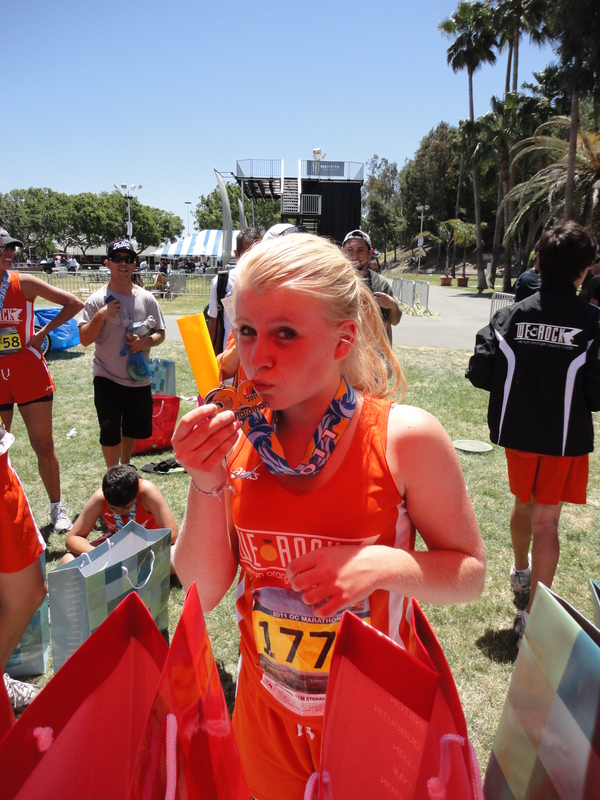 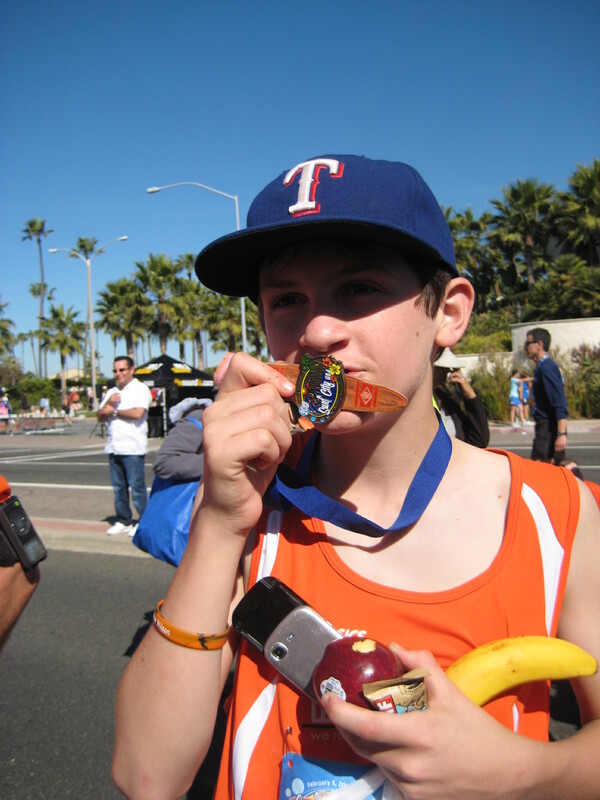 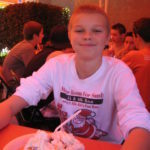 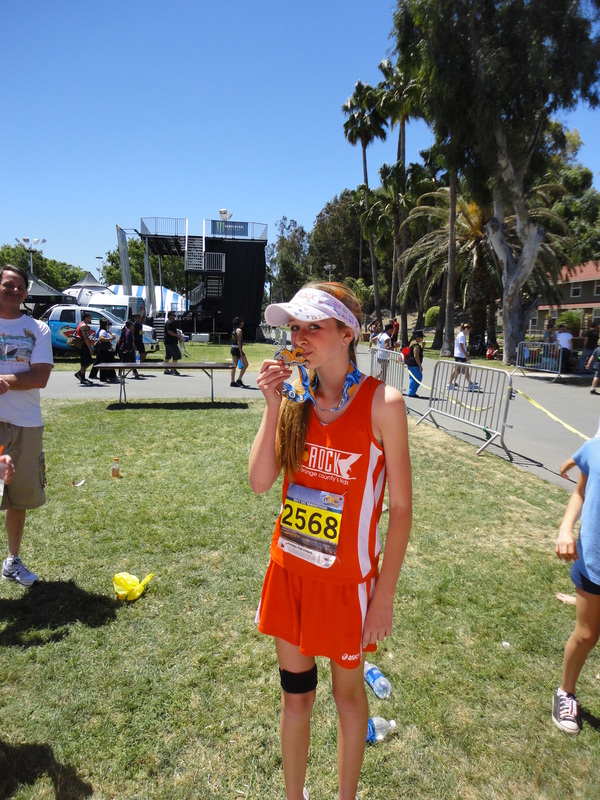 The best way to celebrate a marathon finish is with ice cream. 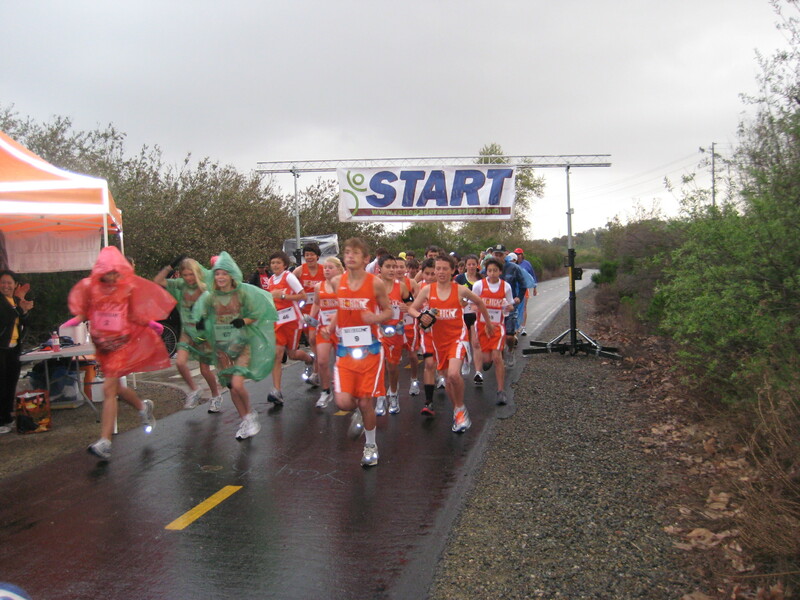 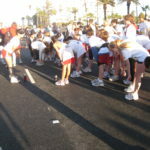 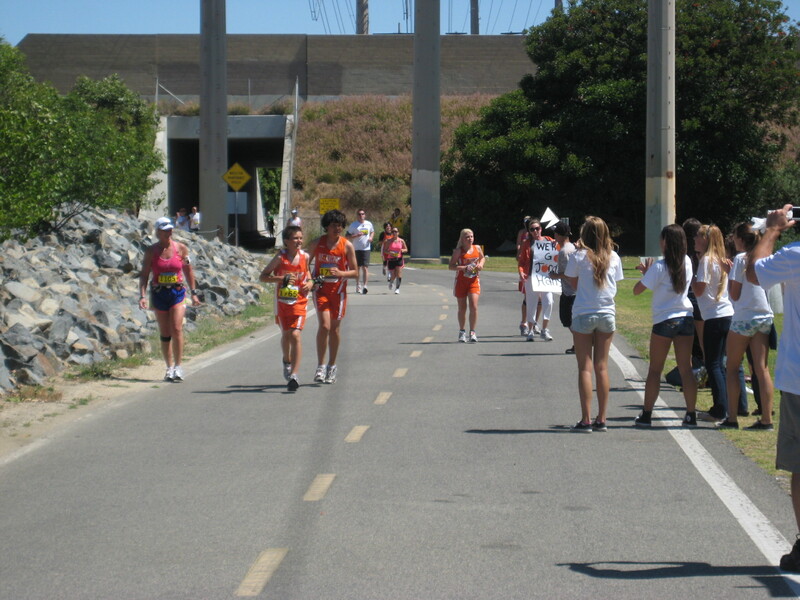 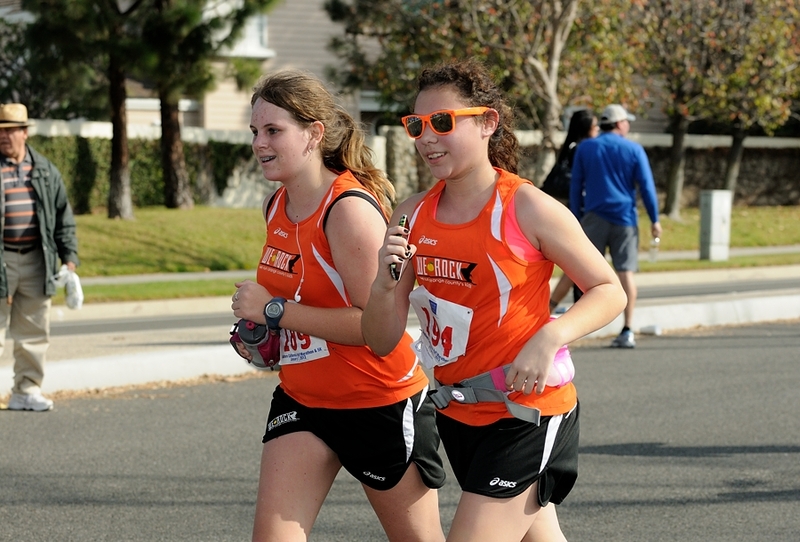 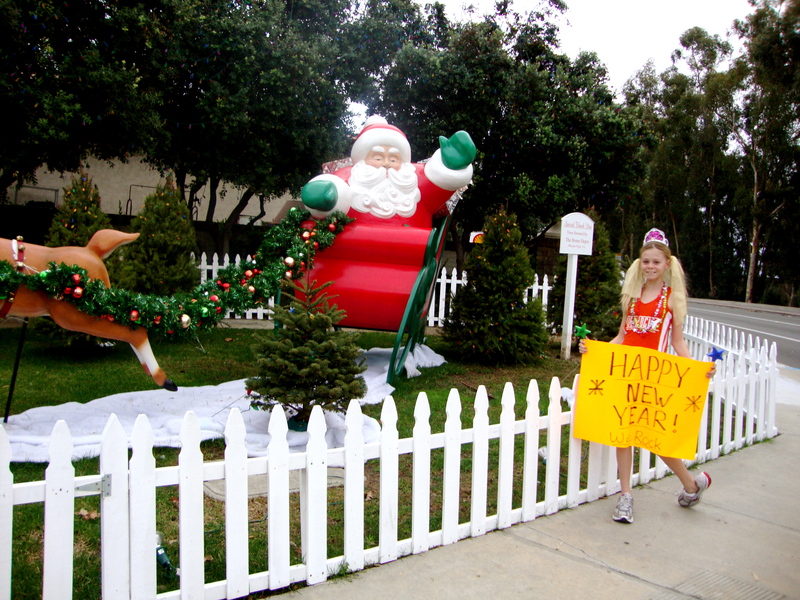 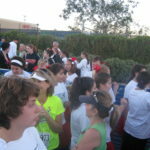 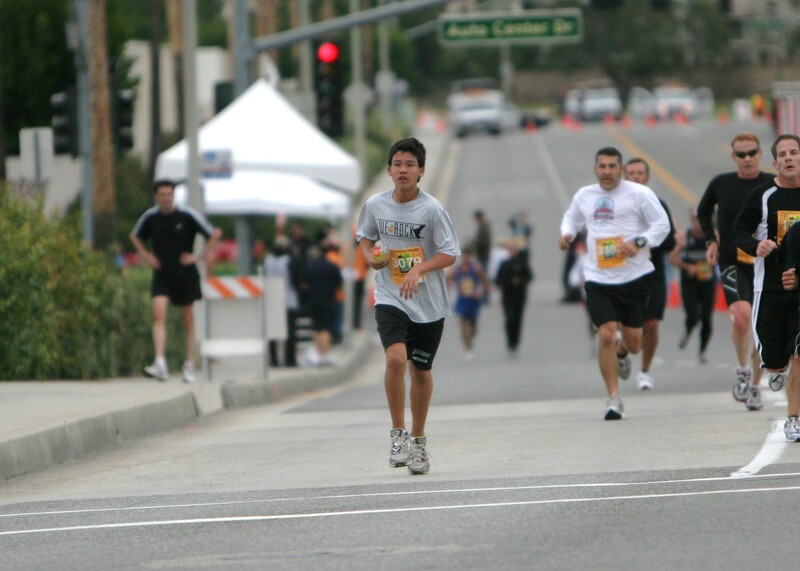 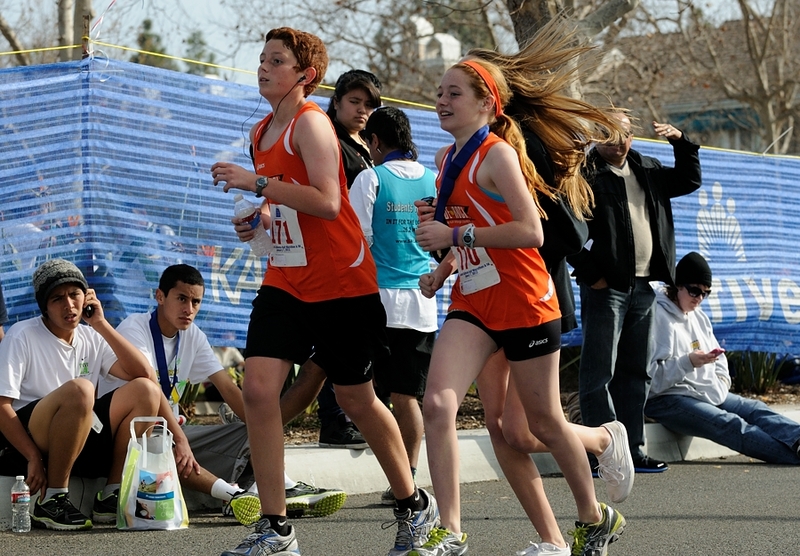 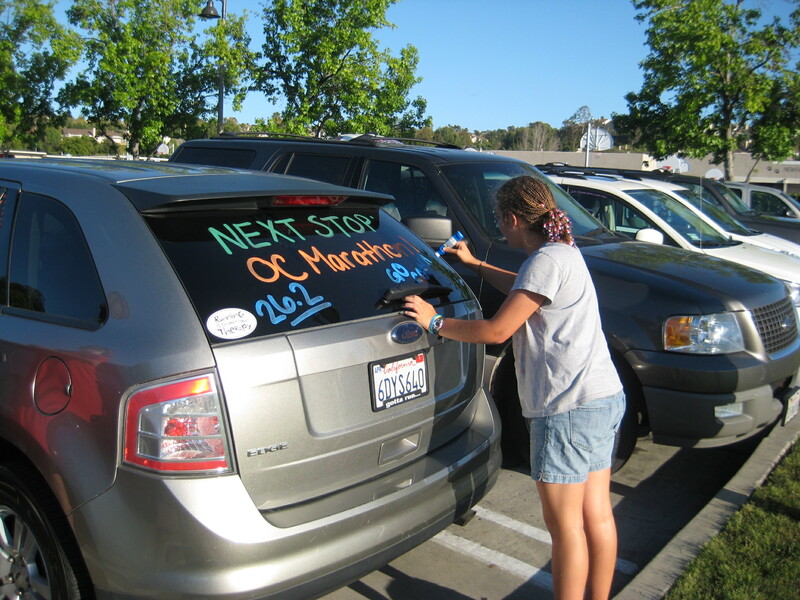 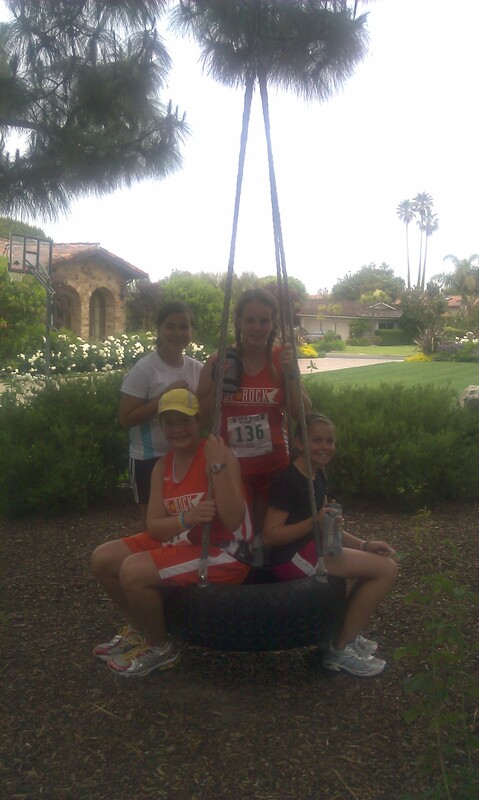 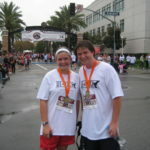 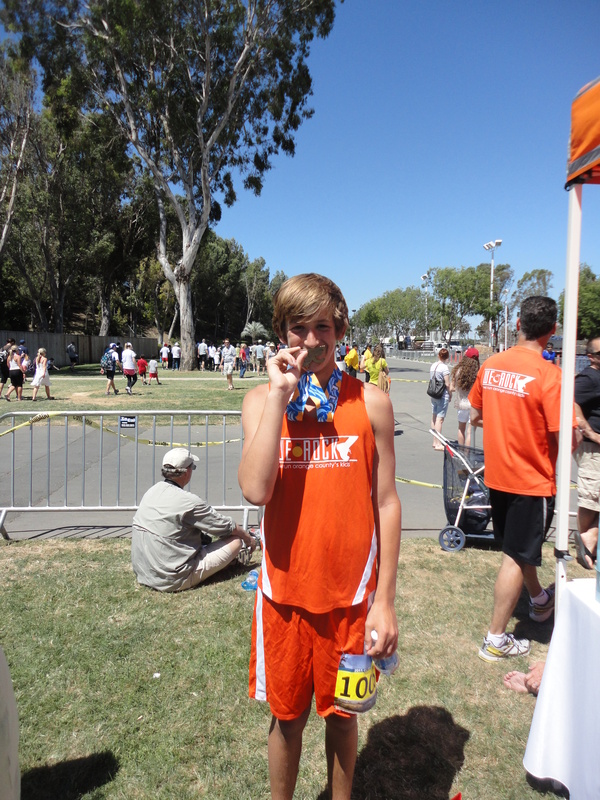 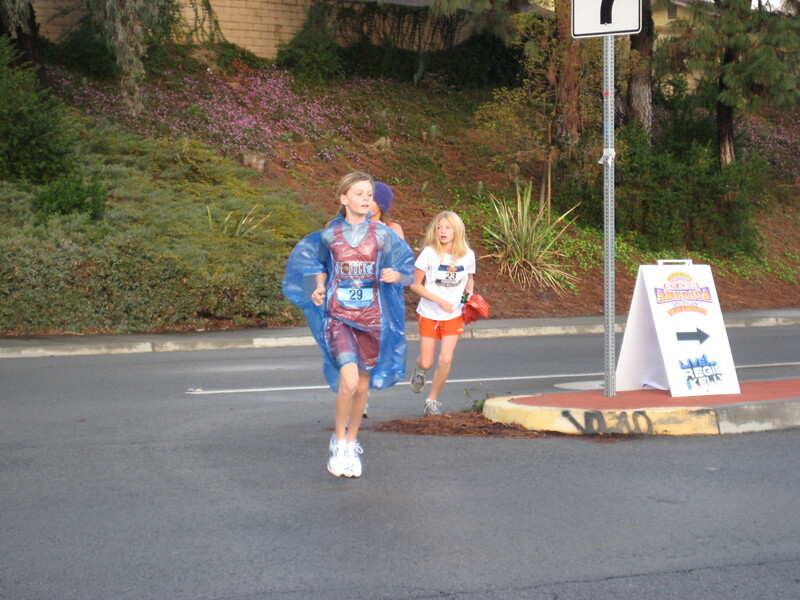 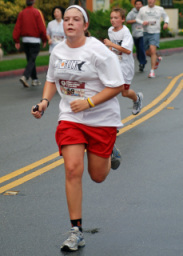 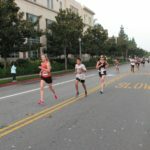 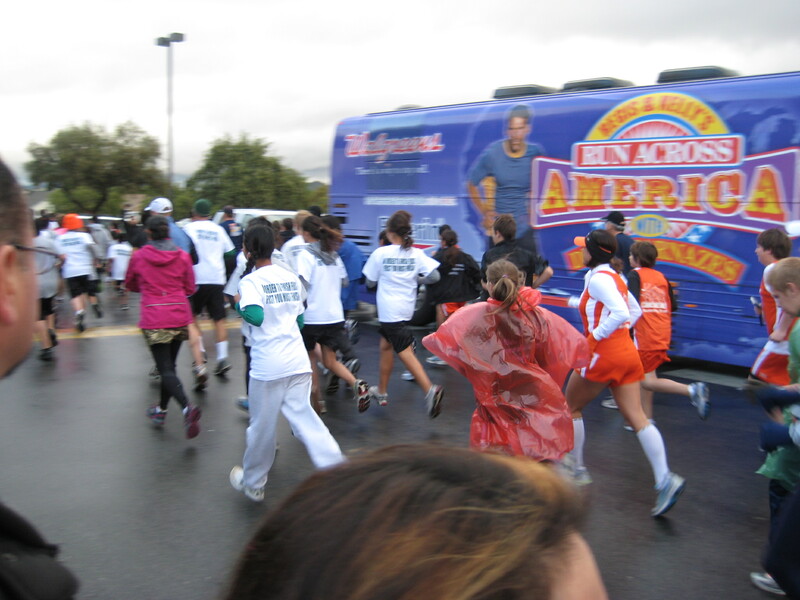 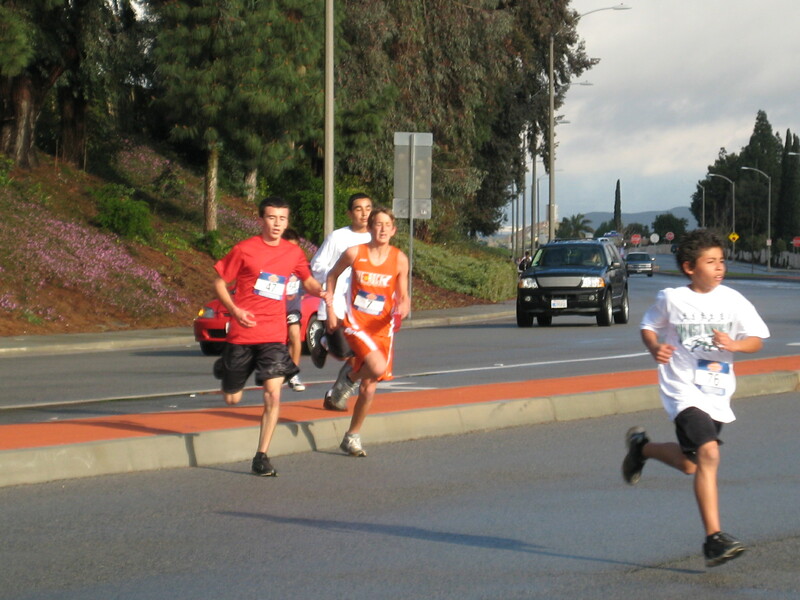 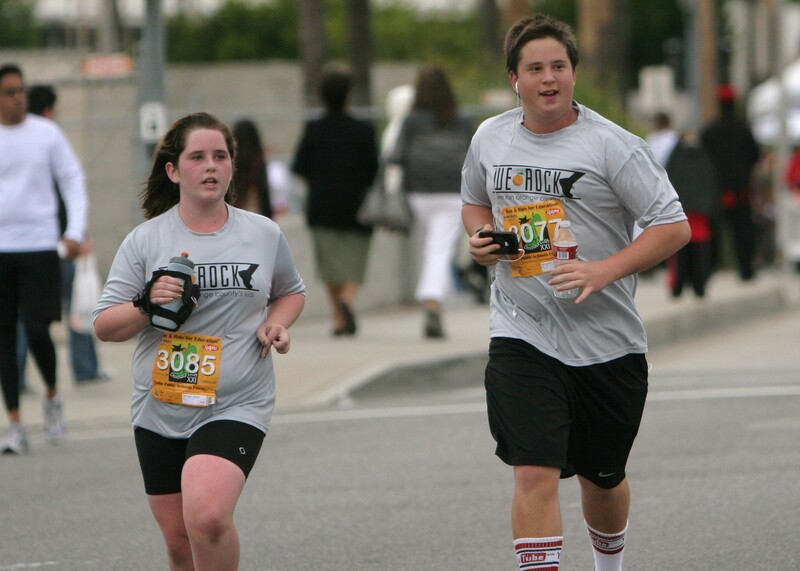 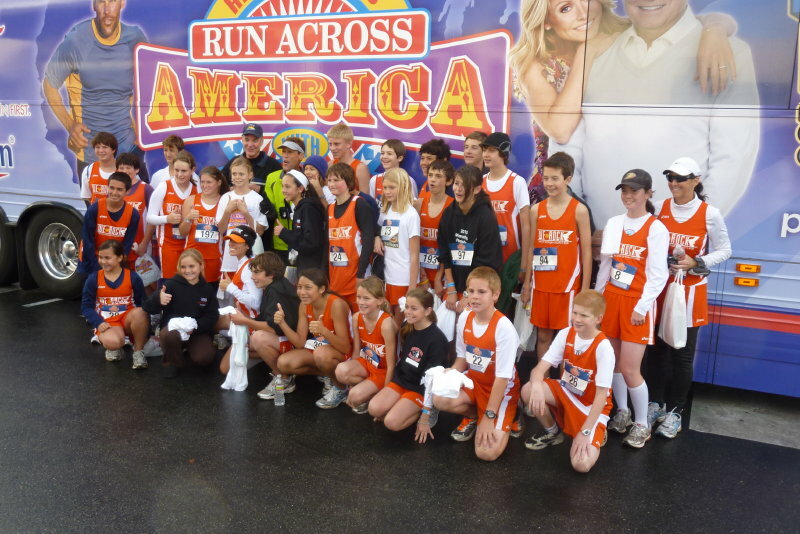 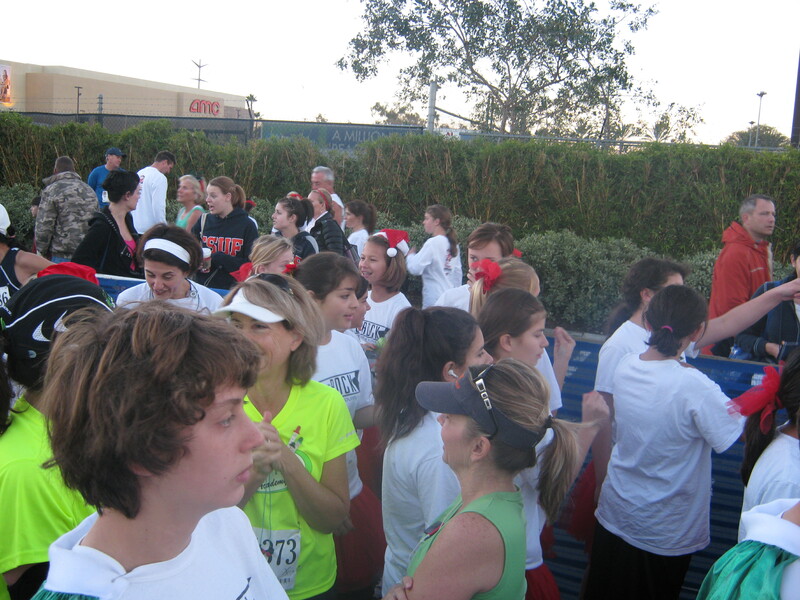 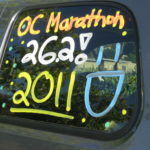 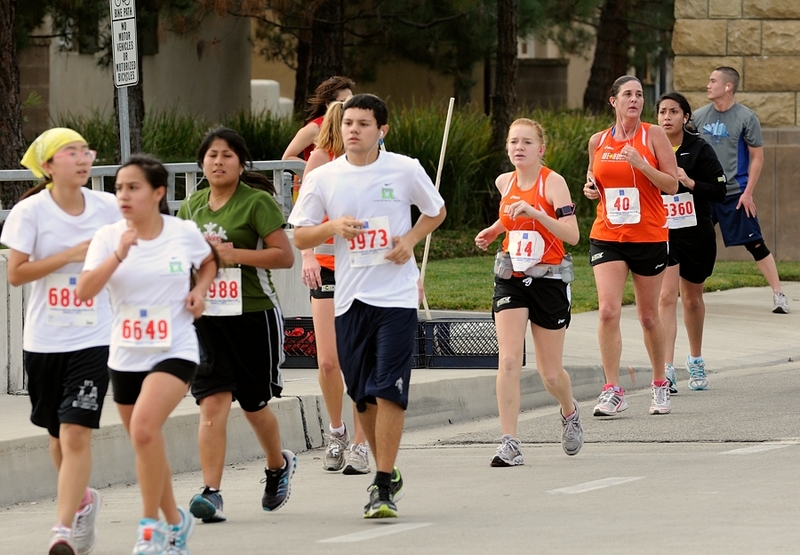 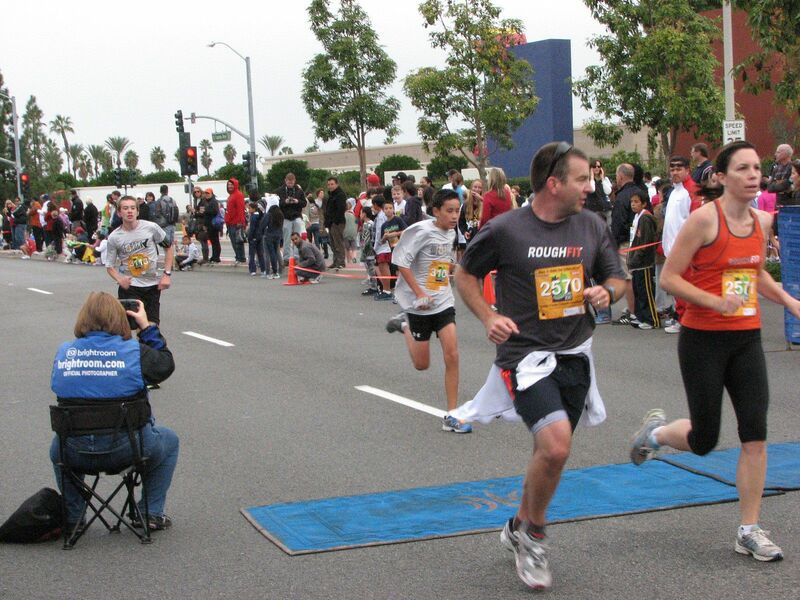 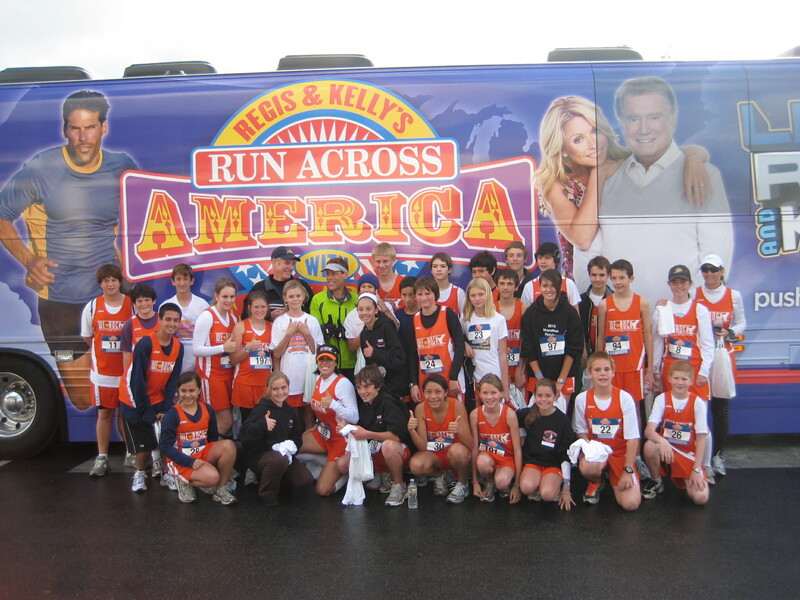 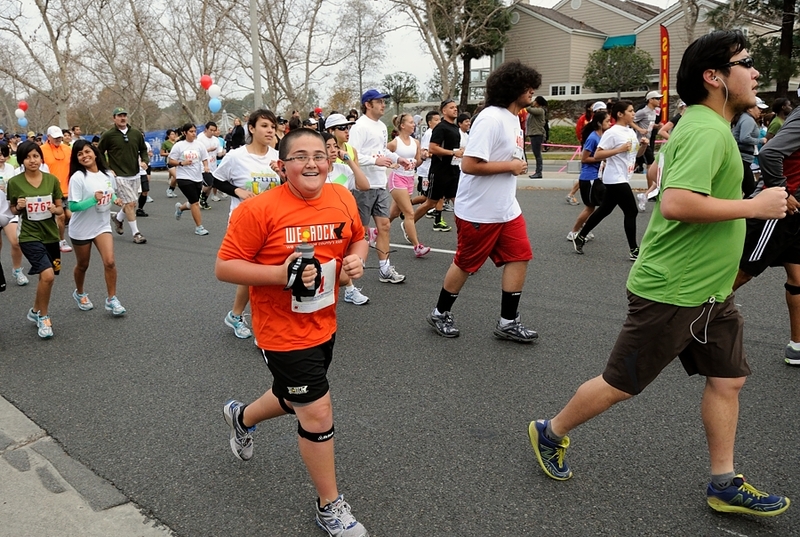 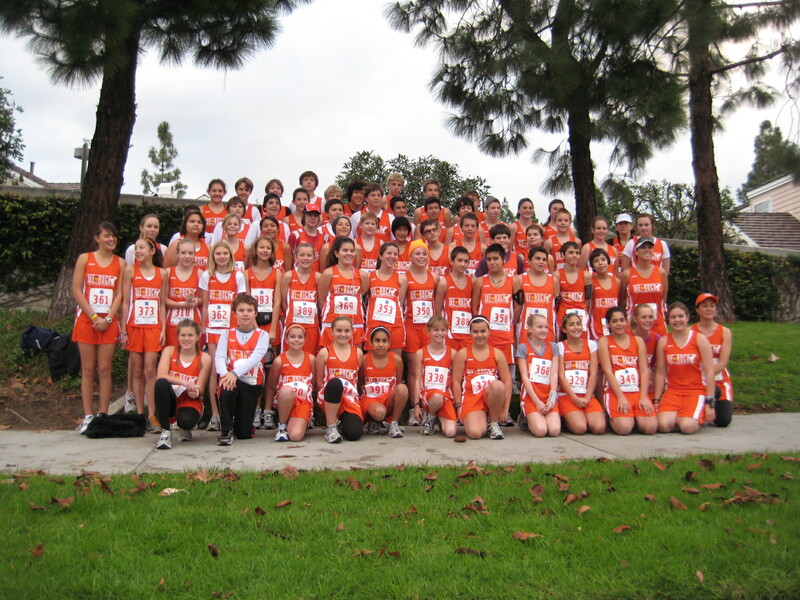 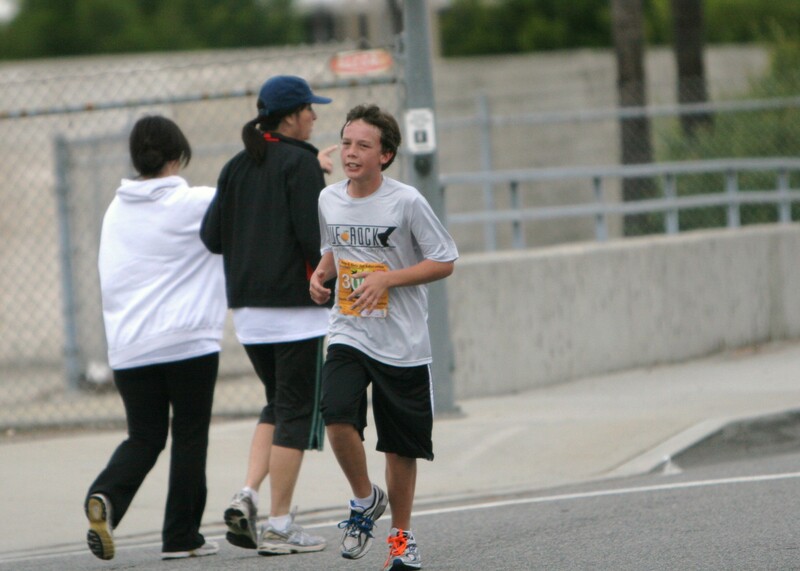 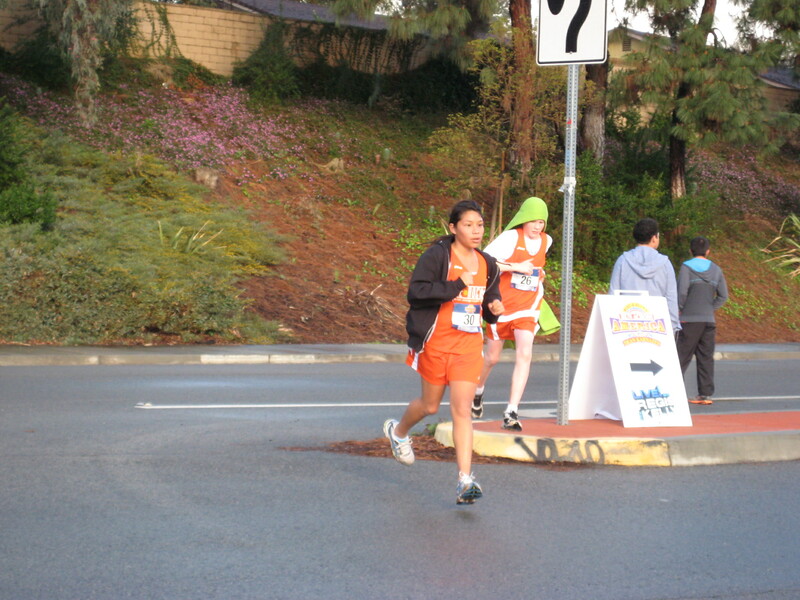 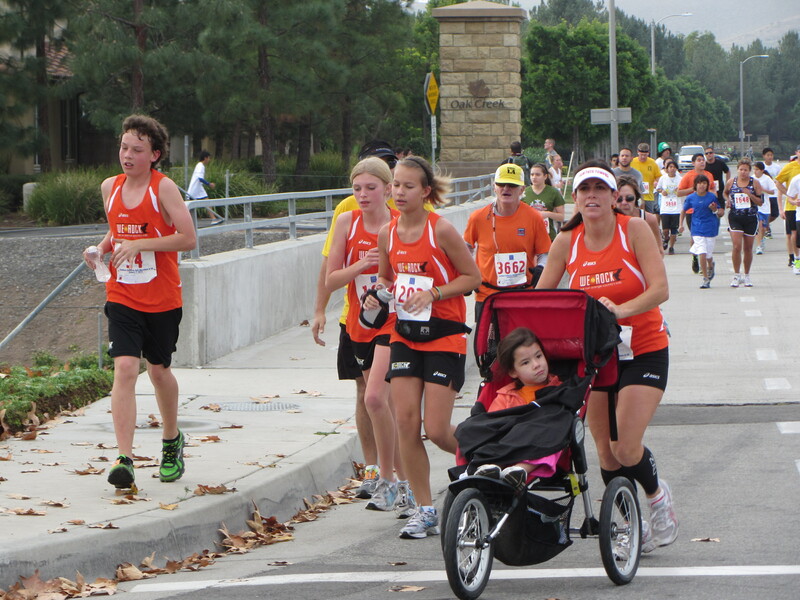 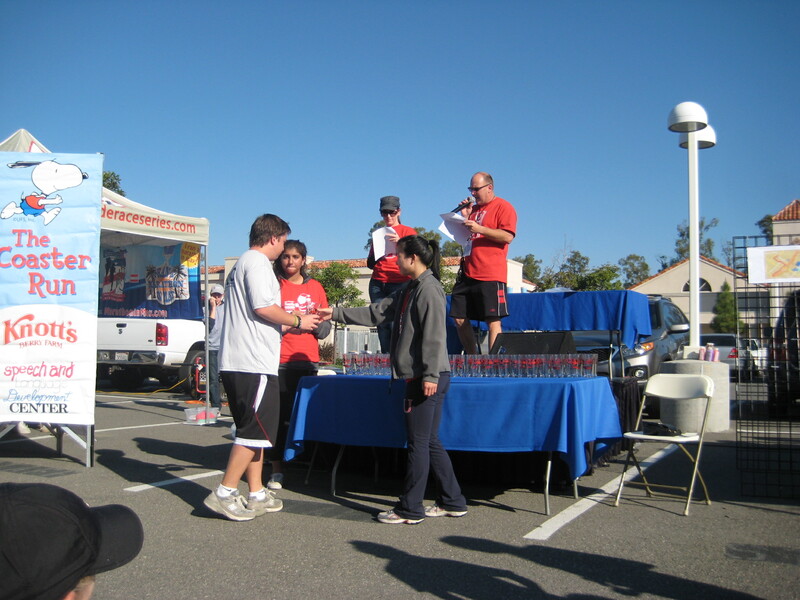 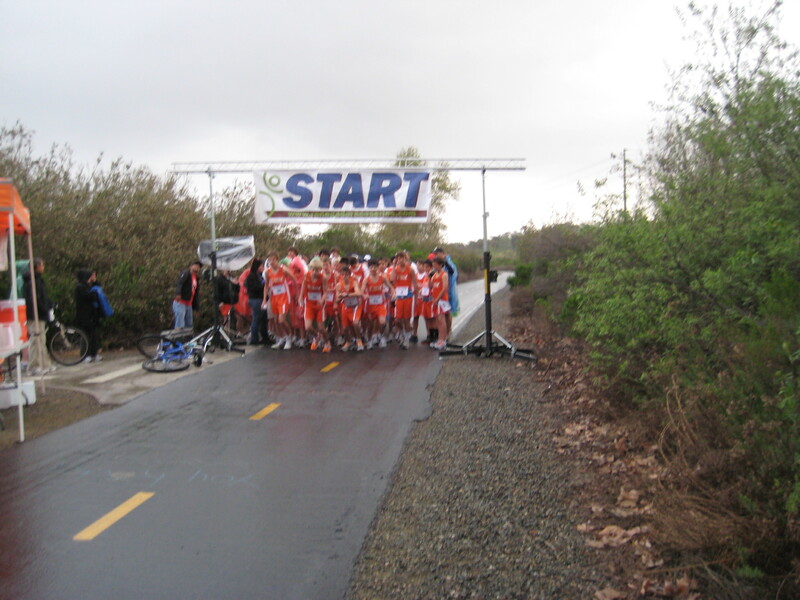 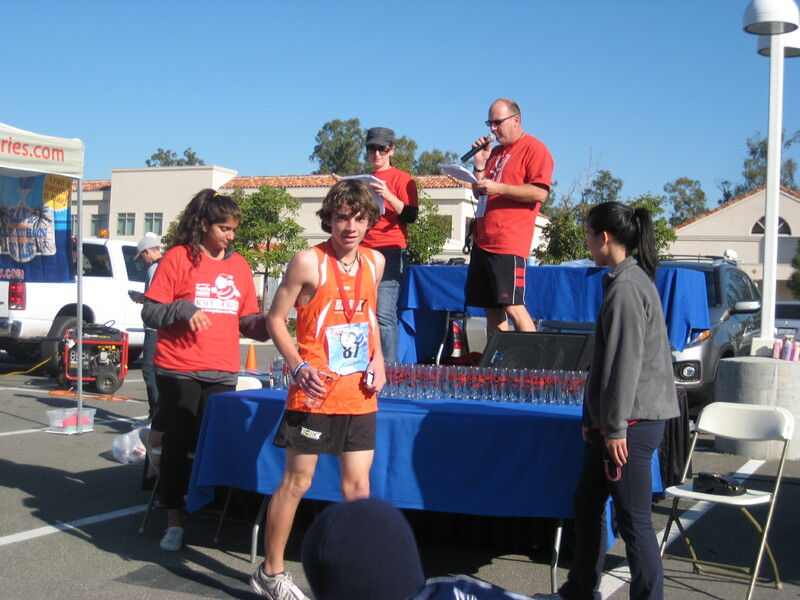 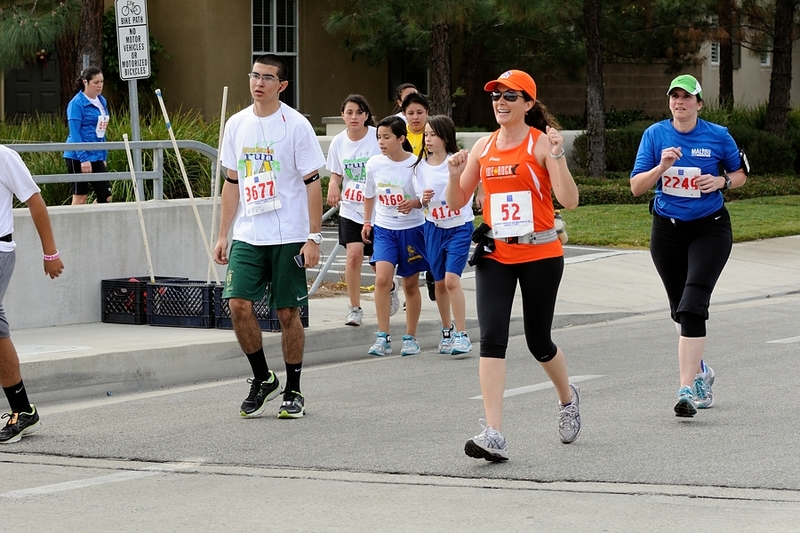 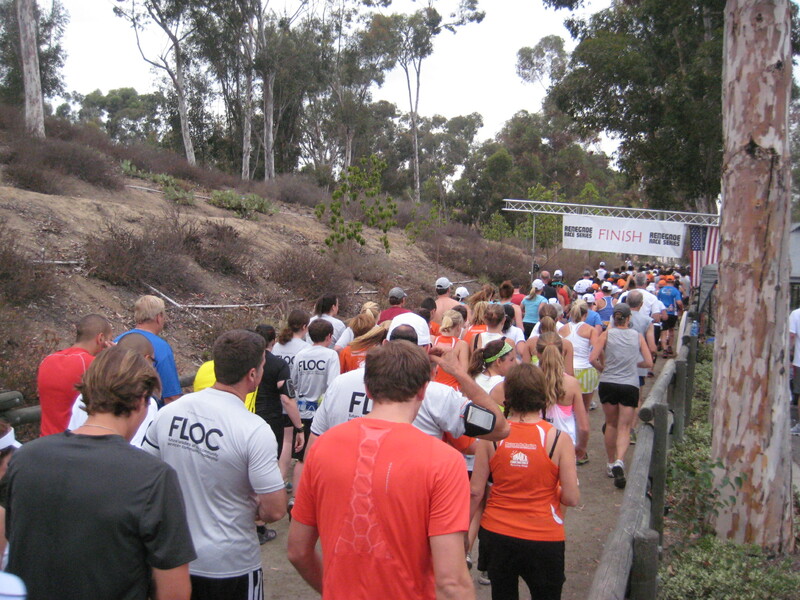 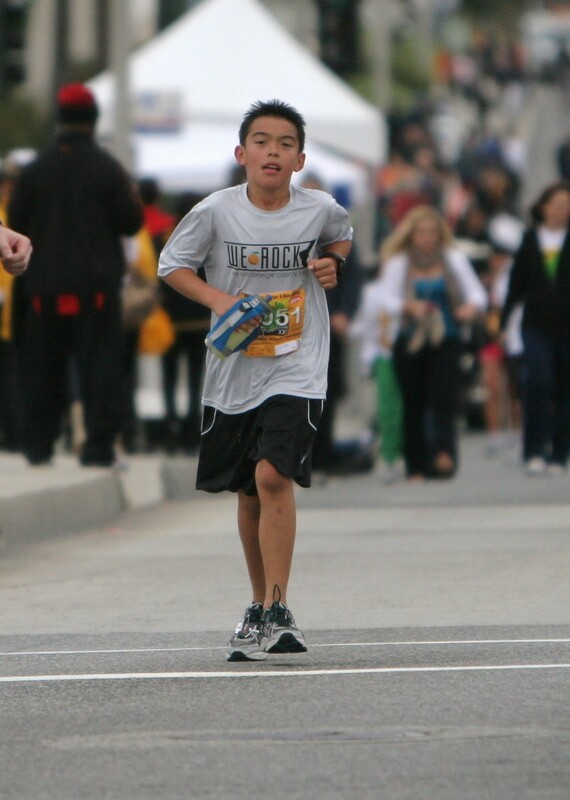 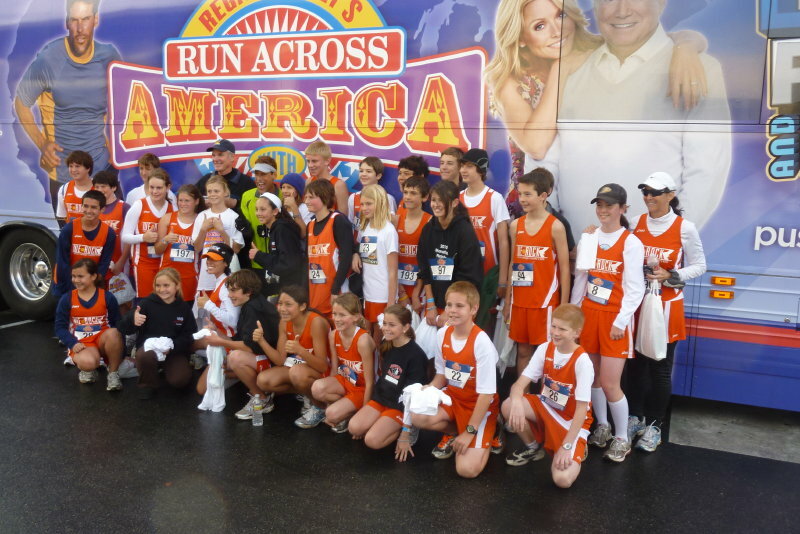 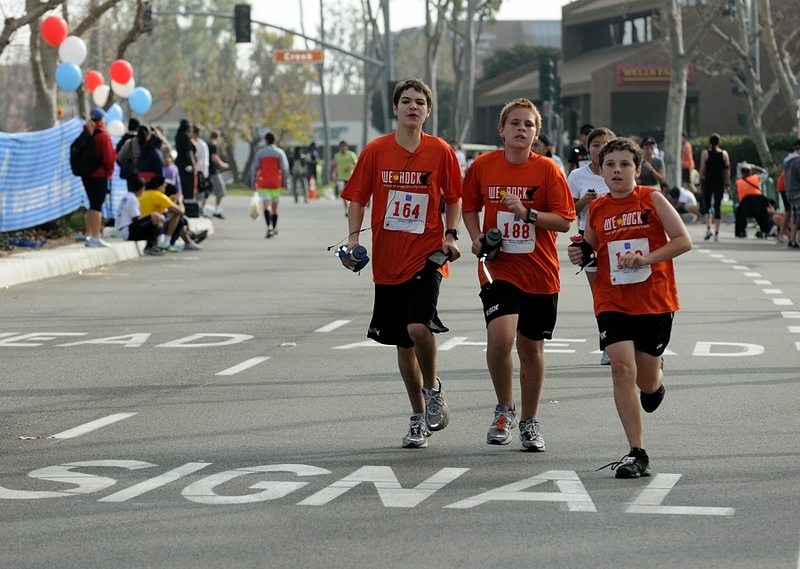 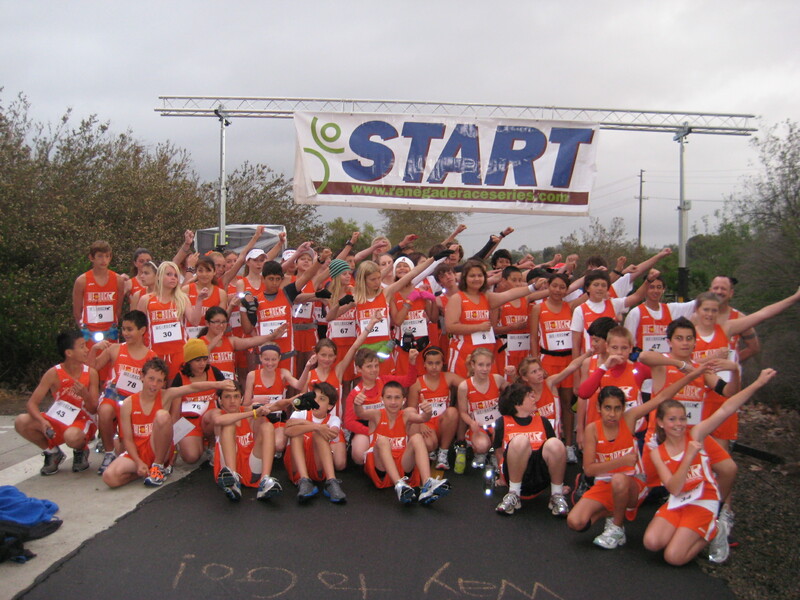 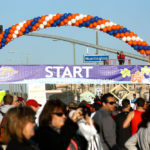 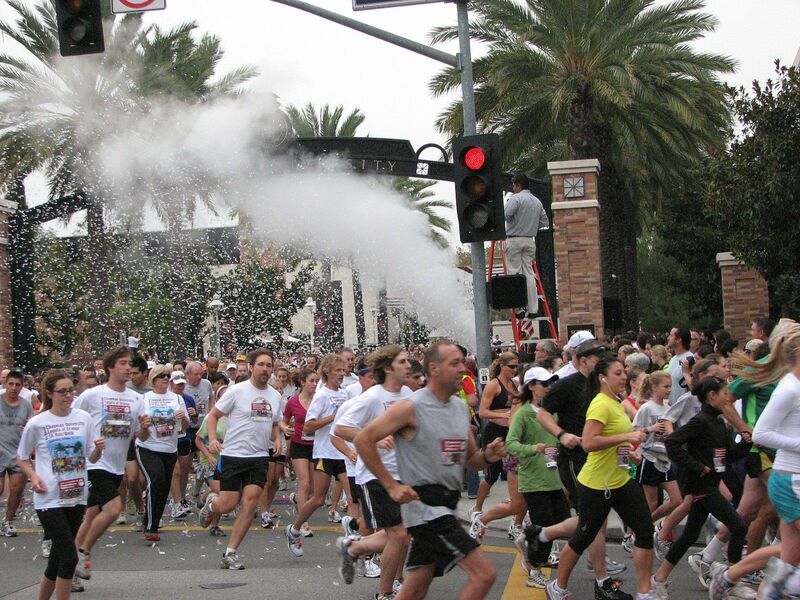 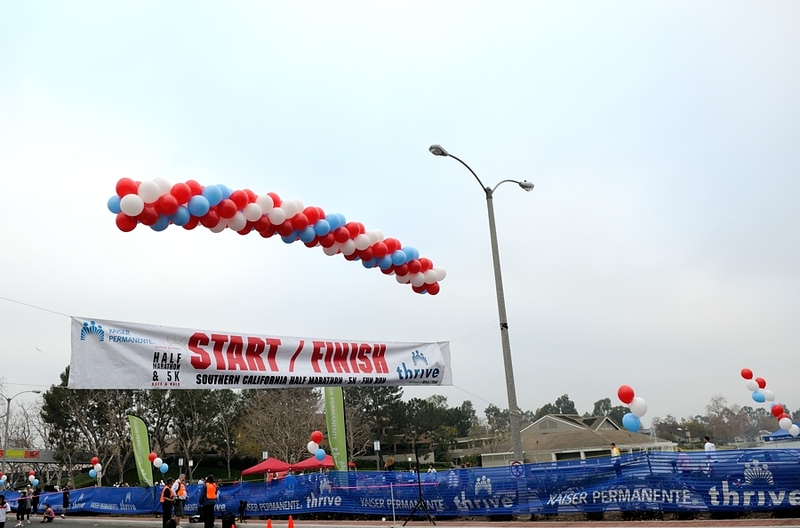 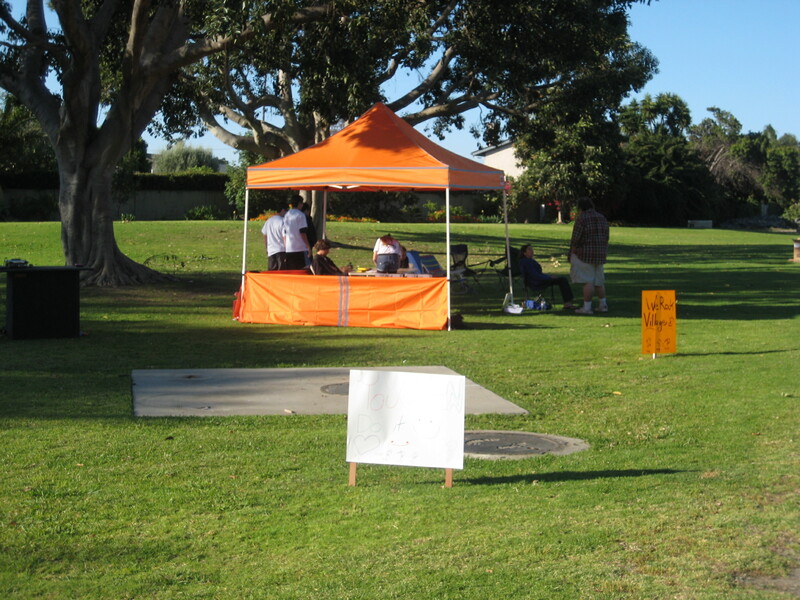 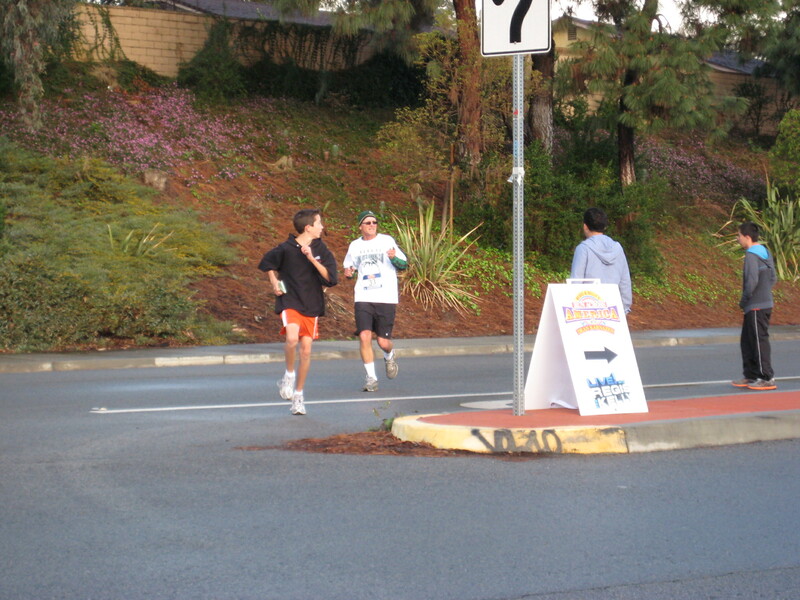 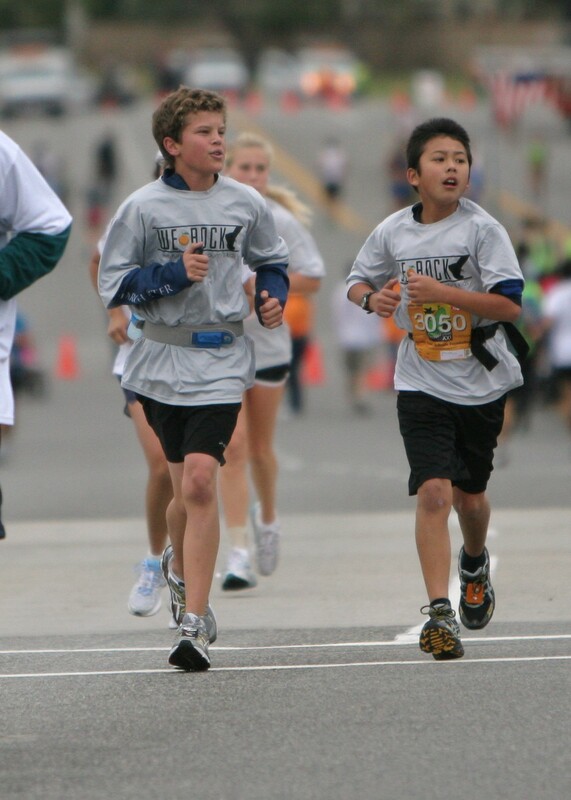 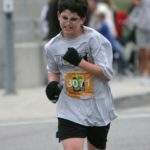 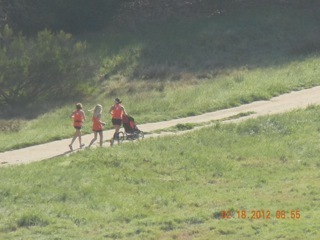 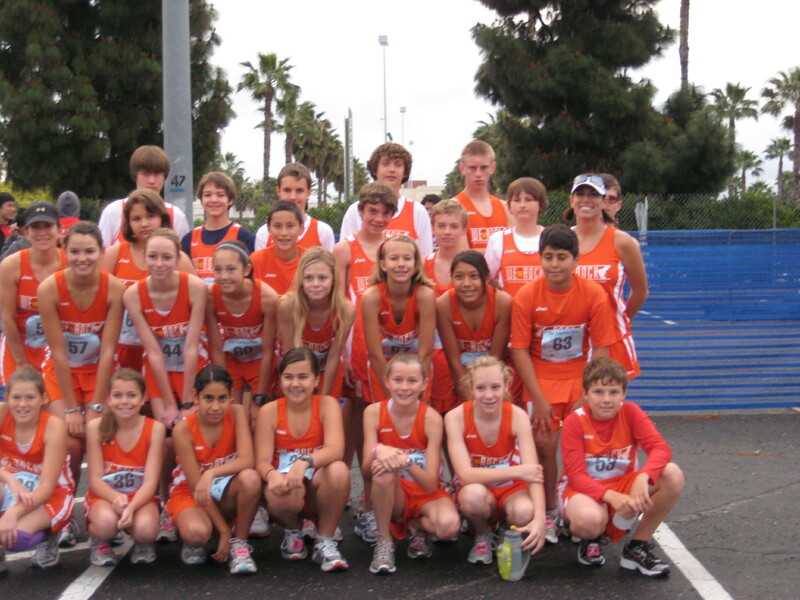 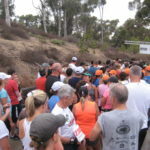 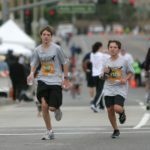 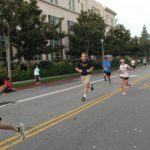 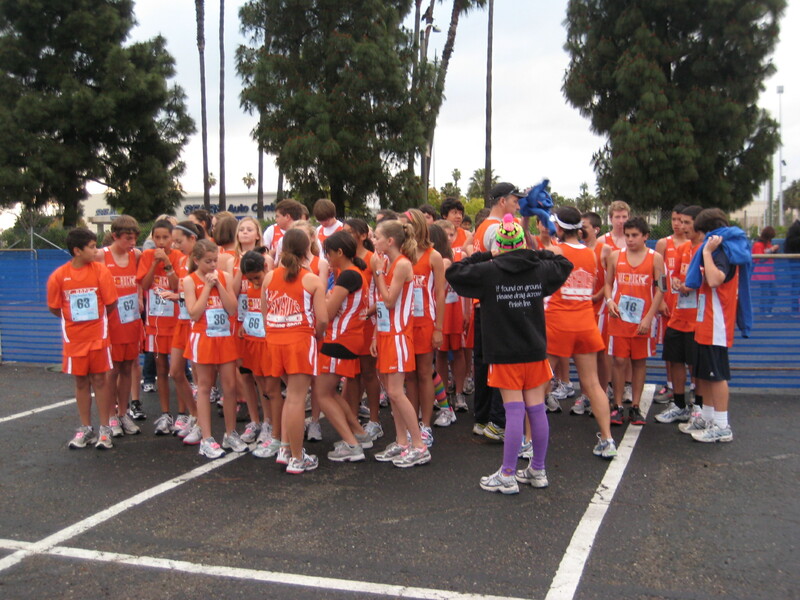 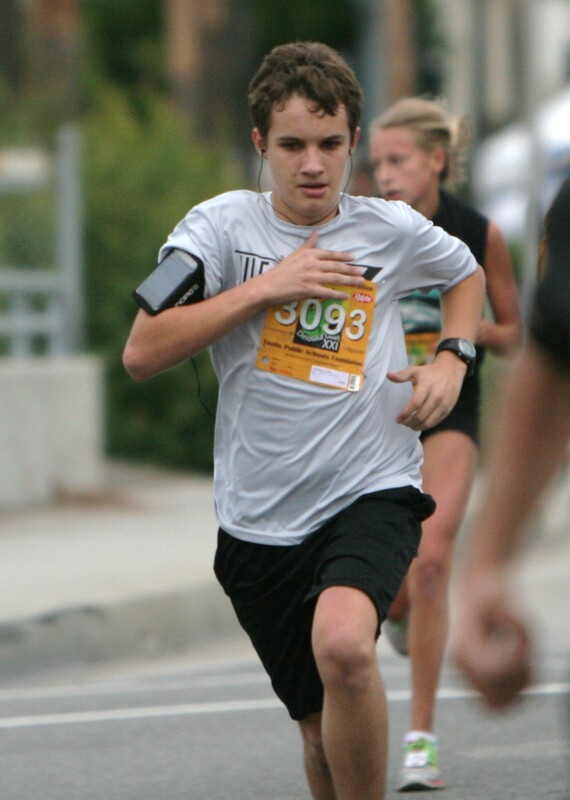 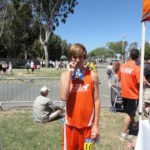 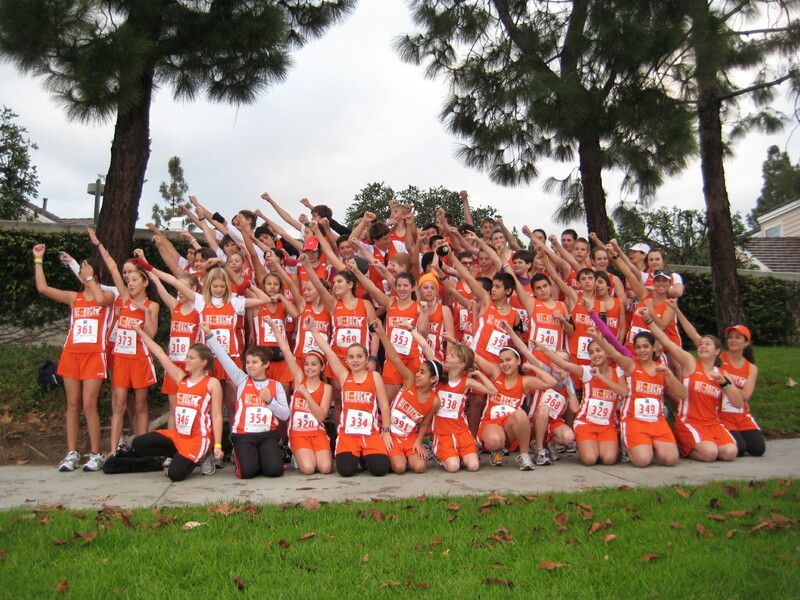 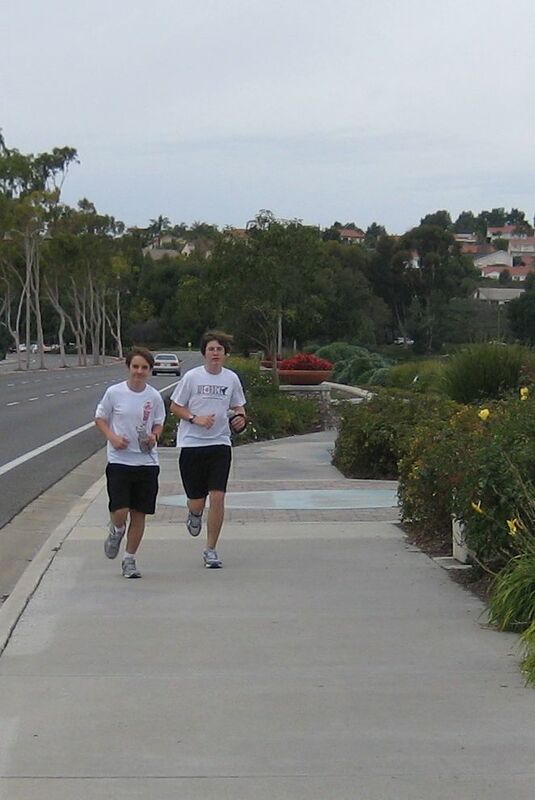 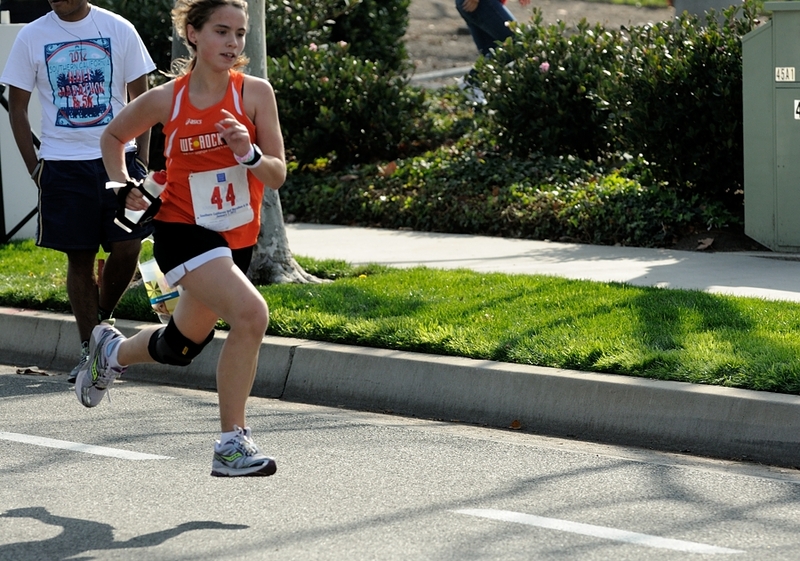 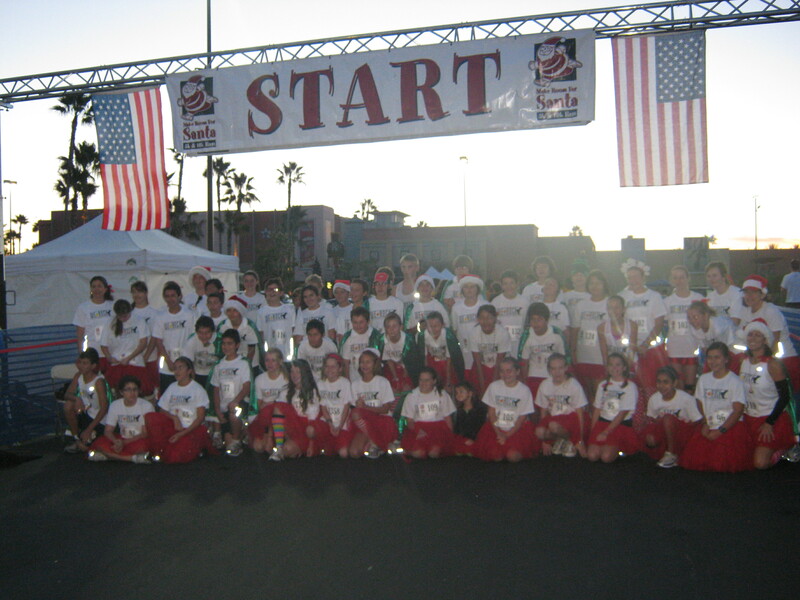 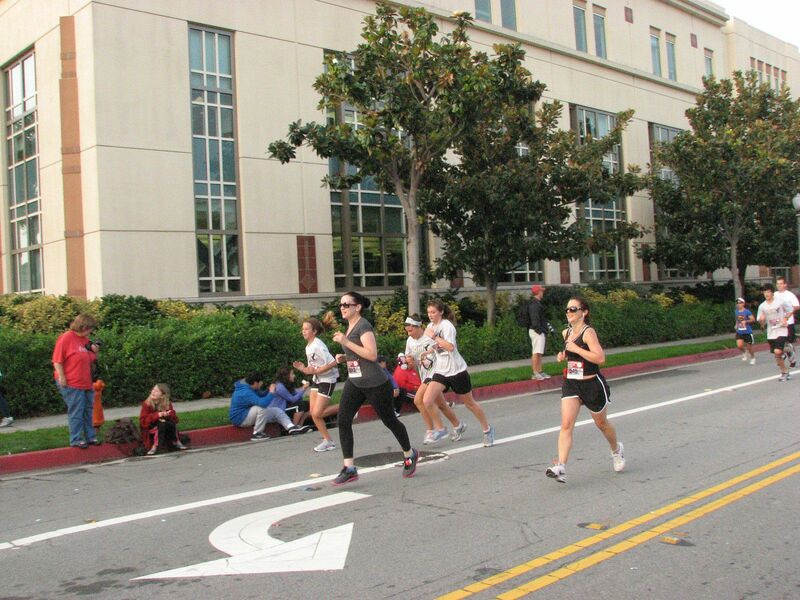 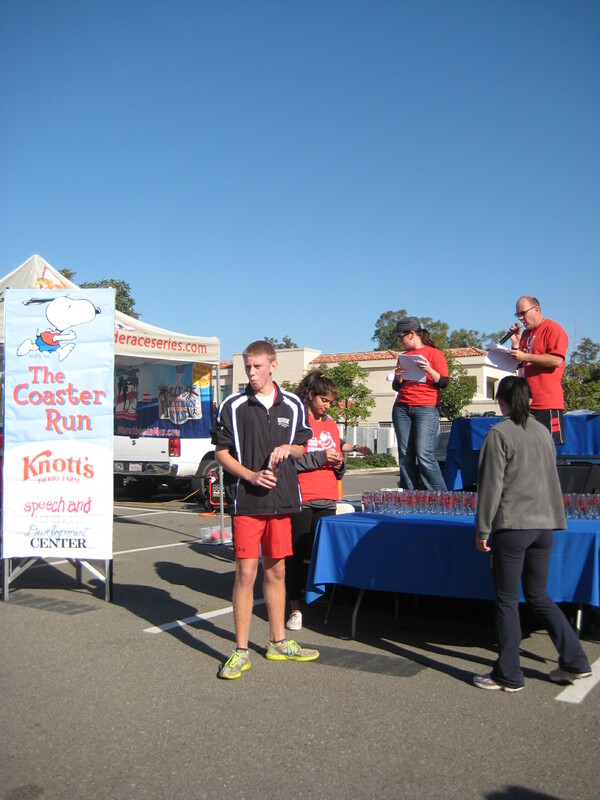 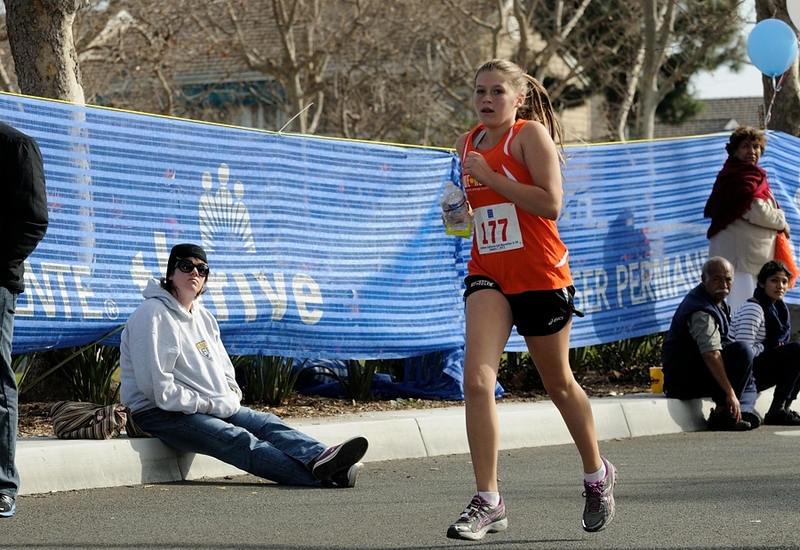 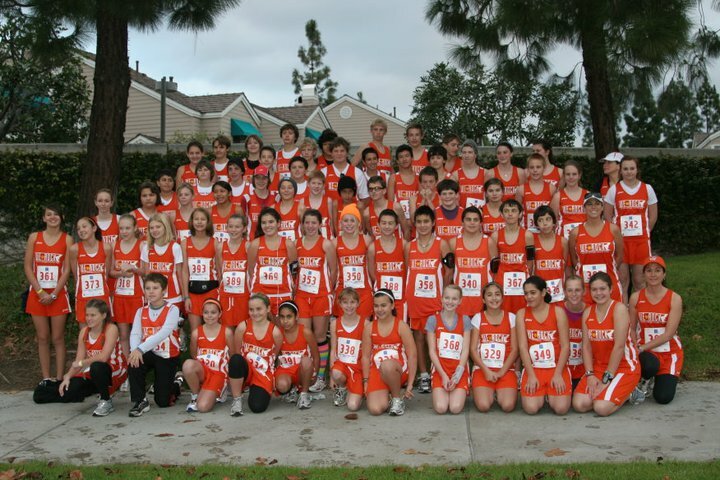 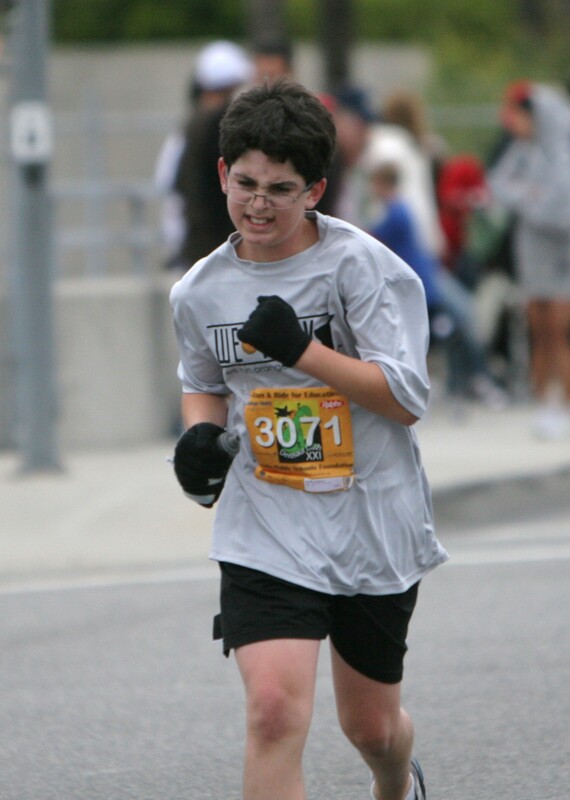 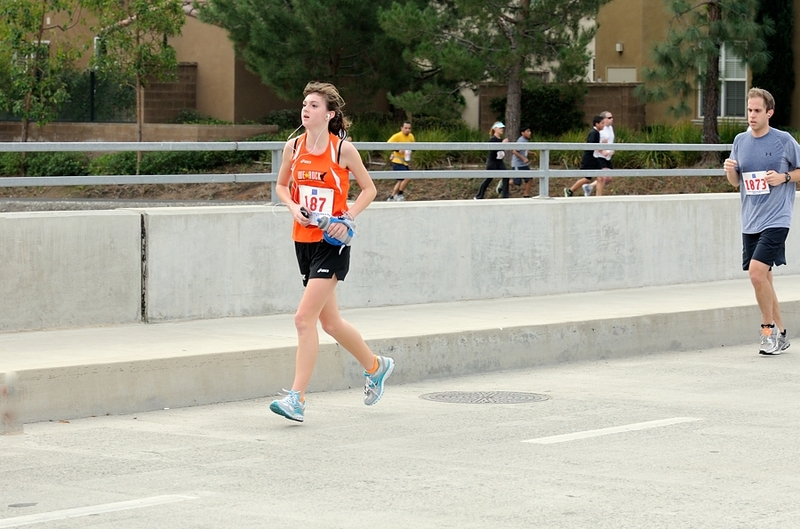 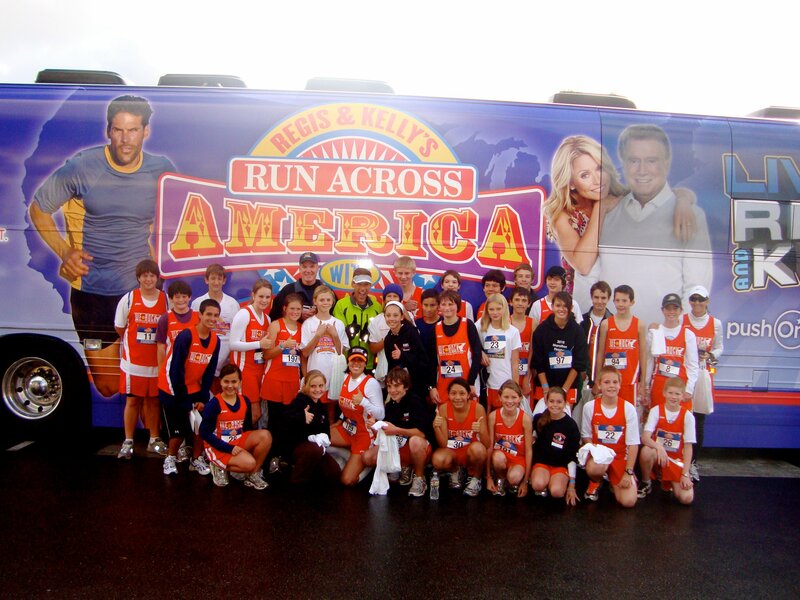 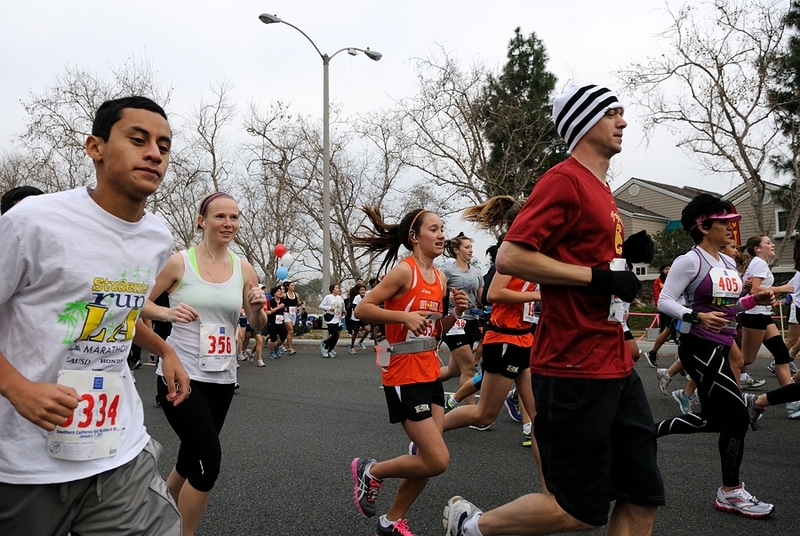 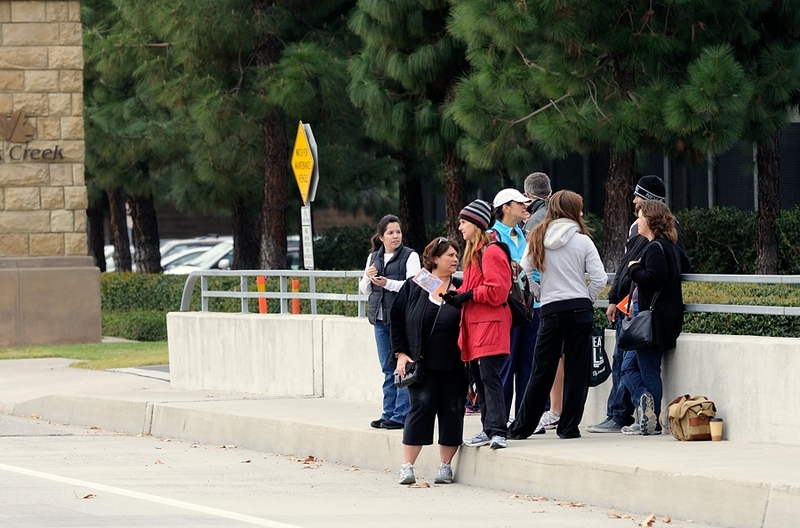 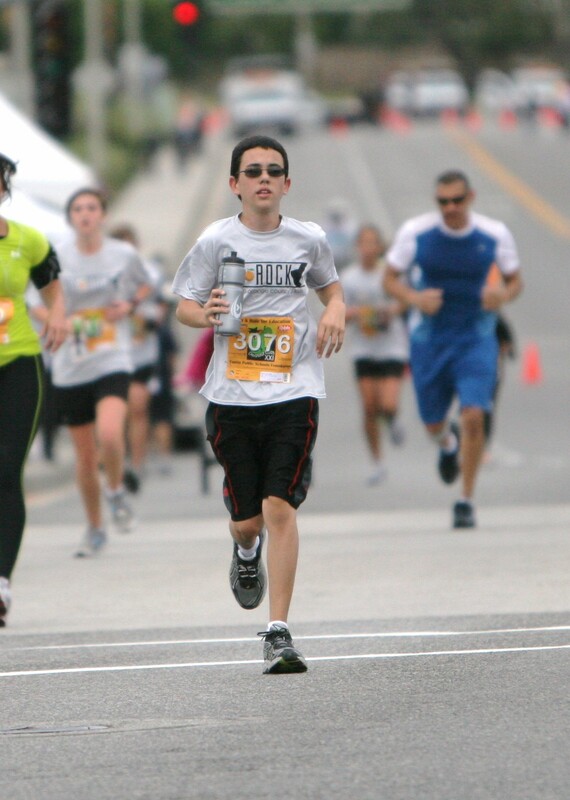 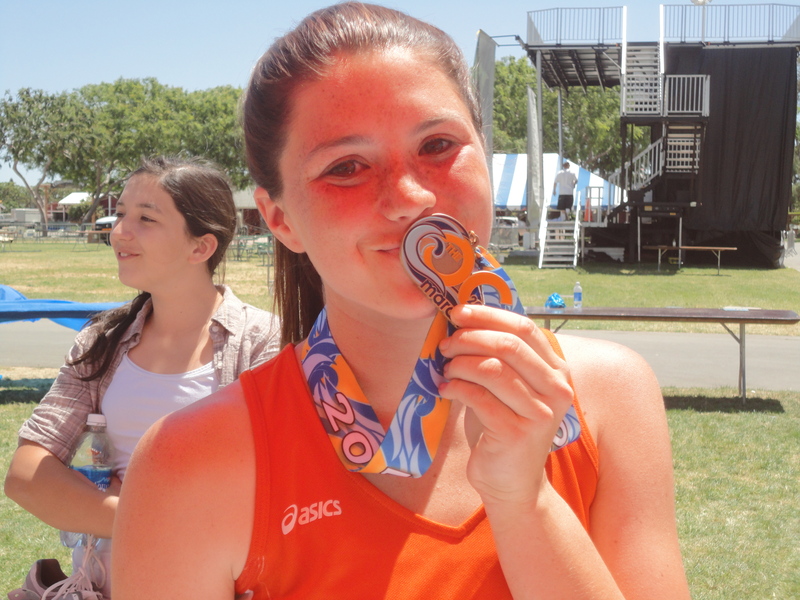 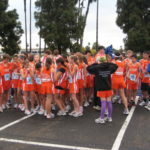 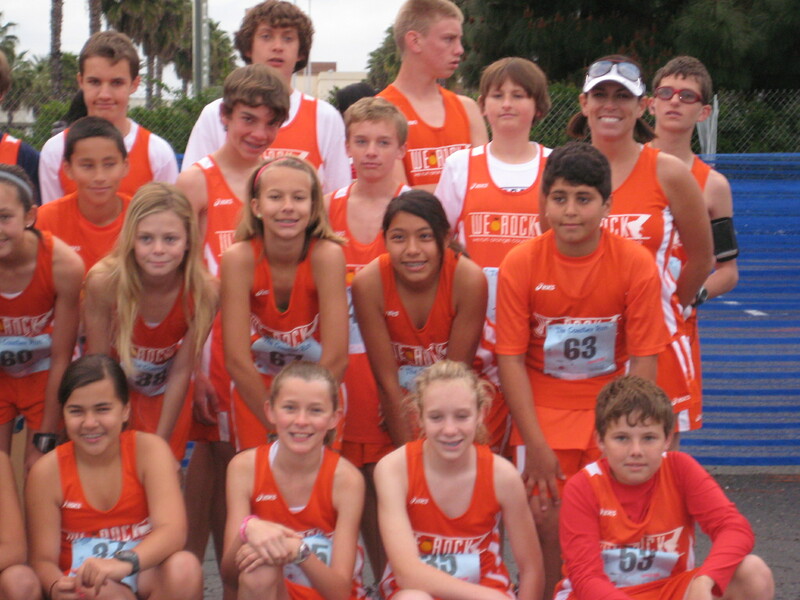 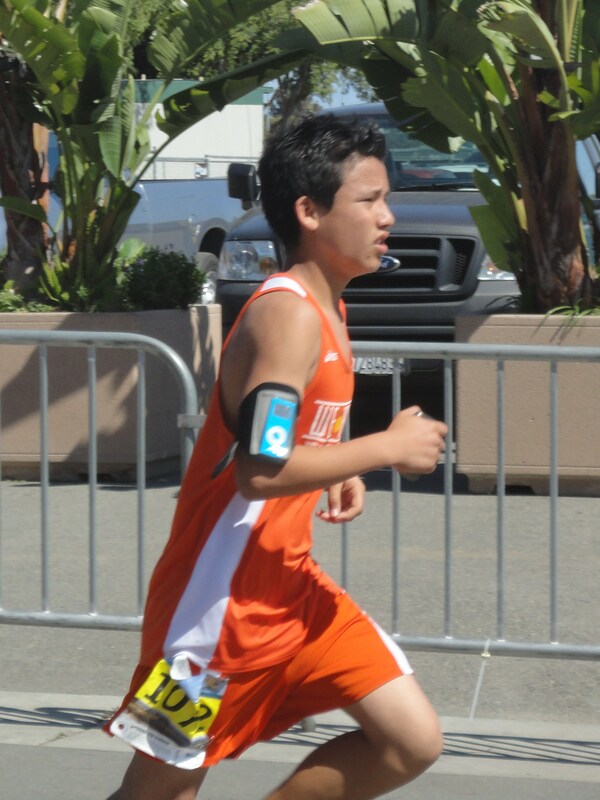 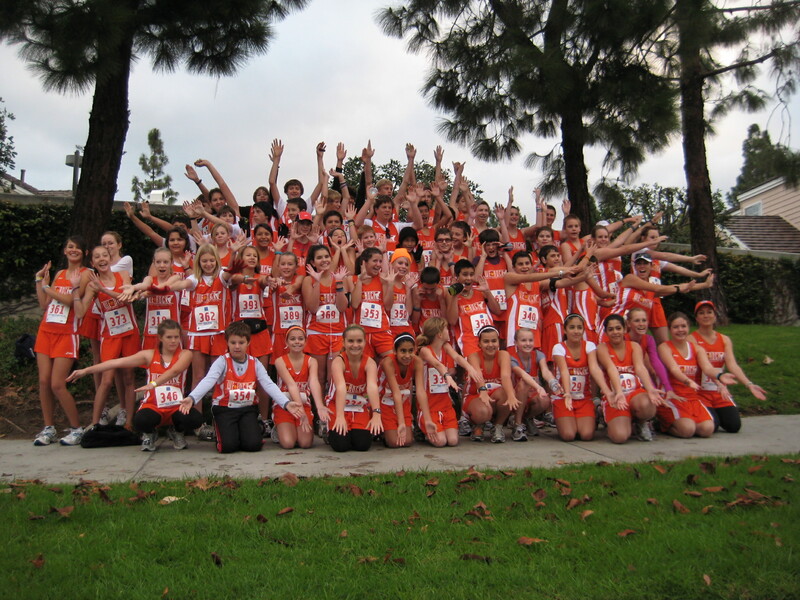 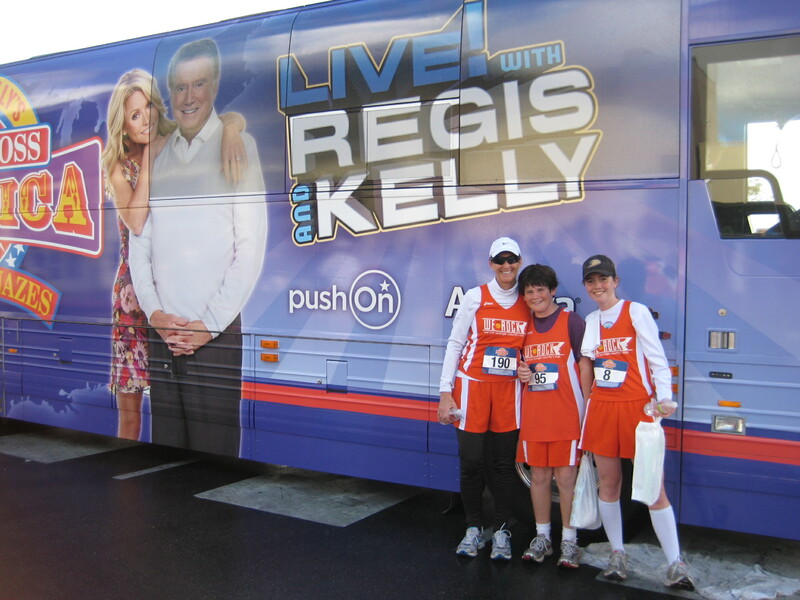 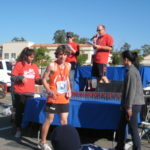 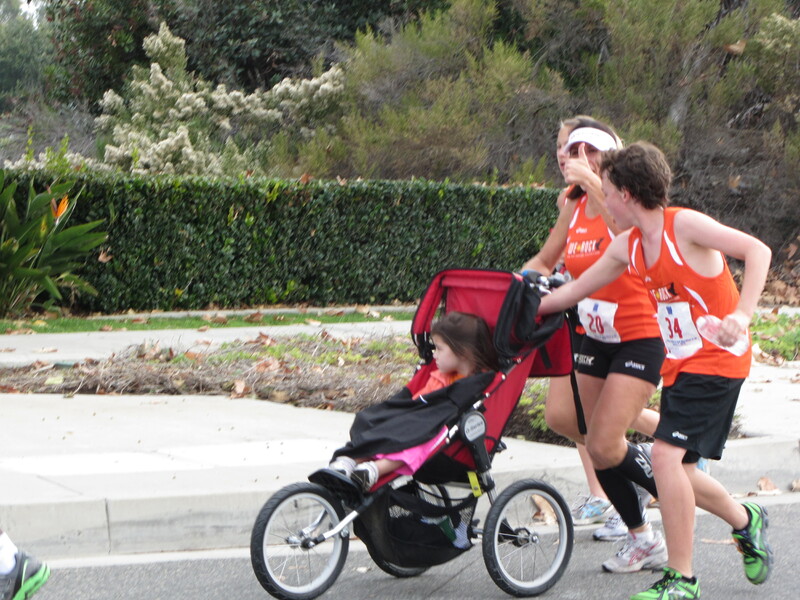 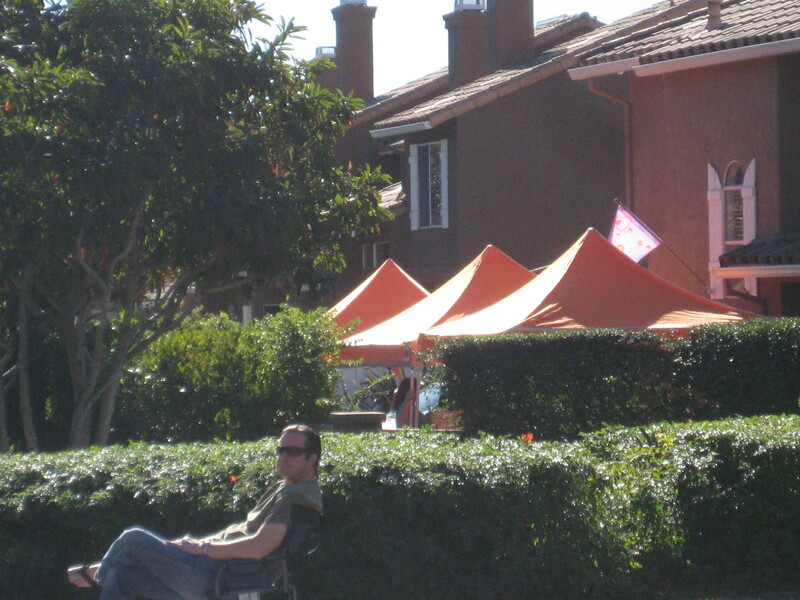 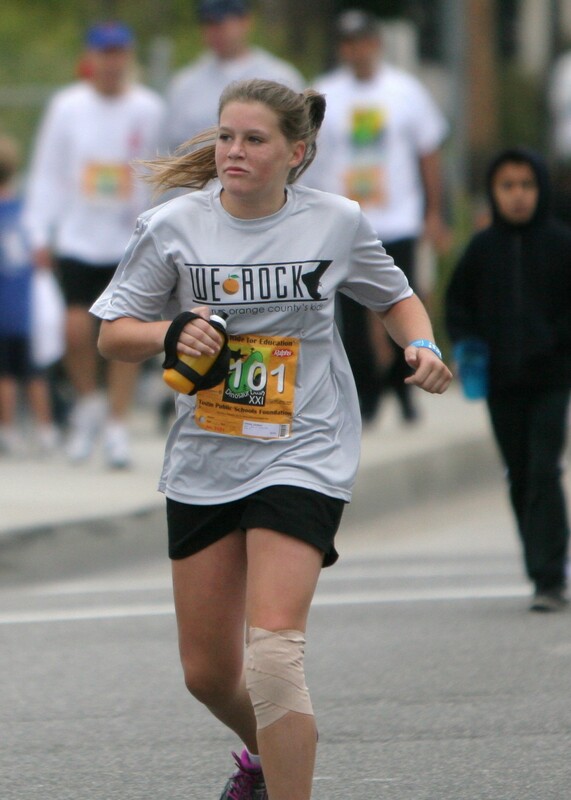 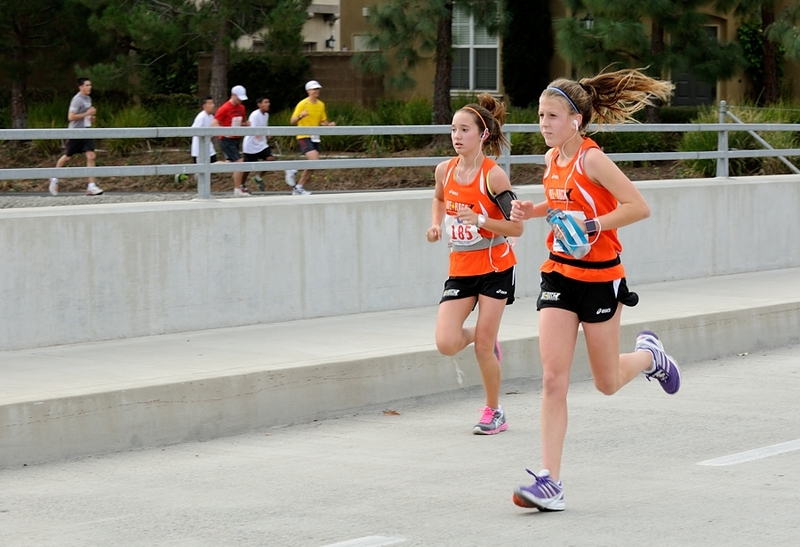 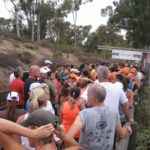 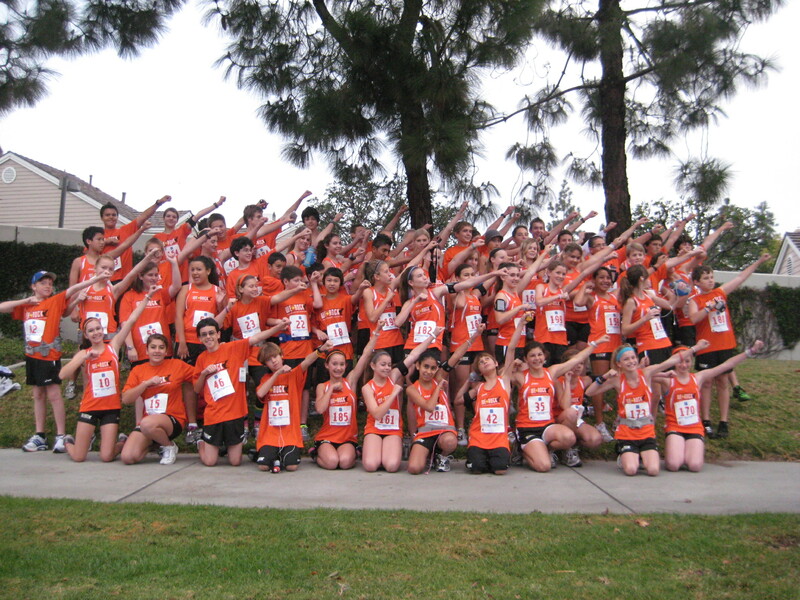 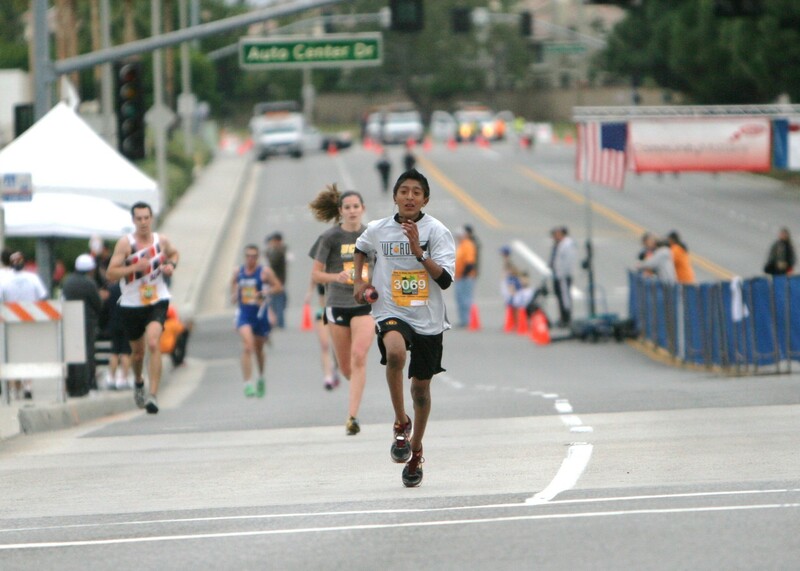 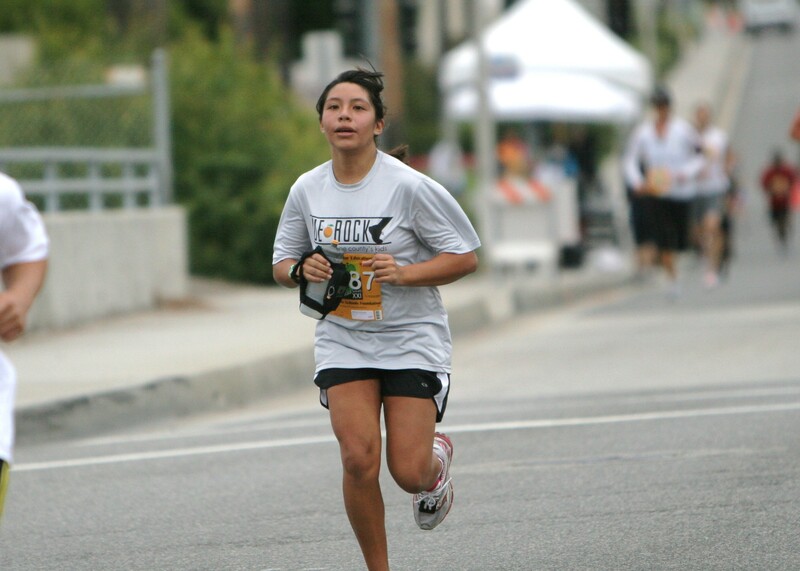 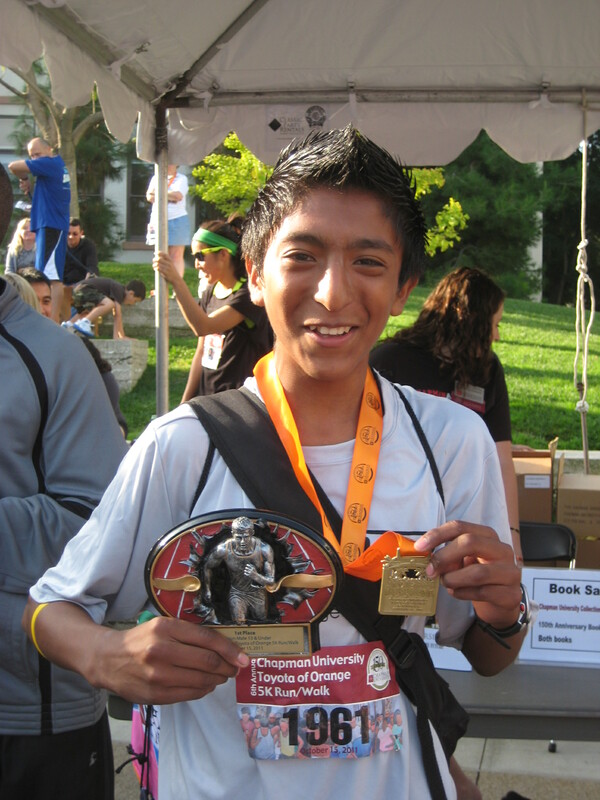 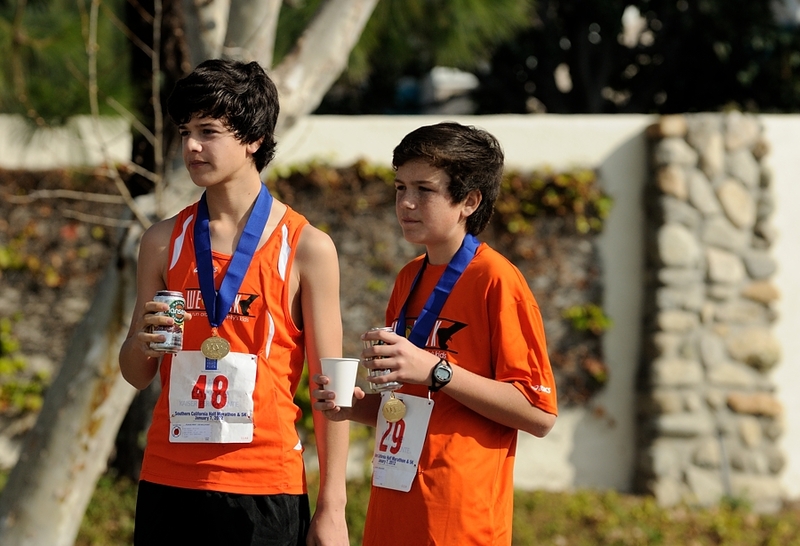 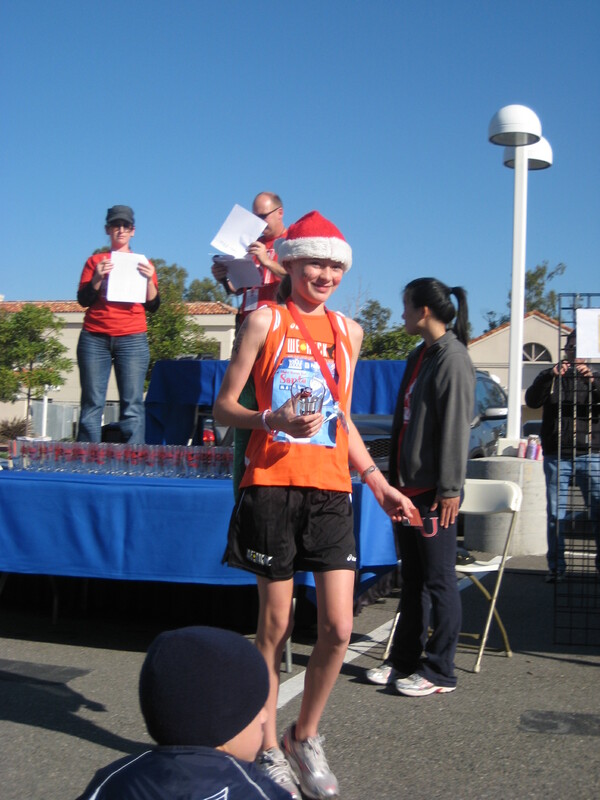 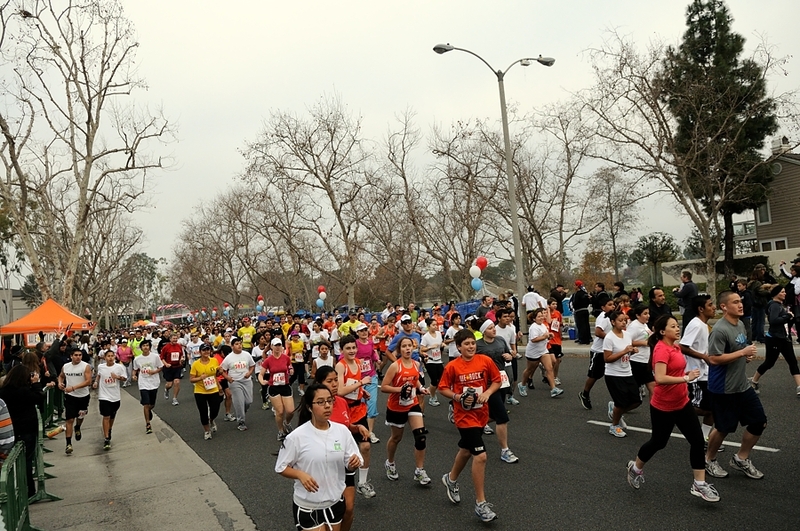 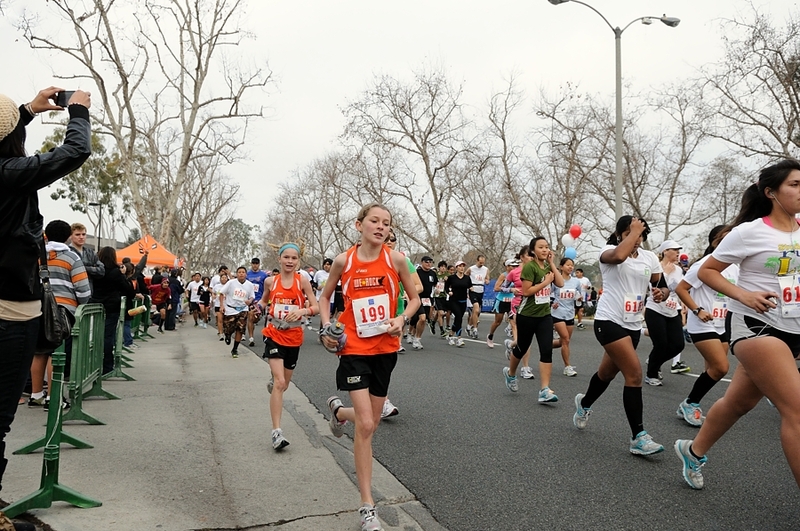 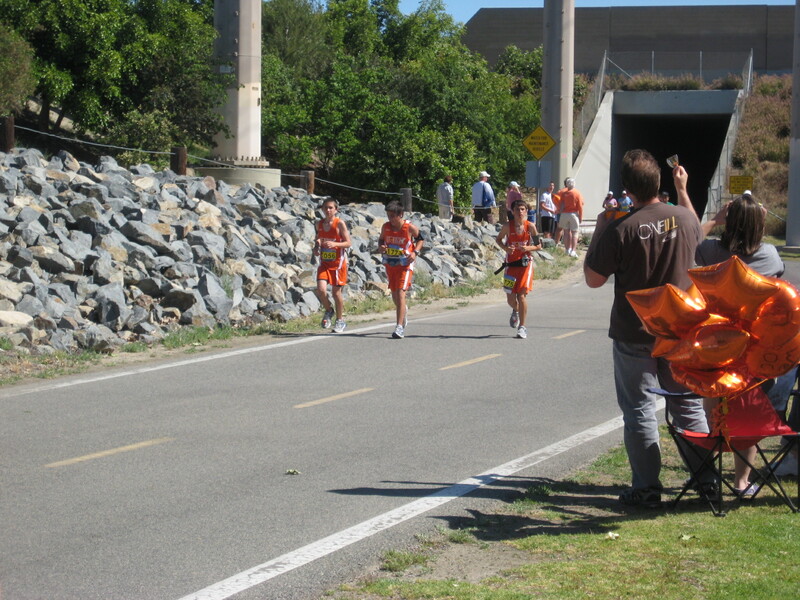 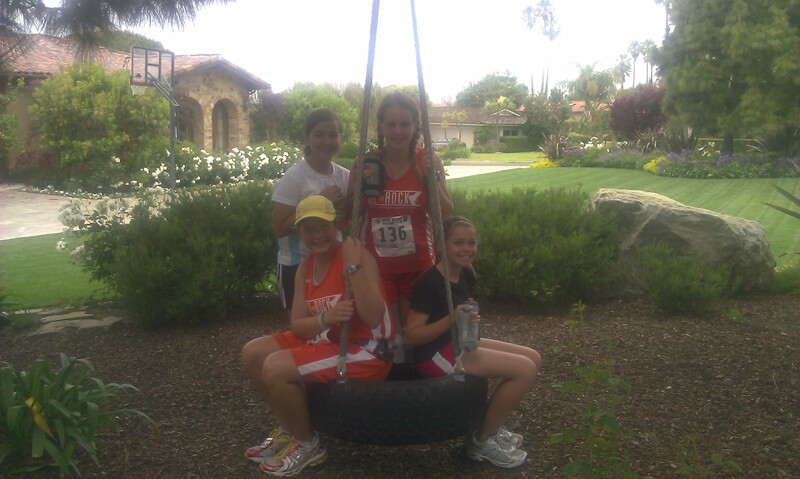 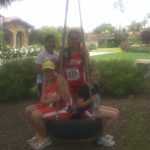 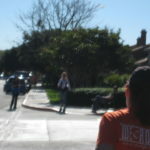 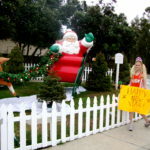 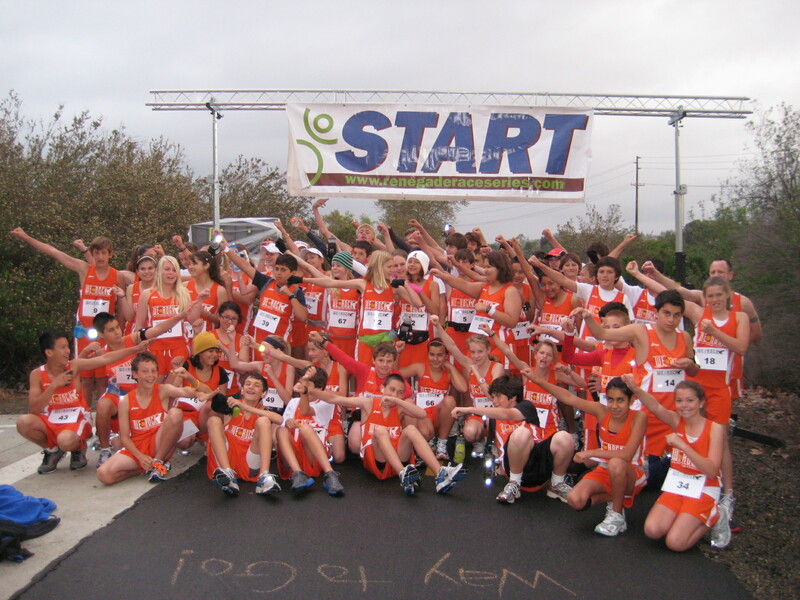 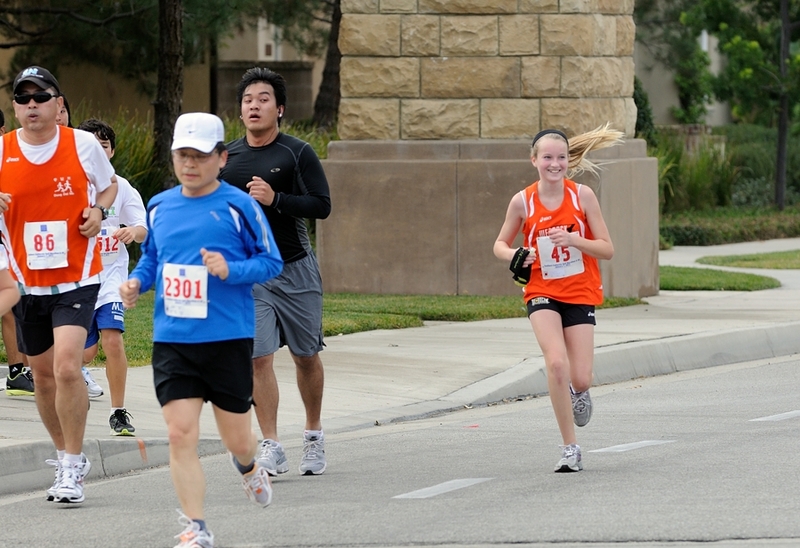 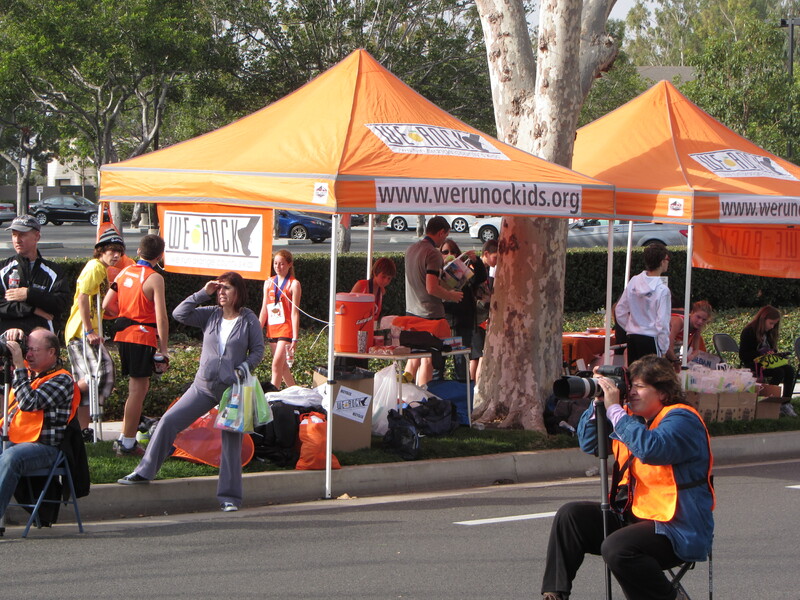 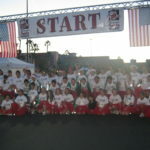 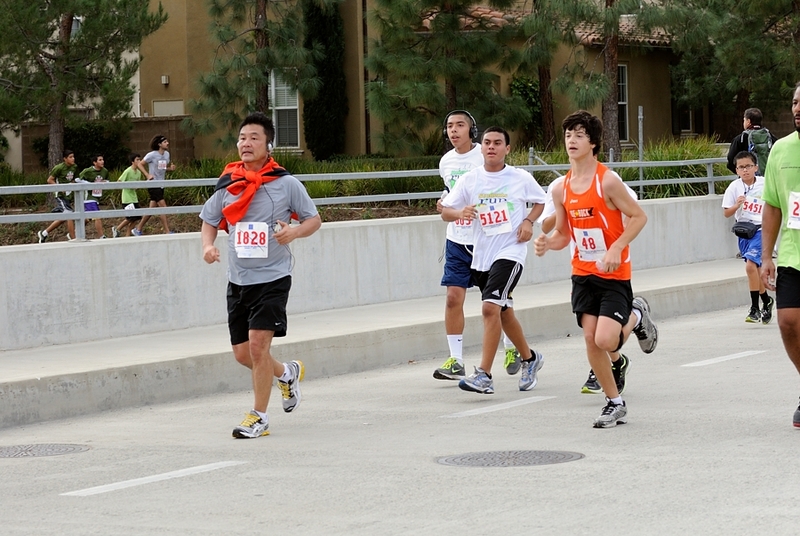 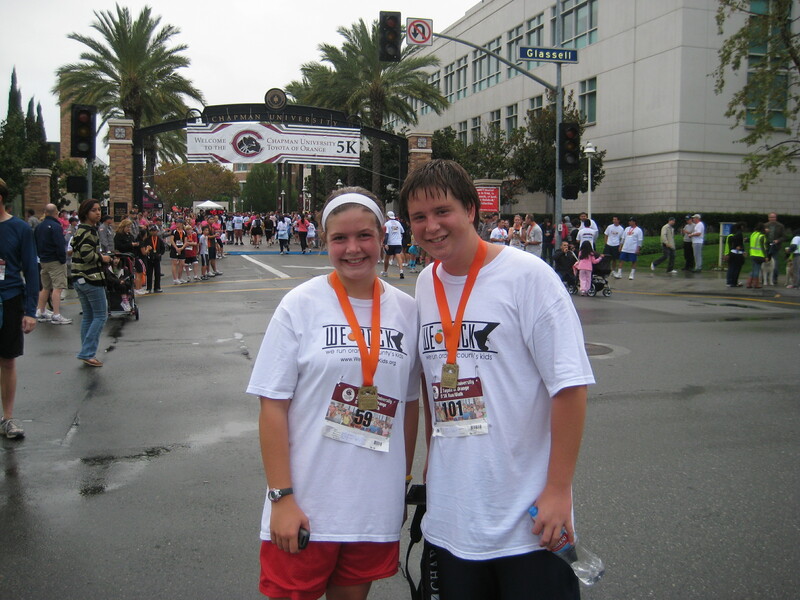 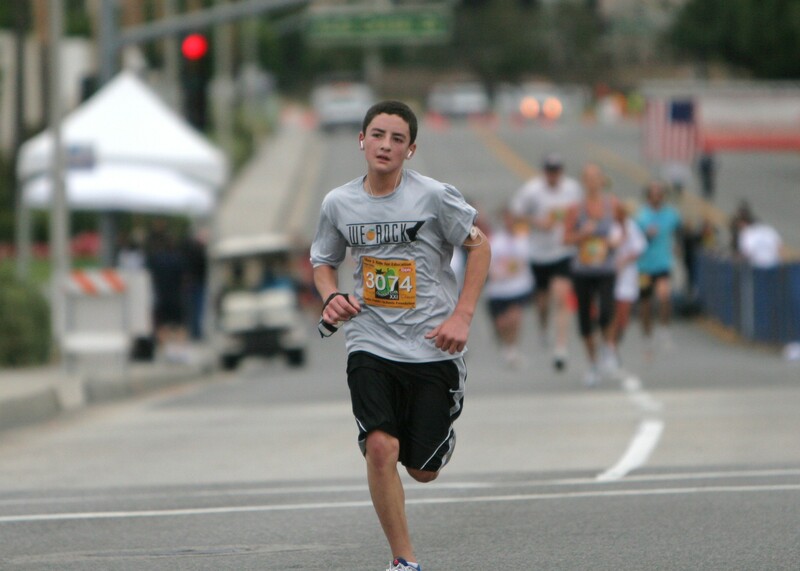 The OC Marathon welcomed us with open arms. 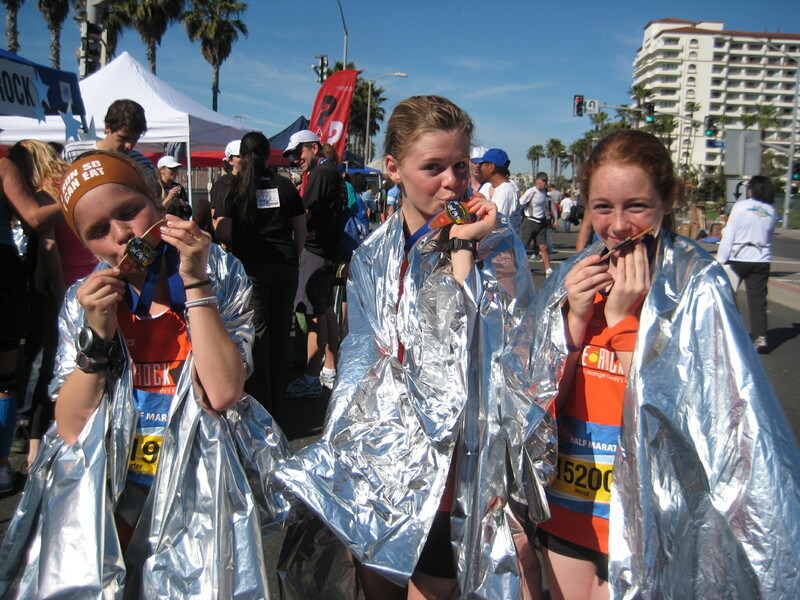 We can’t wait to join them again next year! 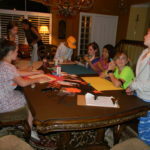 One last night of reflection and guidance before we rest our bodies and minds! 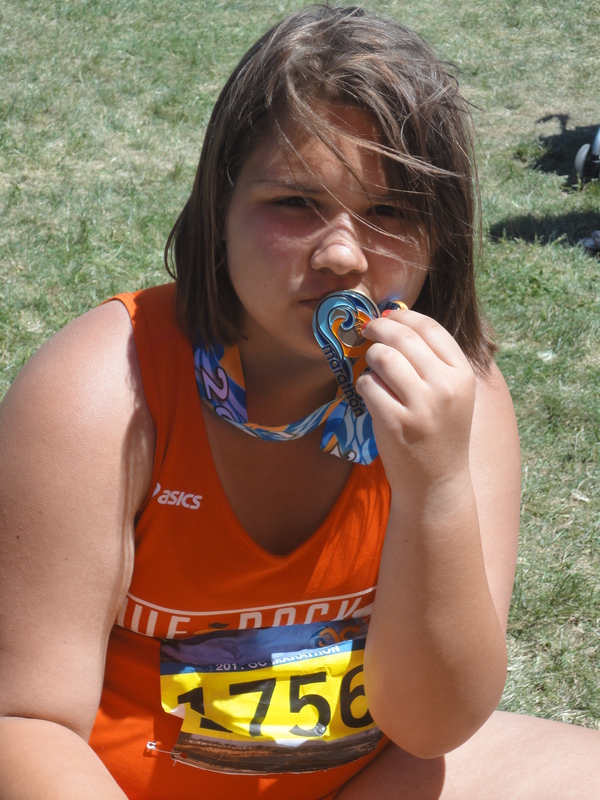 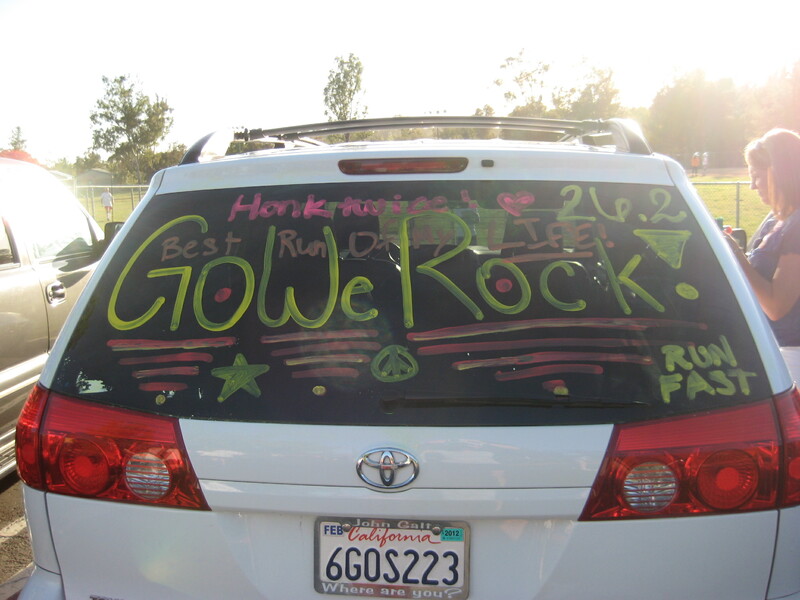 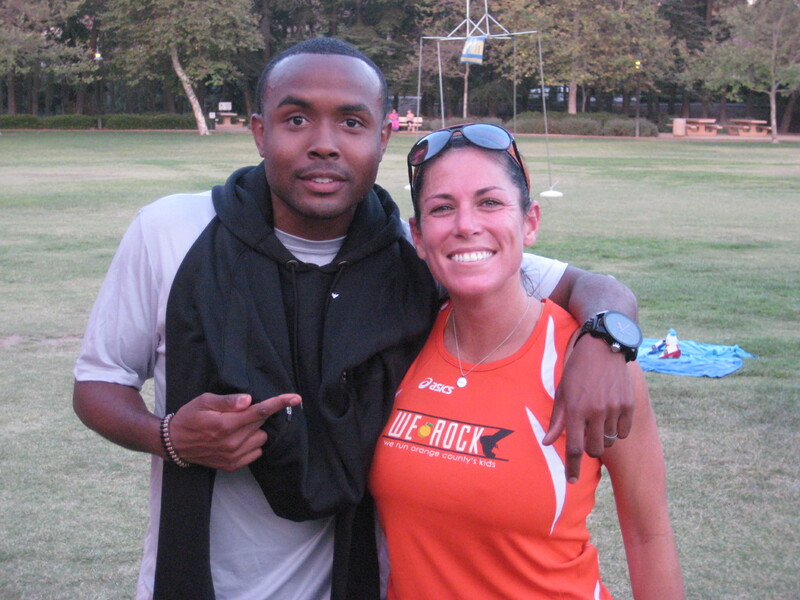 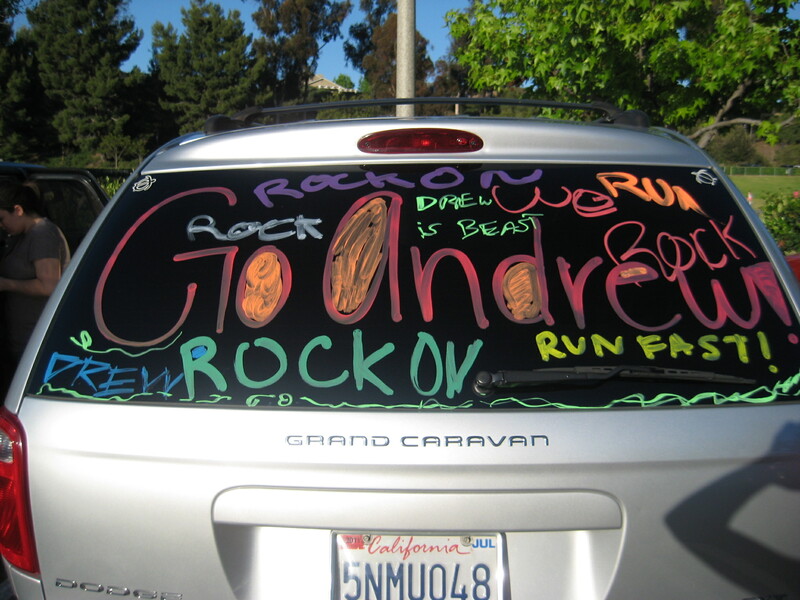 Good Luck We ROCK….you earned ALL of the joy and pain (mostly joy) that Marathon Day will bring. 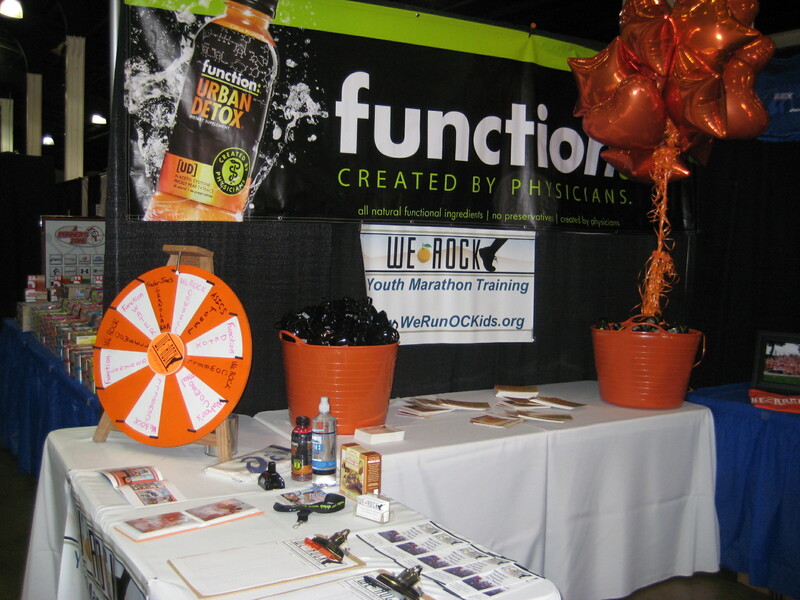 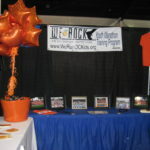 Thank you to everyone that stopped by the booth to learn more about We ROCK! 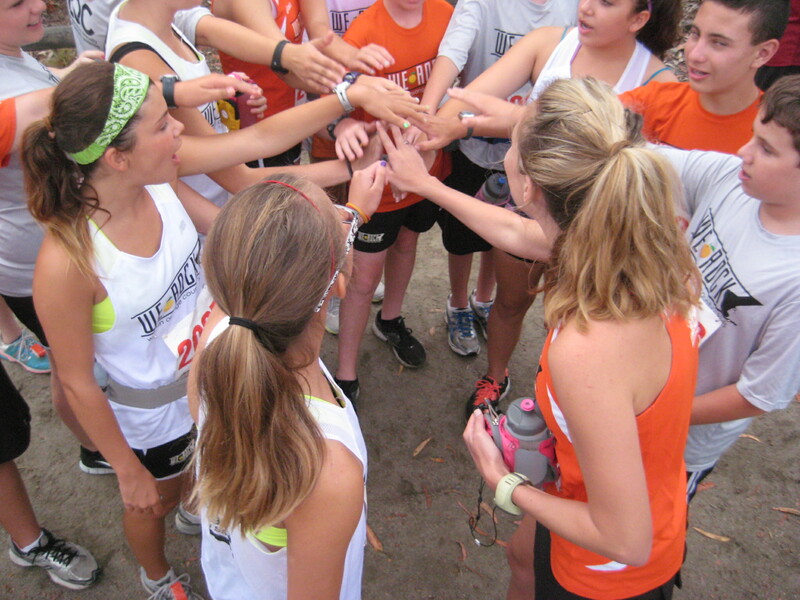 Traditions keep a team strong. 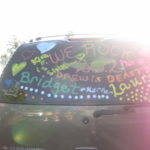 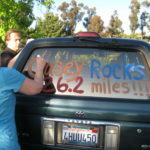 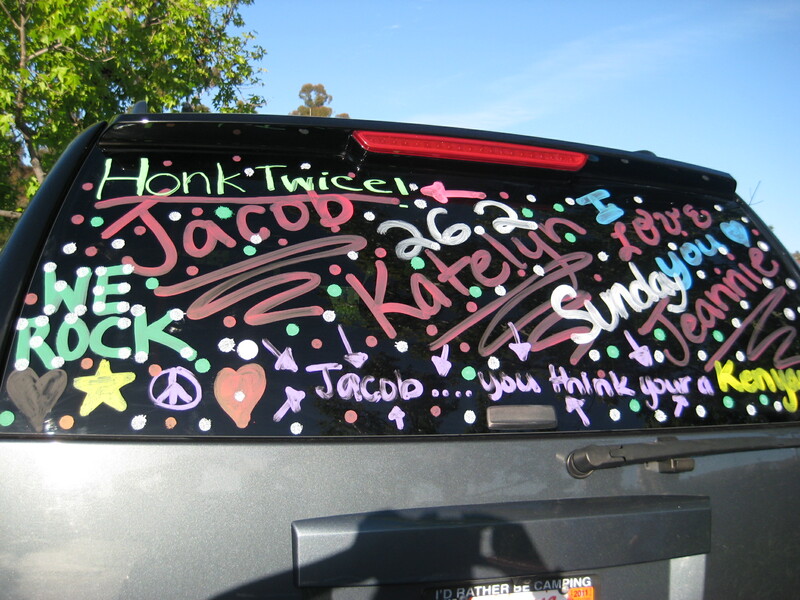 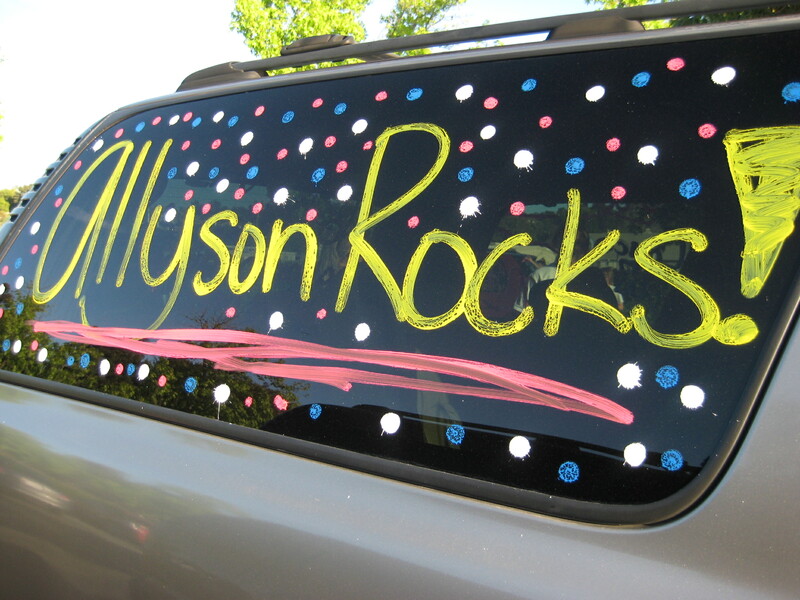 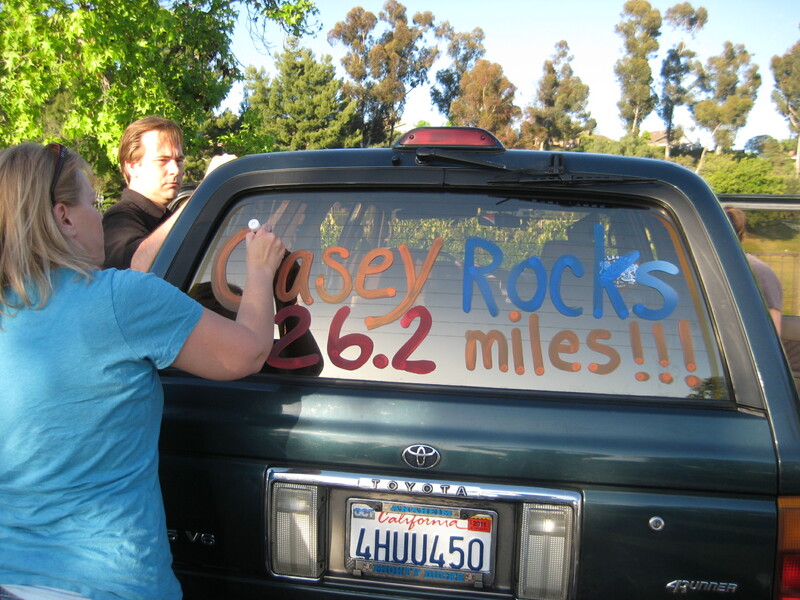 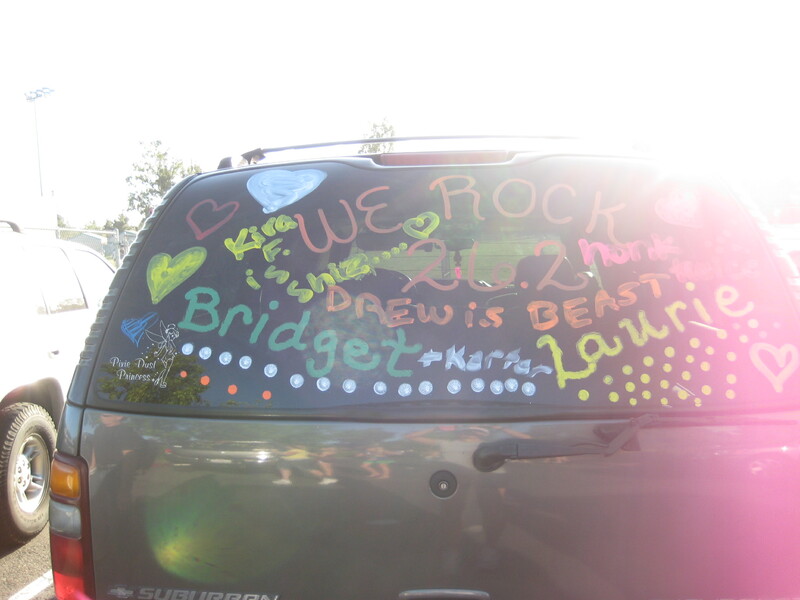 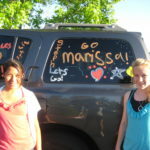 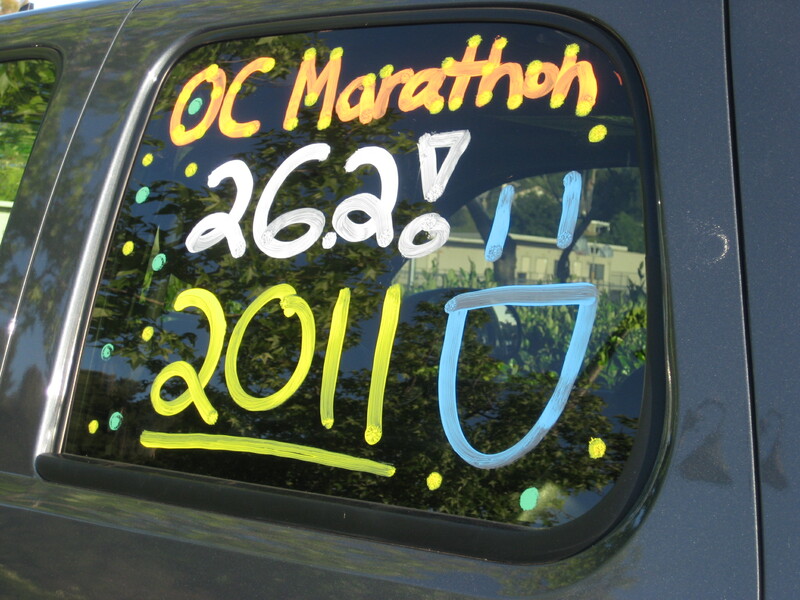 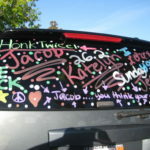 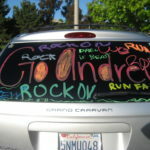 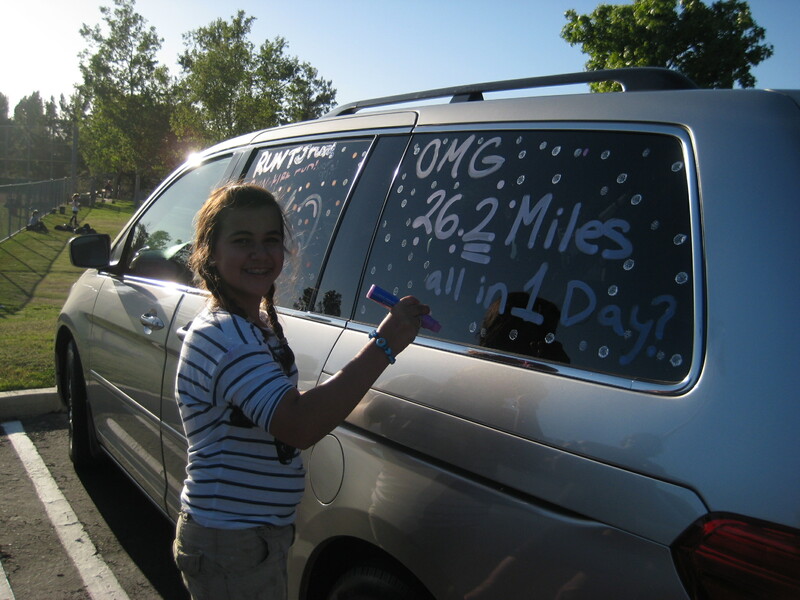 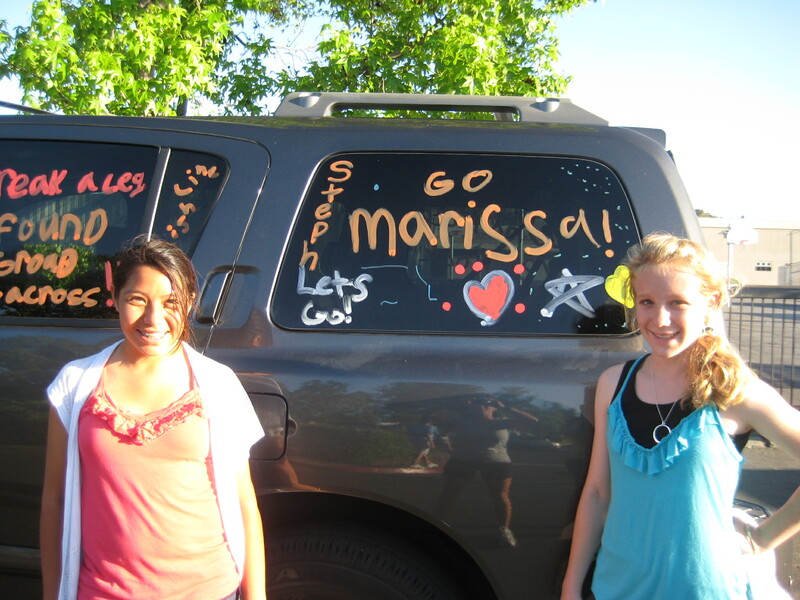 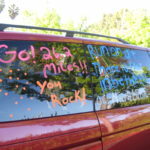 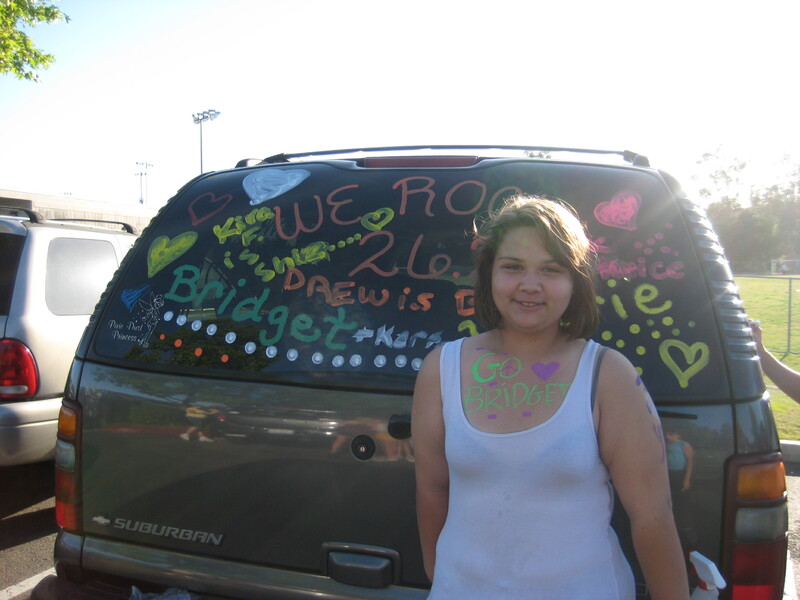 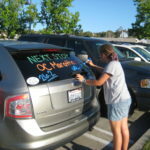 One of ours is to decorate our car windows before the marathon. 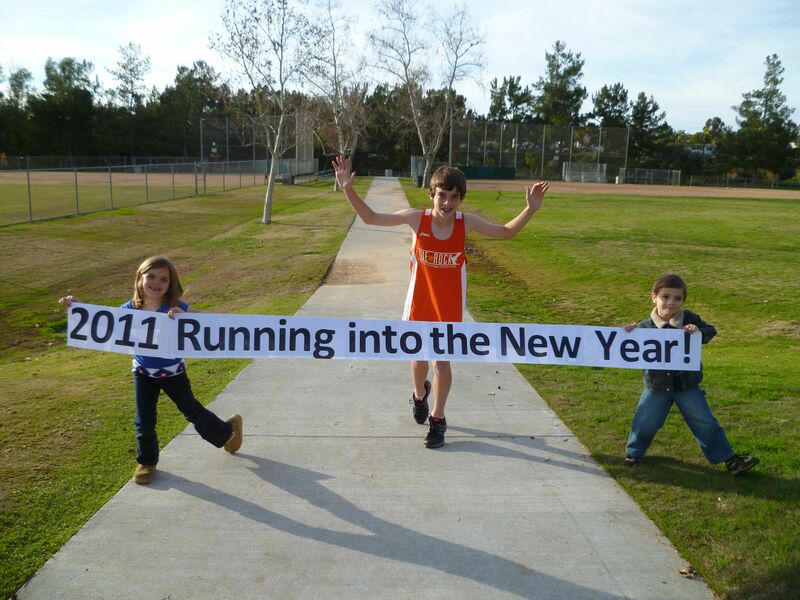 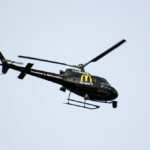 Why not let EVERYONE know what we are about to do! 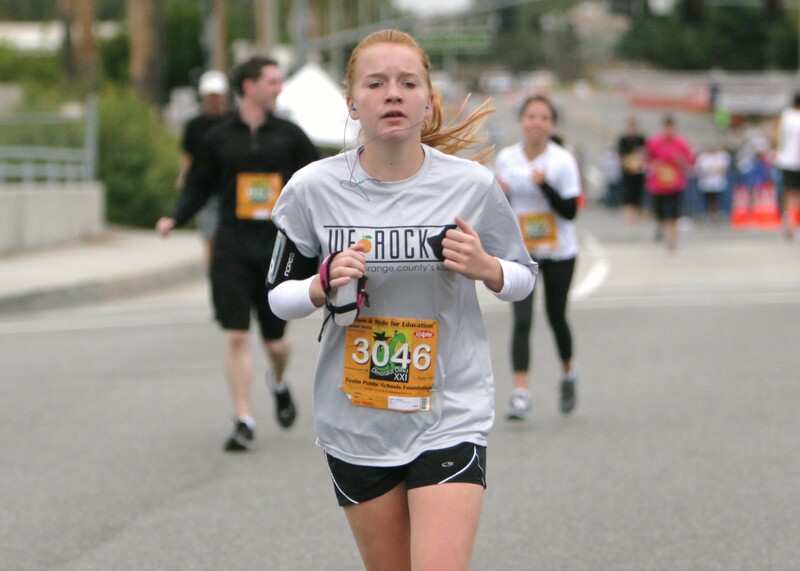 One last long run weekend before the BIG DAY! 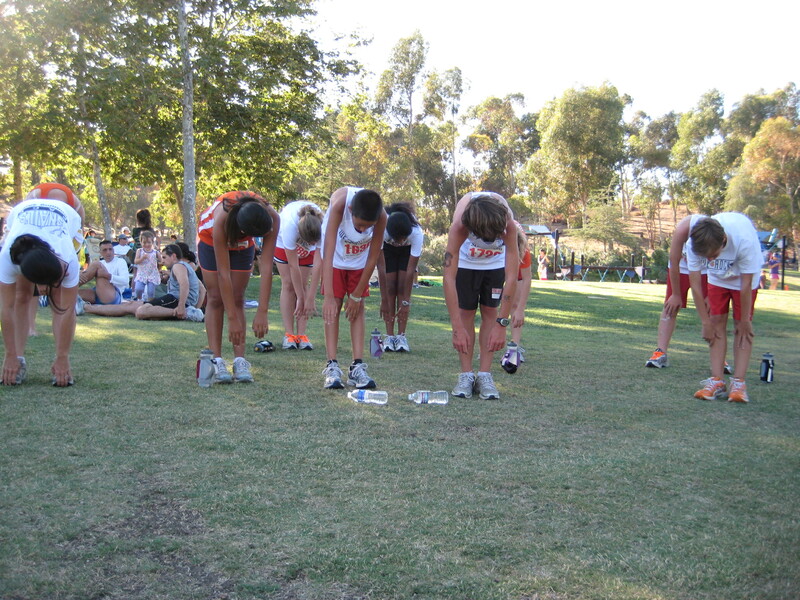 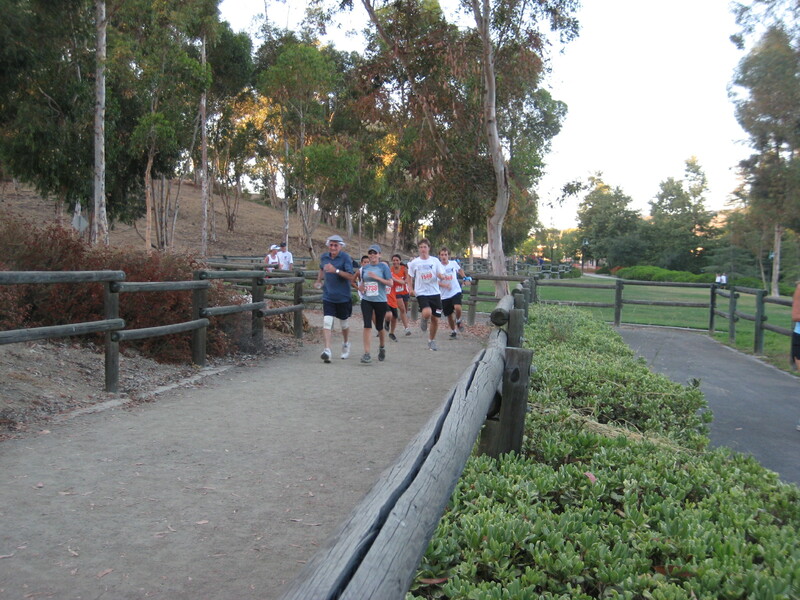 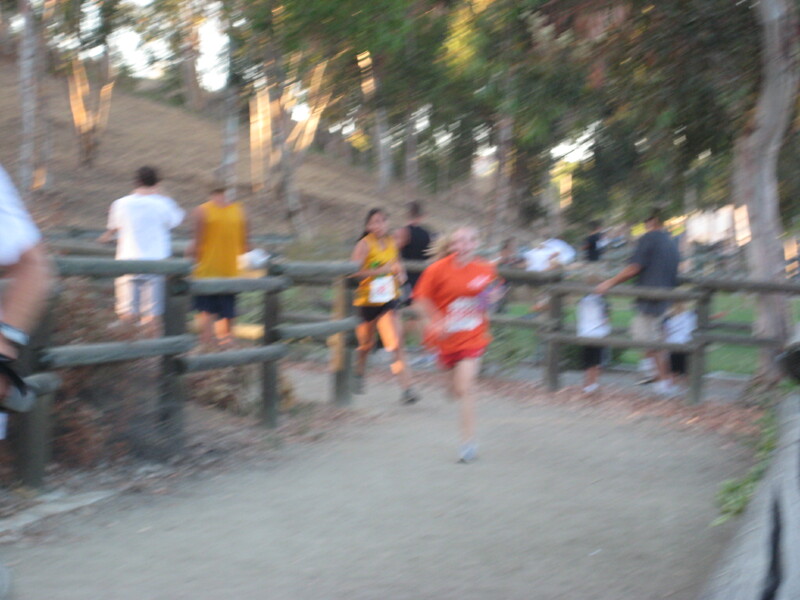 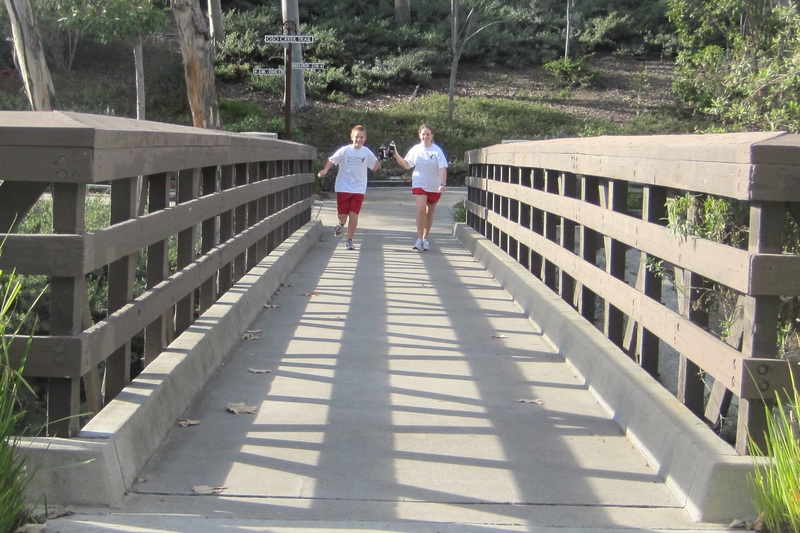 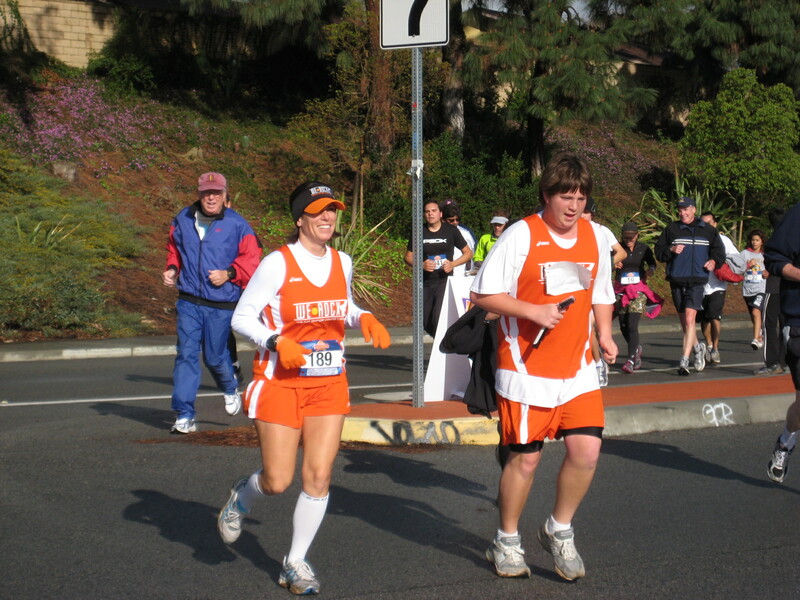 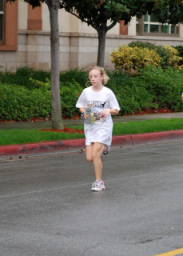 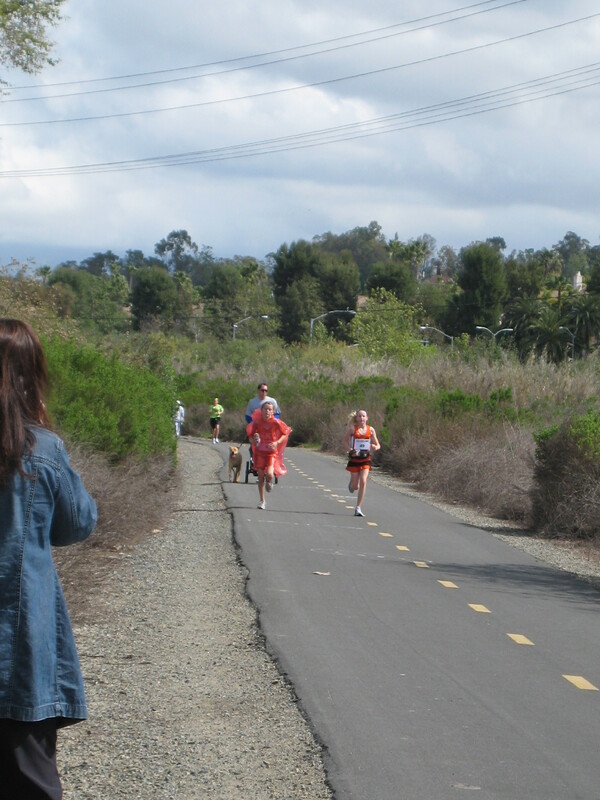 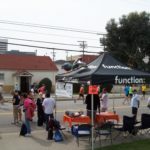 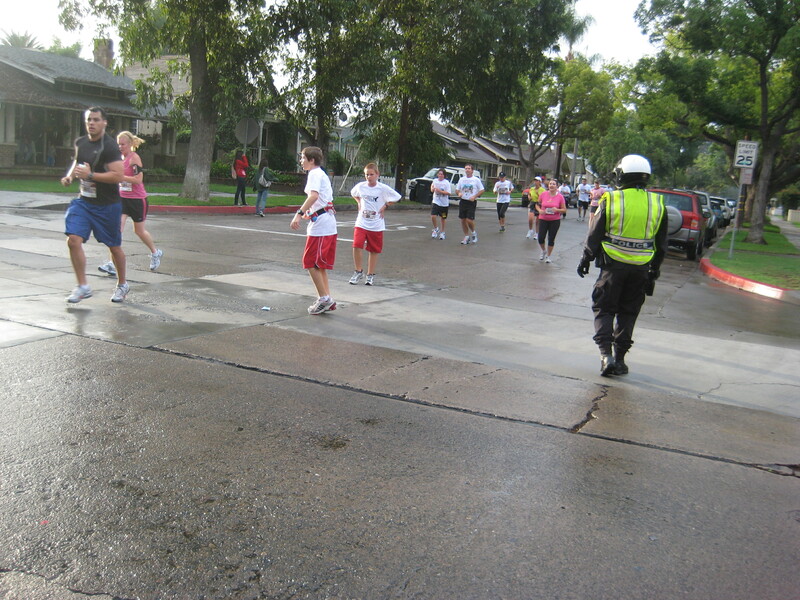 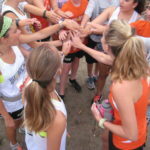 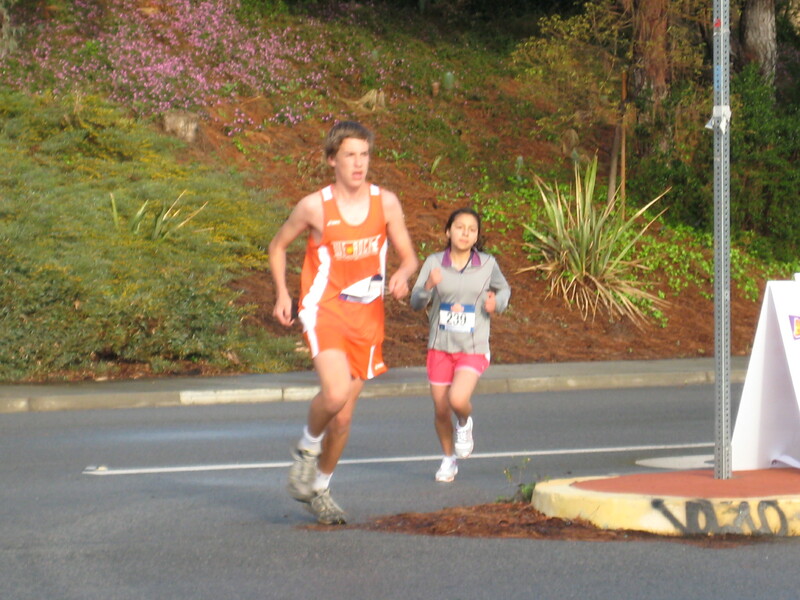 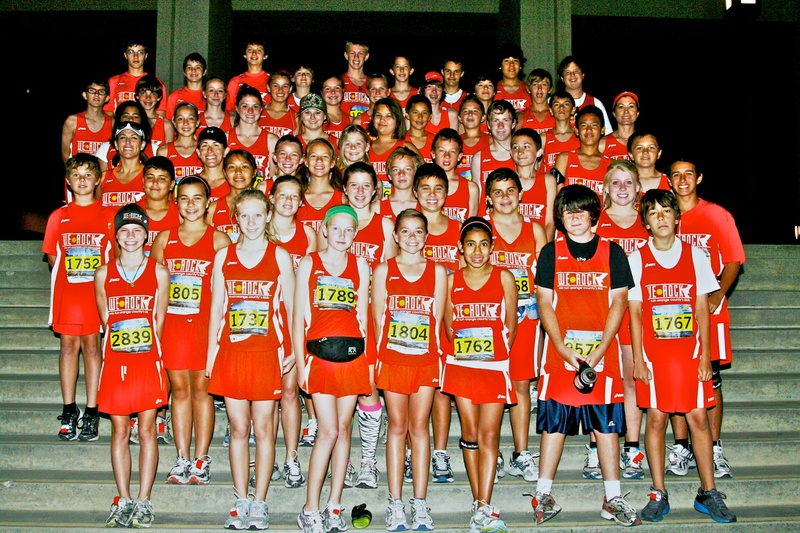 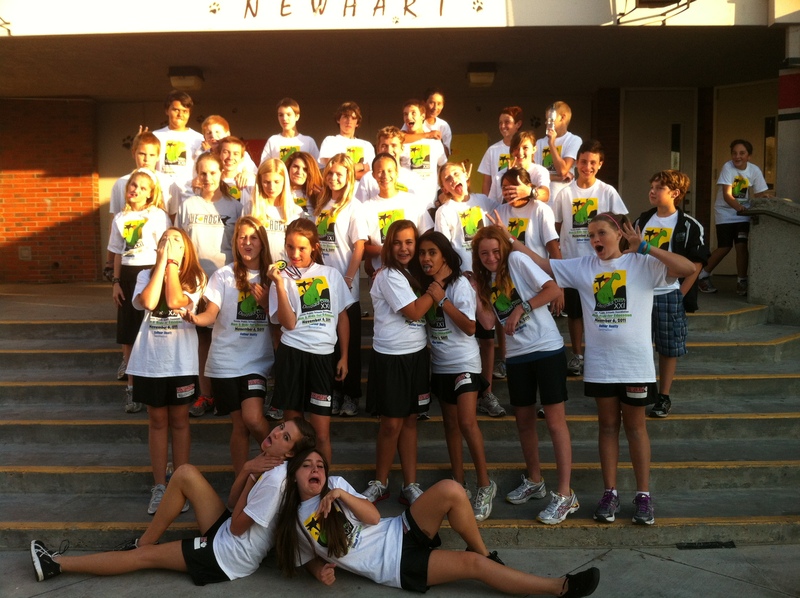 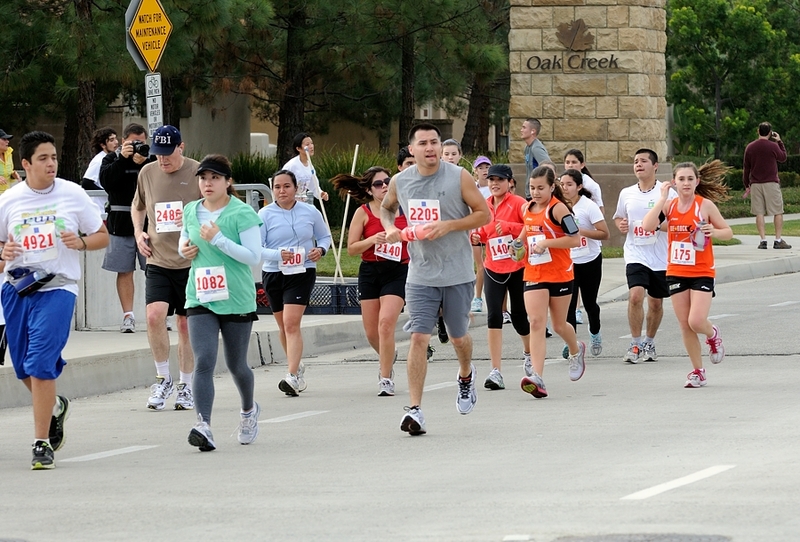 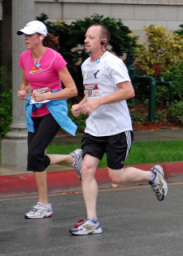 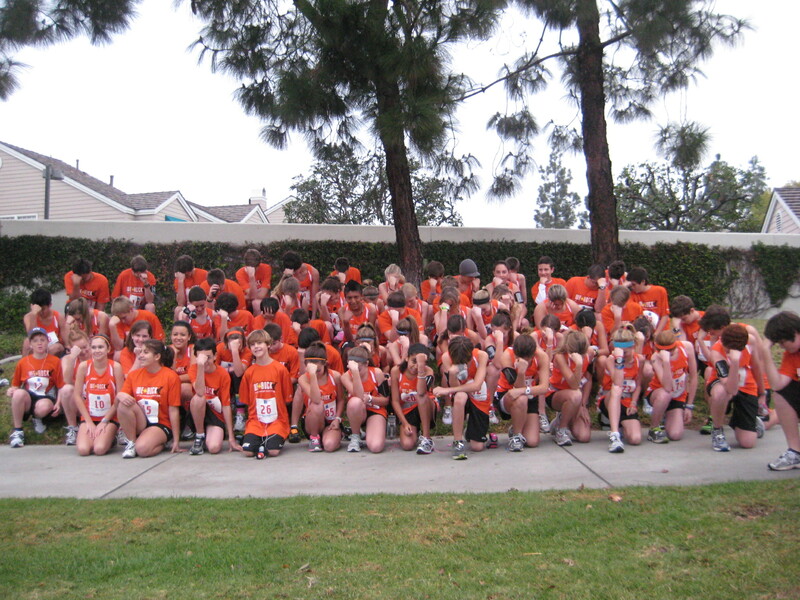 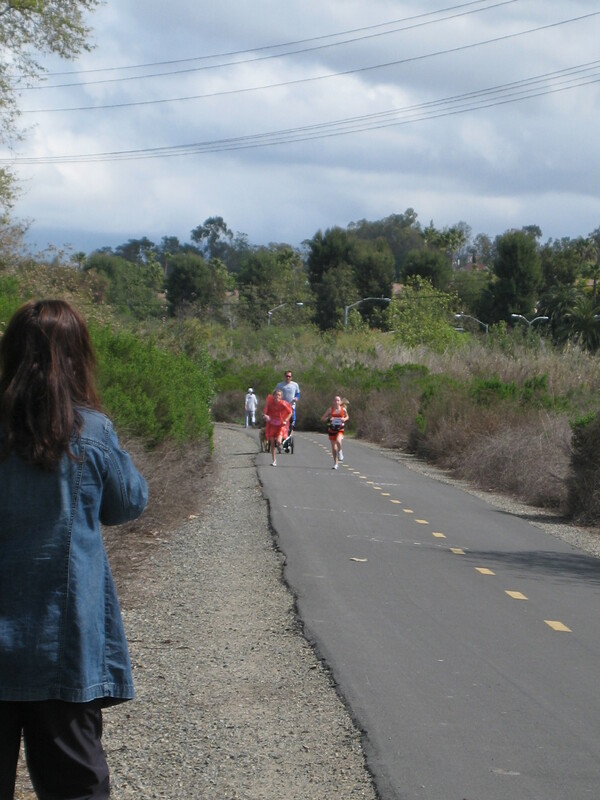 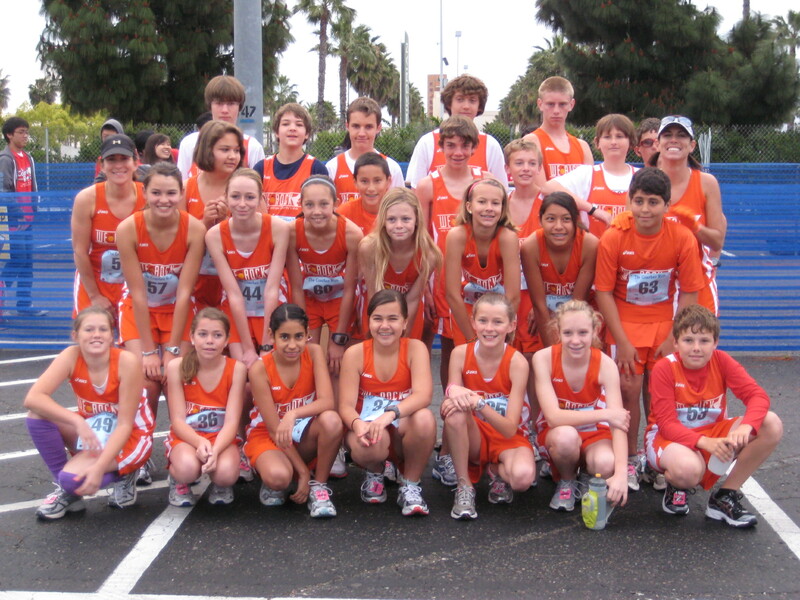 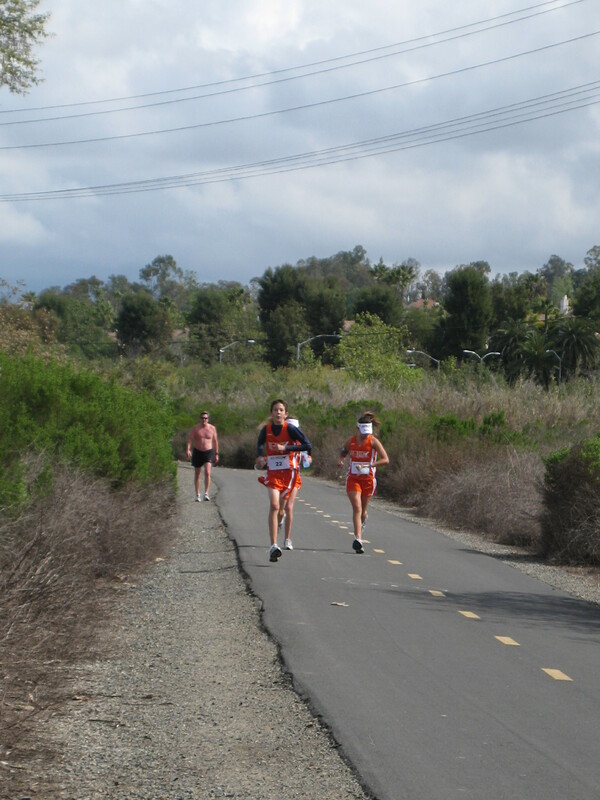 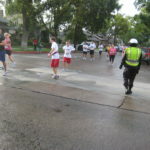 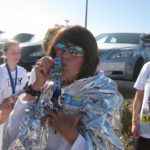 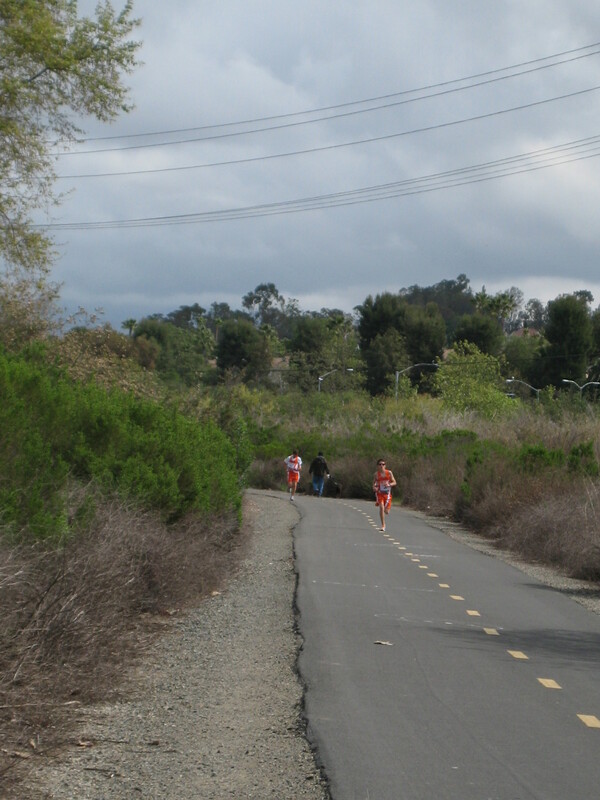 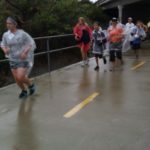 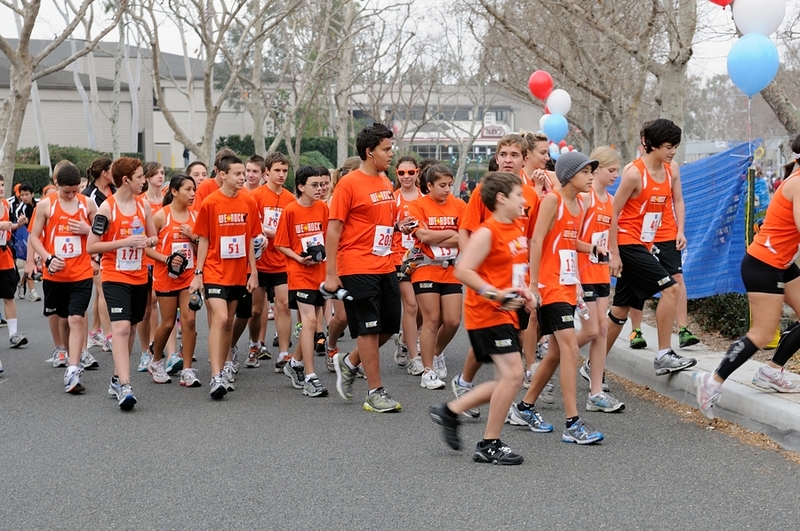 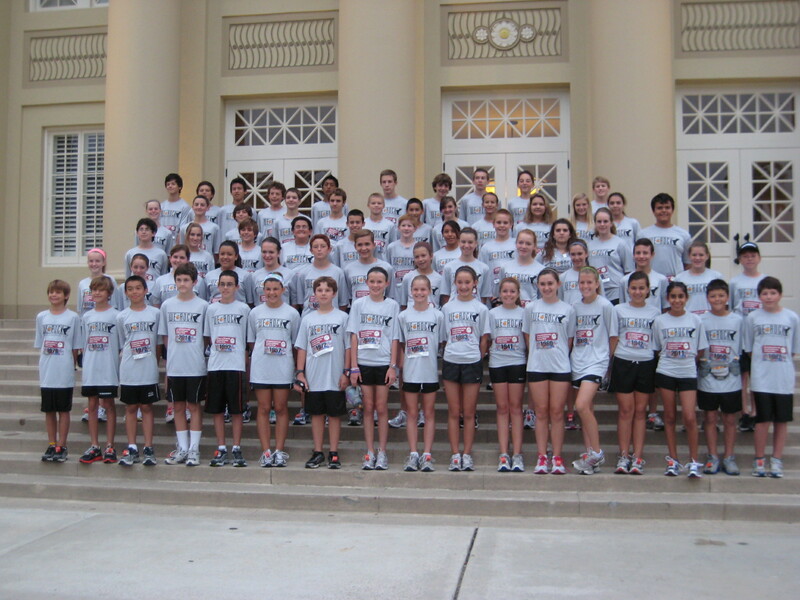 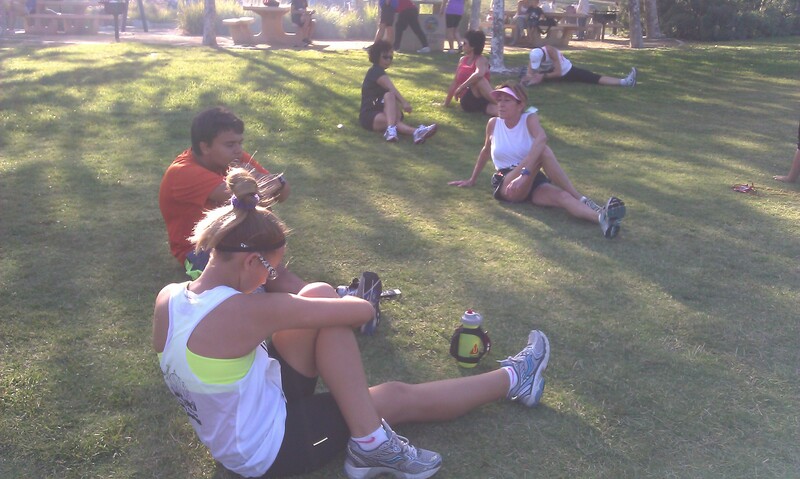 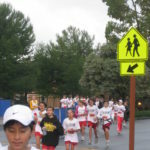 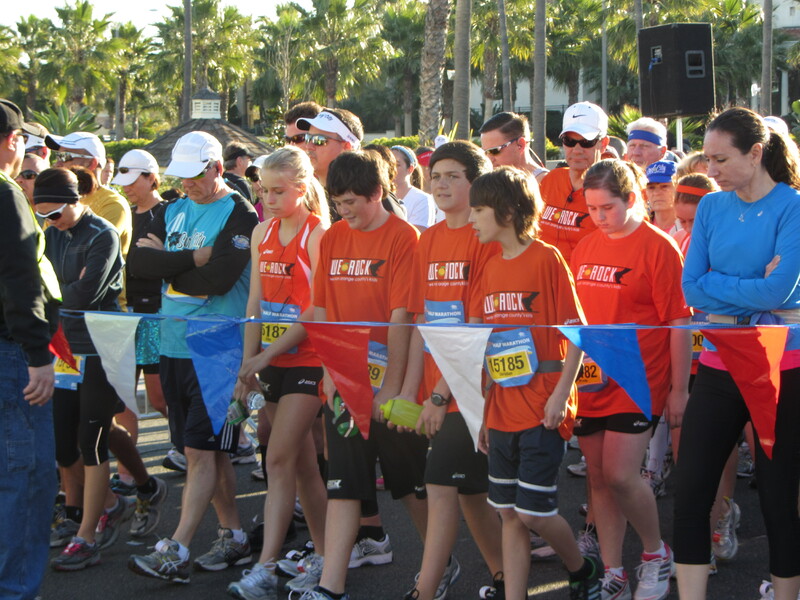 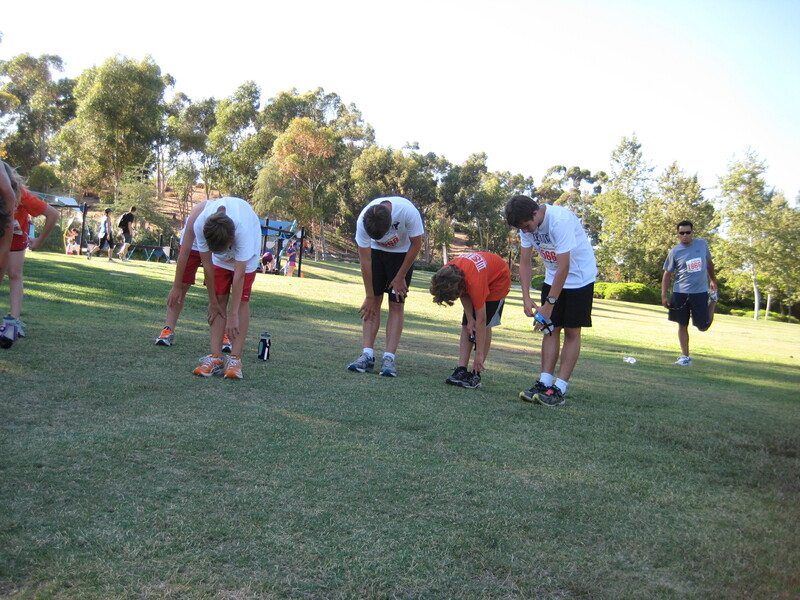 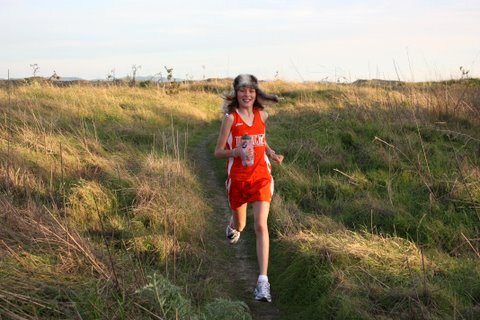 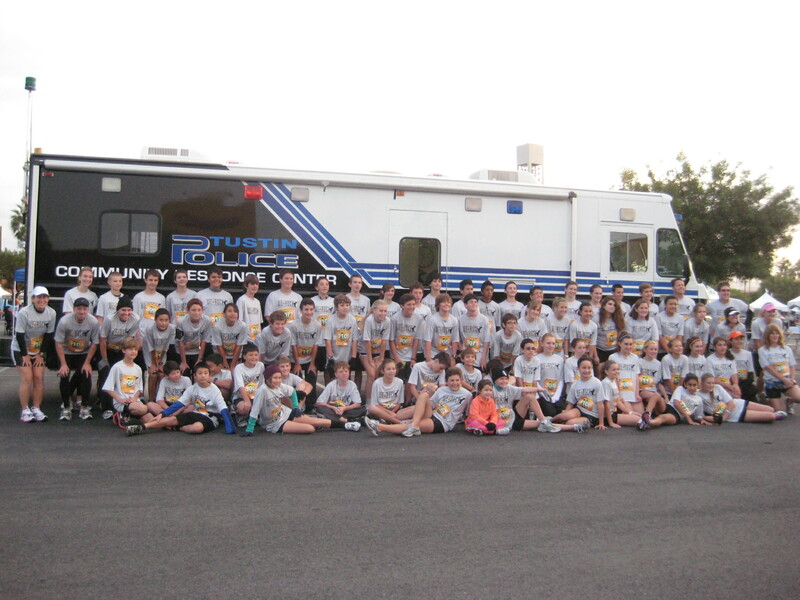 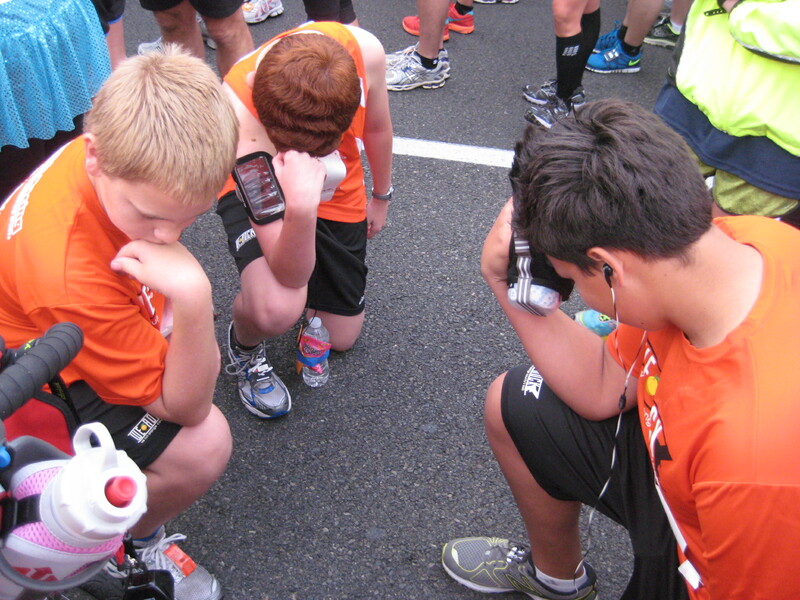 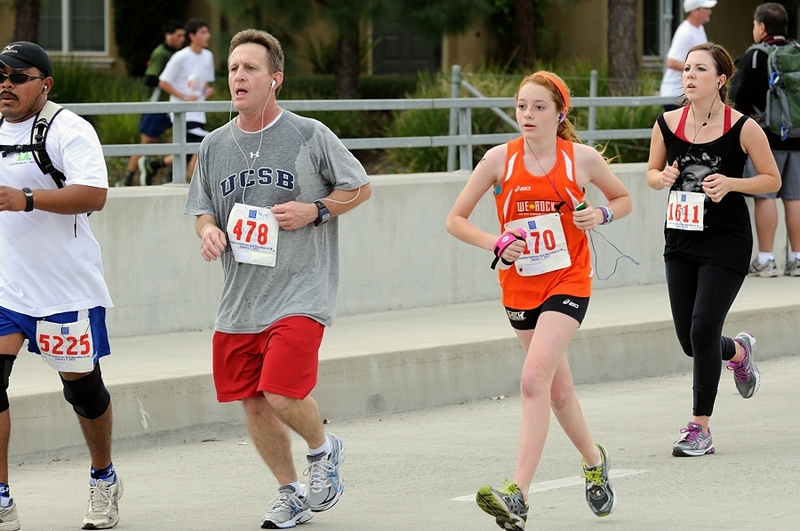 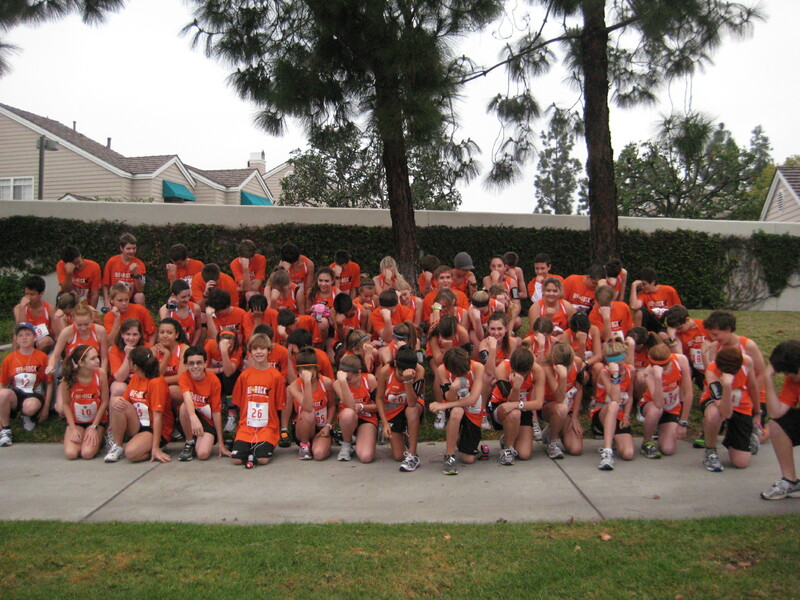 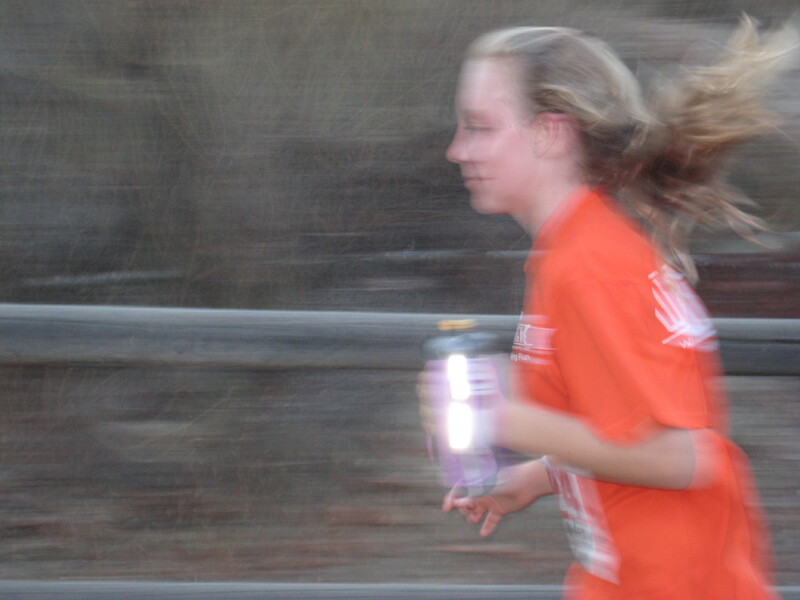 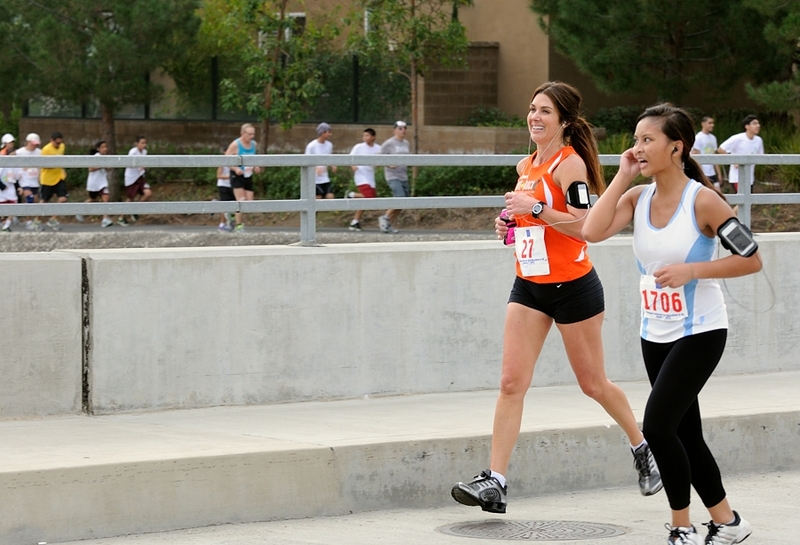 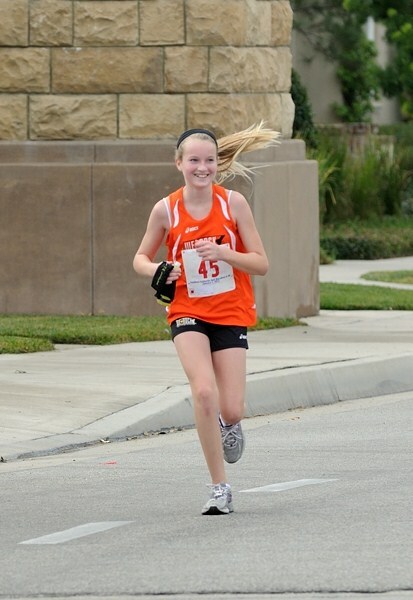 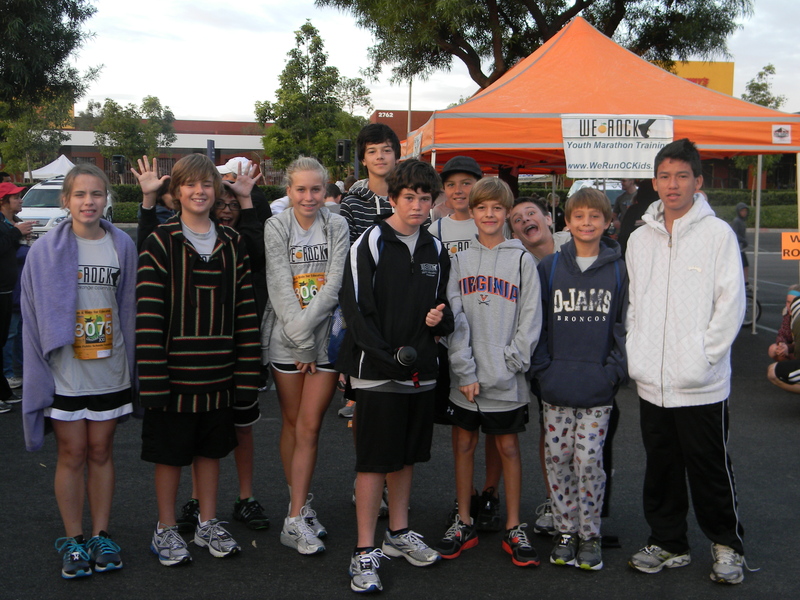 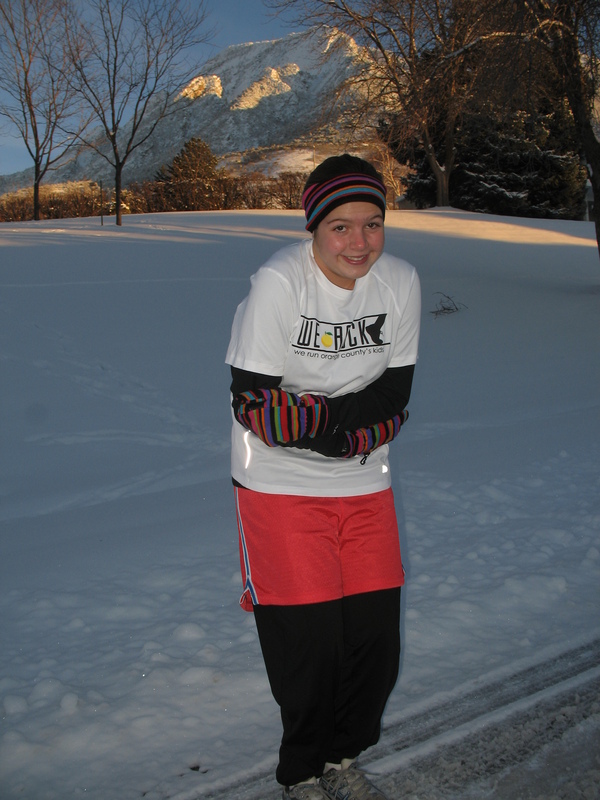 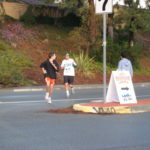 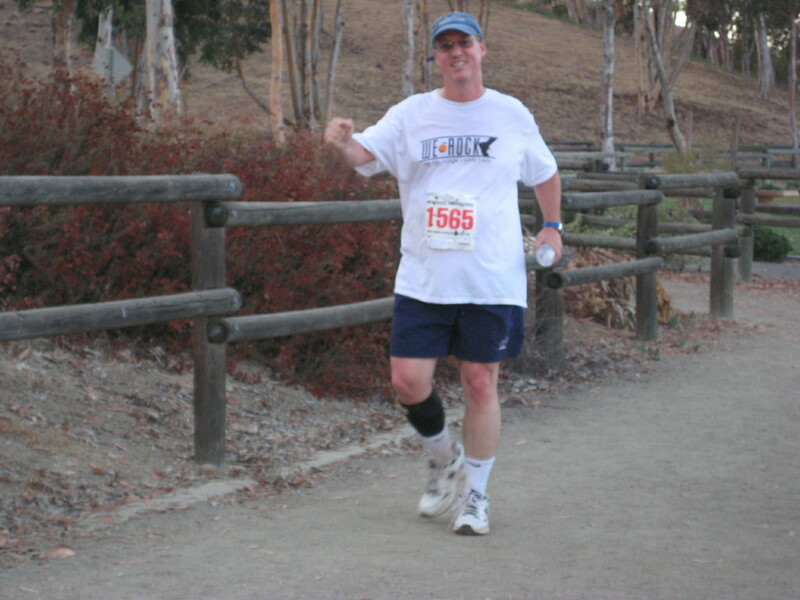 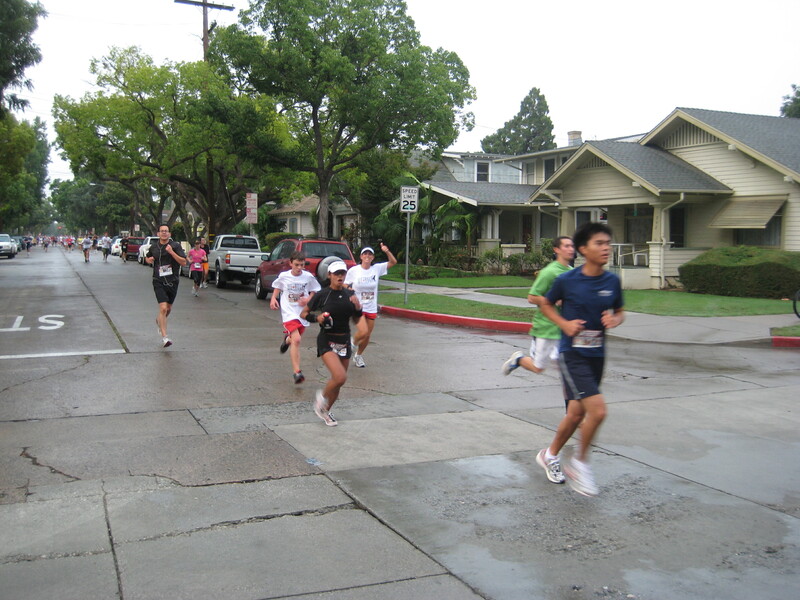 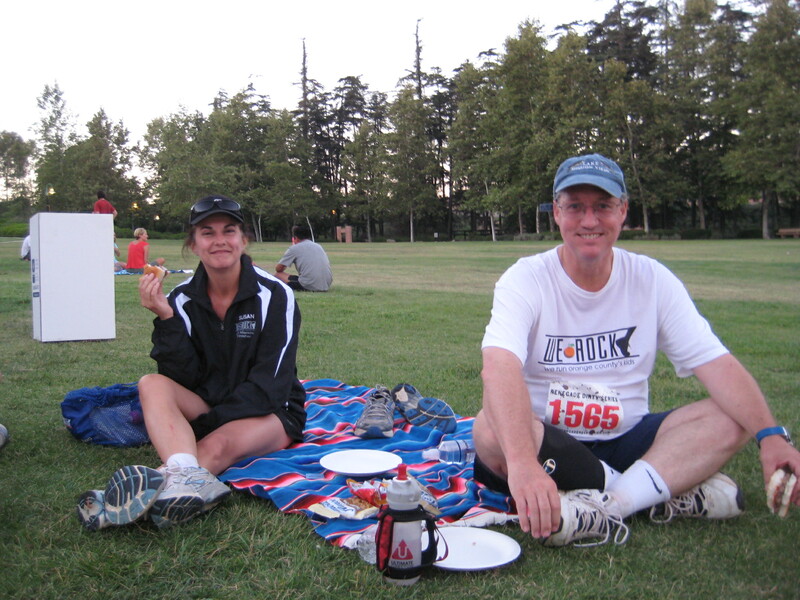 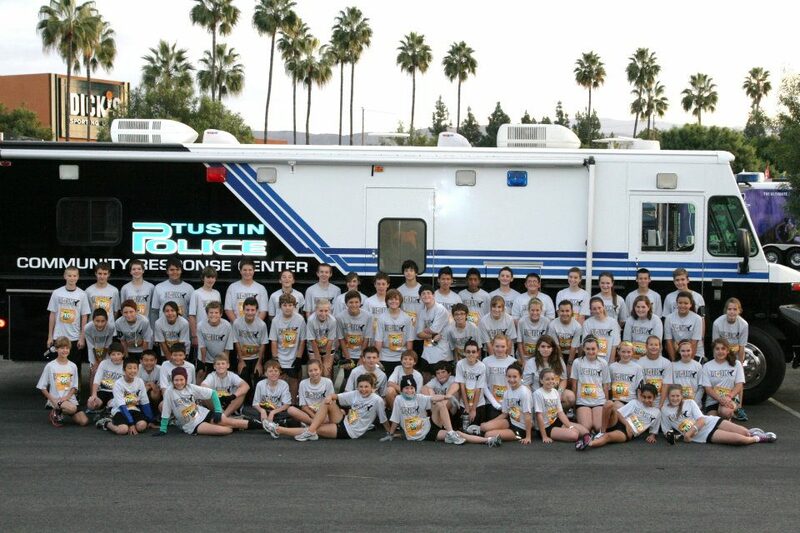 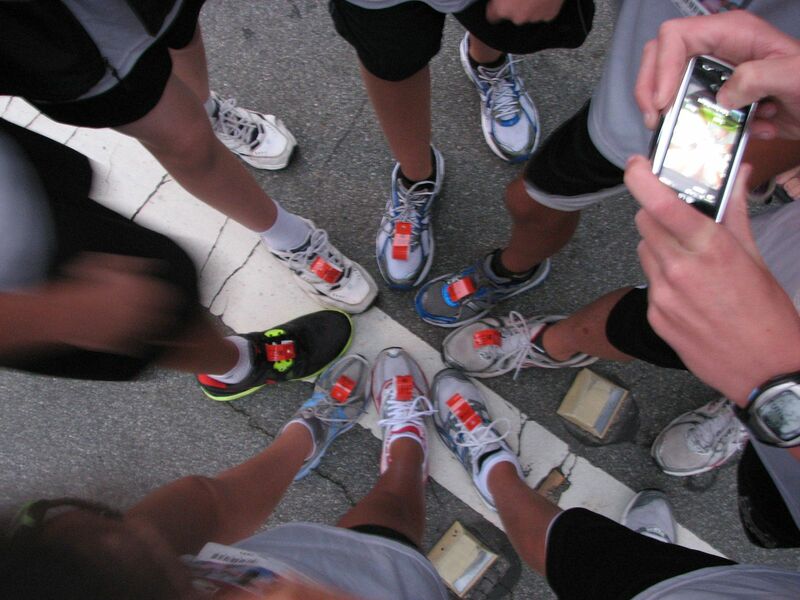 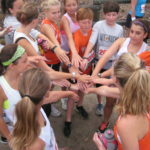 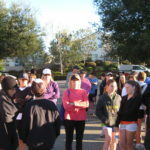 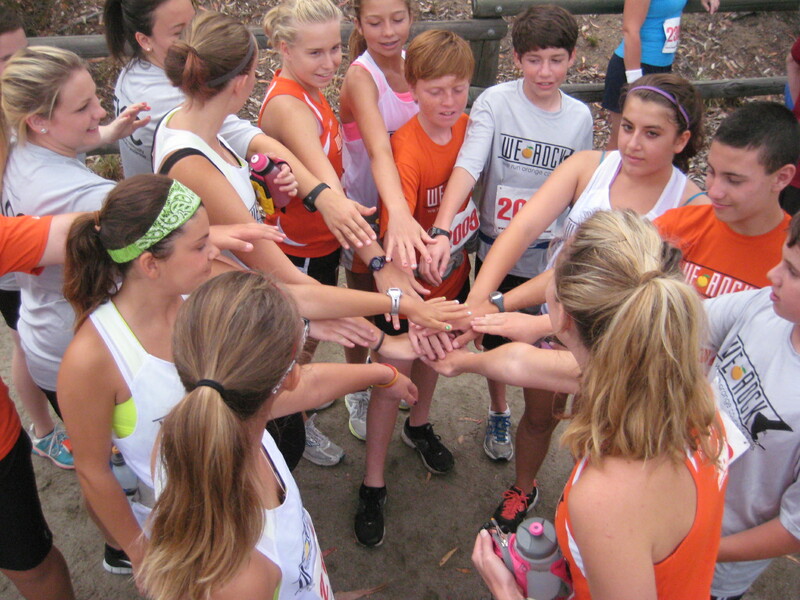 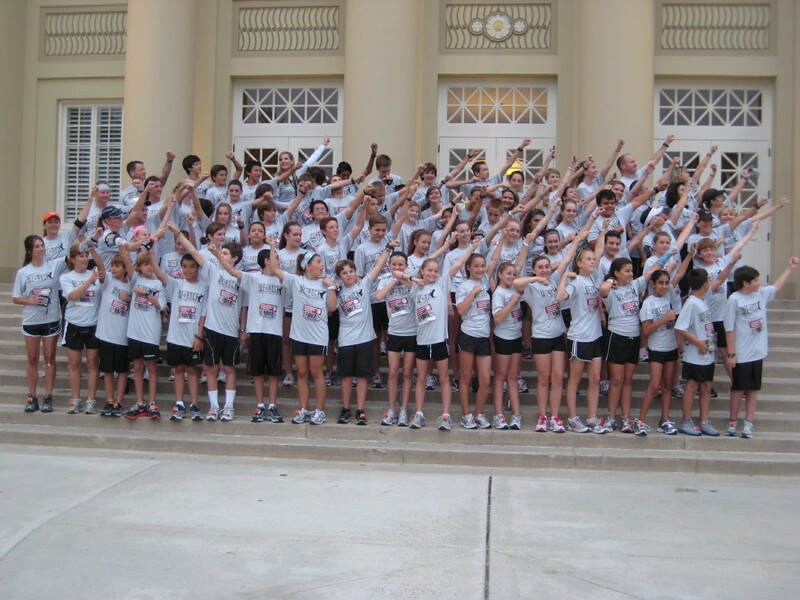 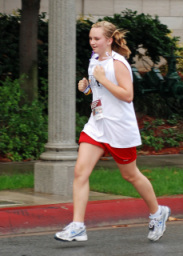 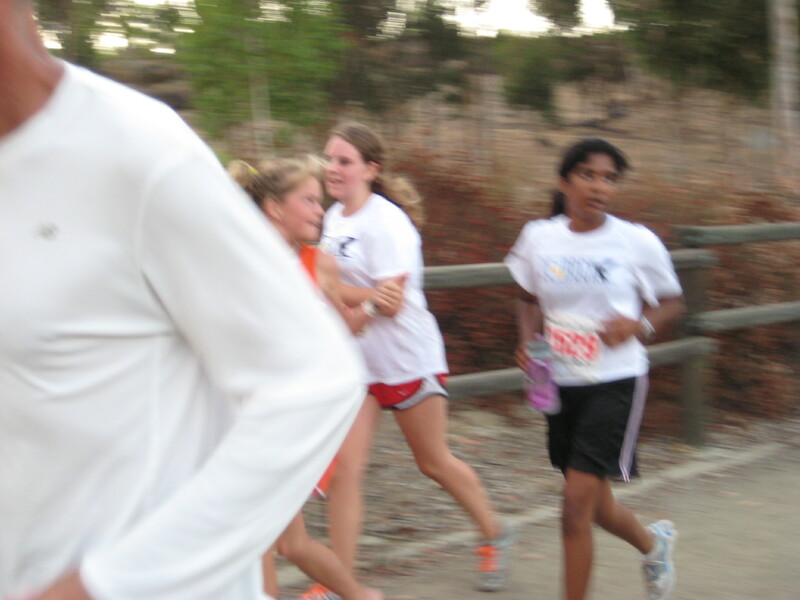 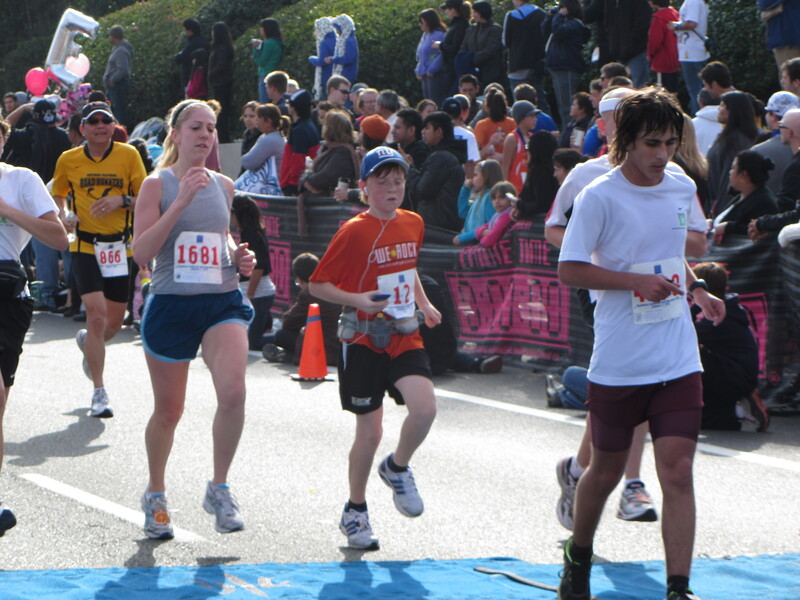 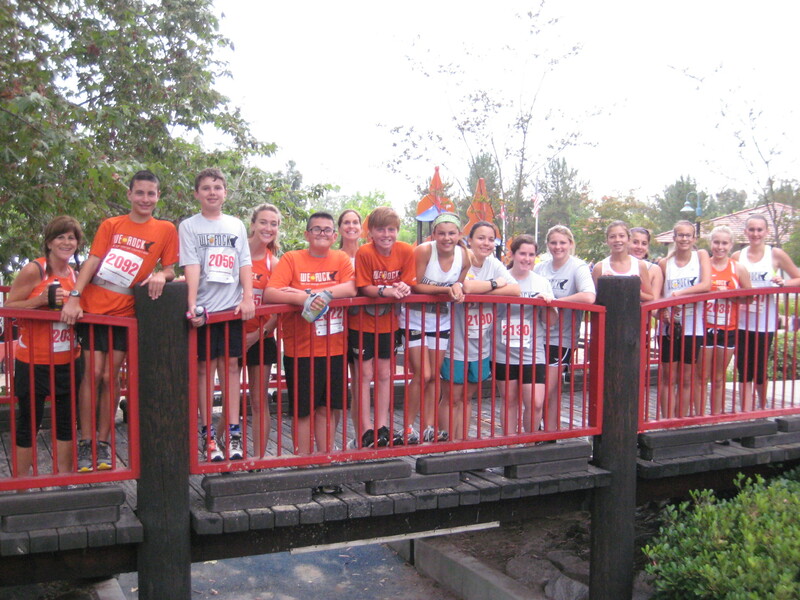 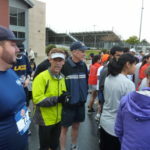 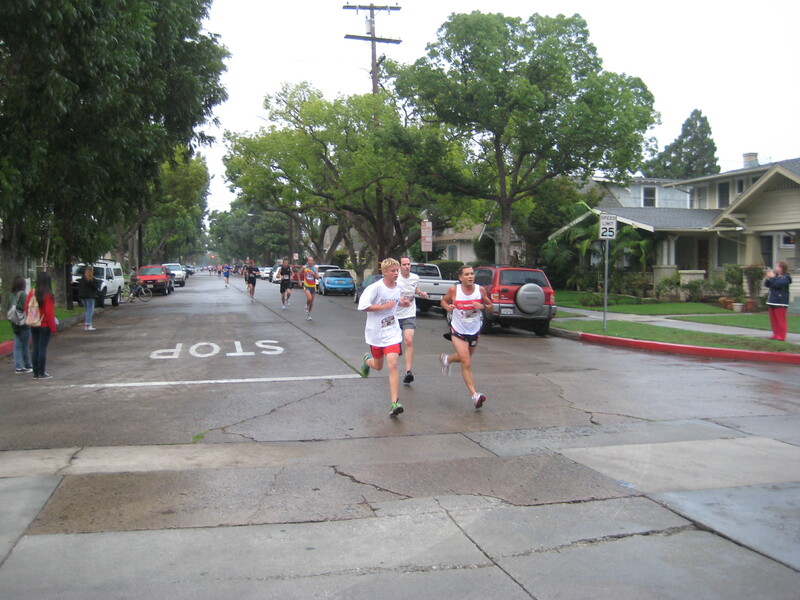 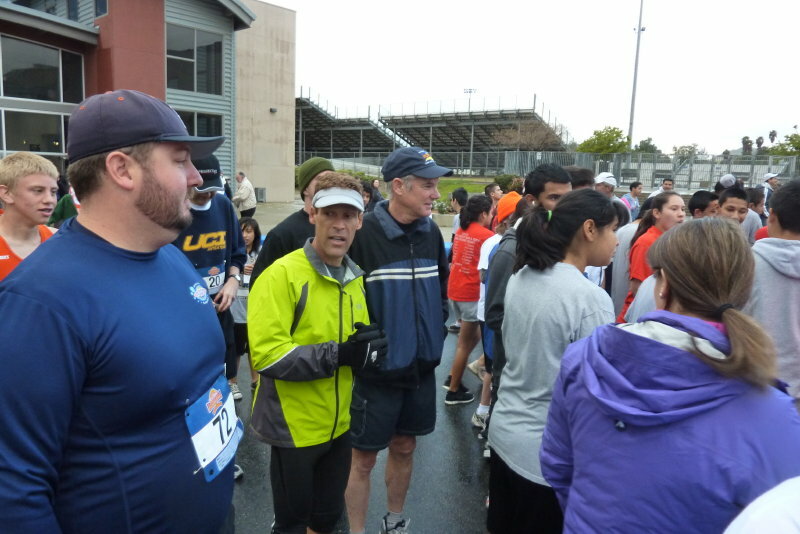 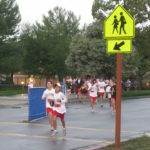 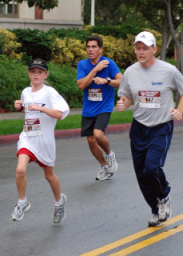 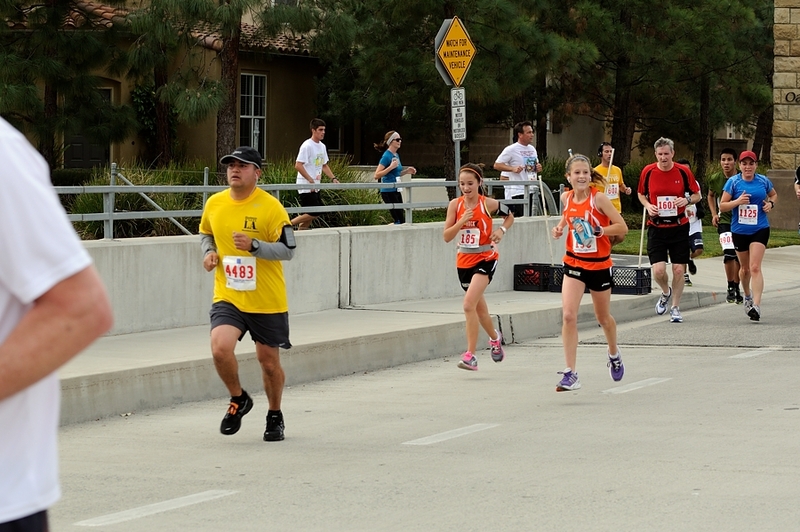 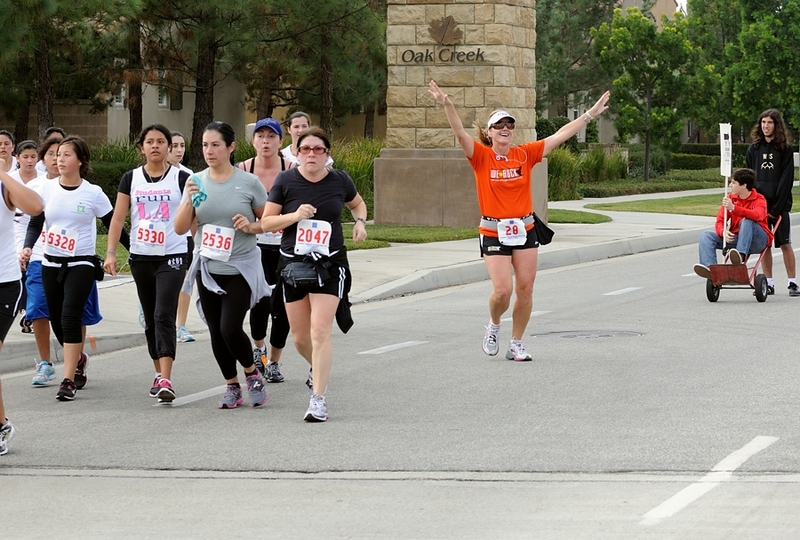 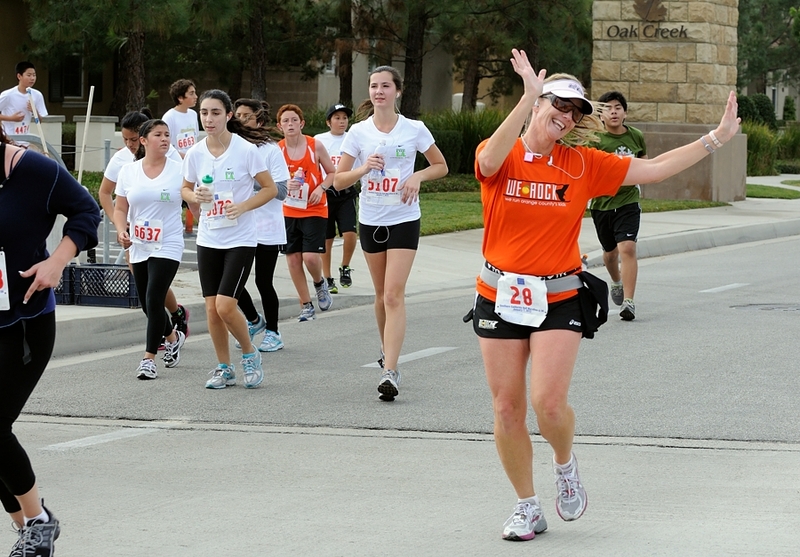 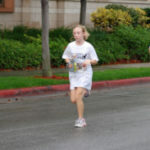 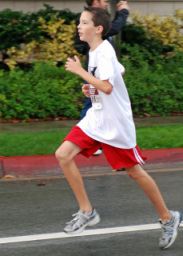 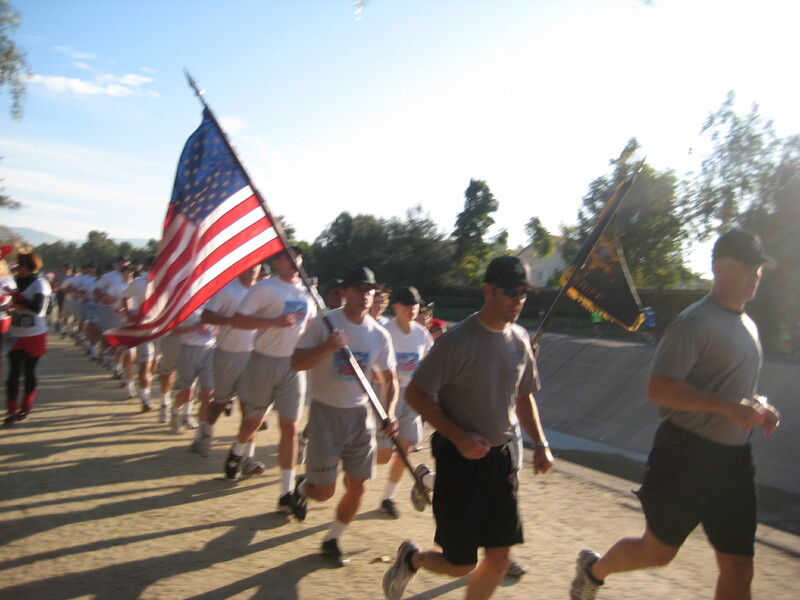 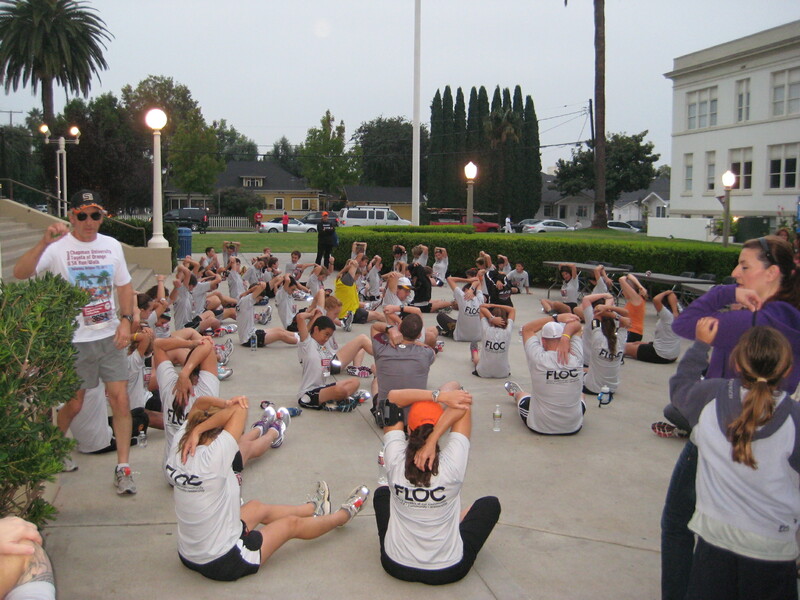 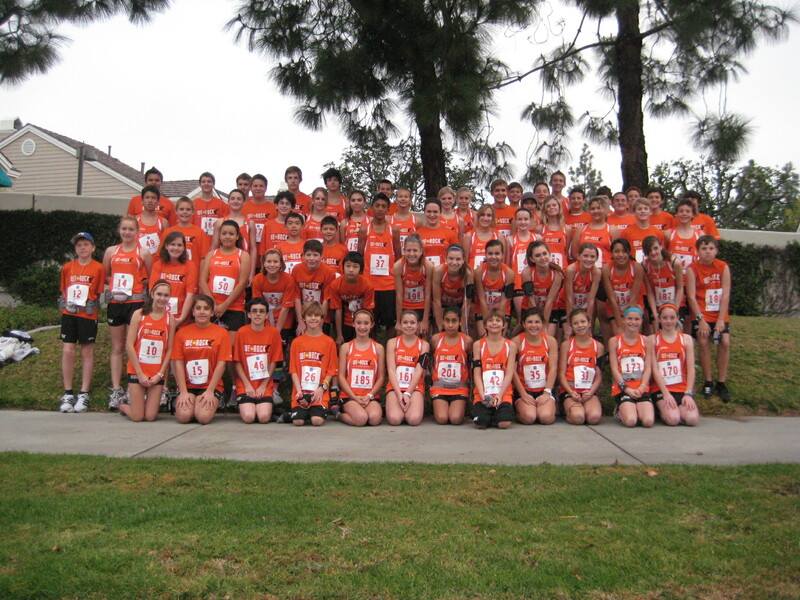 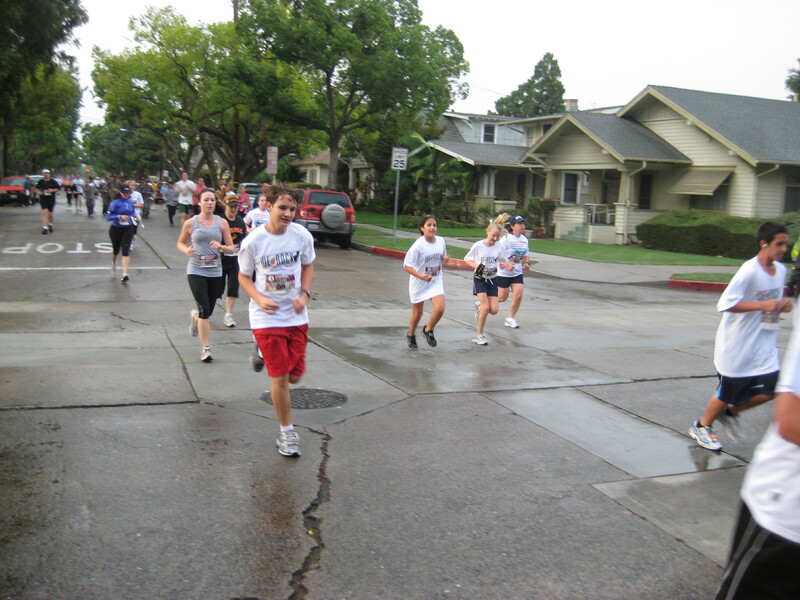 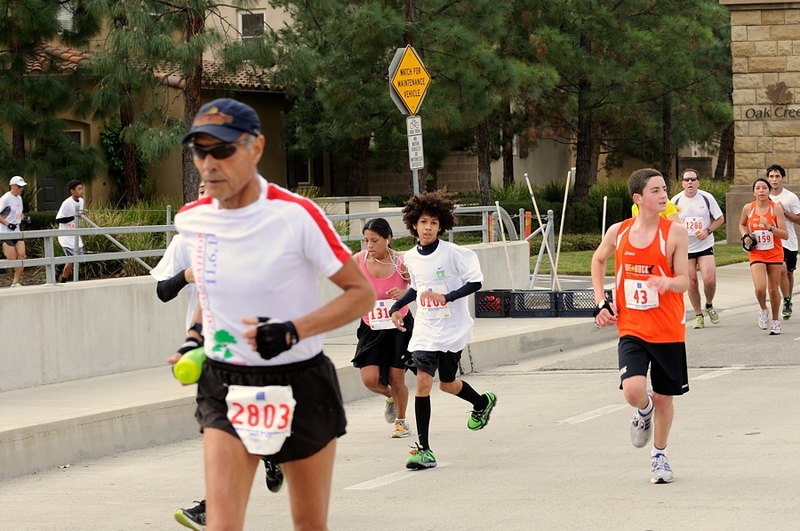 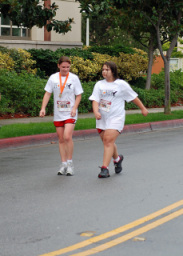 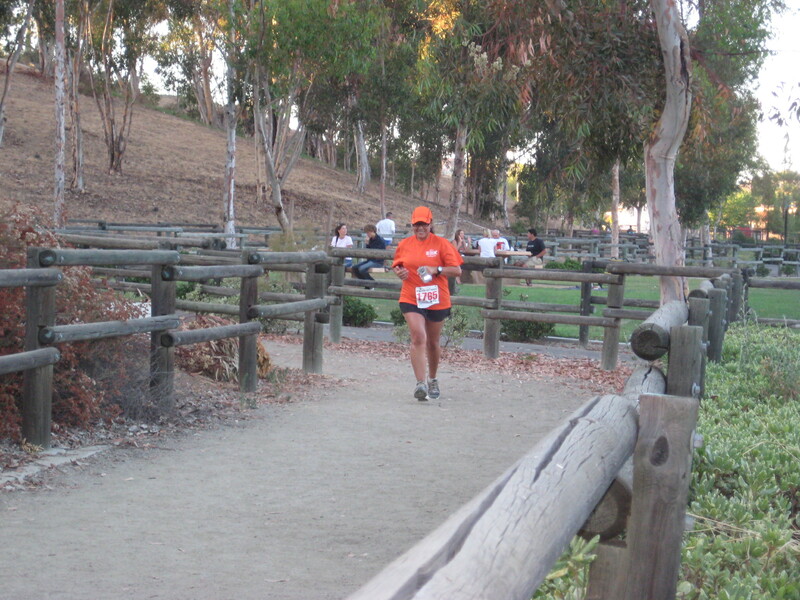 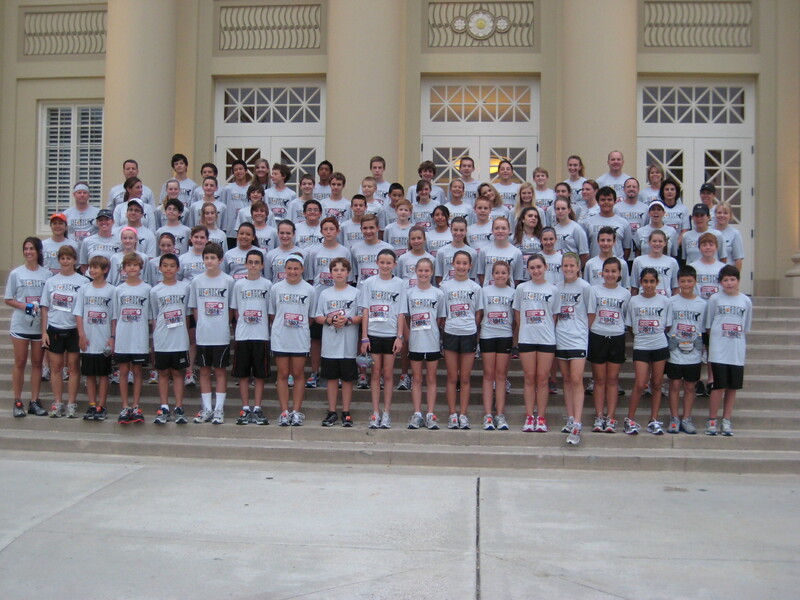 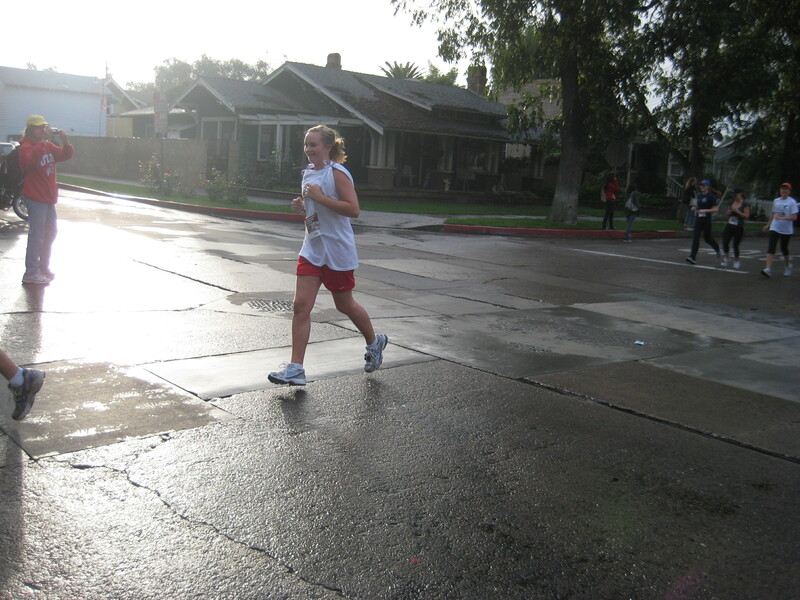 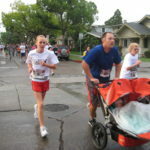 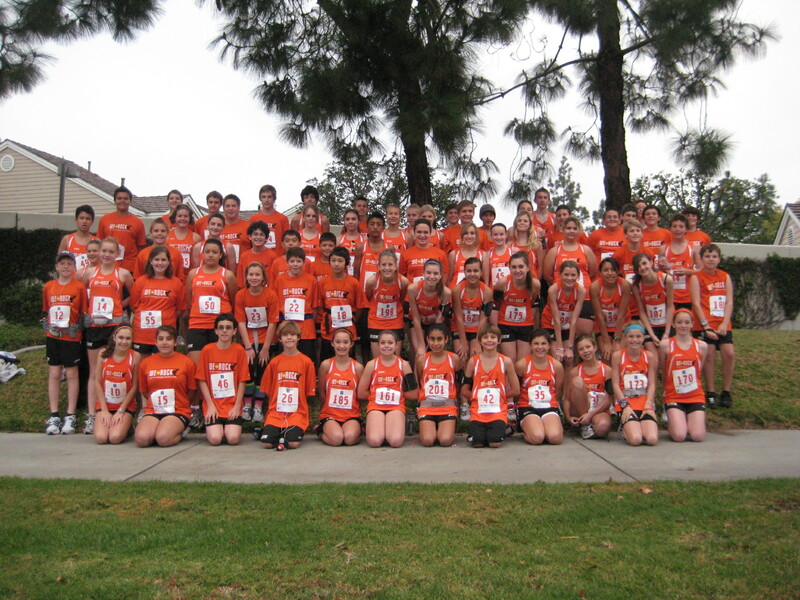 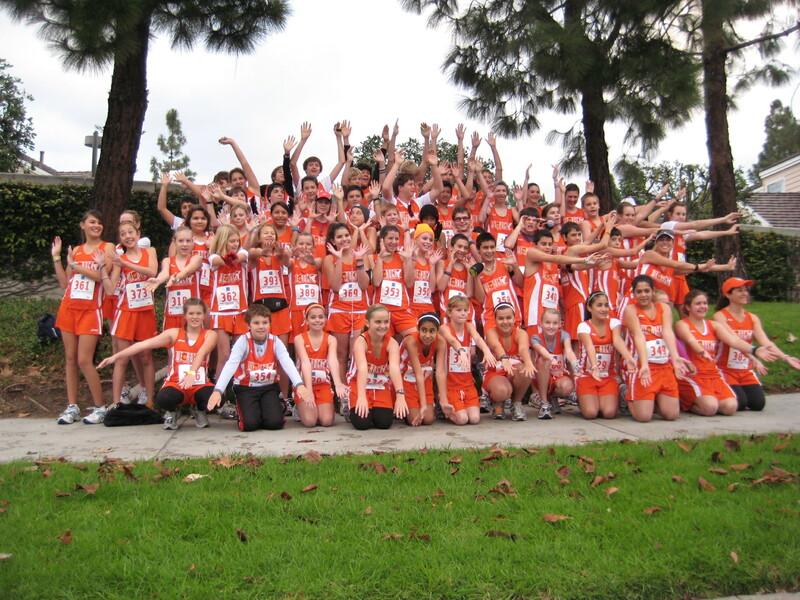 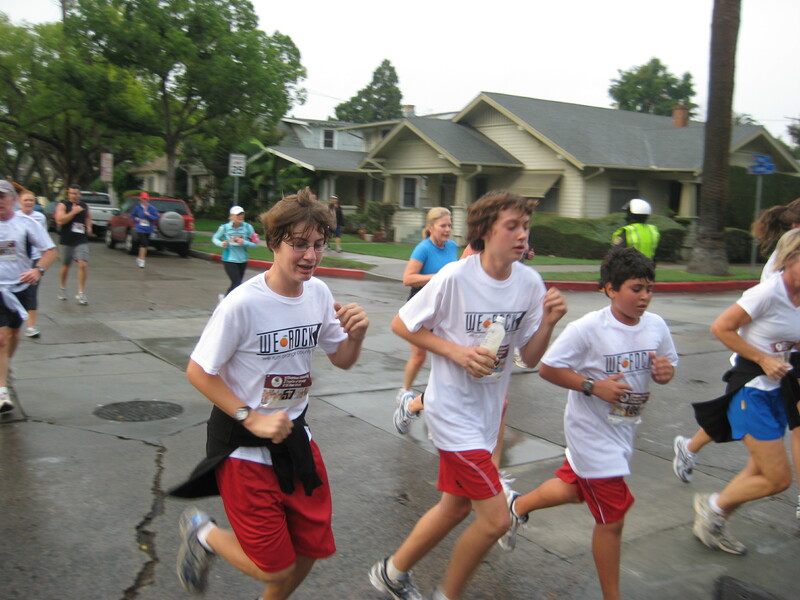 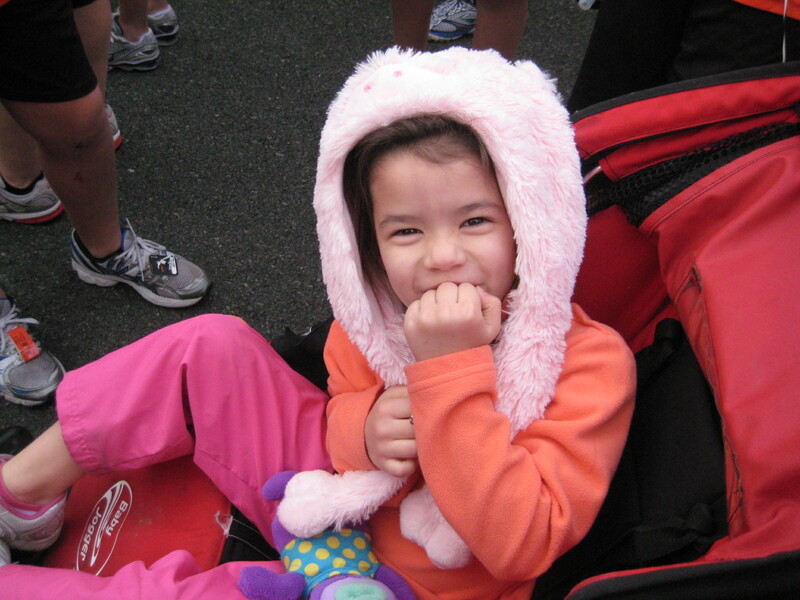 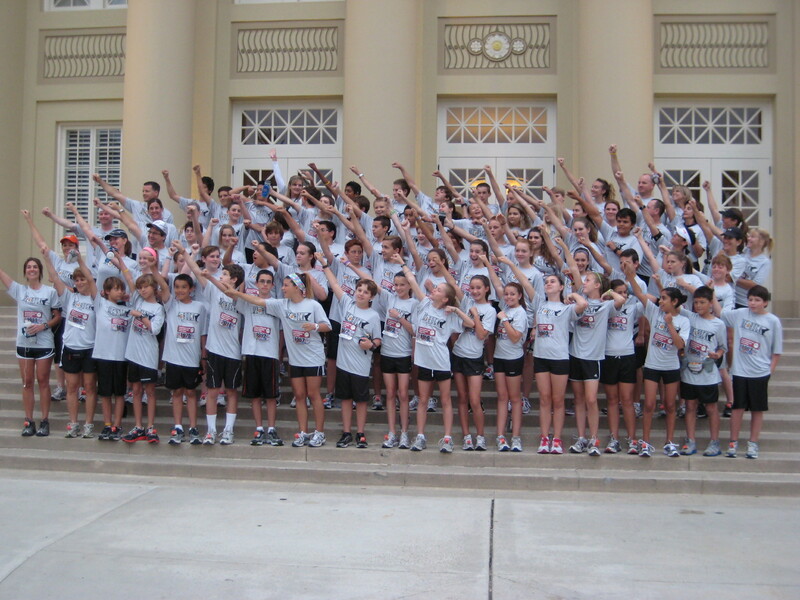 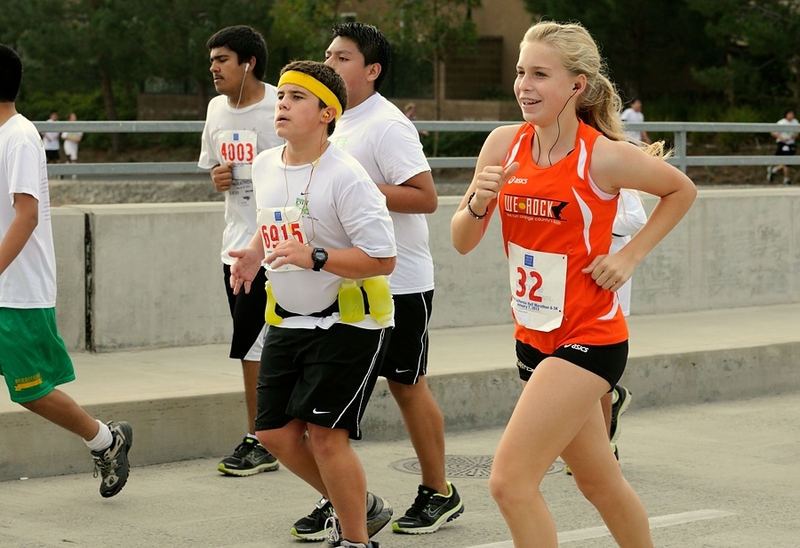 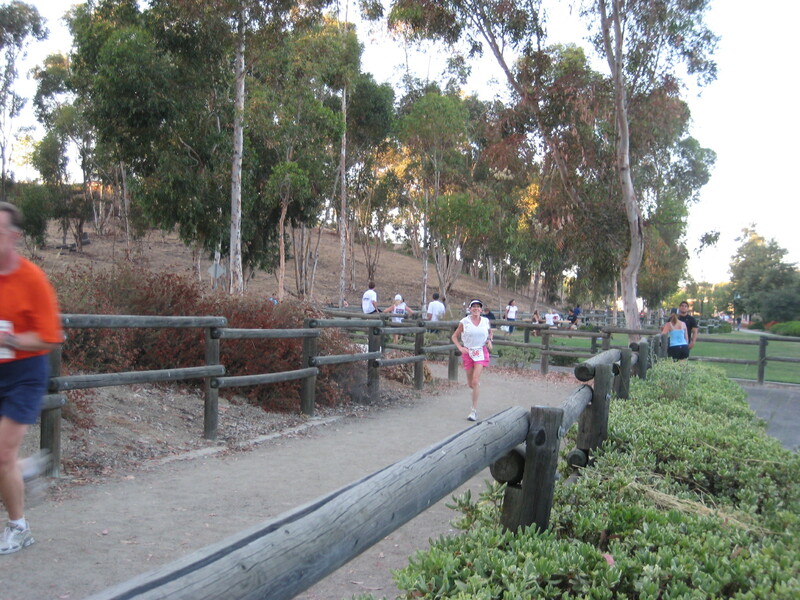 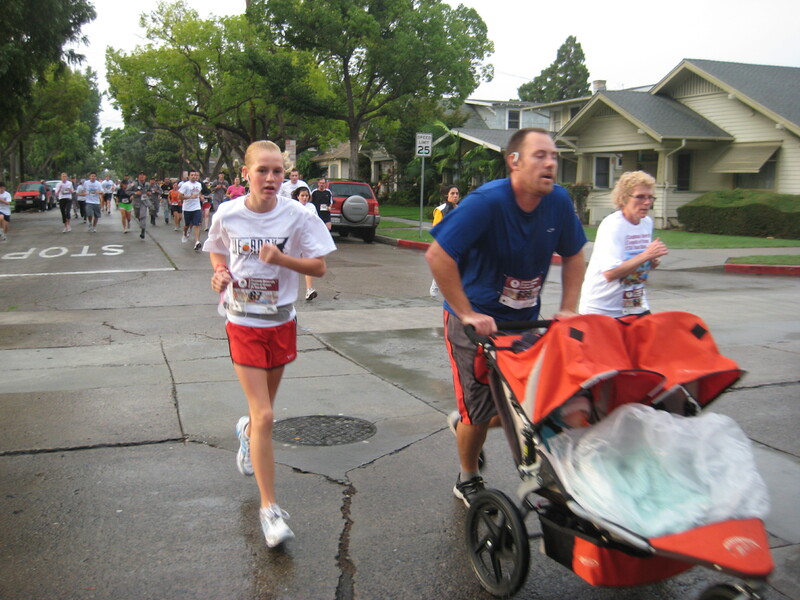 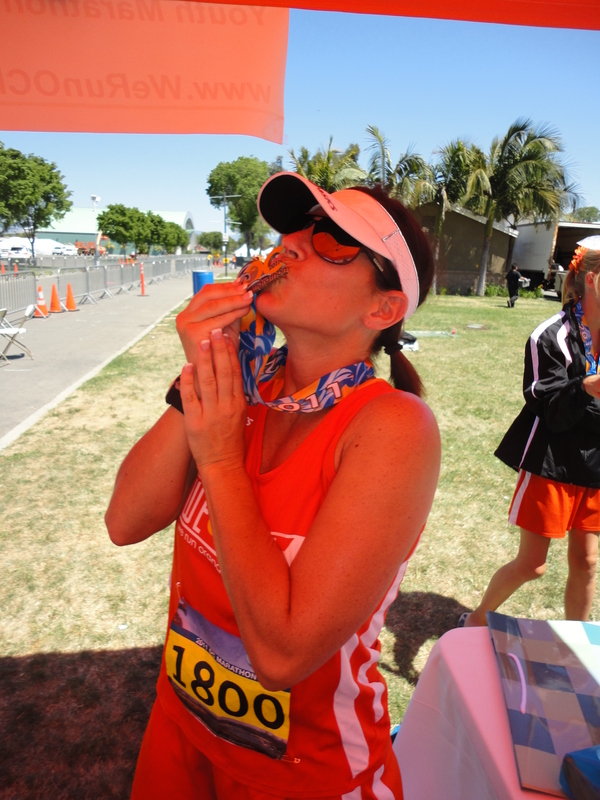 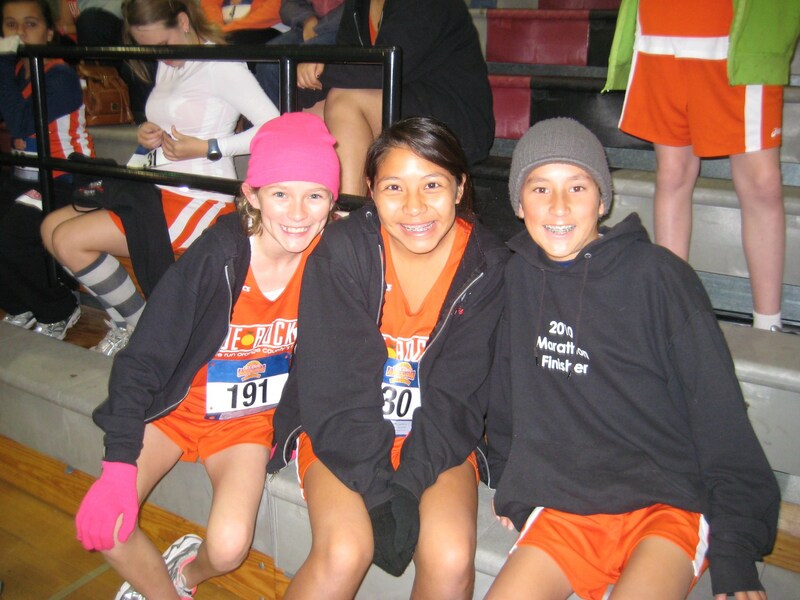 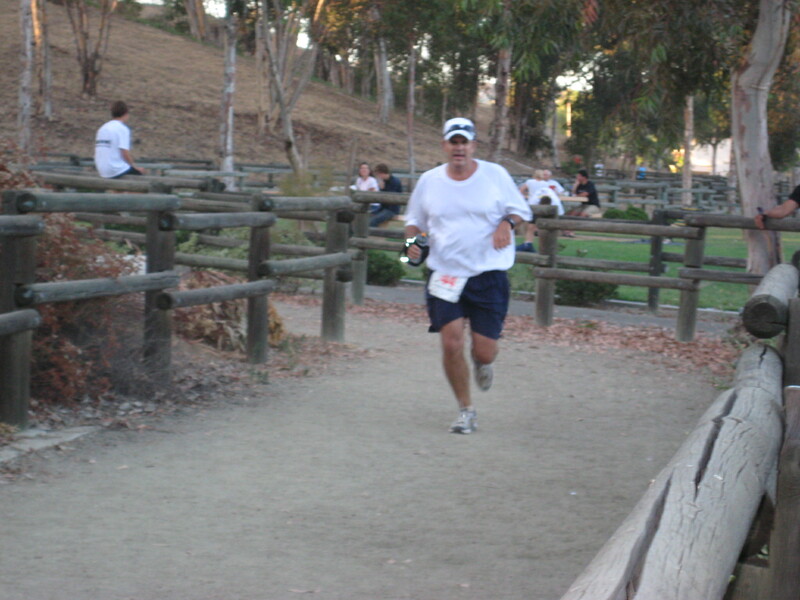 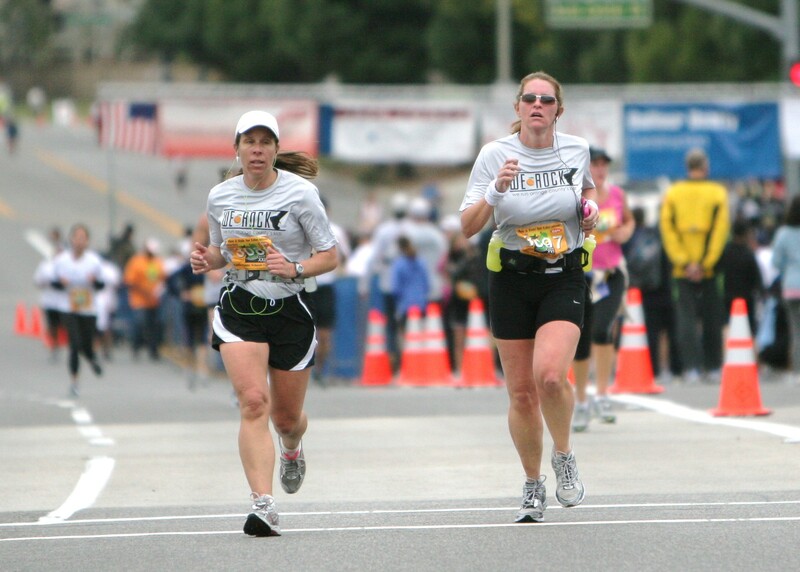 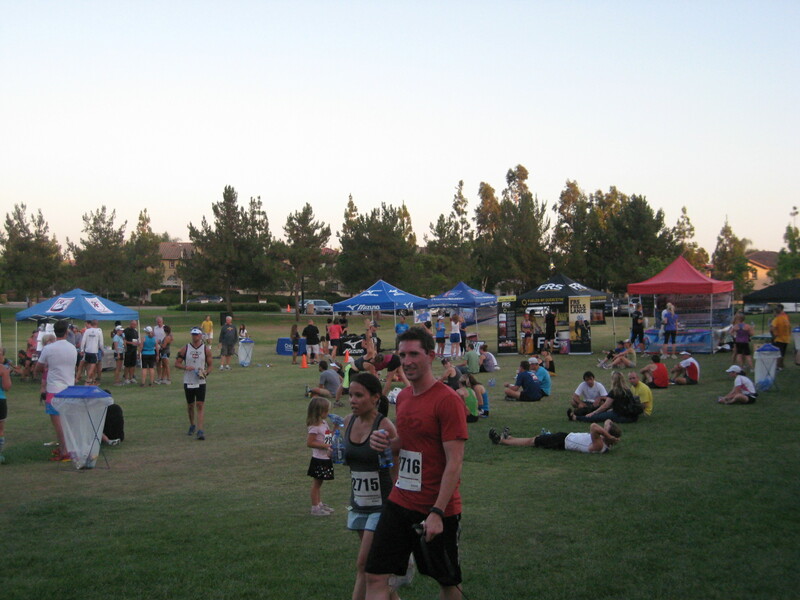 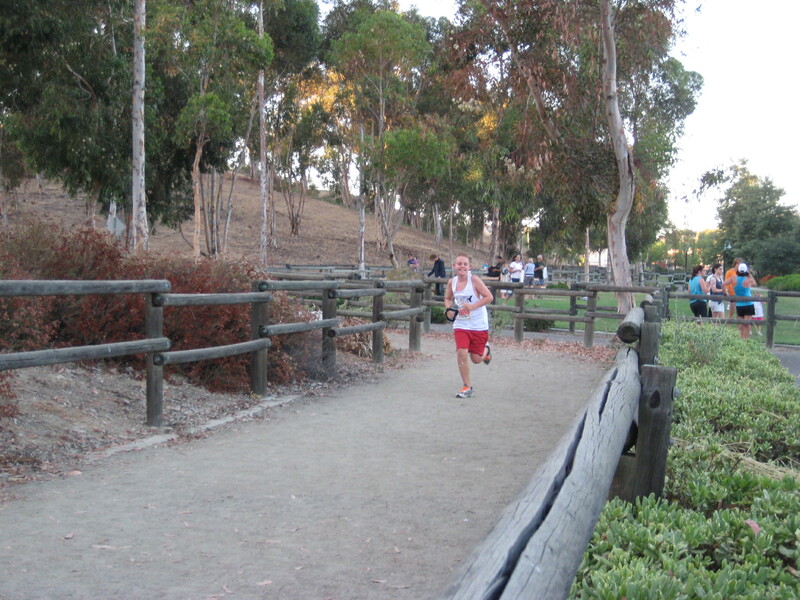 I remember a day when the runners were afraid of 6.2 miles….now they embrace it! 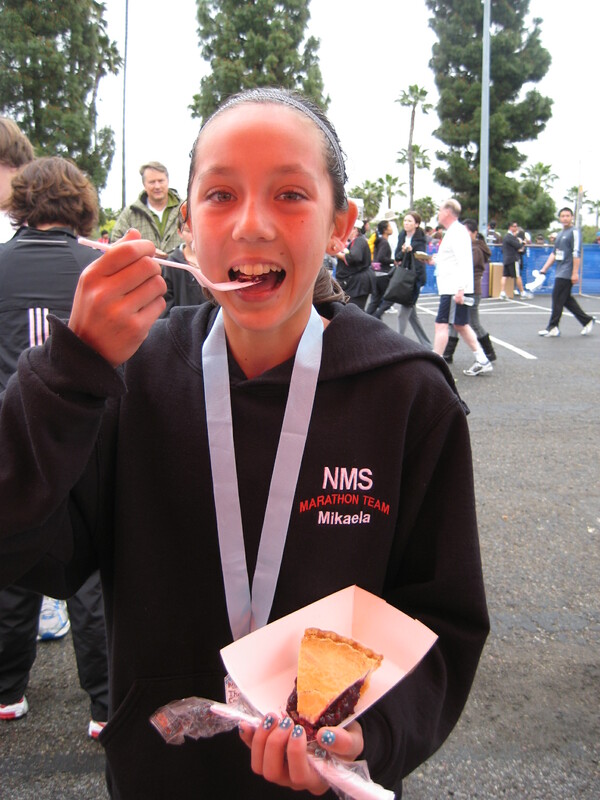 It’s all about the PIE! 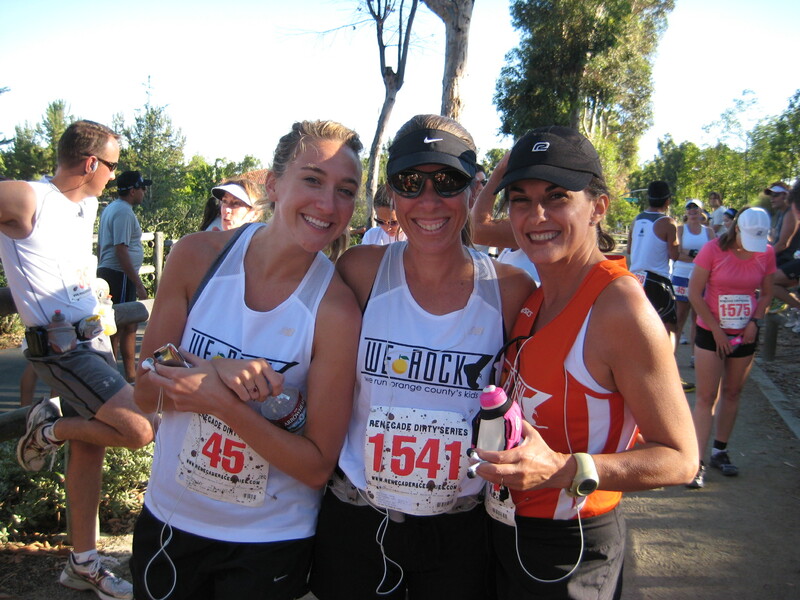 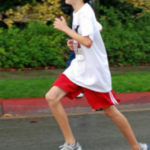 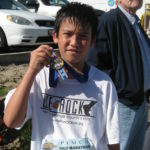 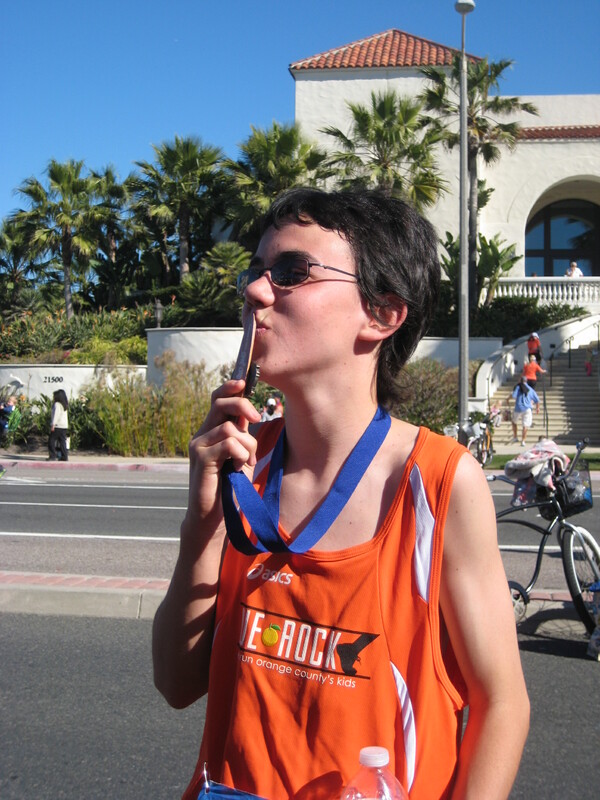 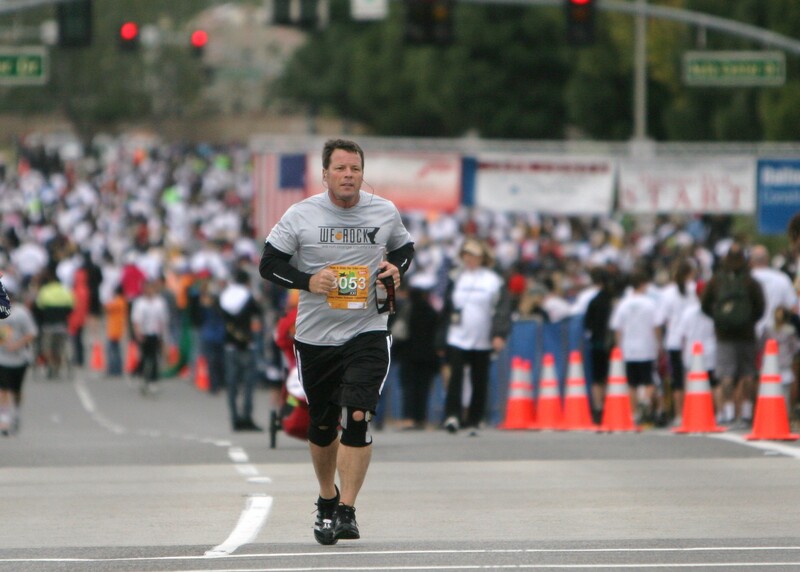 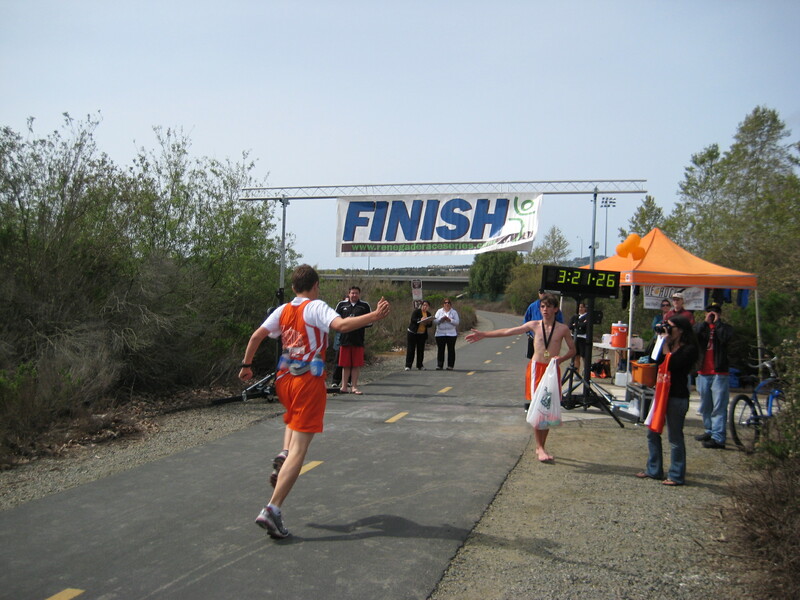 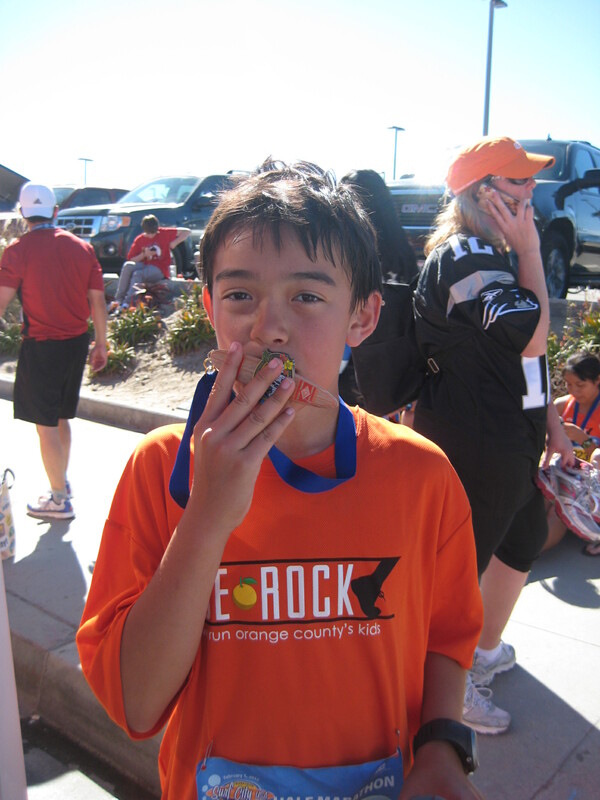 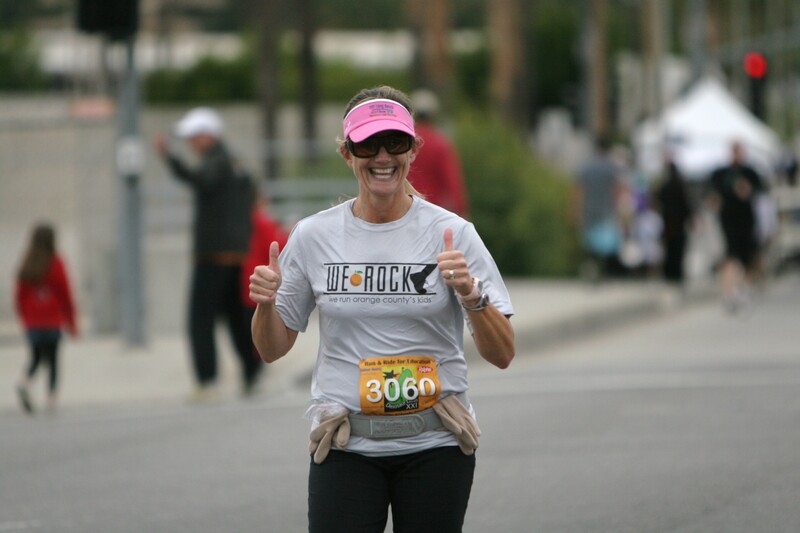 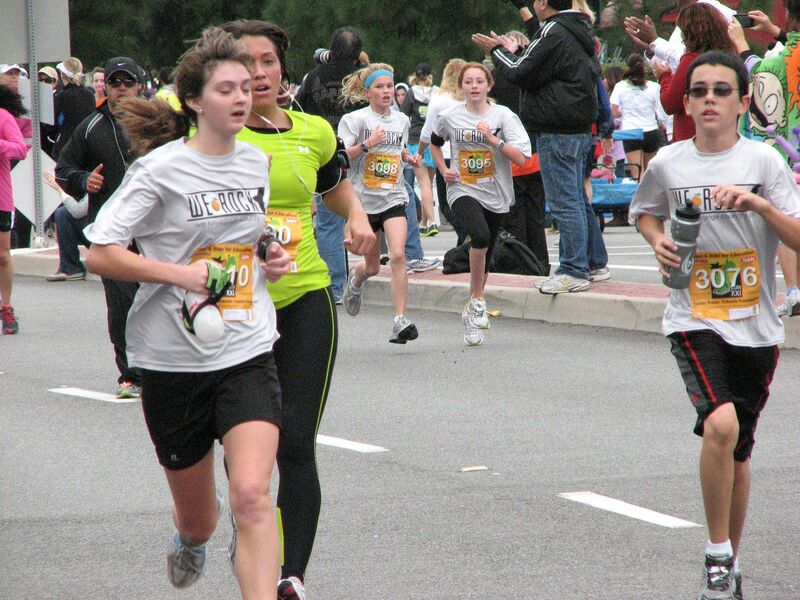 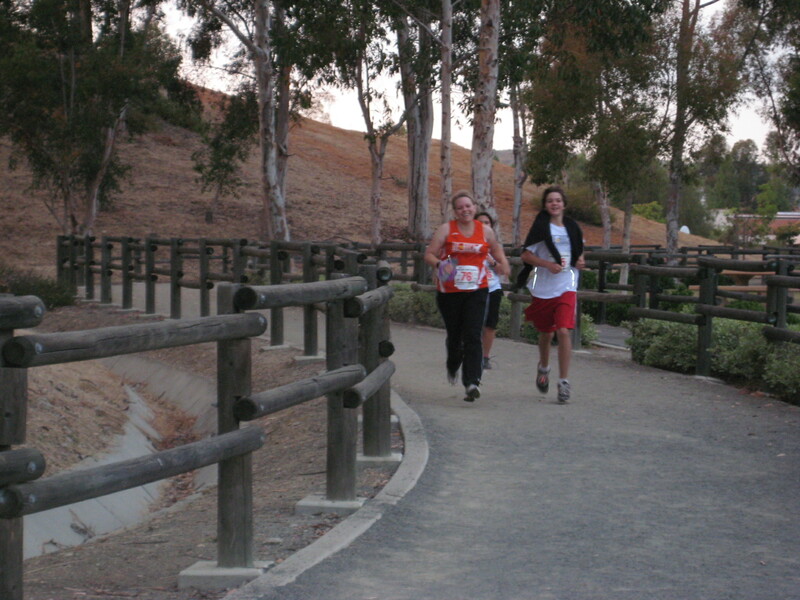 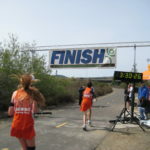 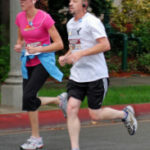 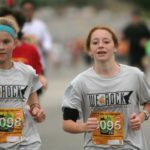 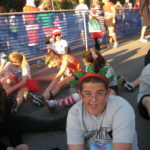 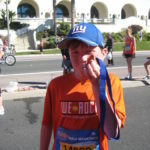 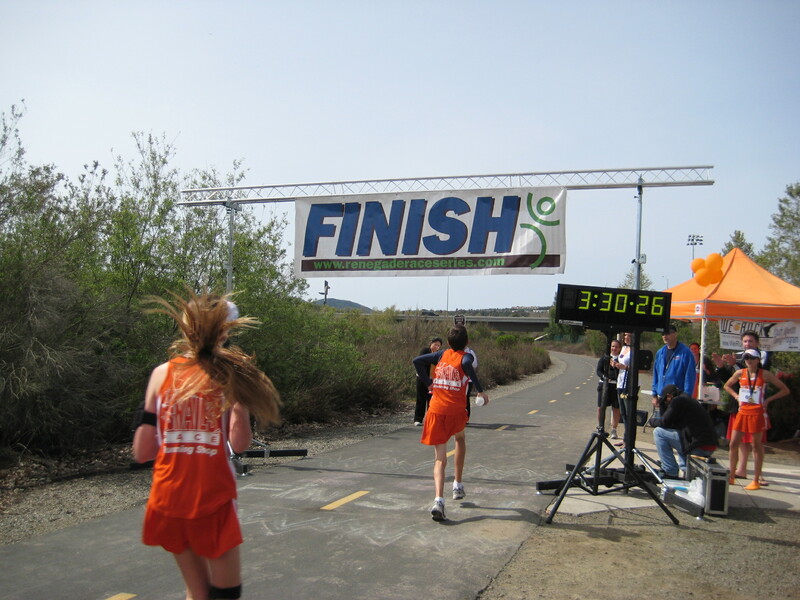 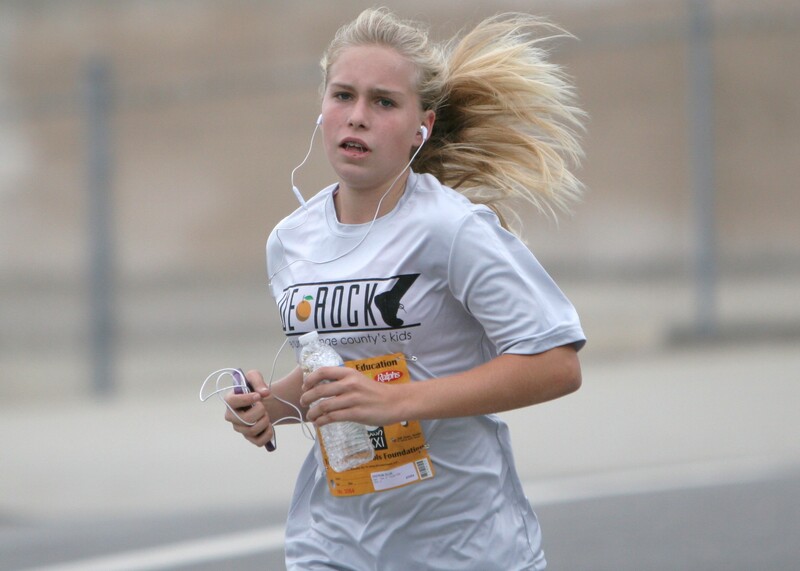 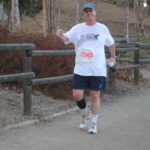 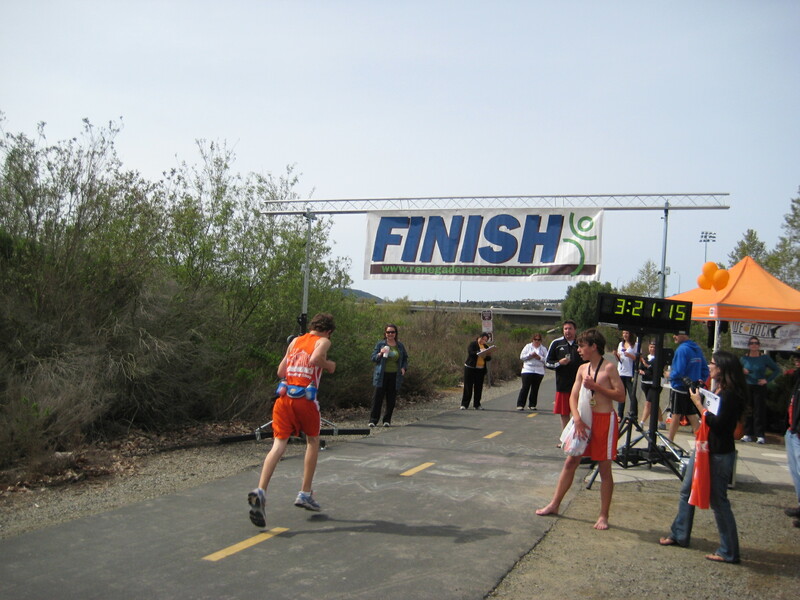 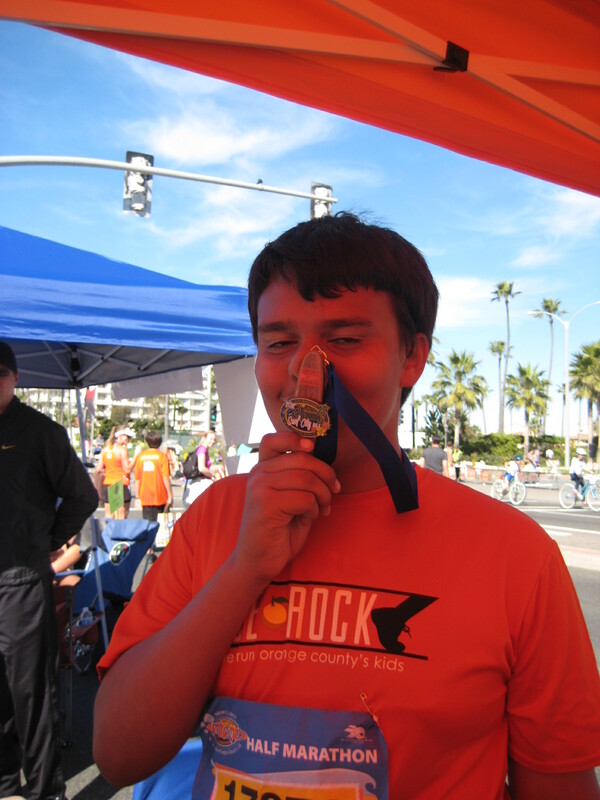 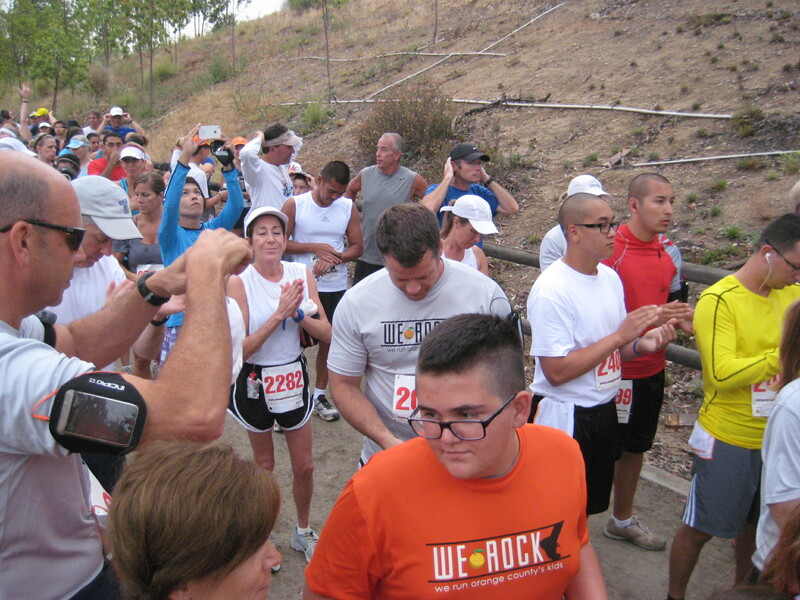 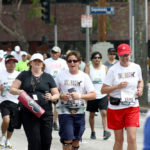 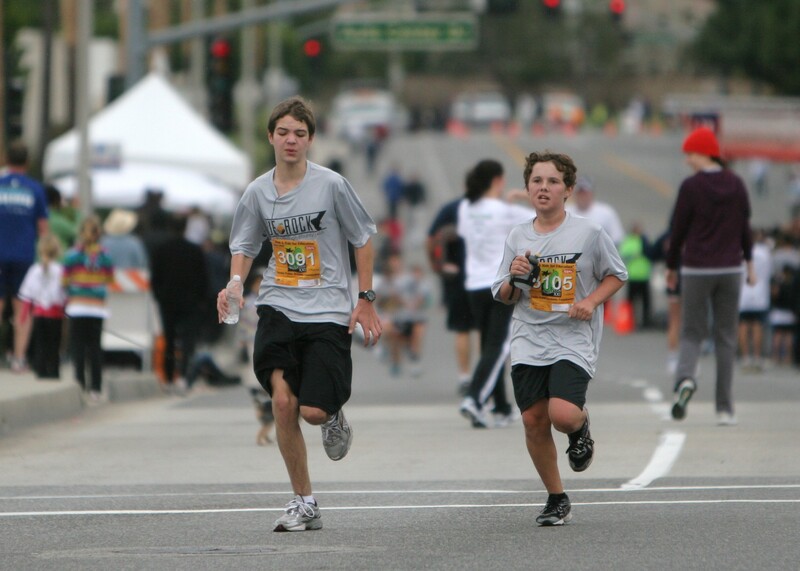 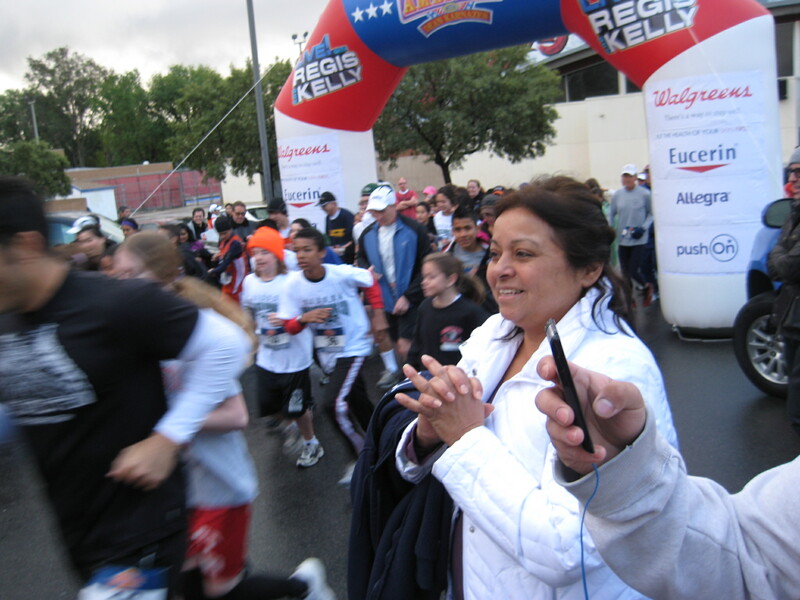 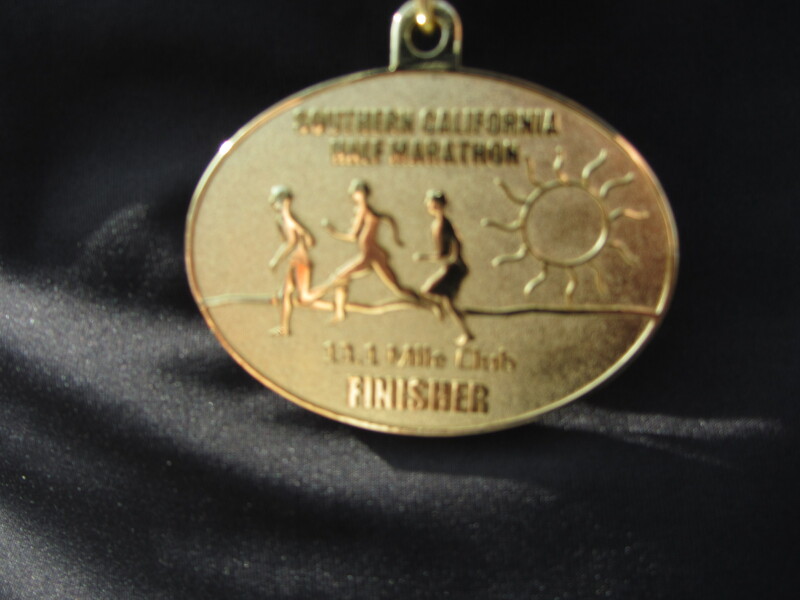 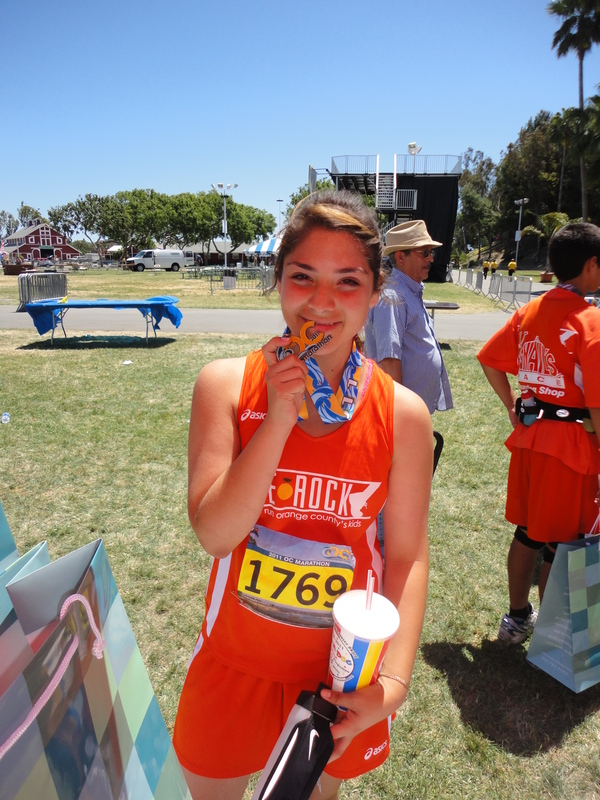 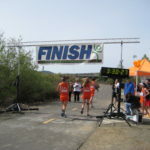 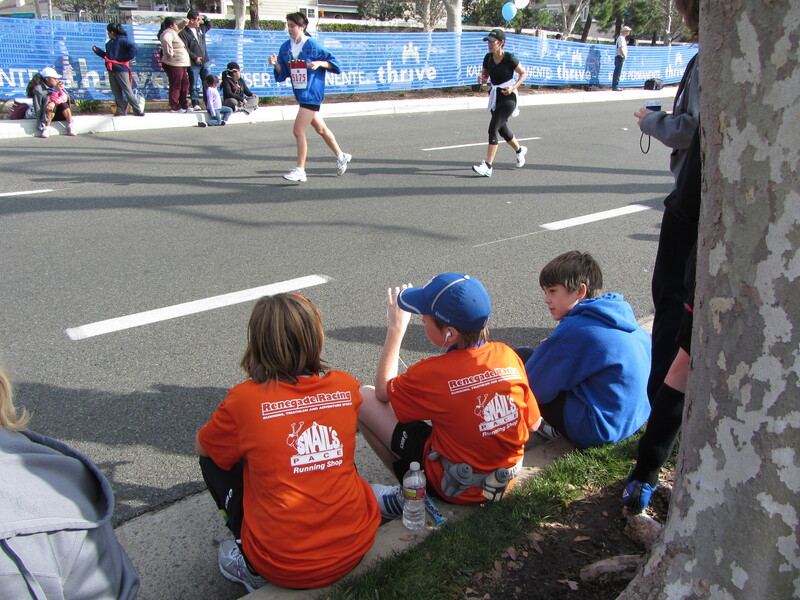 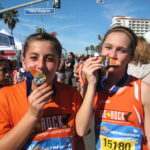 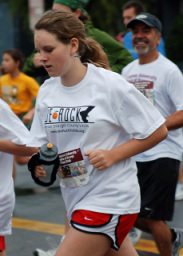 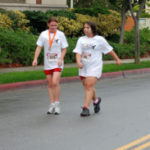 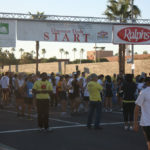 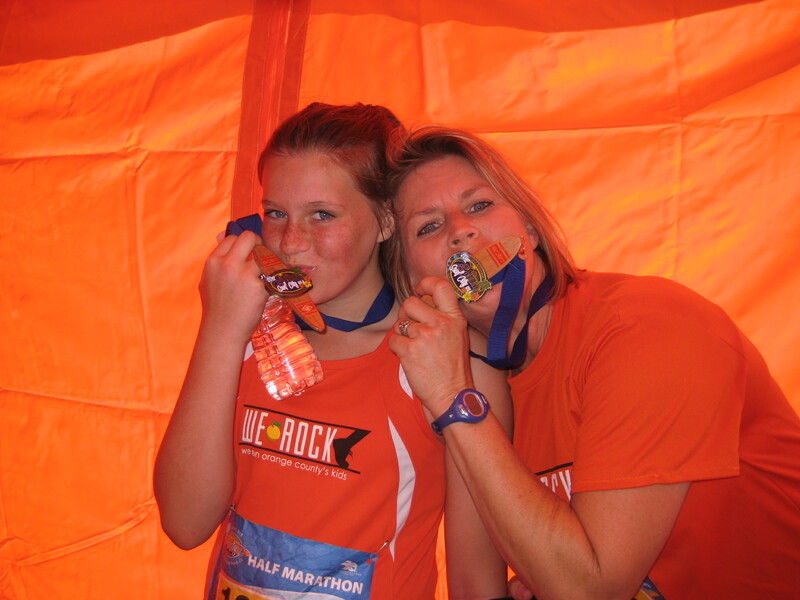 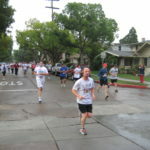 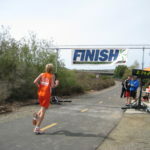 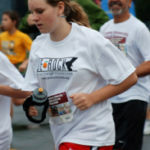 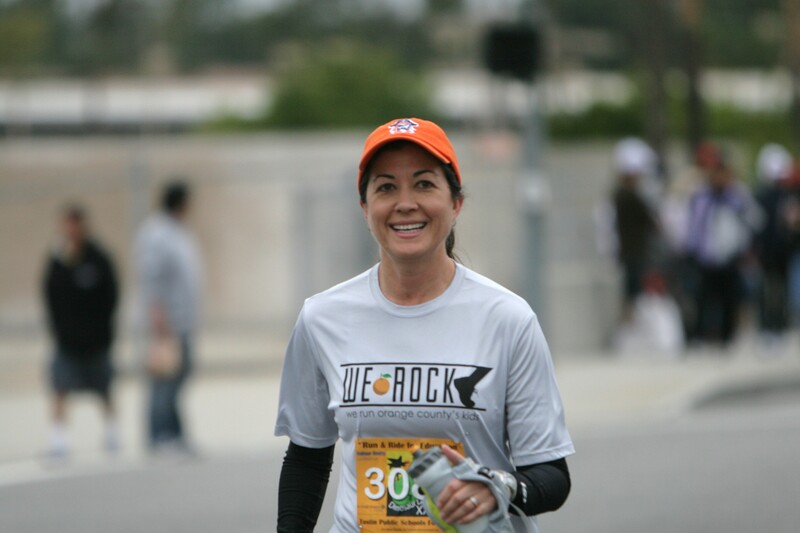 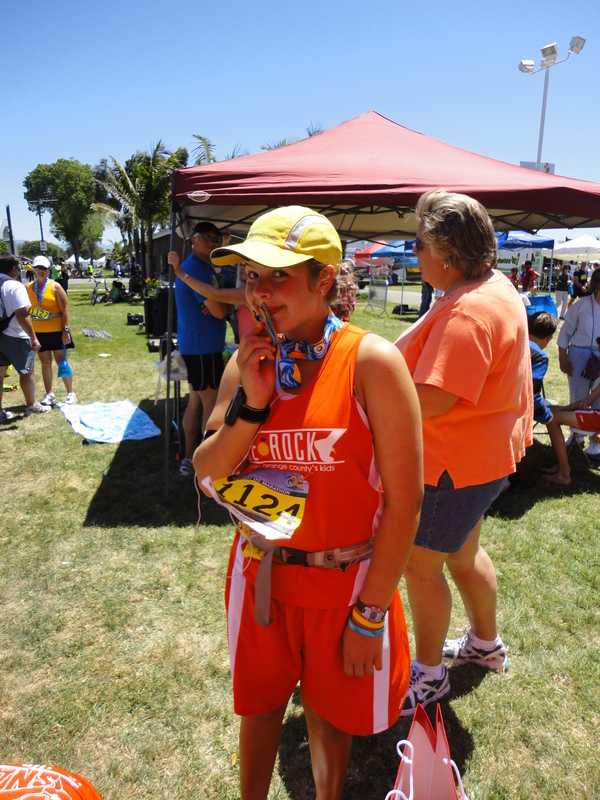 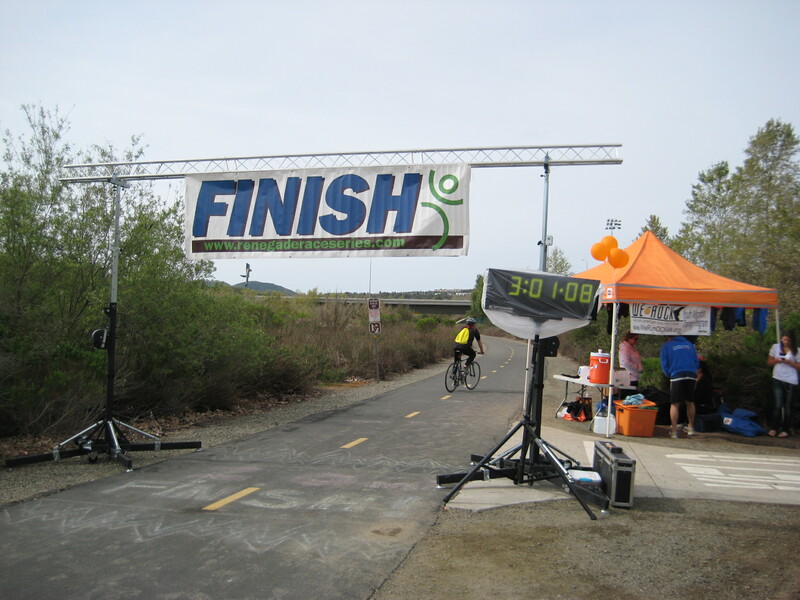 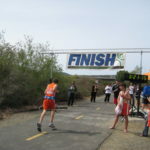 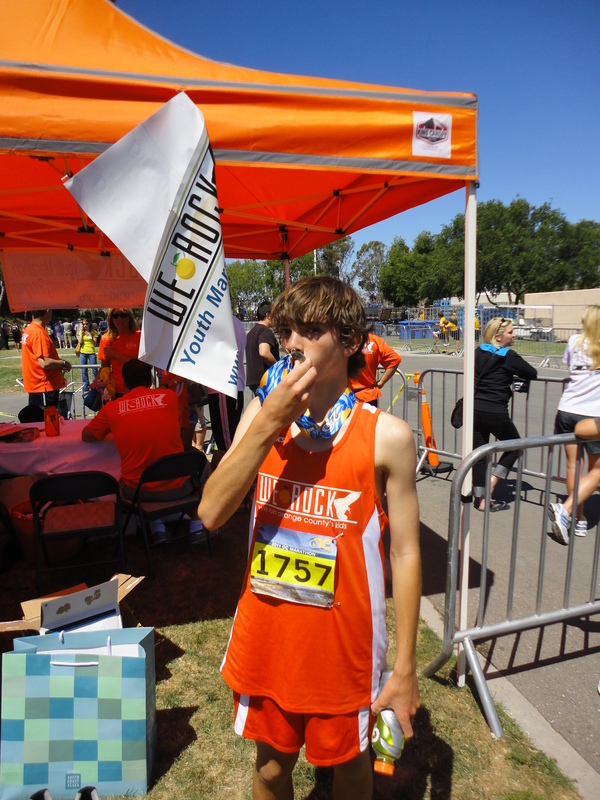 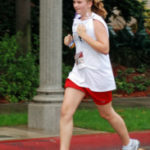 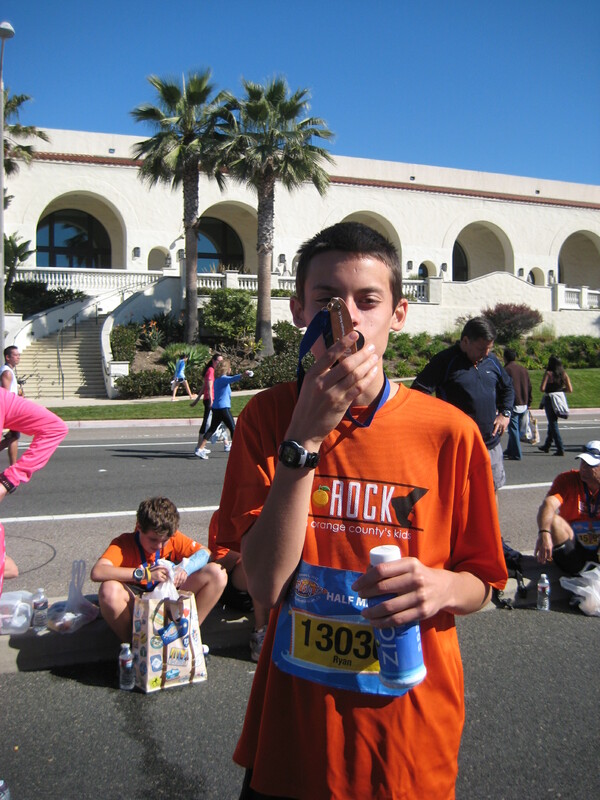 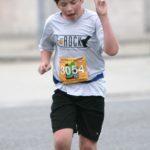 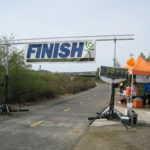 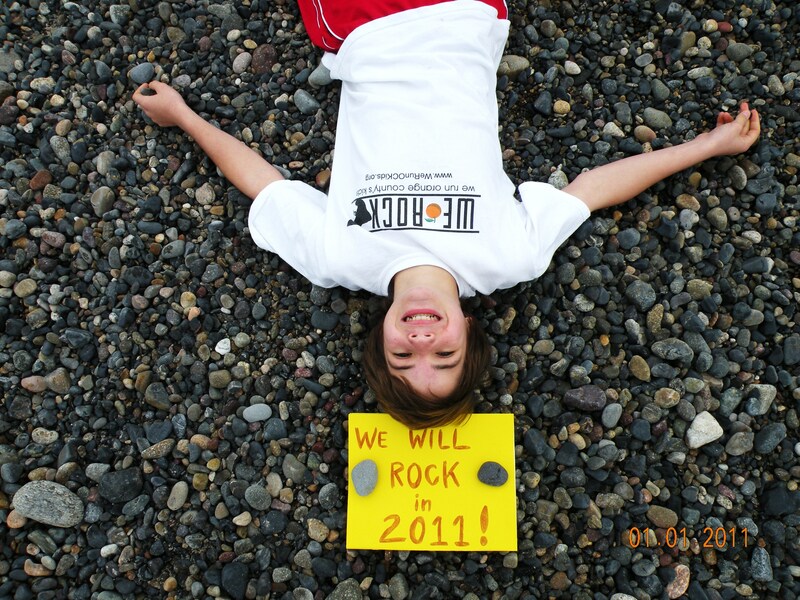 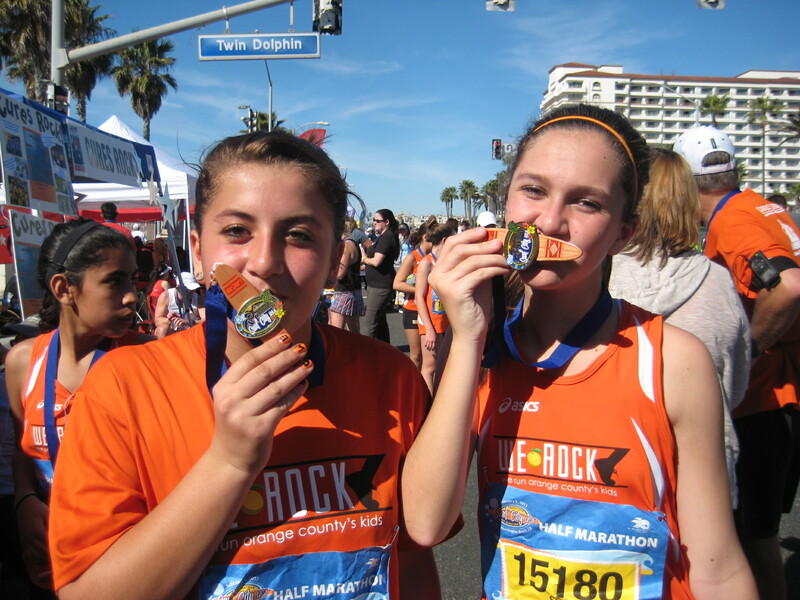 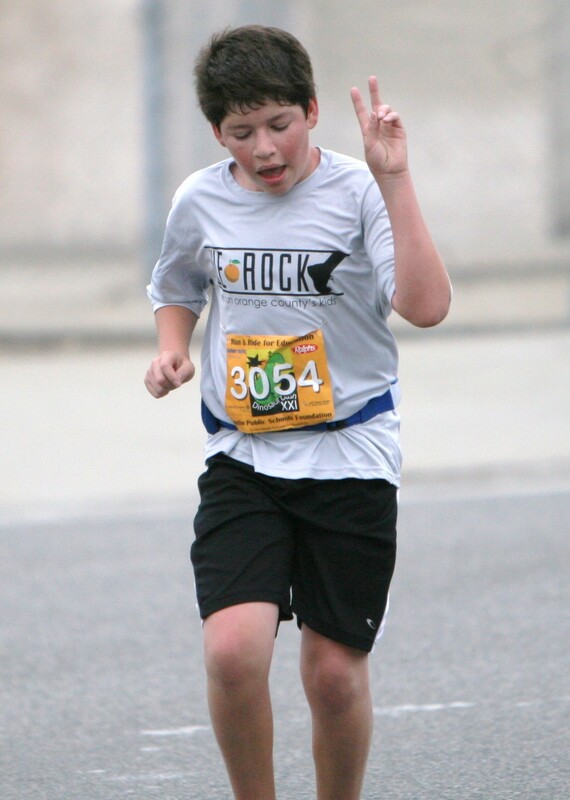 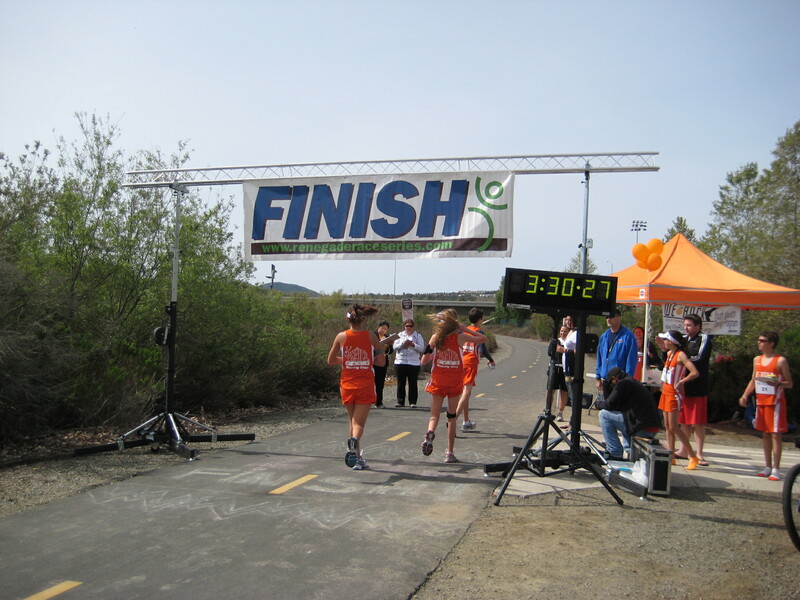 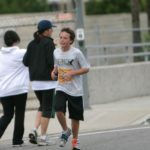 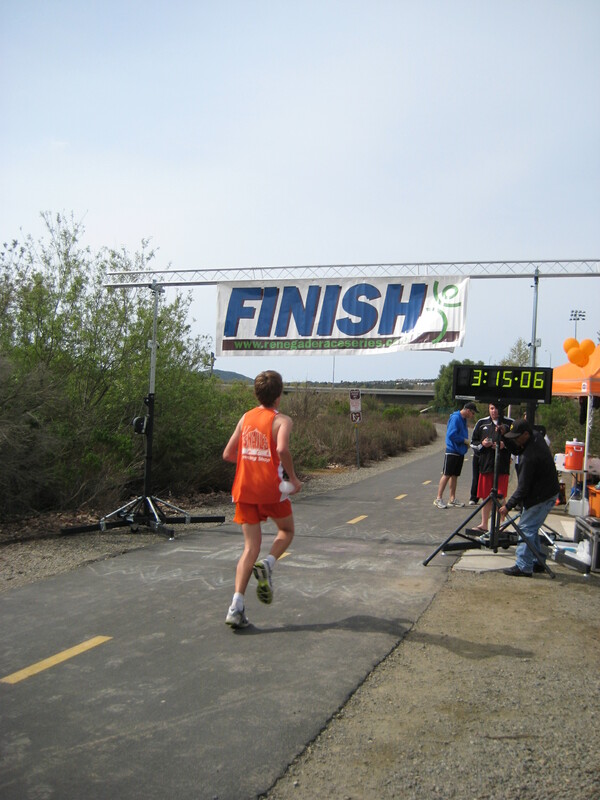 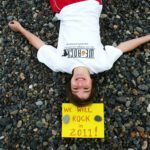 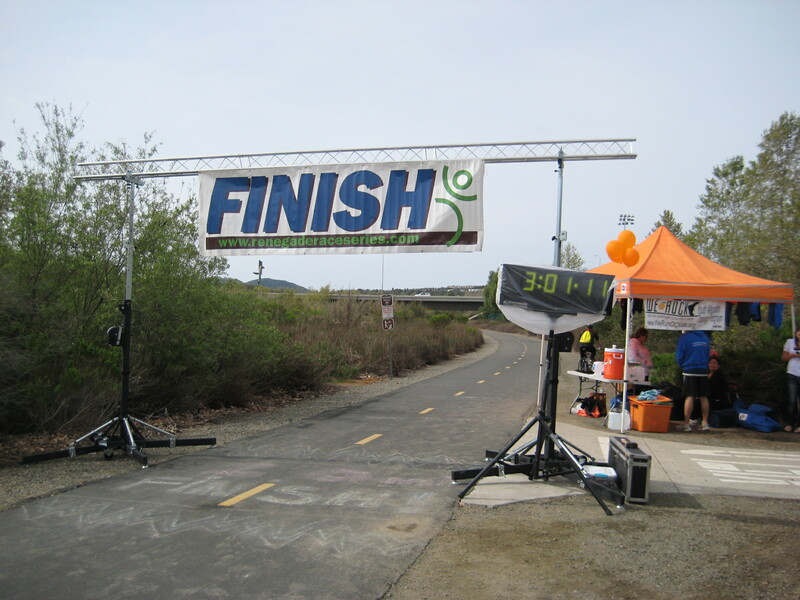 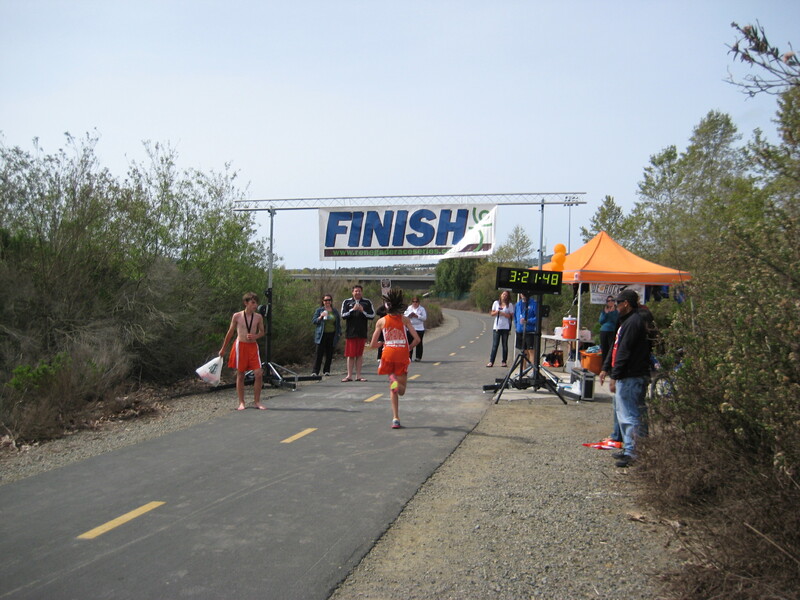 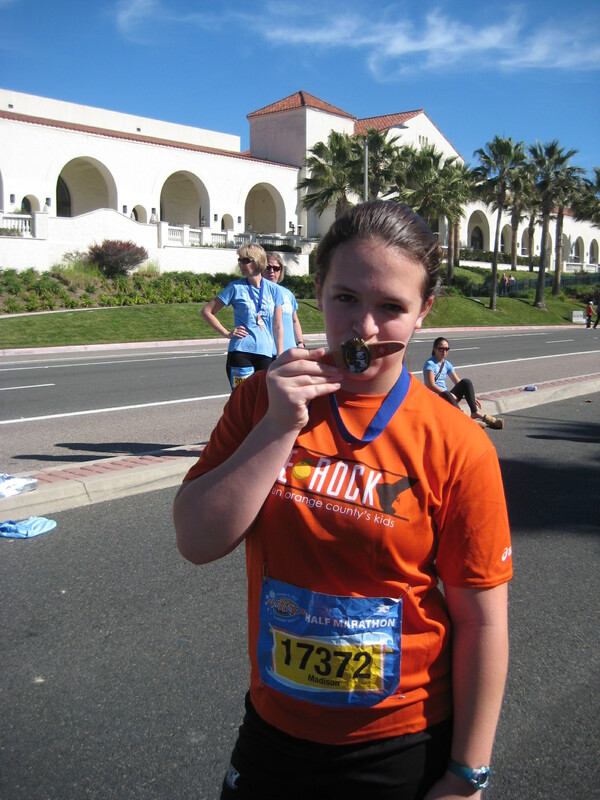 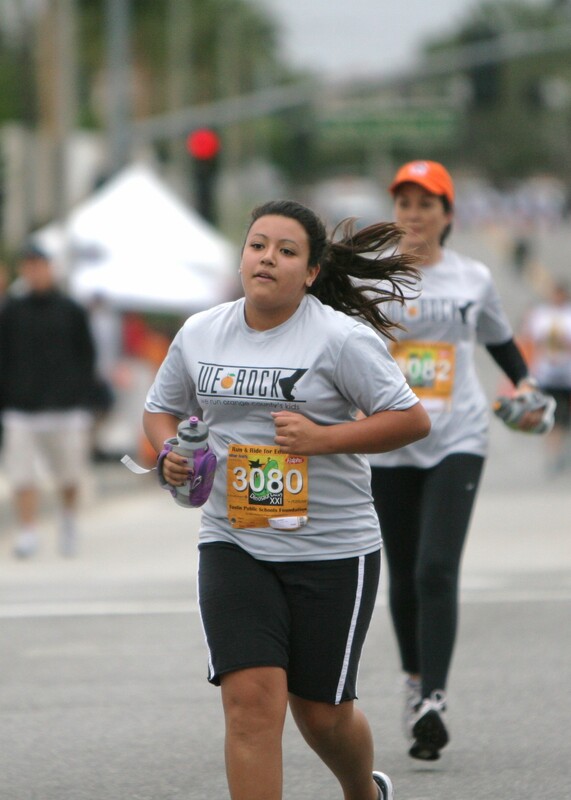 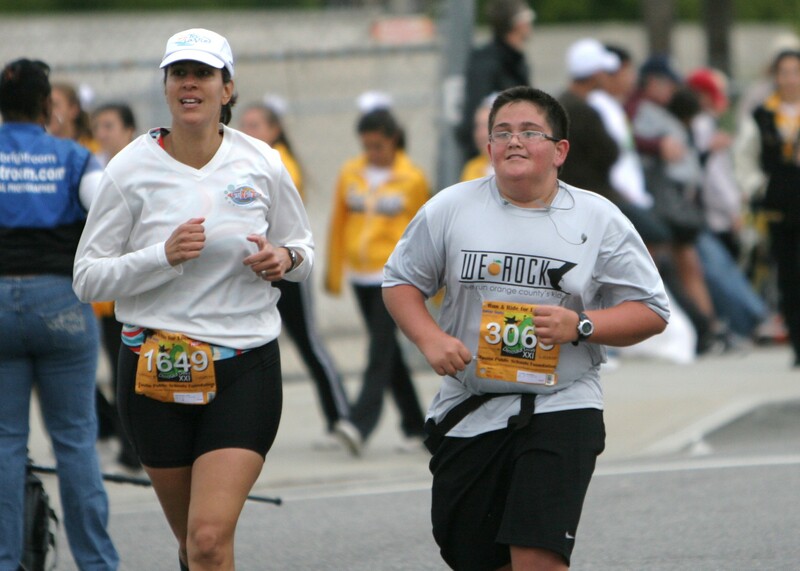 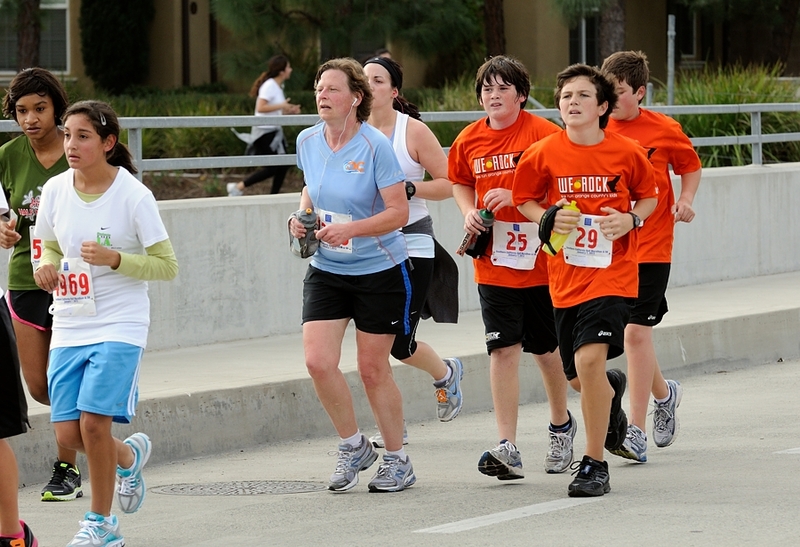 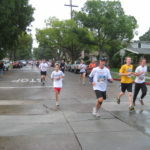 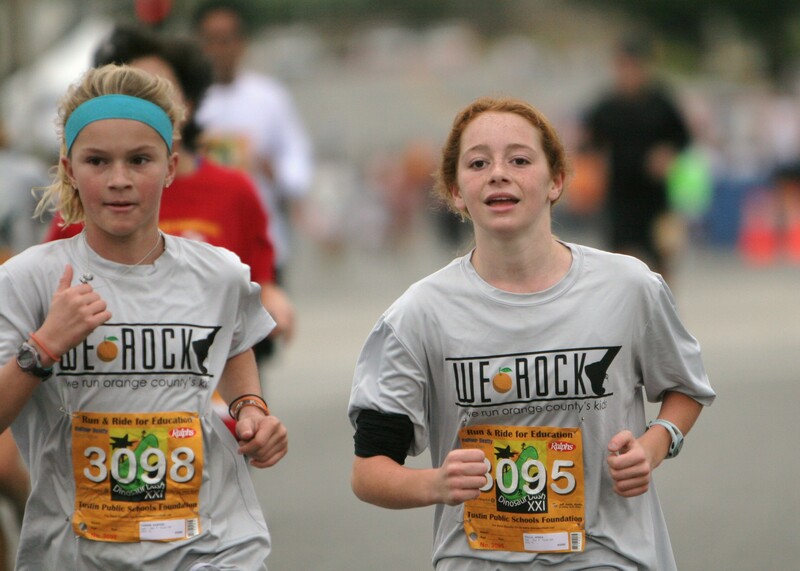 All We ROCKers must complete the 20-mile course in the allotted time in order to qualify to run the marathon. 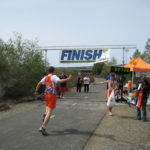 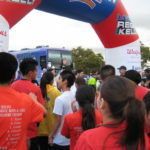 Congrats to ALL the runners for achieving your goal! 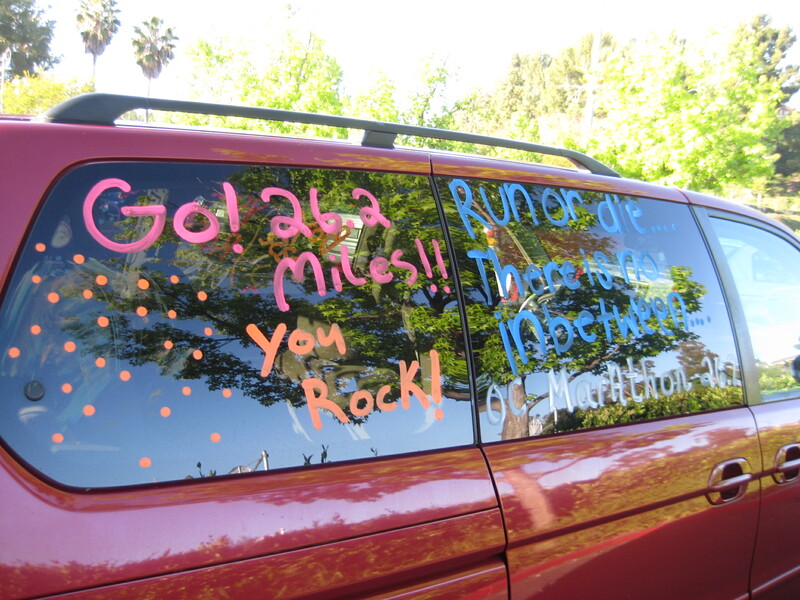 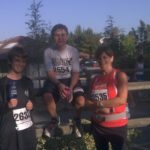 Marathon….here we come! 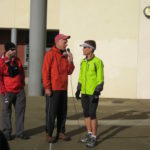 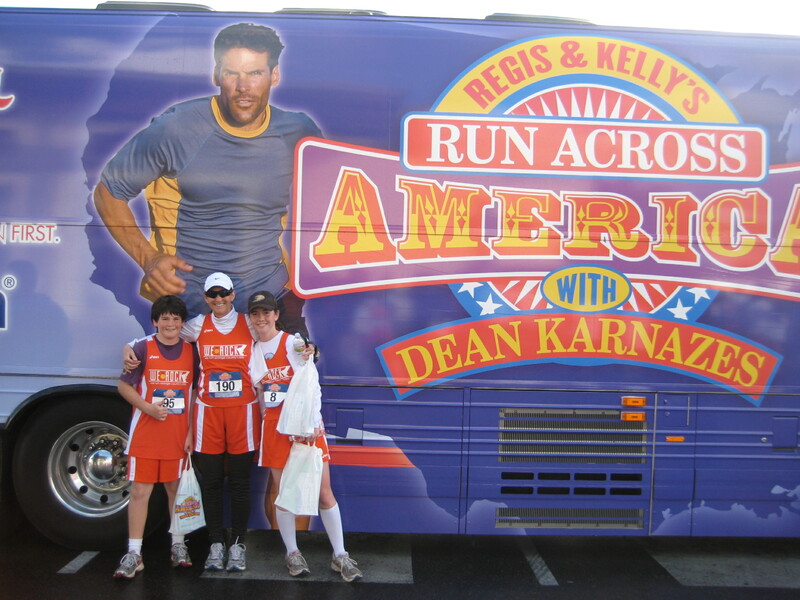 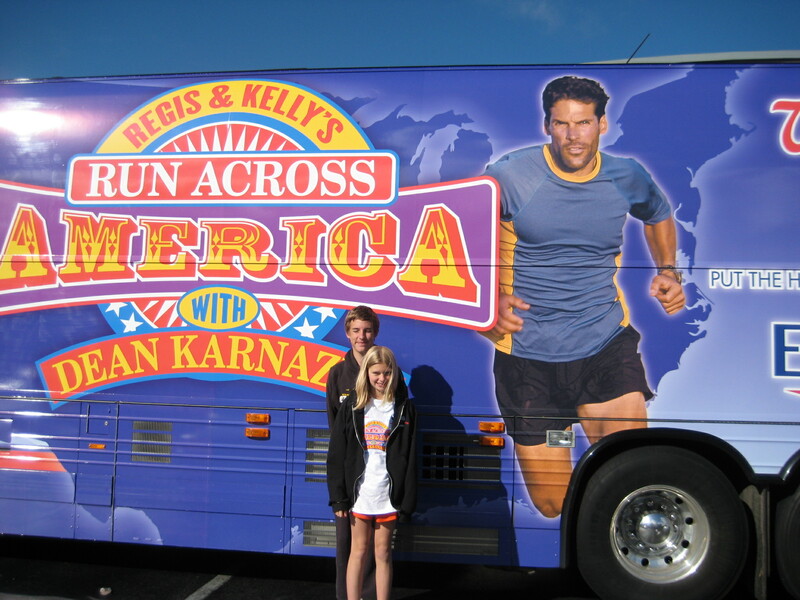 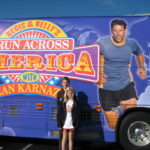 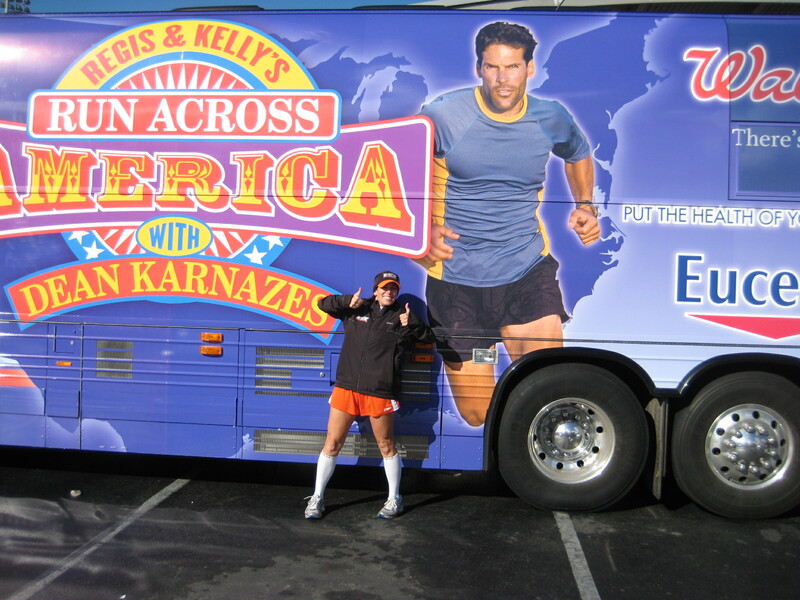 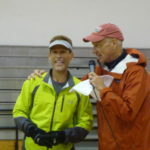 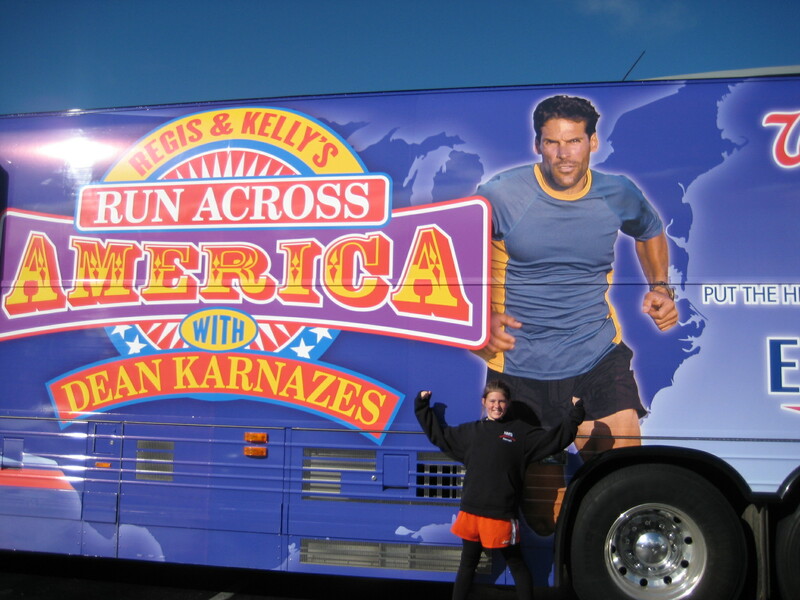 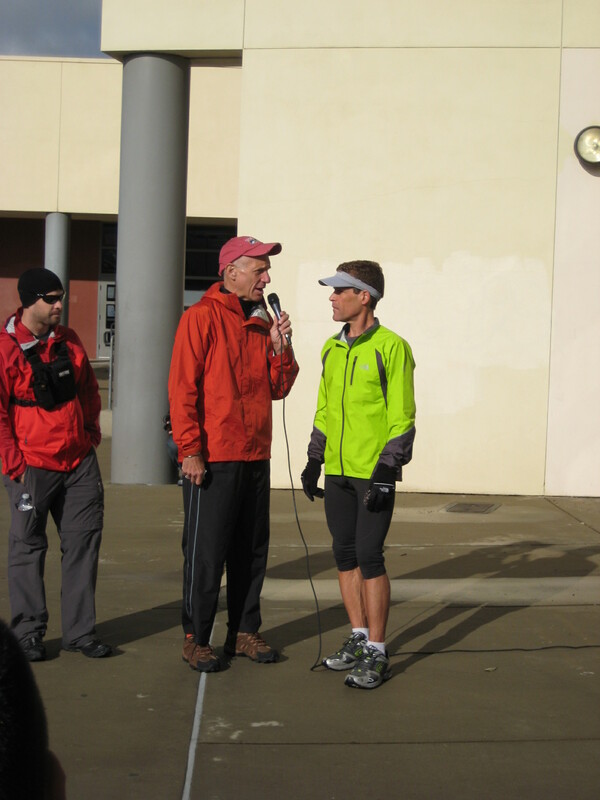 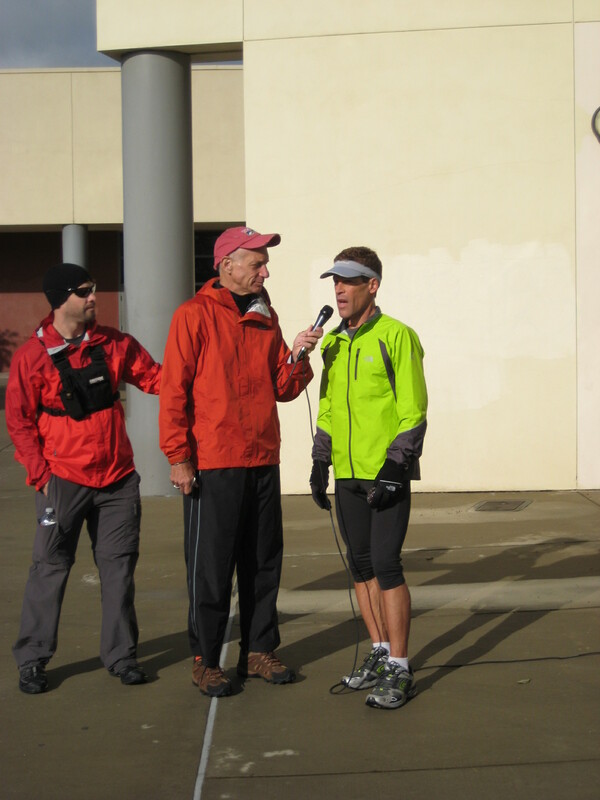 We had the opportunity to meet Dean Karnazes as he kicked off his Run Across America. 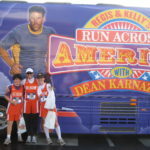 We ROCKers ran side-by-side with Dean and asked him various questions. 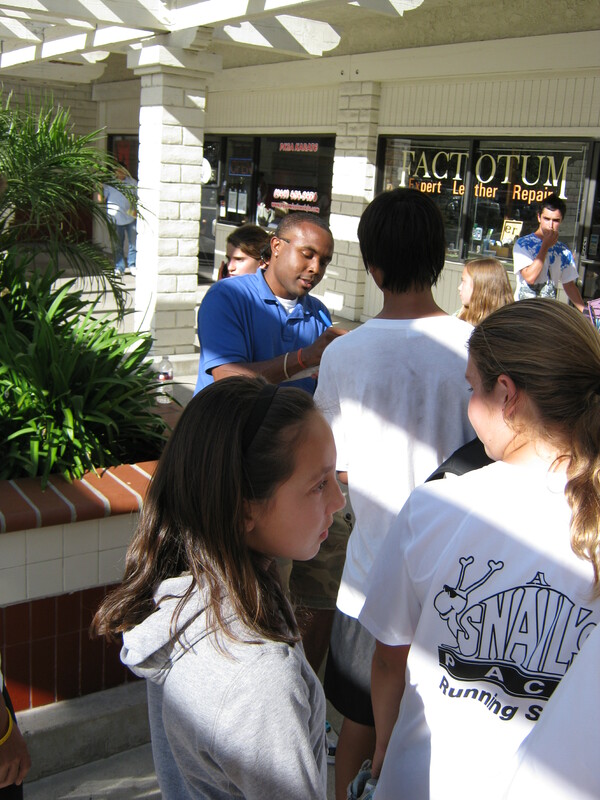 After we bid him a farewell, many of us read his books. 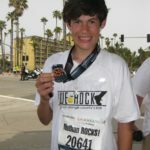 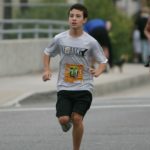 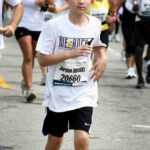 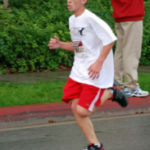 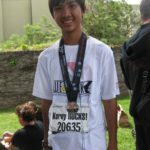 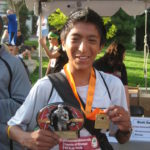 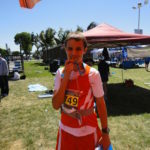 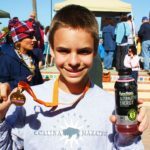 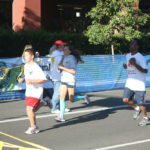 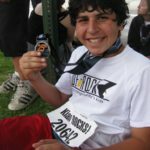 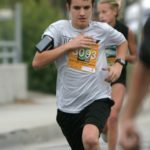 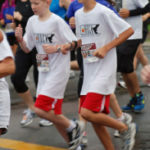 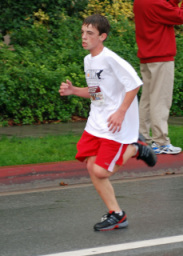 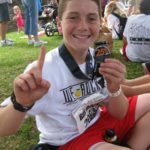 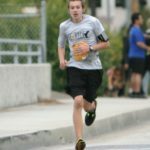 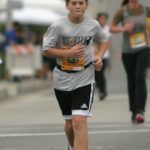 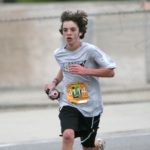 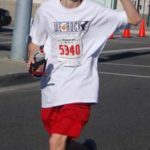 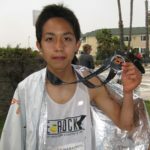 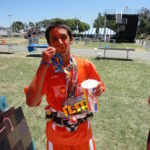 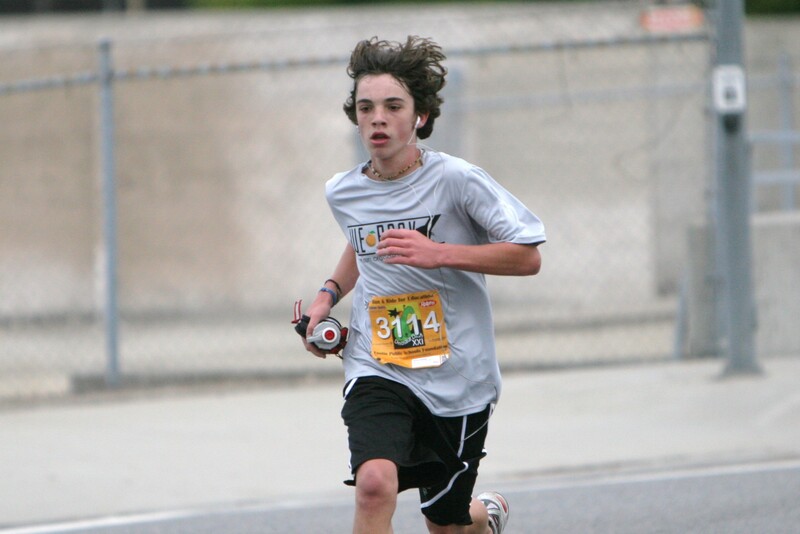 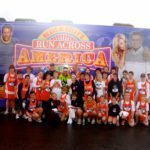 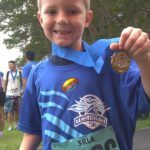 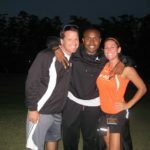 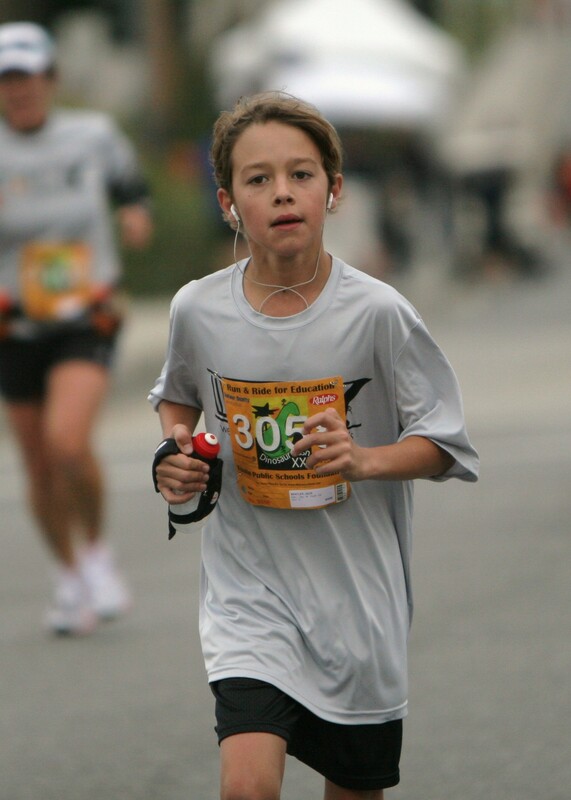 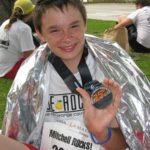 He is a true inspiration and continues to use his running as a tool to raise awareness and funds to benefit the children of America. 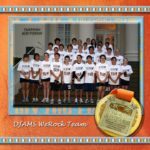 Thank you Dean! 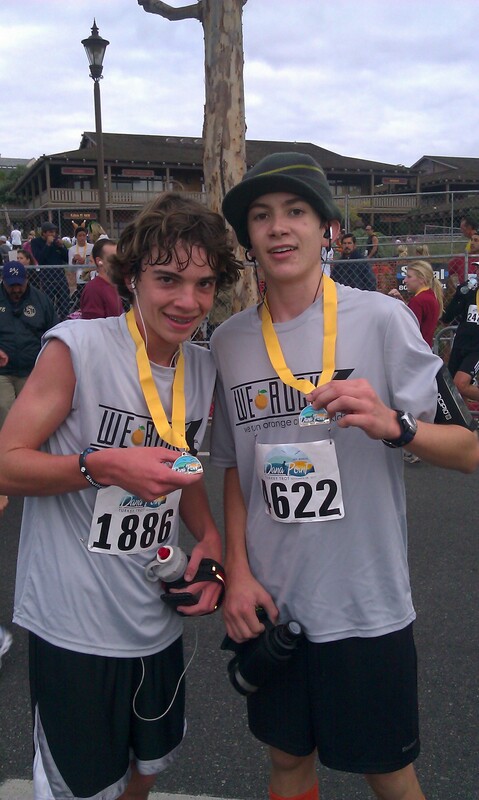 We don’t ALWAYS have to run. 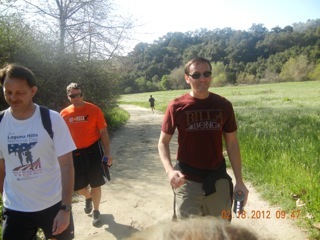 Sometimes we take time to see nature and just hike. 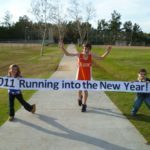 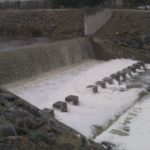 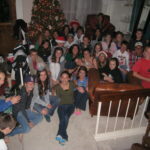 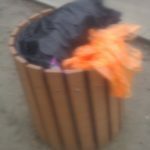 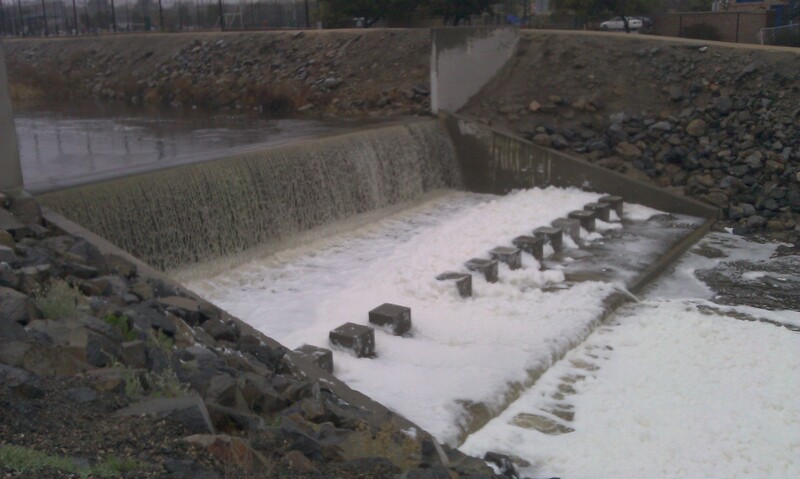 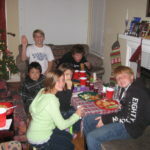 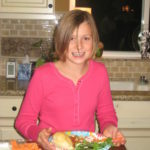 Photo Contest – Happy New Year!! 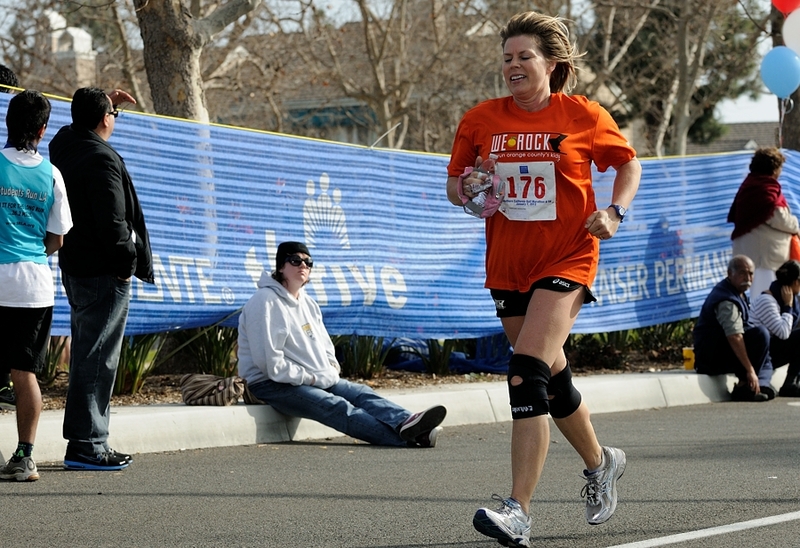 We ROCK runners were given the challenge to capture their first run of 2011. 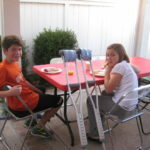 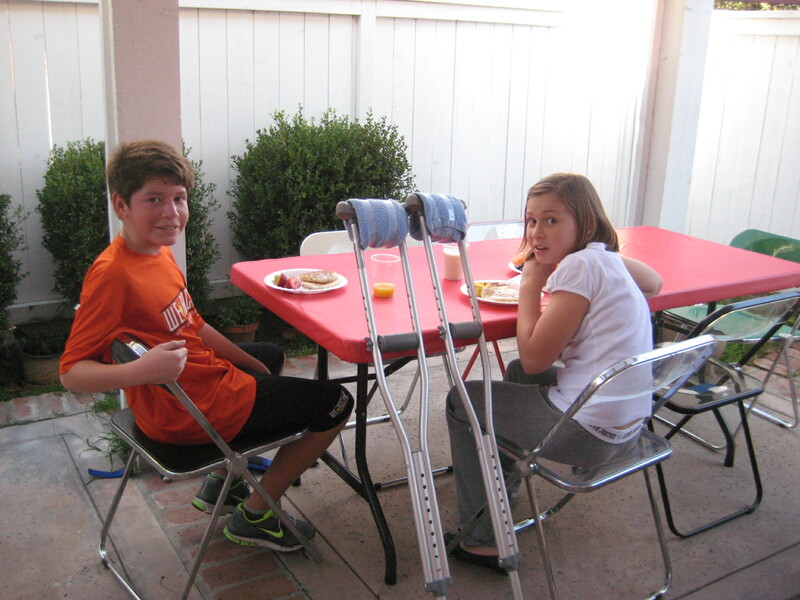 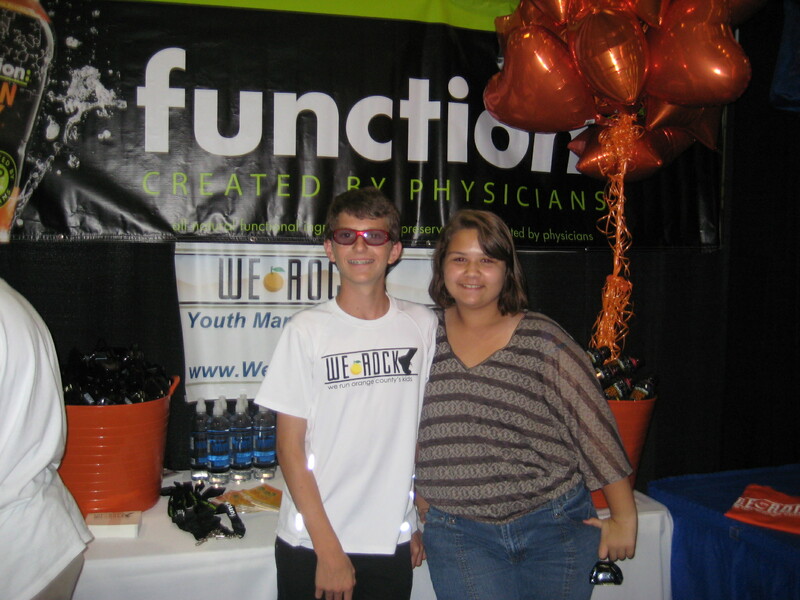 Congrats to our two winners……Allyson and Andrew!! 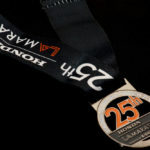 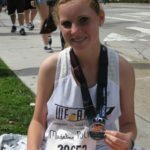 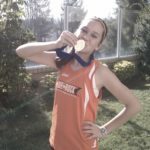 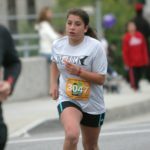 26.2 miles can be yours! 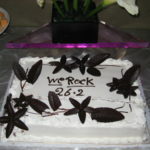 Keep it up We ROCKers!! Fun flat race with a lot of Holiday spirit! 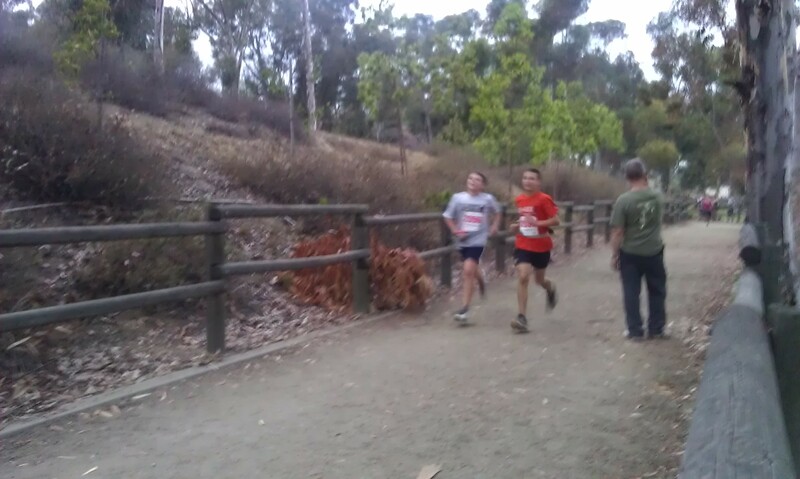 First 10K of the season! 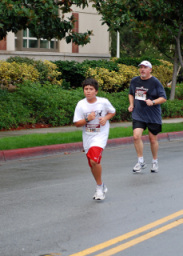 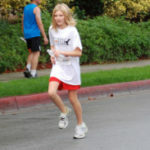 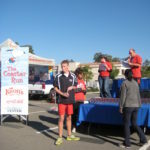 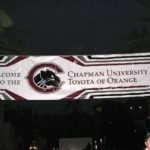 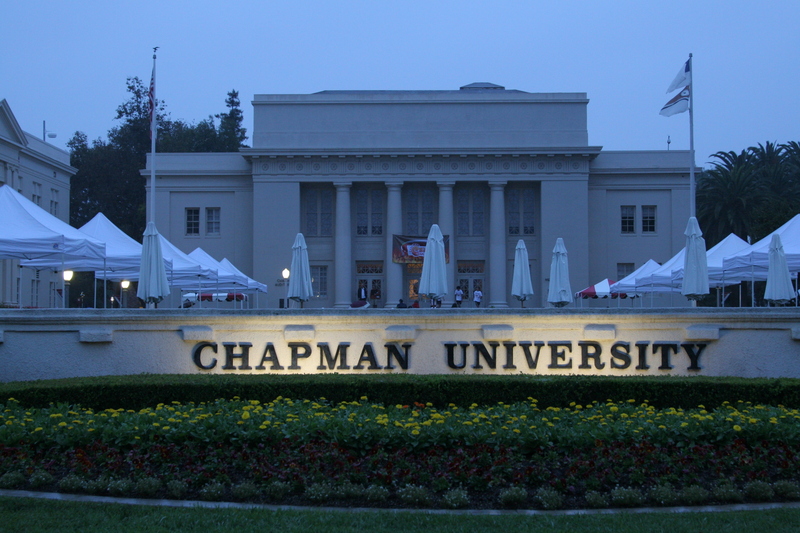 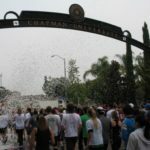 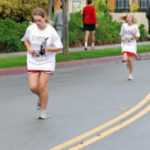 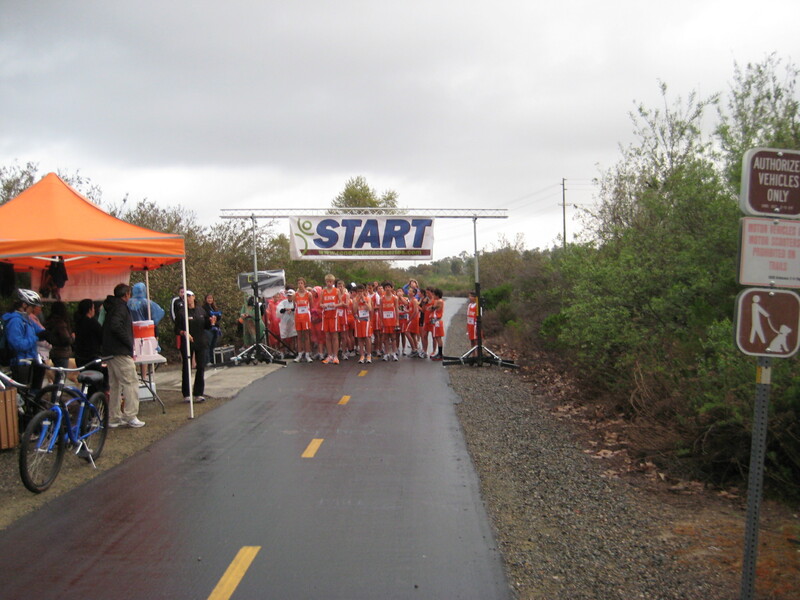 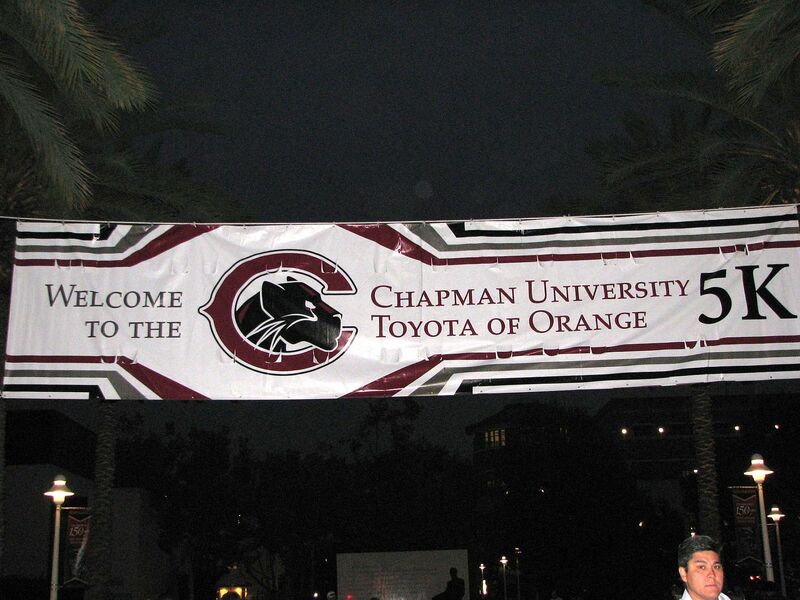 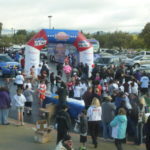 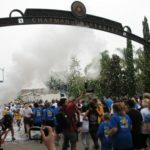 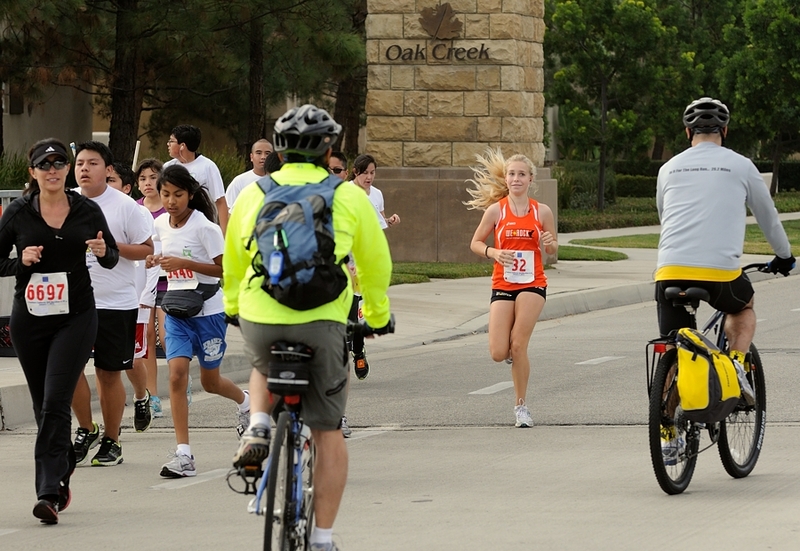 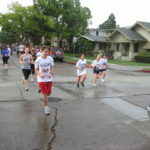 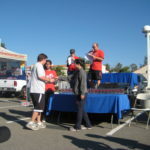 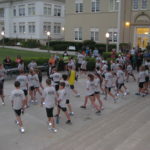 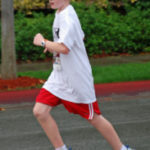 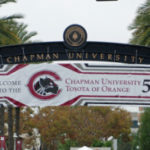 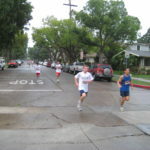 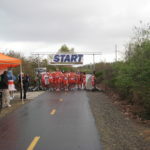 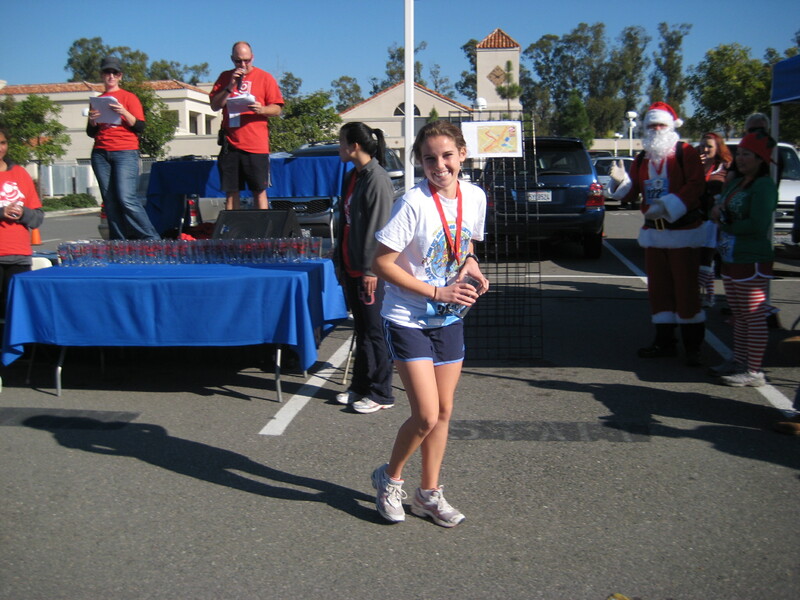 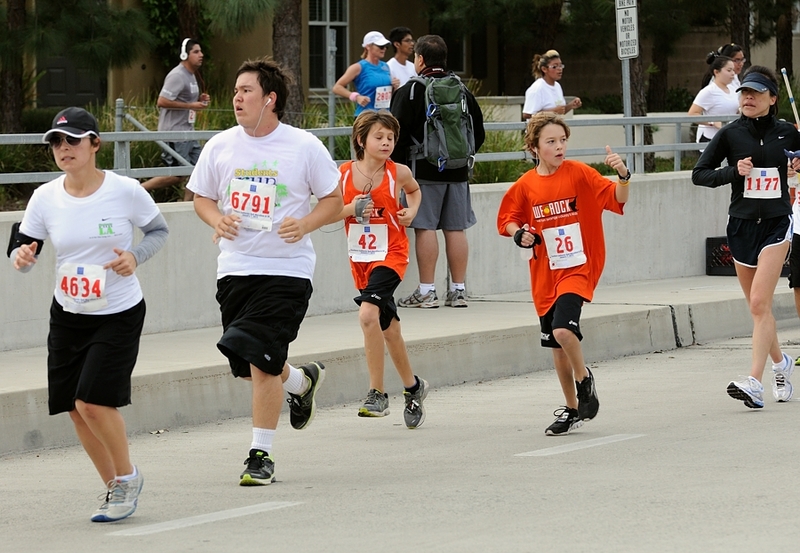 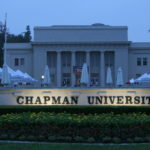 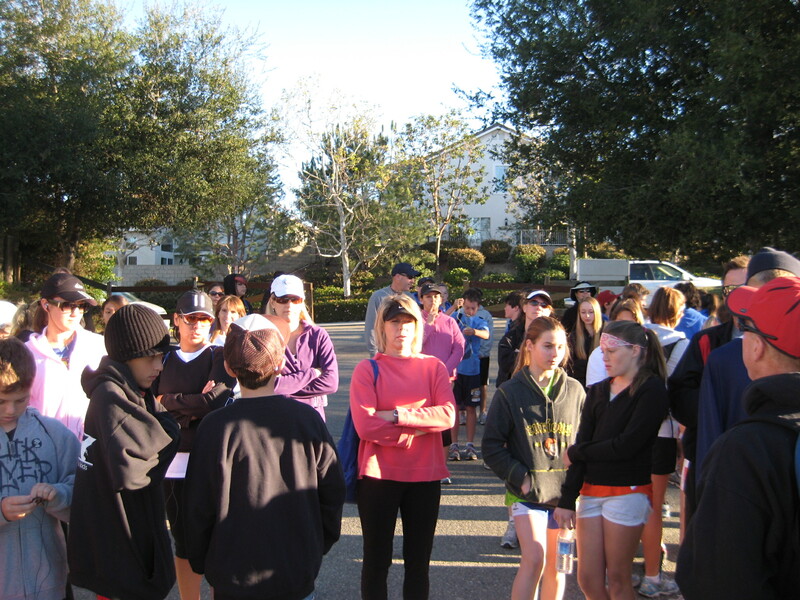 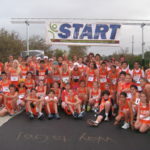 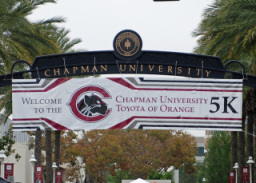 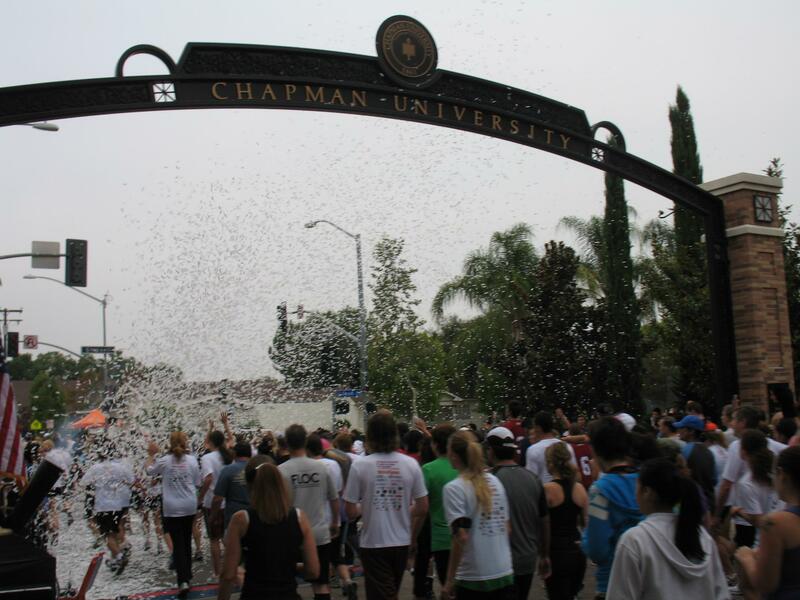 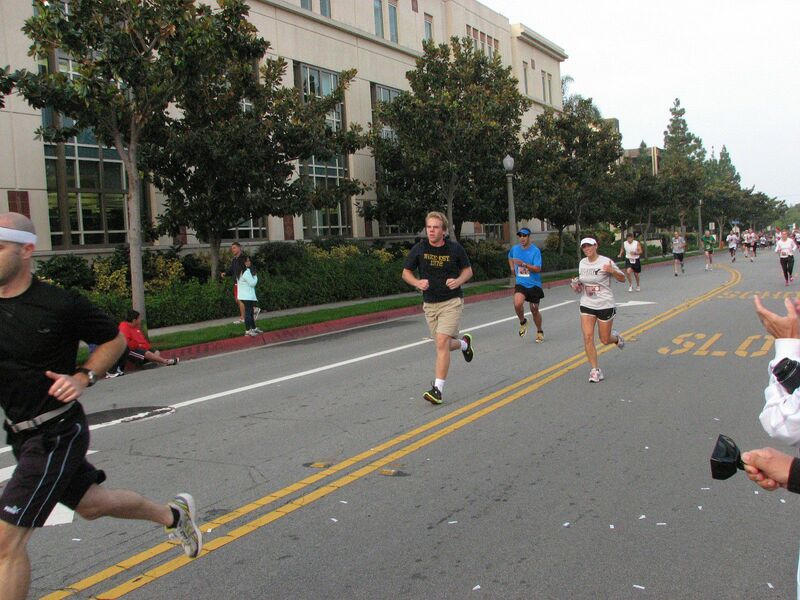 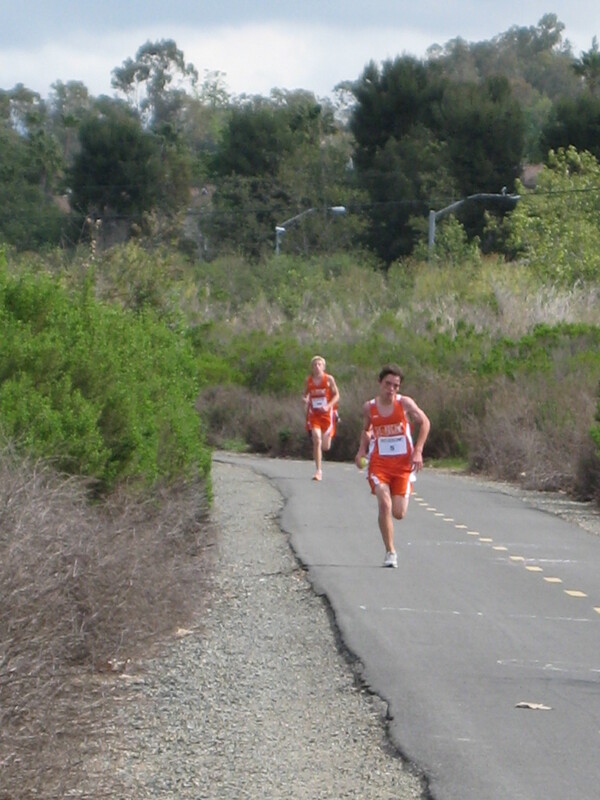 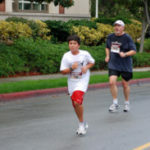 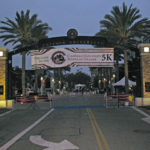 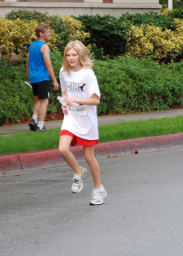 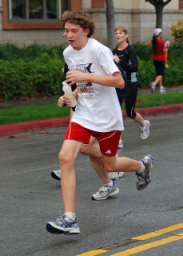 Chapman is known as the “Flattest, Fastest, and Funnest 5K”. 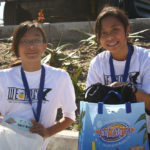 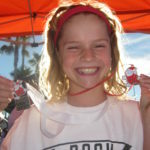 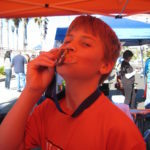 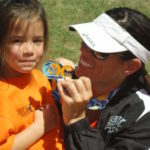 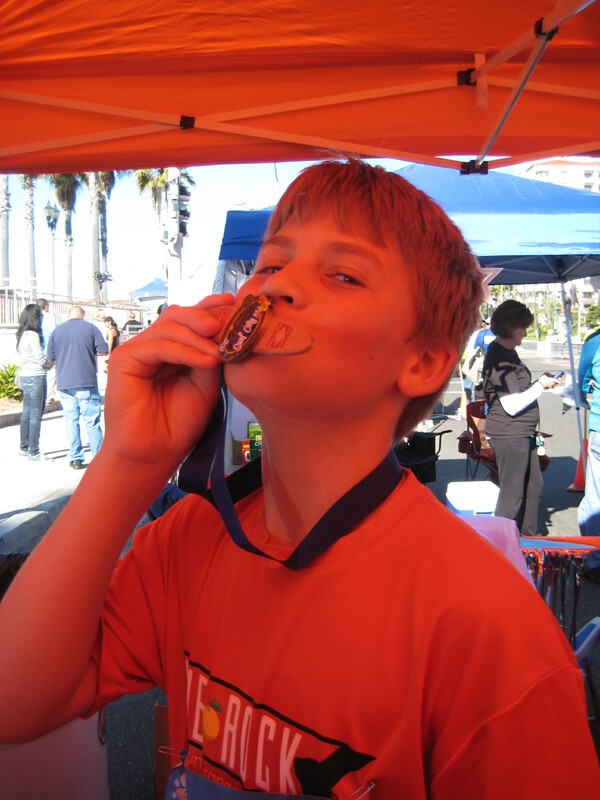 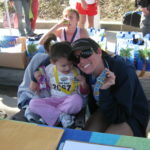 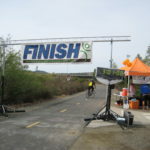 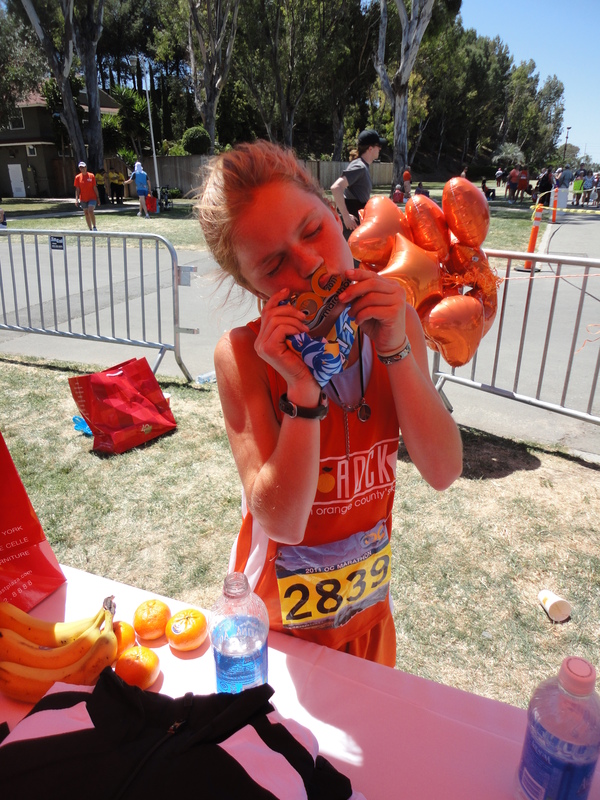 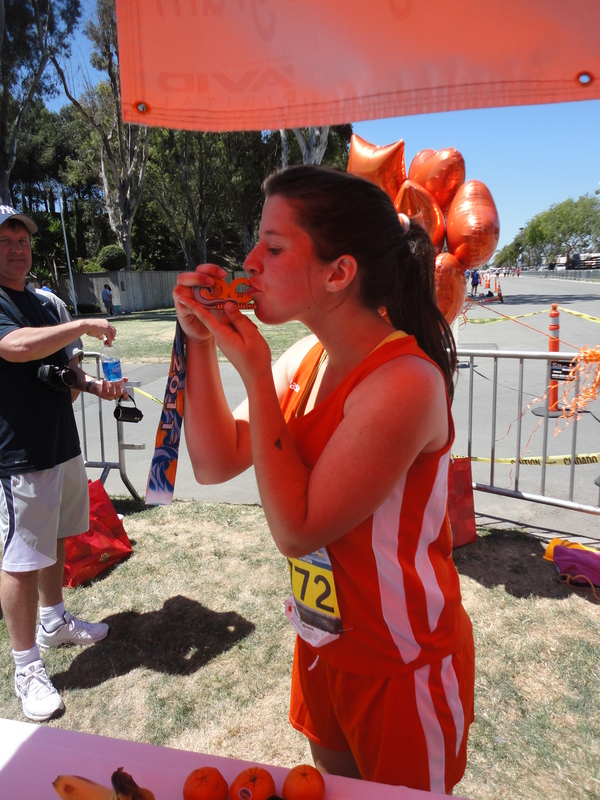 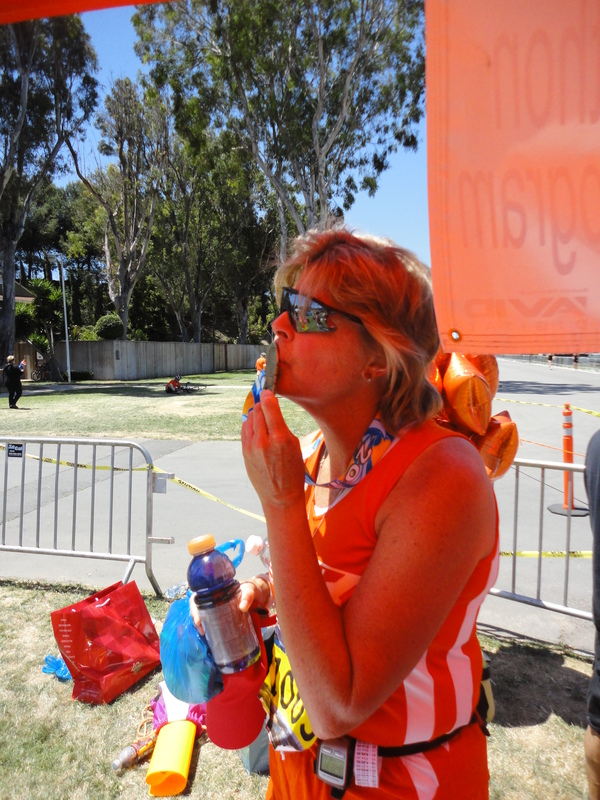 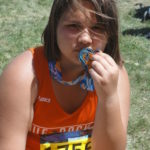 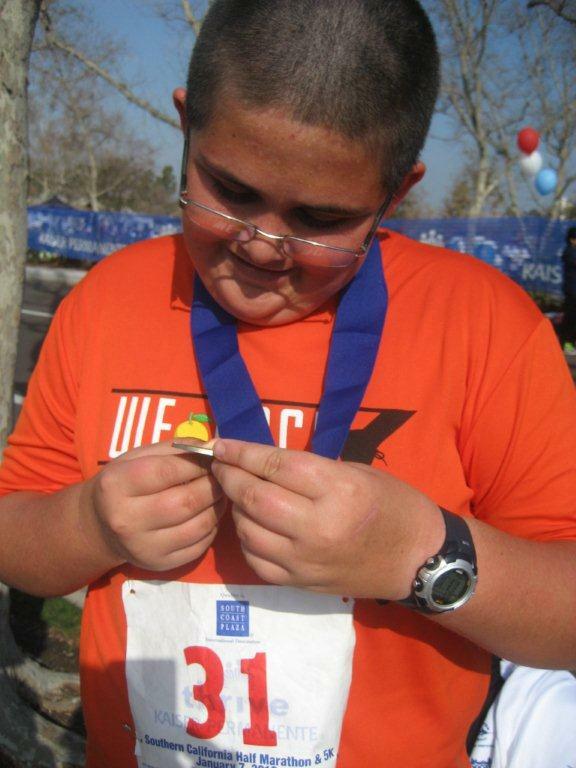 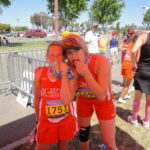 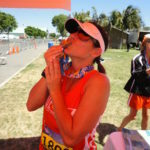 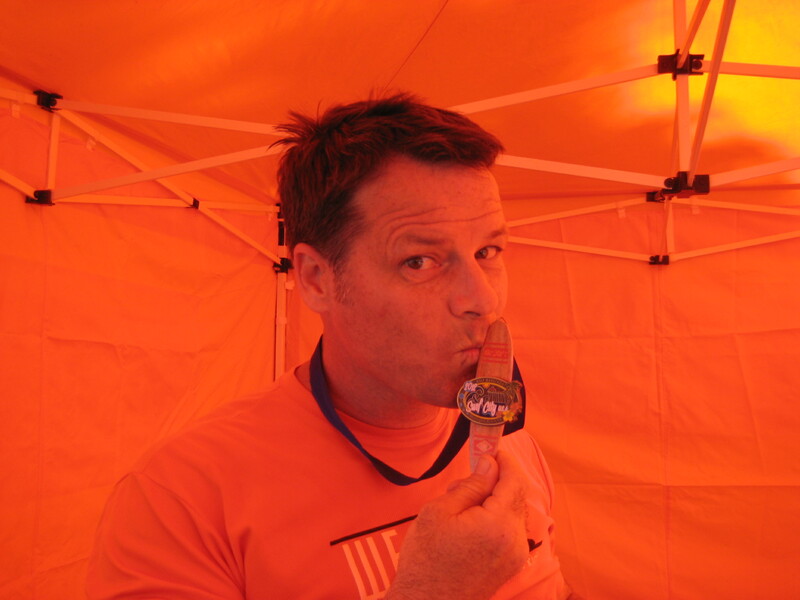 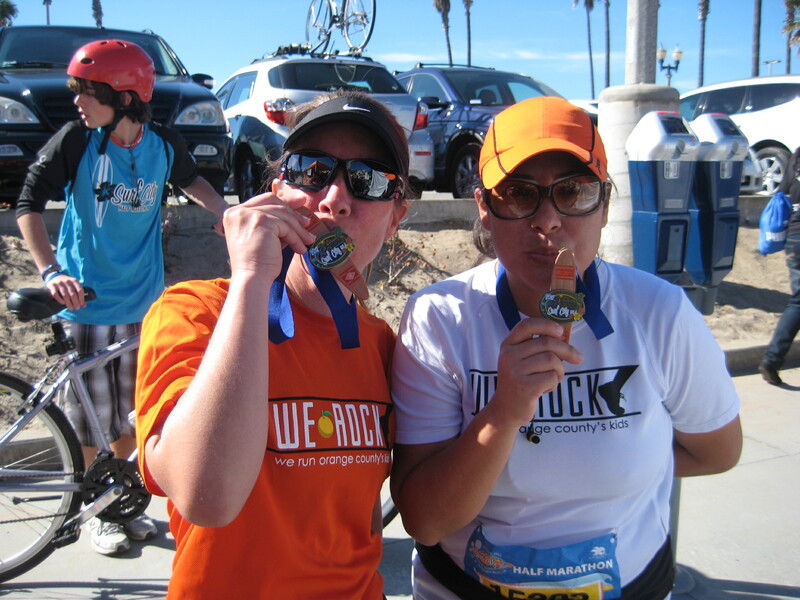 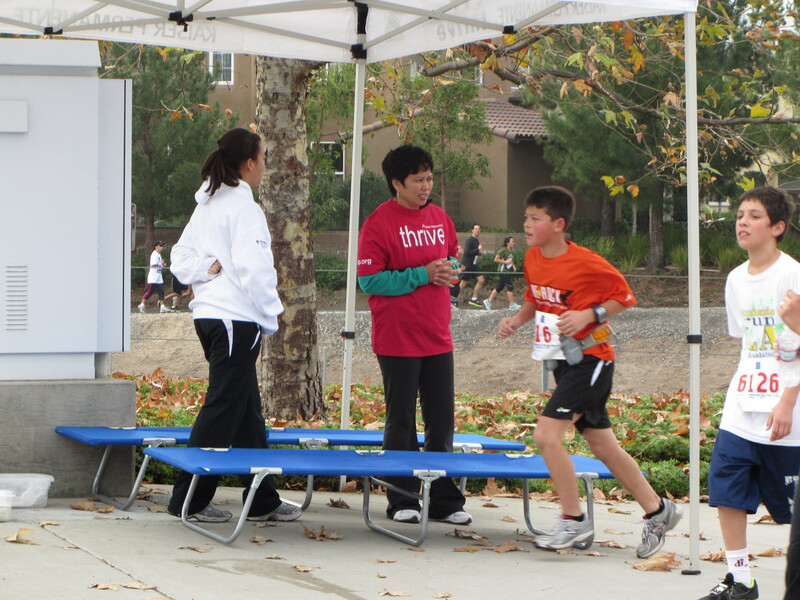 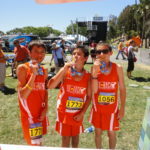 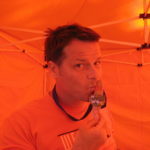 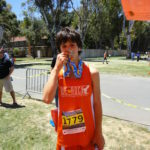 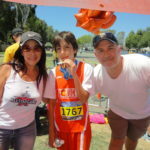 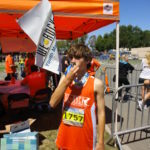 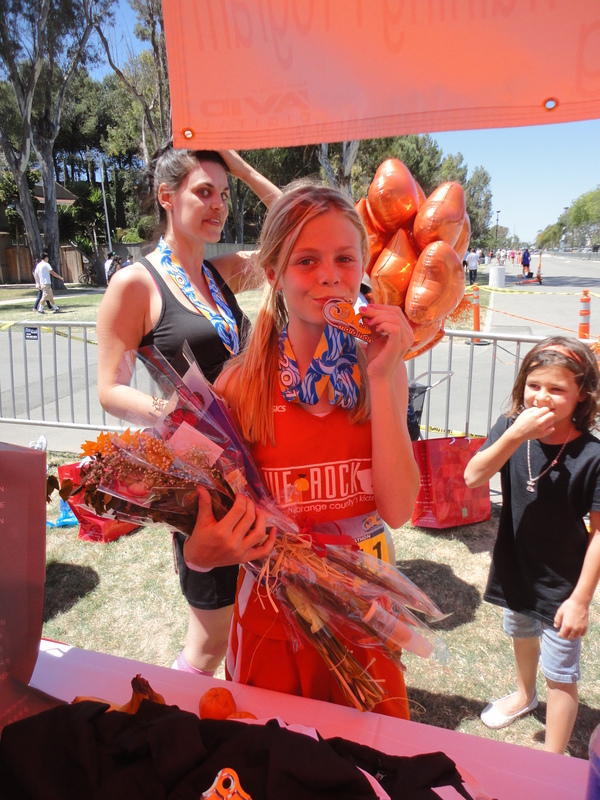 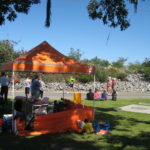 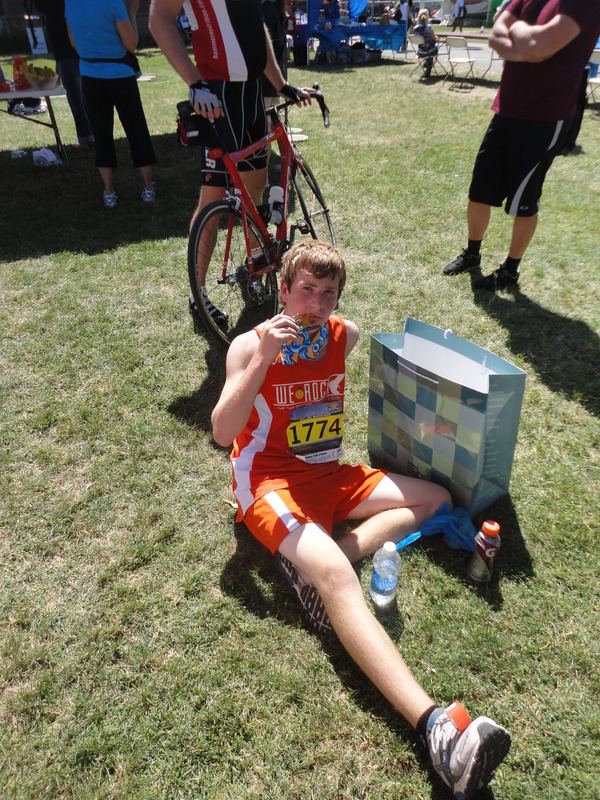 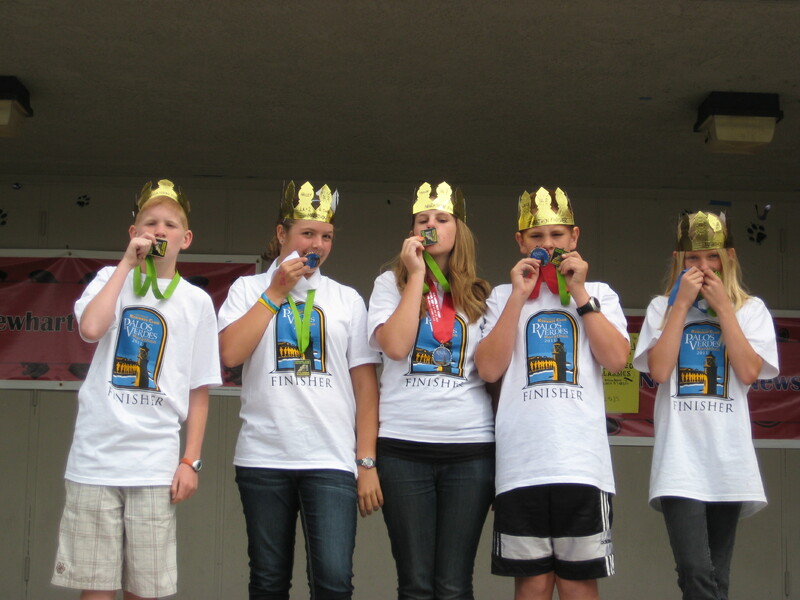 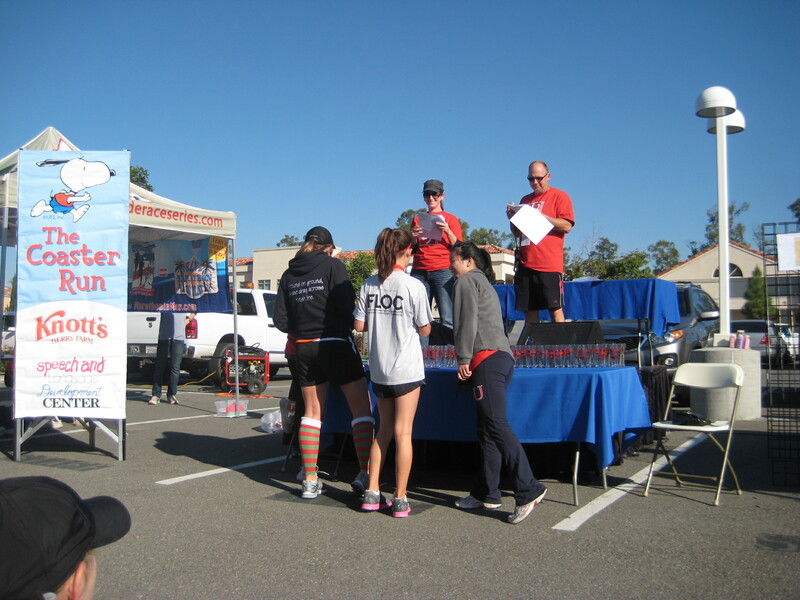 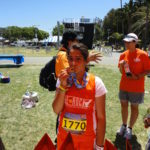 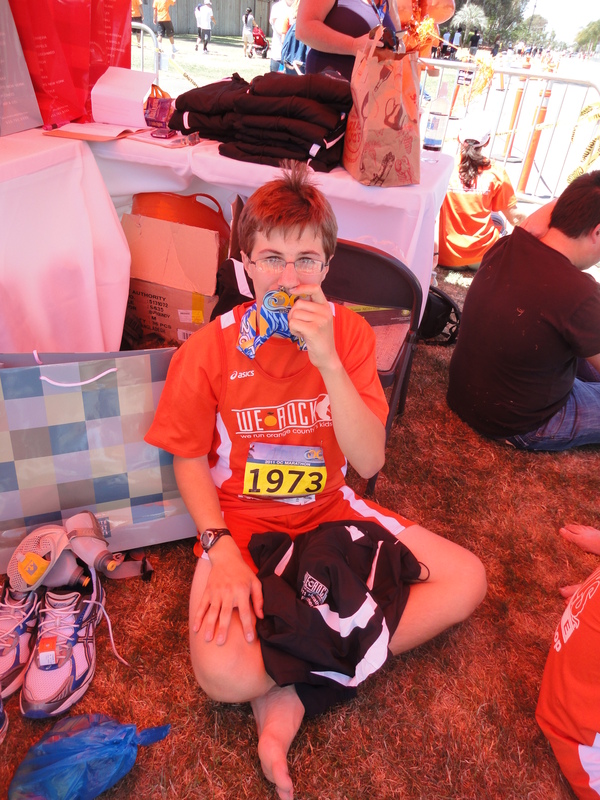 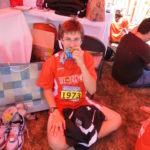 We love it for those reasons AND because we receive a Tech Shirt, reusable goodie bag, and sweet medal at the finish. 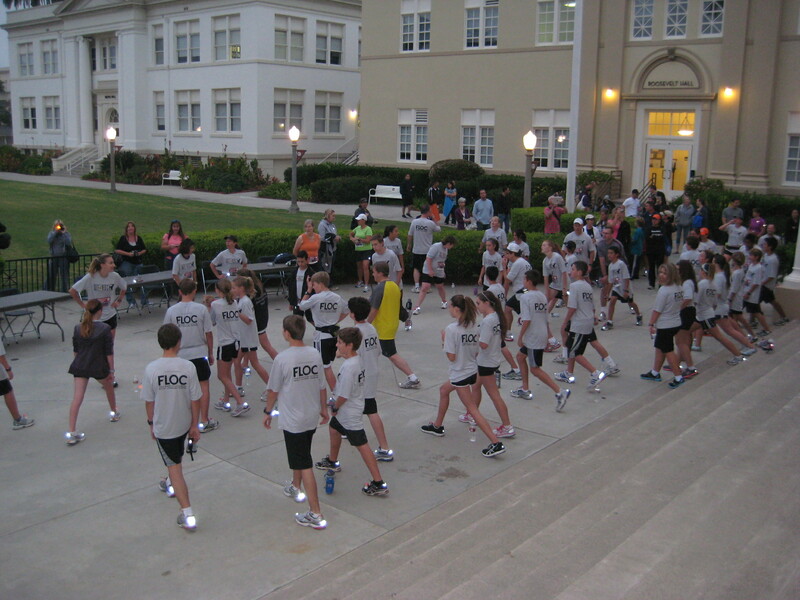 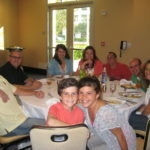 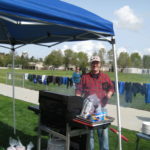 It was the perfect kick off event for the 10-11 season. 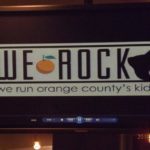 Jonathon Prince visits We ROCK! 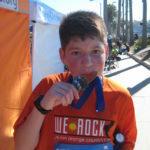 Jonathon Prince came to visit We ROCK after his 3rd cross country journey – ON FOOT! 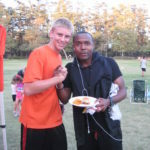 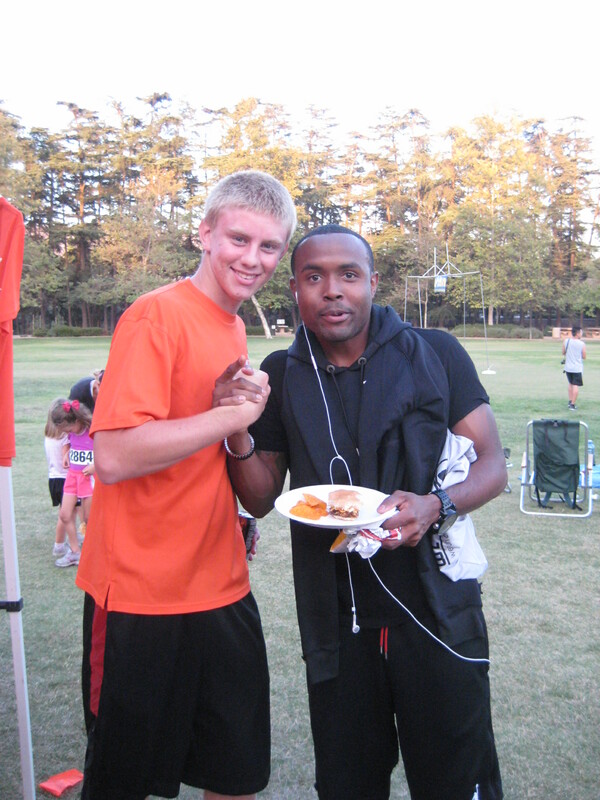 It was great to hear his story first hand. 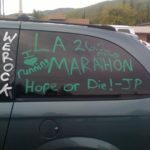 Thank you JP! 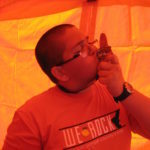 YOU ROCK!! 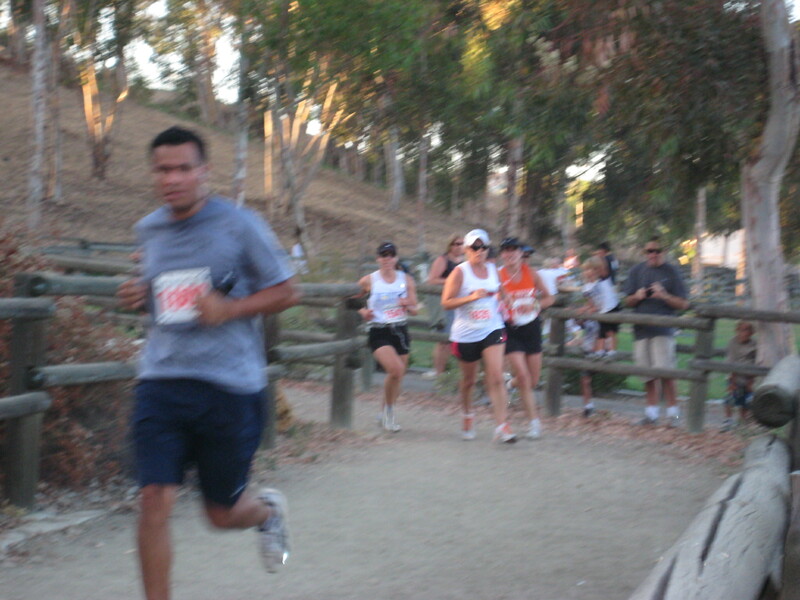 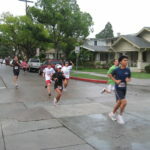 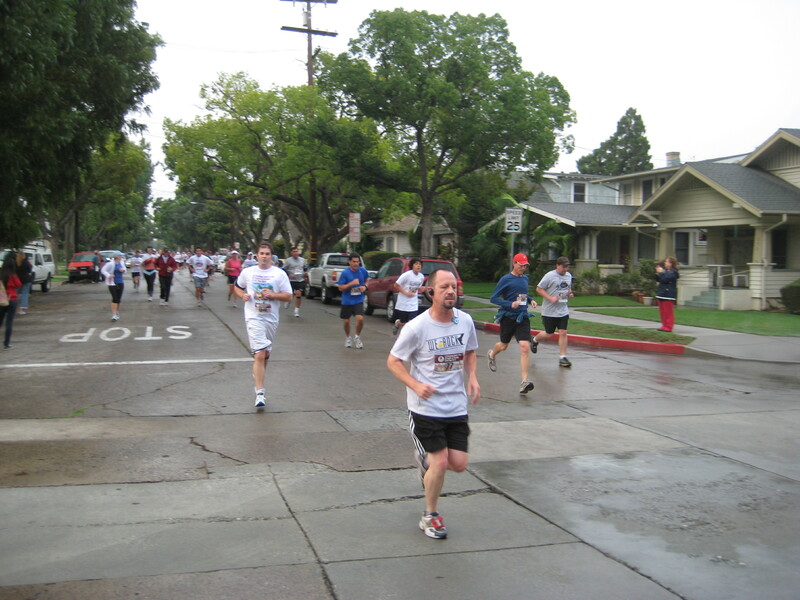 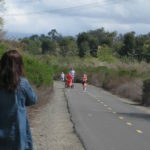 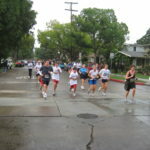 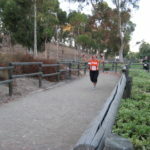 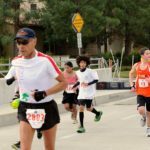 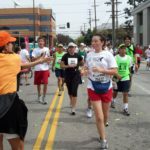 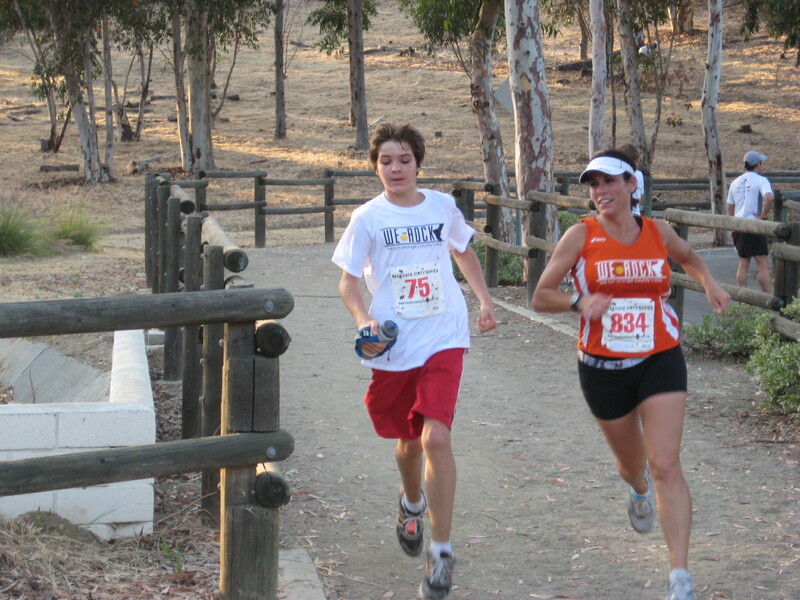 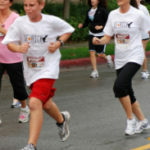 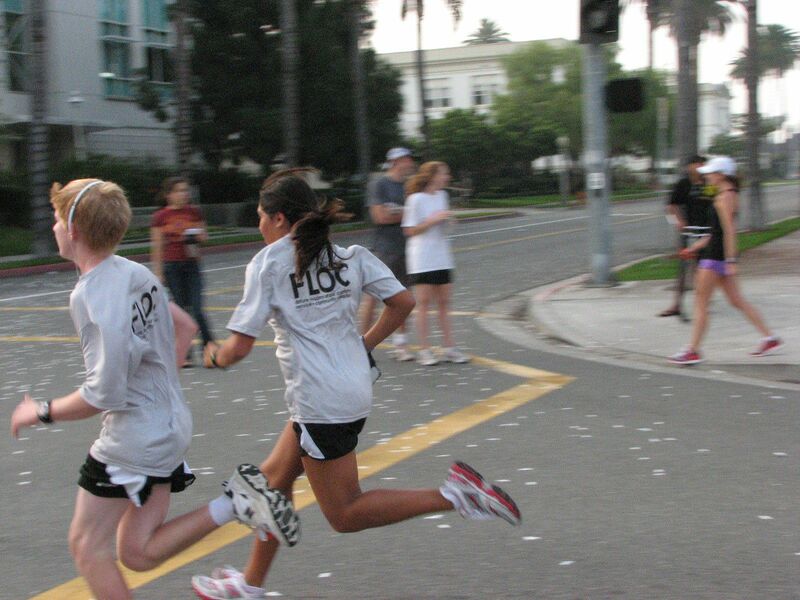 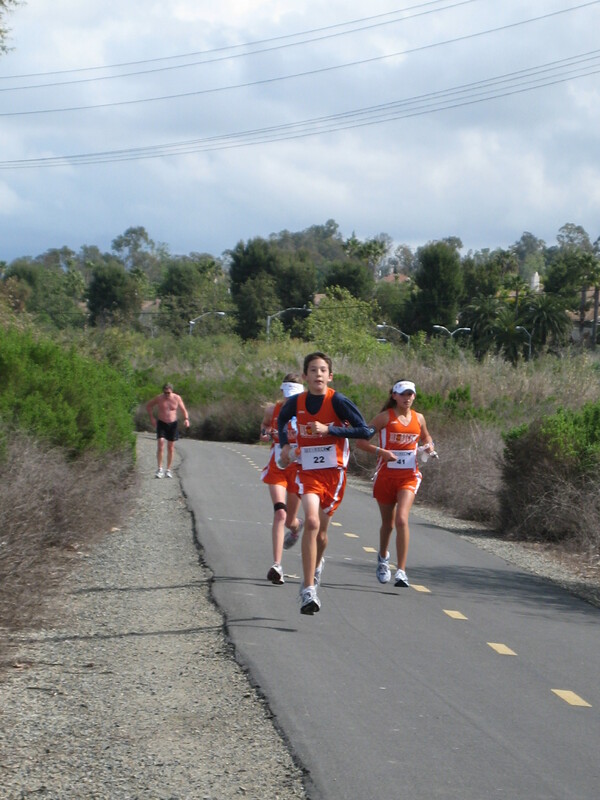 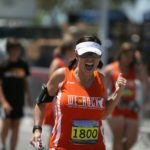 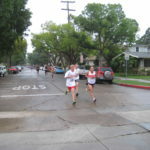 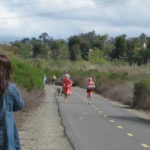 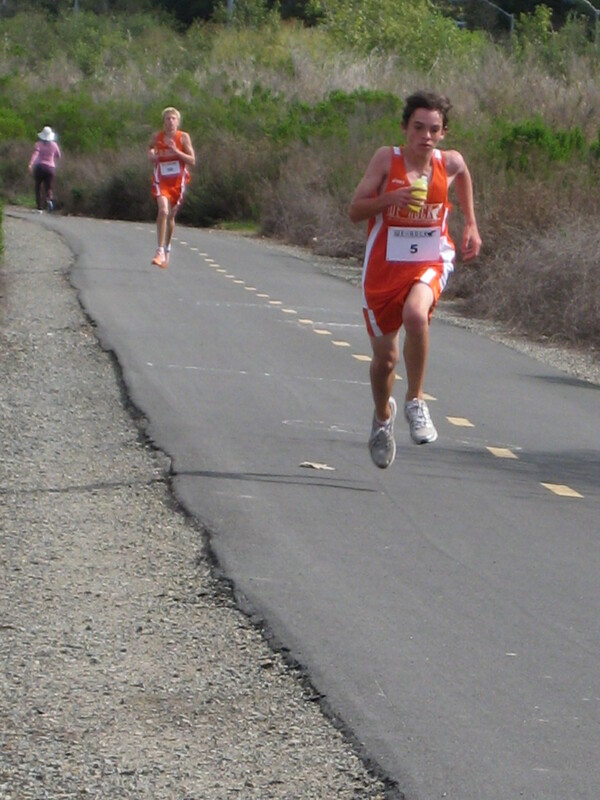 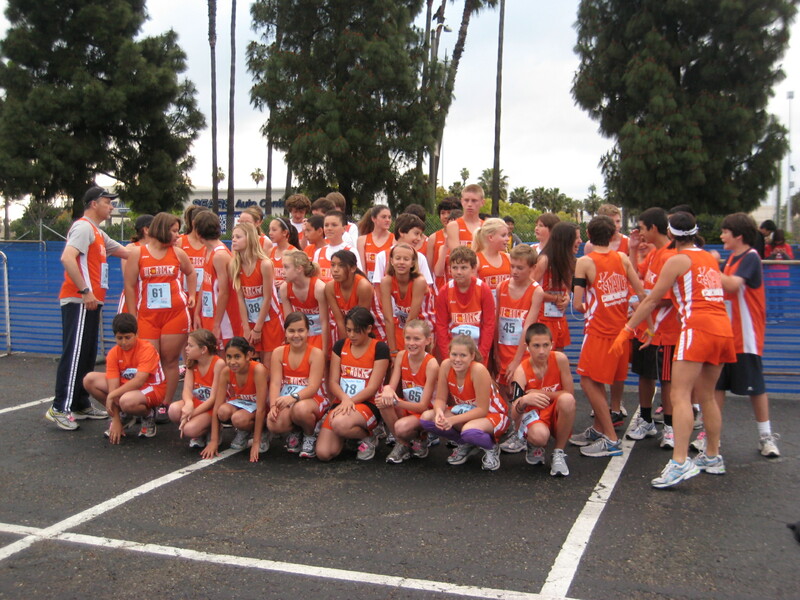 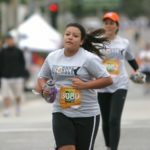 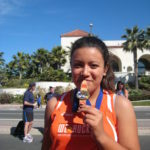 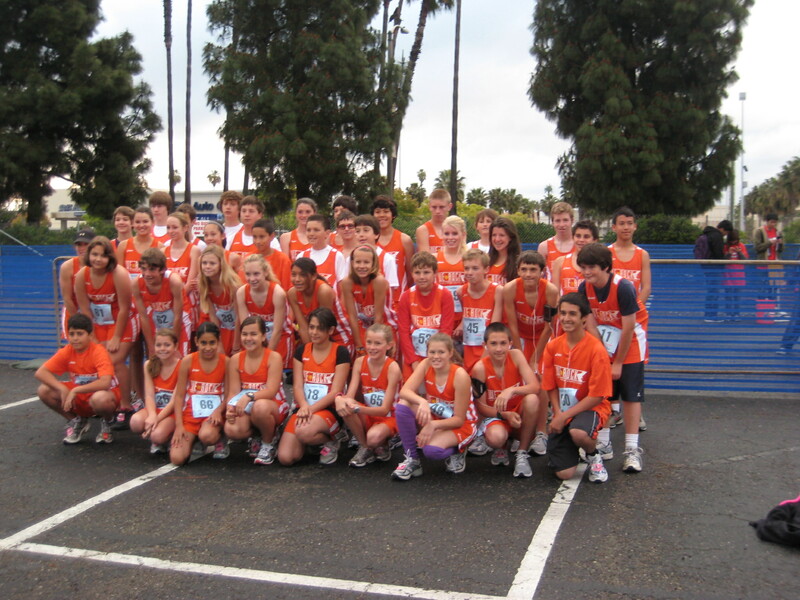 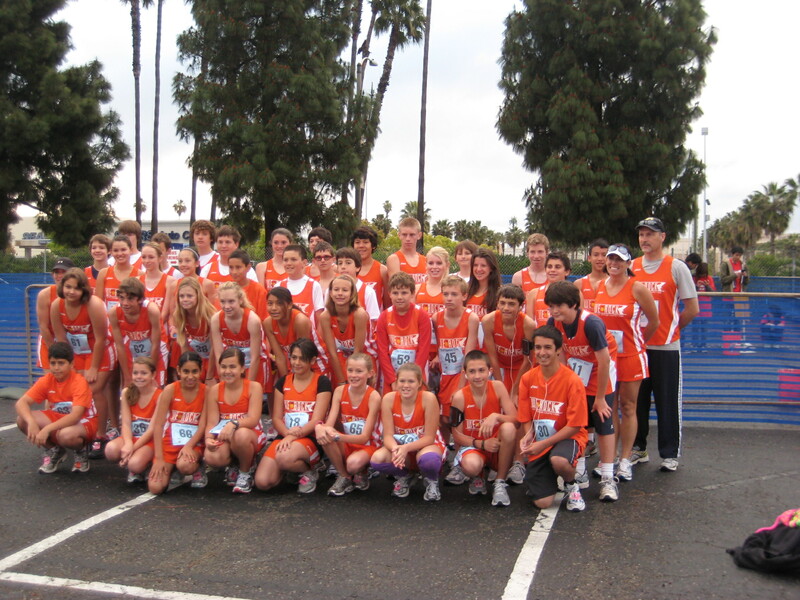 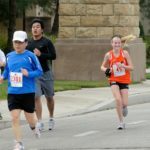 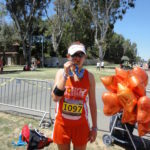 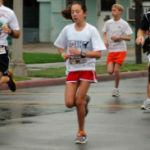 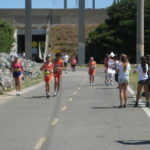 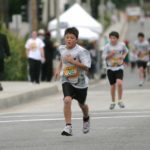 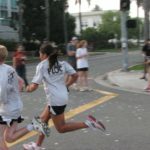 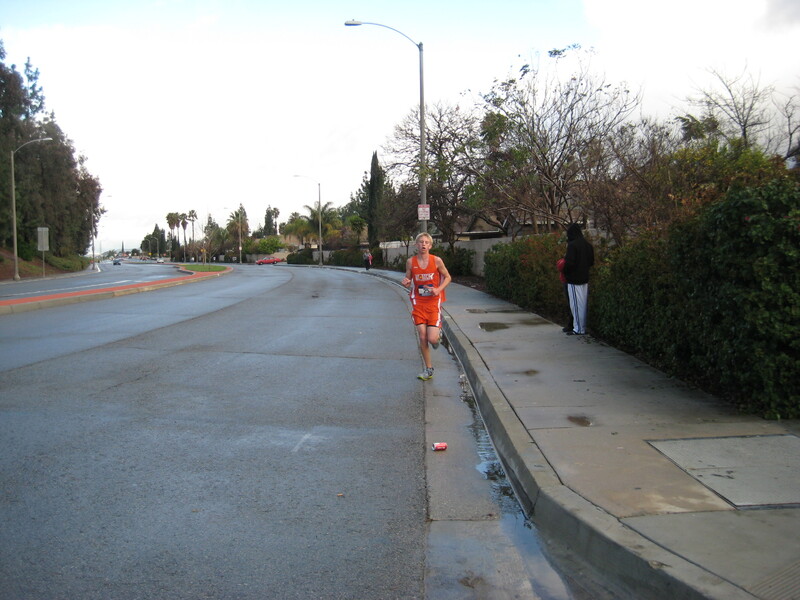 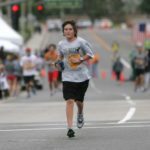 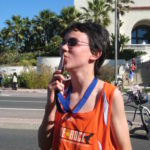 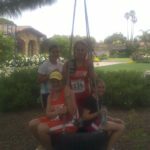 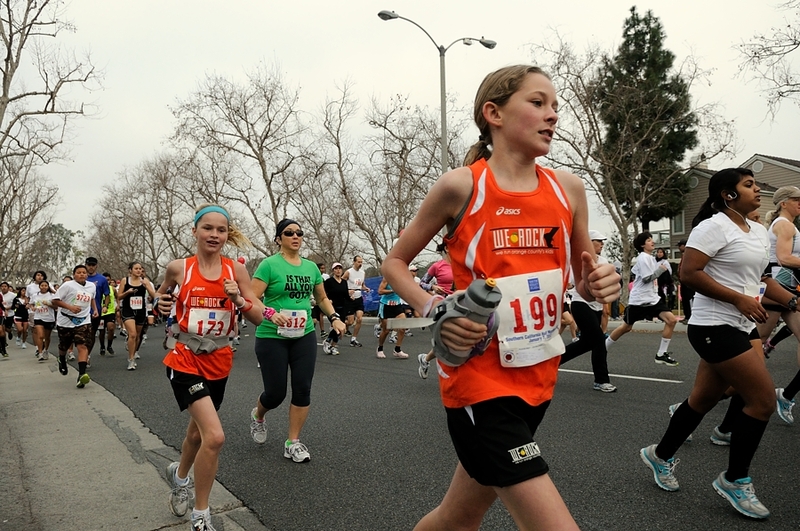 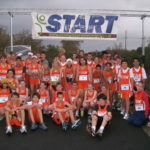 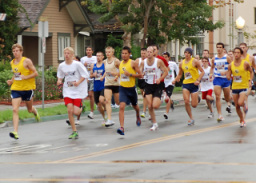 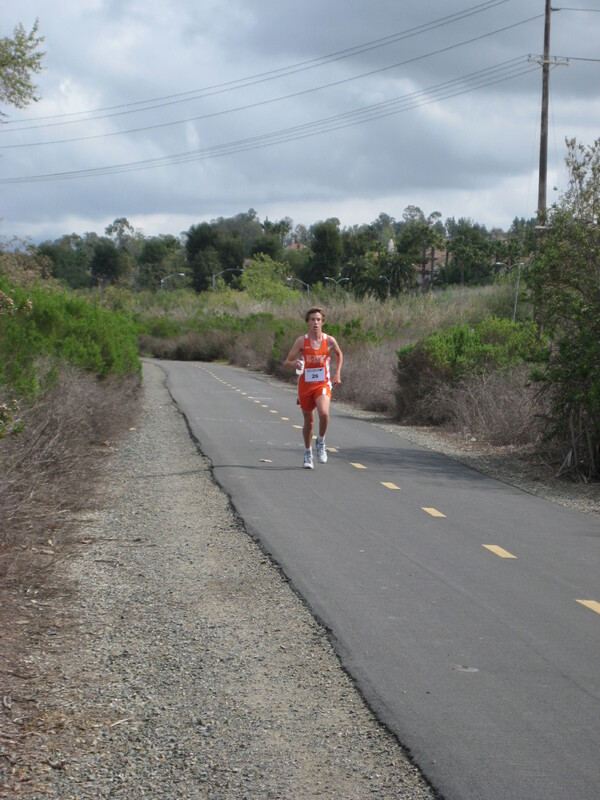 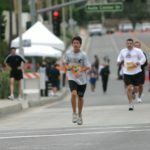 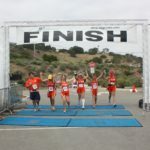 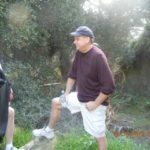 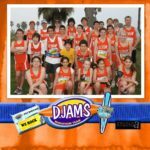 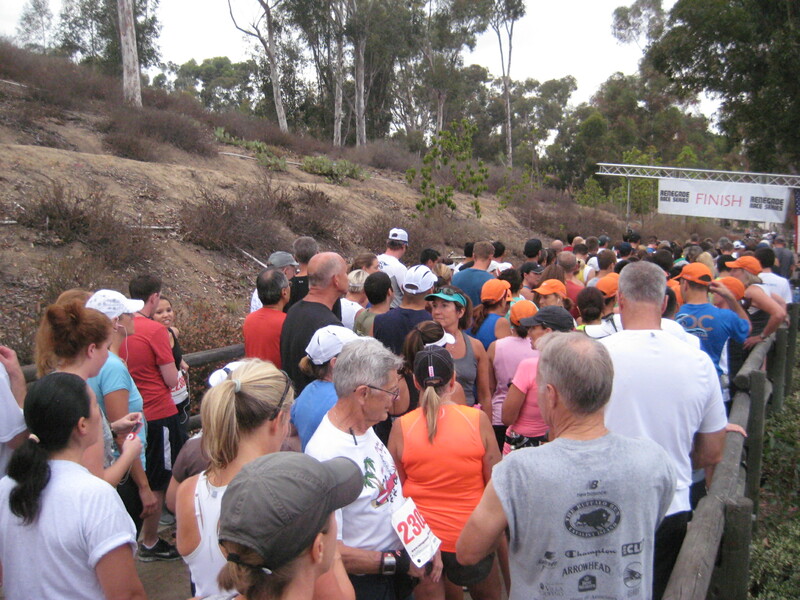 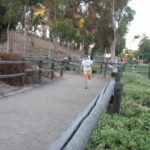 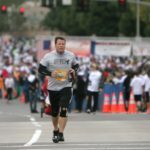 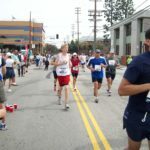 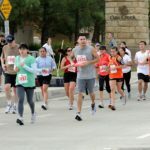 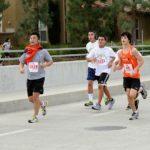 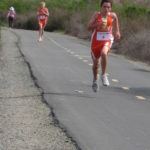 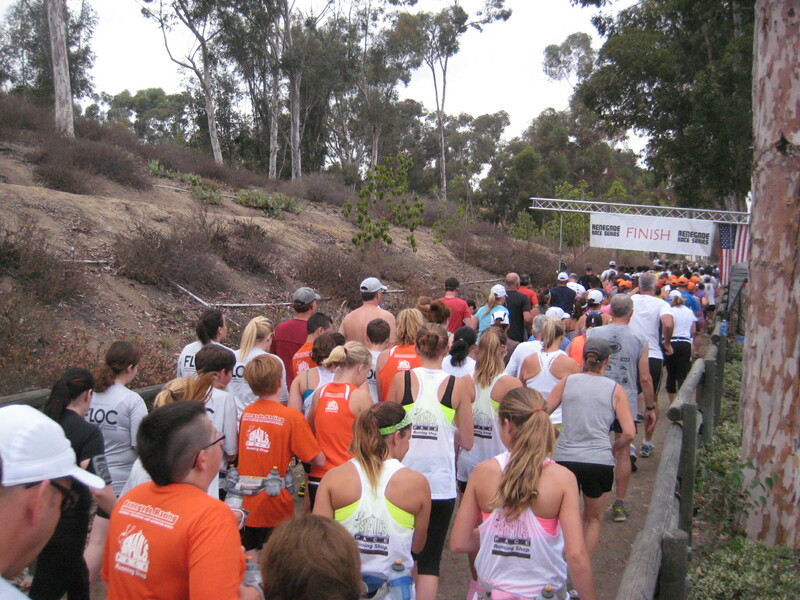 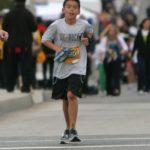 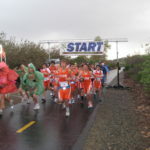 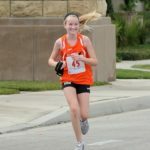 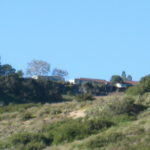 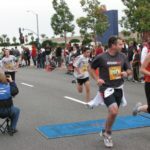 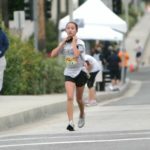 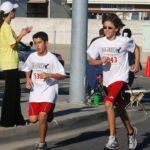 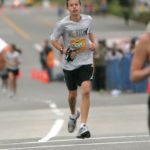 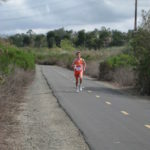 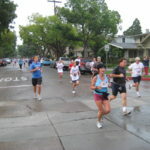 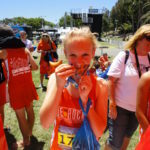 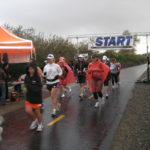 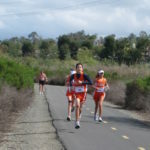 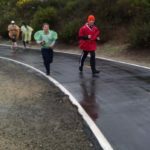 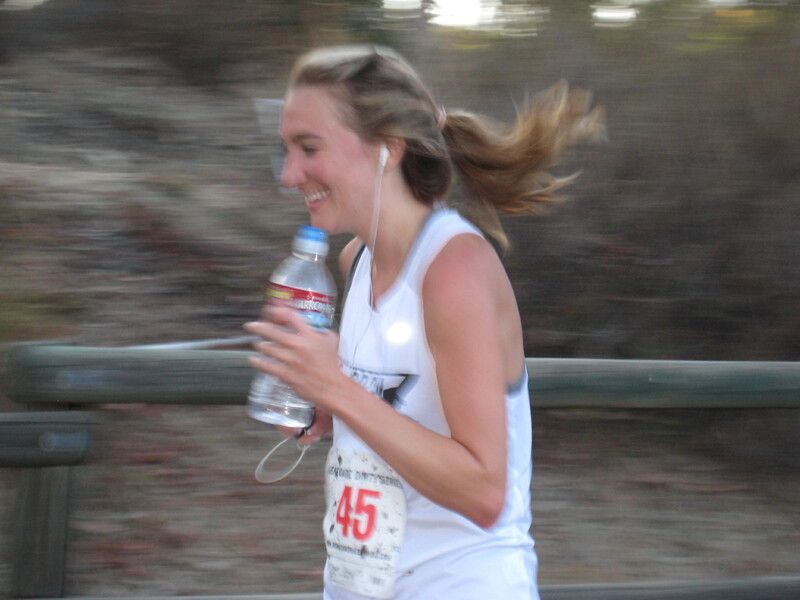 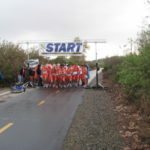 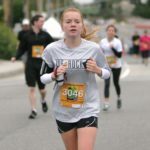 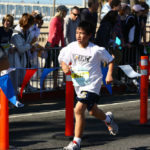 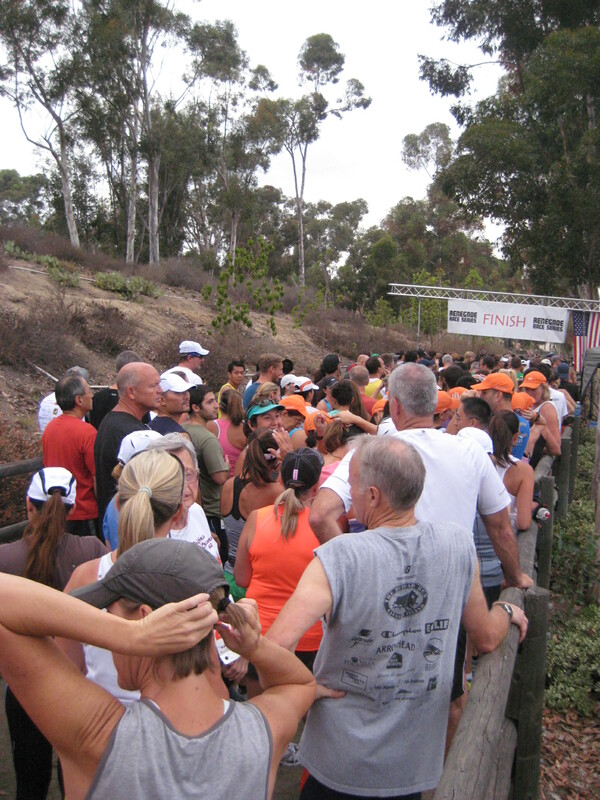 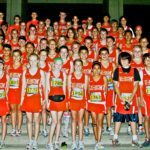 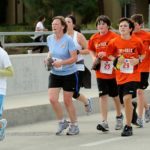 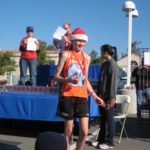 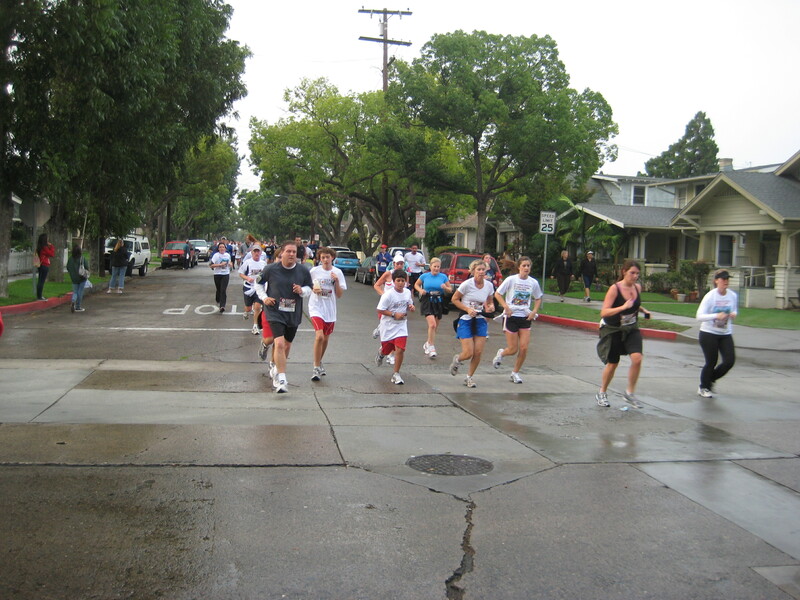 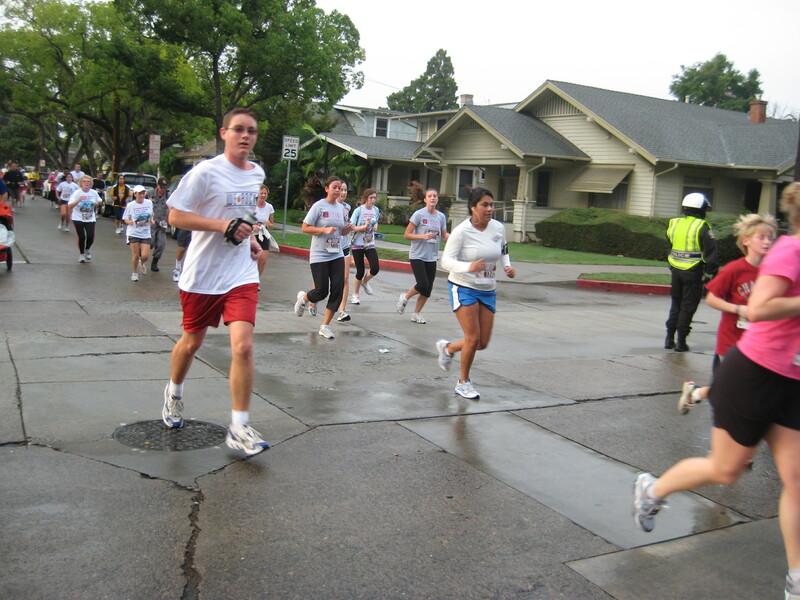 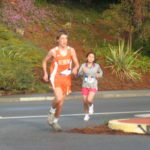 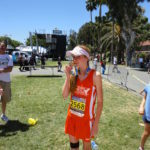 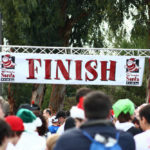 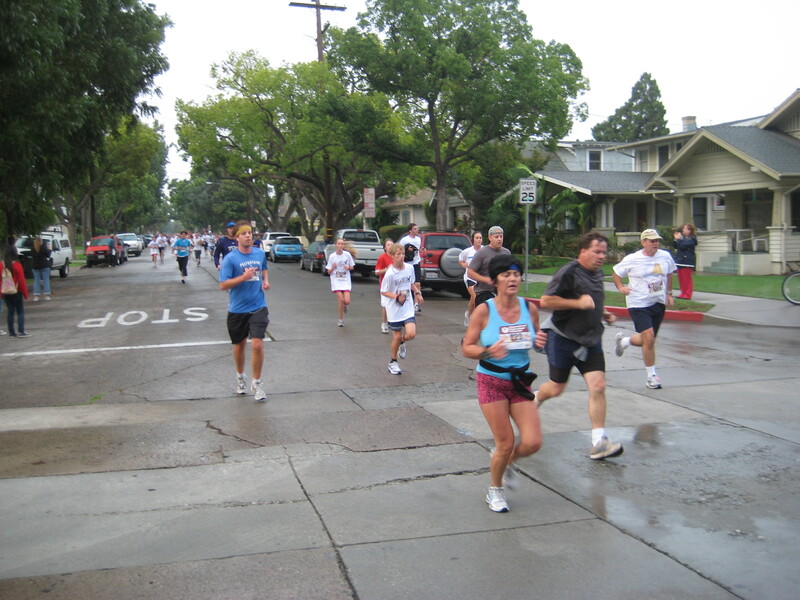 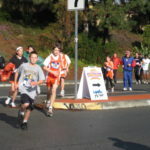 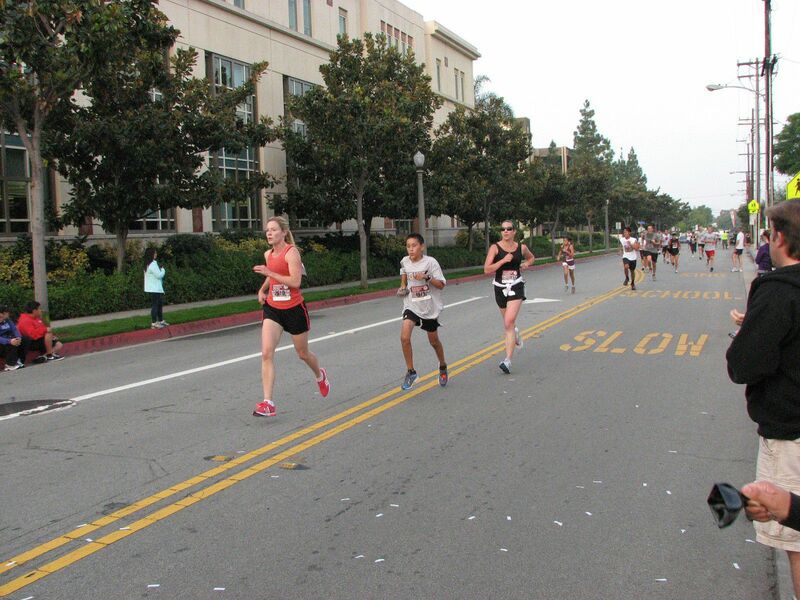 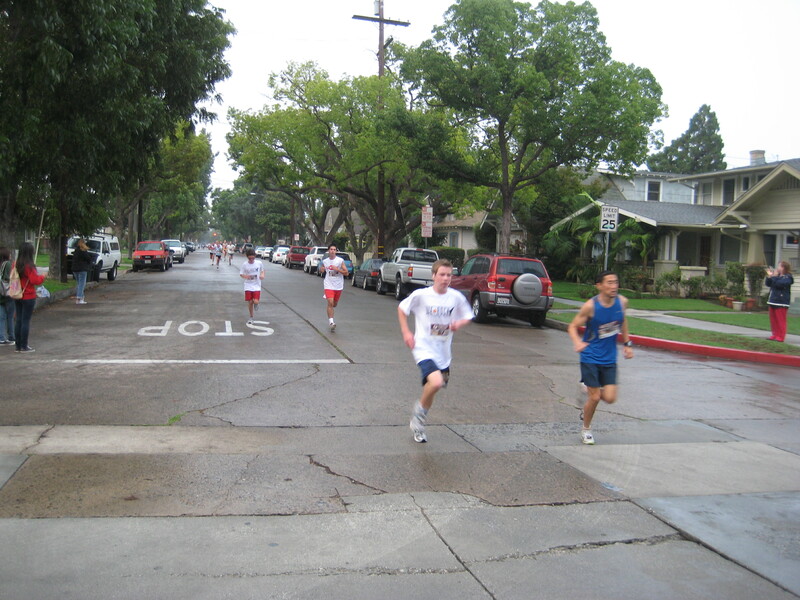 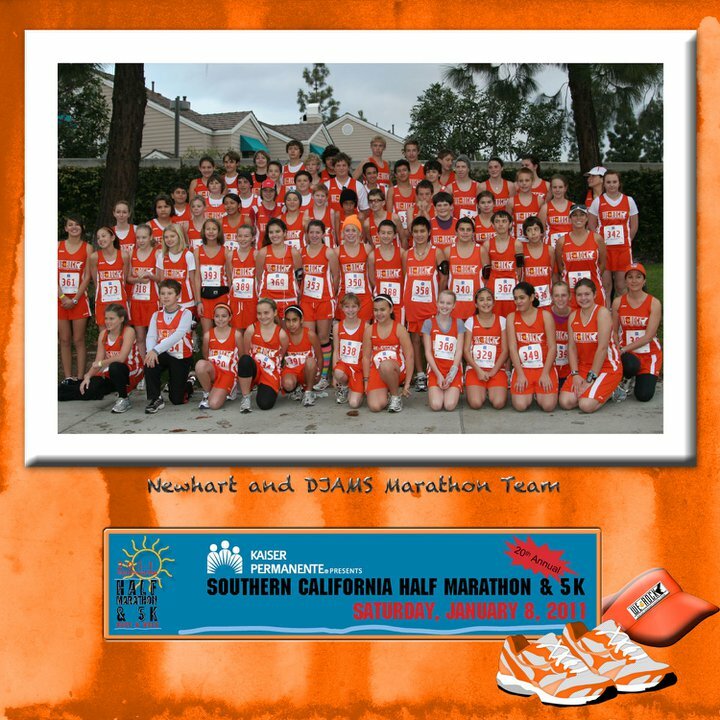 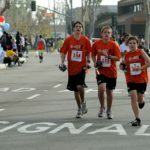 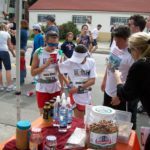 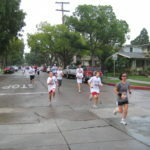 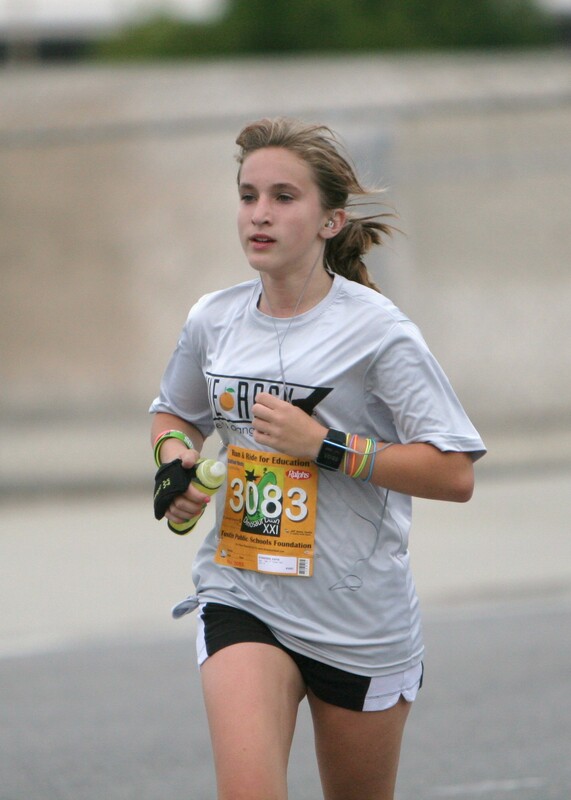 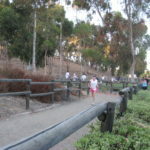 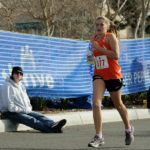 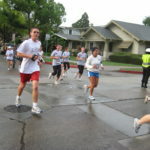 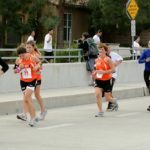 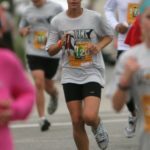 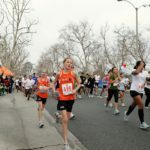 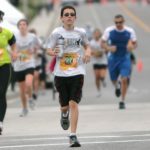 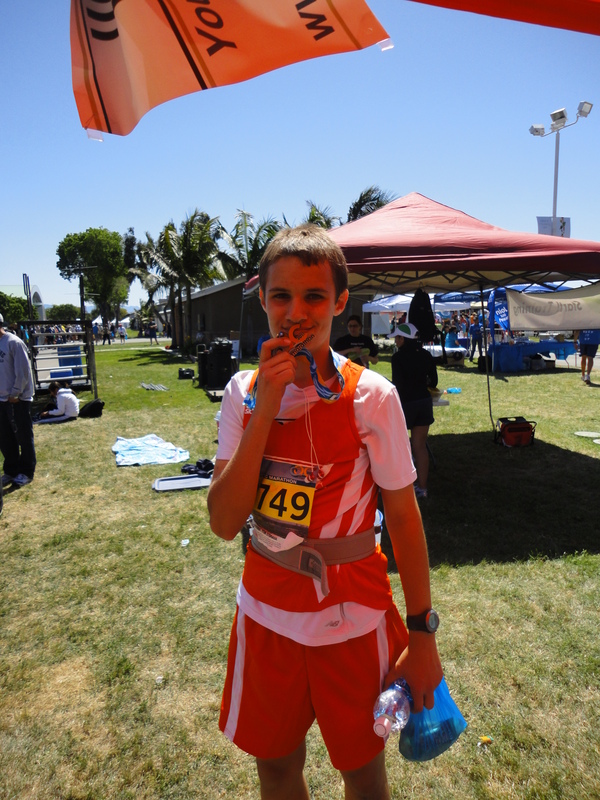 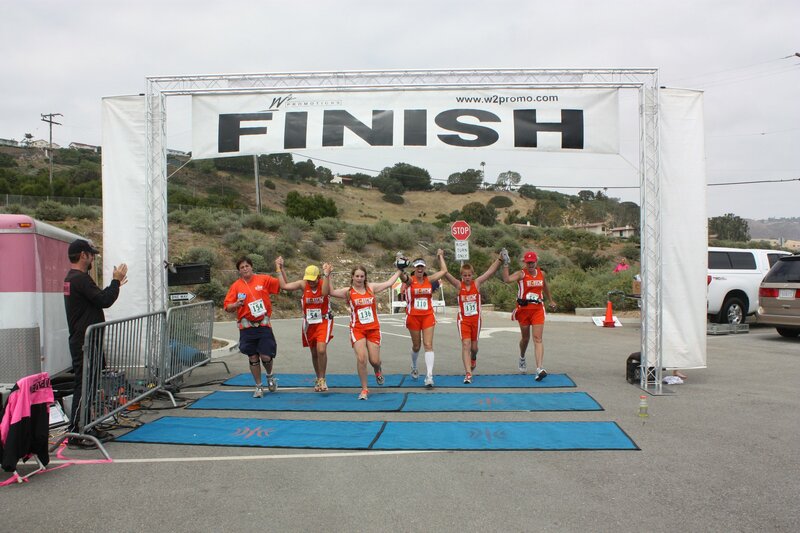 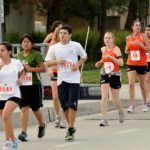 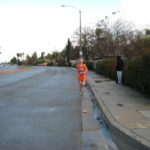 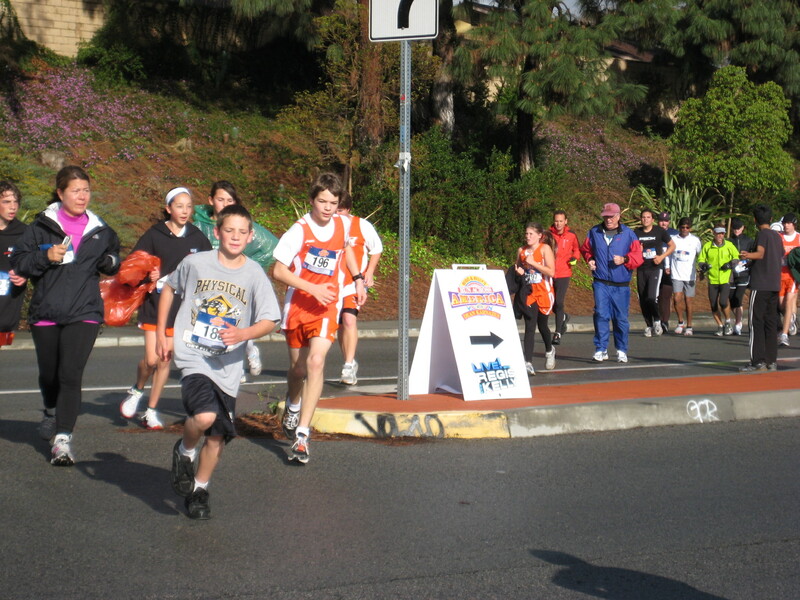 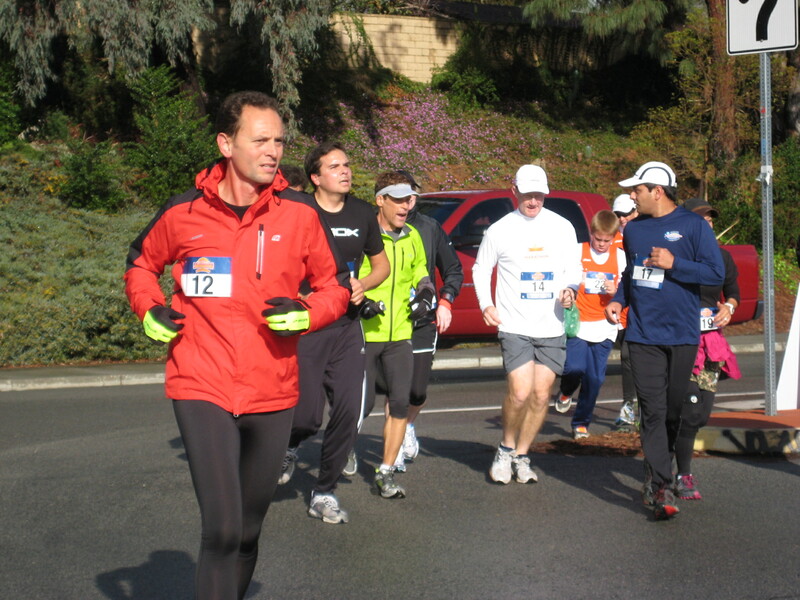 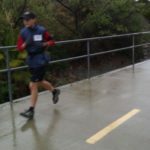 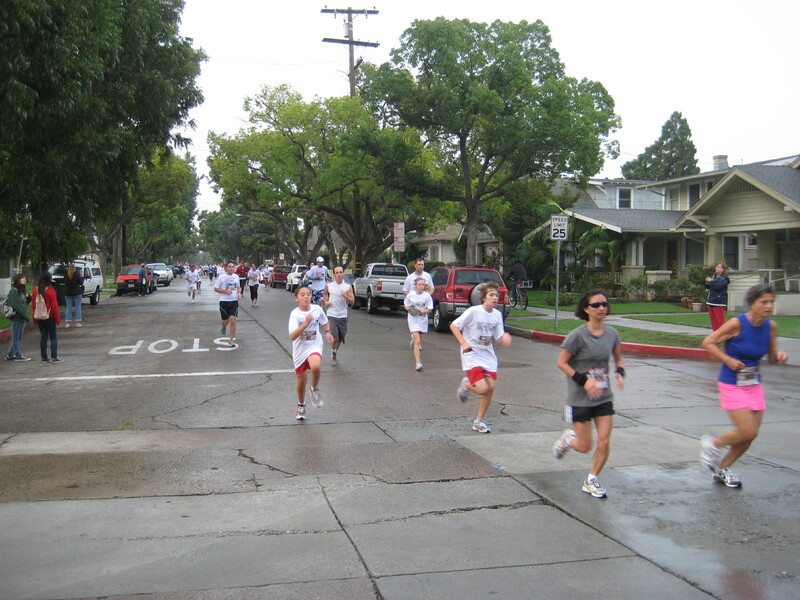 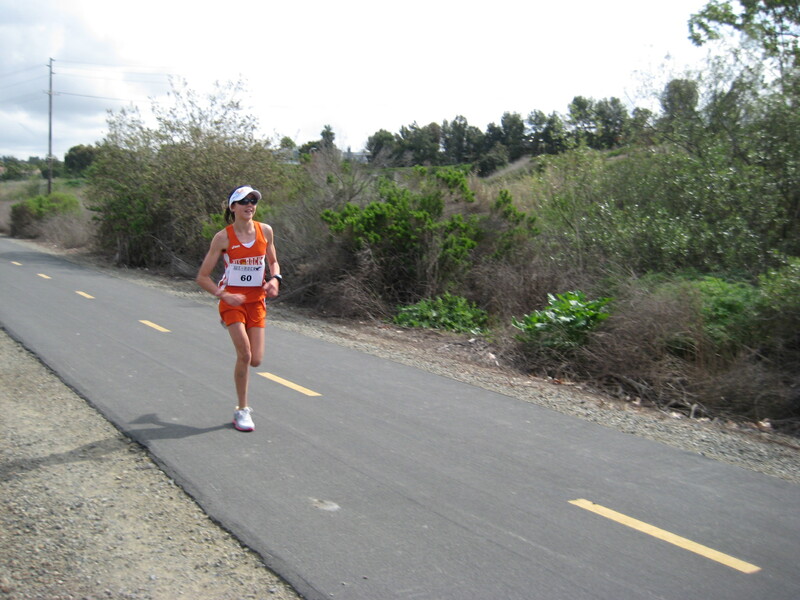 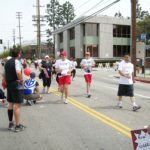 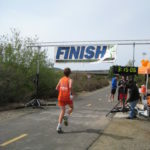 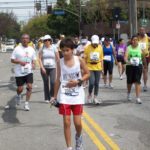 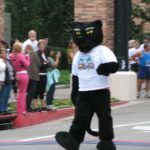 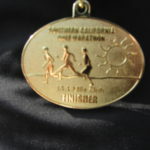 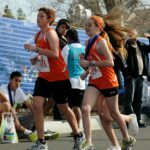 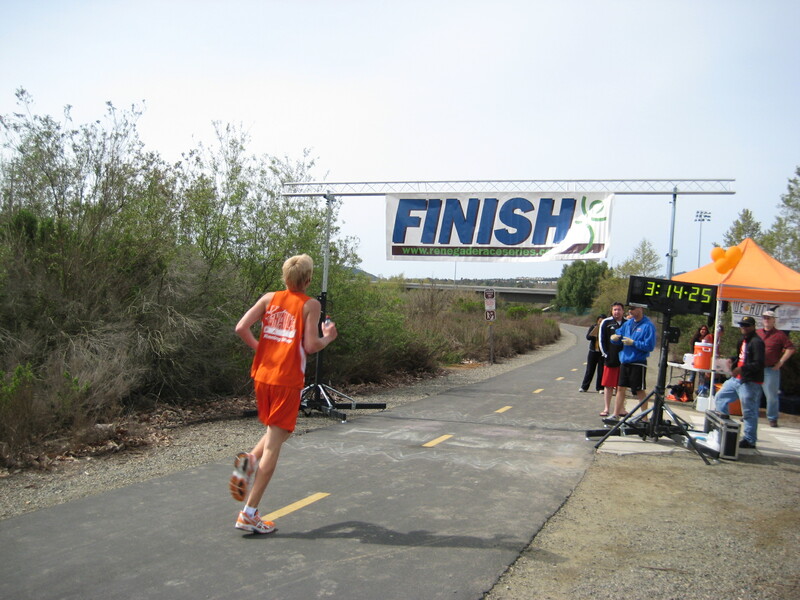 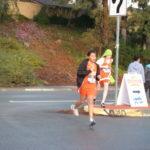 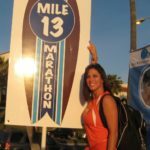 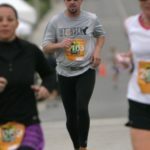 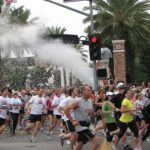 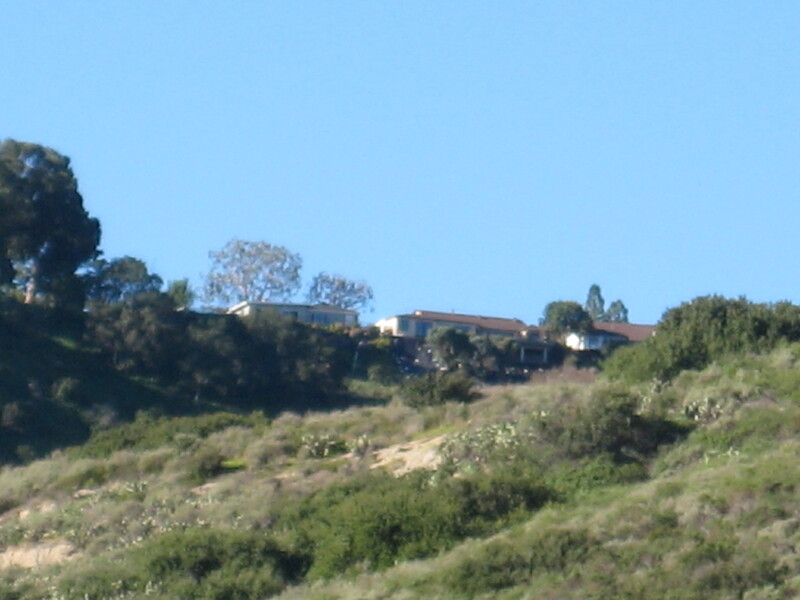 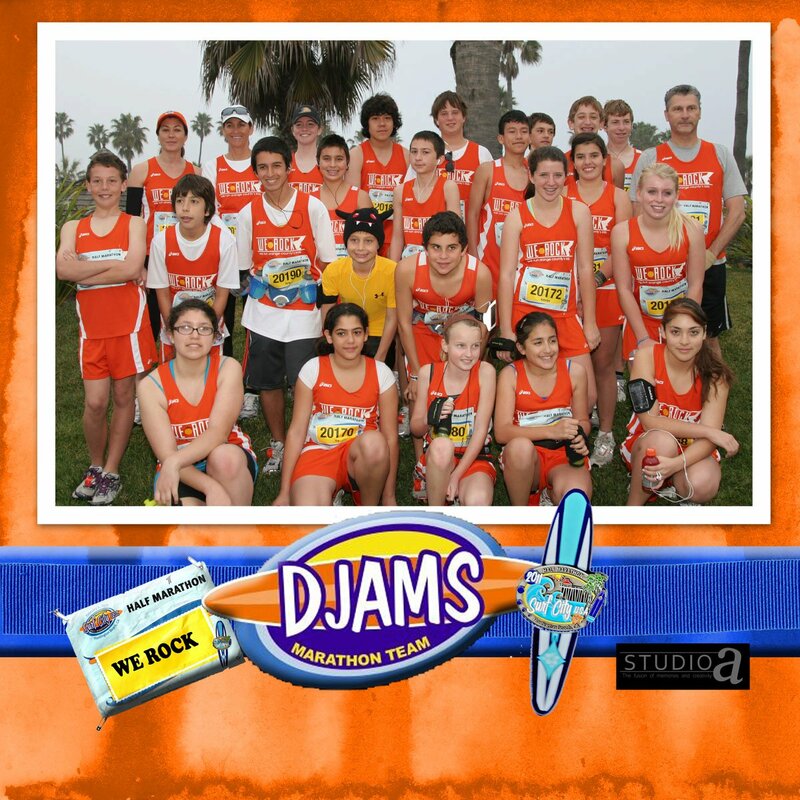 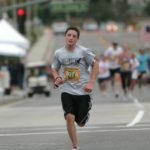 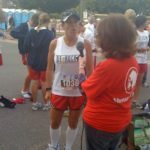 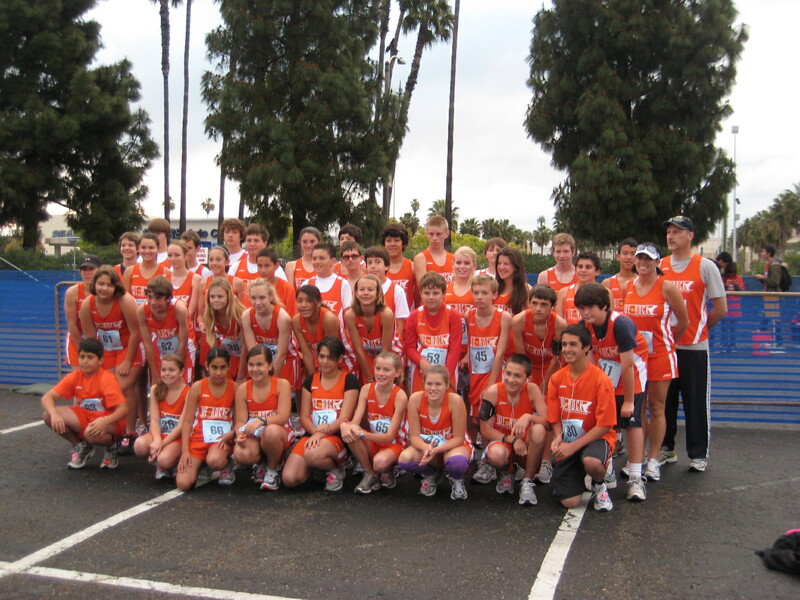 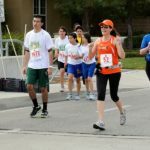 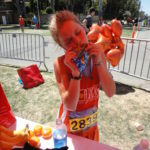 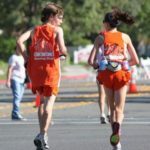 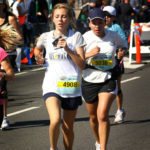 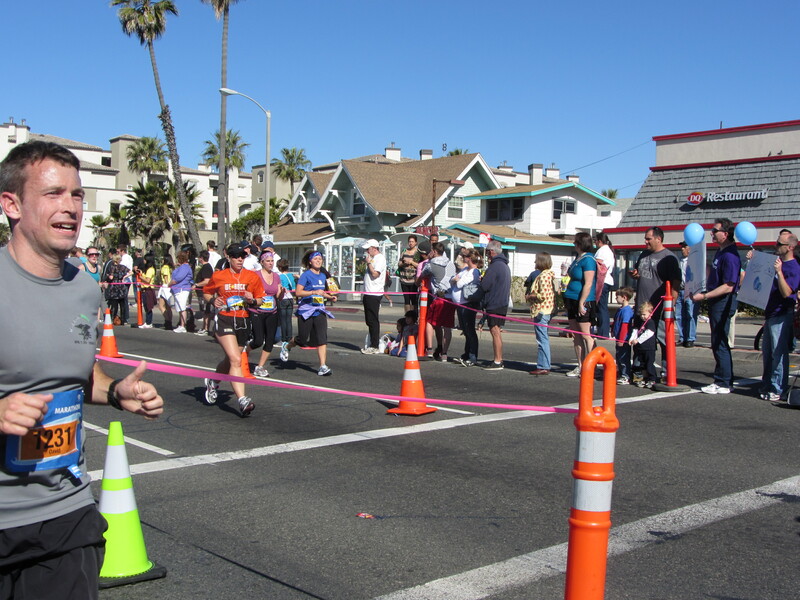 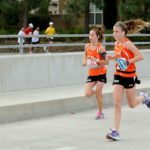 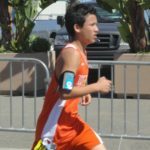 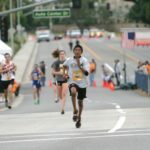 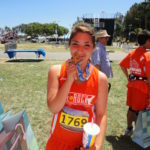 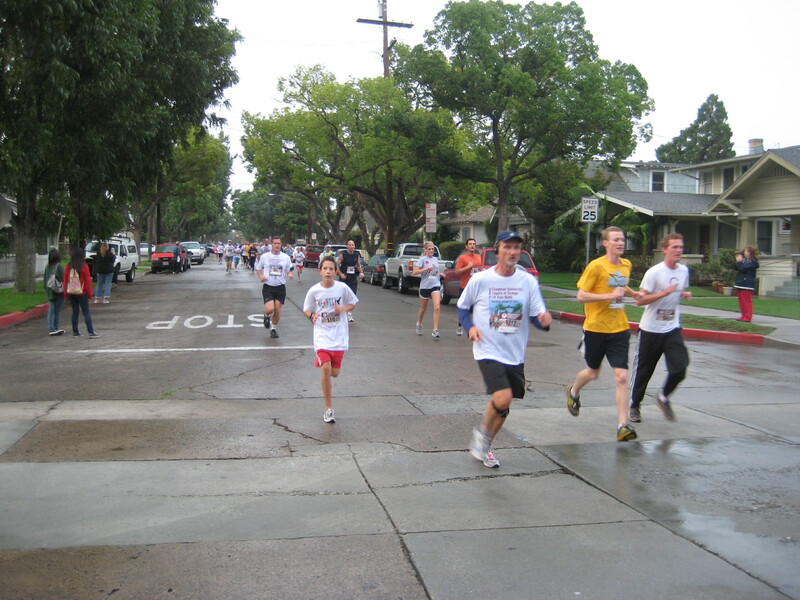 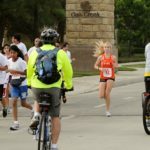 The Palos Verdes Marathon is the 2nd longest continuously running Marathon in the United States, second only to the Boston Marathon. 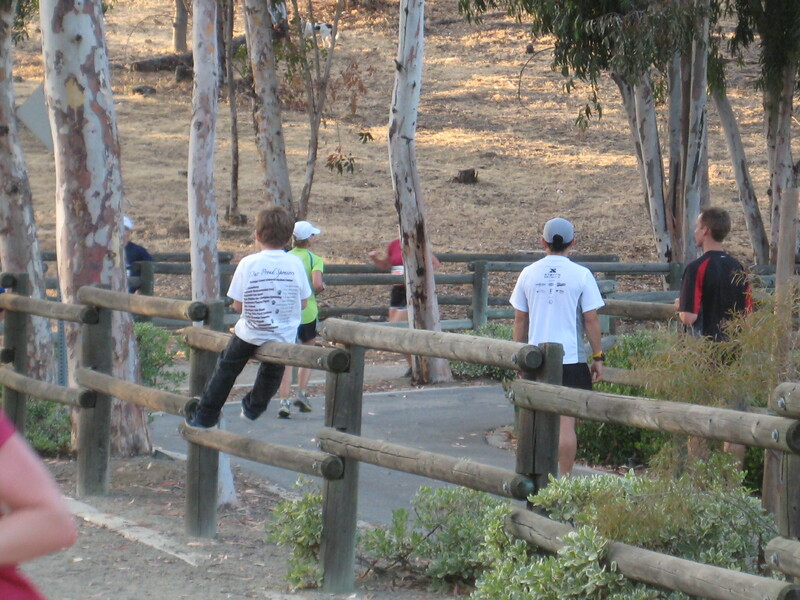 It is a truly beautiful course, with breathtaking views throughout. 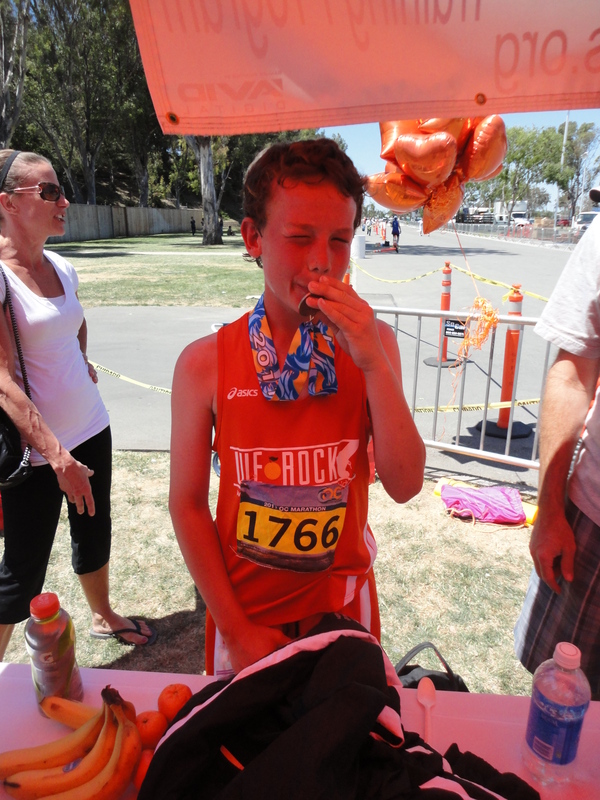 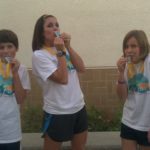 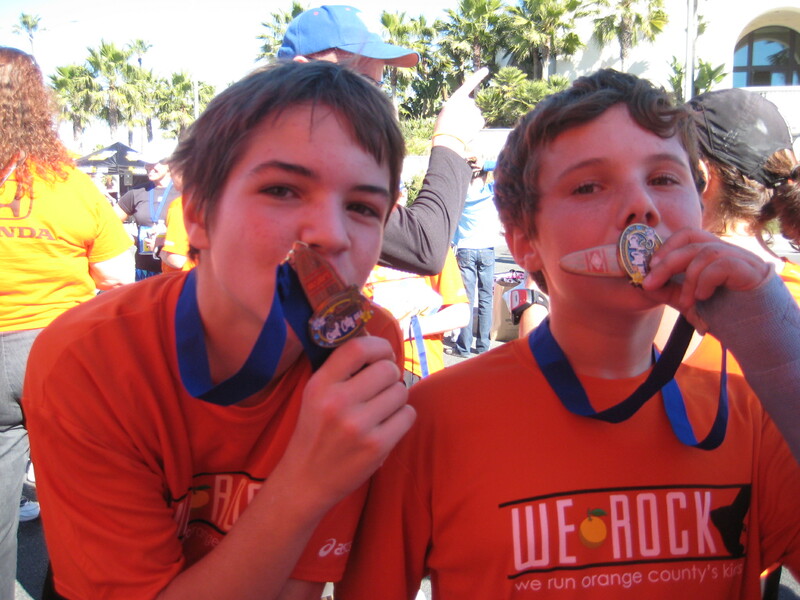 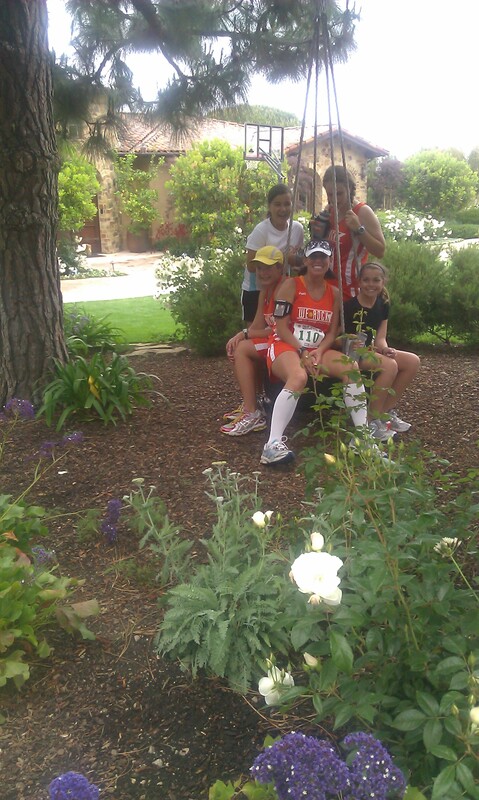 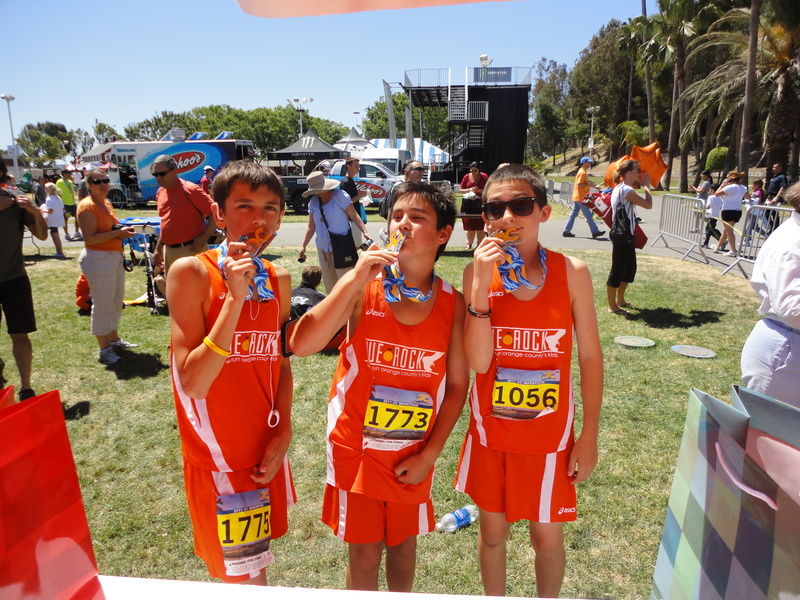 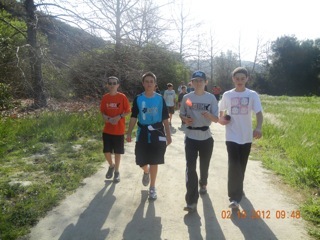 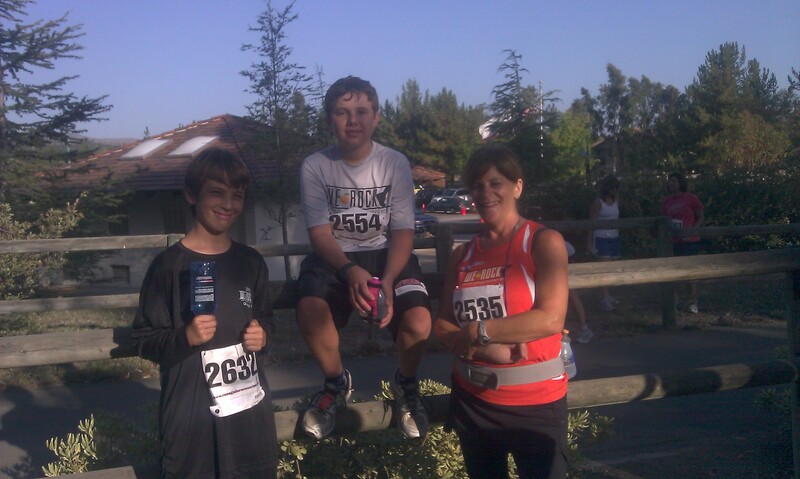 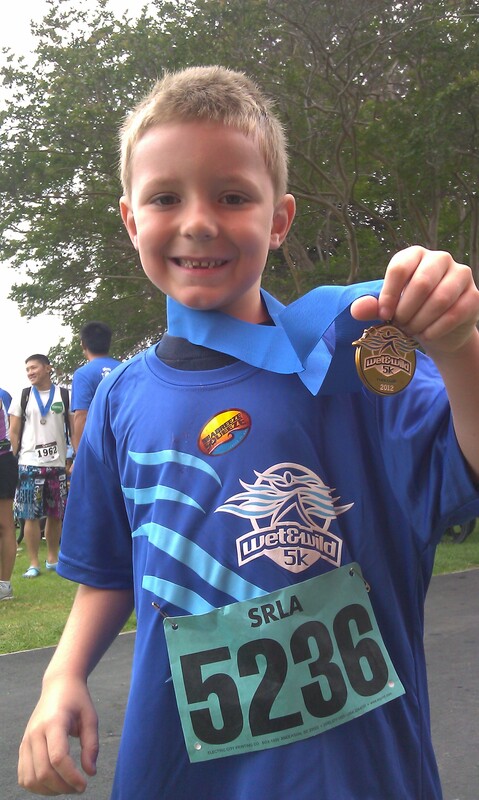 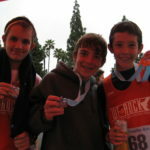 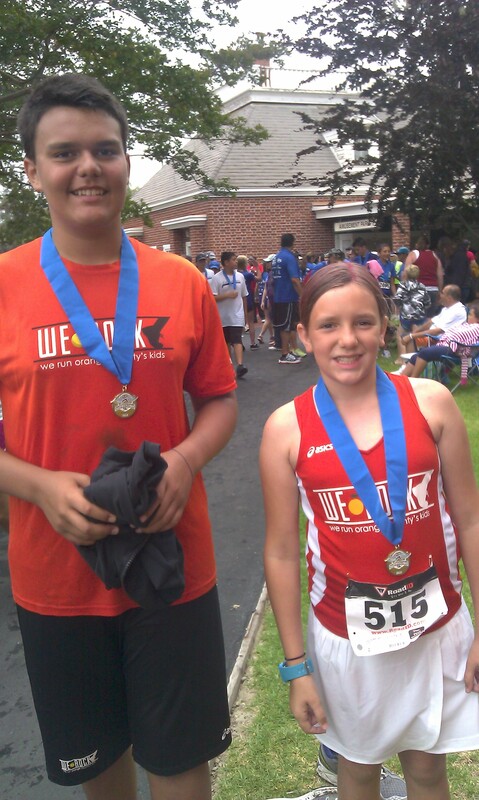 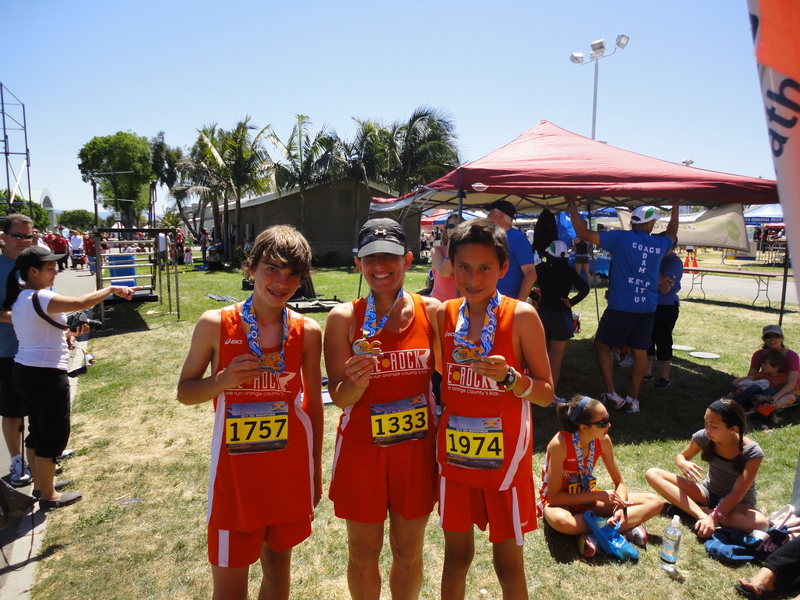 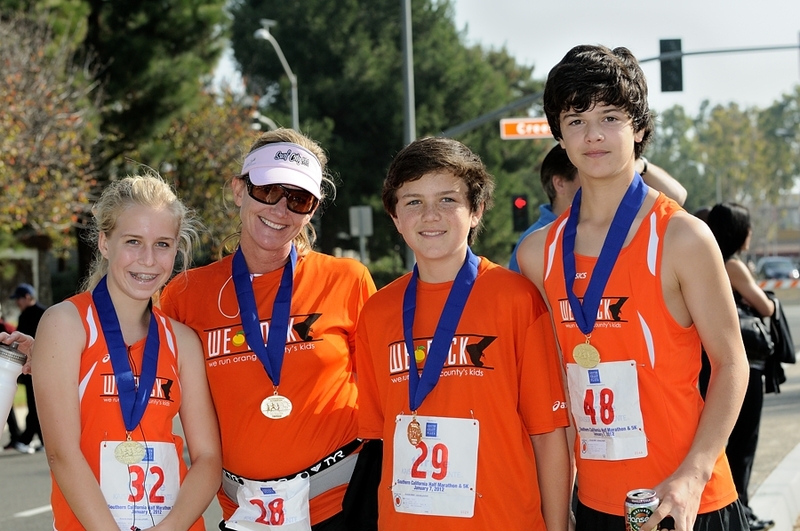 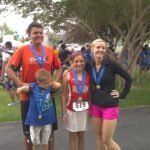 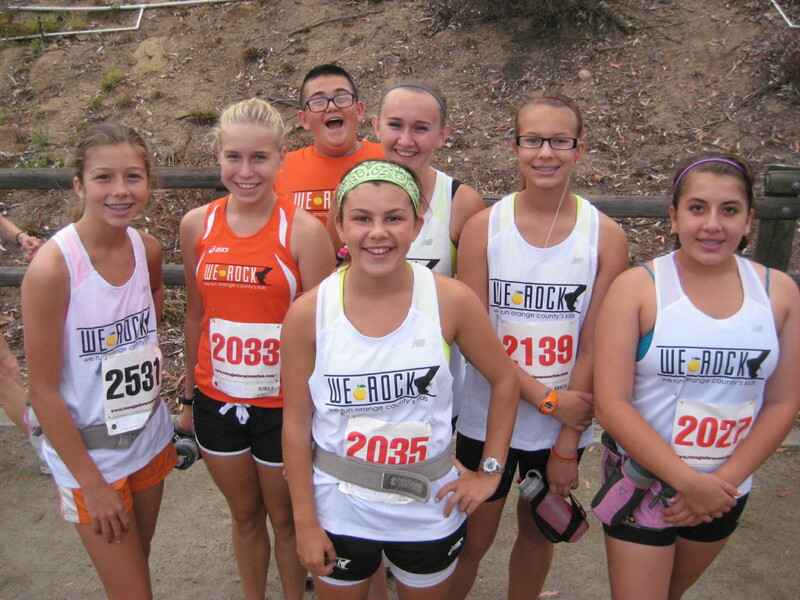 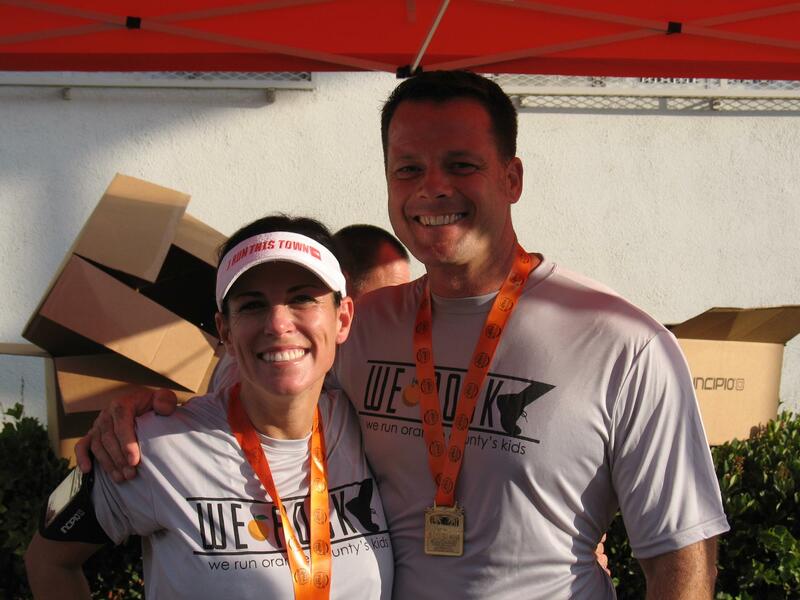 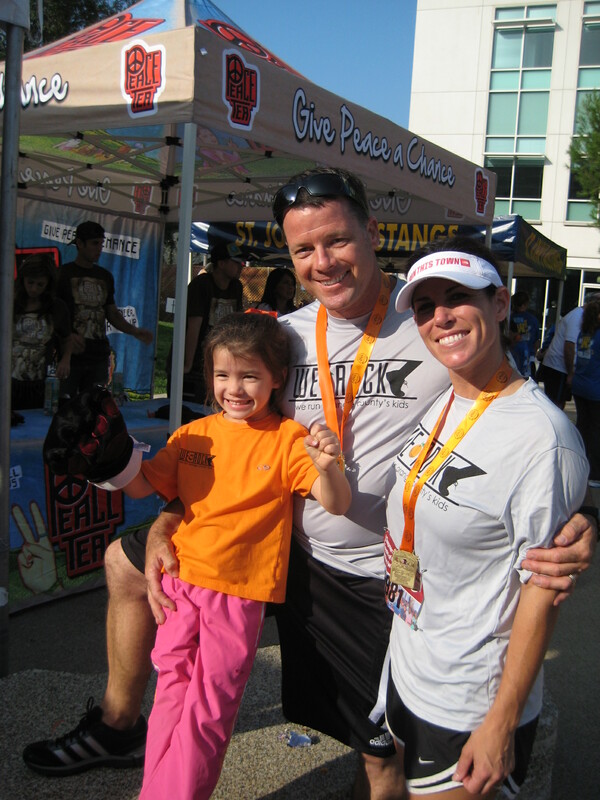 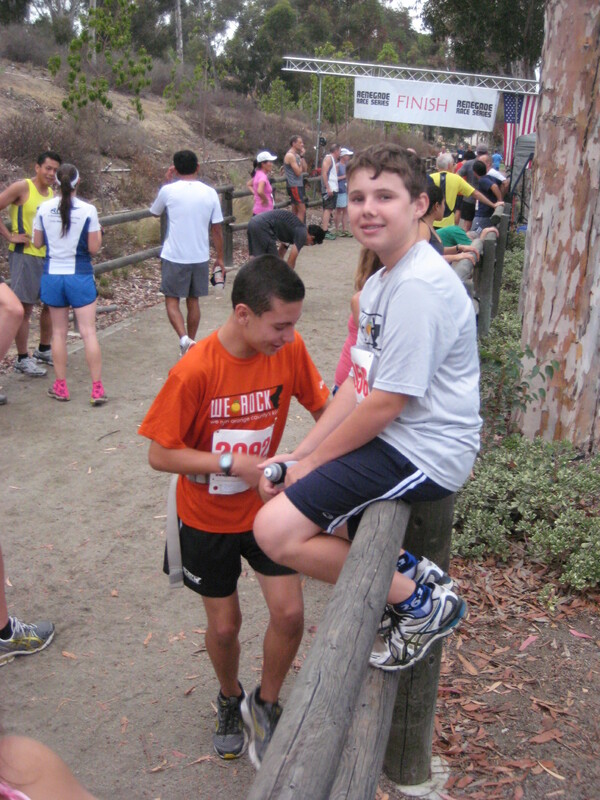 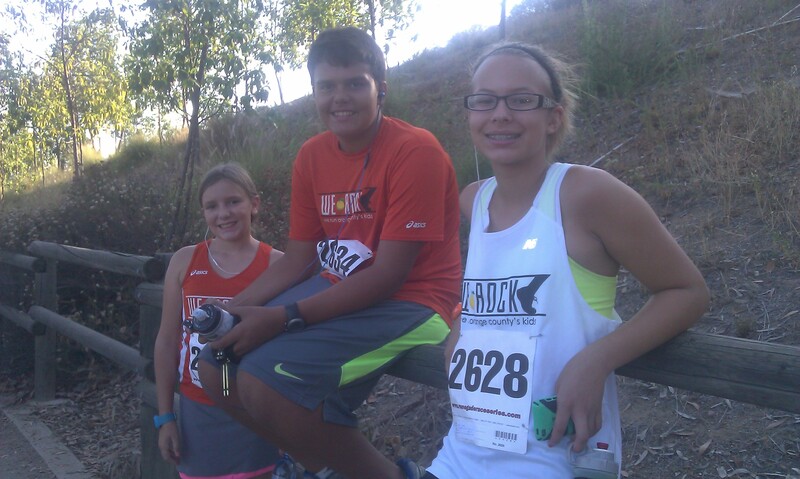 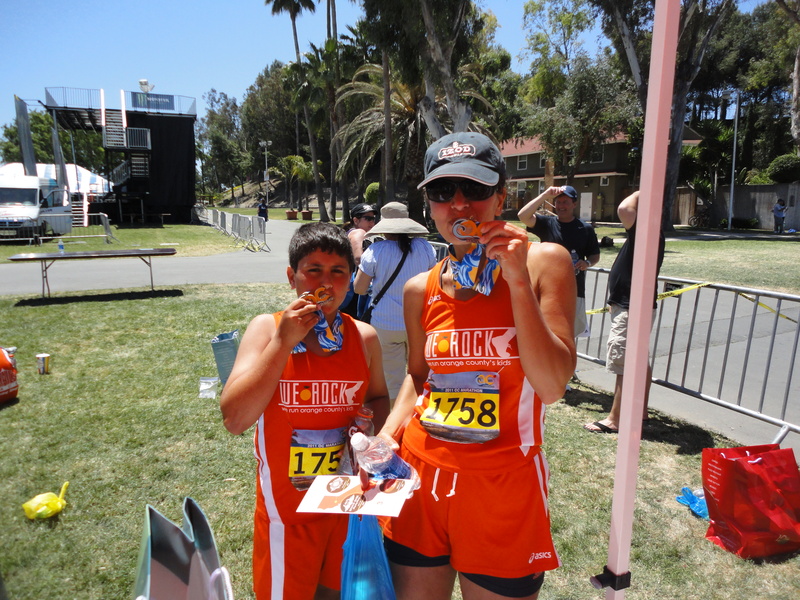 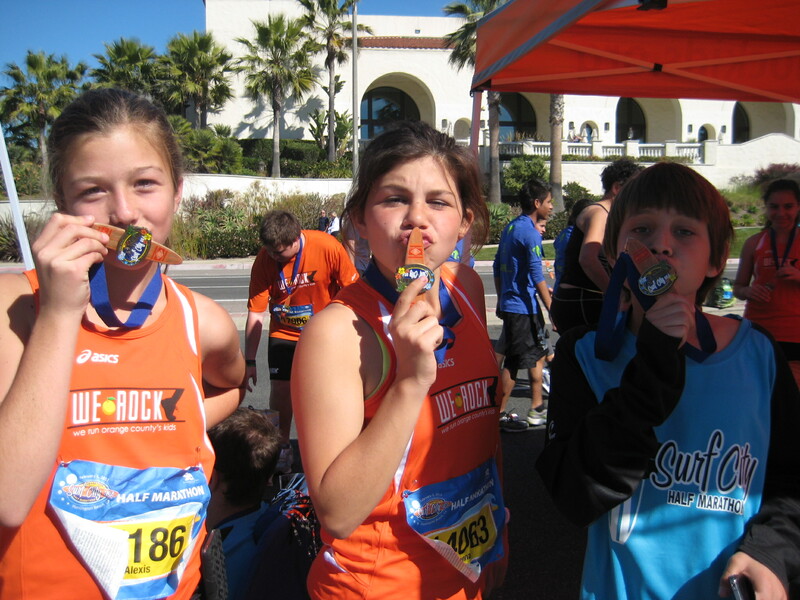 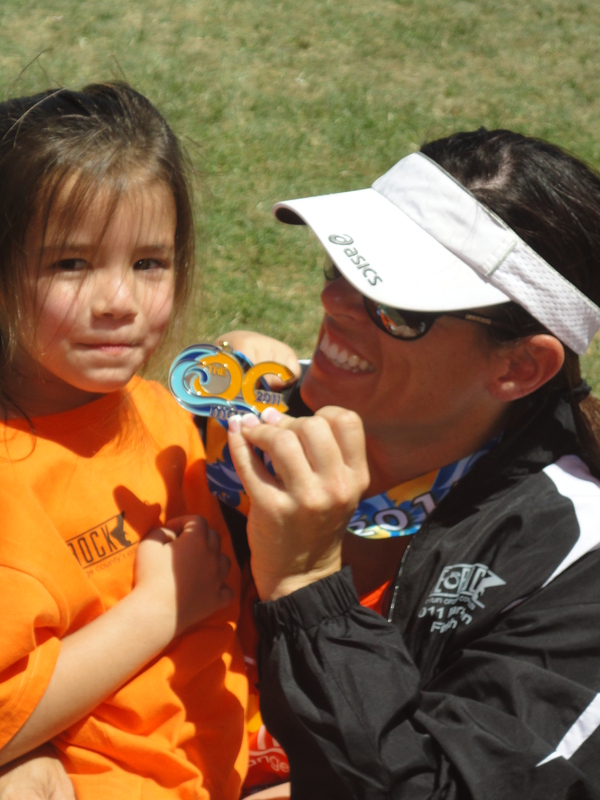 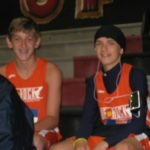 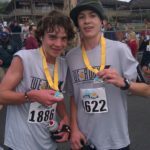 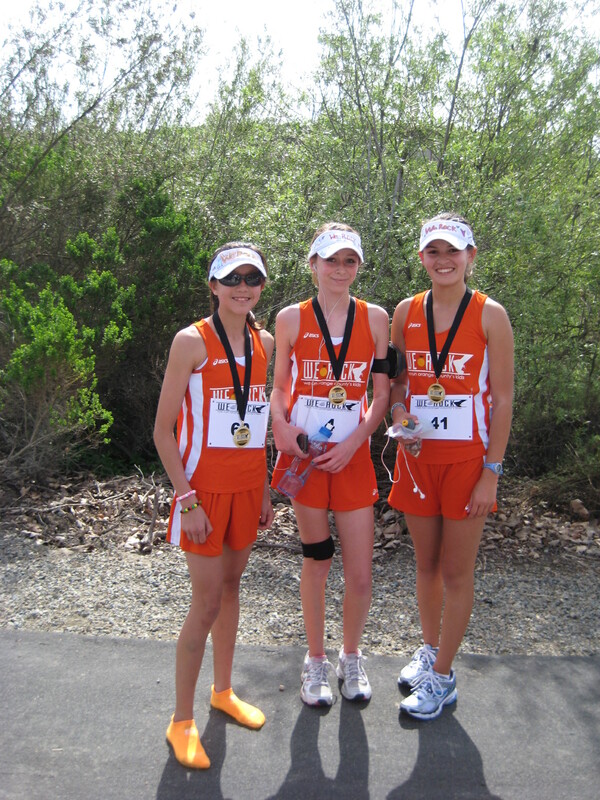 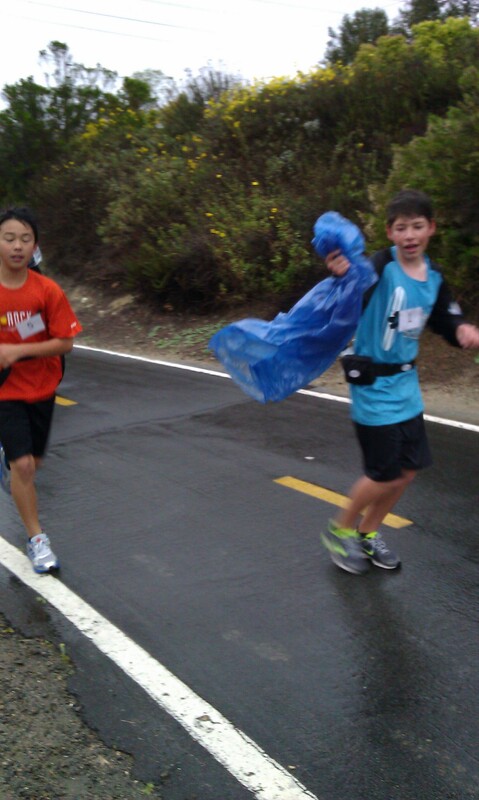 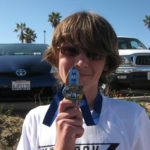 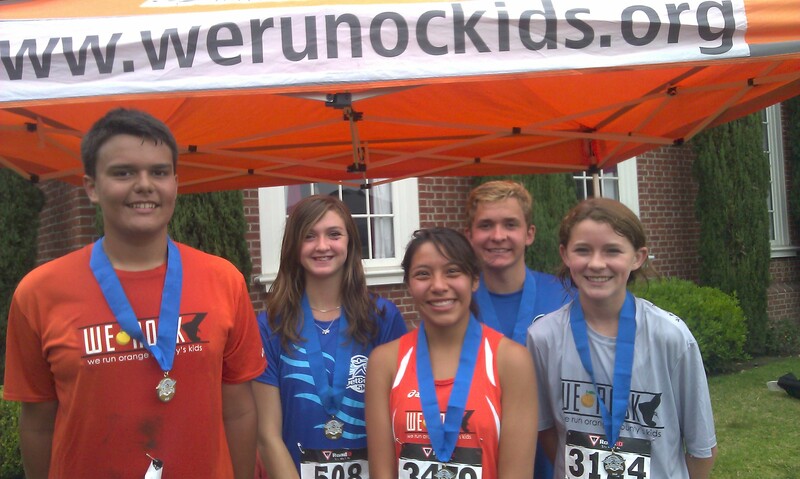 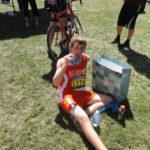 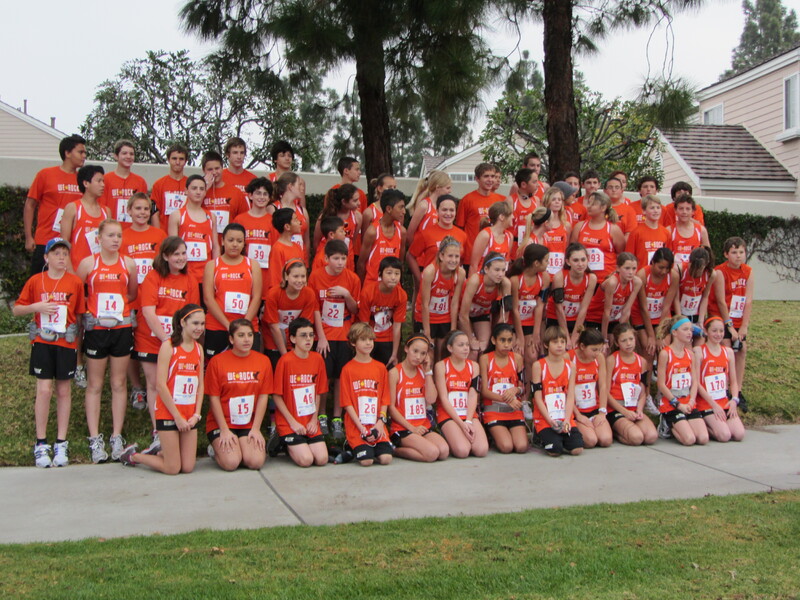 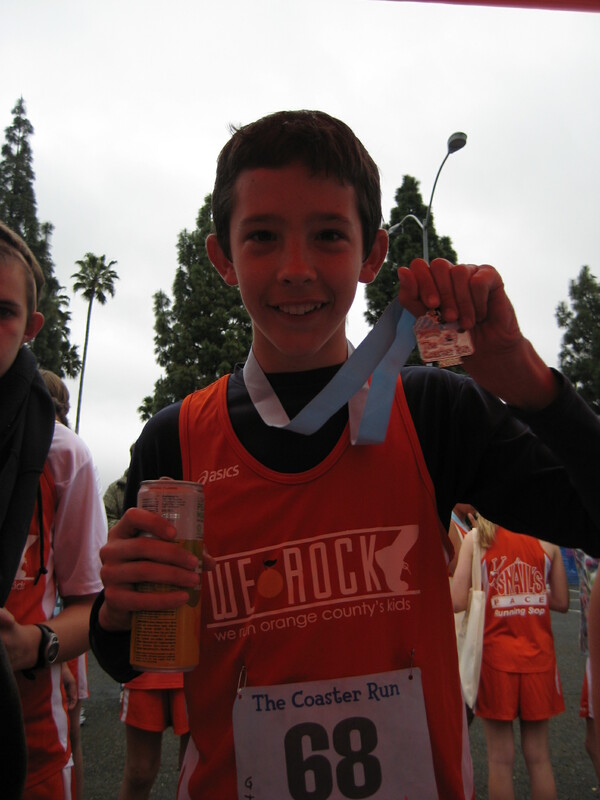 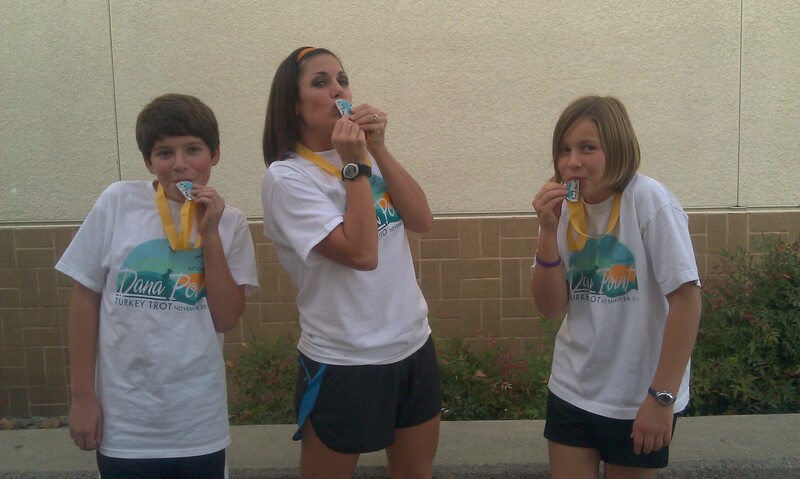 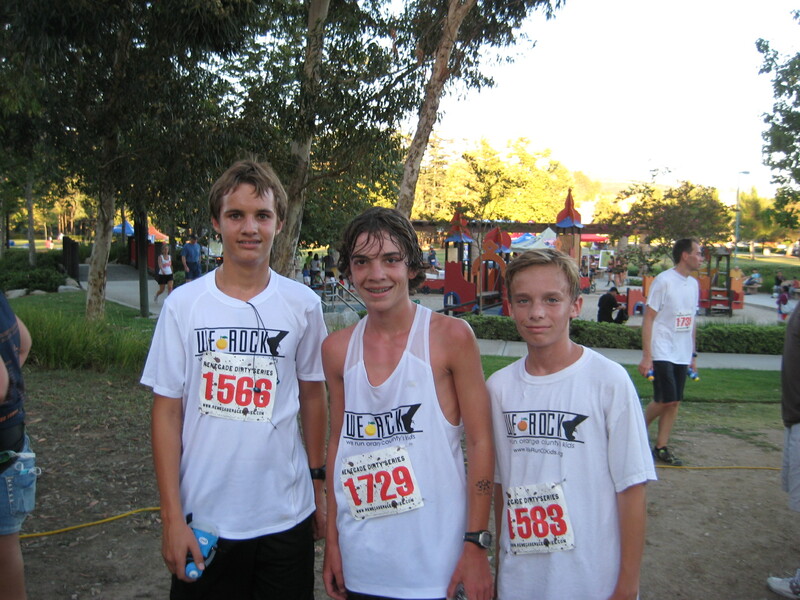 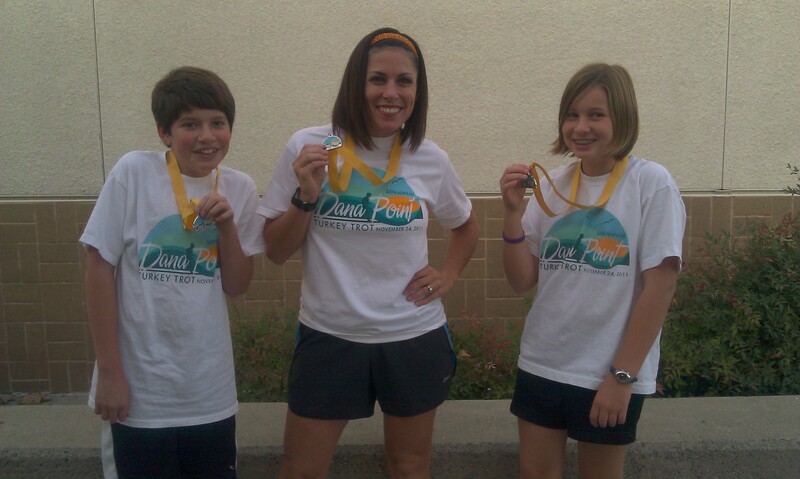 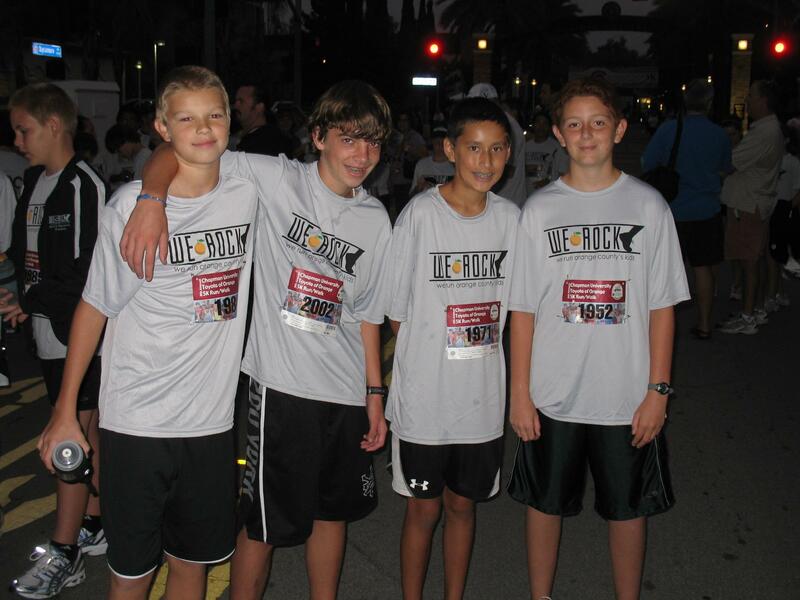 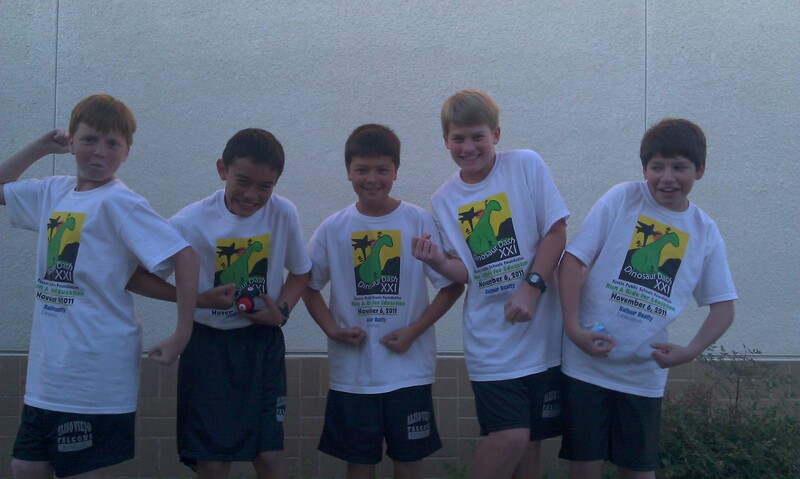 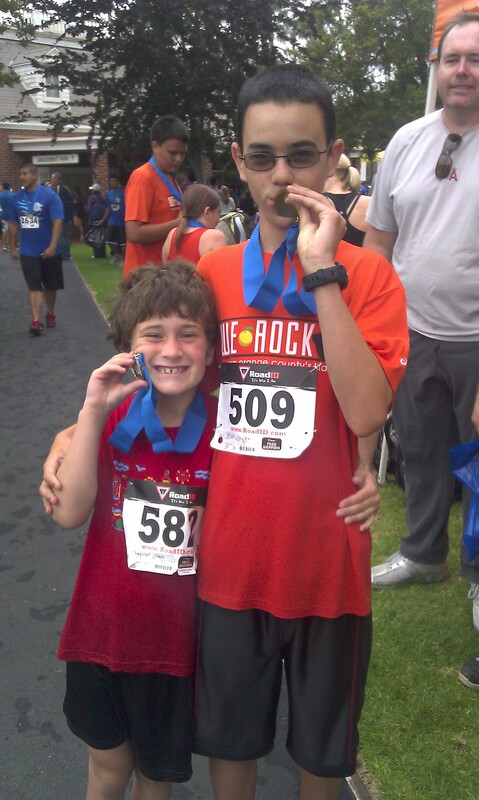 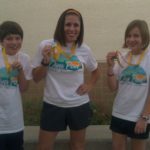 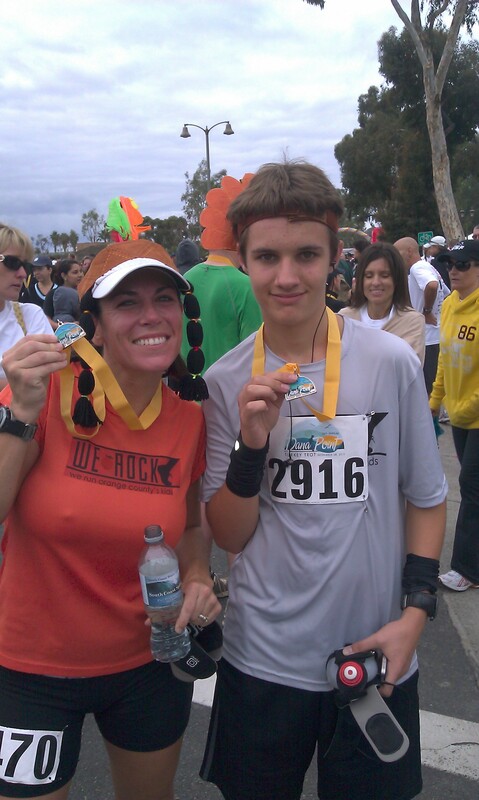 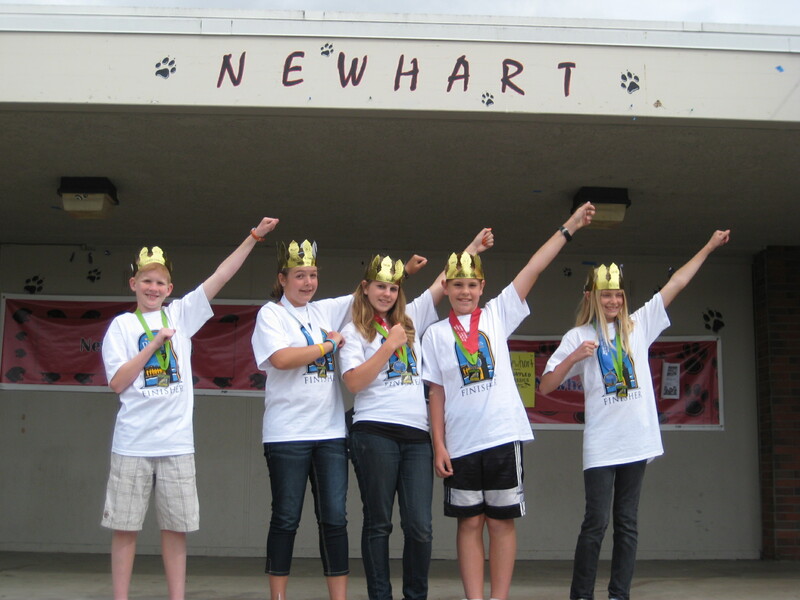 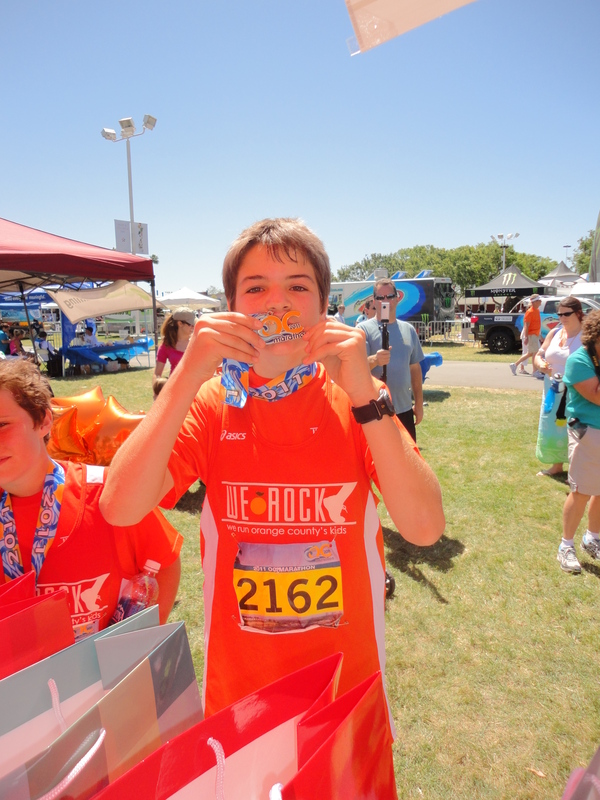 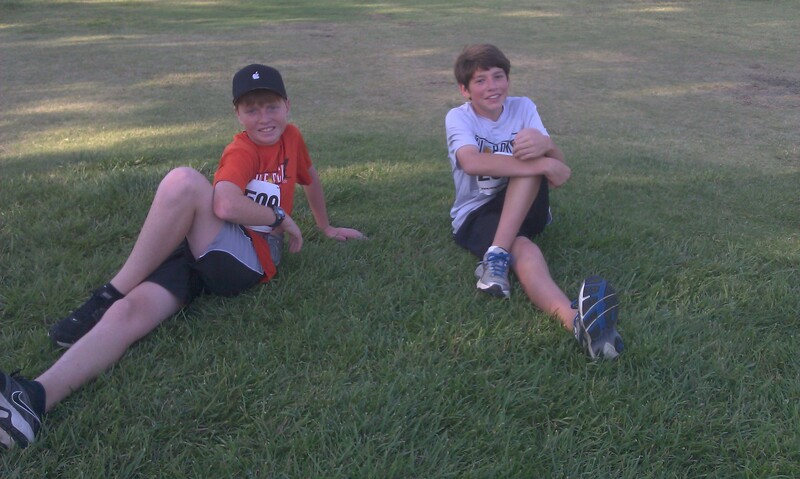 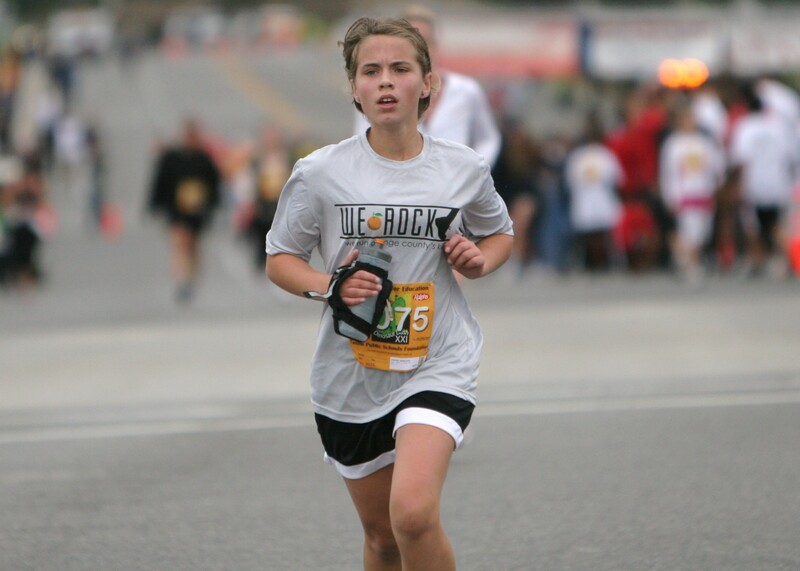 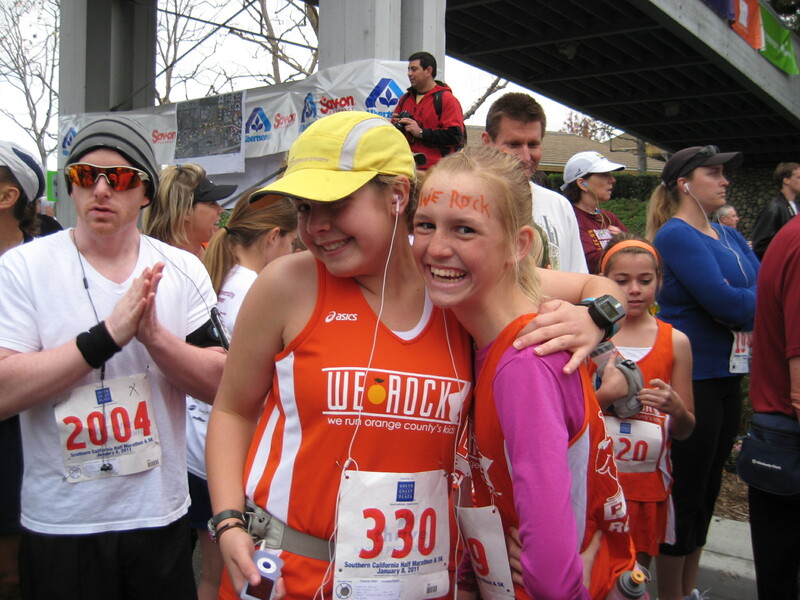 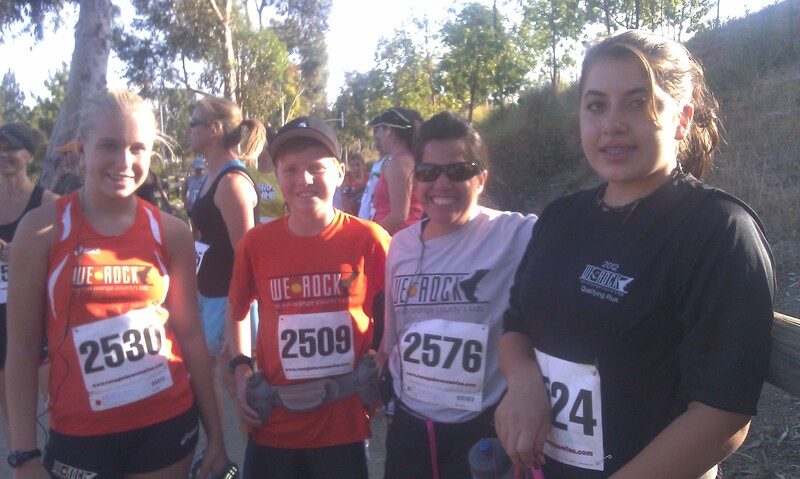 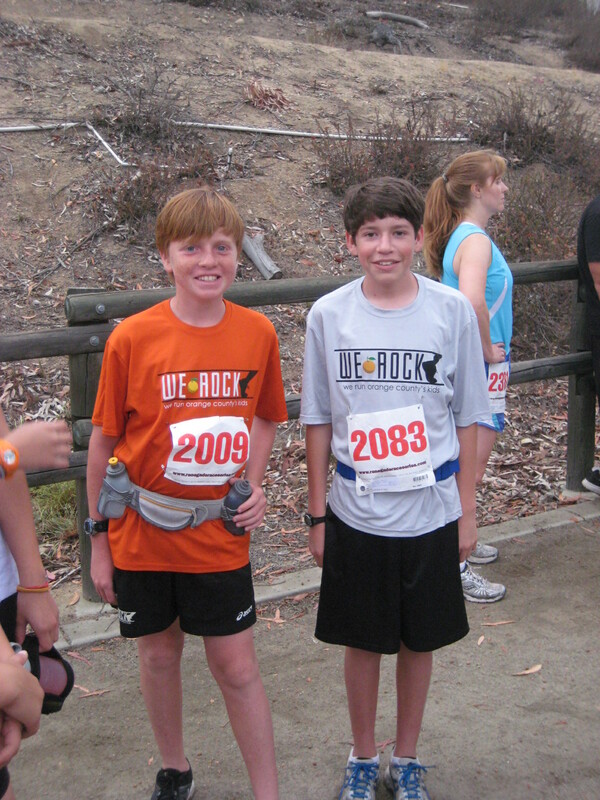 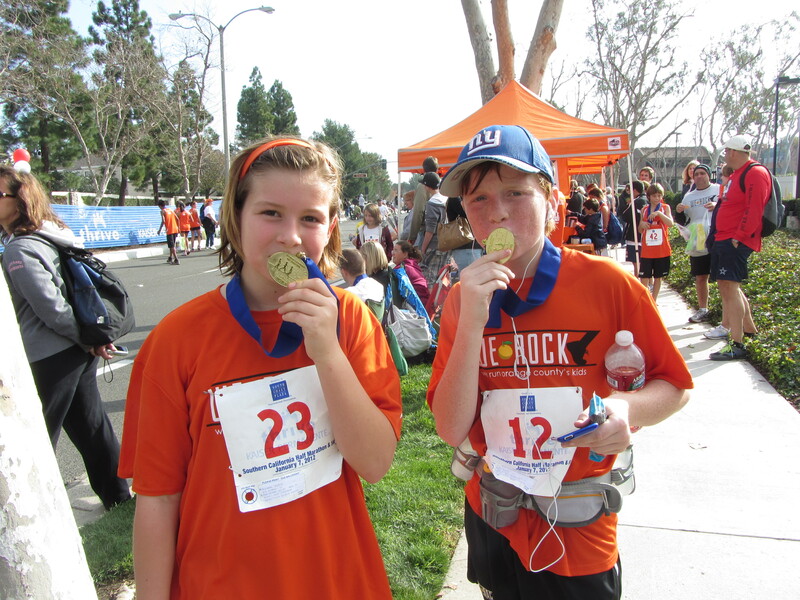 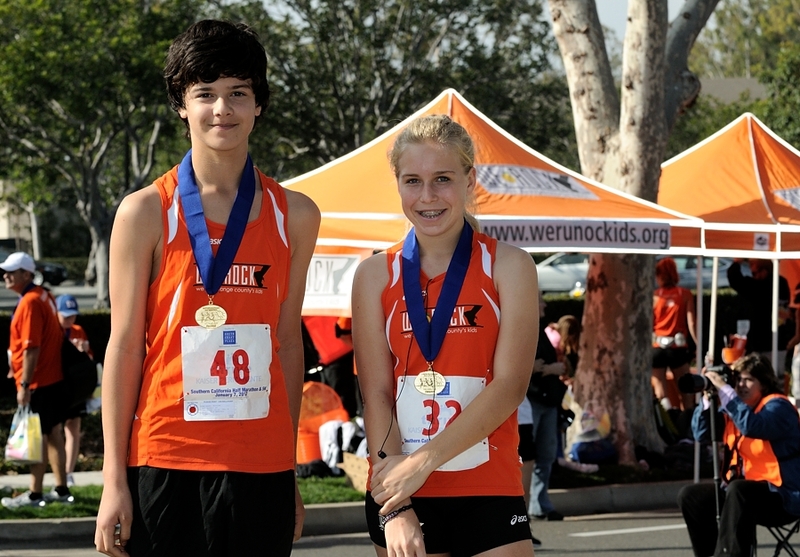 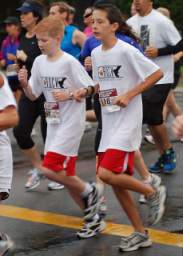 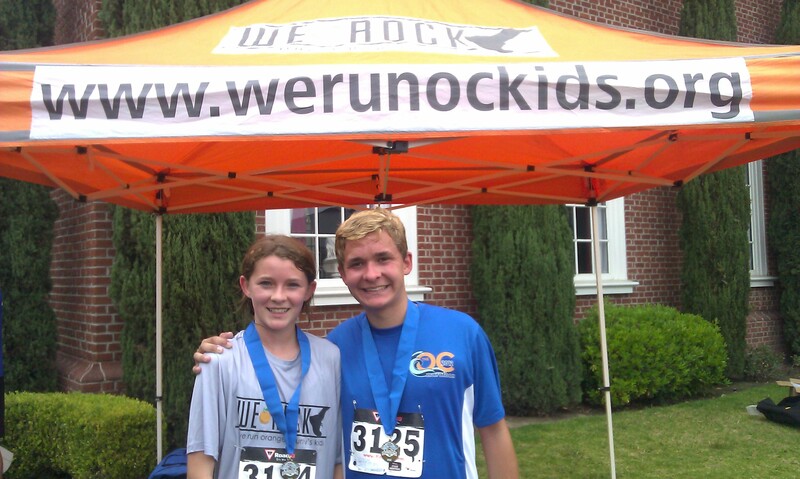 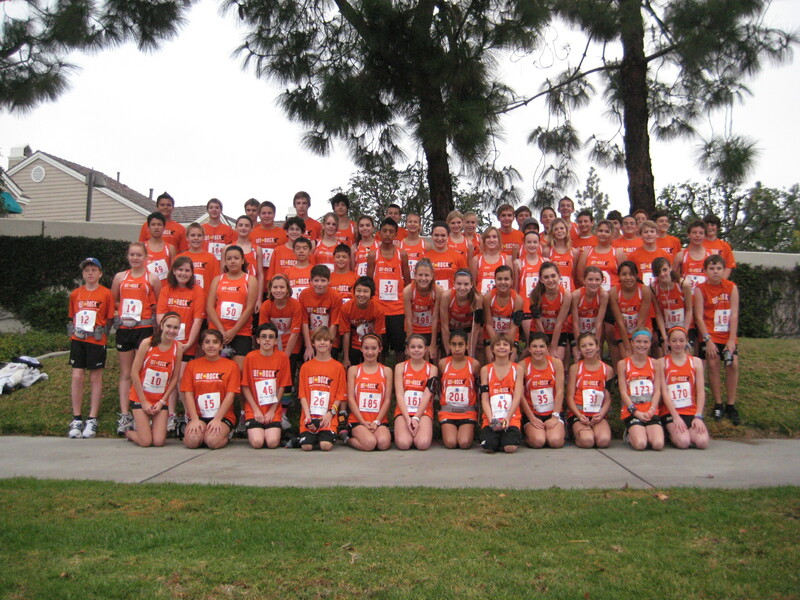 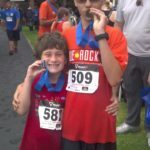 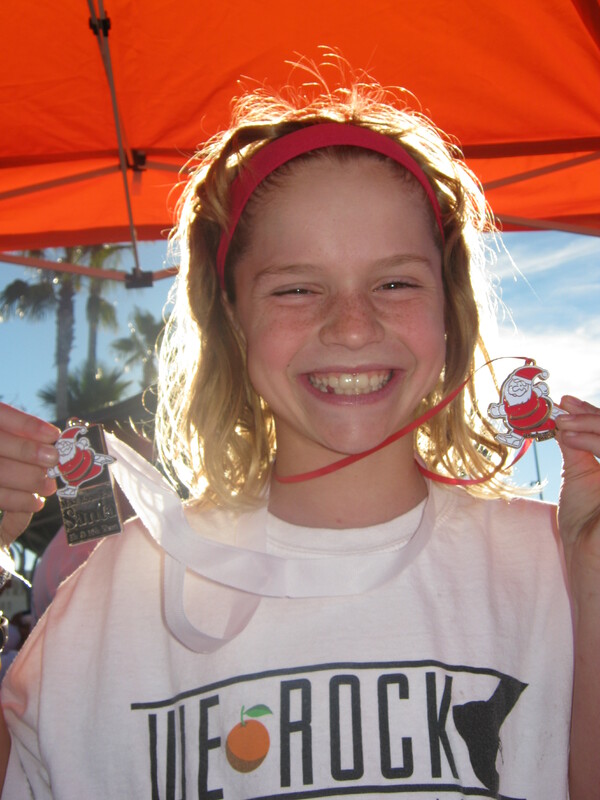 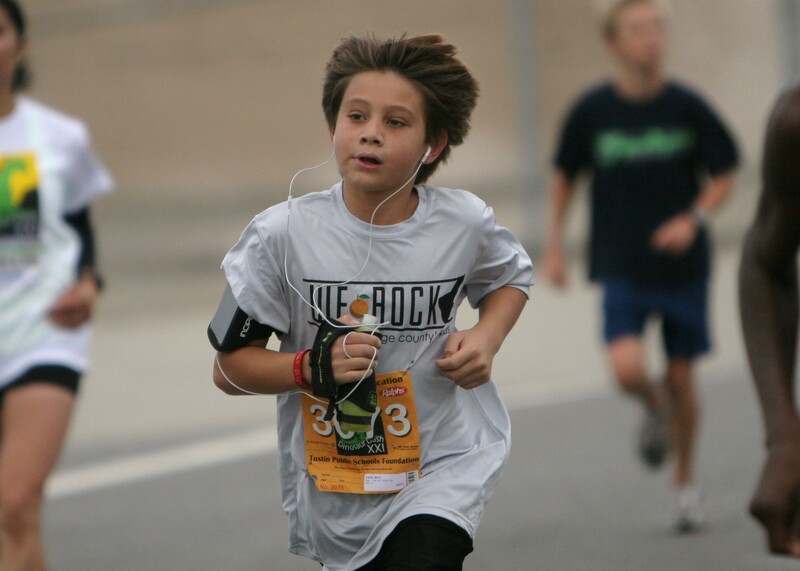 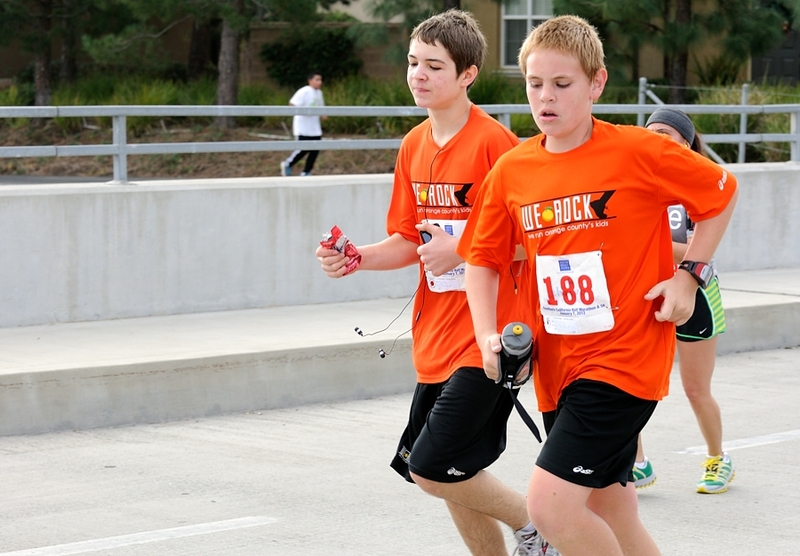 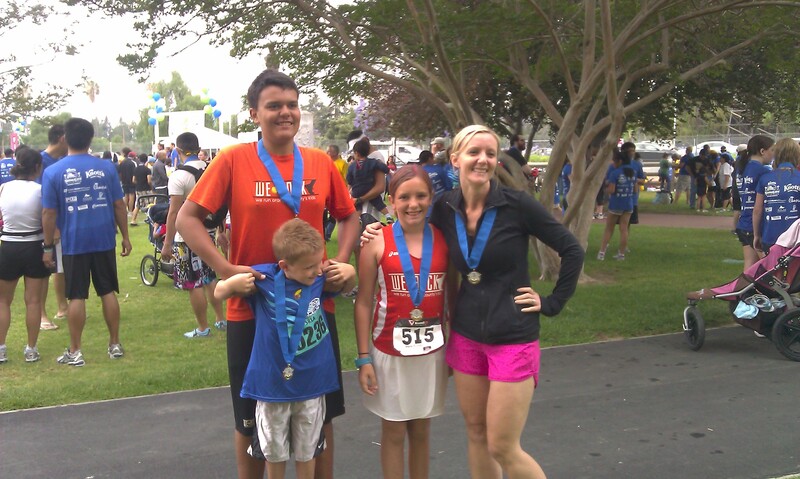 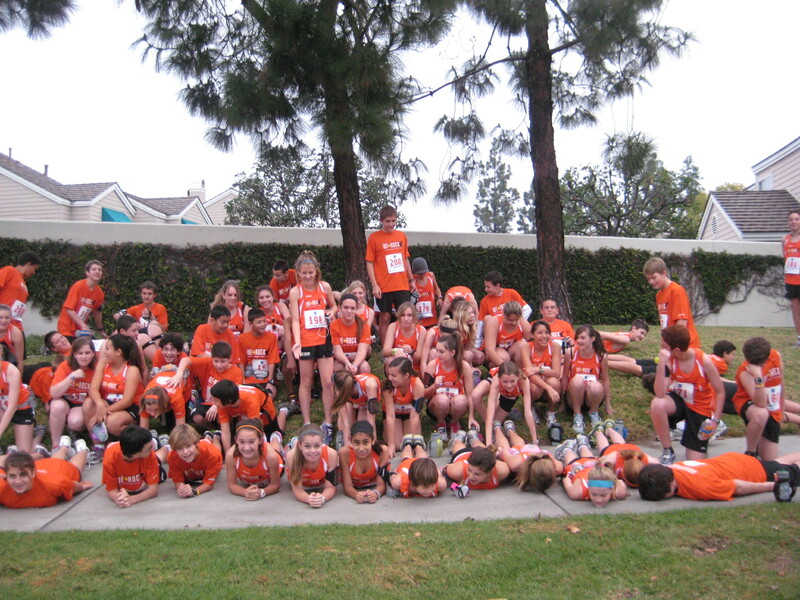 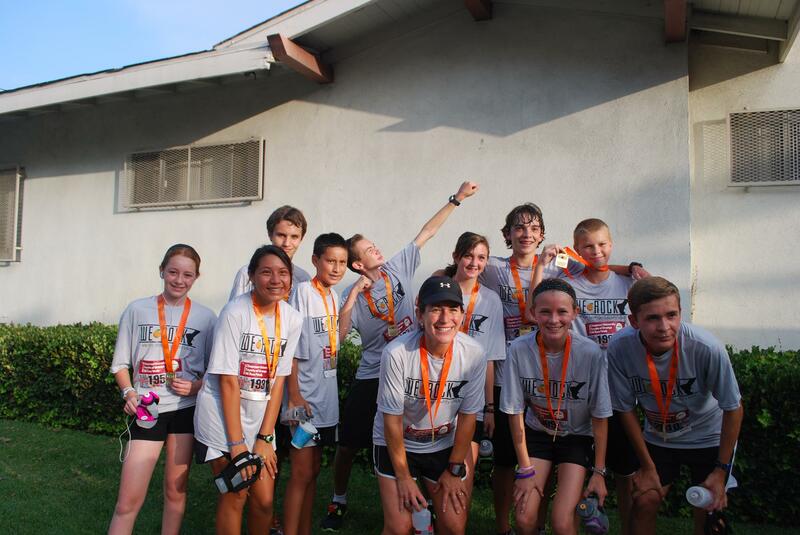 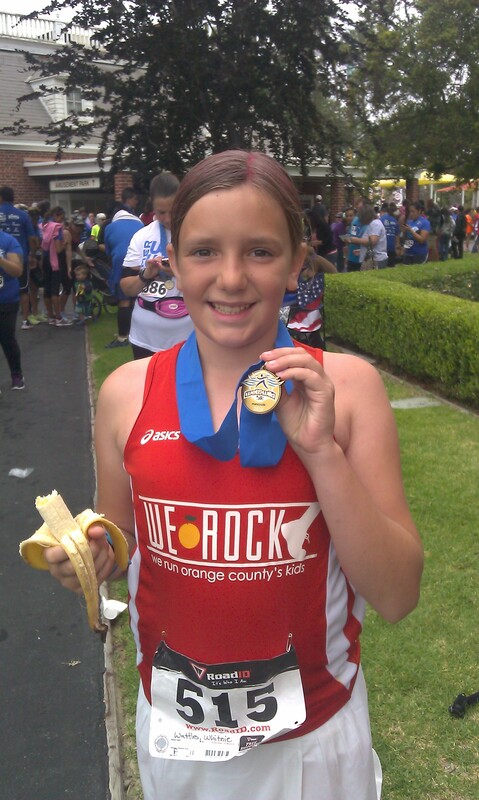 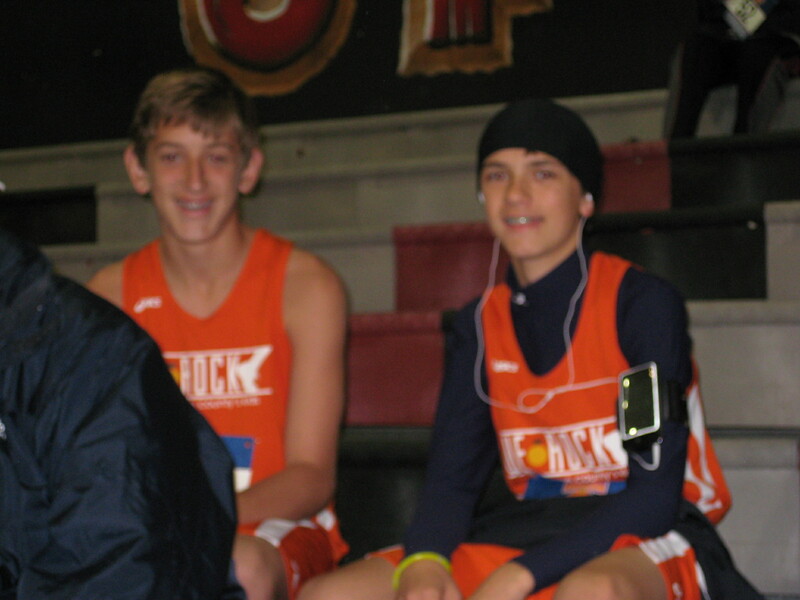 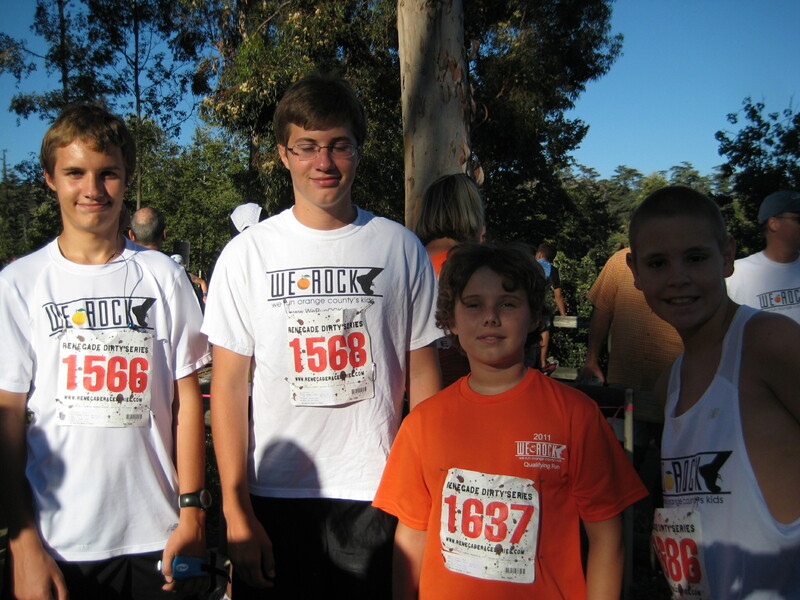 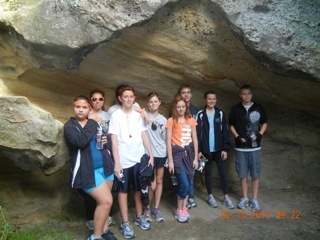 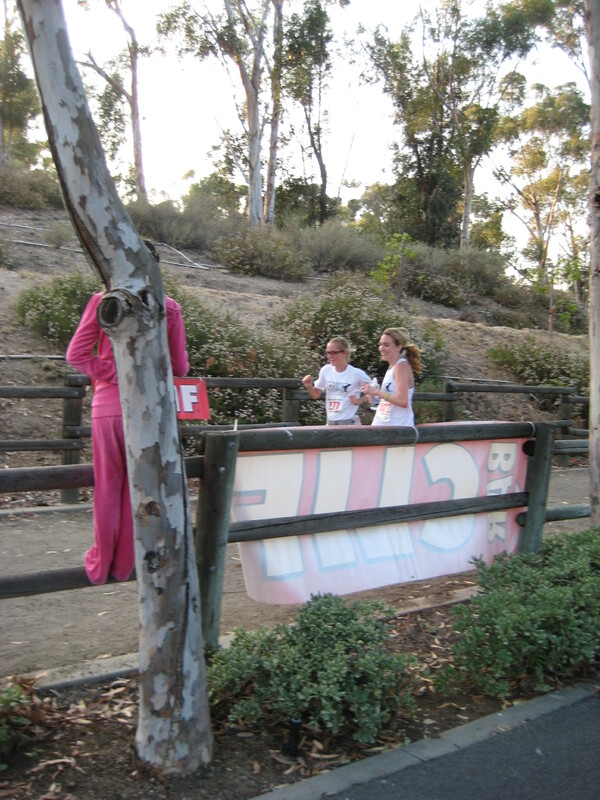 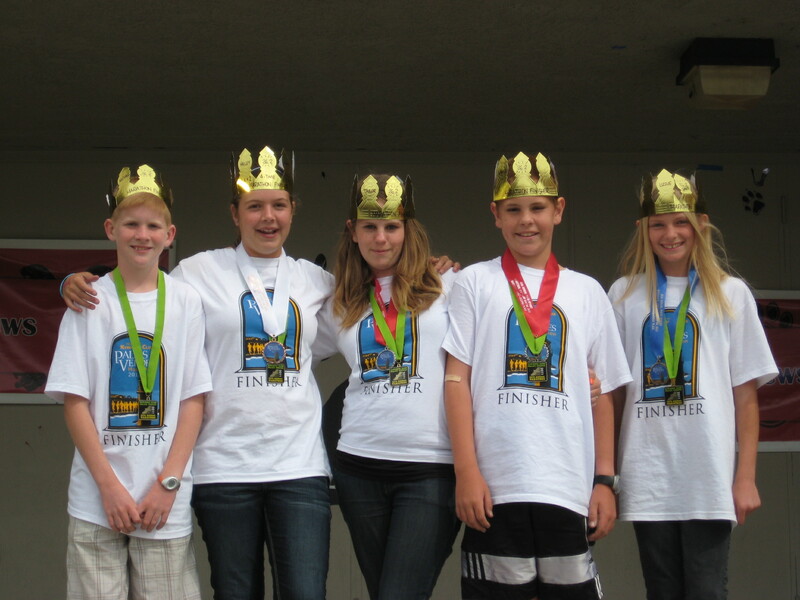 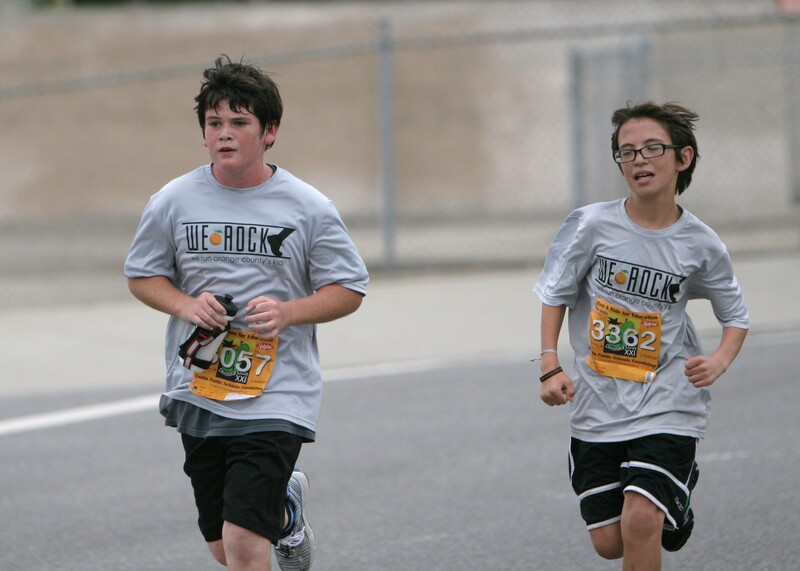 These We ROCKers battled the hills and ALL took home special honors in their age groups! 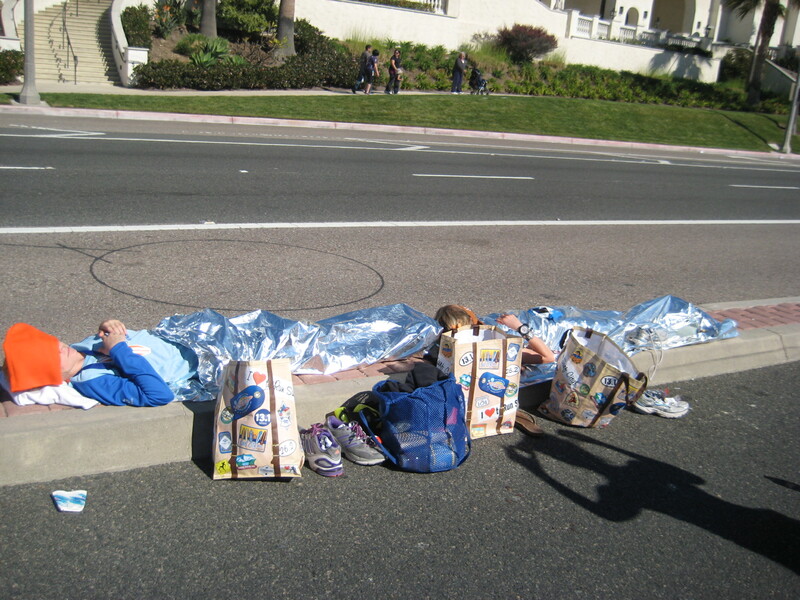 Marathon day is full of emotions. 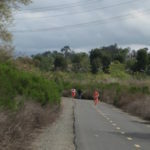 Each mile is full of new surprises. 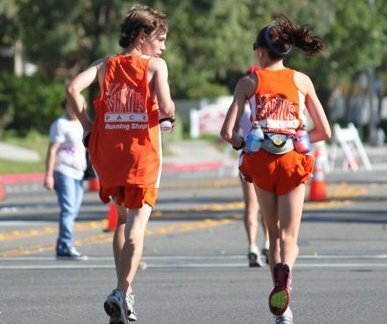 How will you handle the distance? 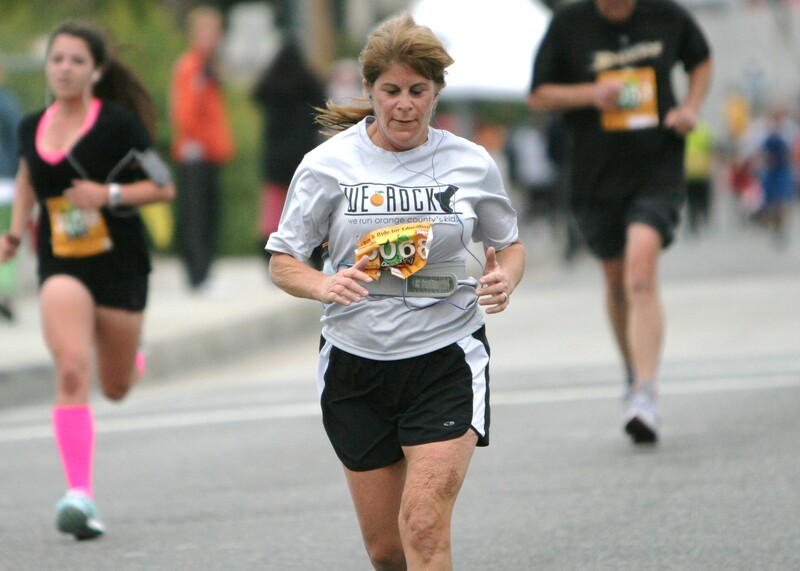 Dig deep and move forward. 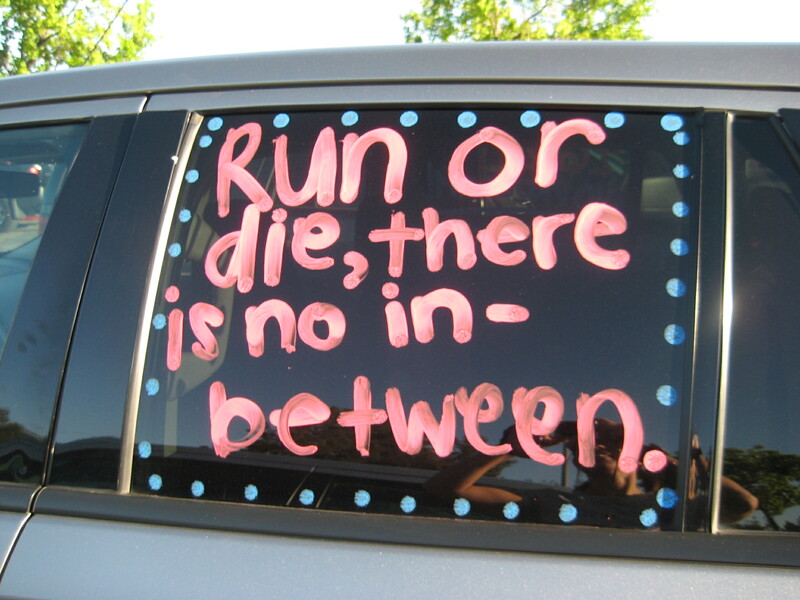 Believe it and be it! 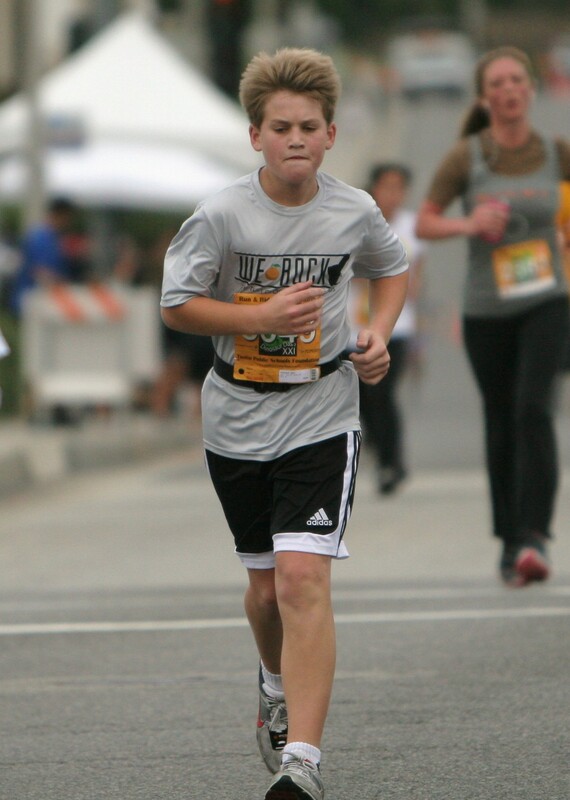 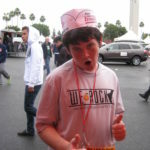 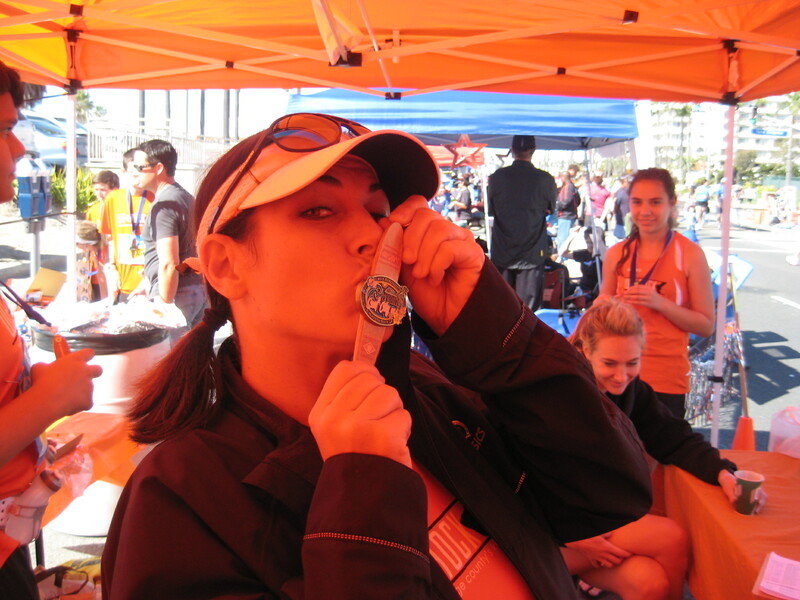 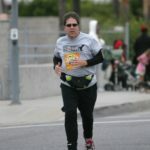 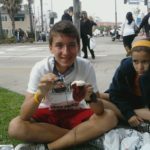 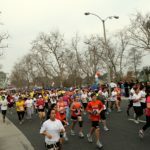 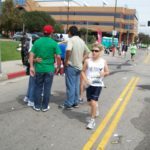 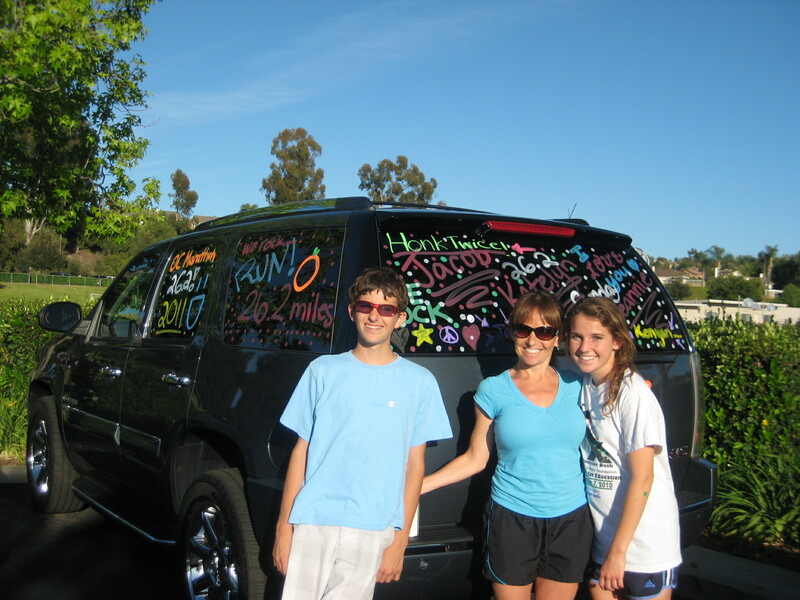 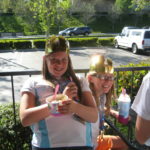 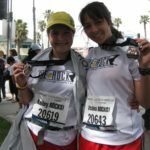 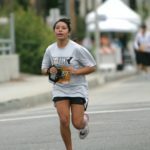 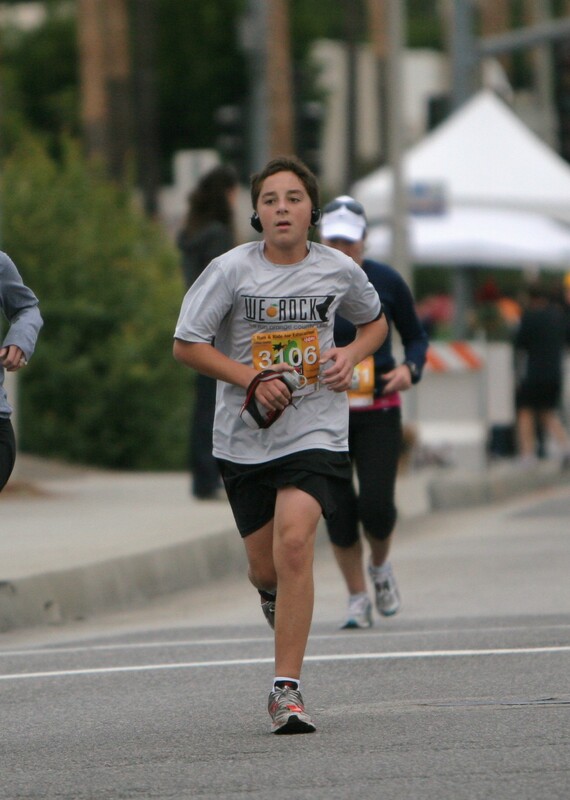 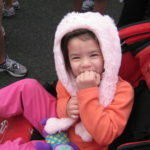 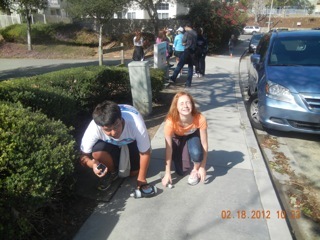 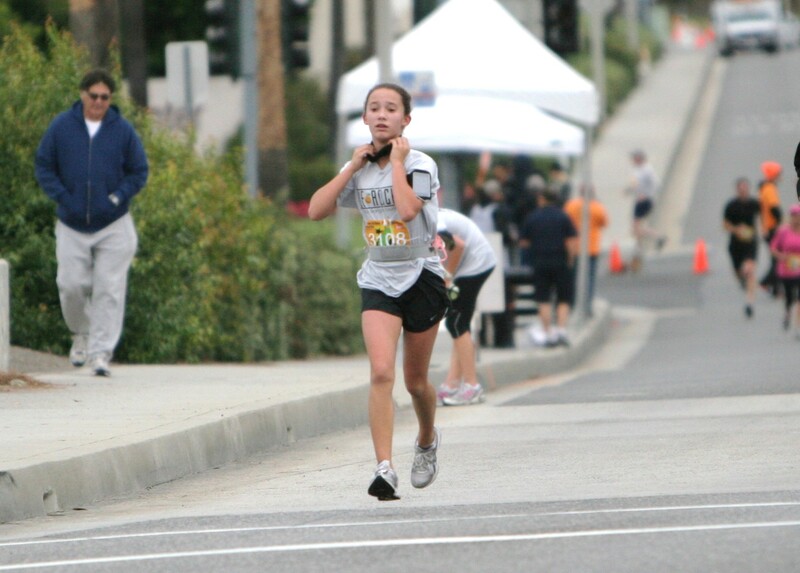 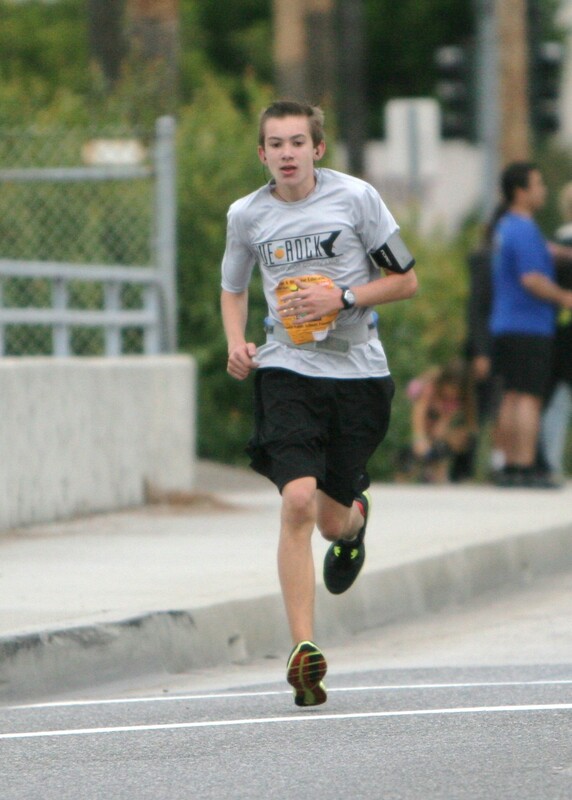 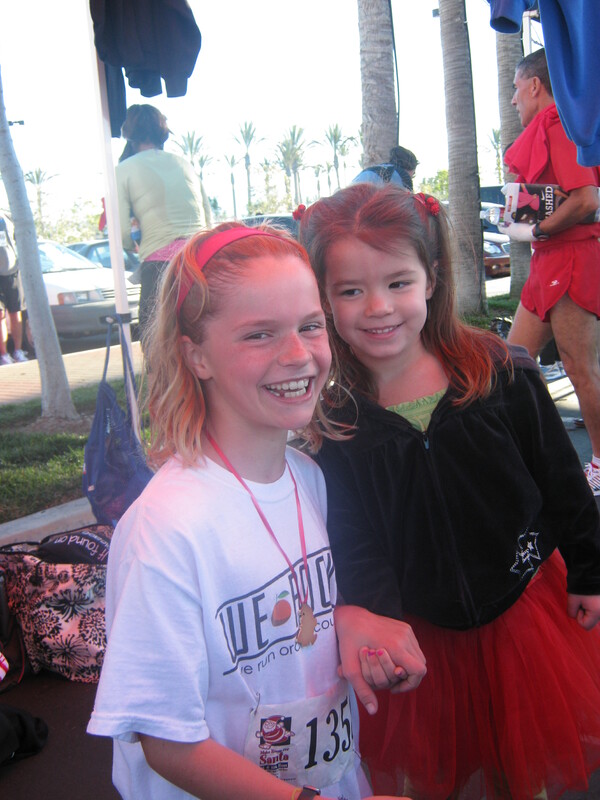 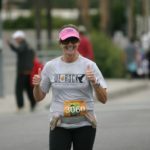 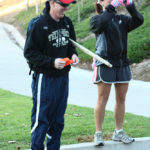 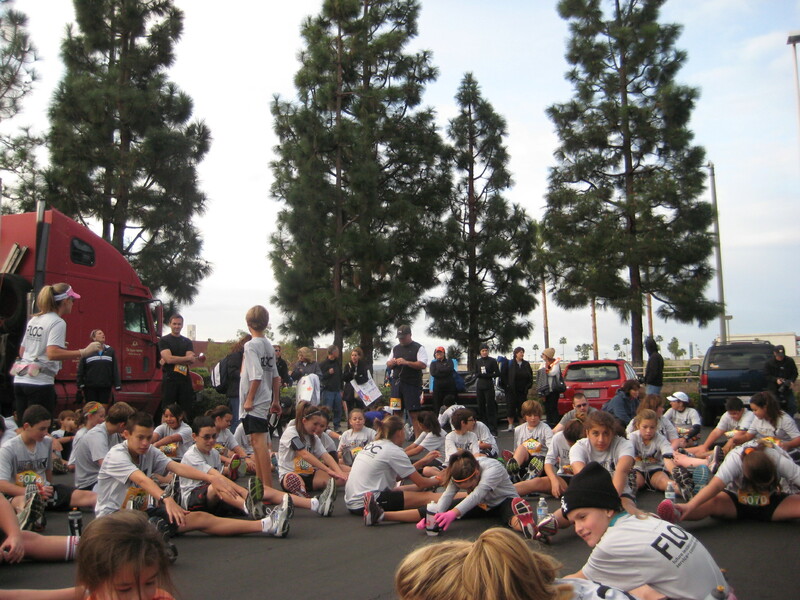 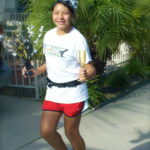 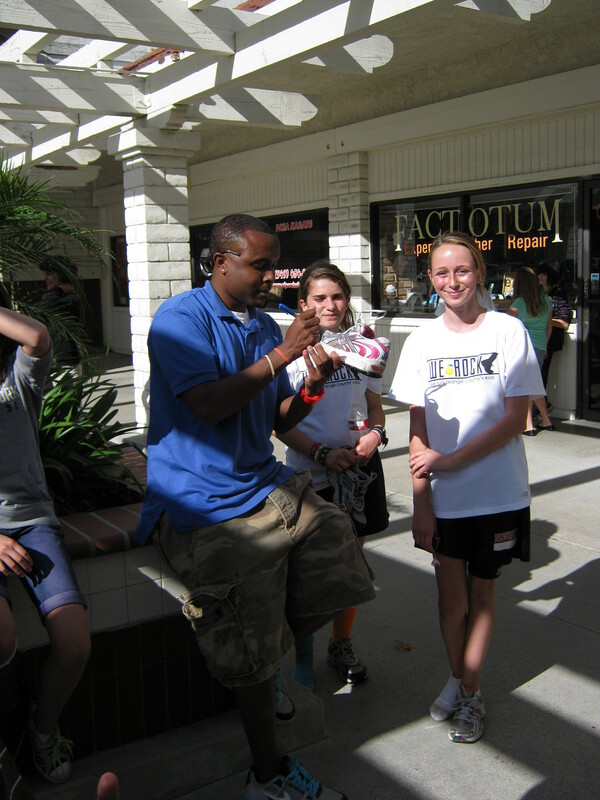 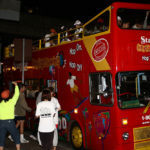 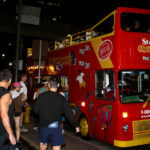 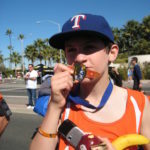 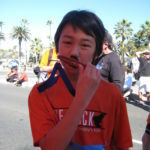 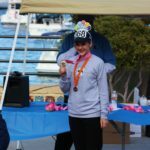 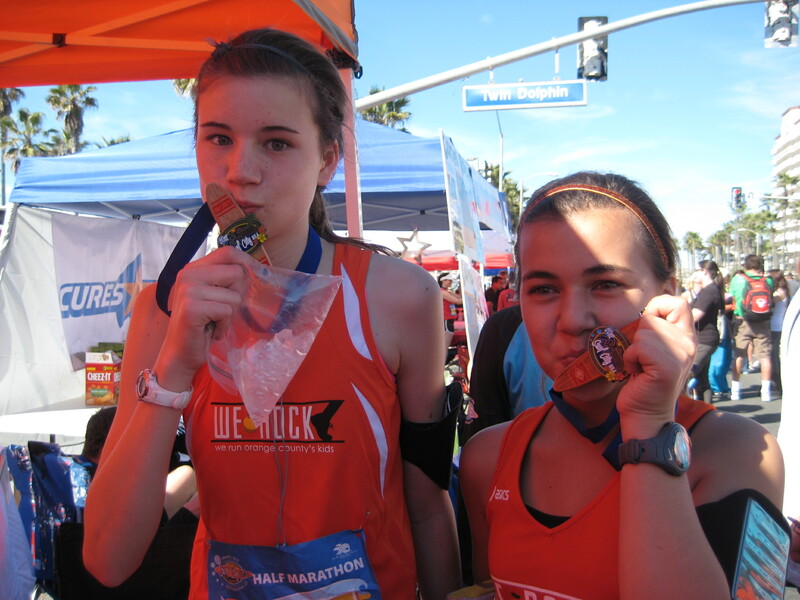 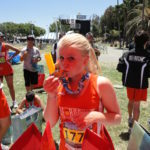 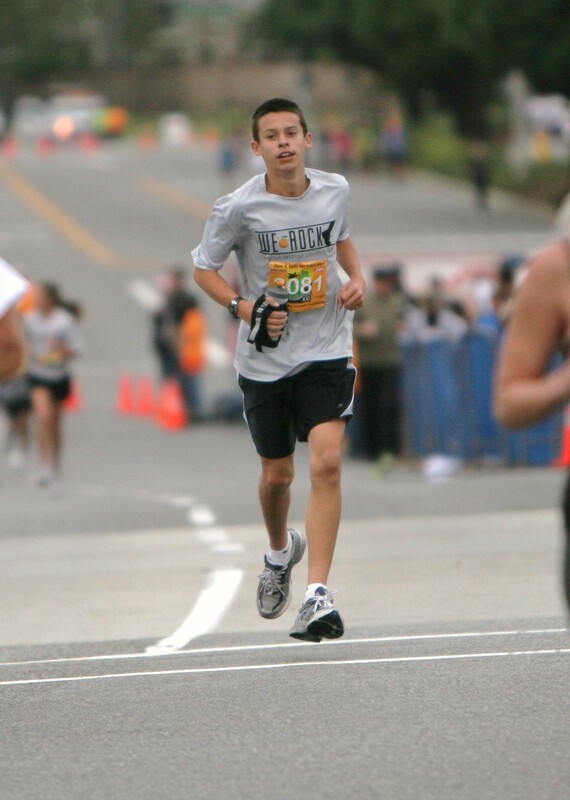 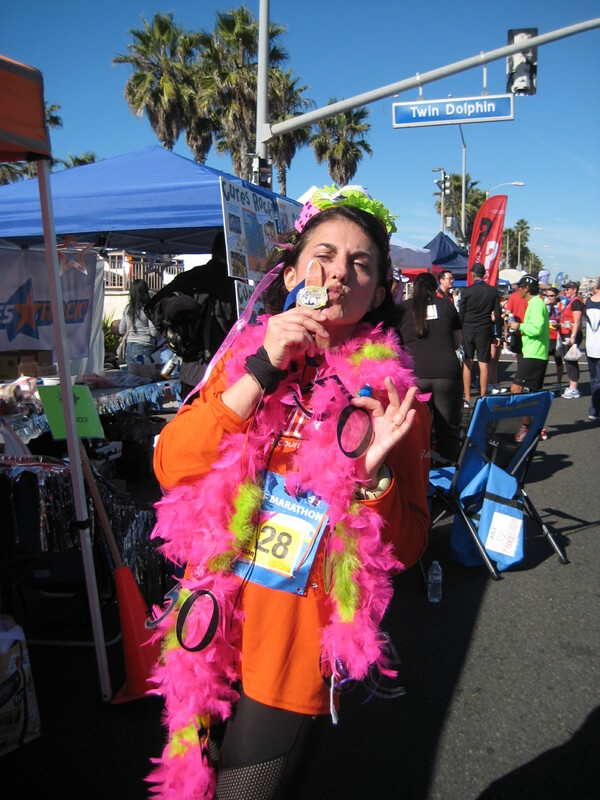 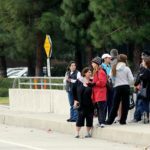 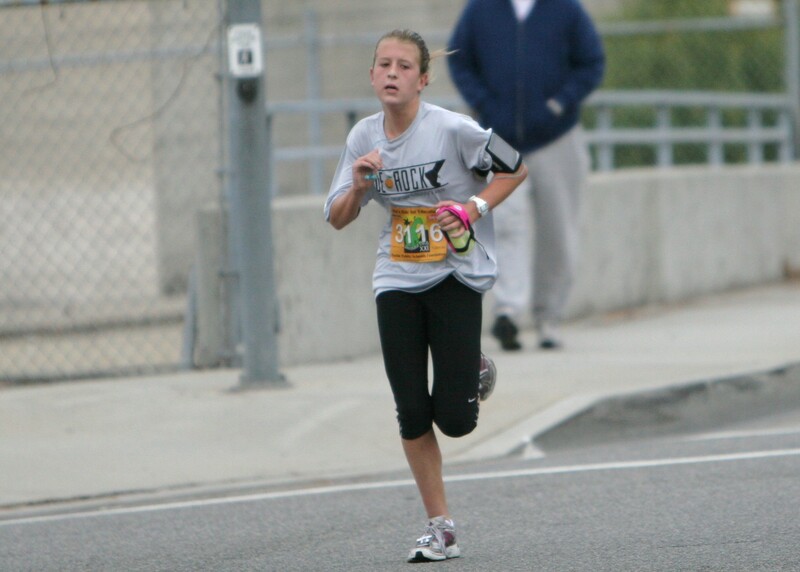 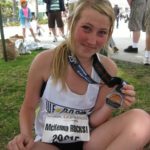 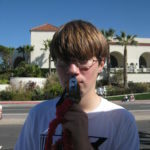 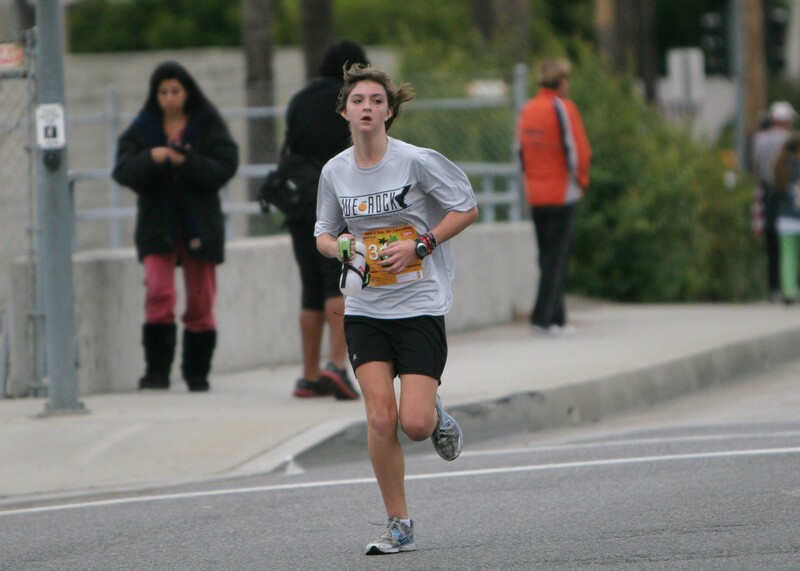 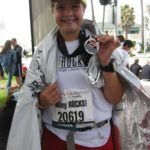 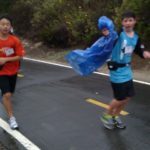 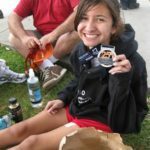 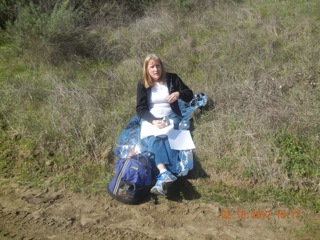 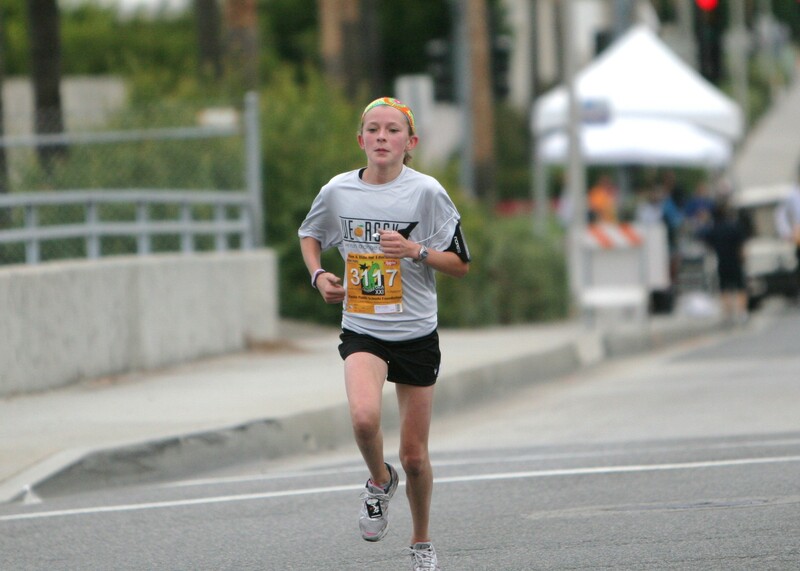 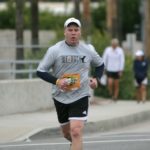 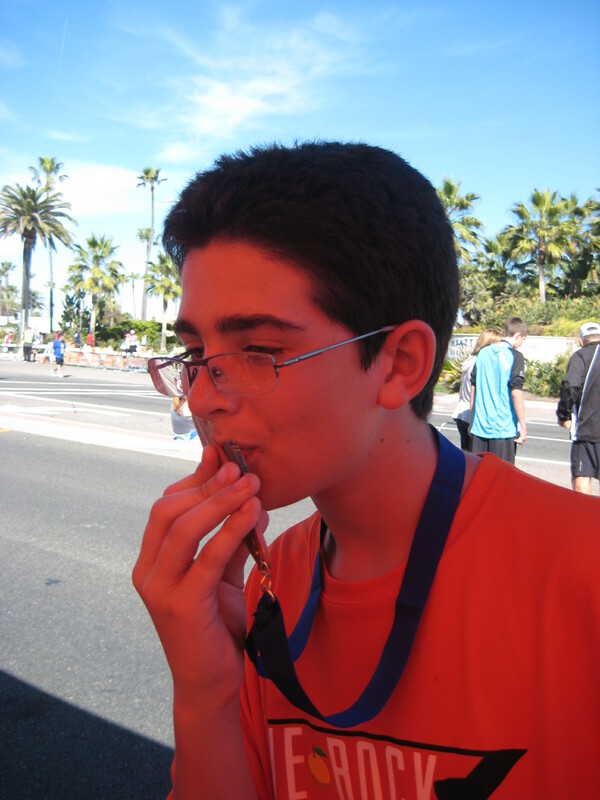 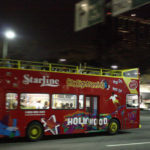 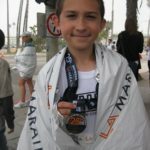 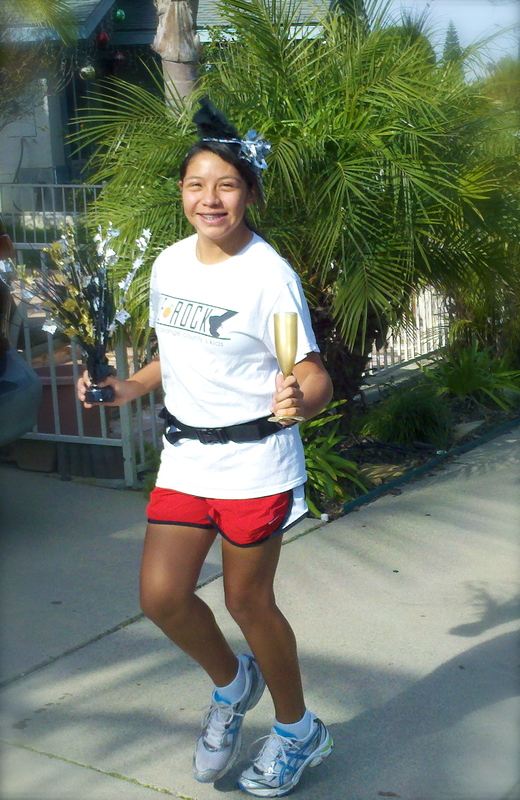 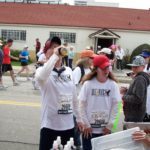 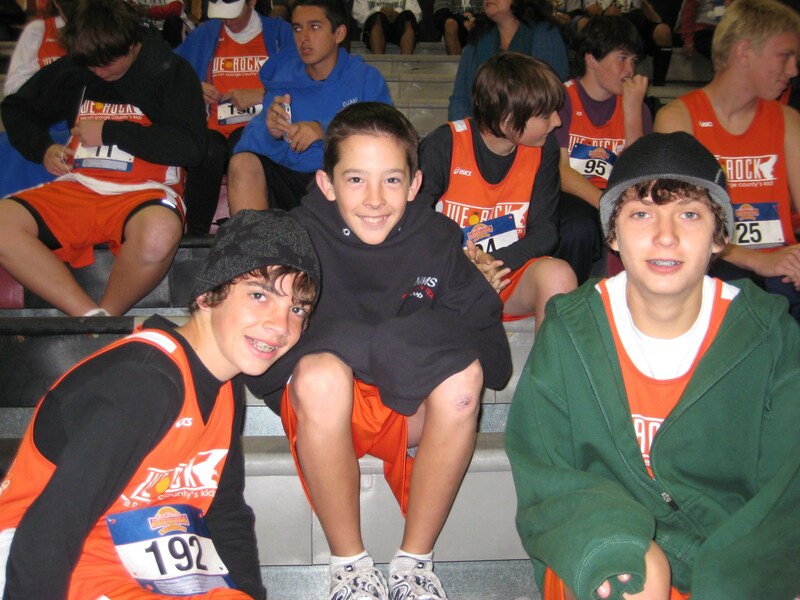 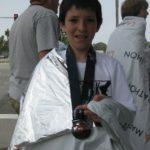 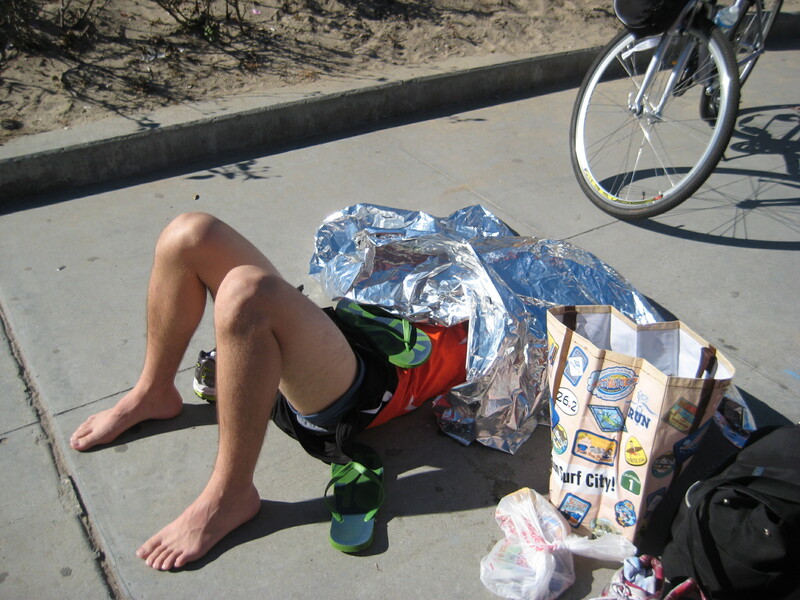 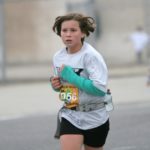 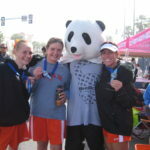 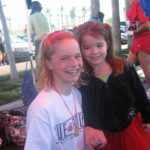 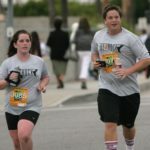 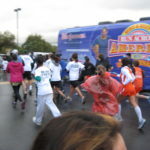 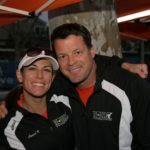 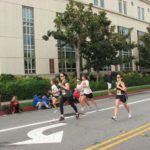 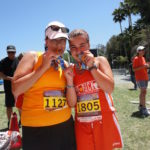 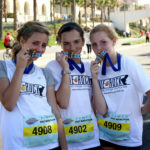 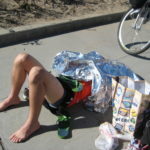 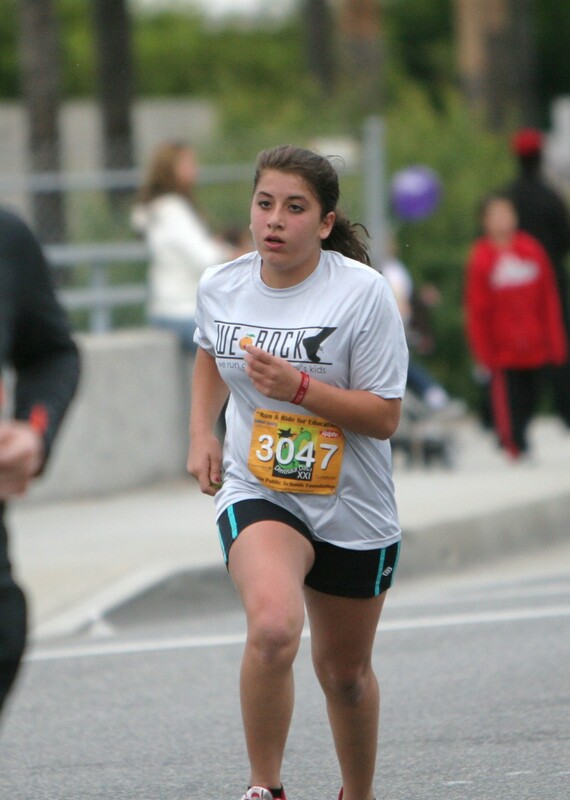 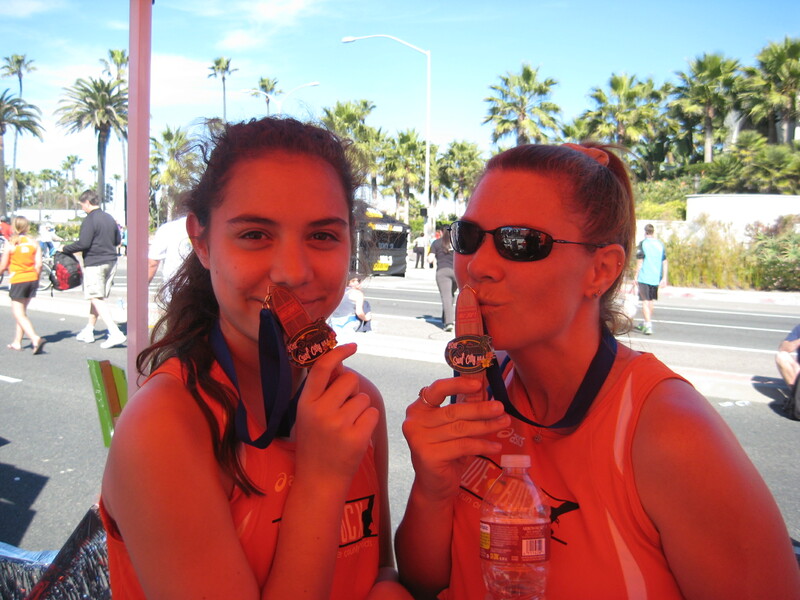 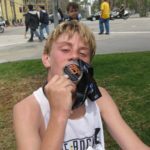 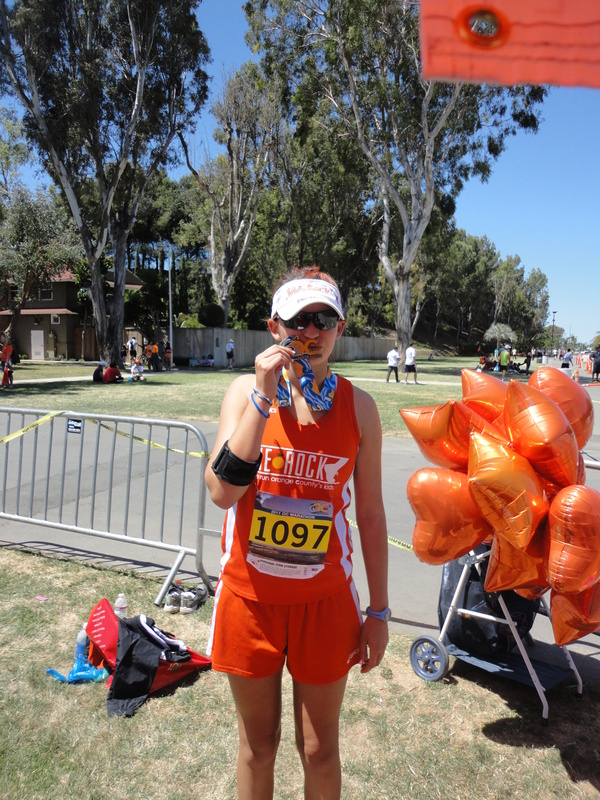 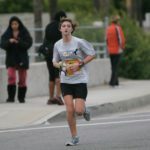 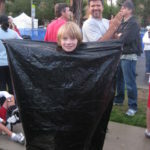 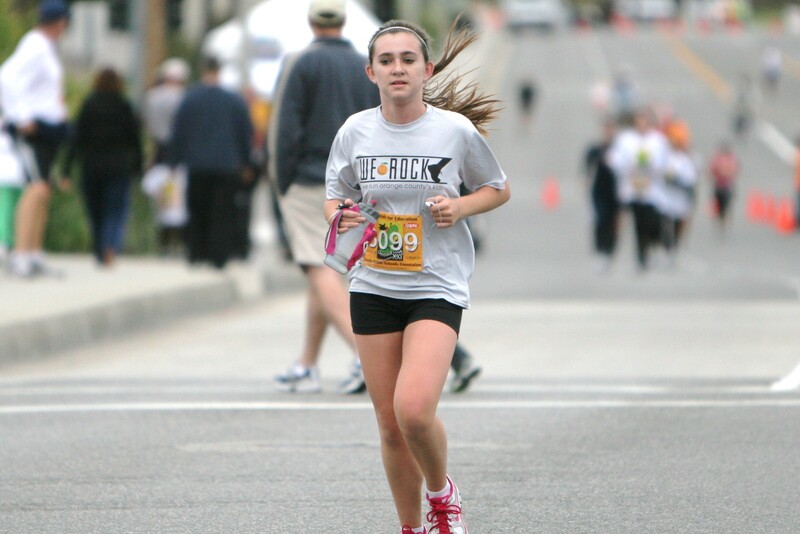 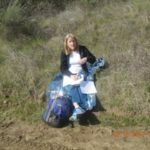 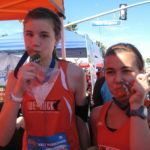 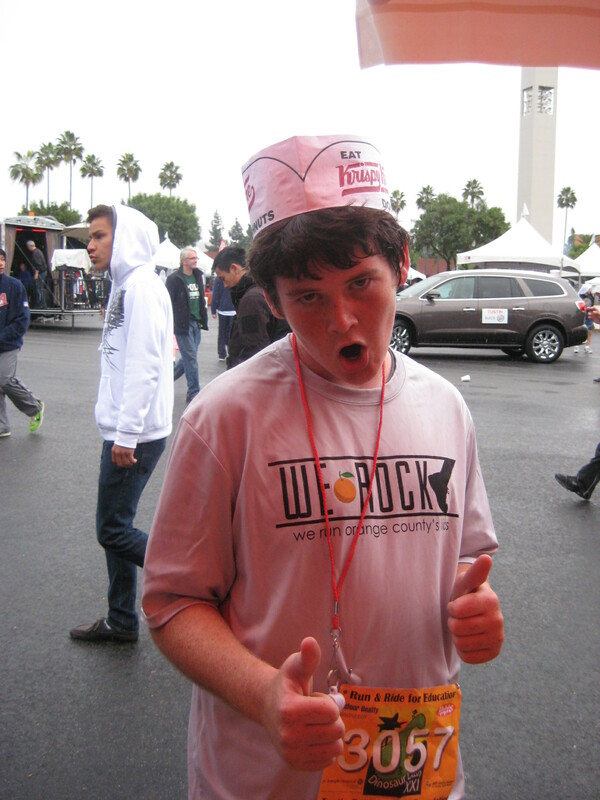 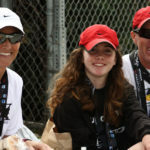 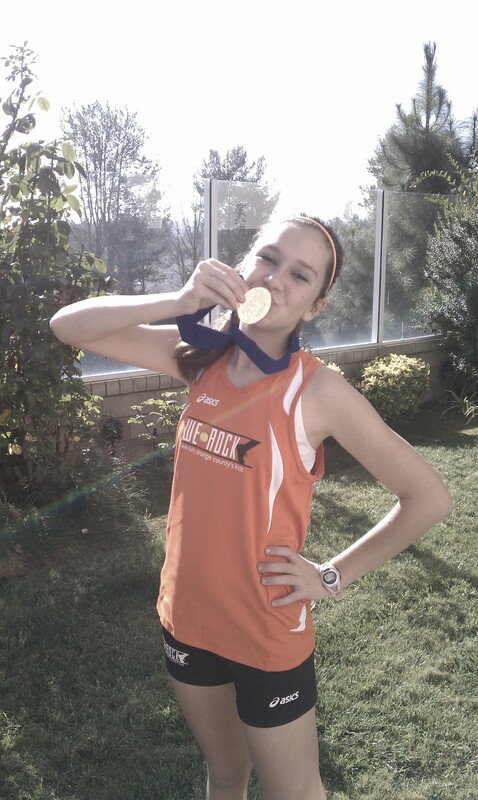 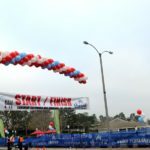 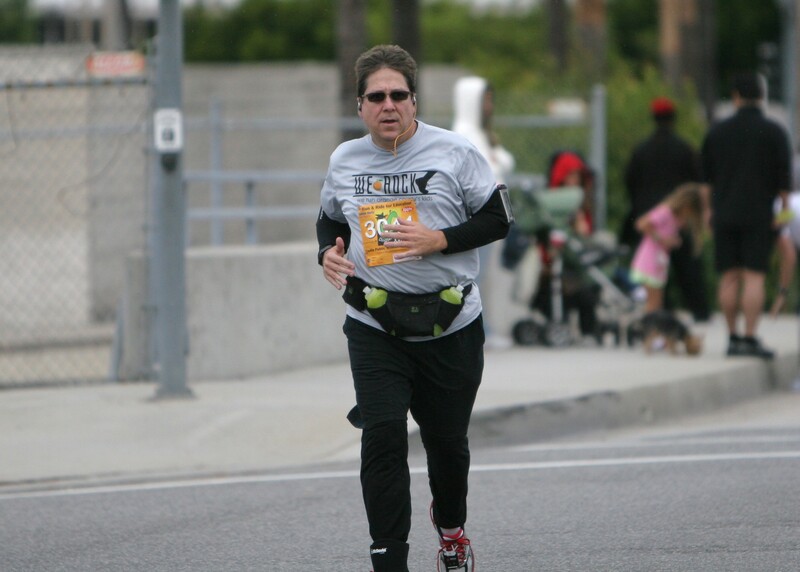 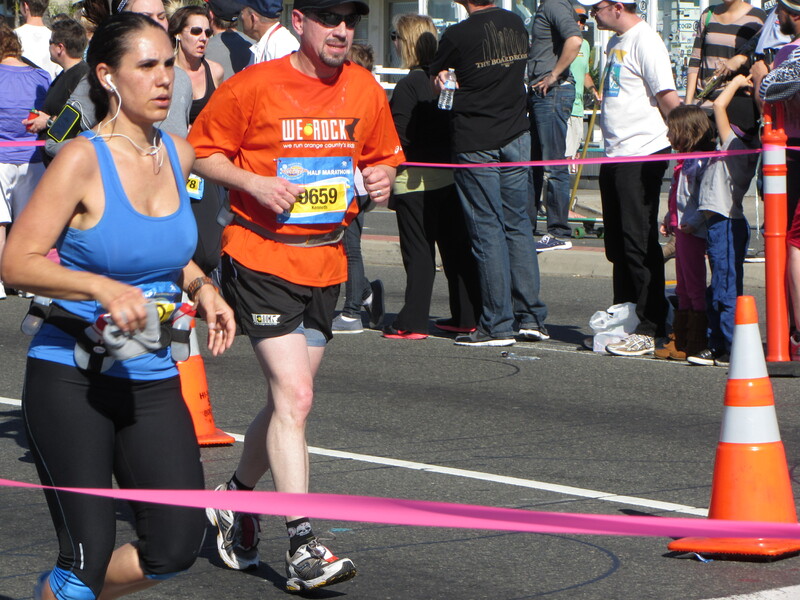 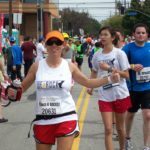 The days leading up to the LA Marathon were full of fun! 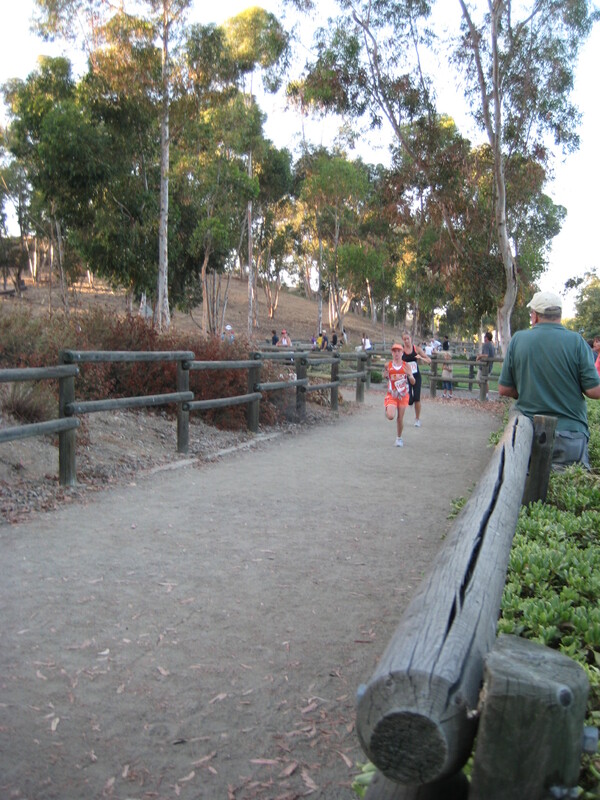 Challenging course with a lot of hills. 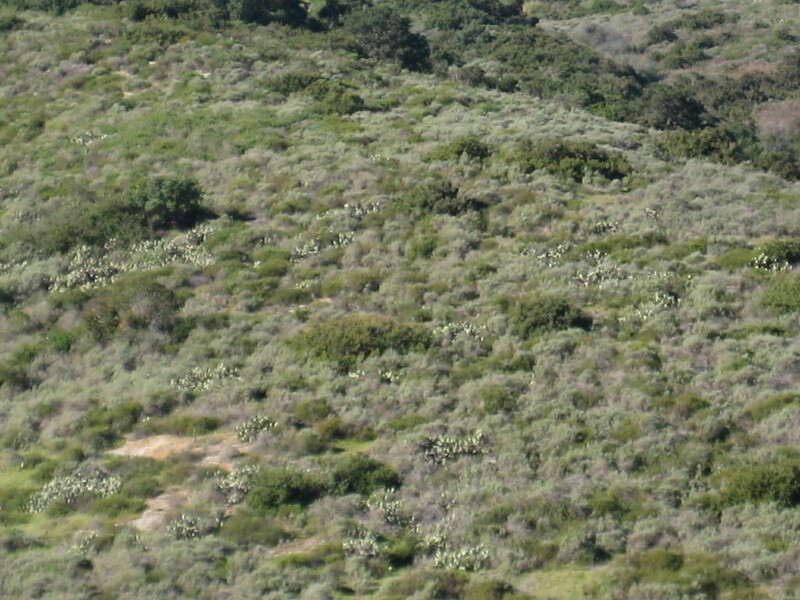 Wild Buffalo and amazing ocean views. 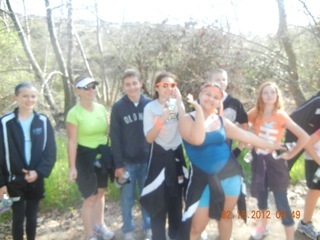 We ROCKed Catalina! 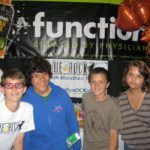 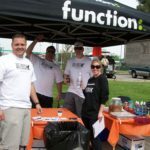 THANK YOU to Function for the water that kept us going. 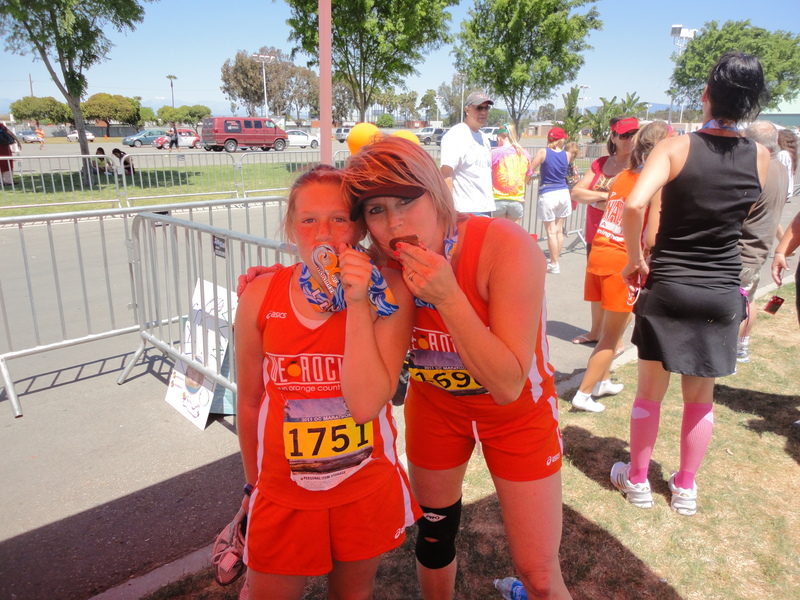 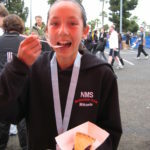 THANK YOU to Sprinkles for the delicious post race treats! 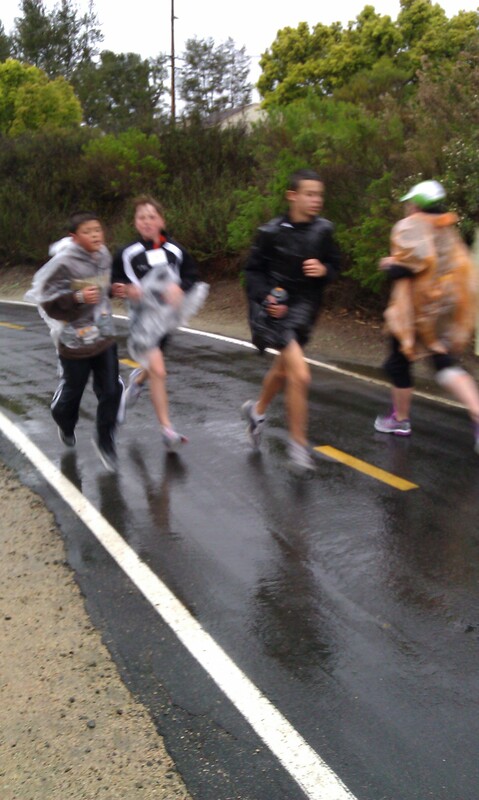 Once again, the weather was ON OUR side and we had a great race!!! 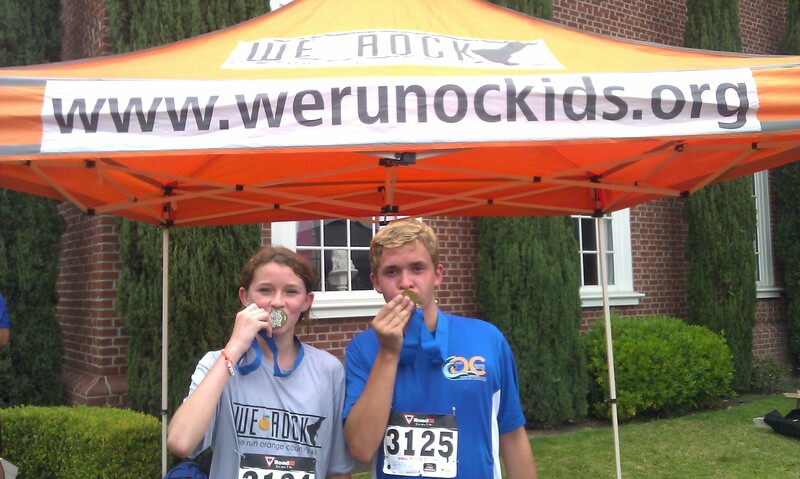 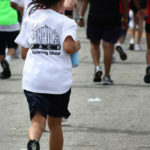 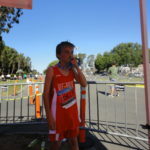 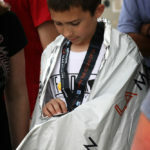 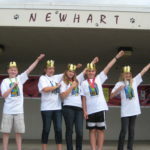 The kids thought the race course was OK, but LOVED the medals and shirts. 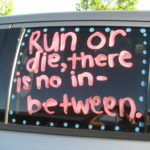 I would have to agree! 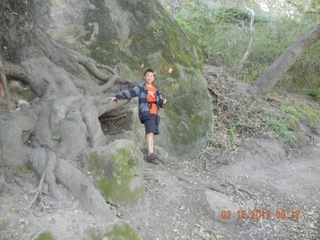 I LOVED THE VIEW!! 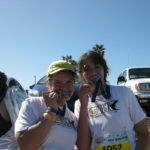 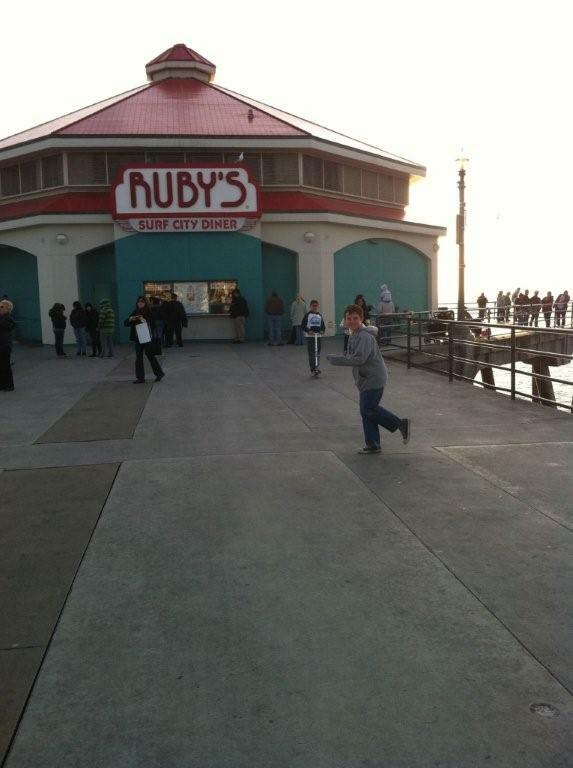 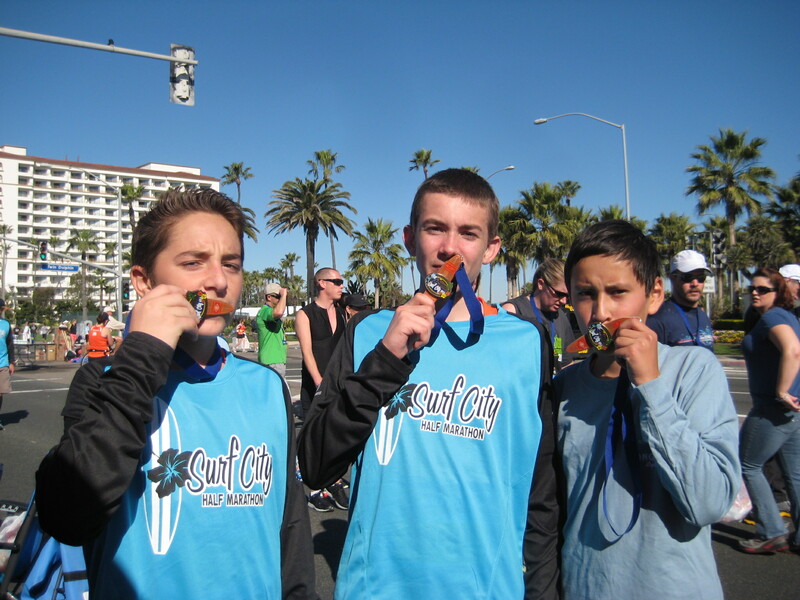 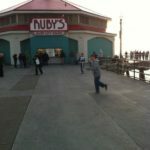 CONGRATS TO ALL FINISHERS OF THE SURF CITY RACE!!!! 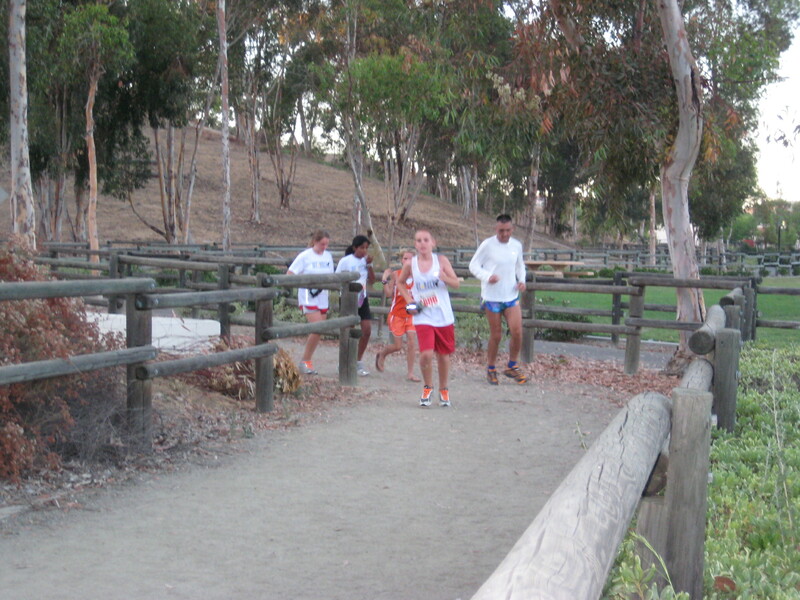 Believe it or not…..we don’t always run. 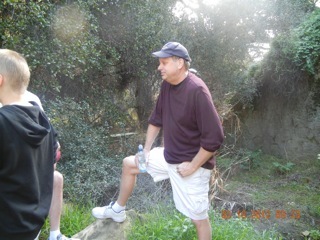 Time to relax the muscles and do a little hiking. 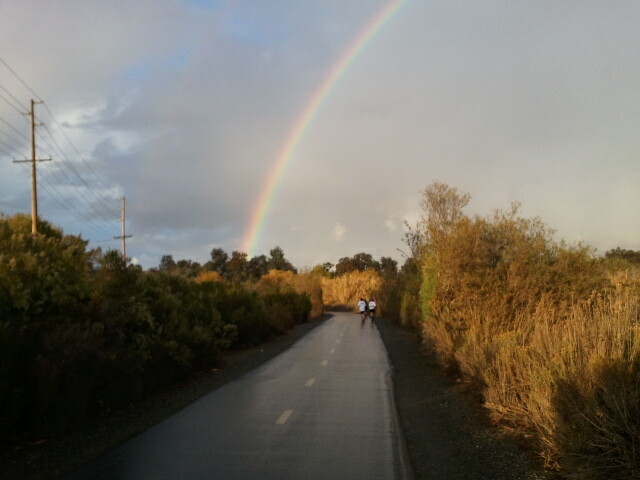 The rain ended JUST in time for our run. 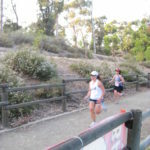 Cool conditions and a flat course made for a great day. 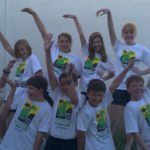 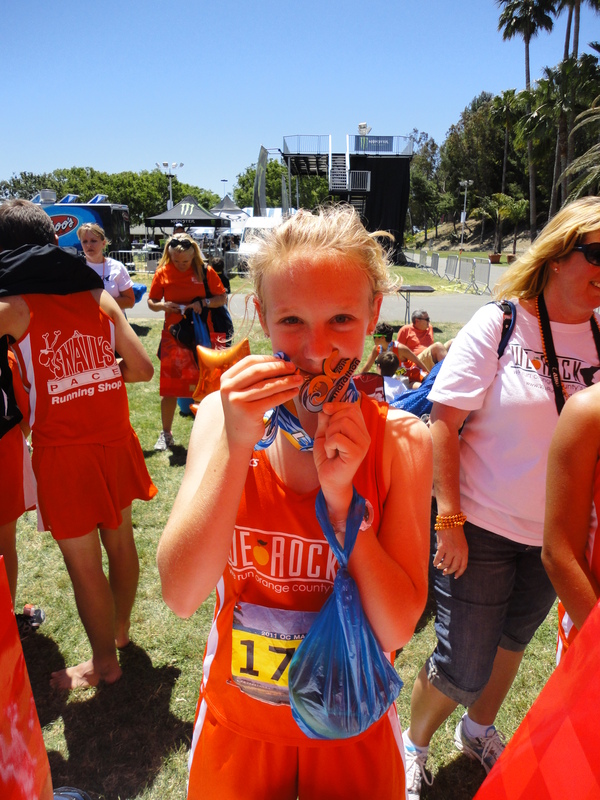 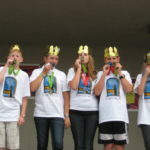 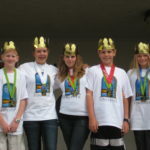 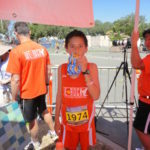 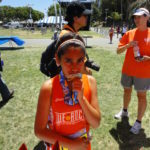 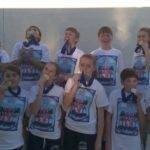 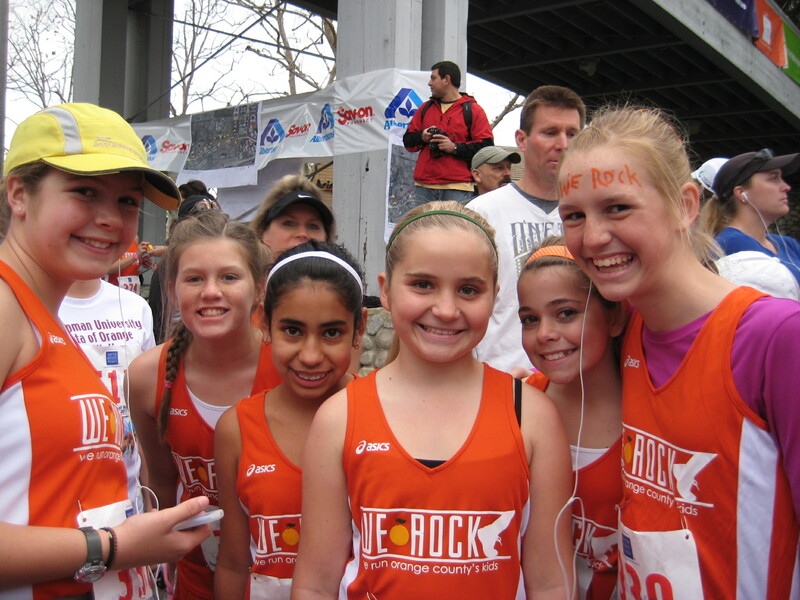 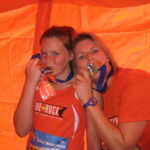 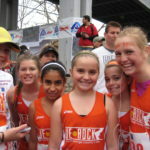 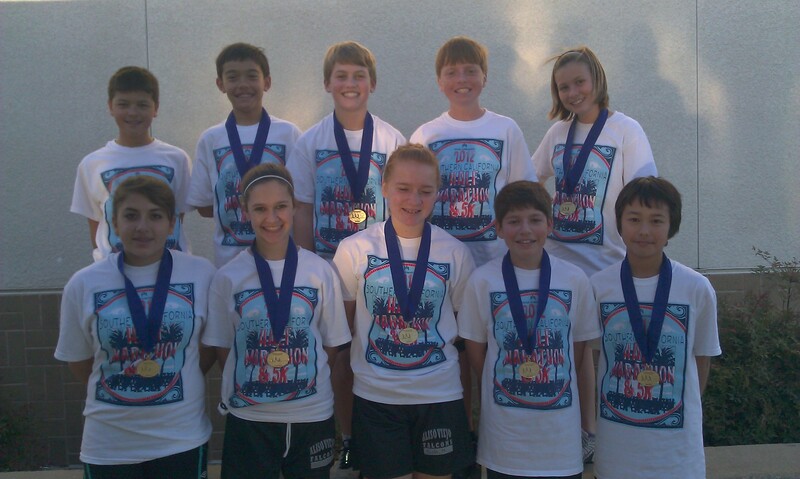 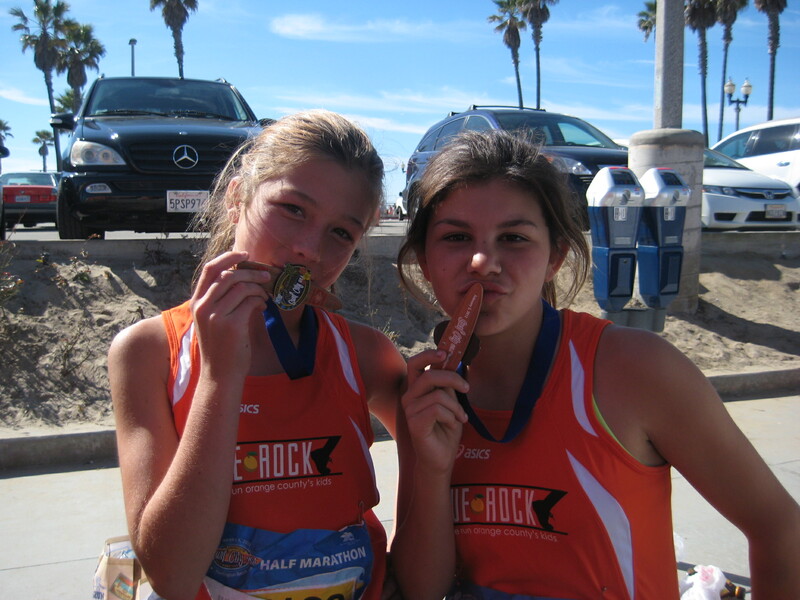 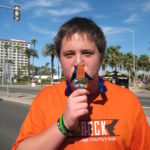 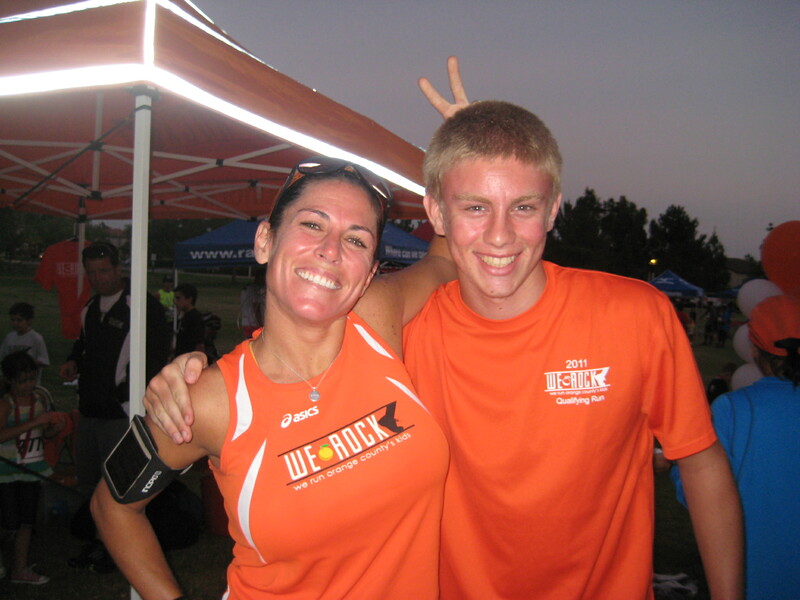 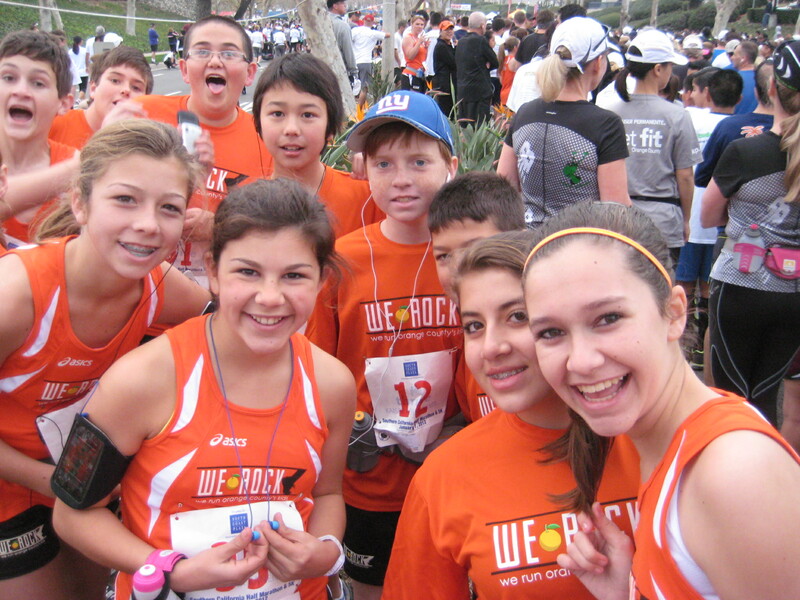 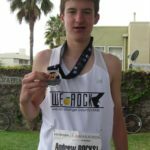 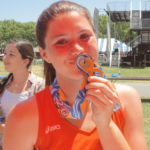 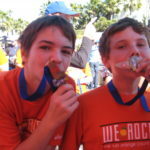 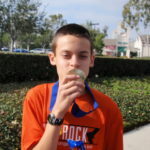 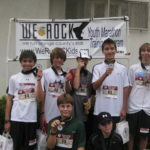 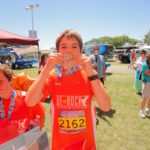 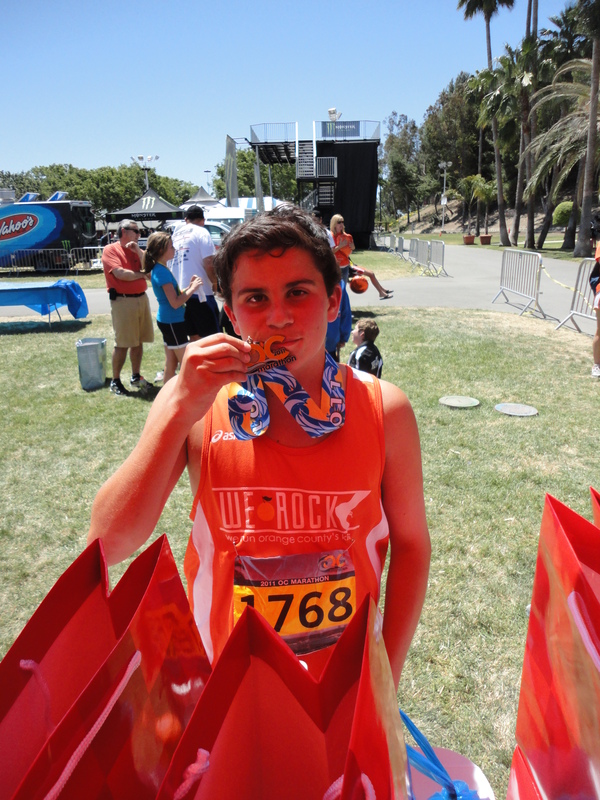 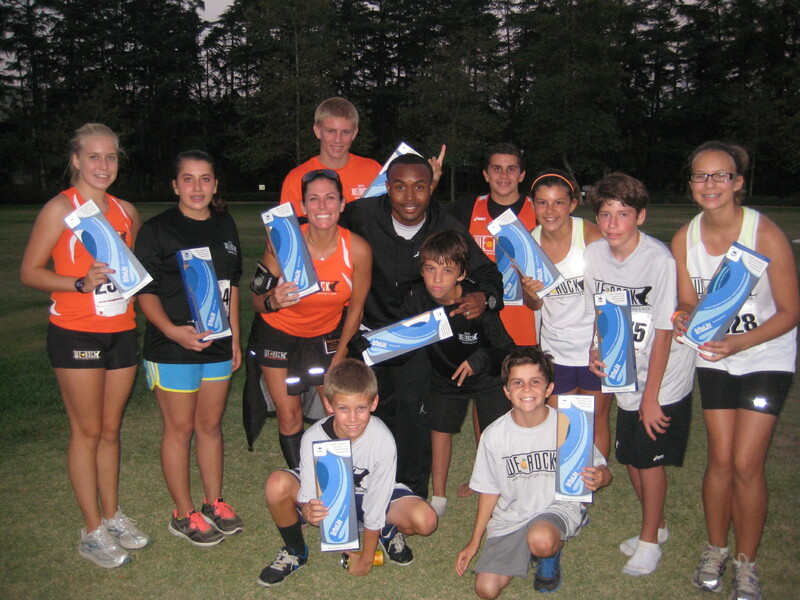 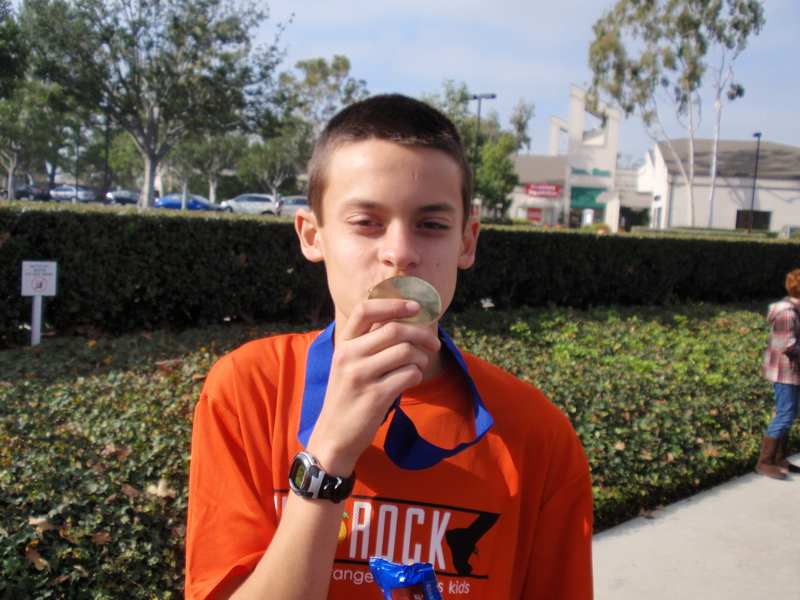 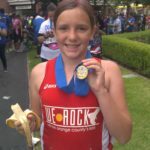 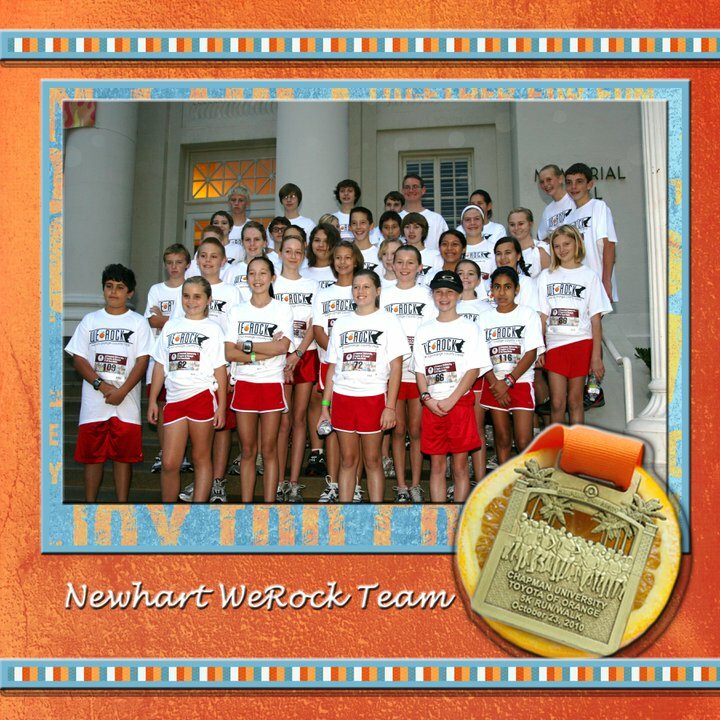 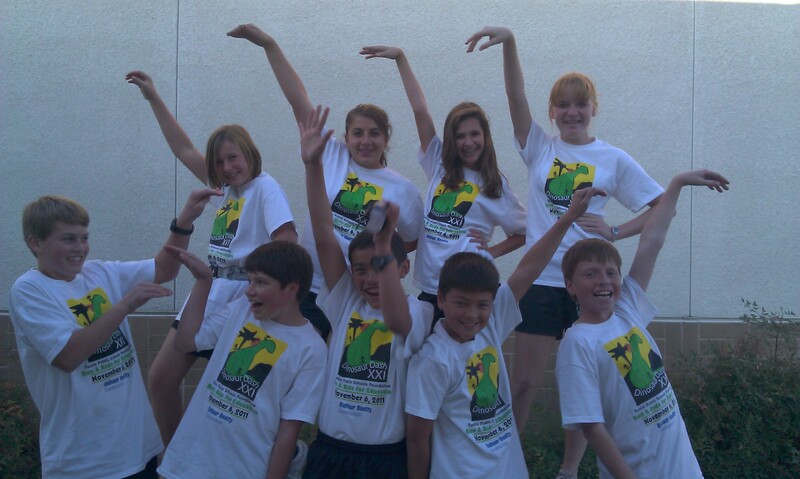 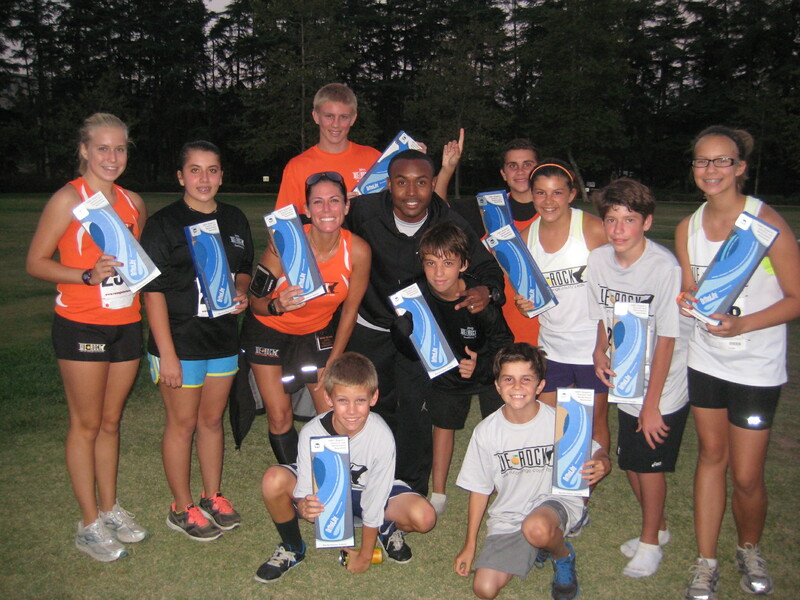 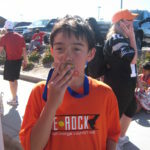 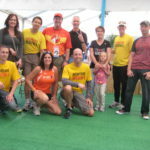 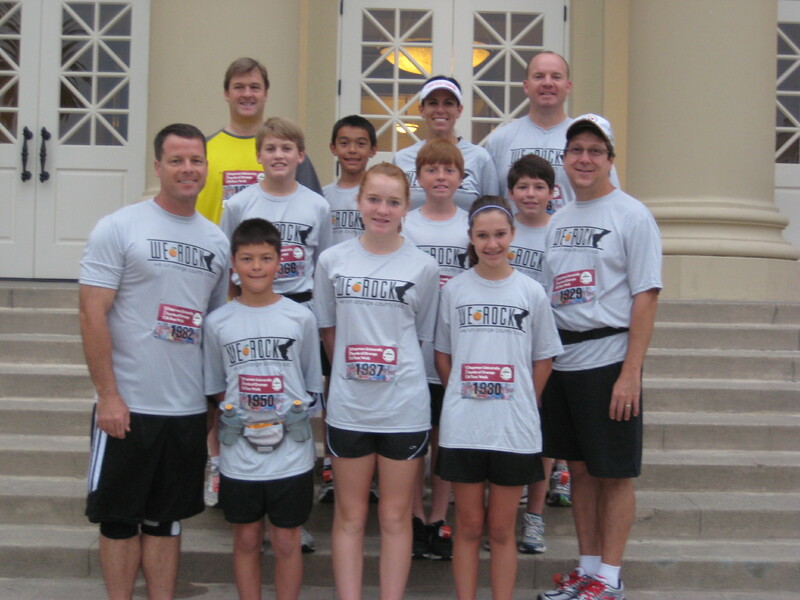 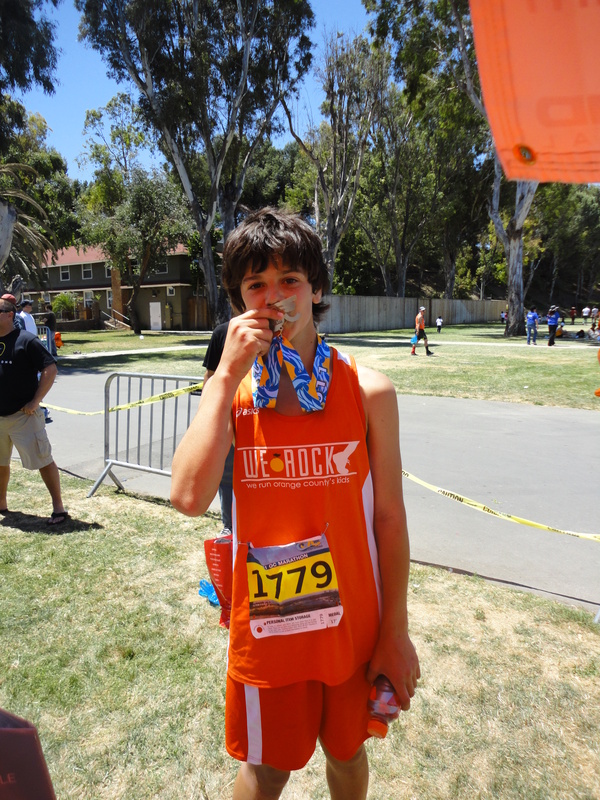 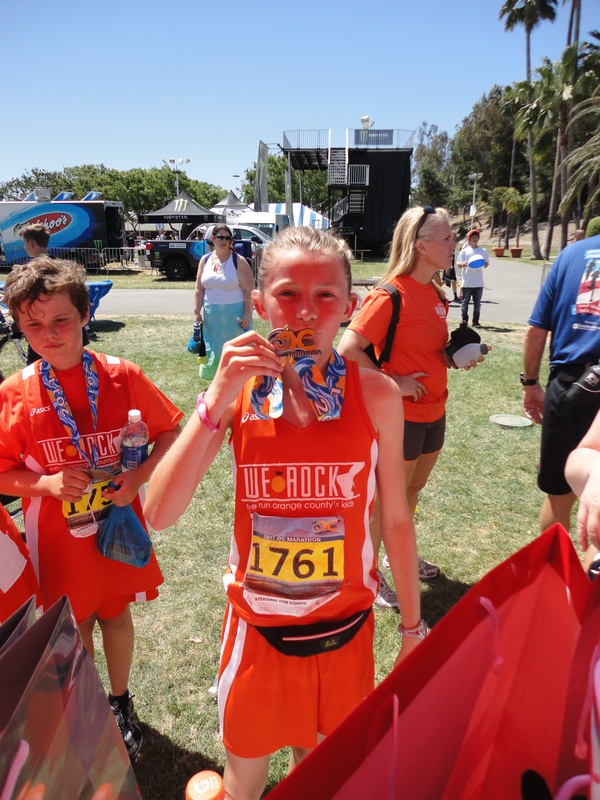 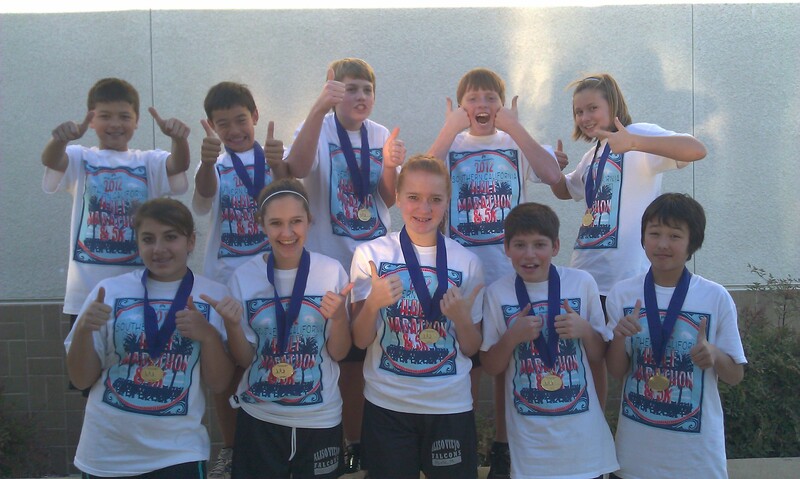 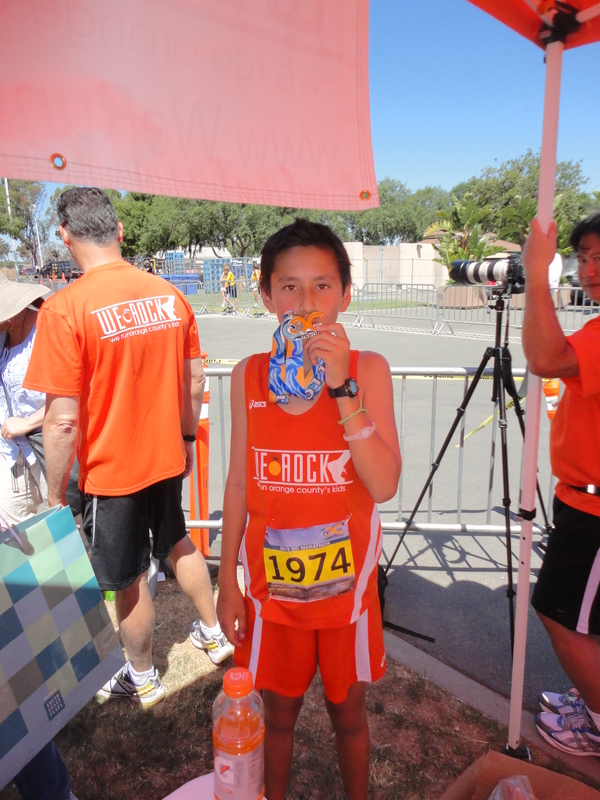 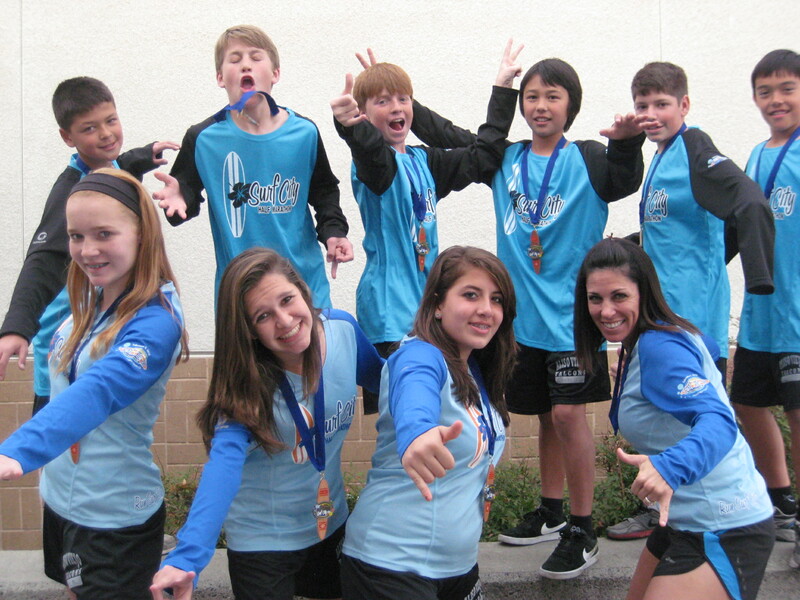 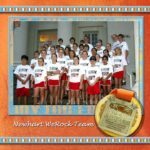 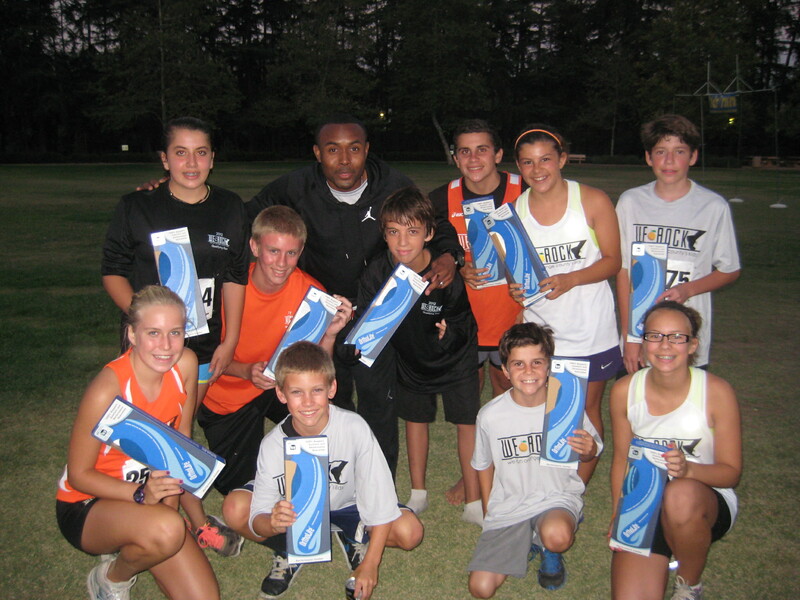 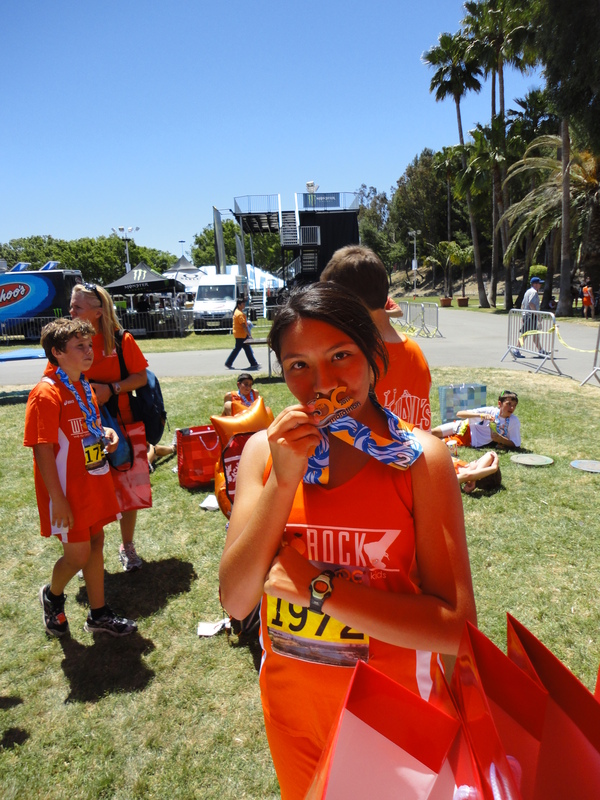 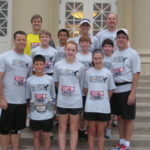 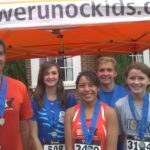 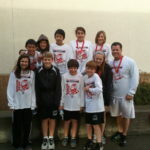 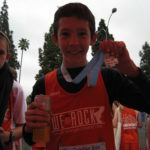 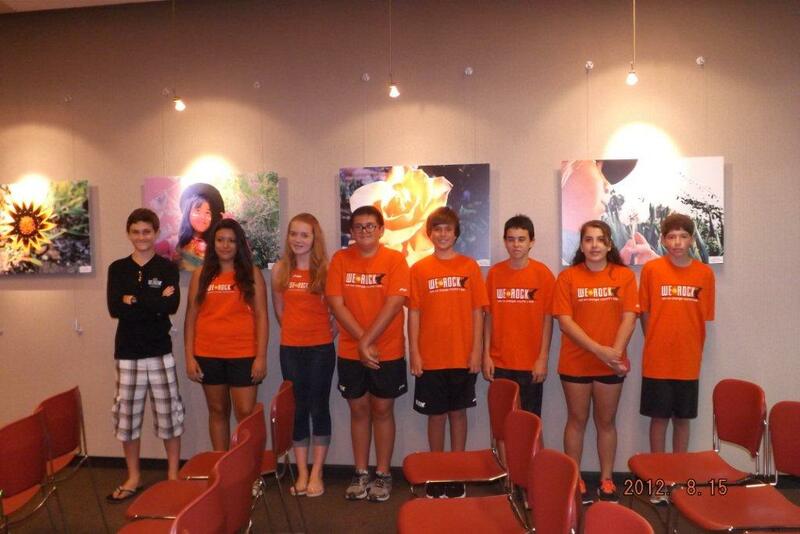 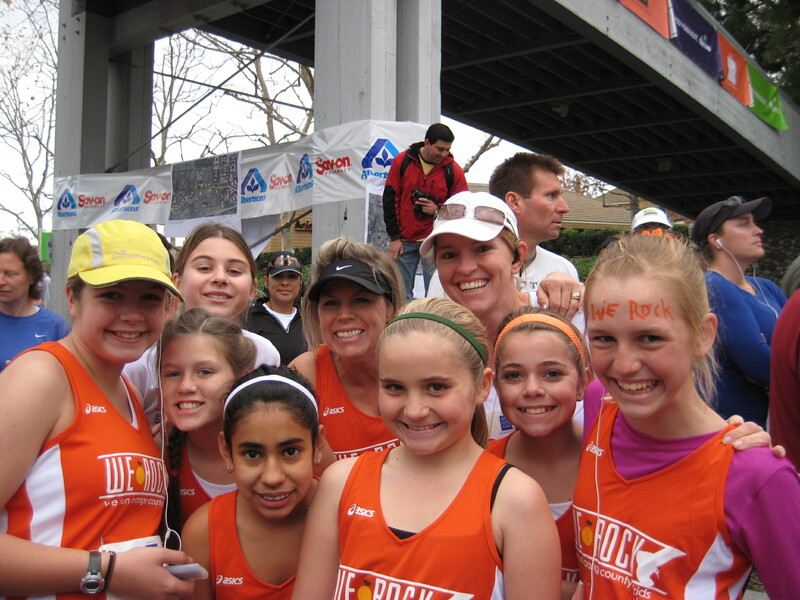 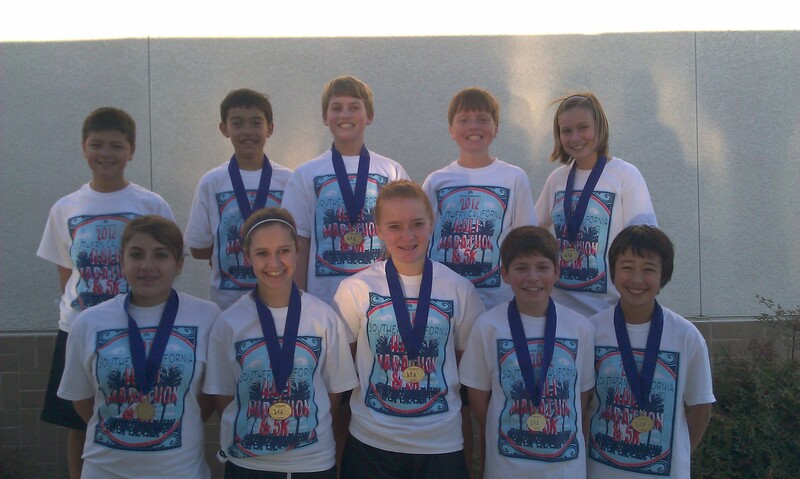 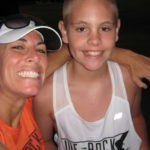 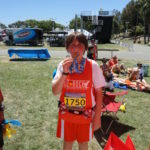 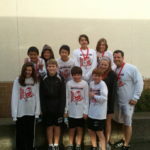 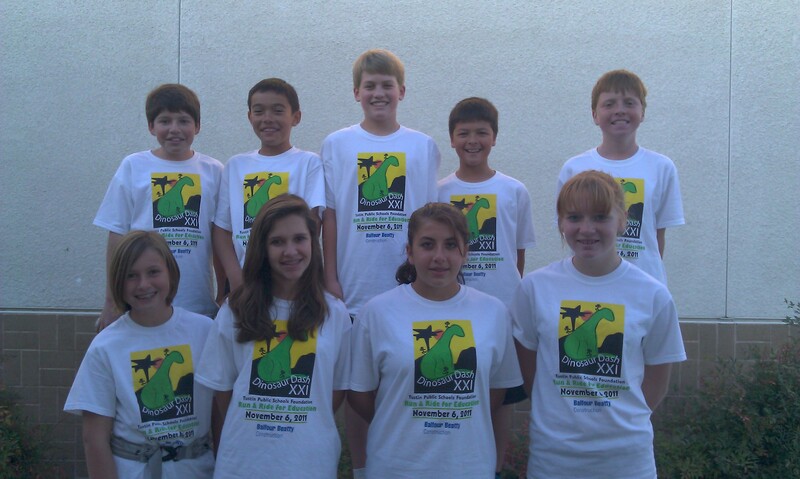 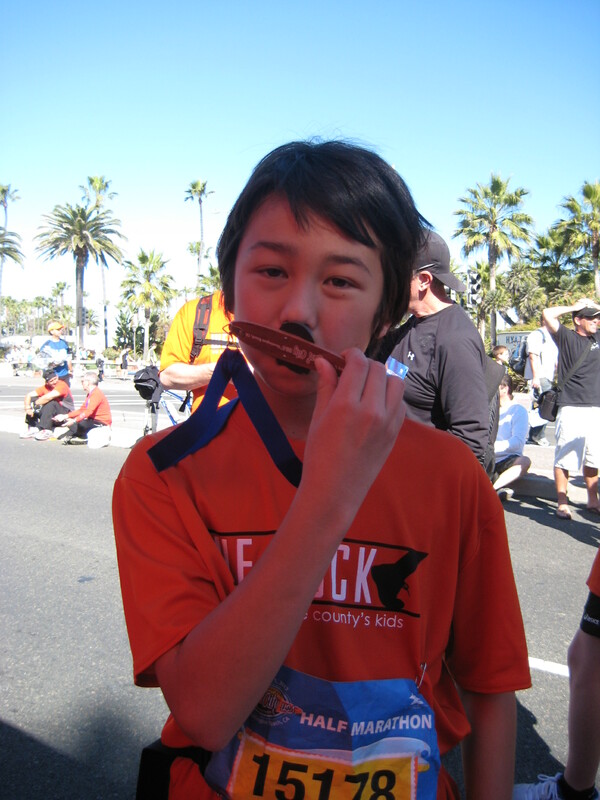 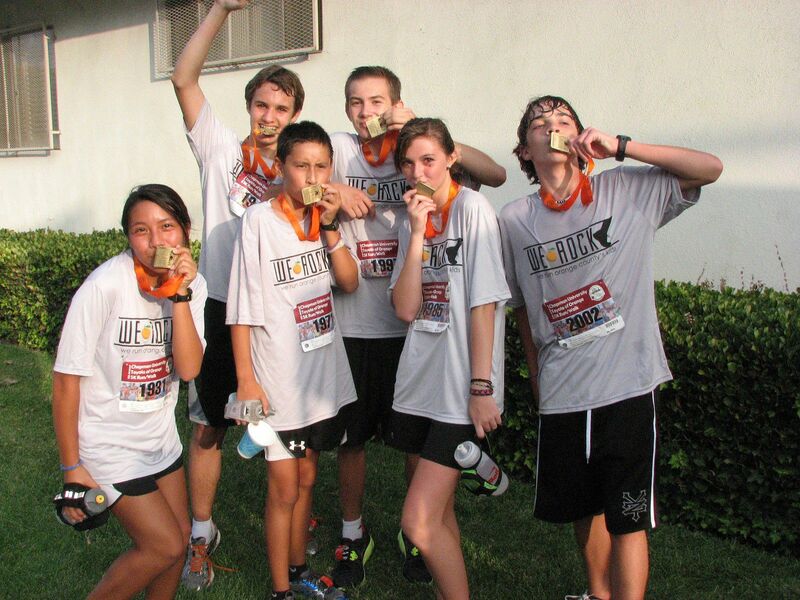 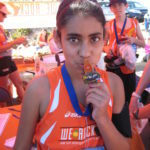 8 of the We ROCK runners won extra awards for their age group! SO proud of all the runners. 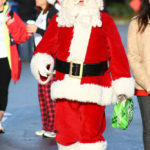 What did you tell Santa you wanted for Christmas? 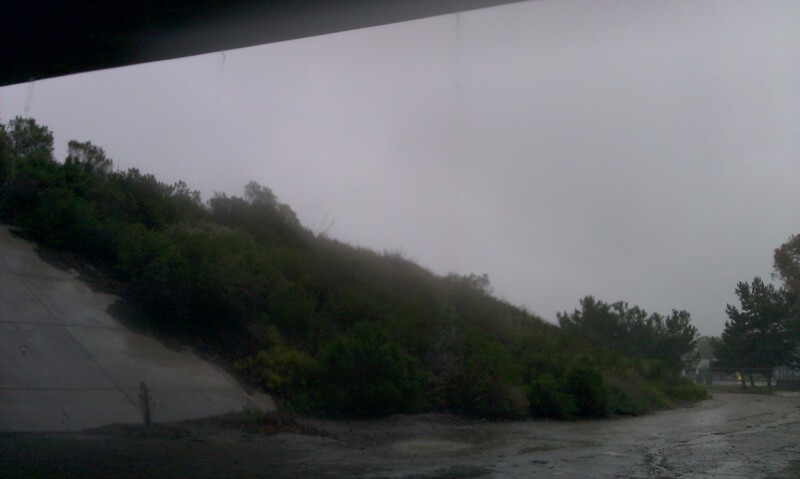 Perfect weather! 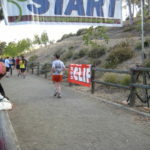 Fast course! 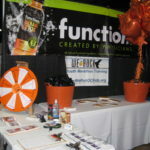 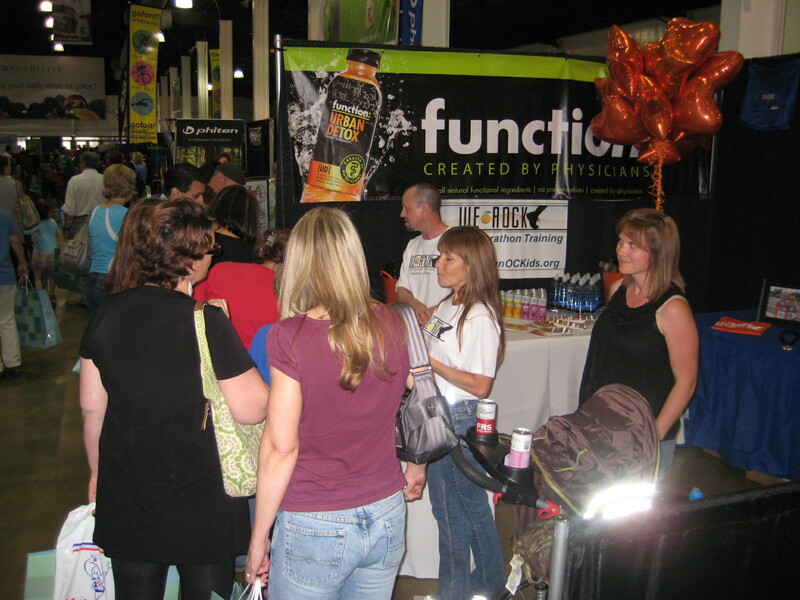 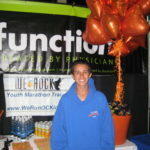 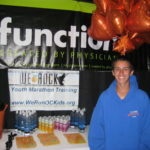 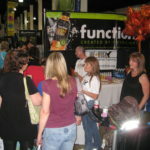 GREAT post race EXPO! 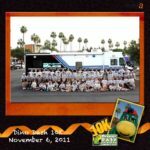 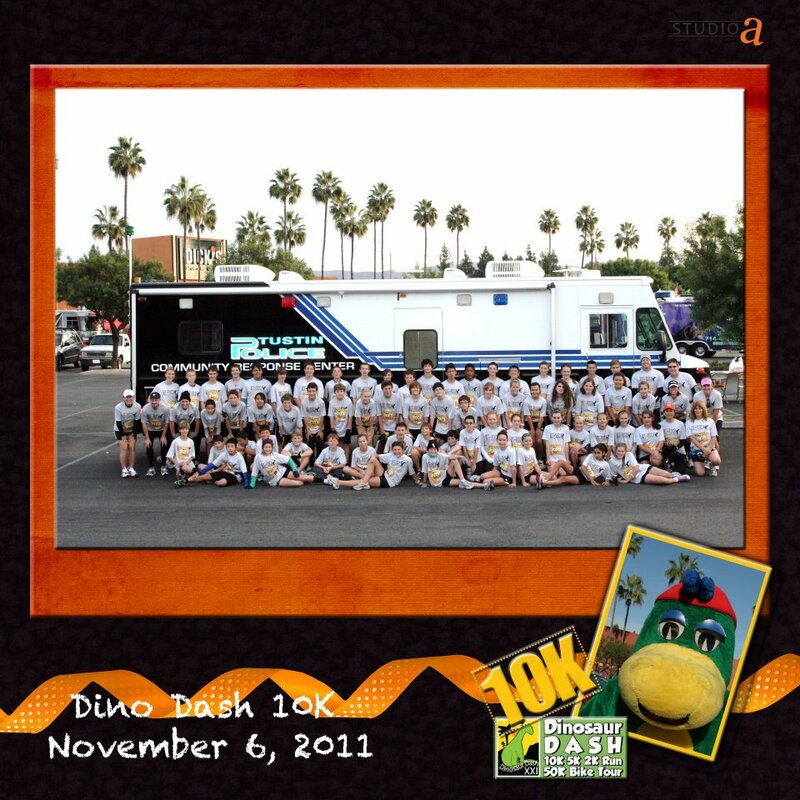 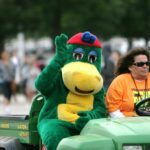 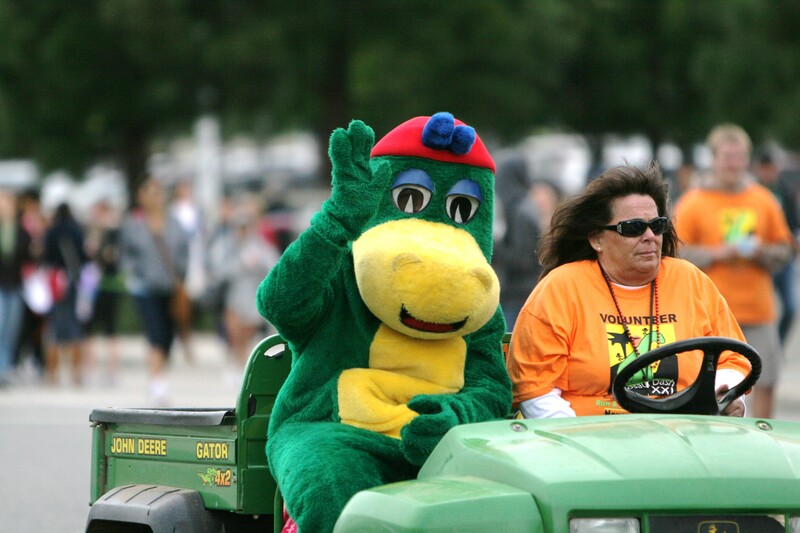 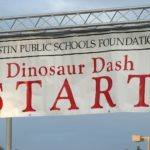 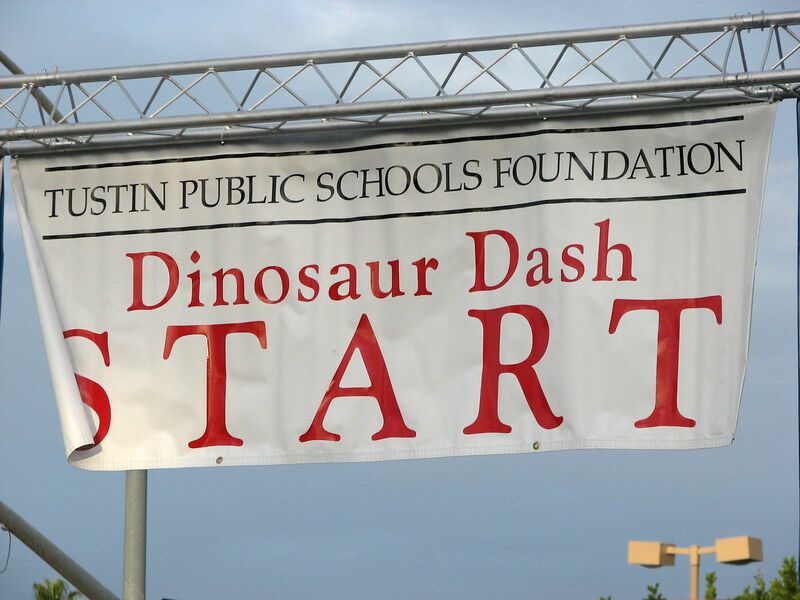 We had a great time at the Dino Dash! 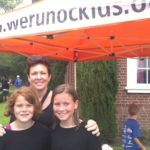 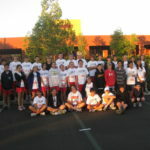 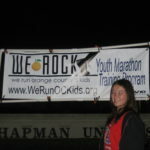 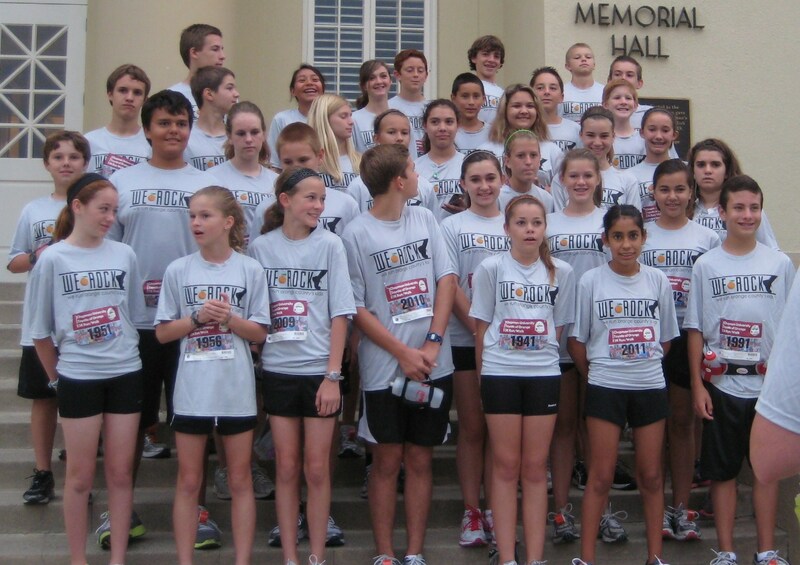 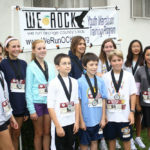 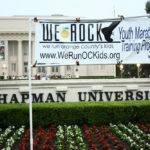 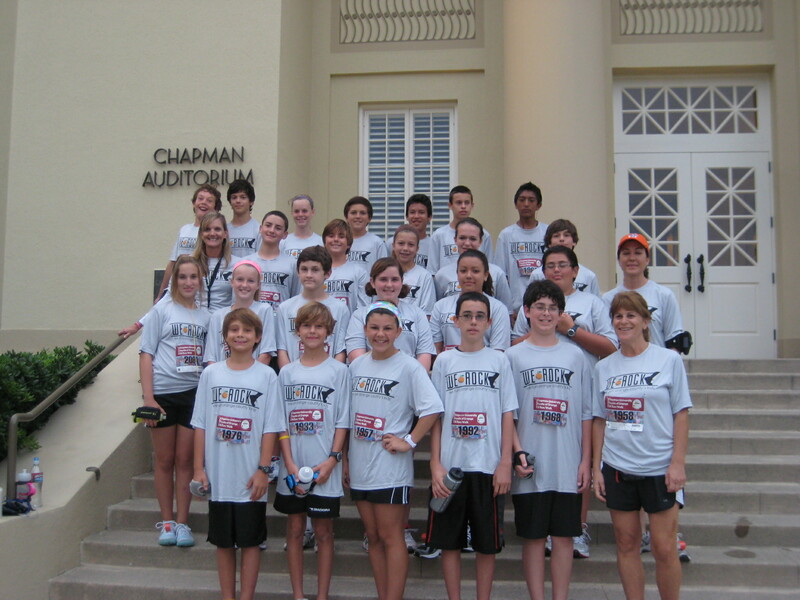 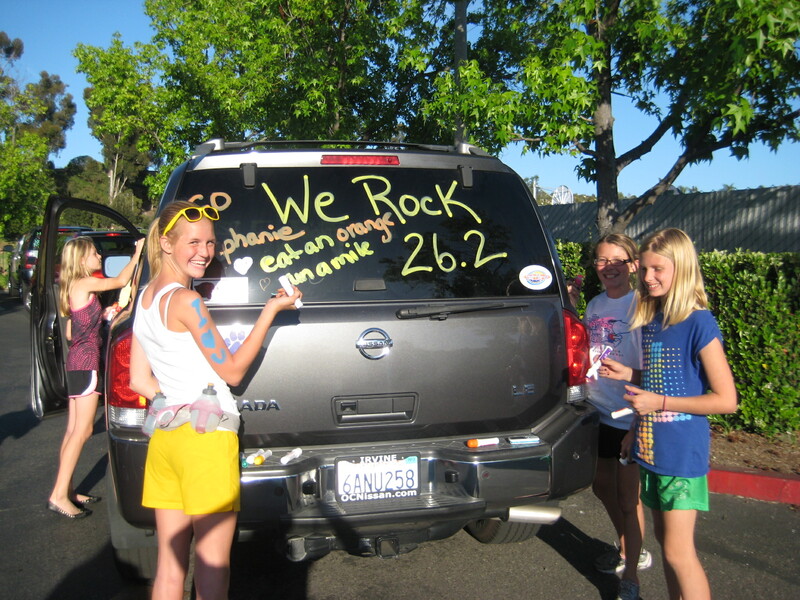 Congratulations to ALL of the We ROCK runners for completing the Chapman 5K. 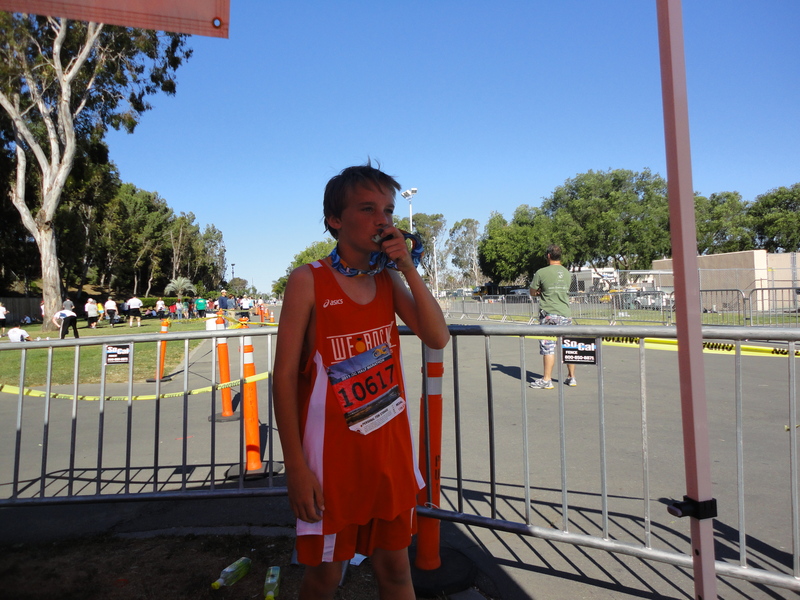 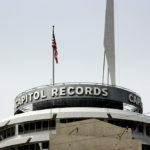 History was made today! 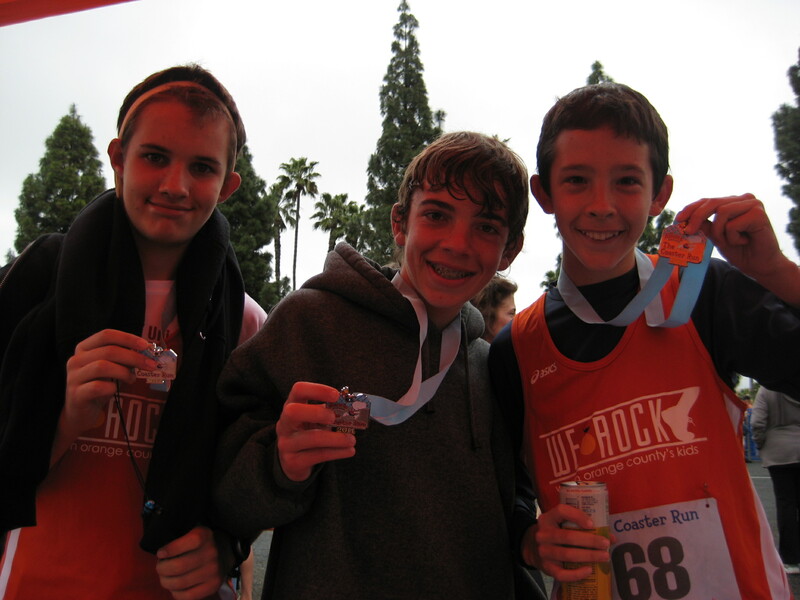 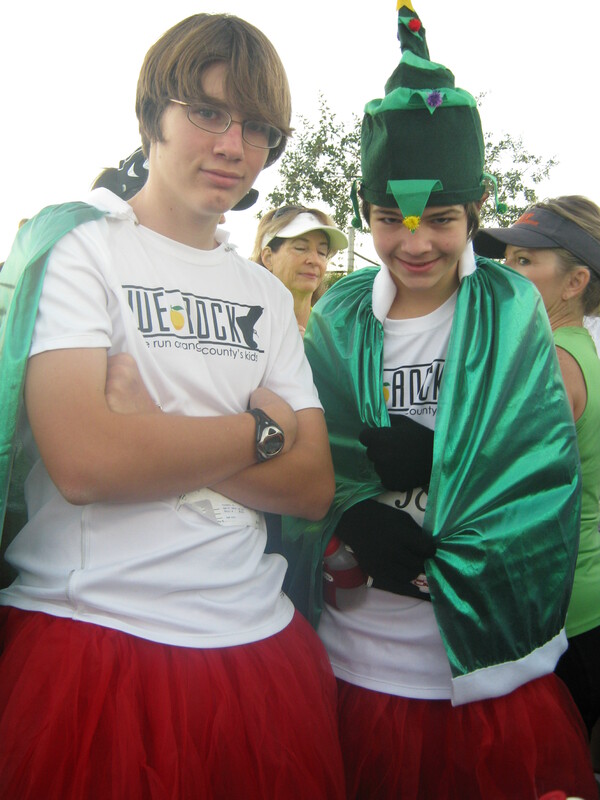 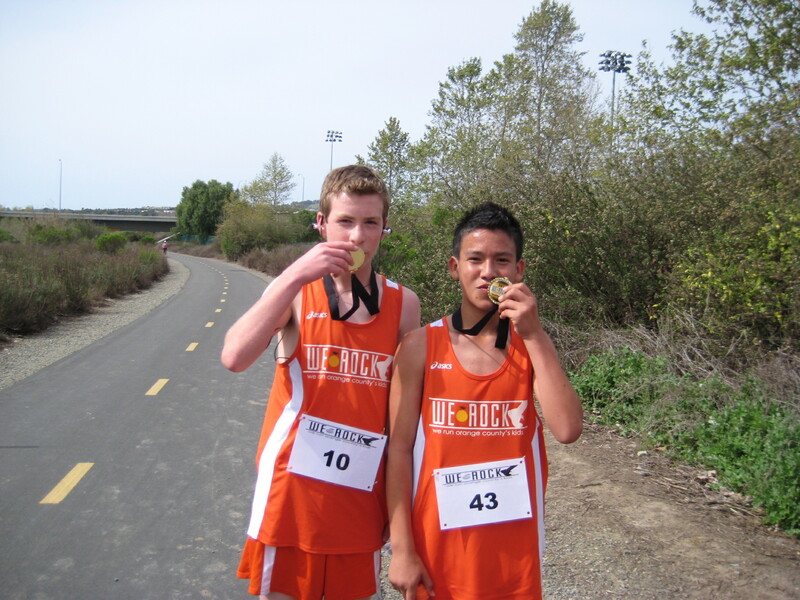 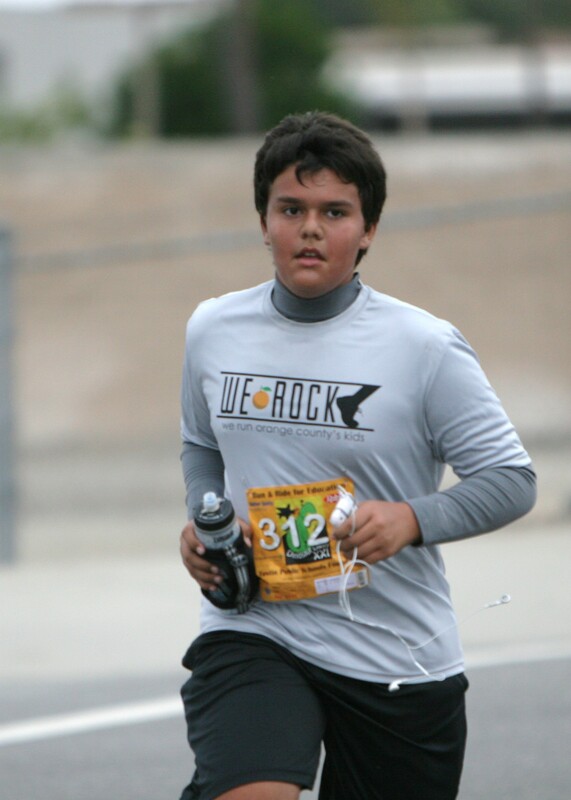 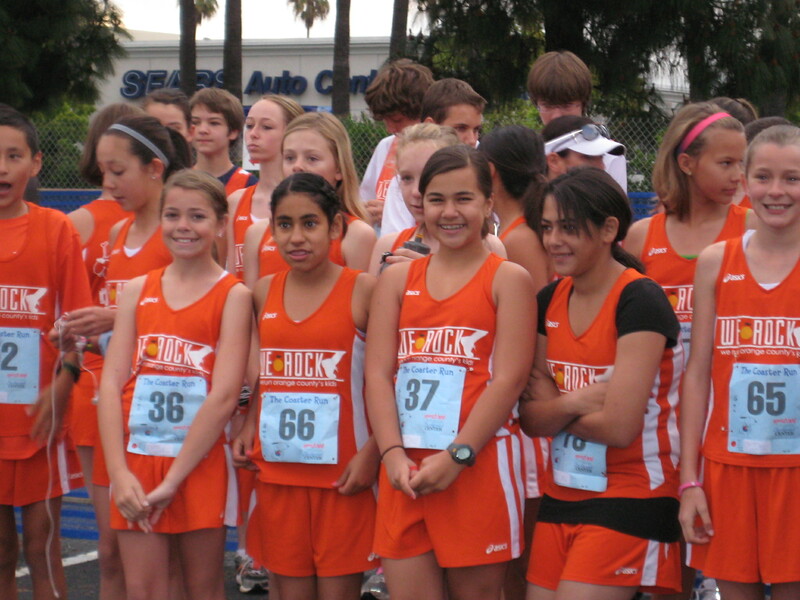 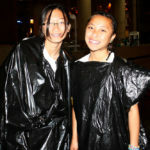 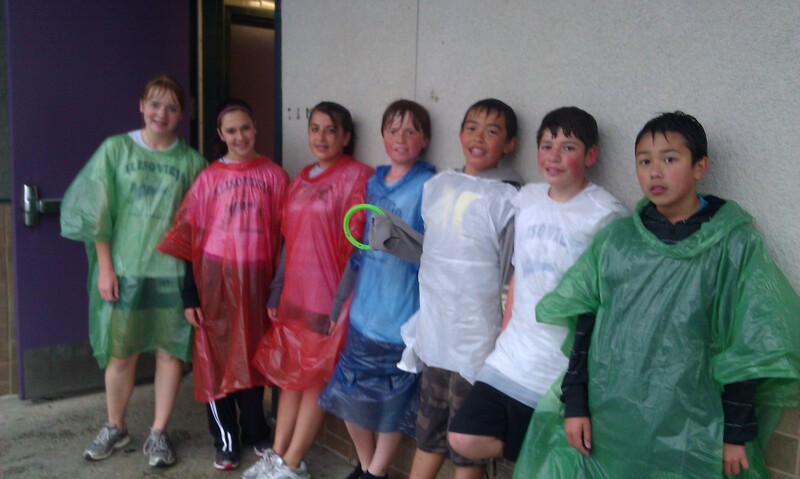 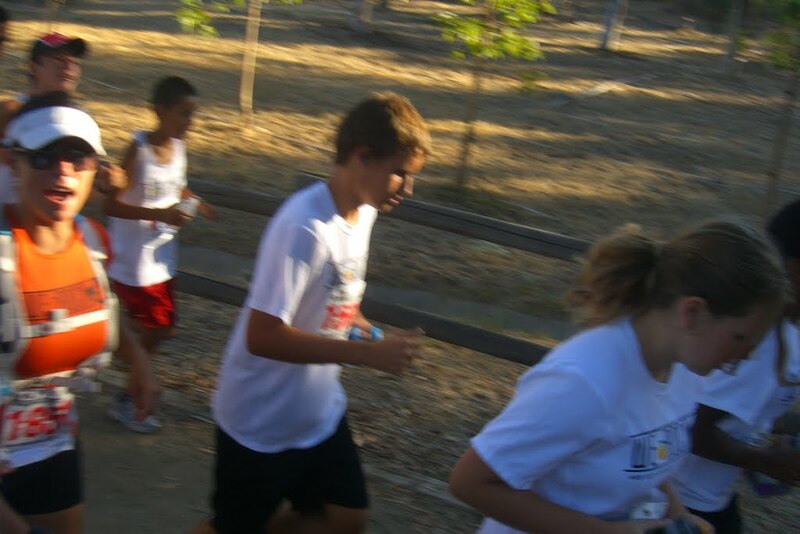 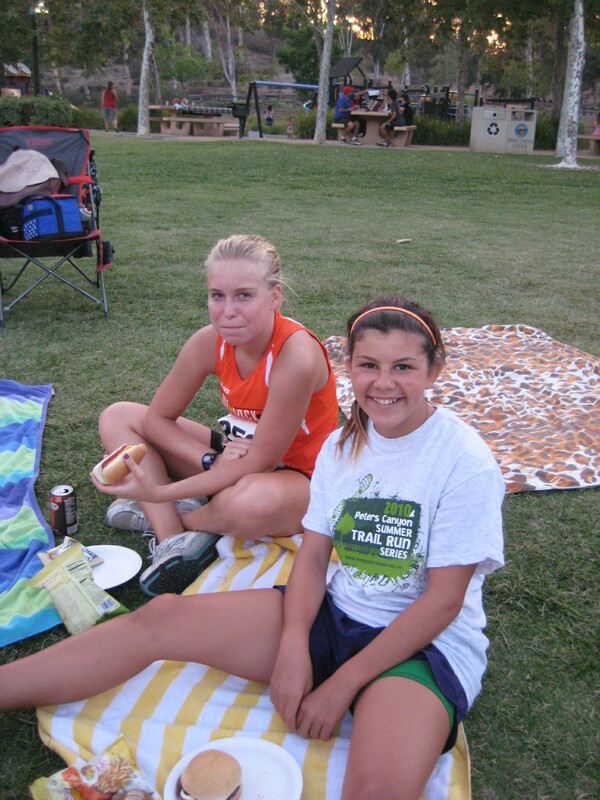 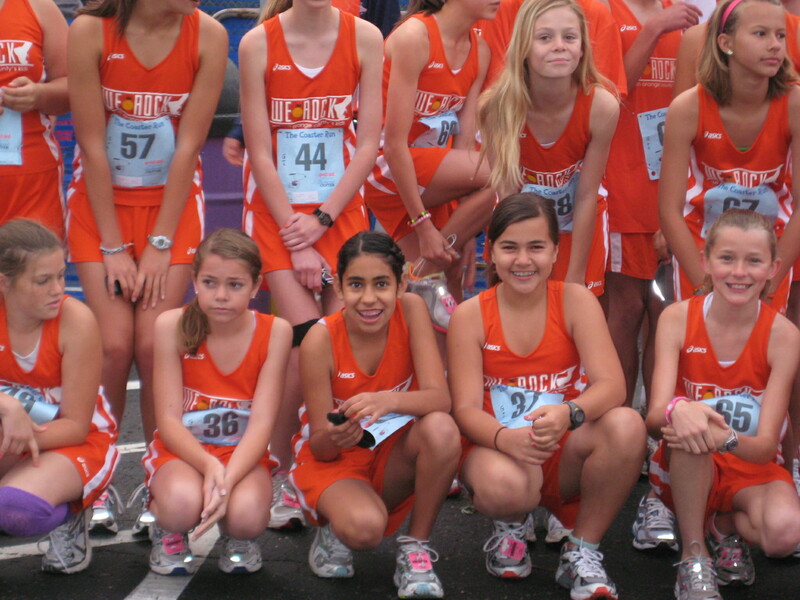 This day will forever be remembered as the VERY first We ROCK race.